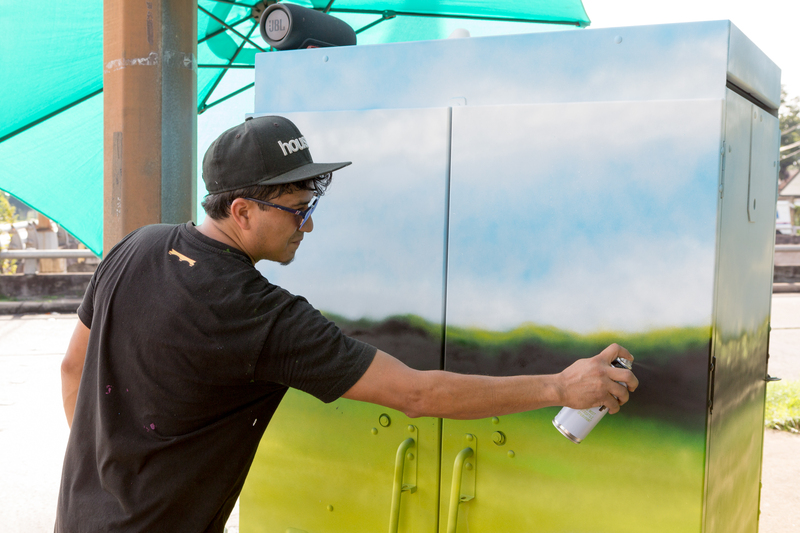 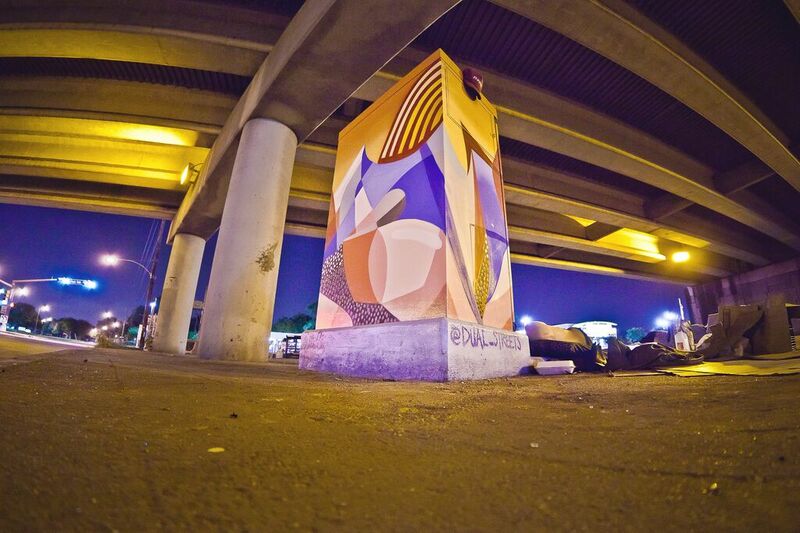 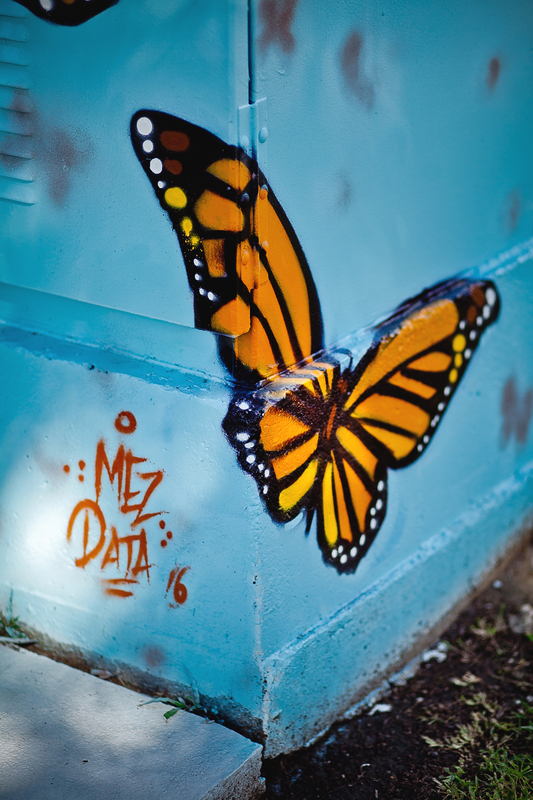 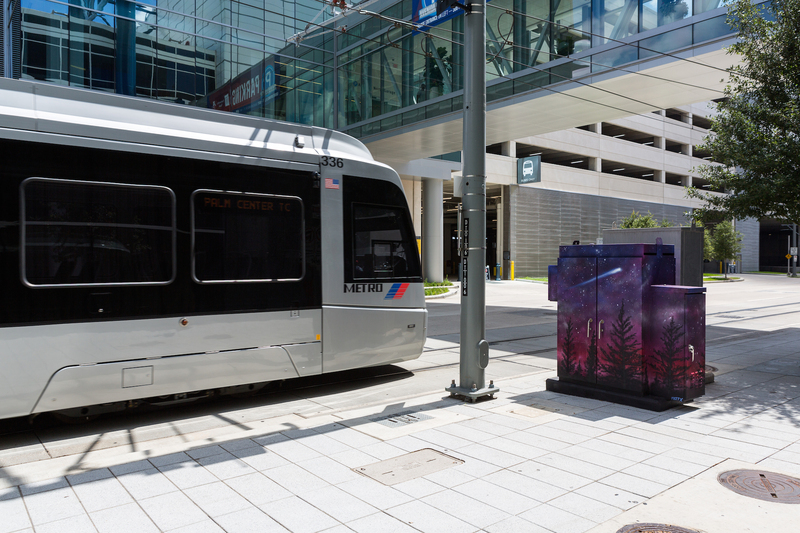 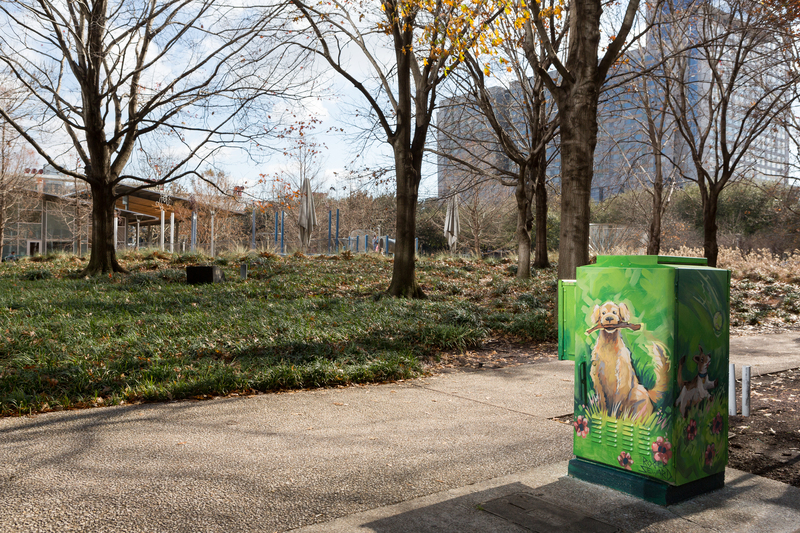 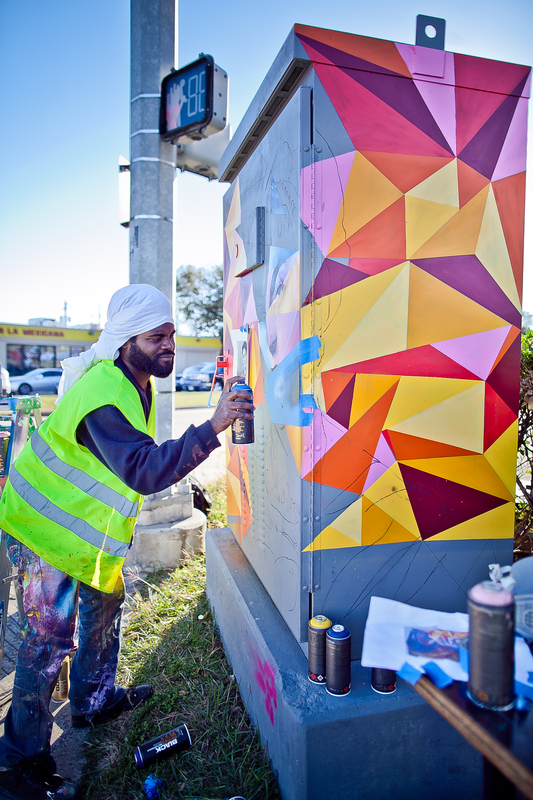 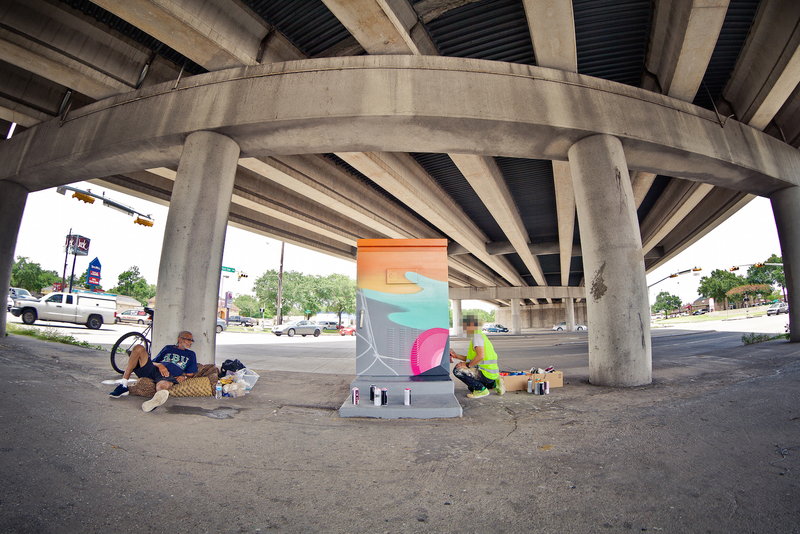 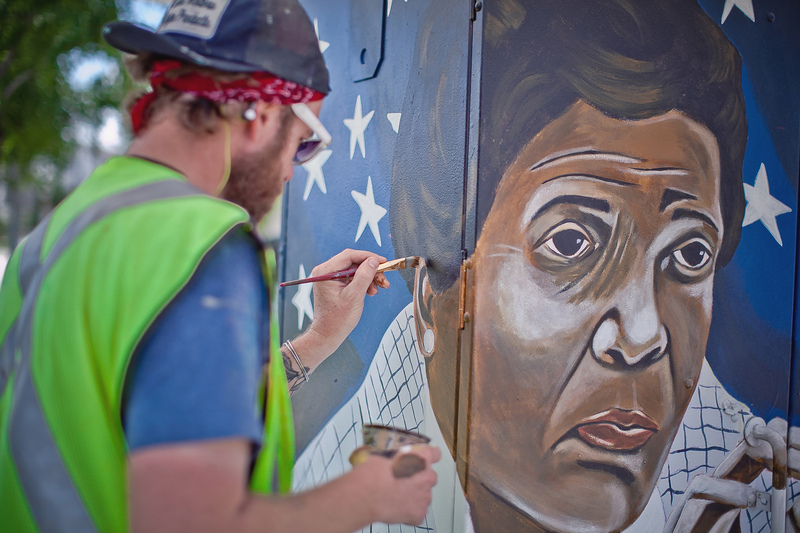 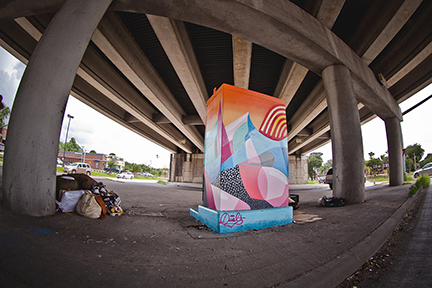 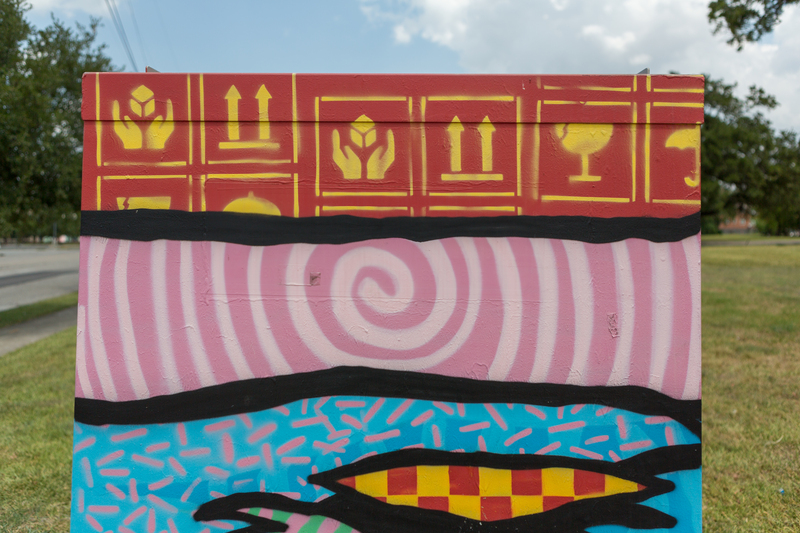 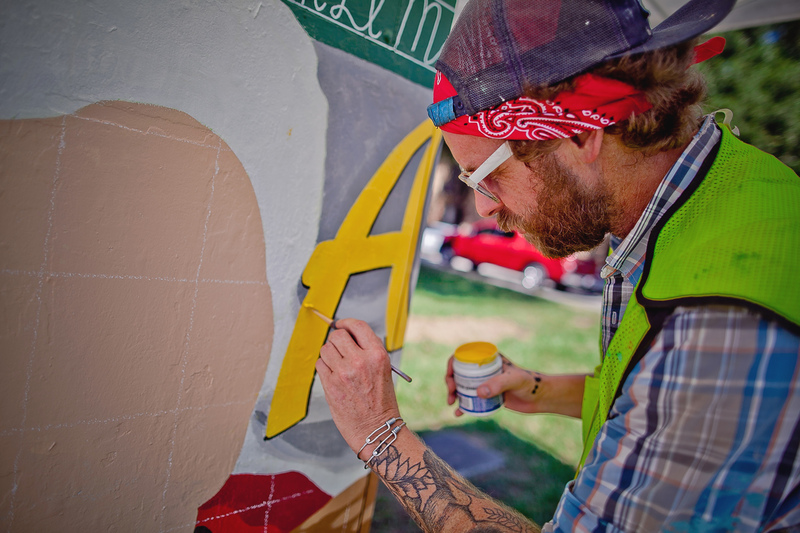 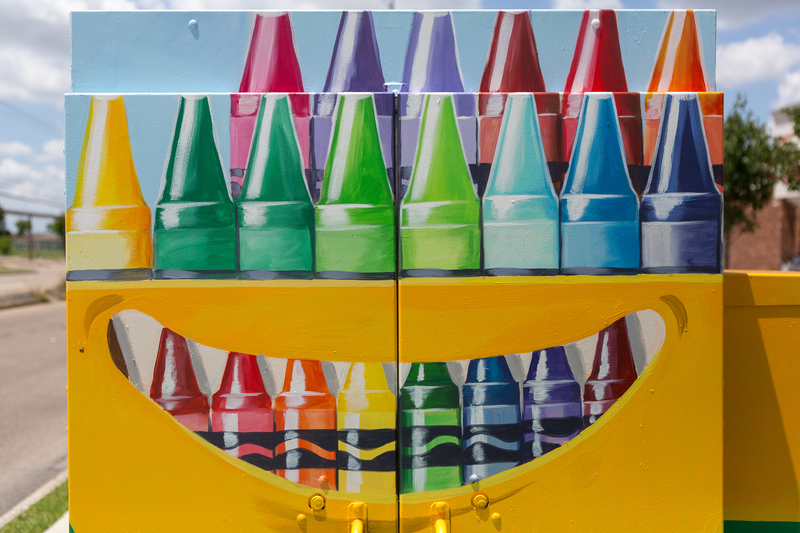 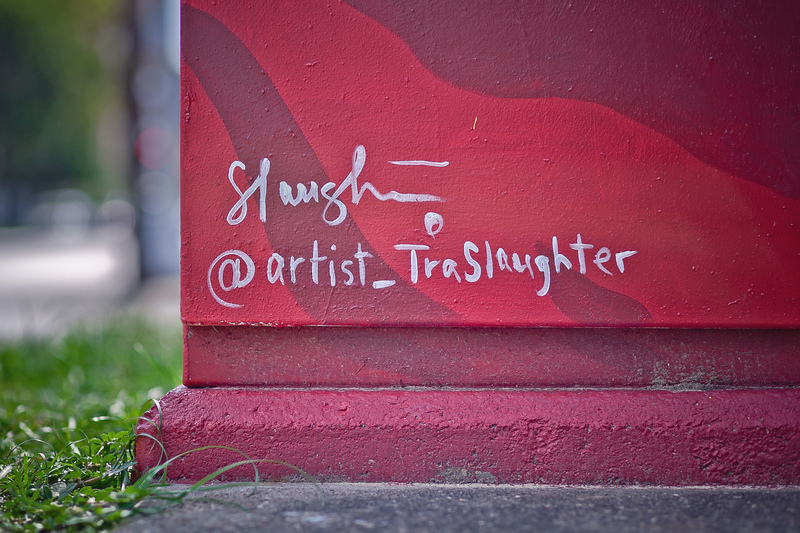 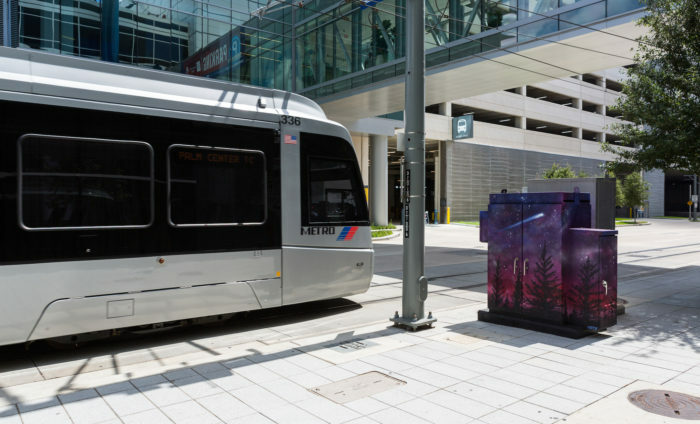 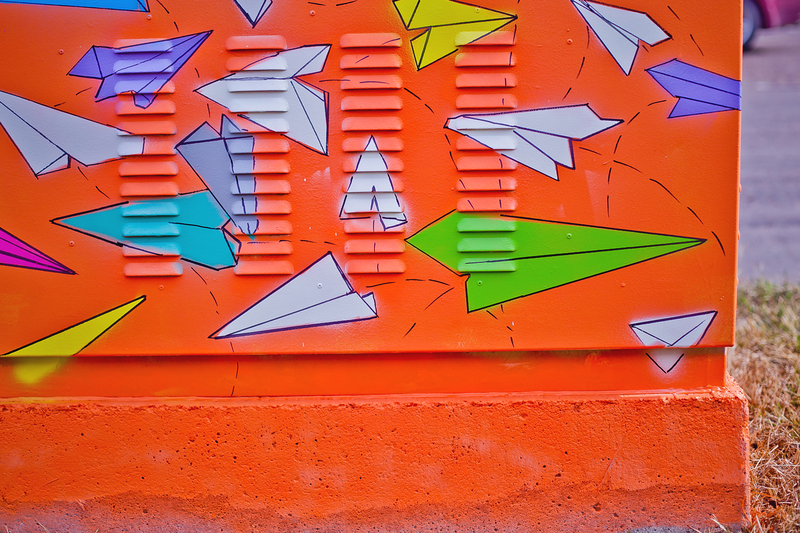 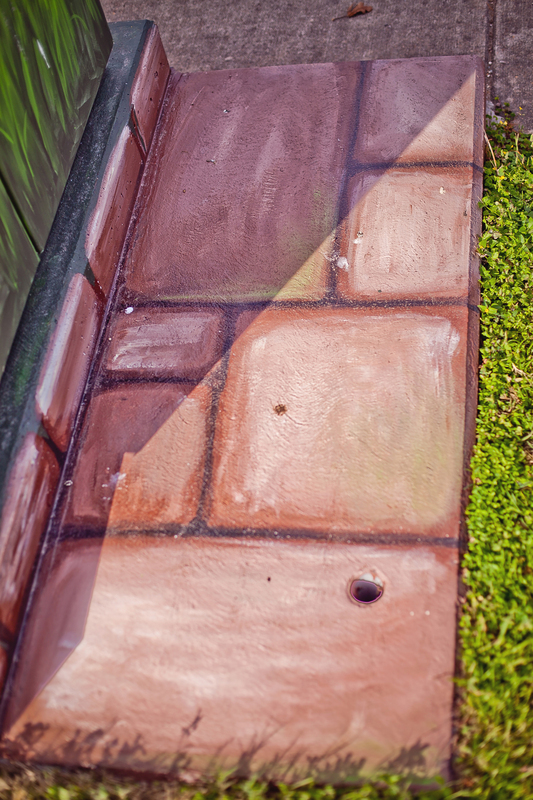 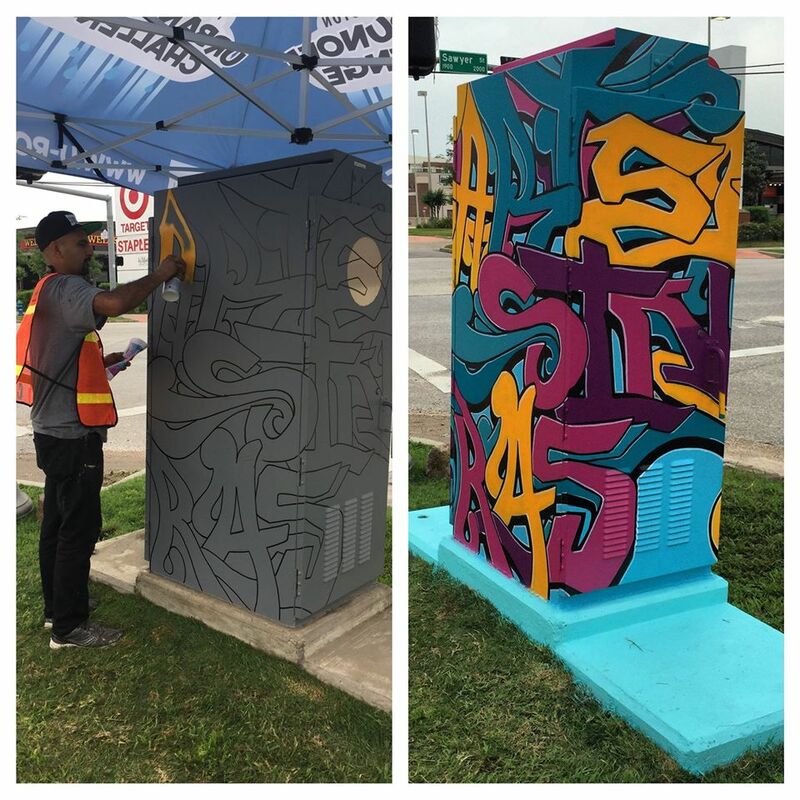 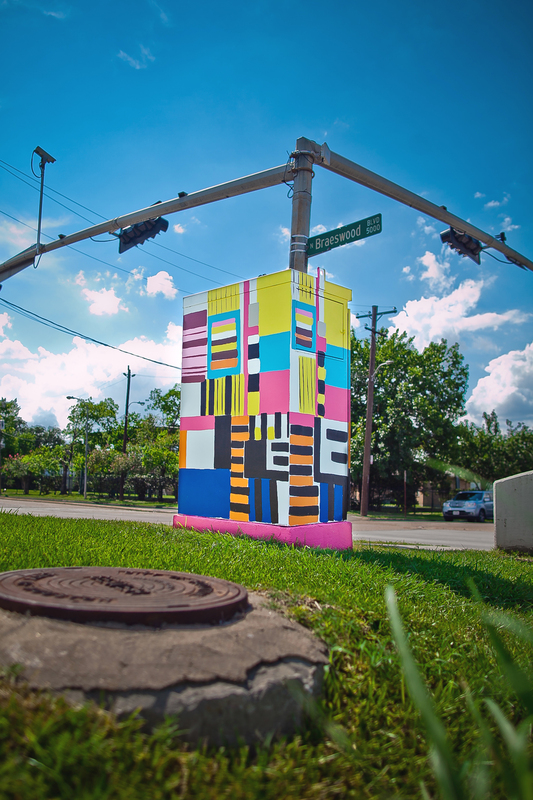 Mini Murals Houston was created by UP Art Studio in 2016, with support from the City of Houston Public Works, Mayor’s Office of Cultural Affairs, Fresh Arts, East End Foundation, and Council Member Larry Green, who sponsored 31 boxes in the pilot phase. 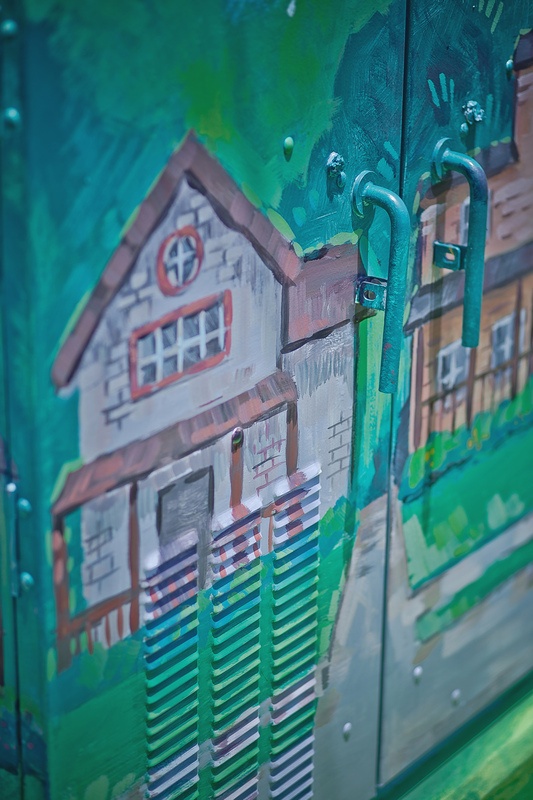 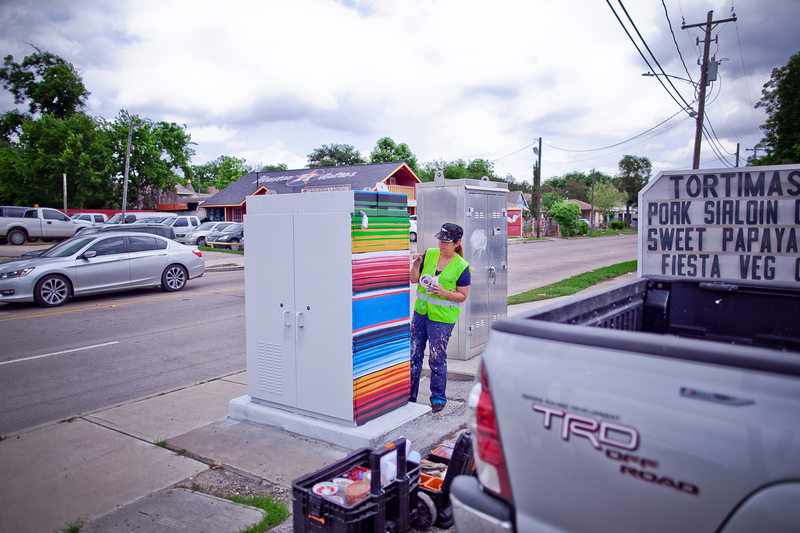 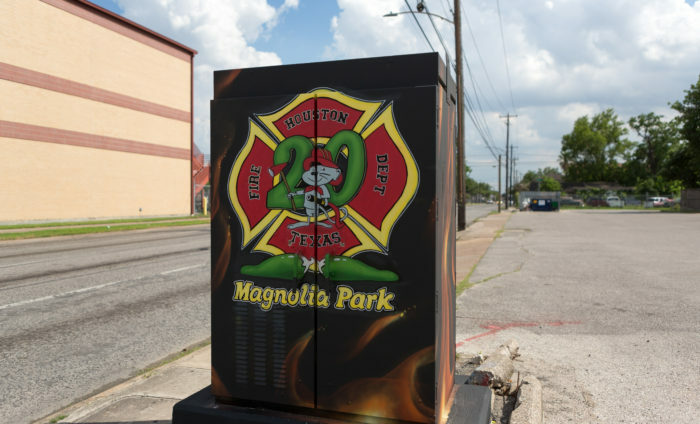 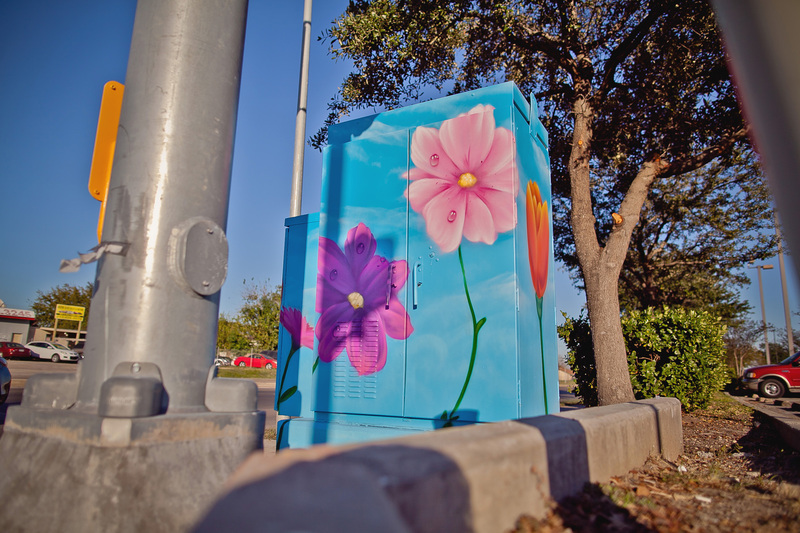 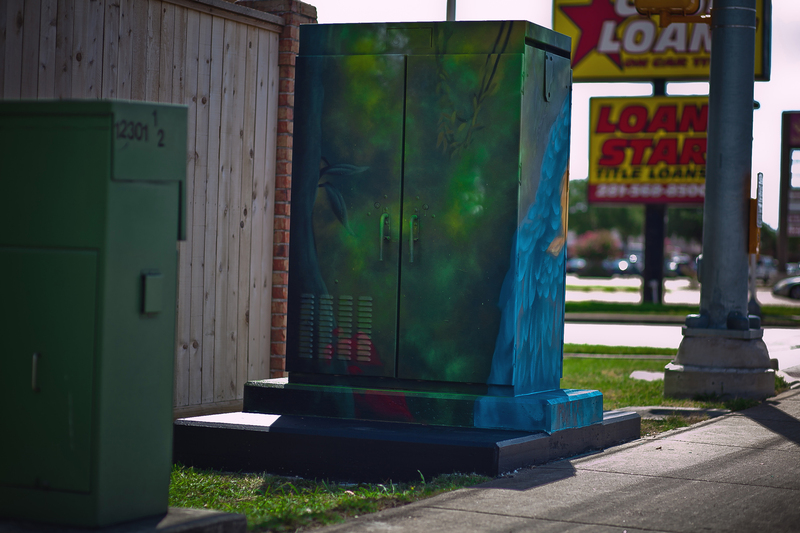 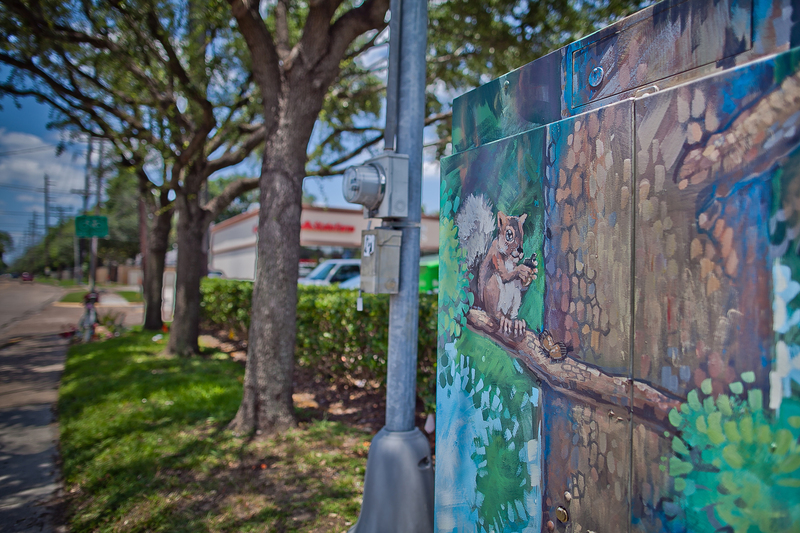 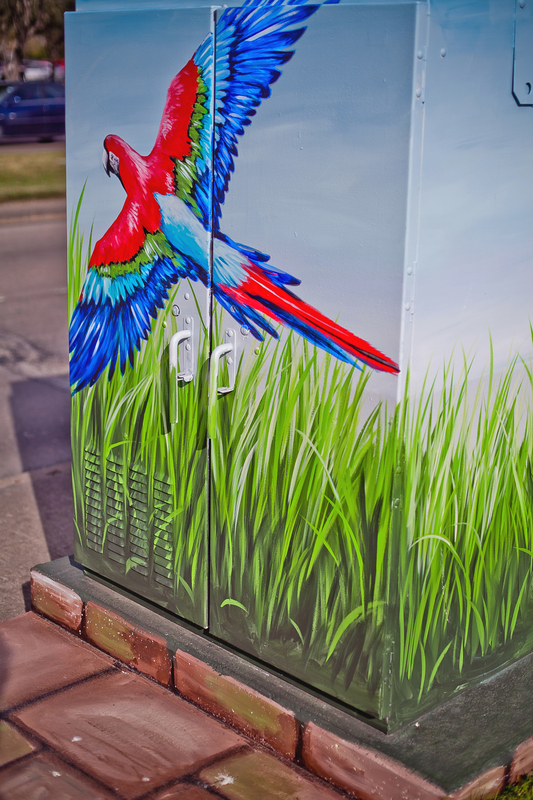 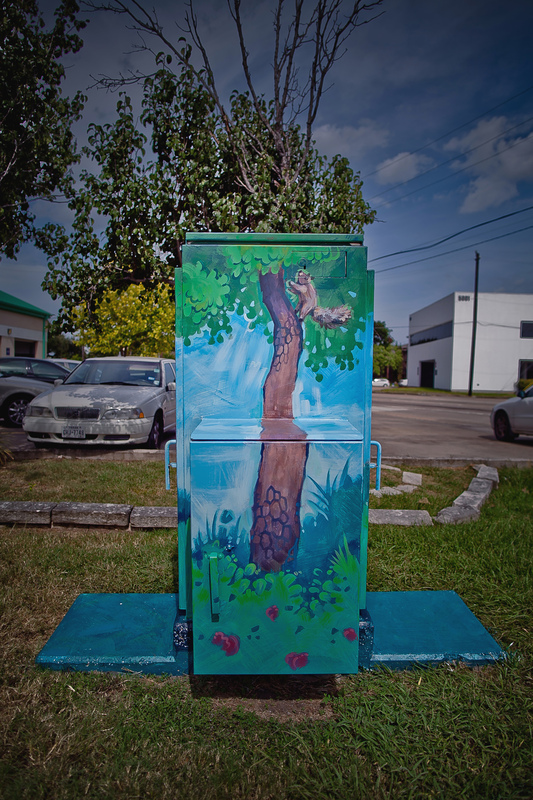 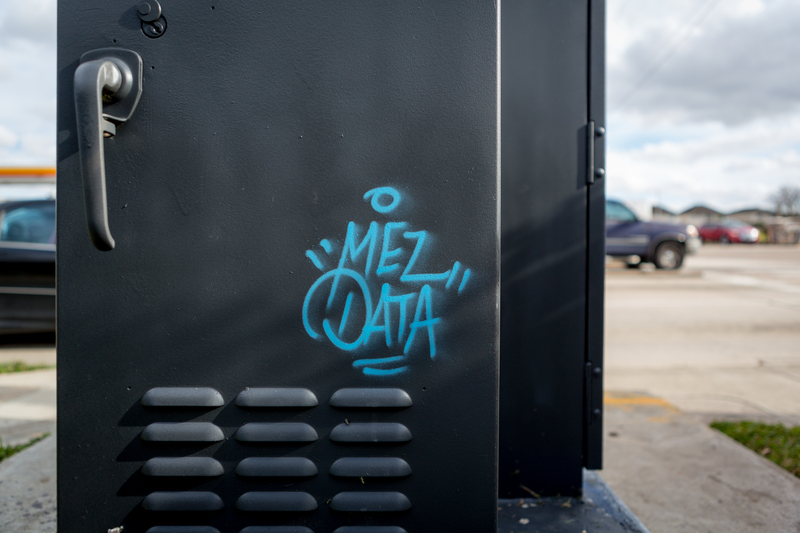 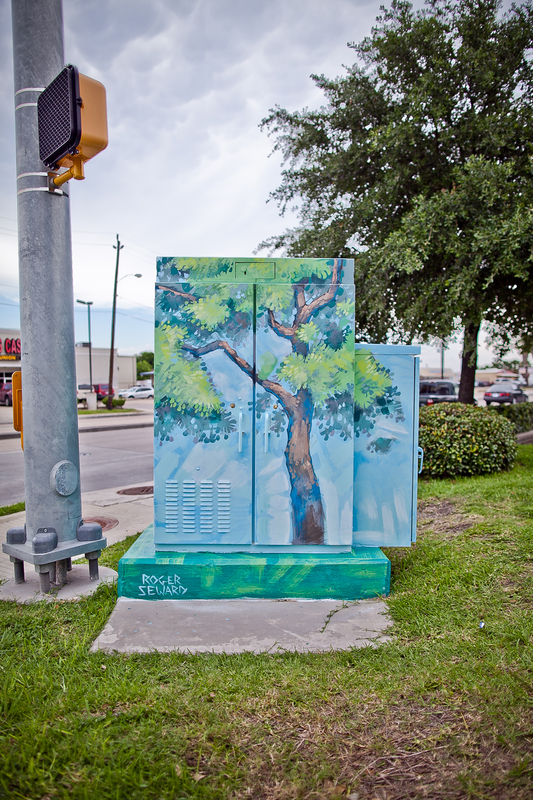 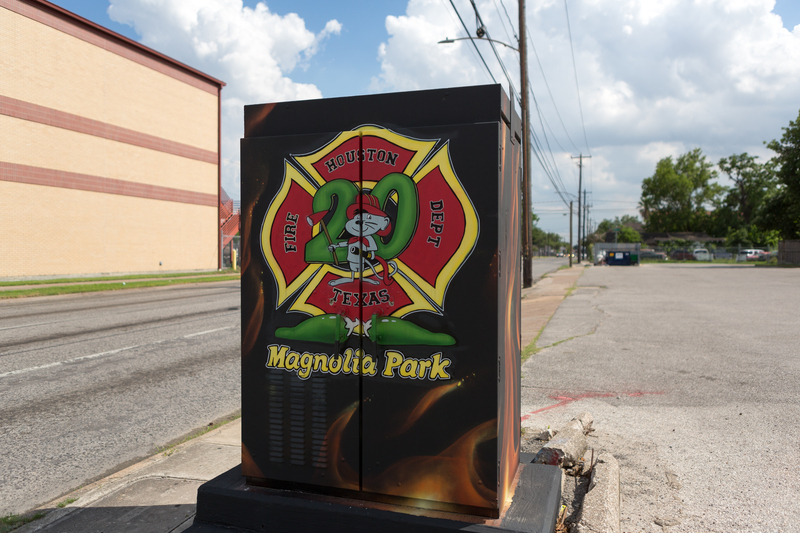 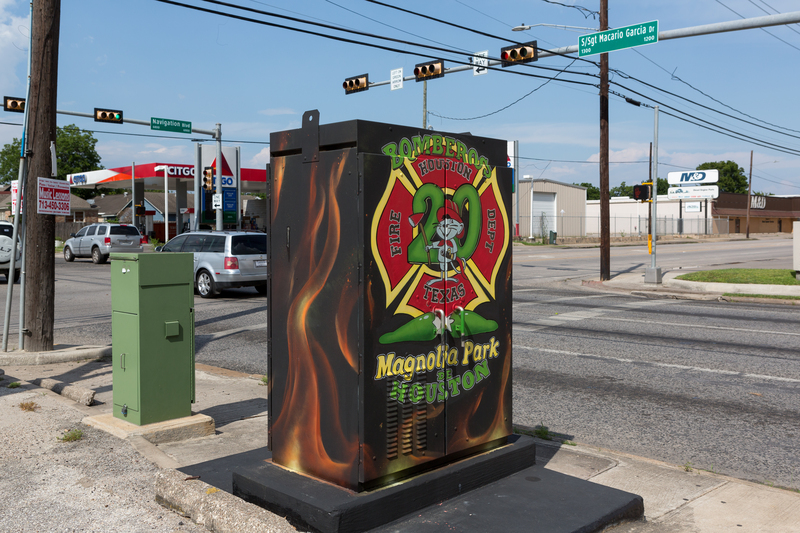 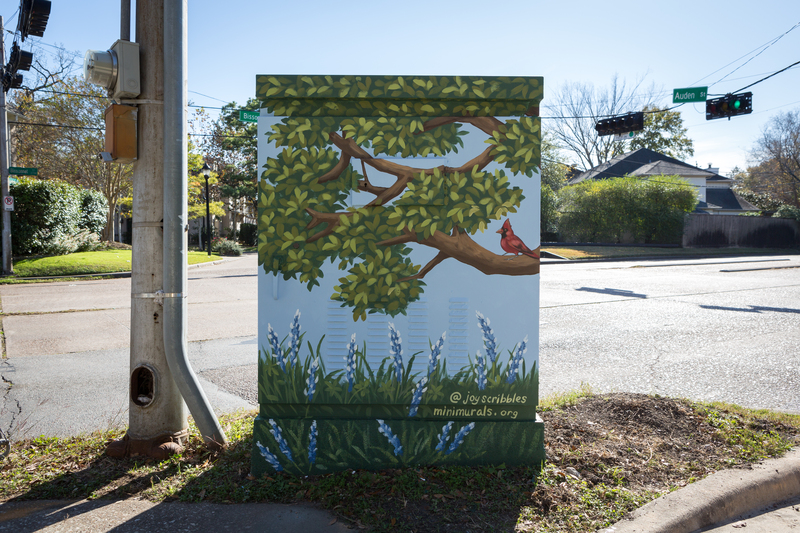 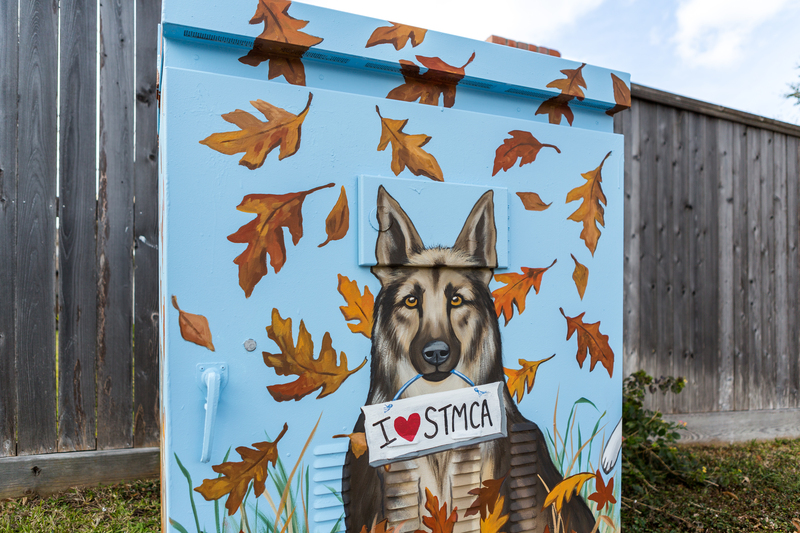 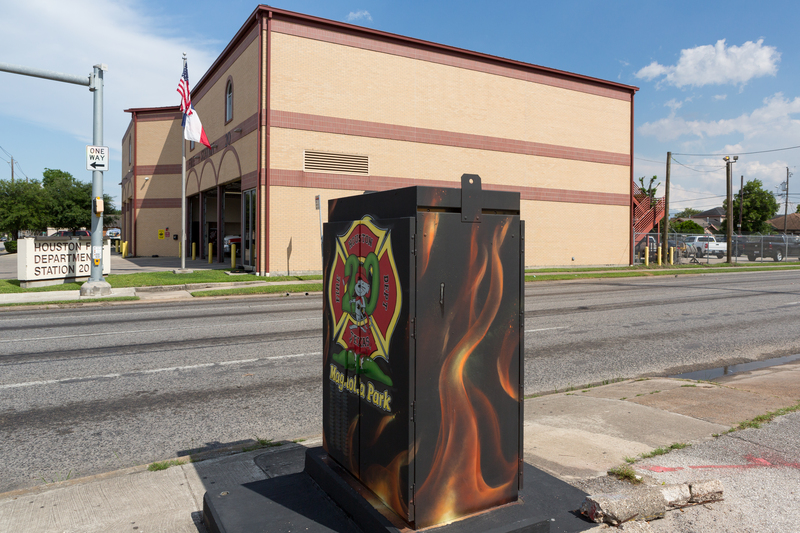 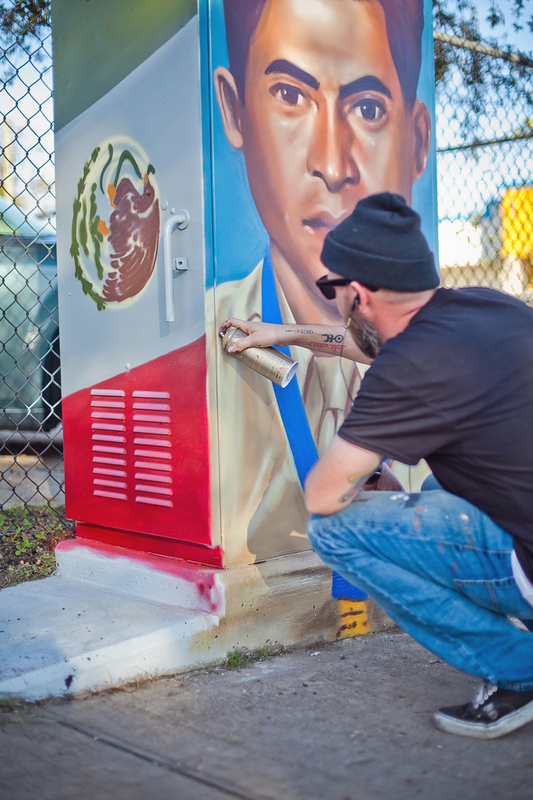 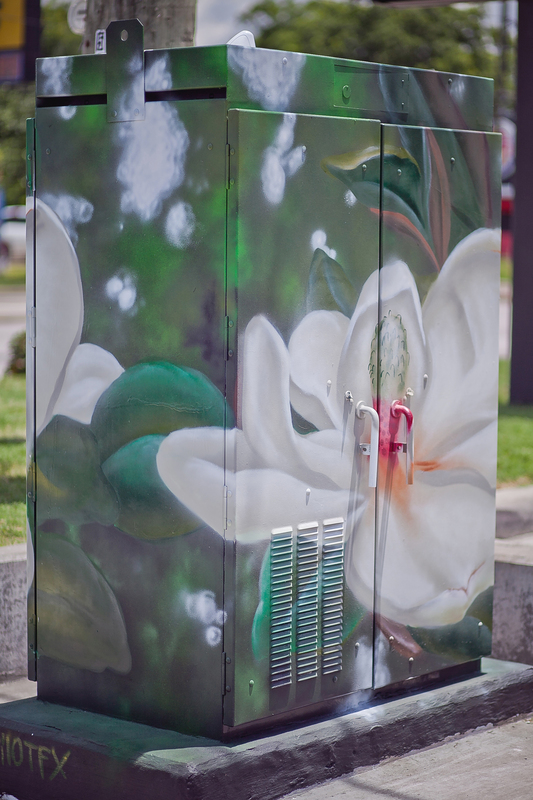 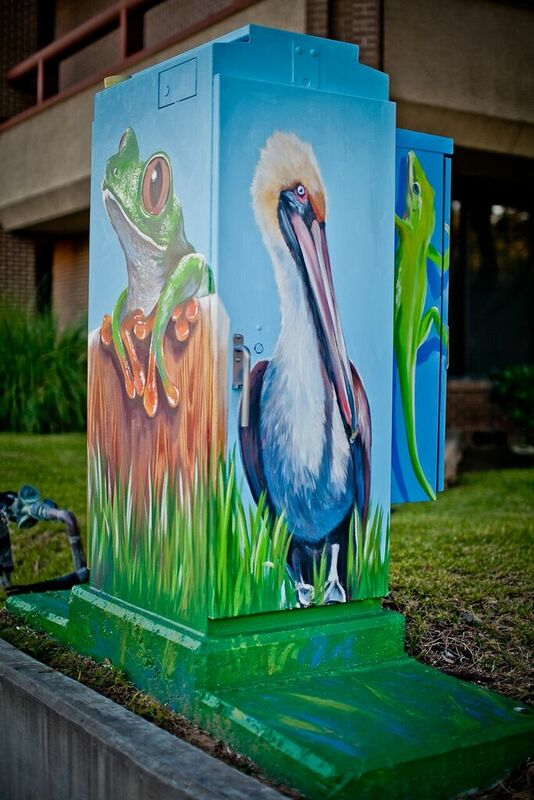 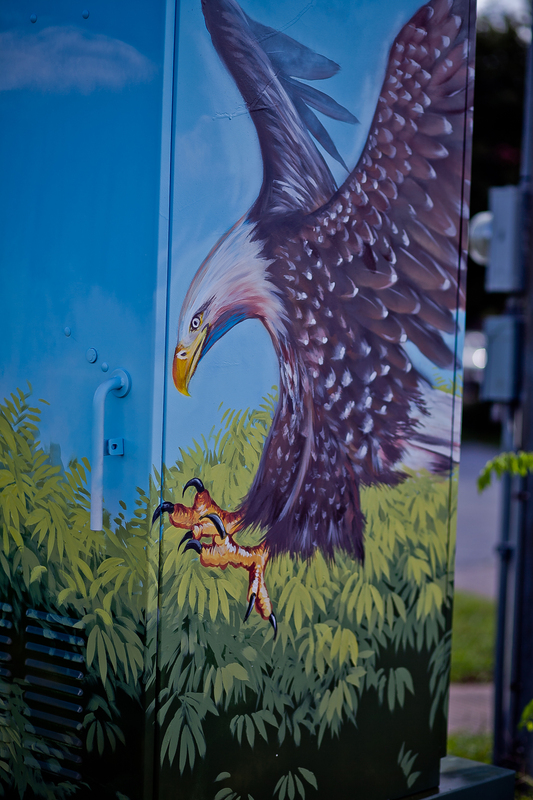 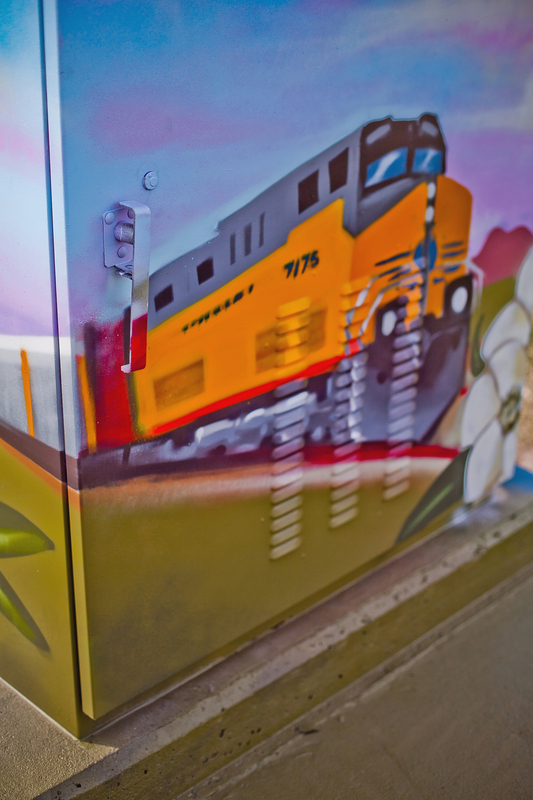 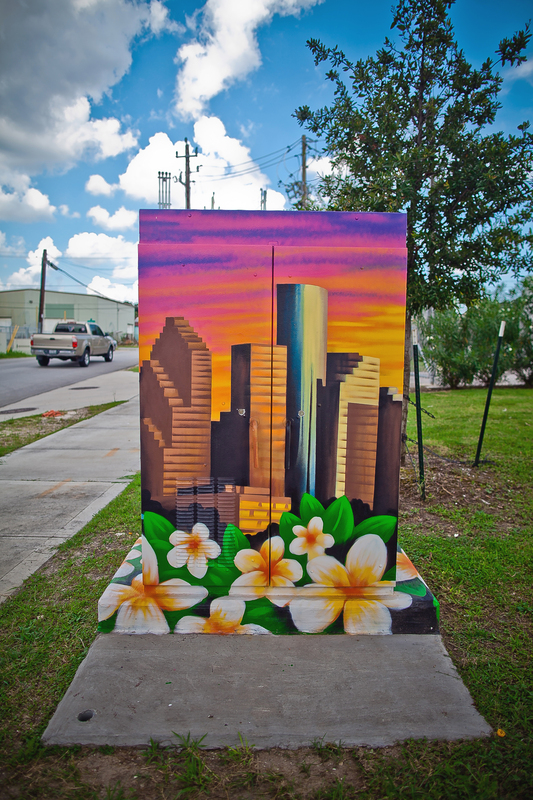 Mini Murals Houston has grown to more than 200 painted traffic signal control cabinets throughout the greater metropolitan area. 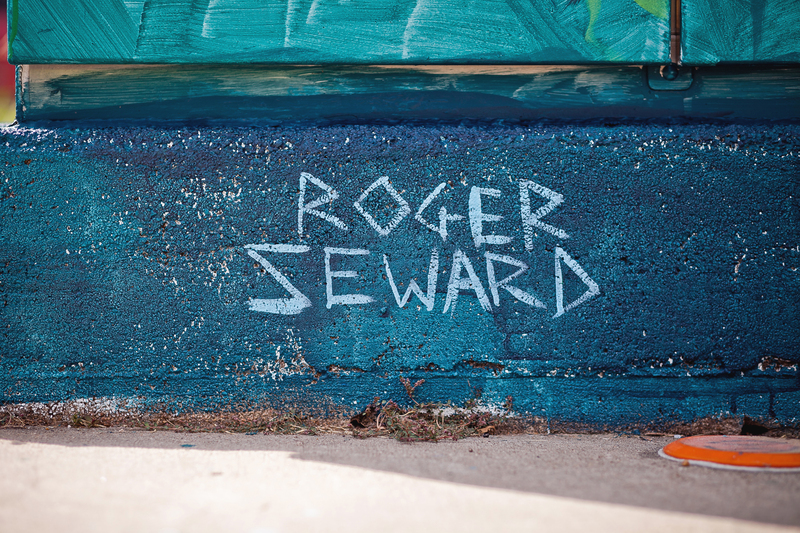 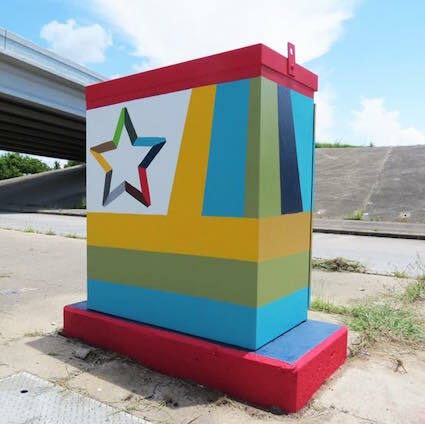 The project has won several awards, and has been sponsored by council members, management districts, neighborhood associations, organizations, corporations, grants, and others sources, making the project a success. 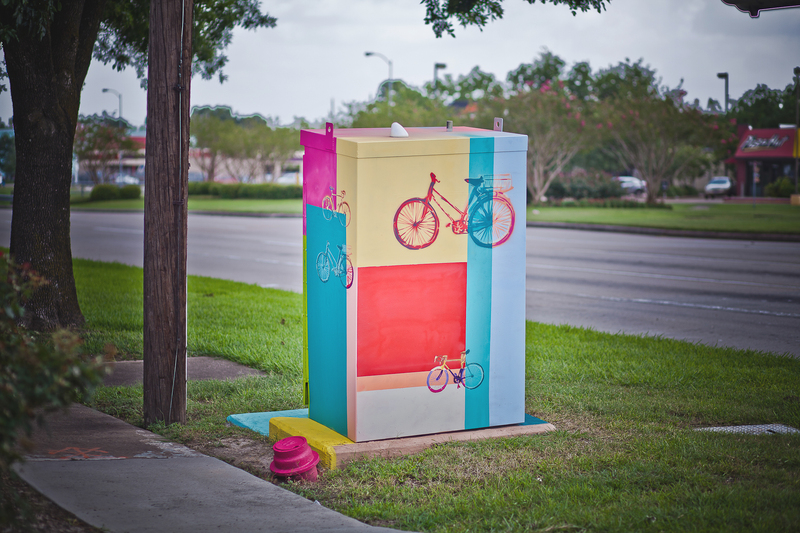 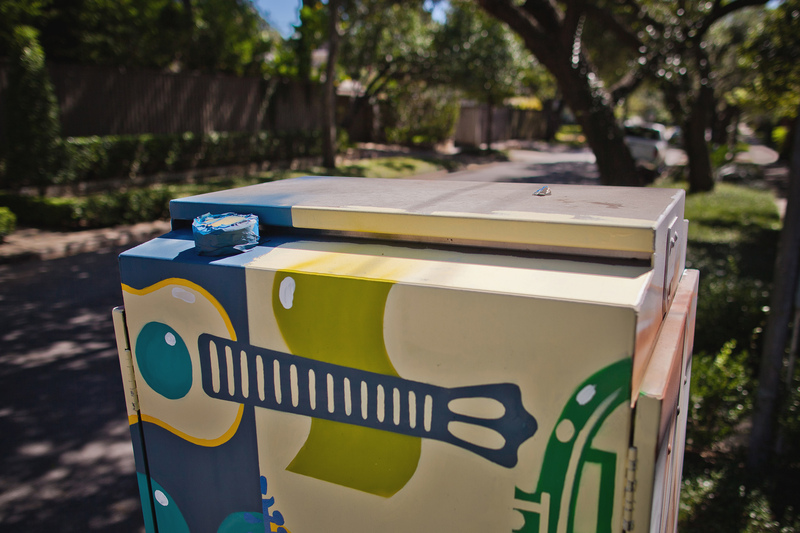 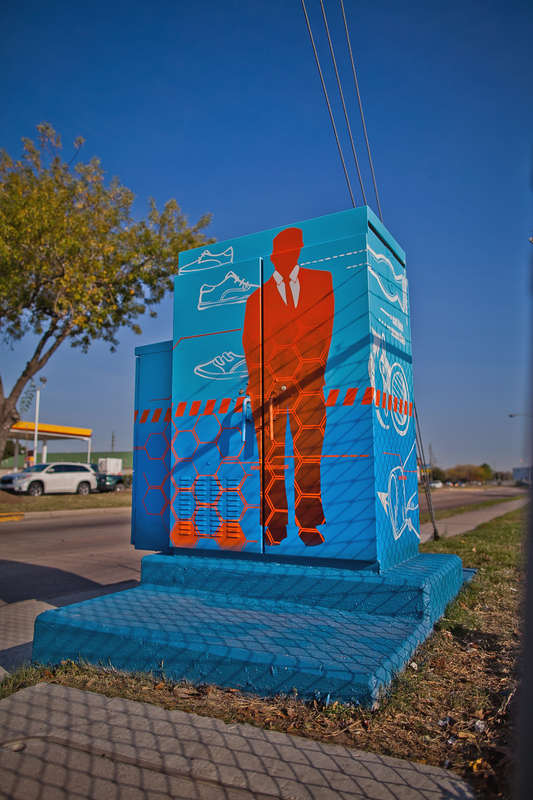 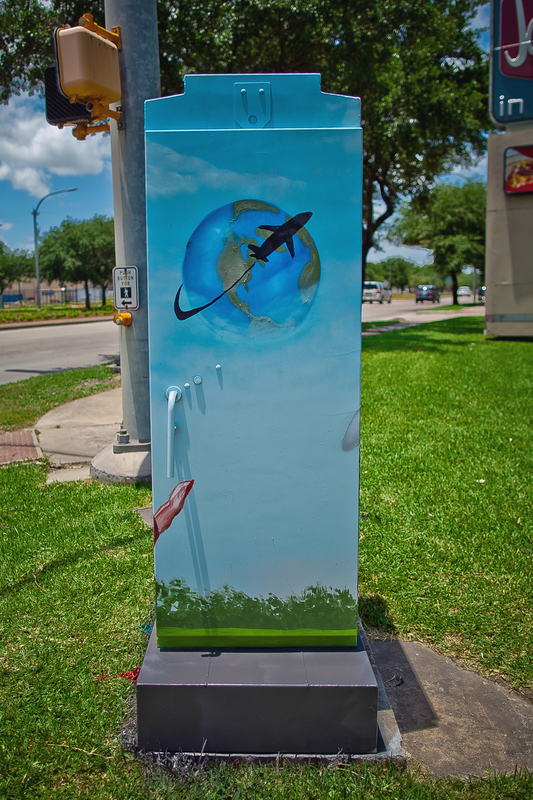 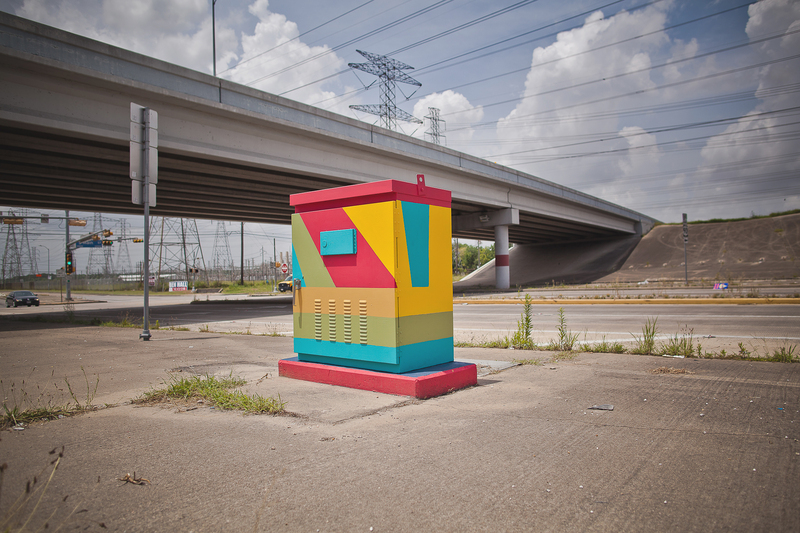 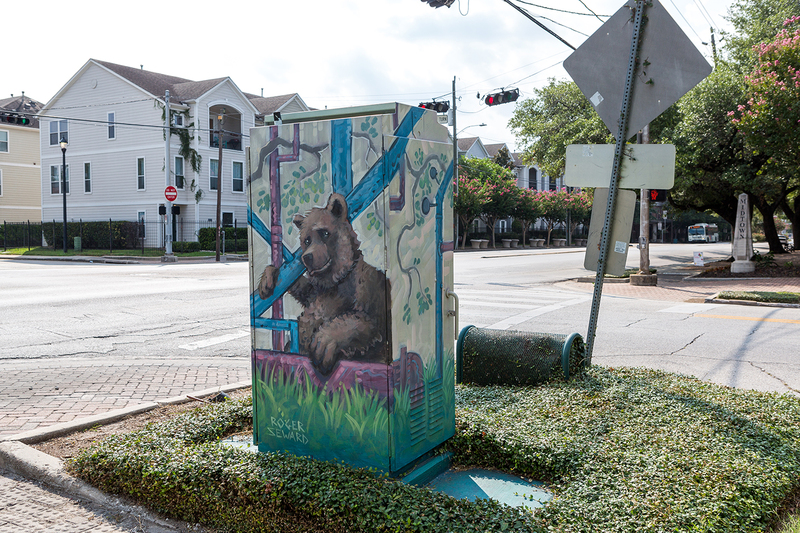 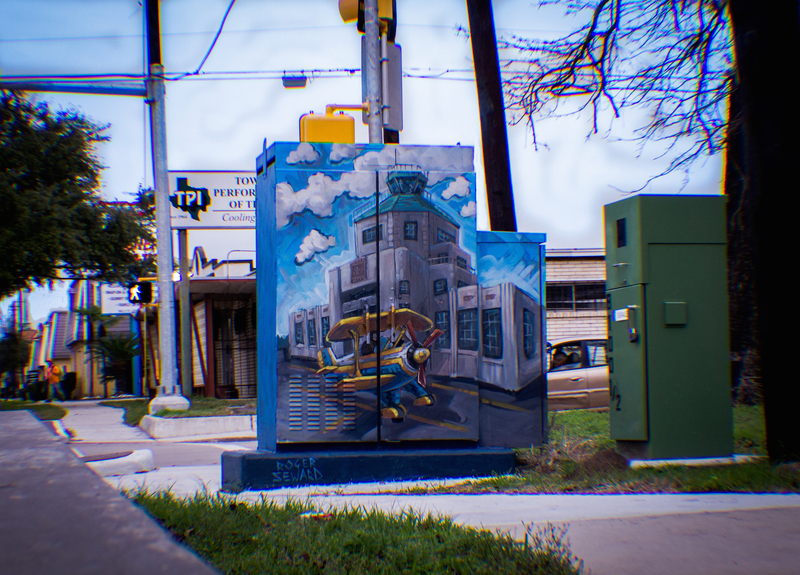 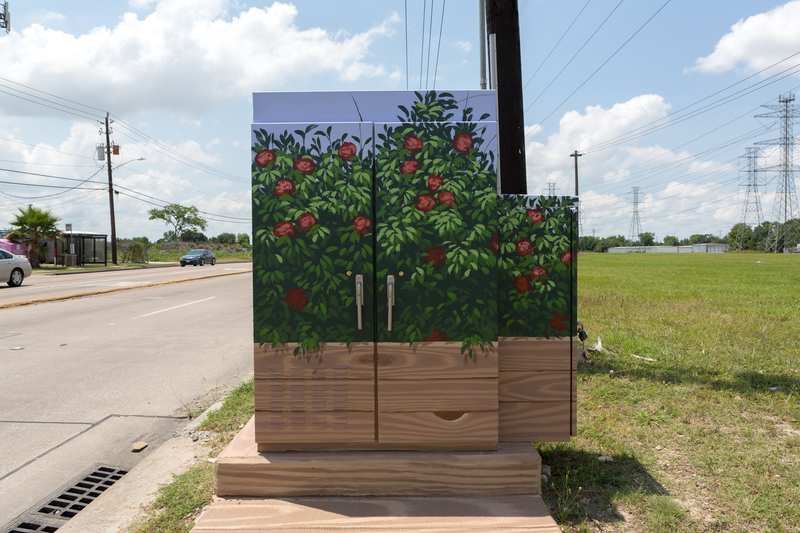 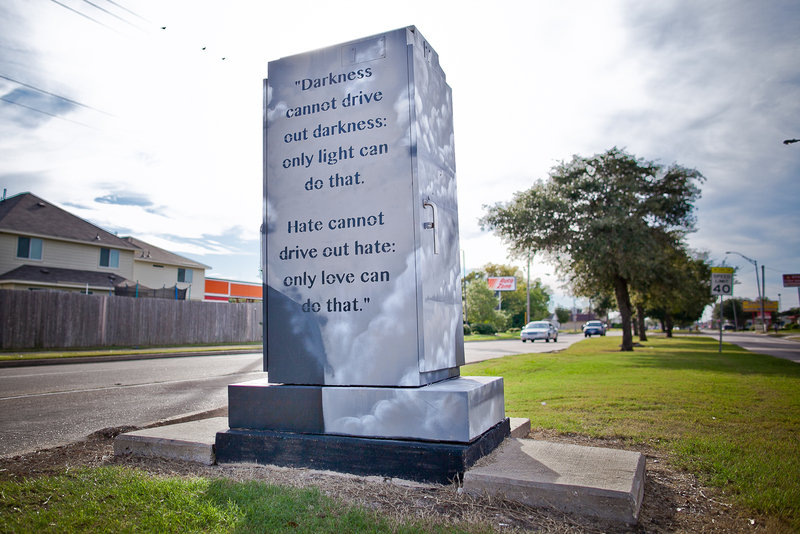 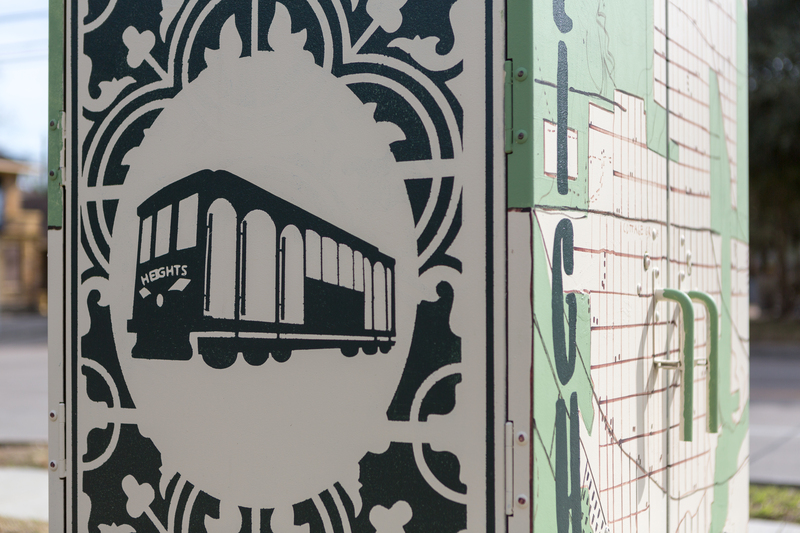 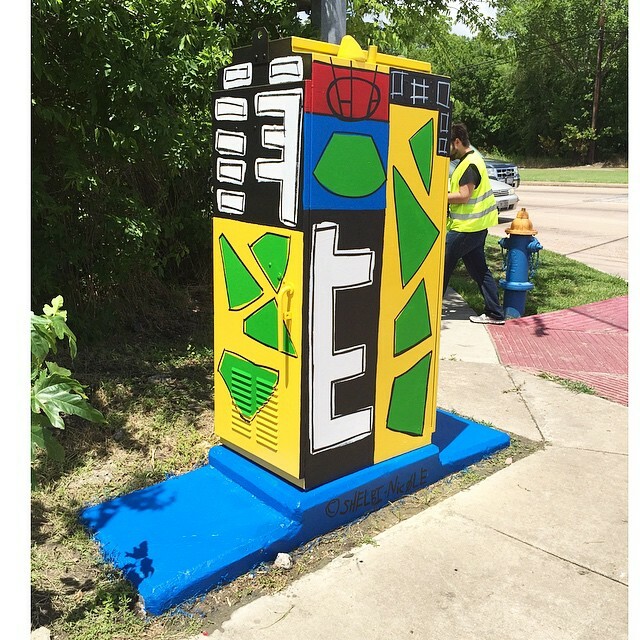 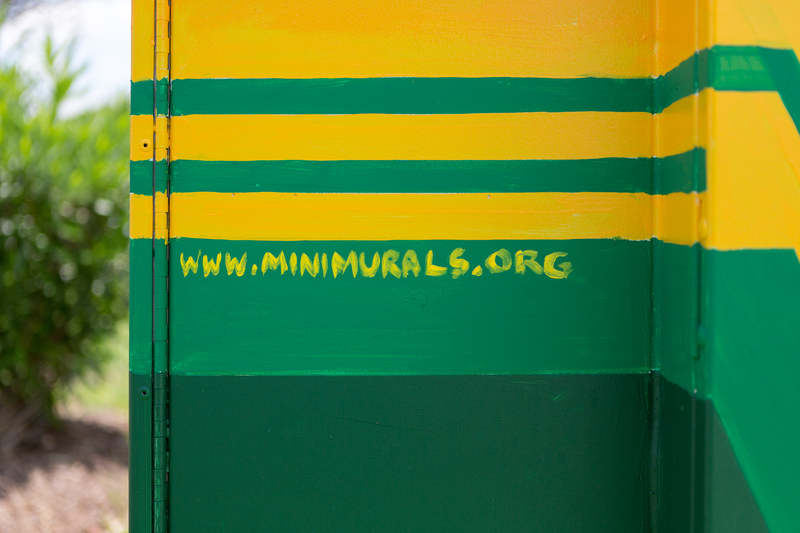 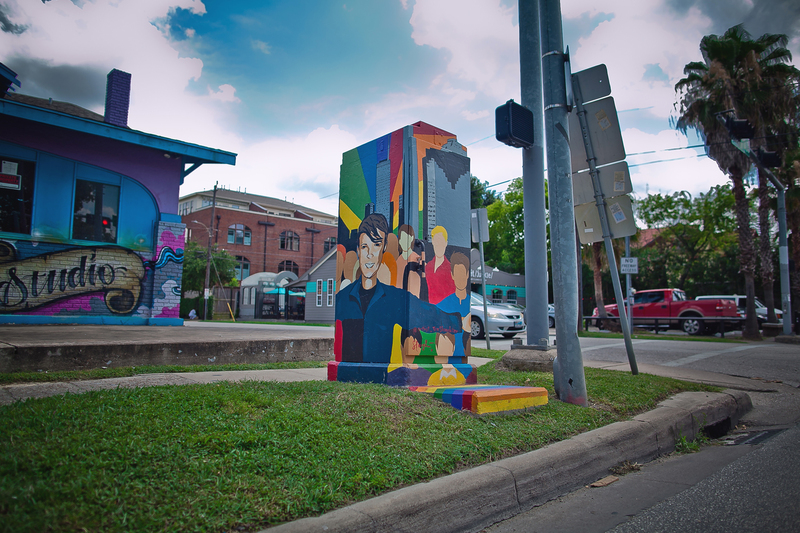 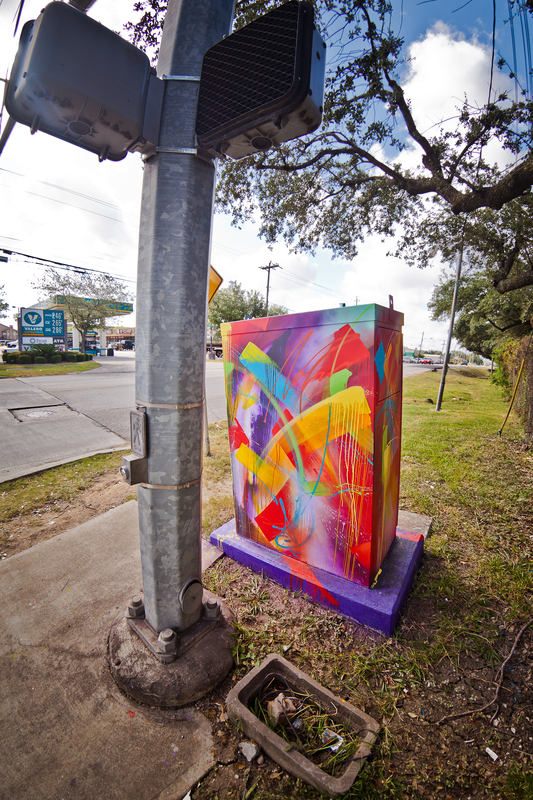 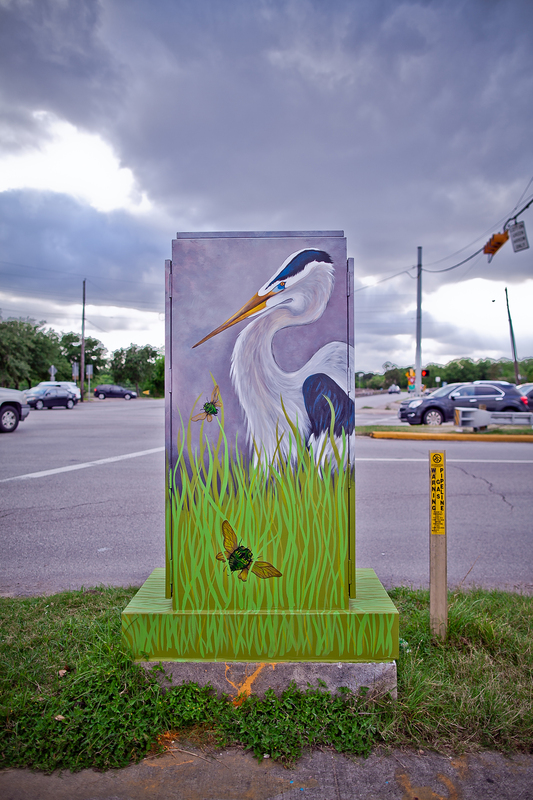 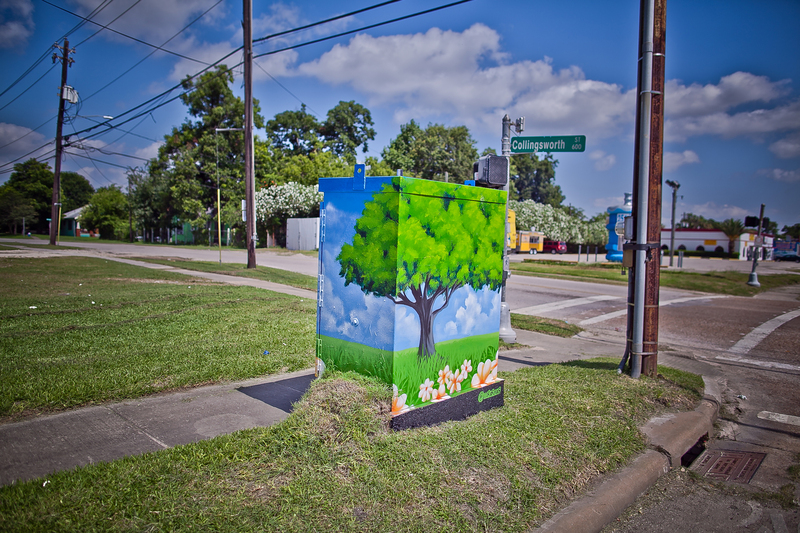 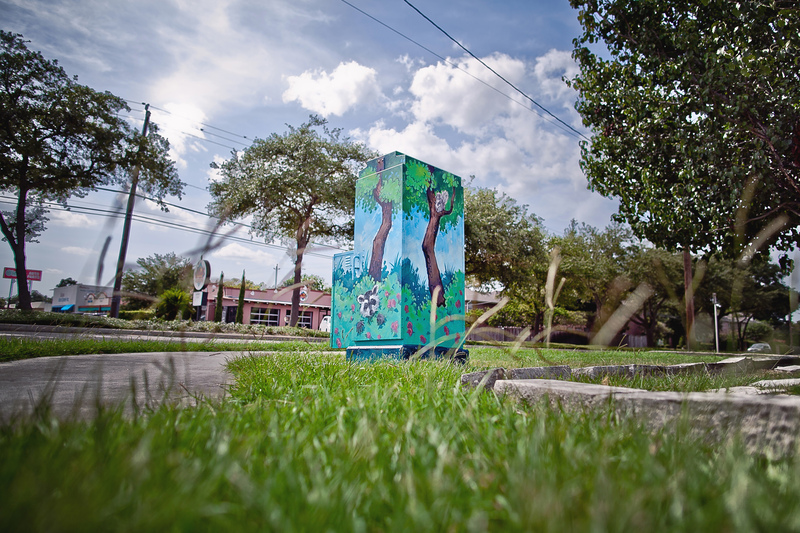 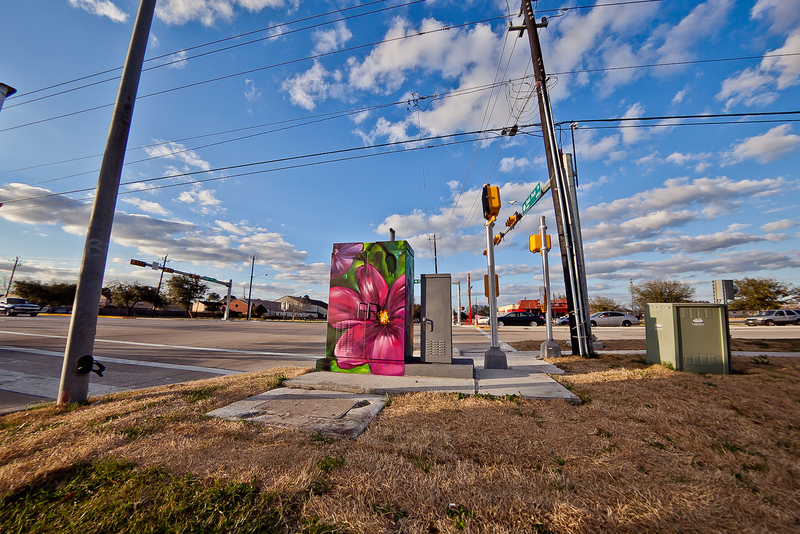 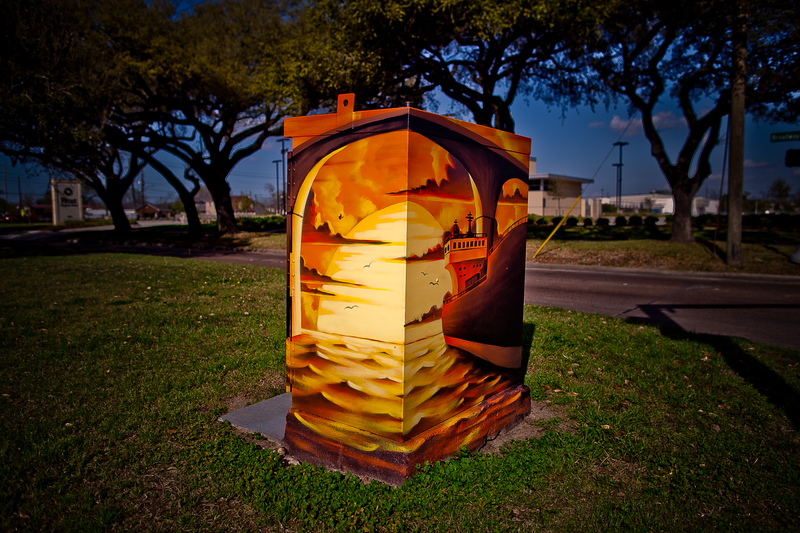 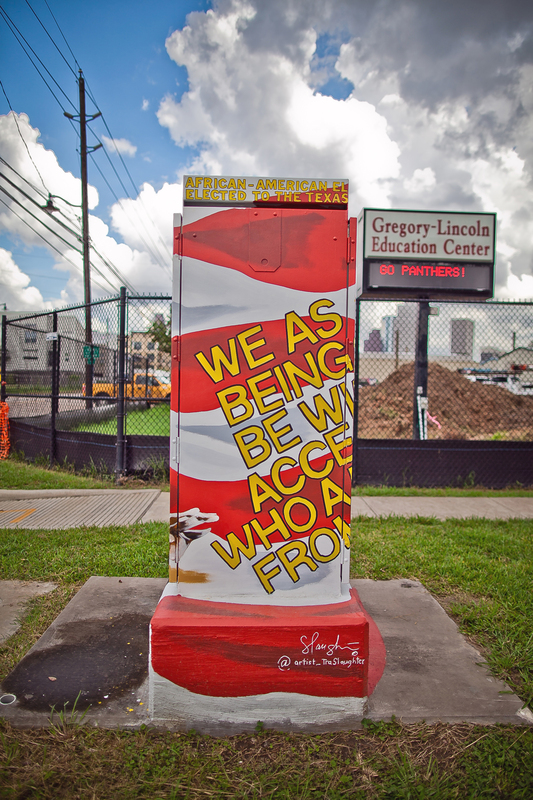 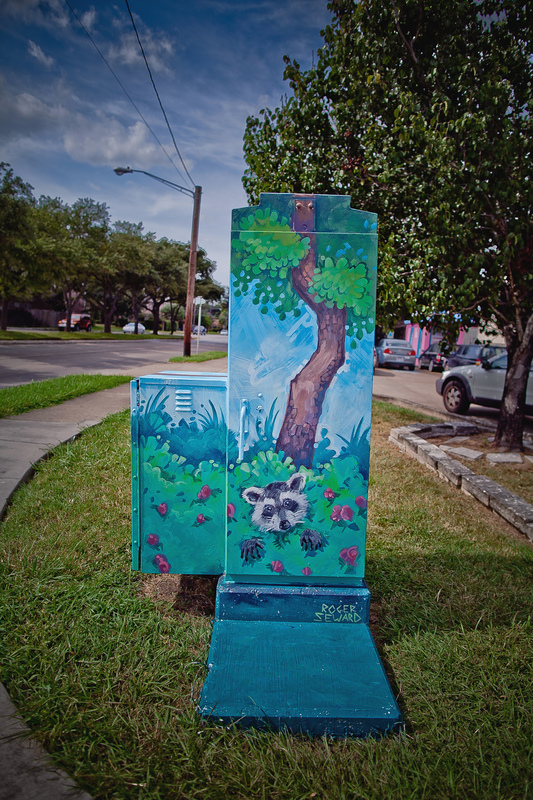 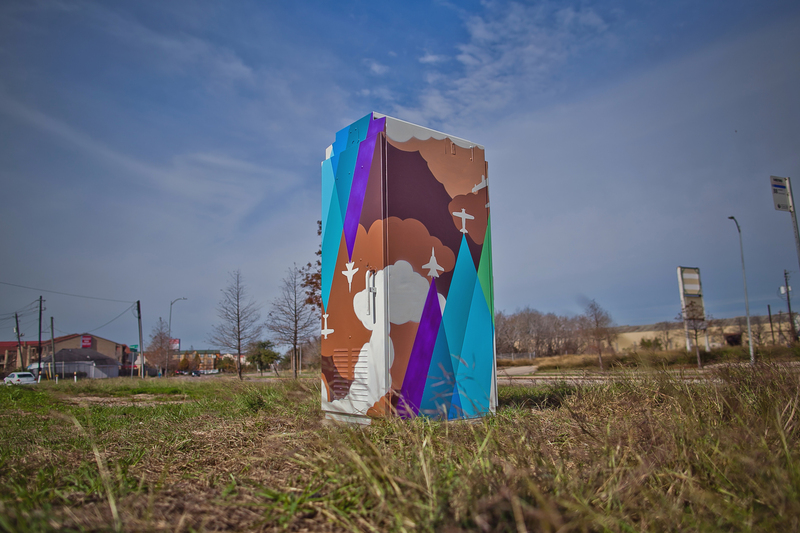 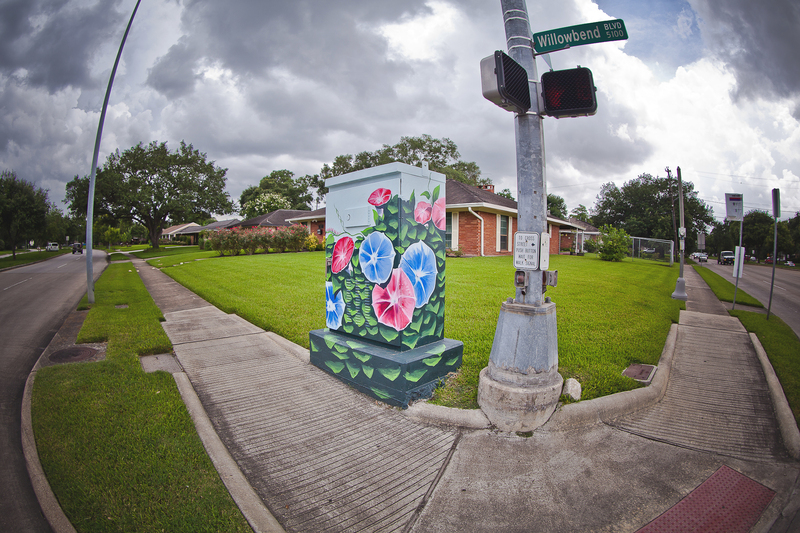 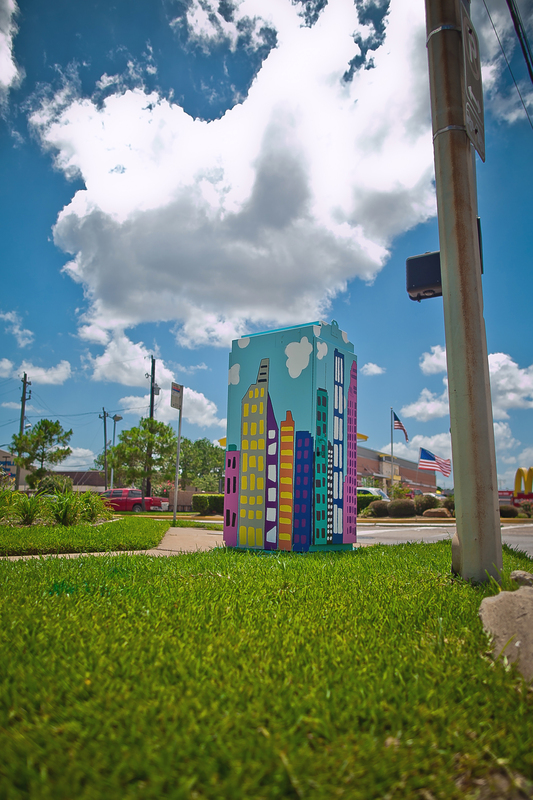 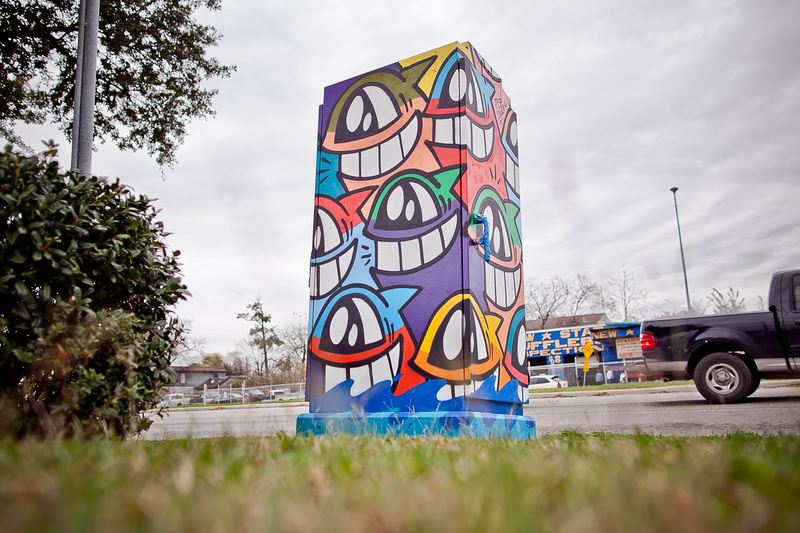 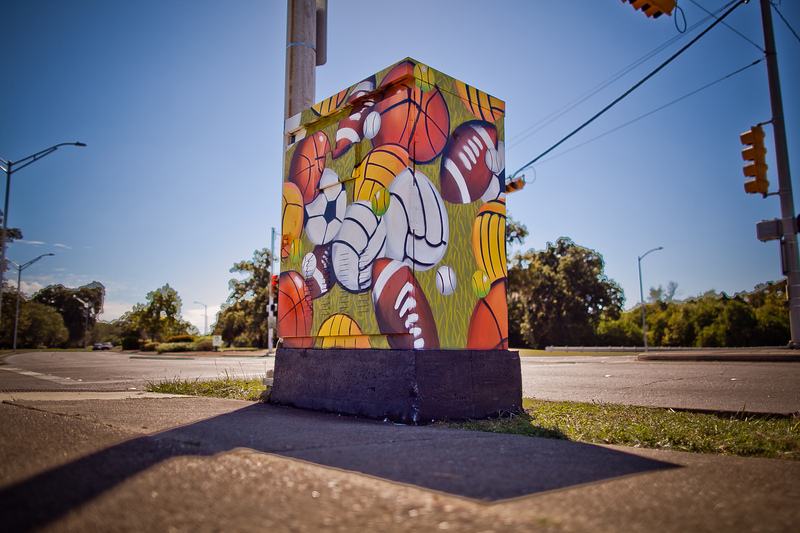 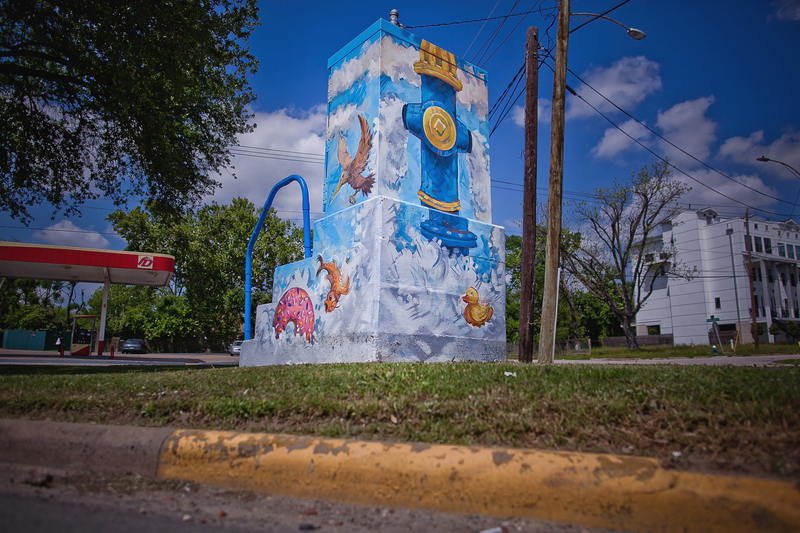 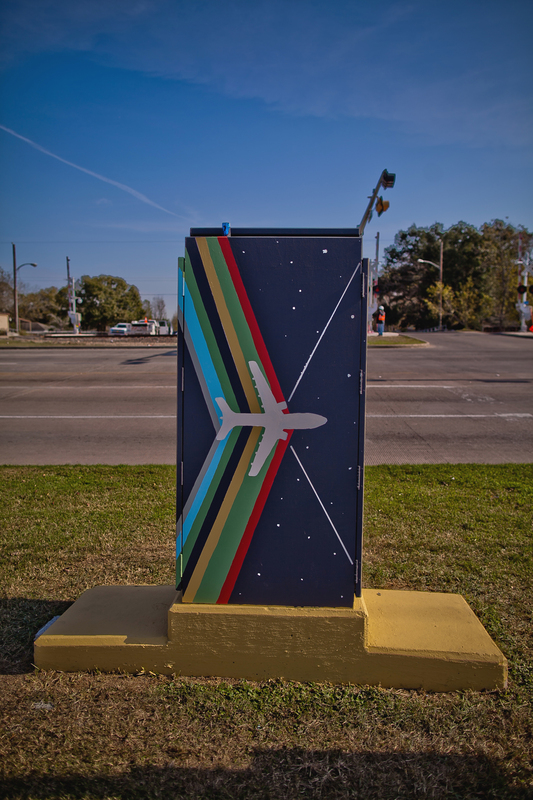 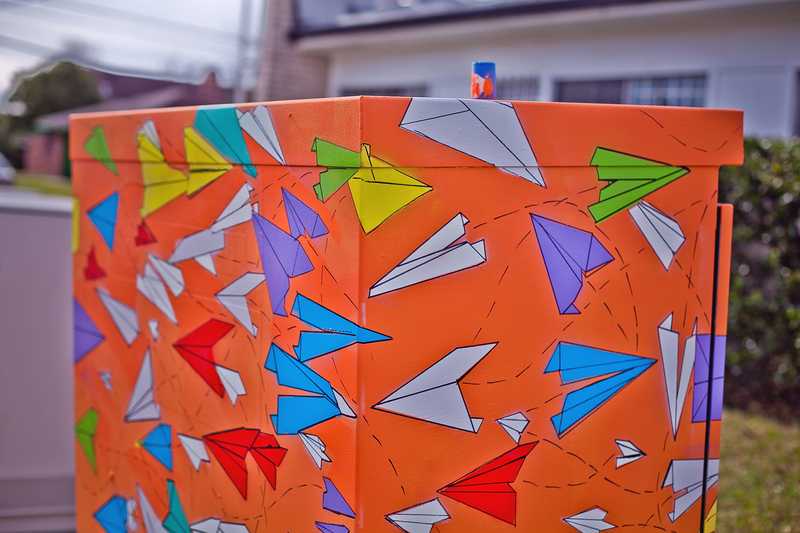 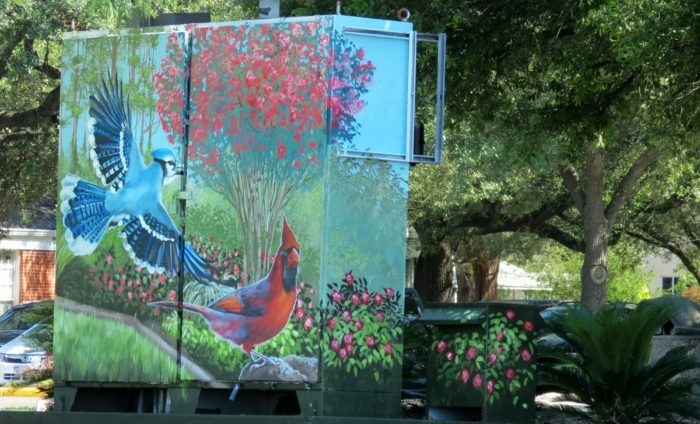 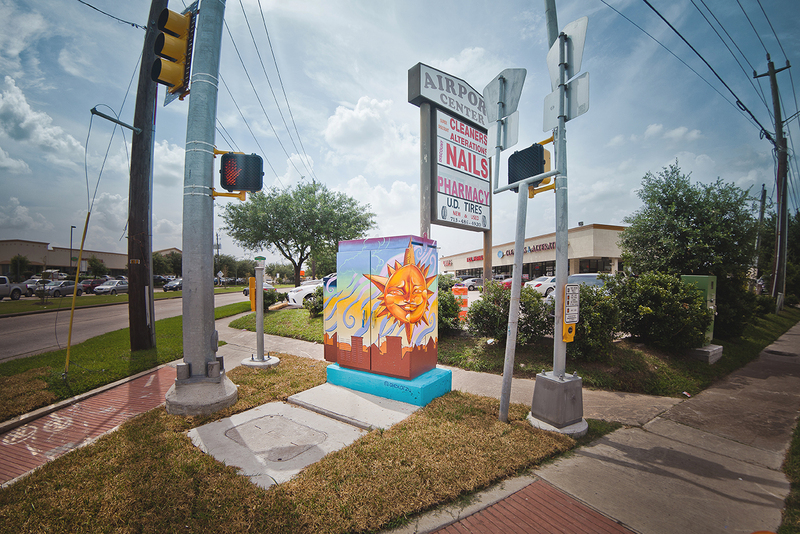 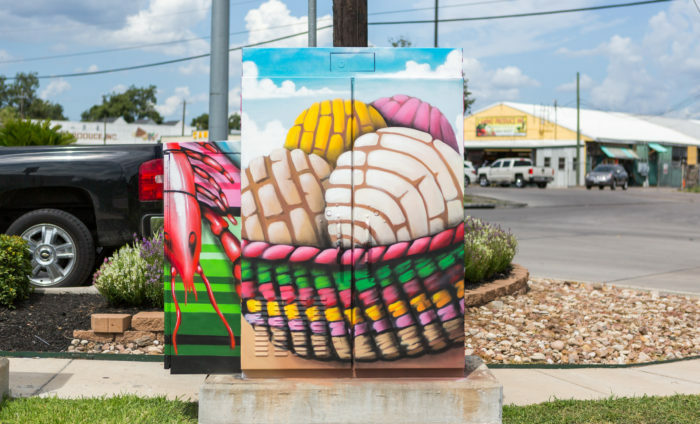 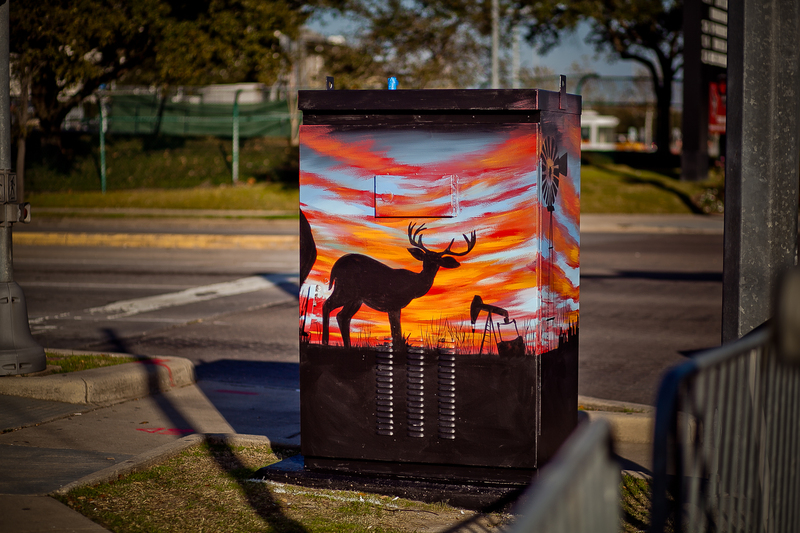 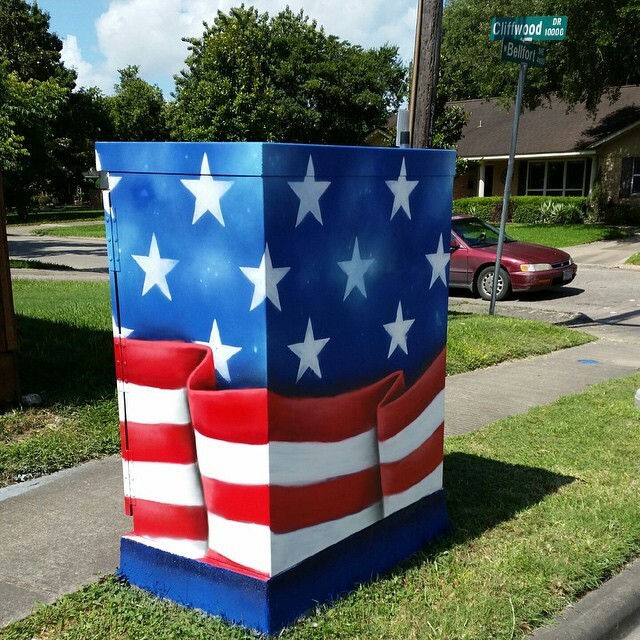 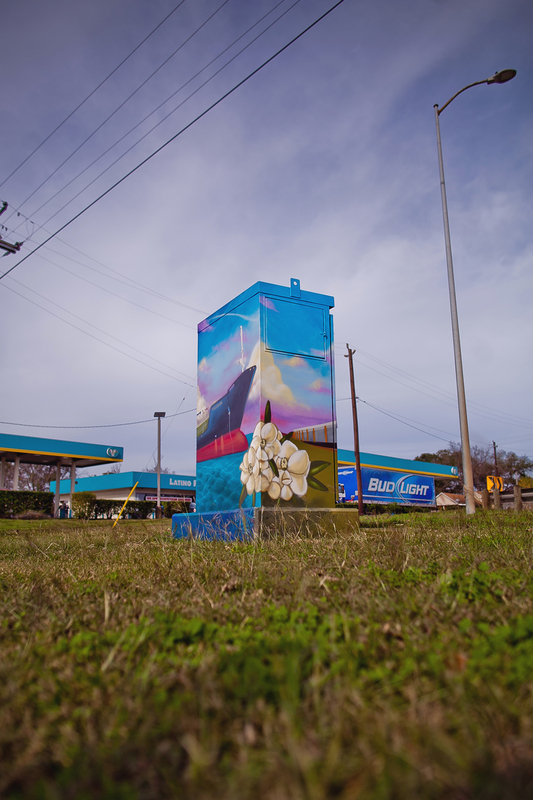 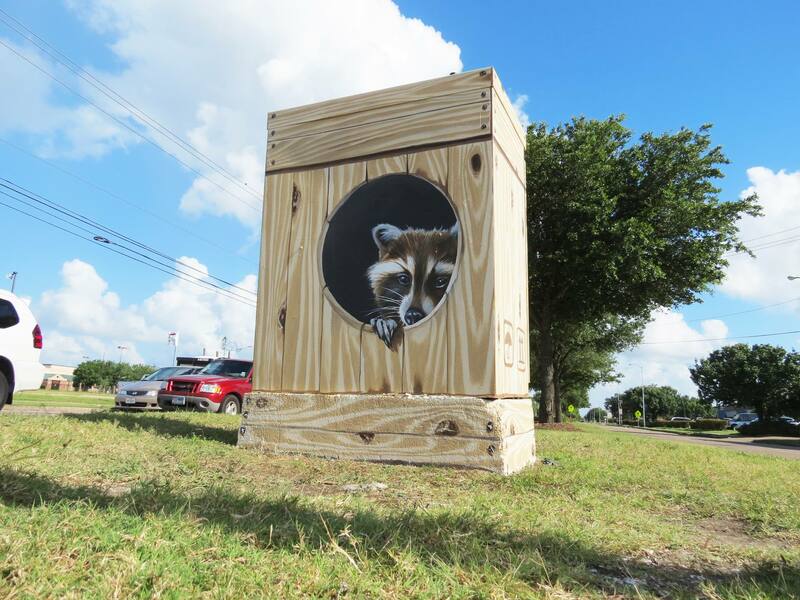 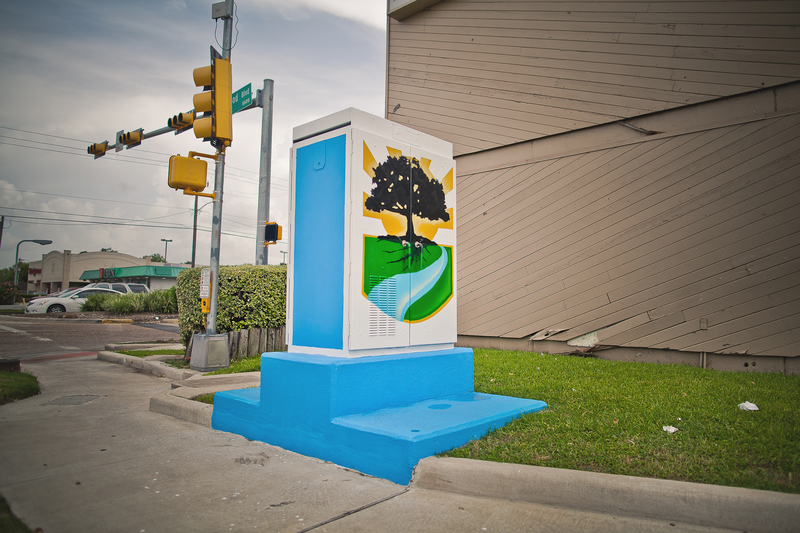 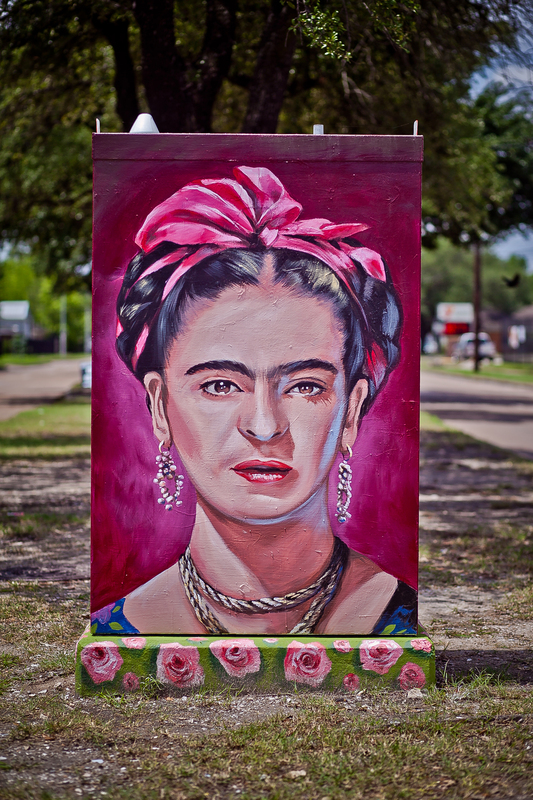 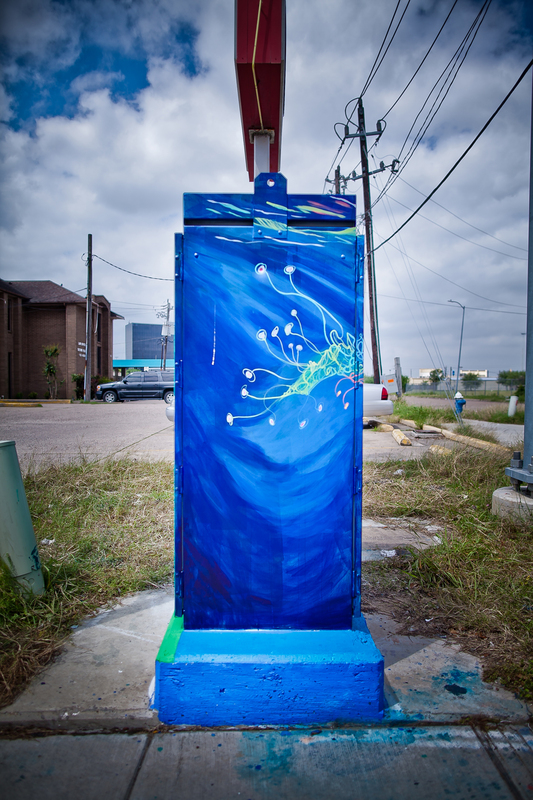 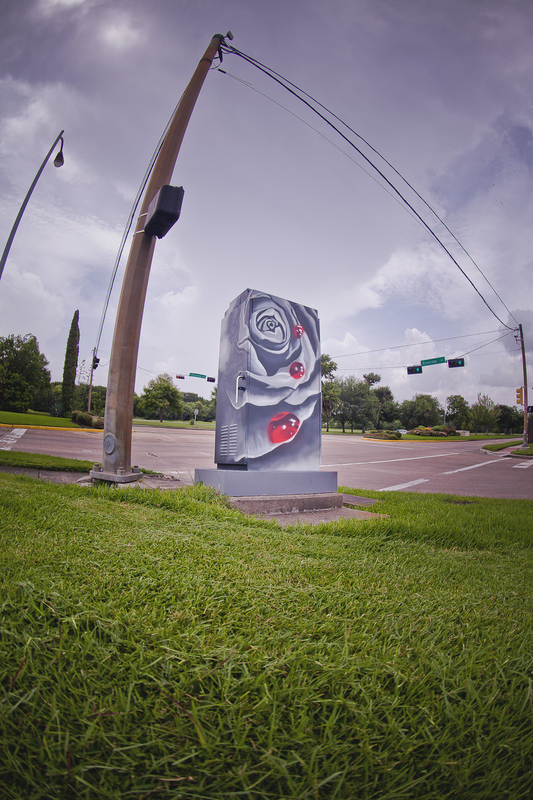 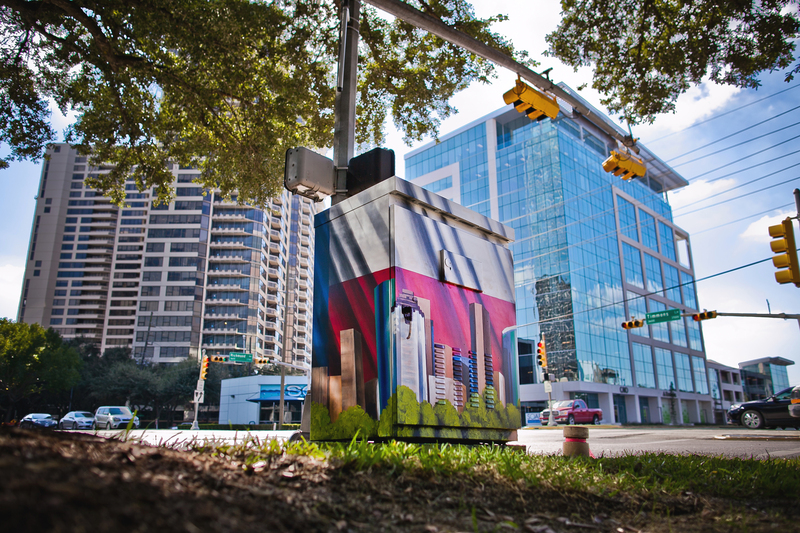 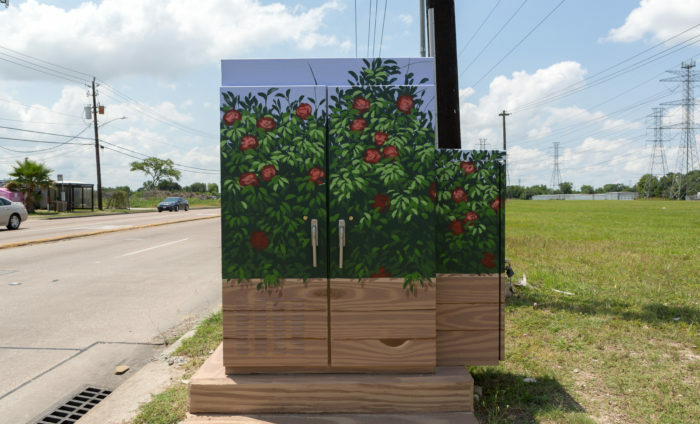 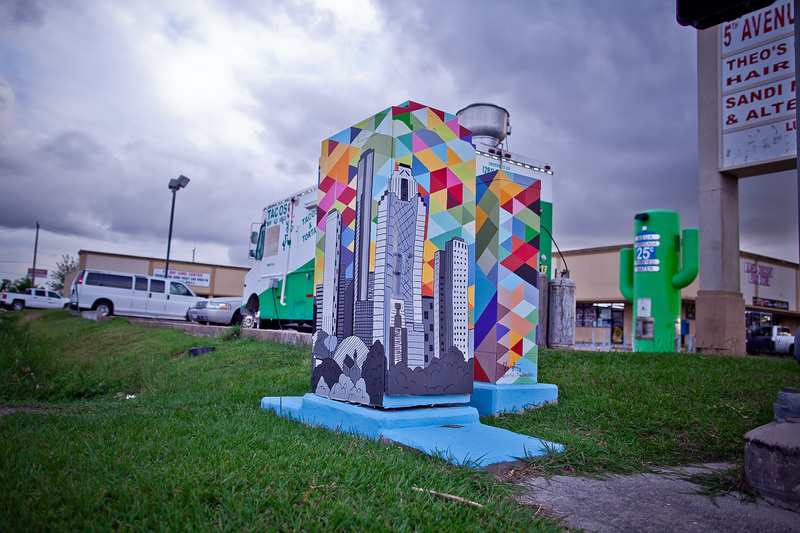 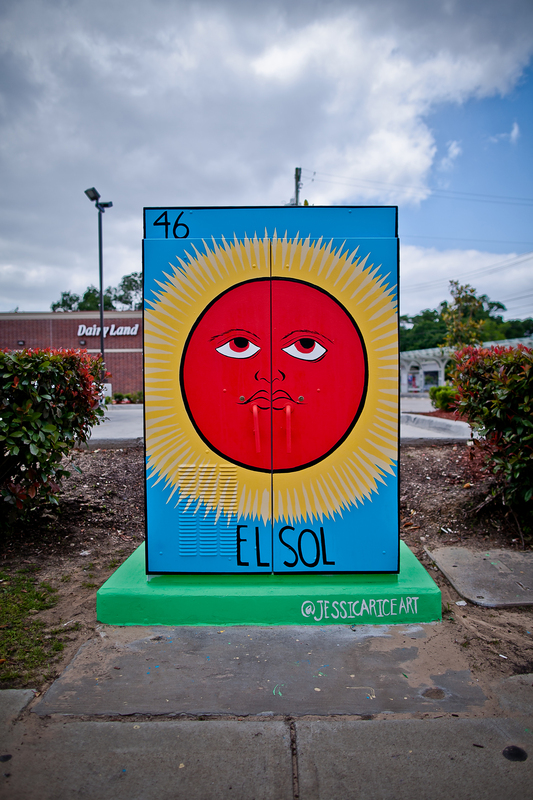 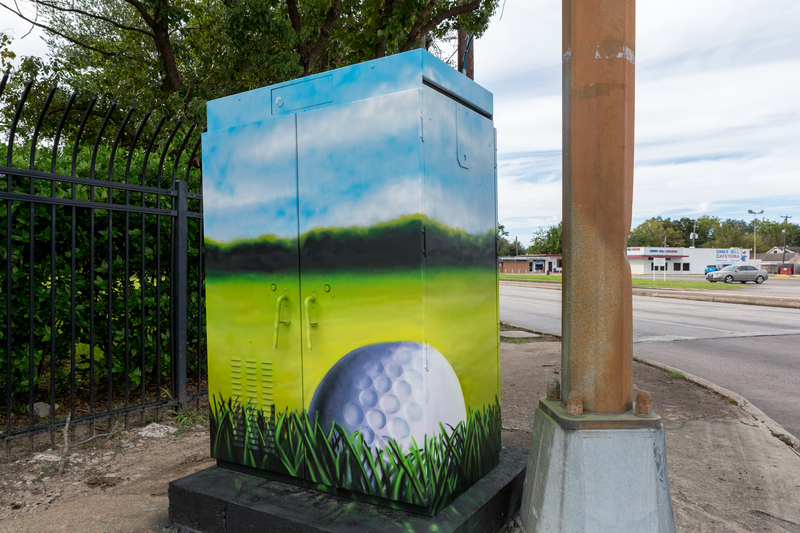 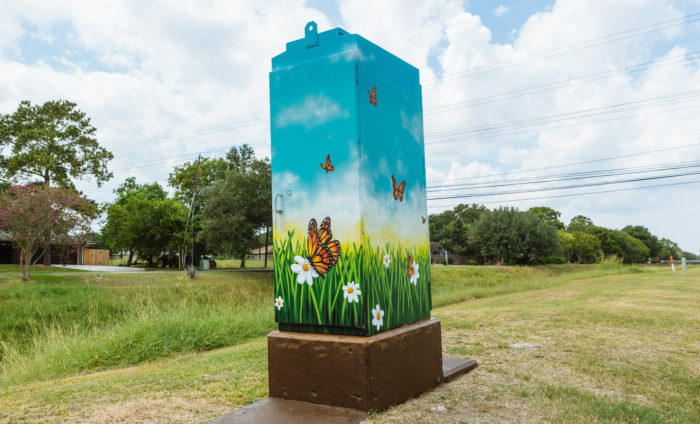 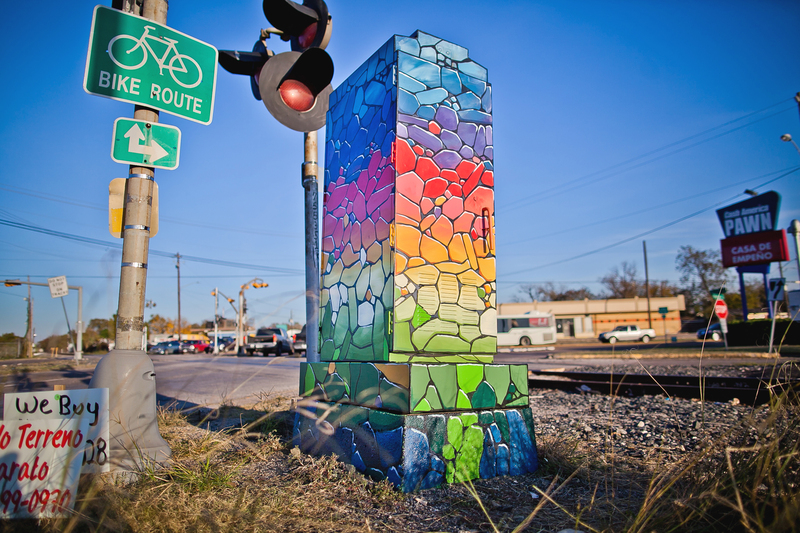 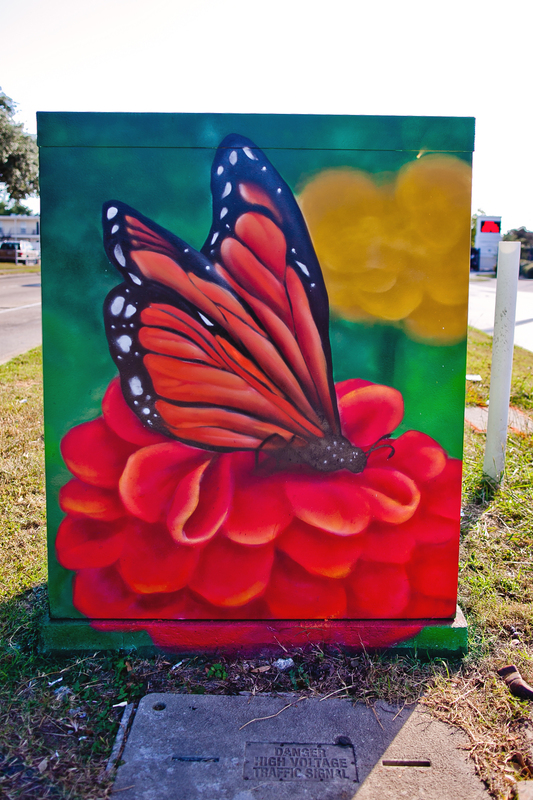 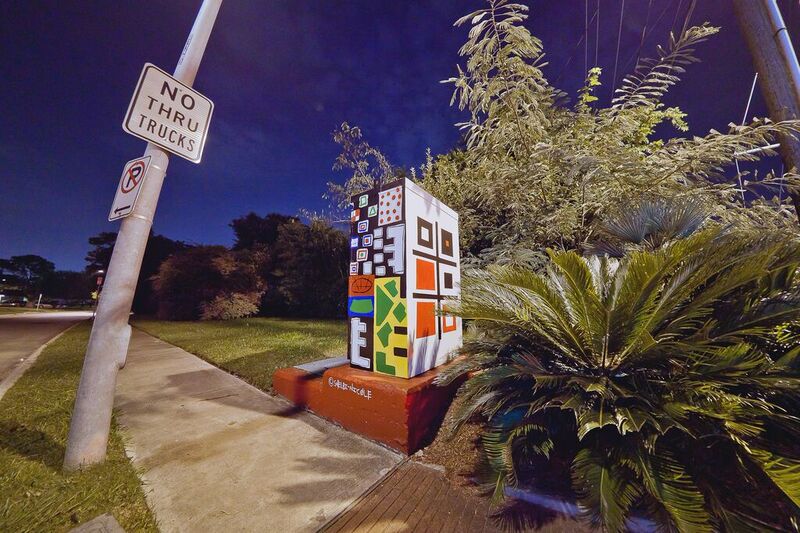 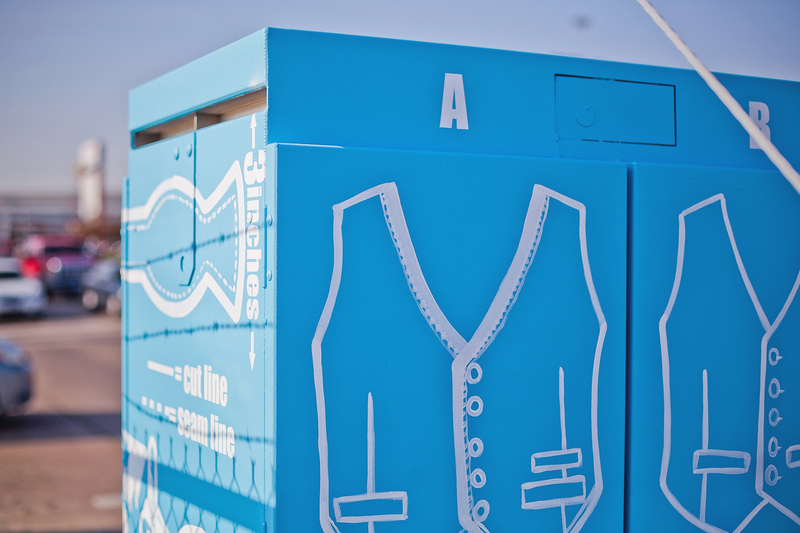 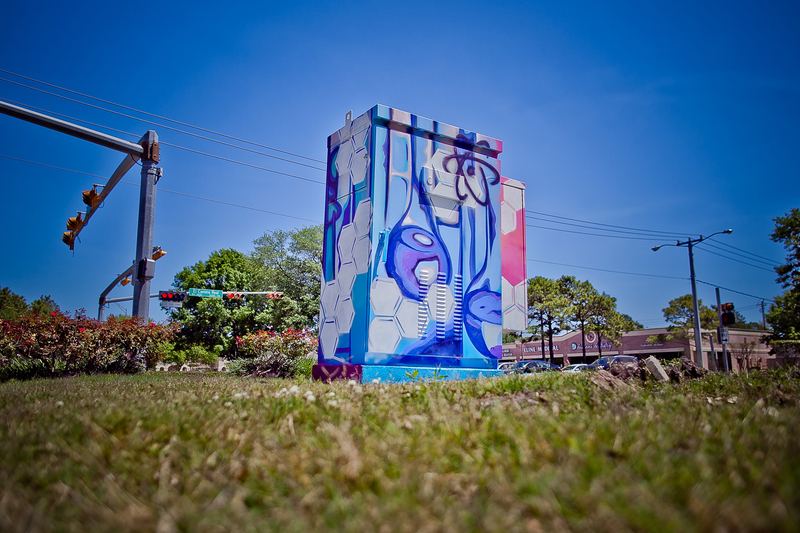 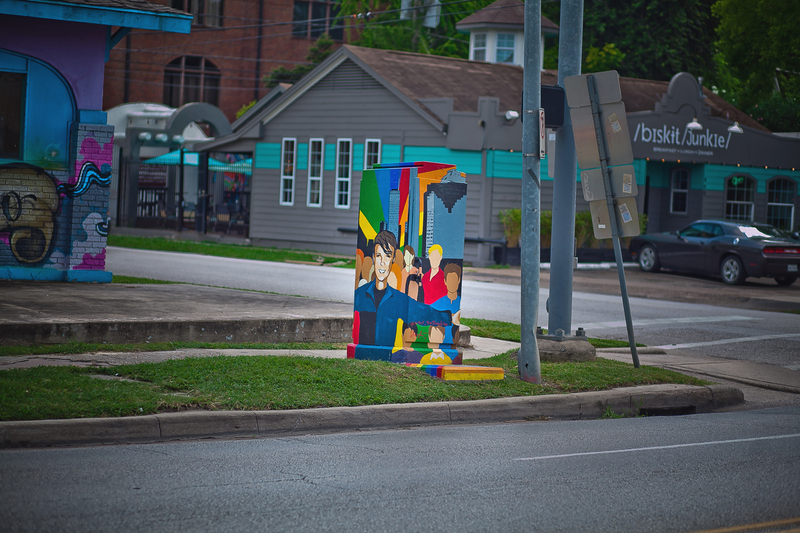 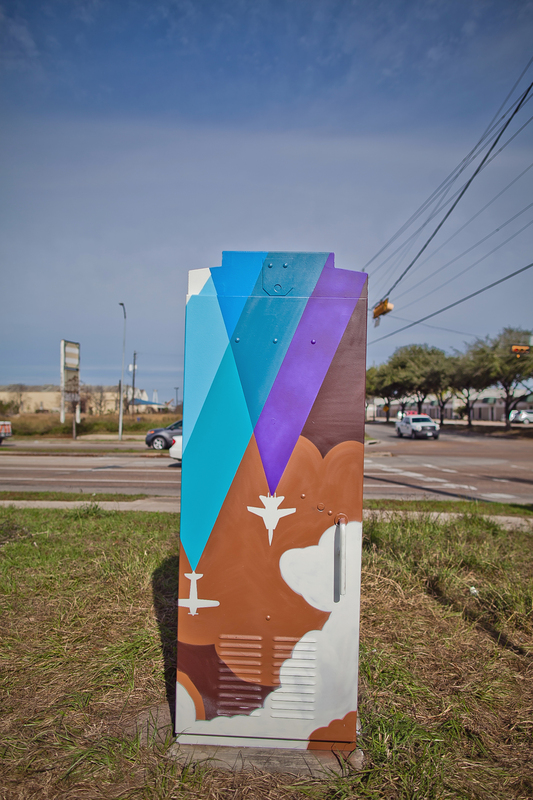 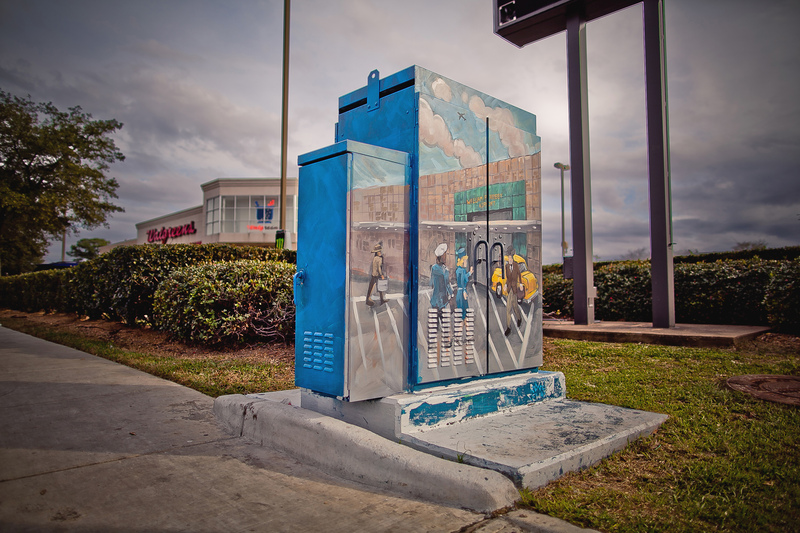 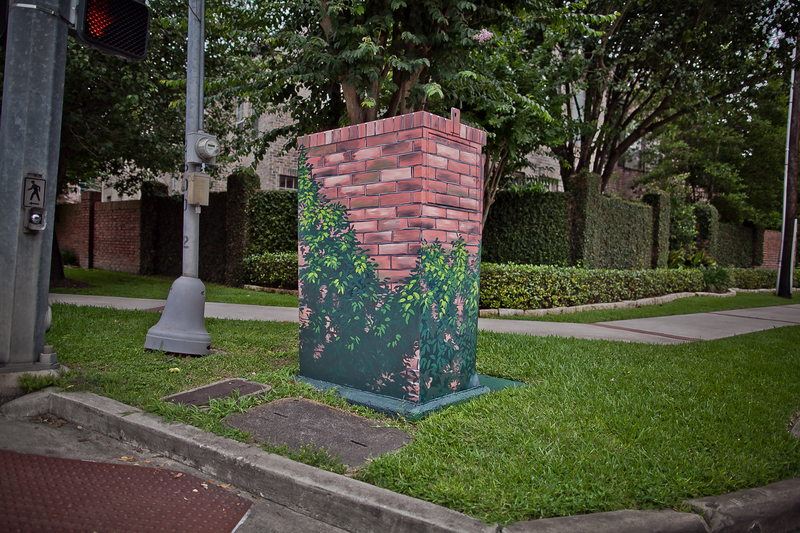 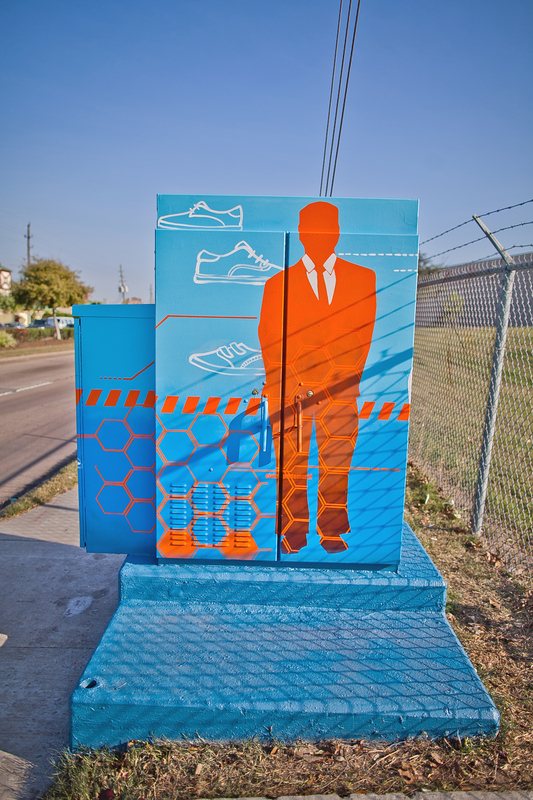 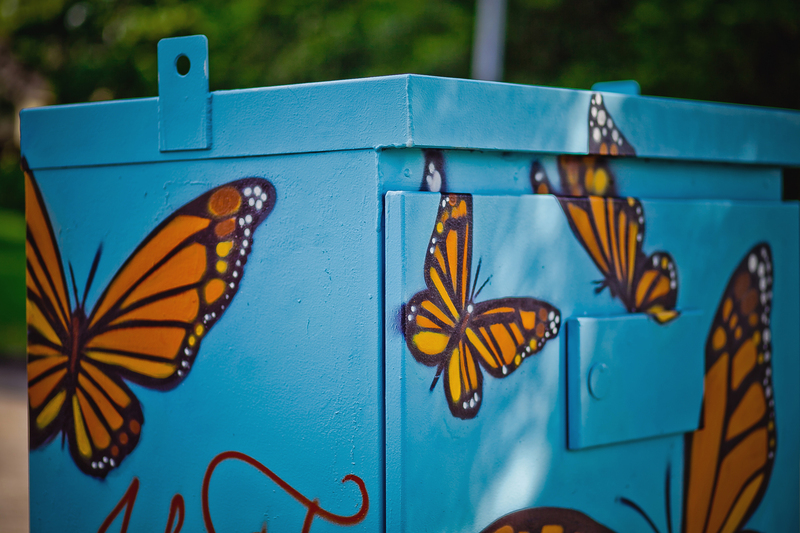 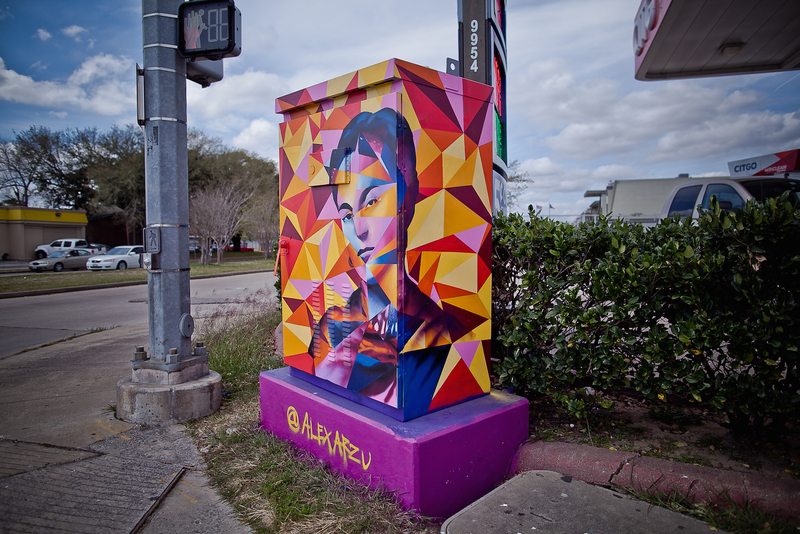 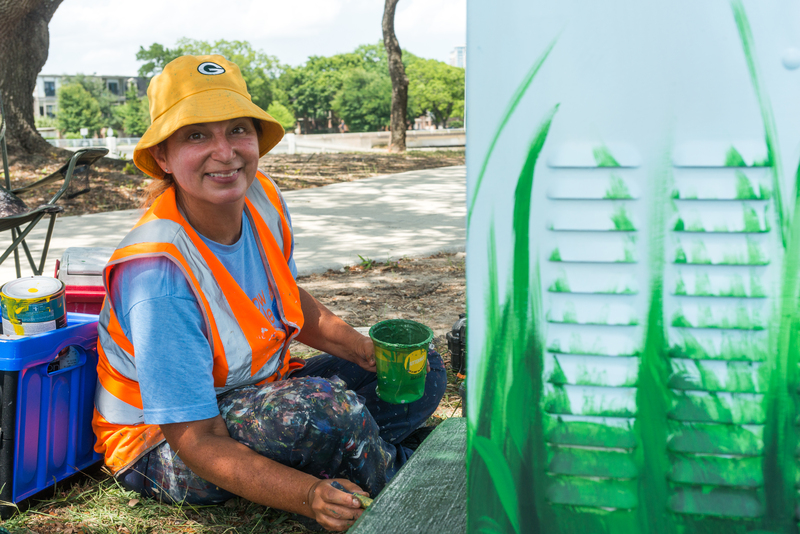 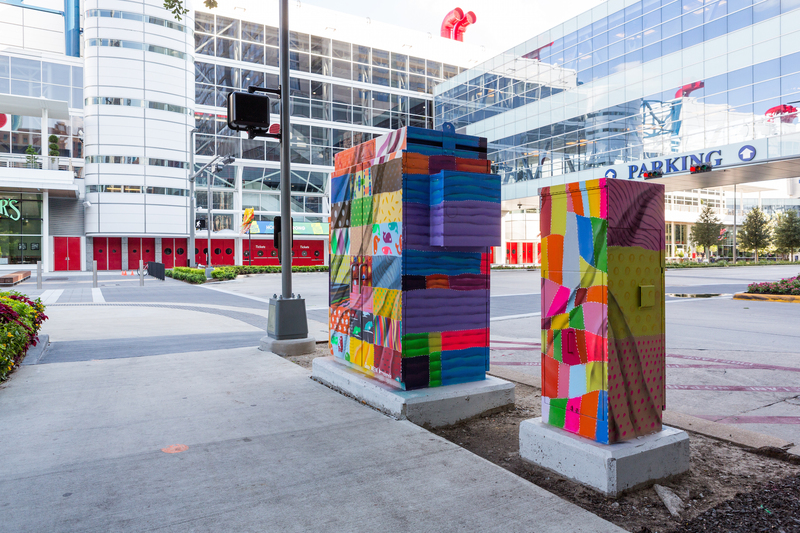 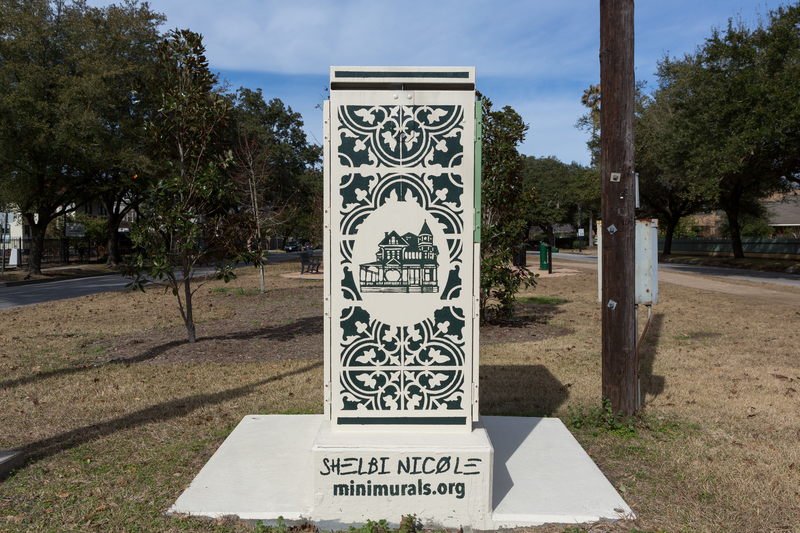 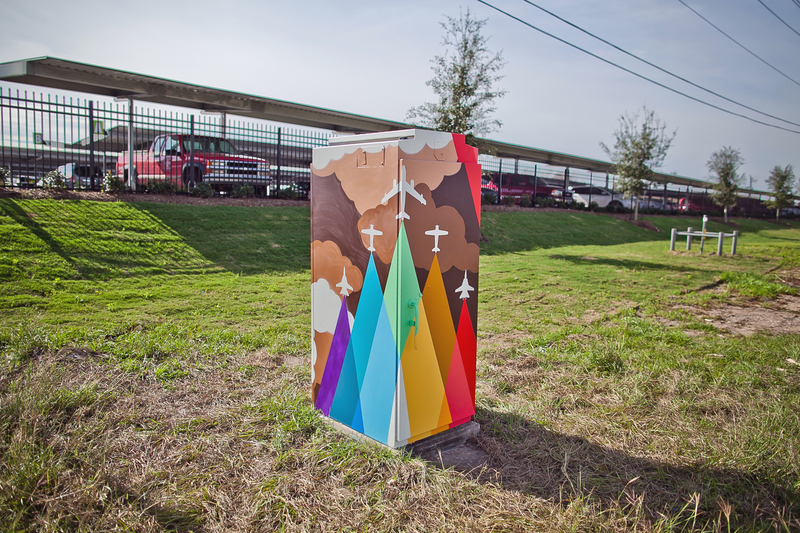 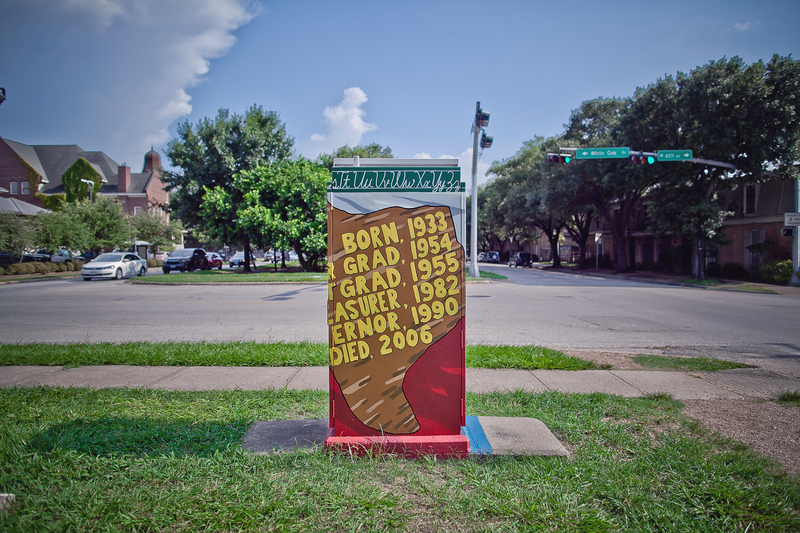 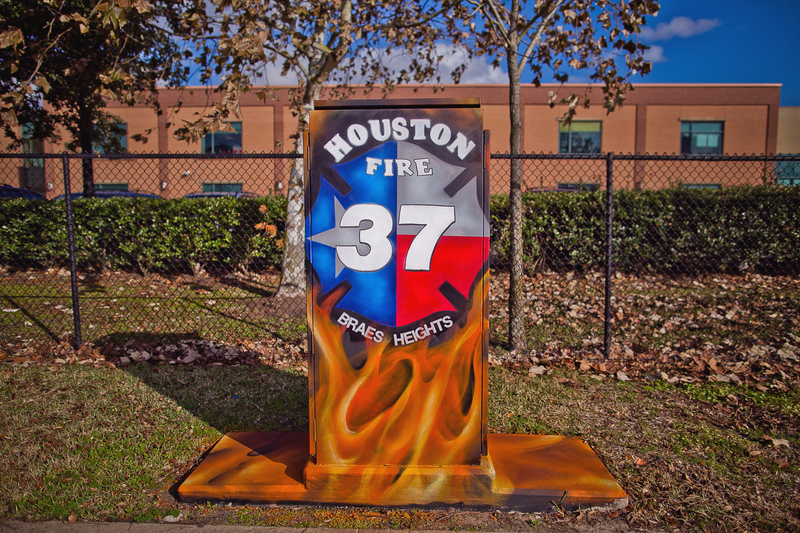 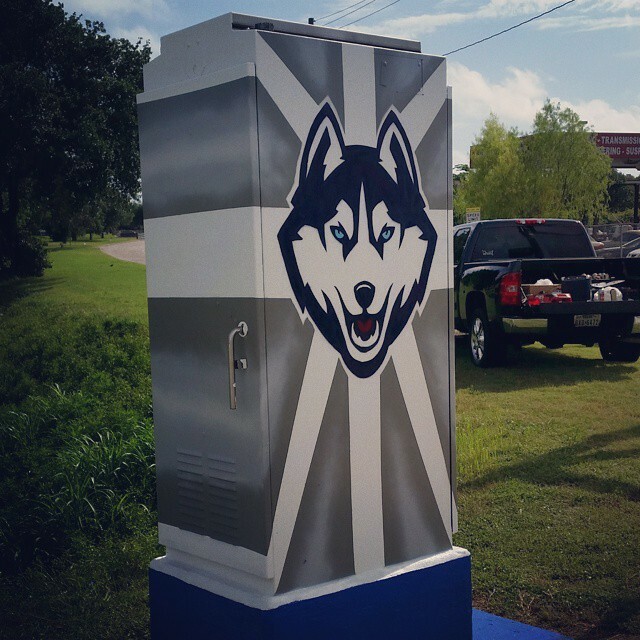 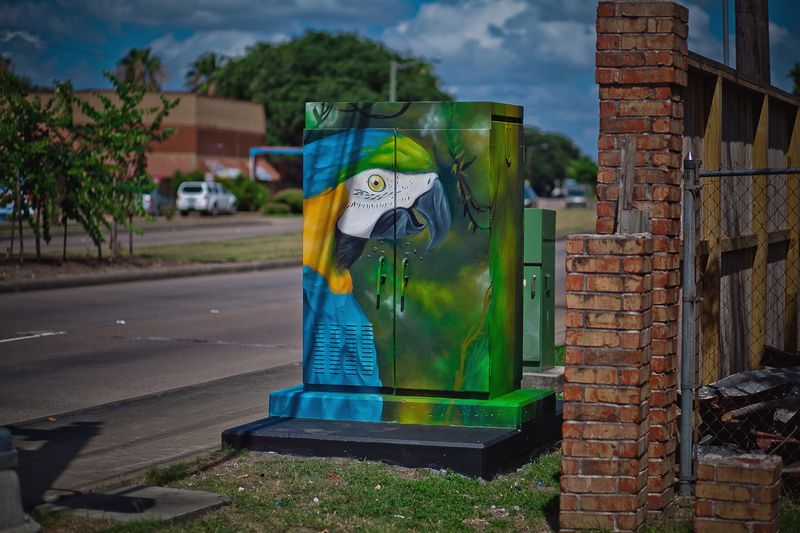 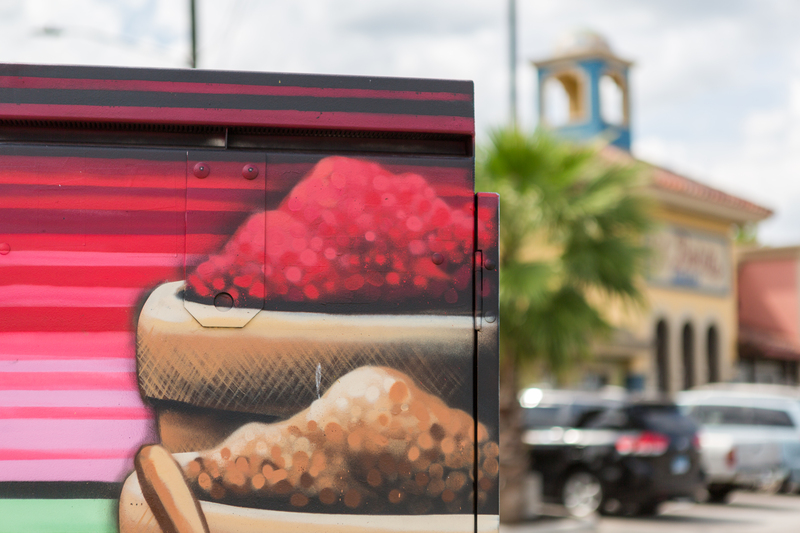 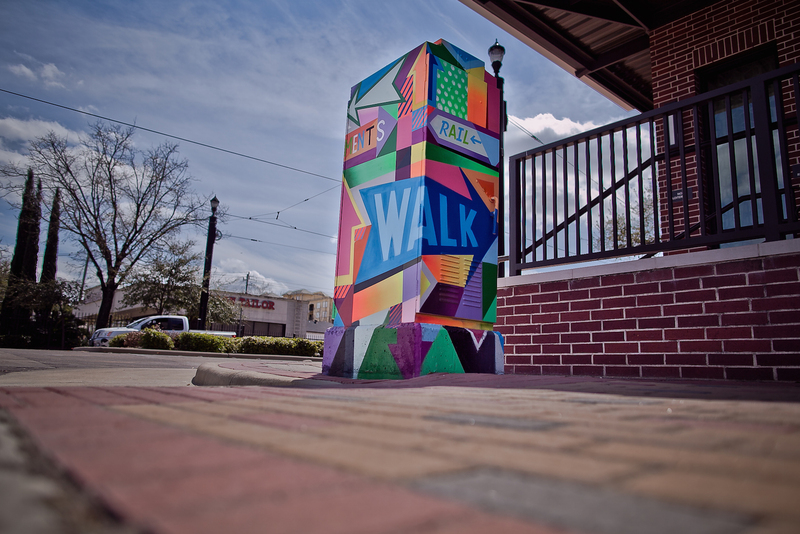 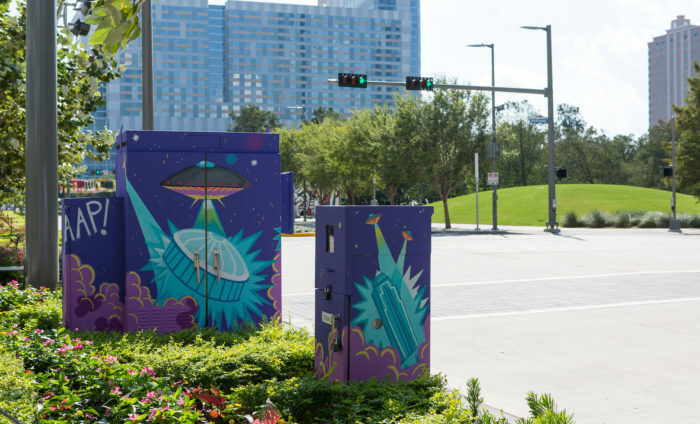 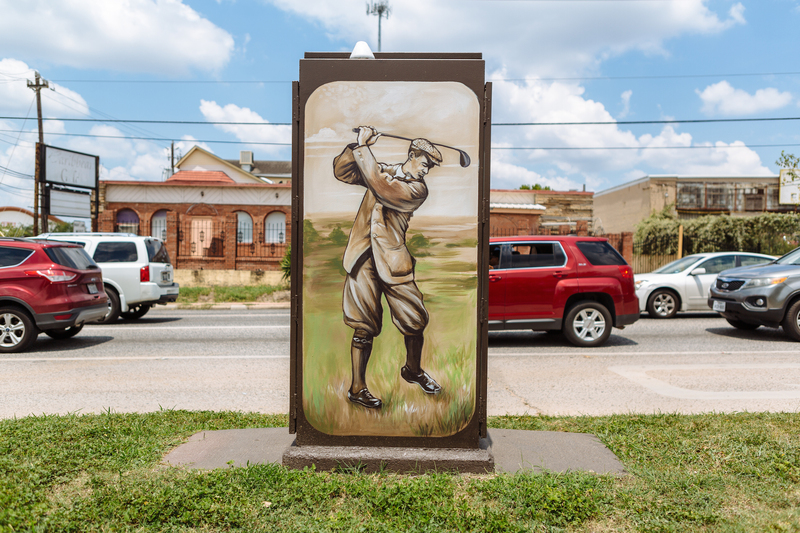 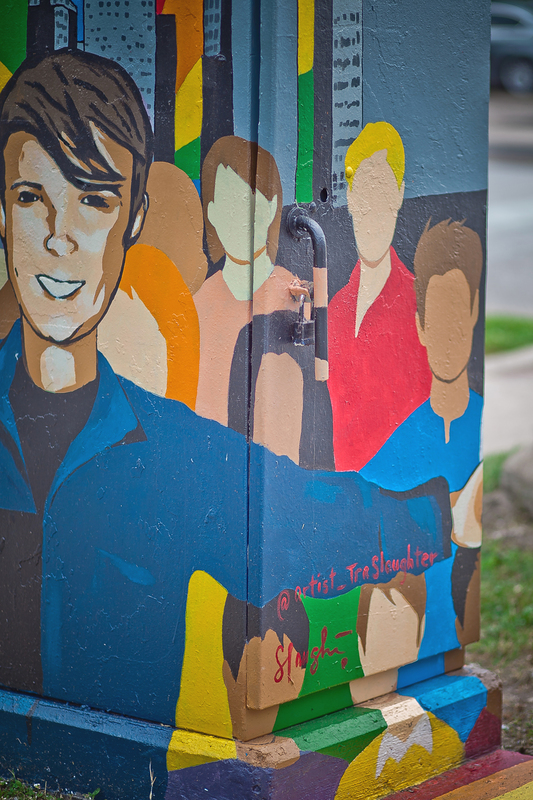 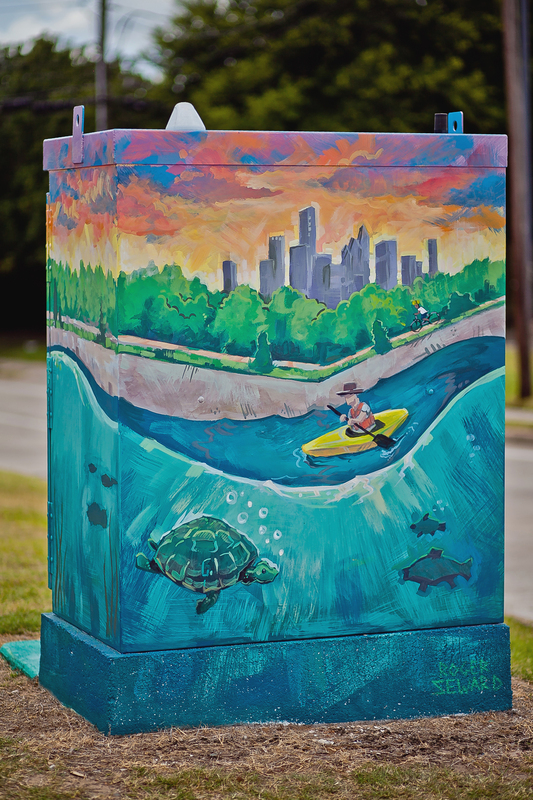 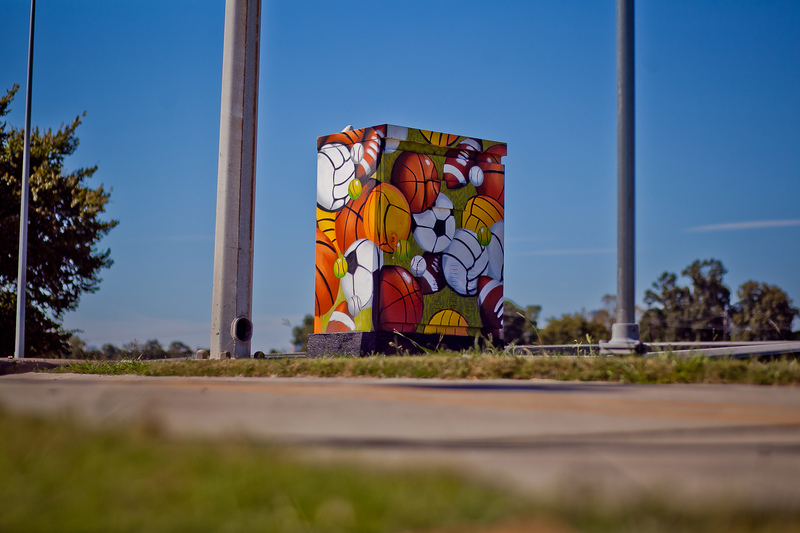 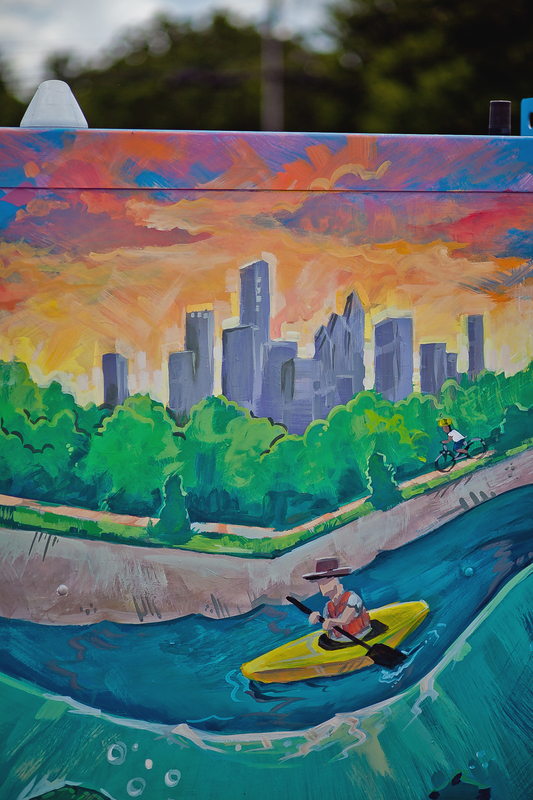 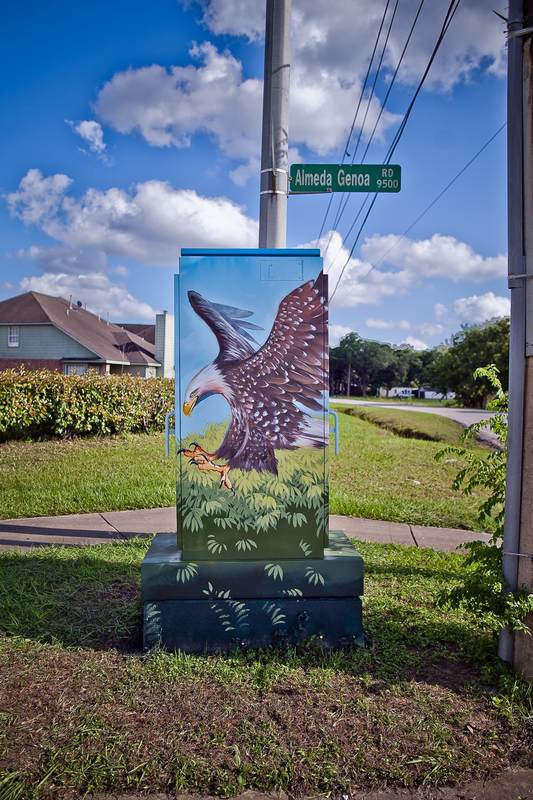 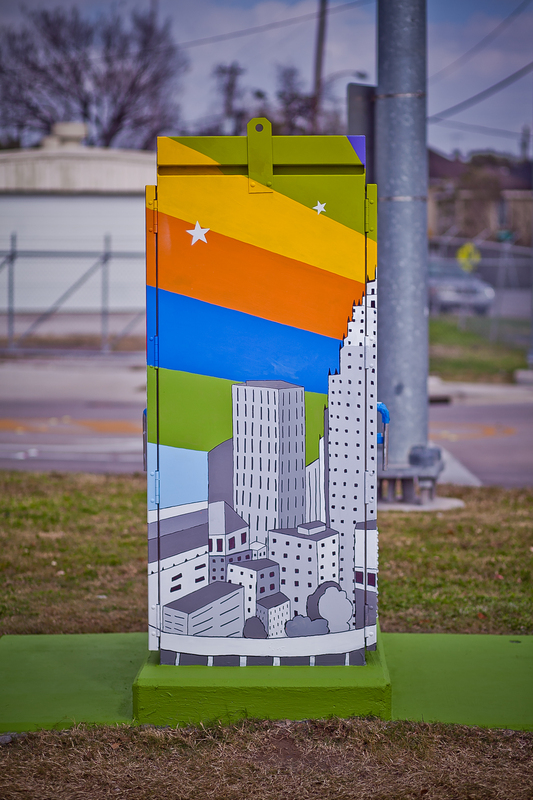 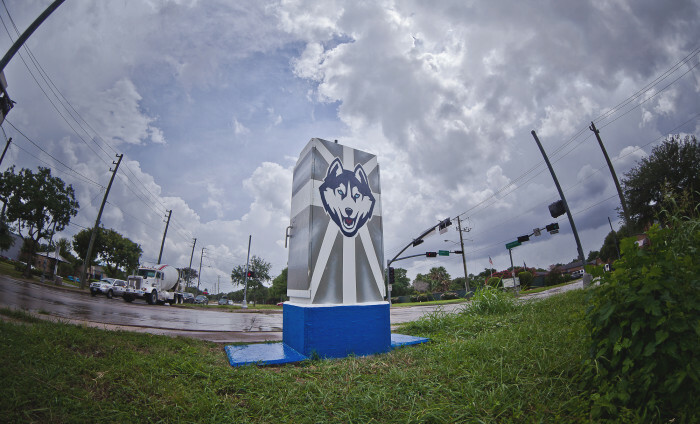 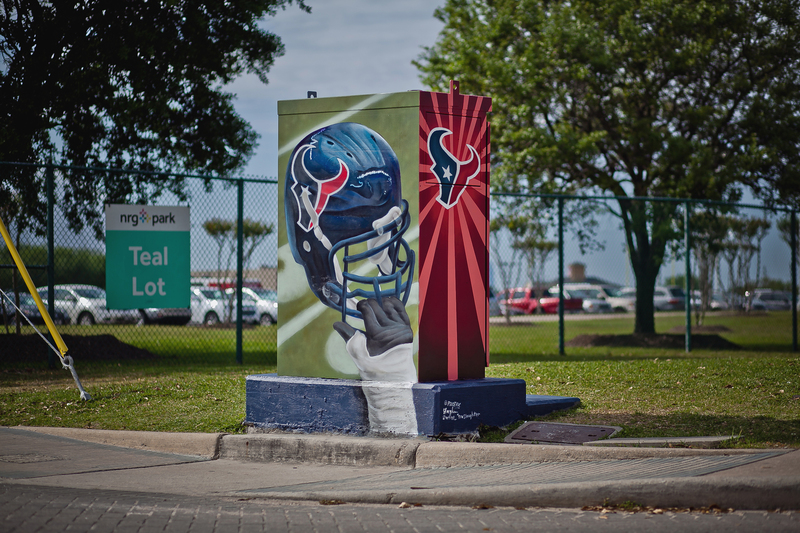 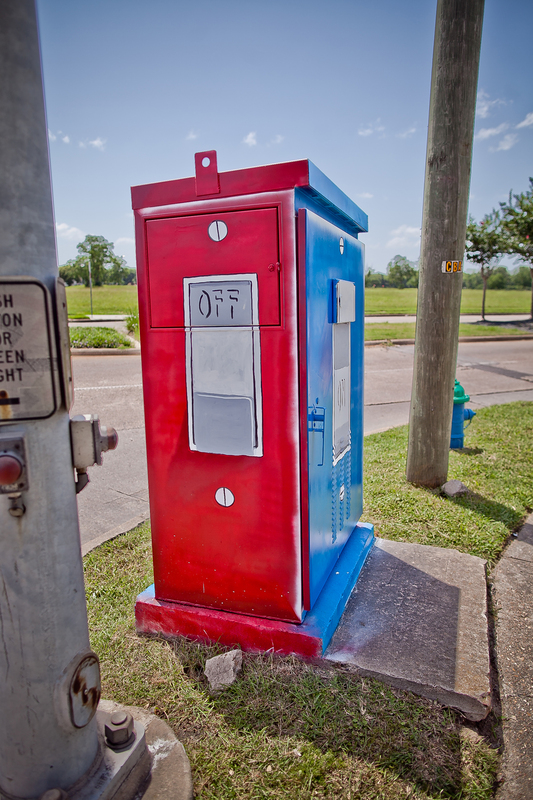 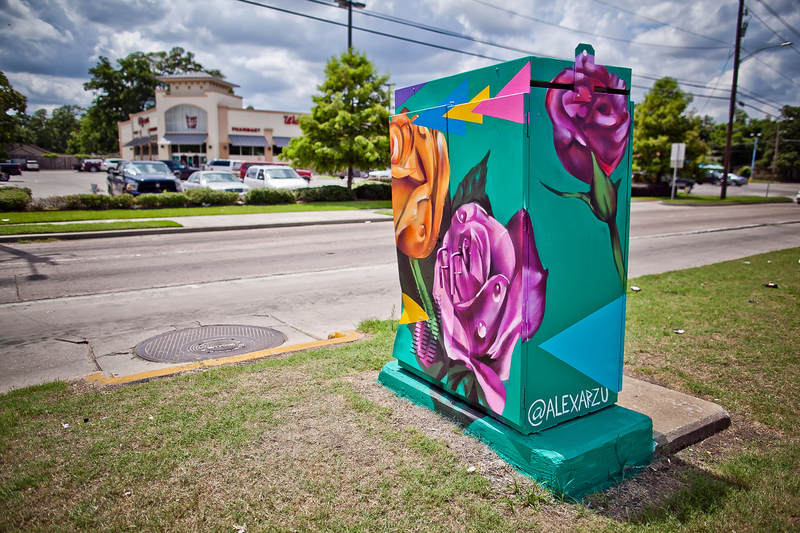 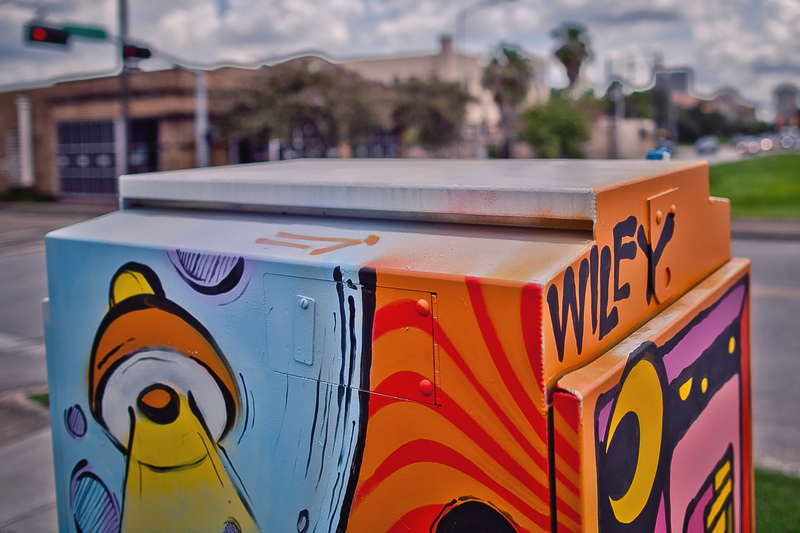 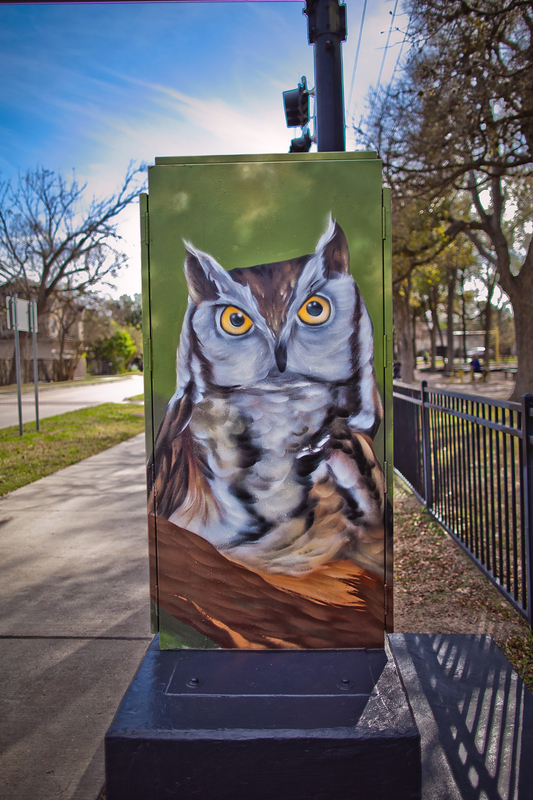 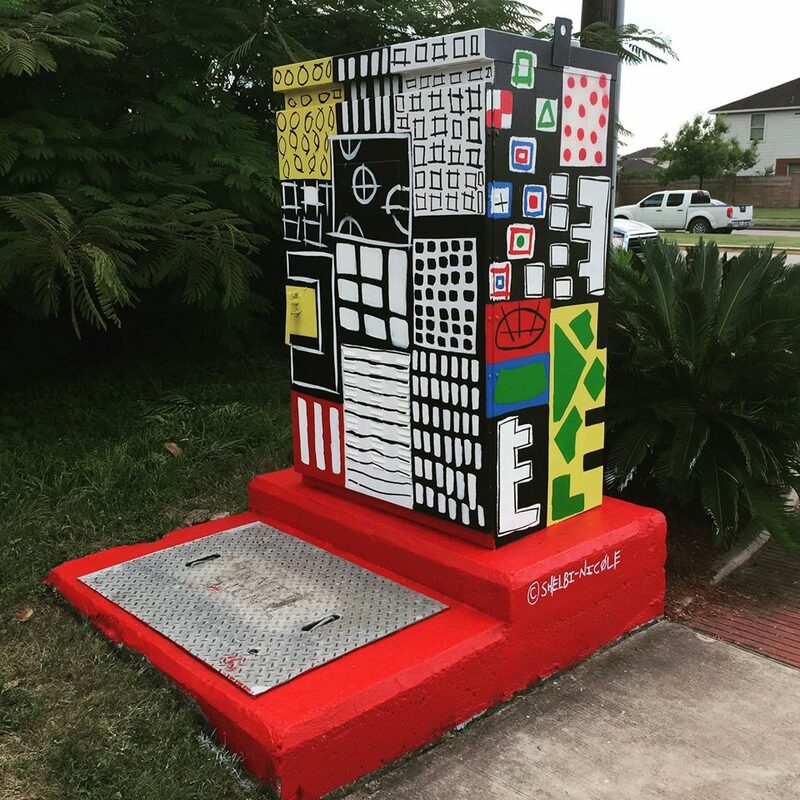 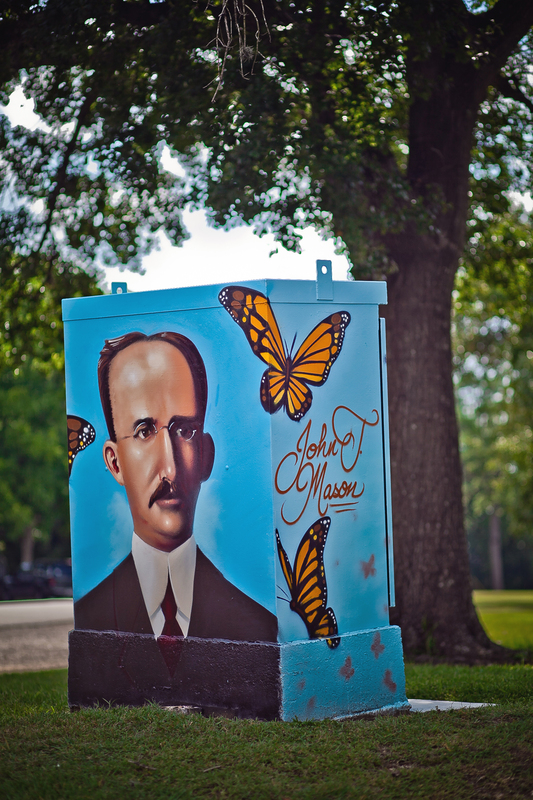 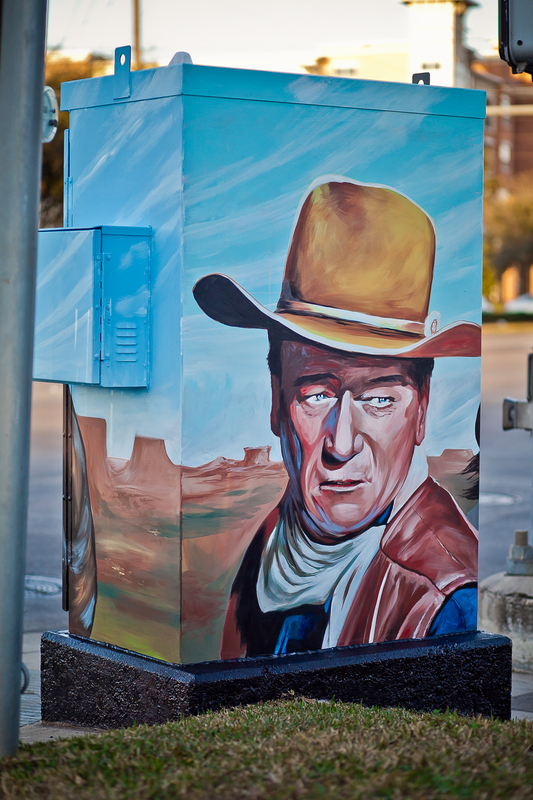 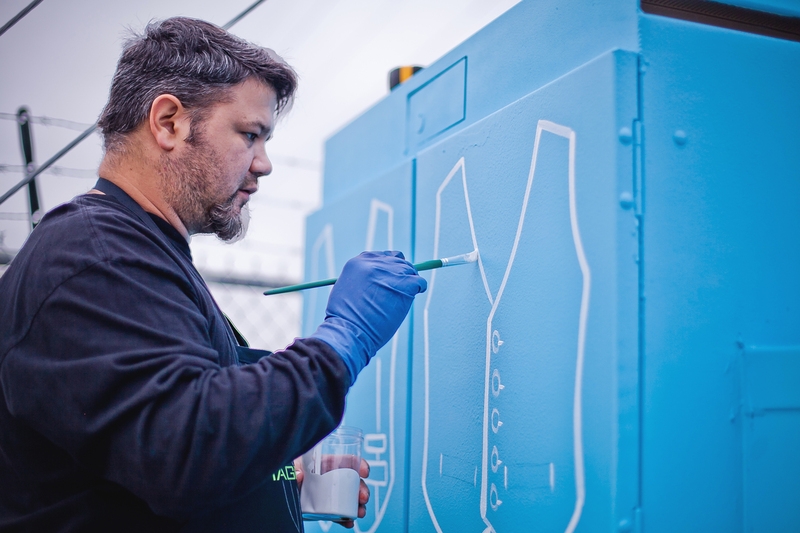 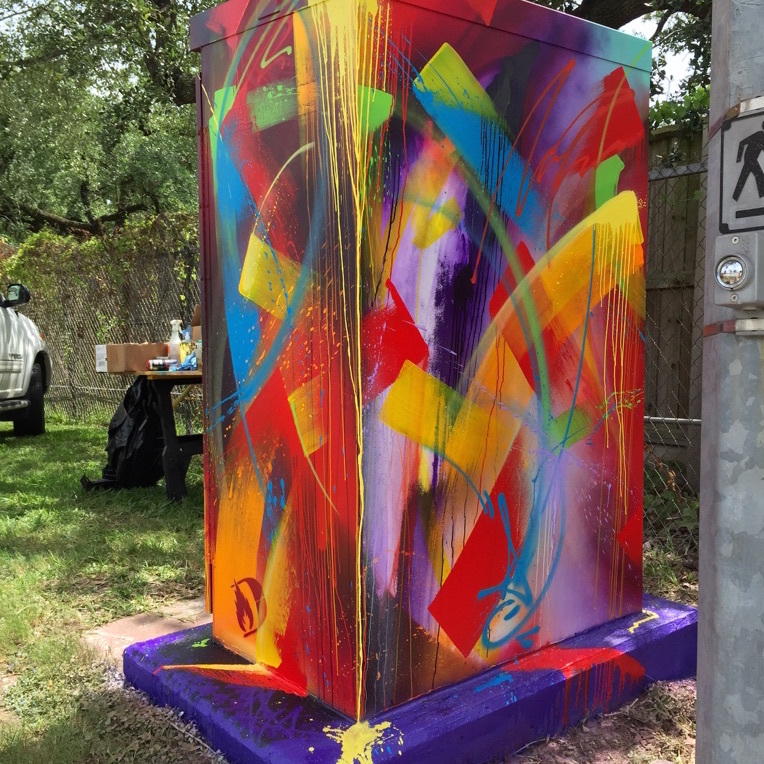 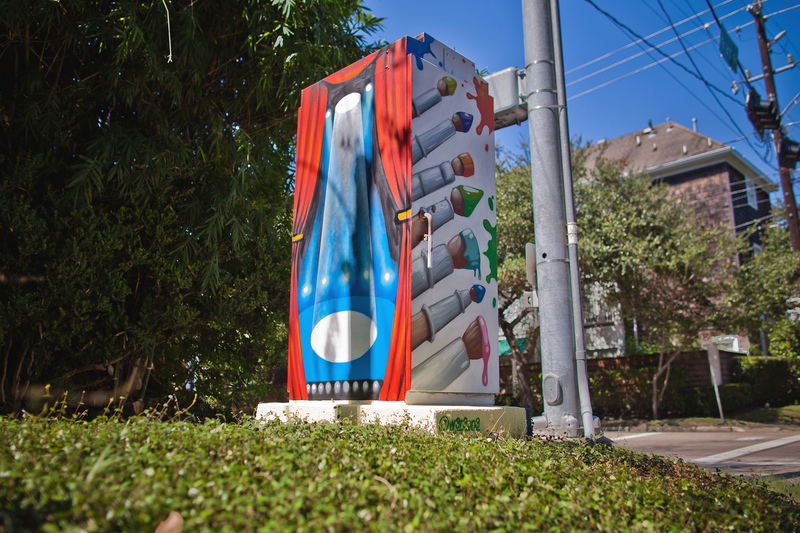 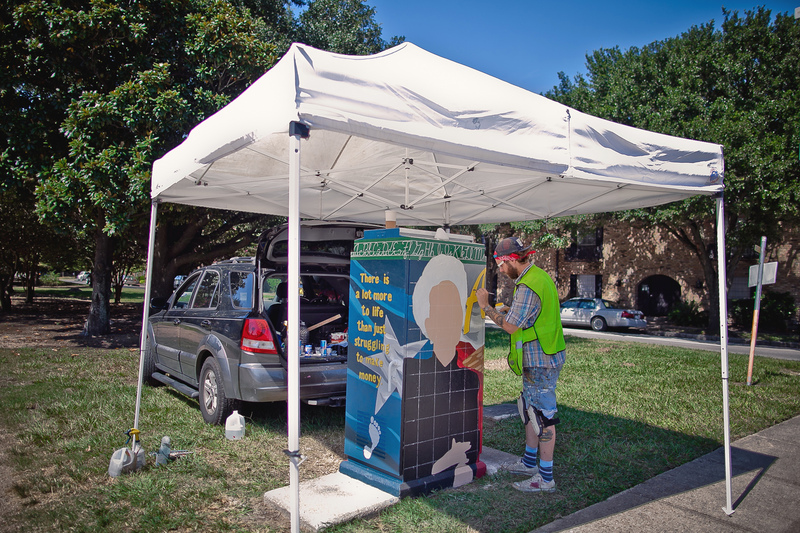 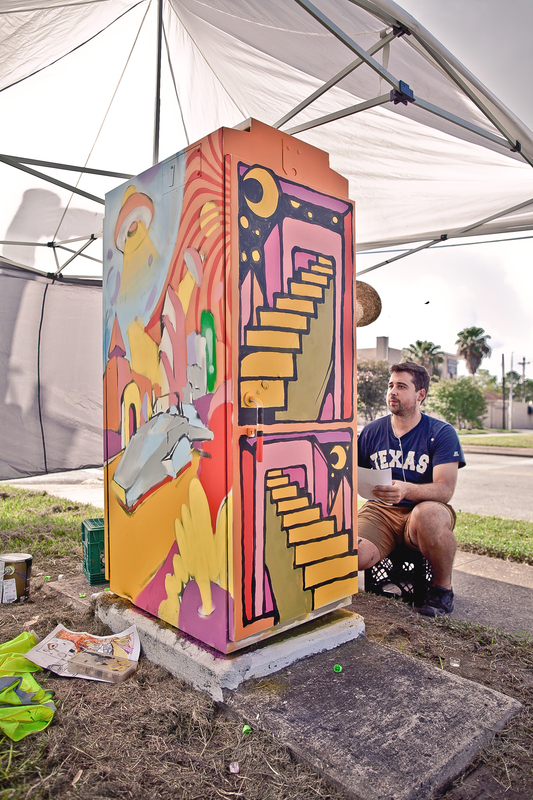 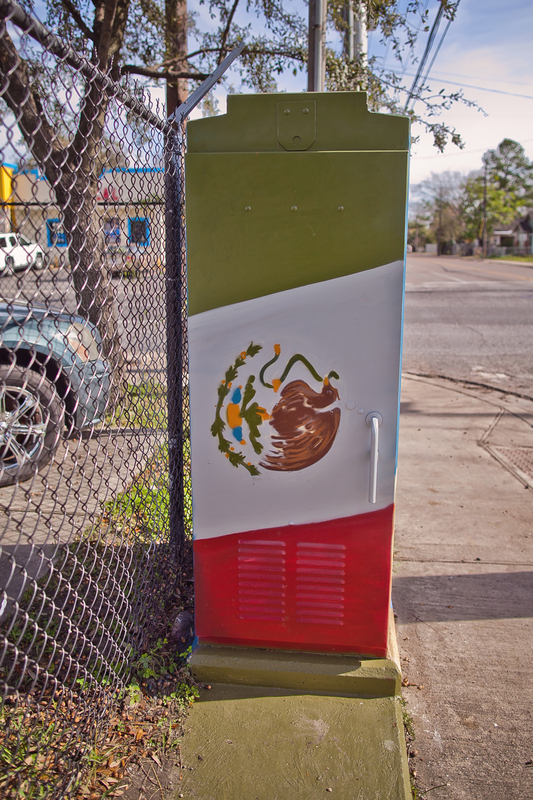 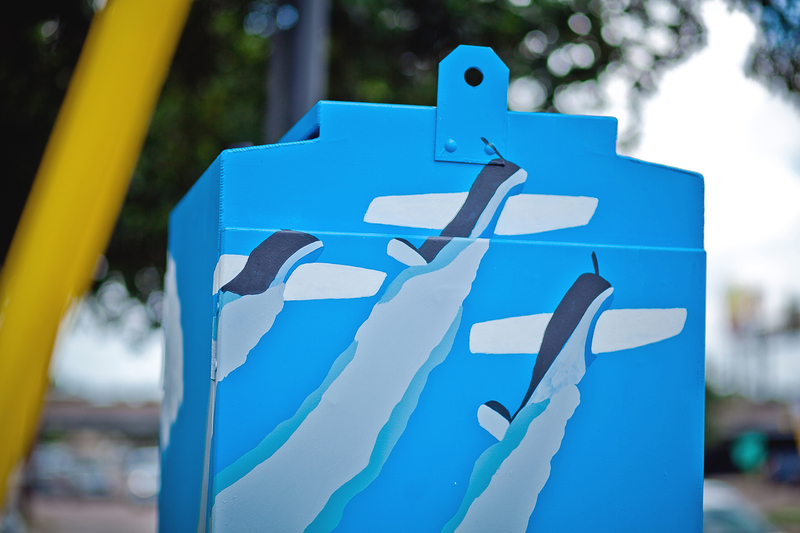 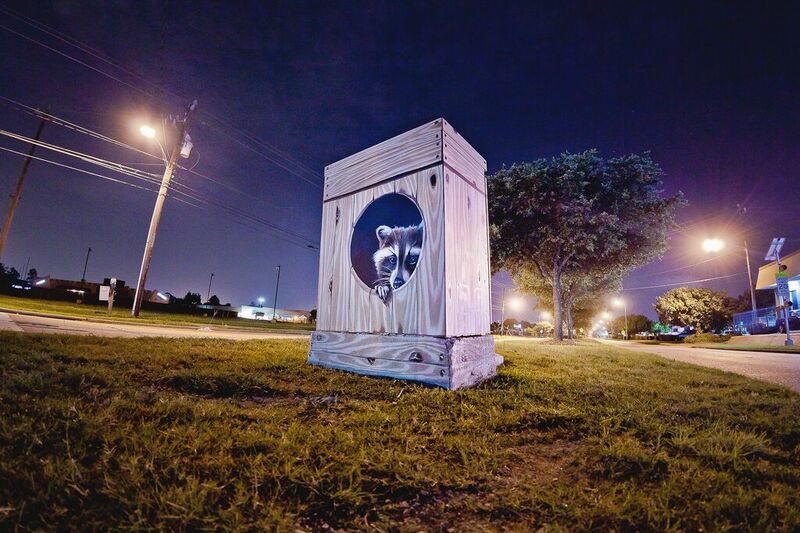 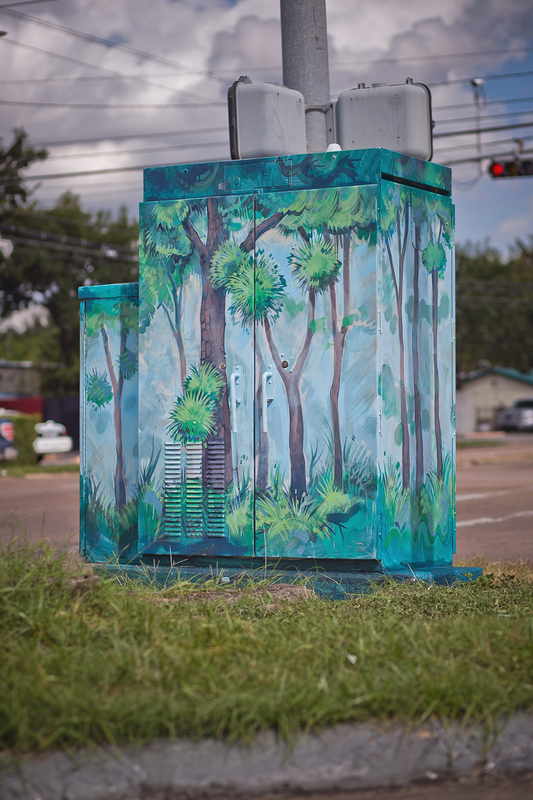 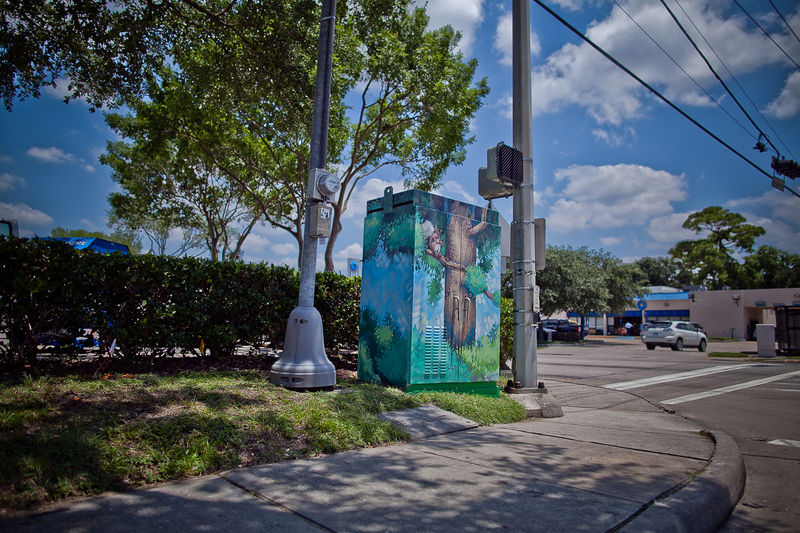 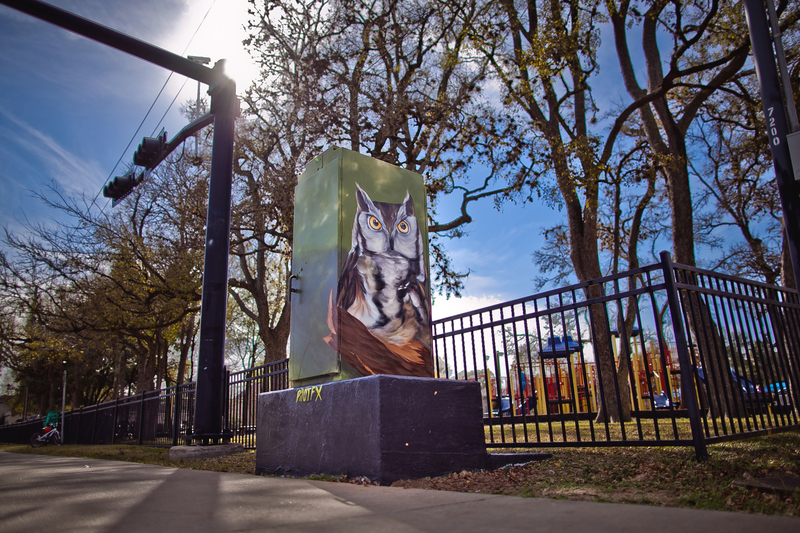 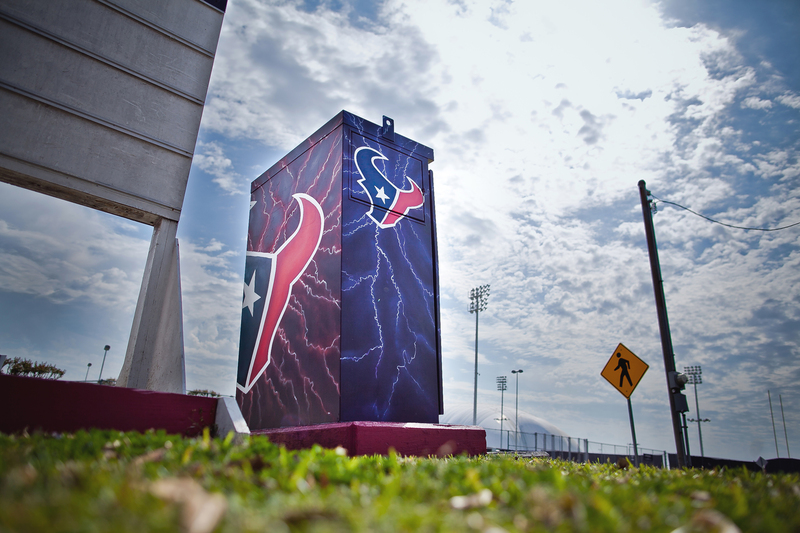 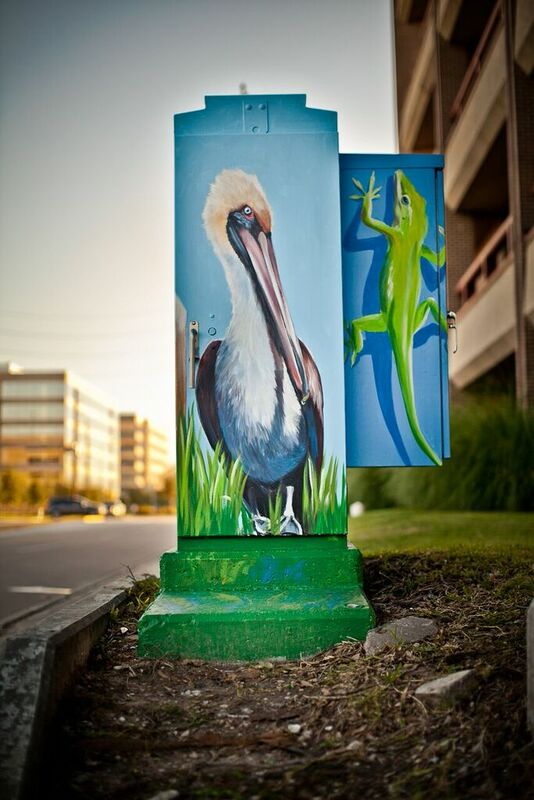 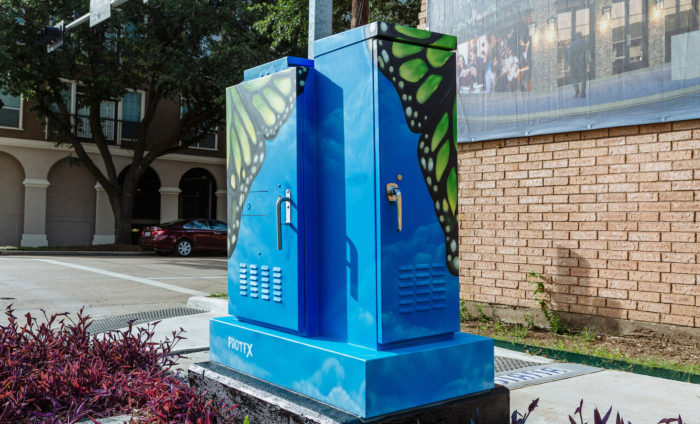 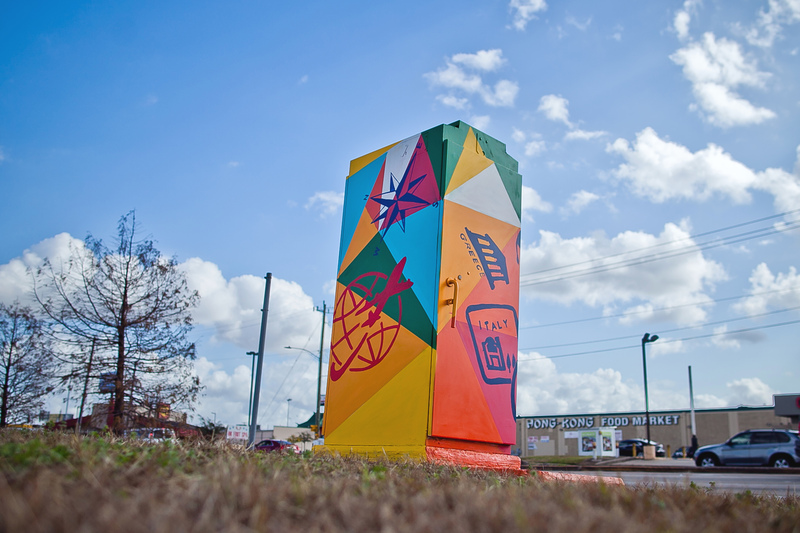 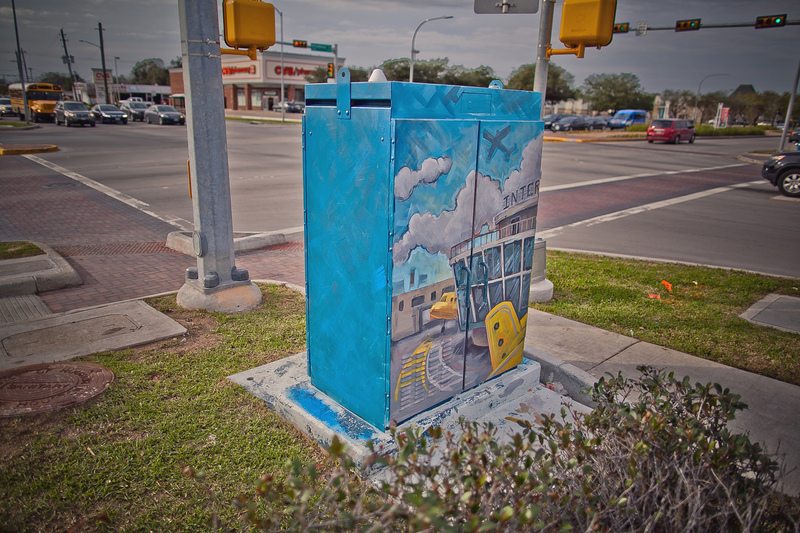 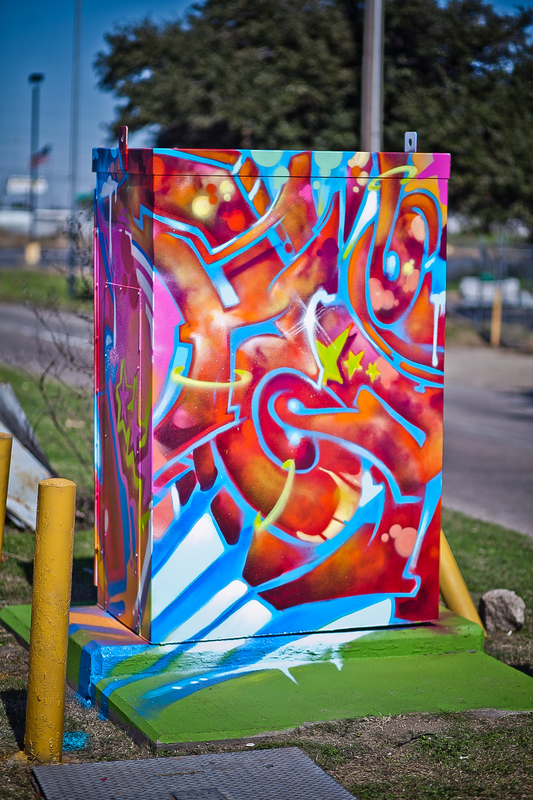 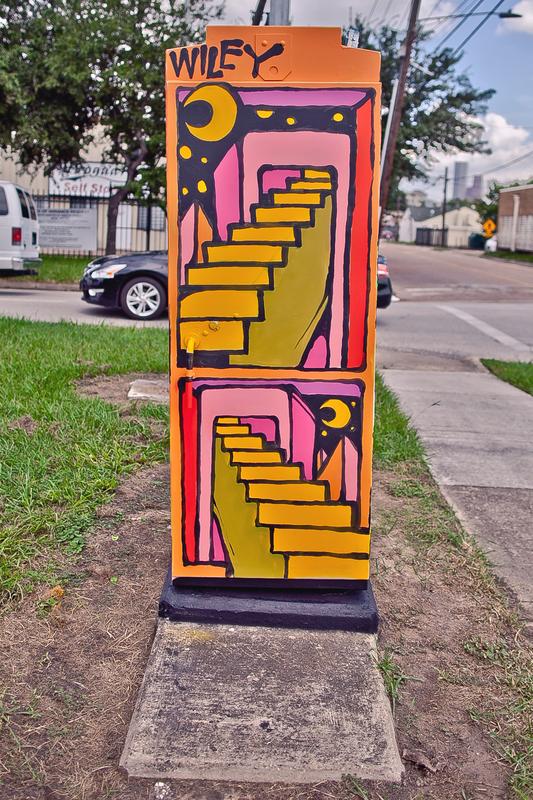 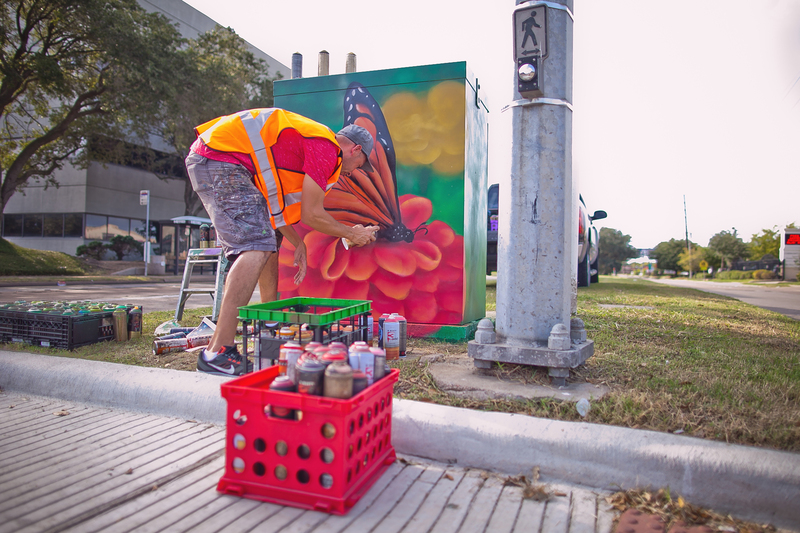 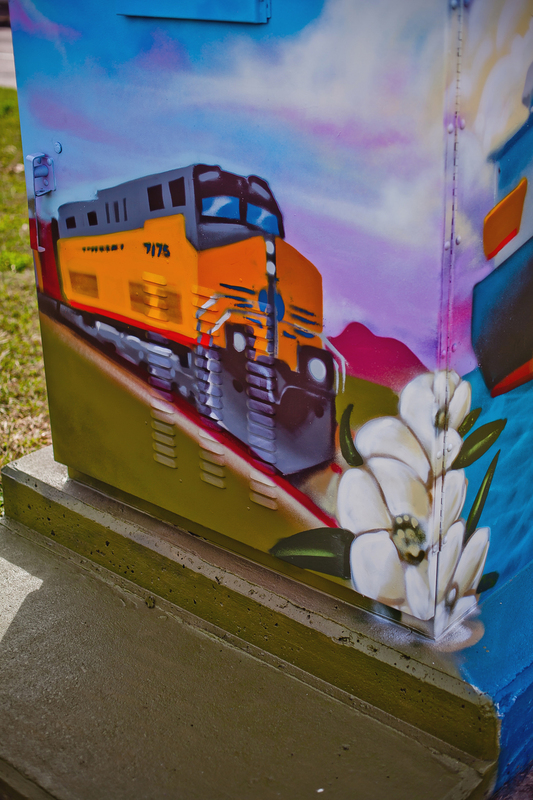 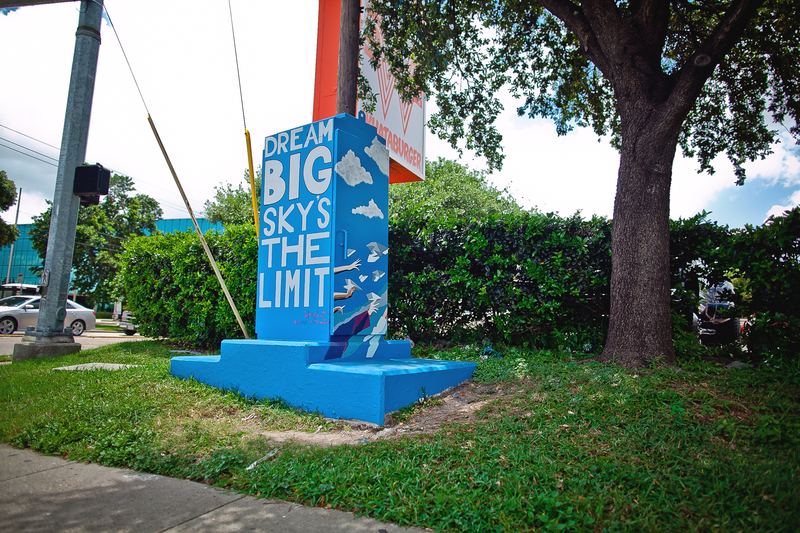 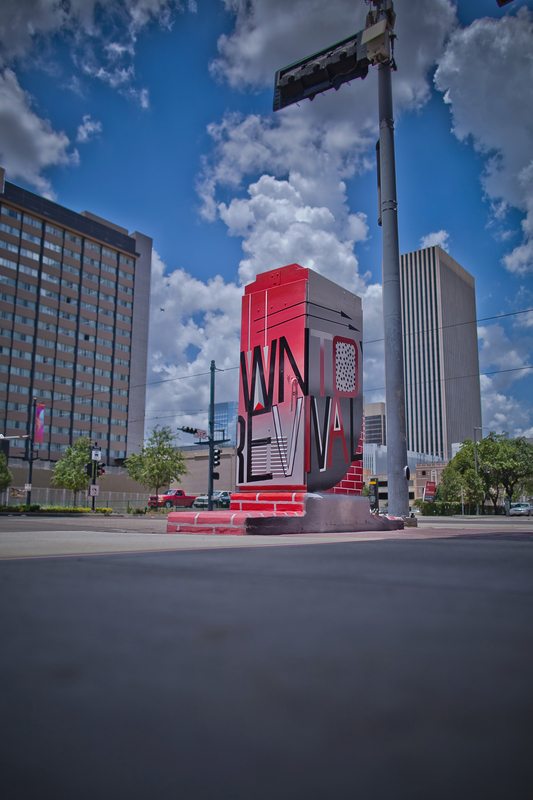 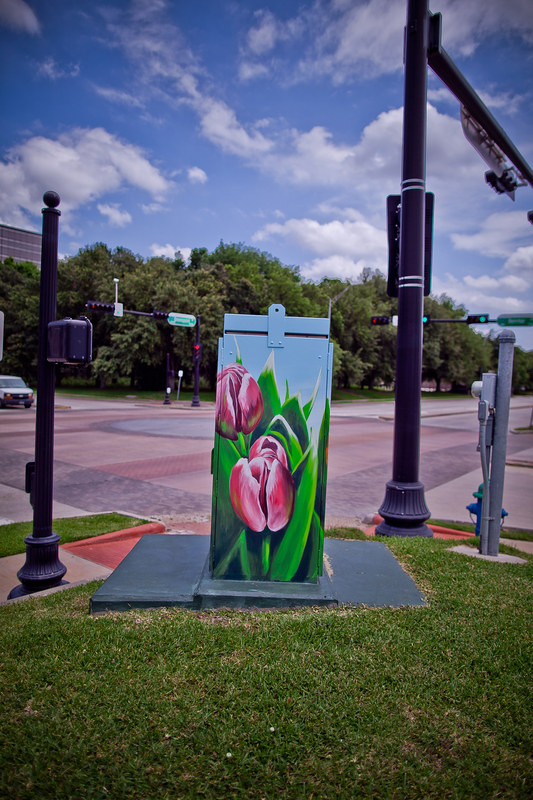 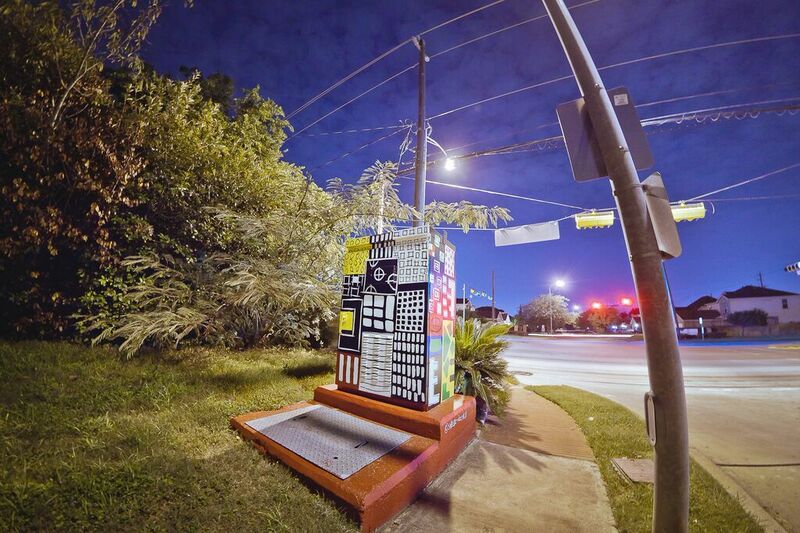 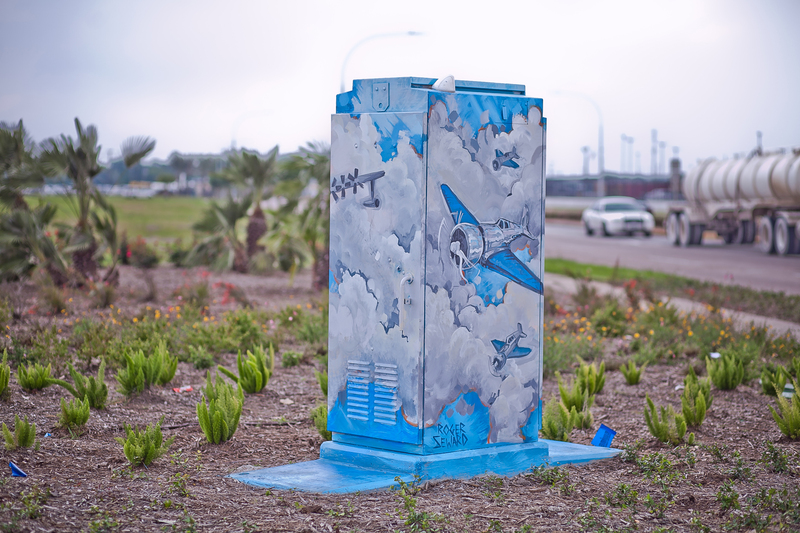 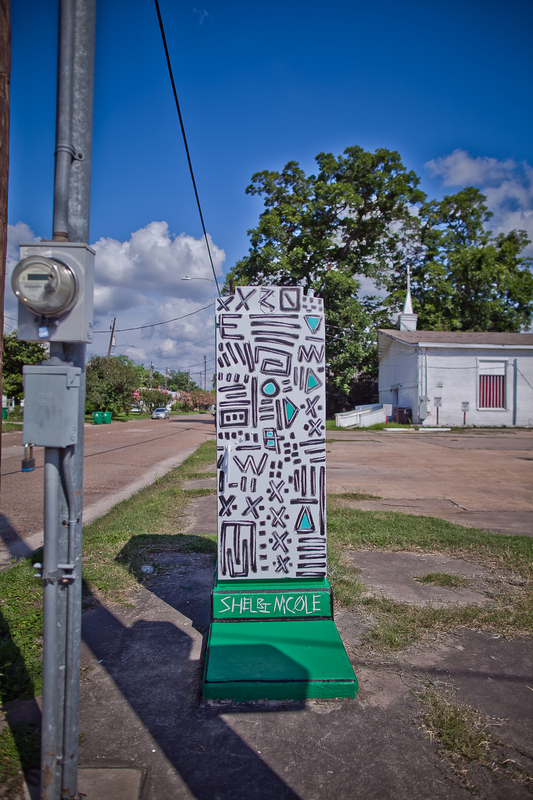 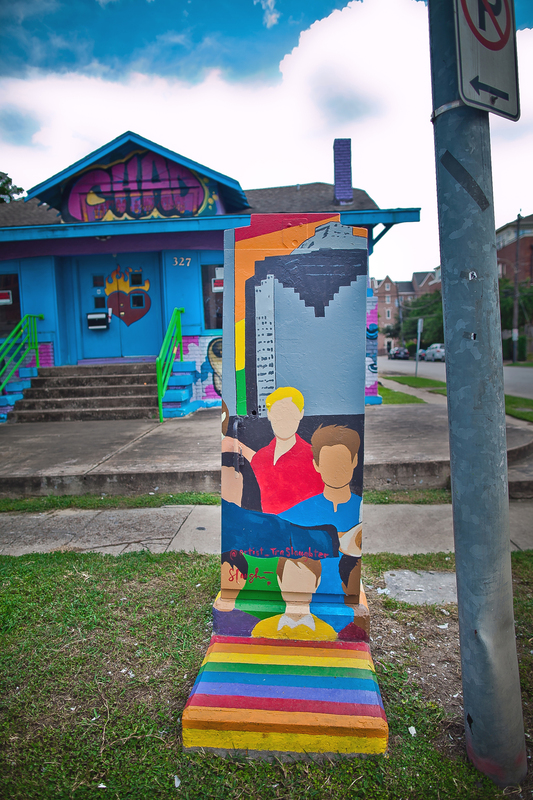 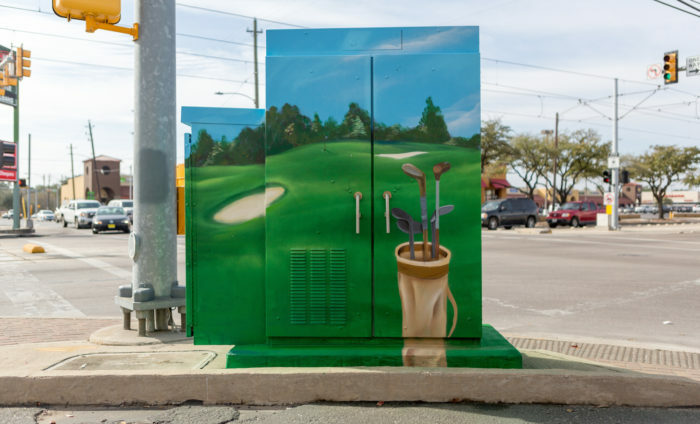 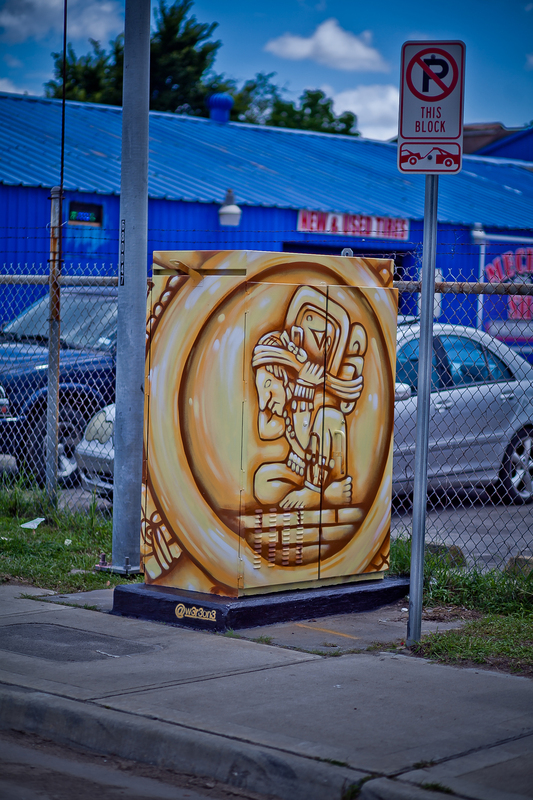 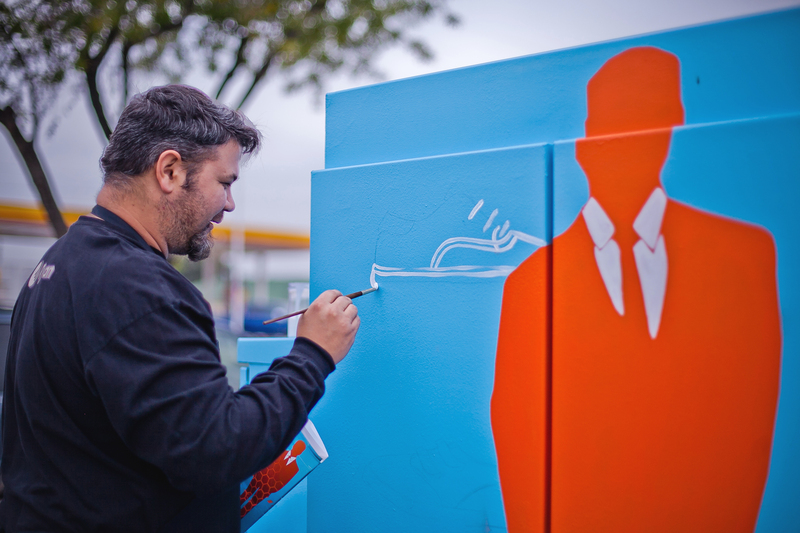 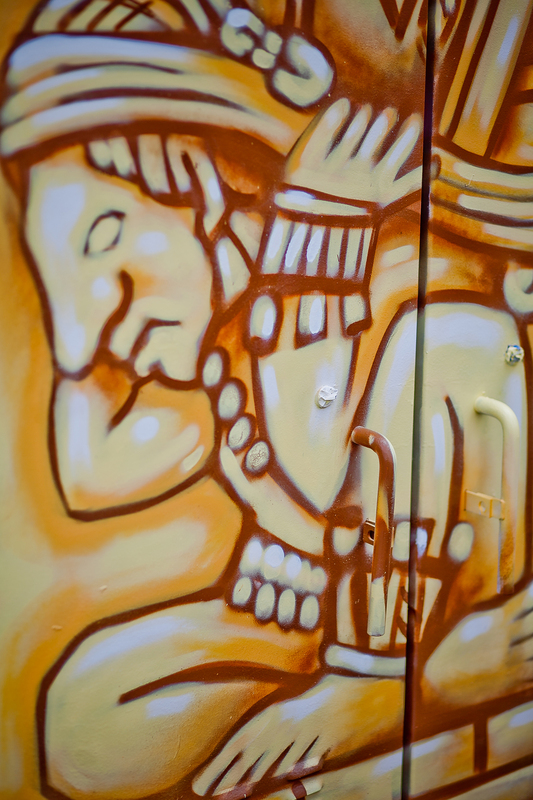 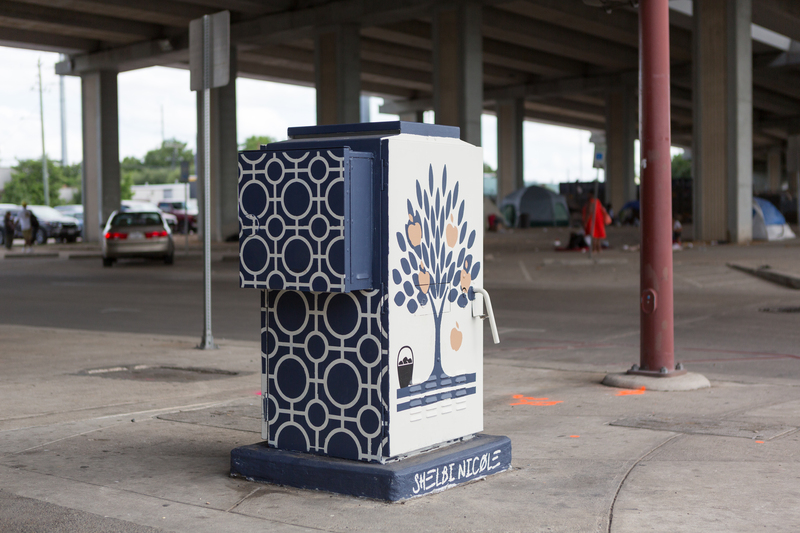 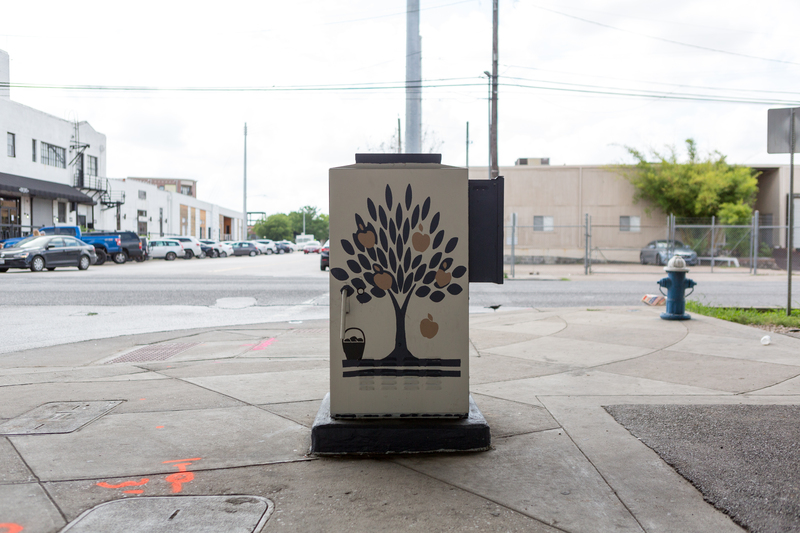 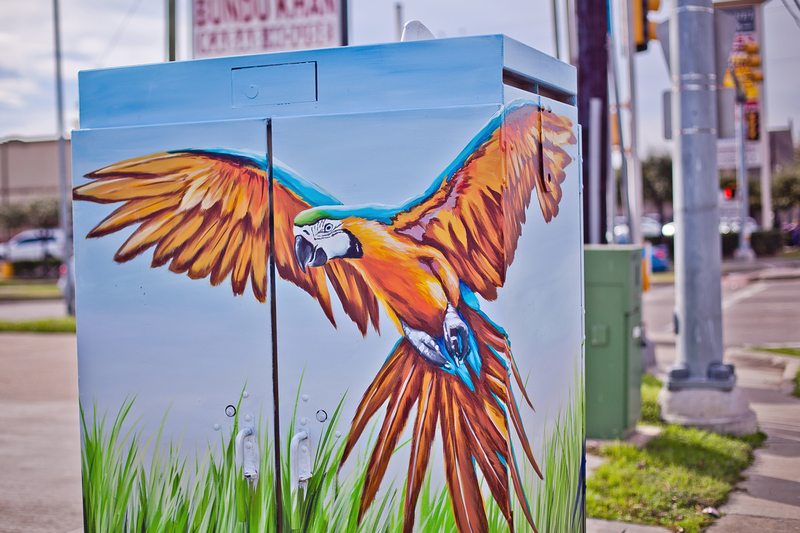 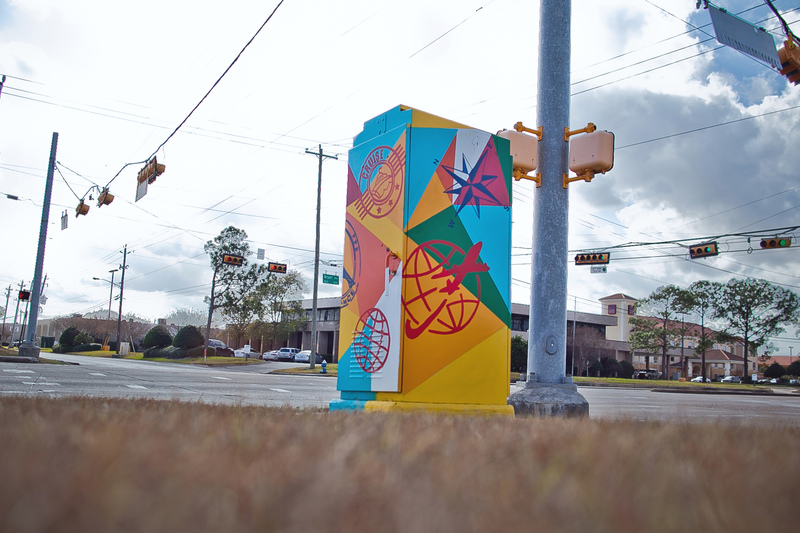 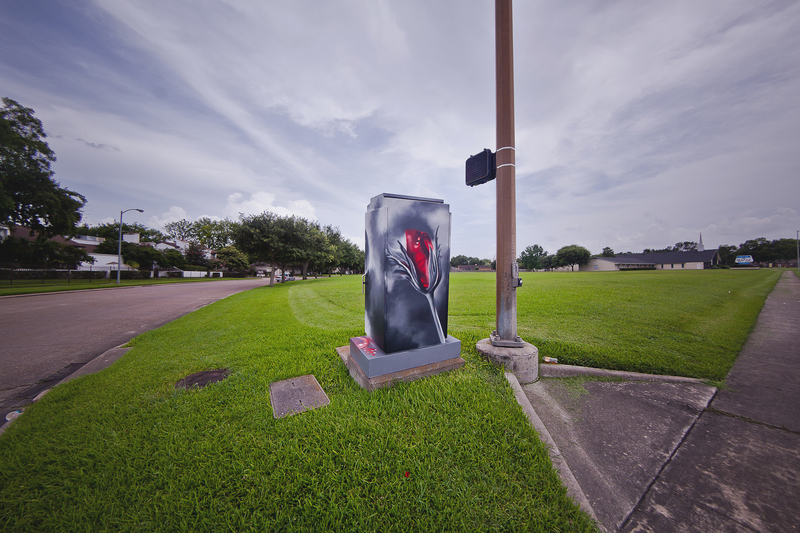 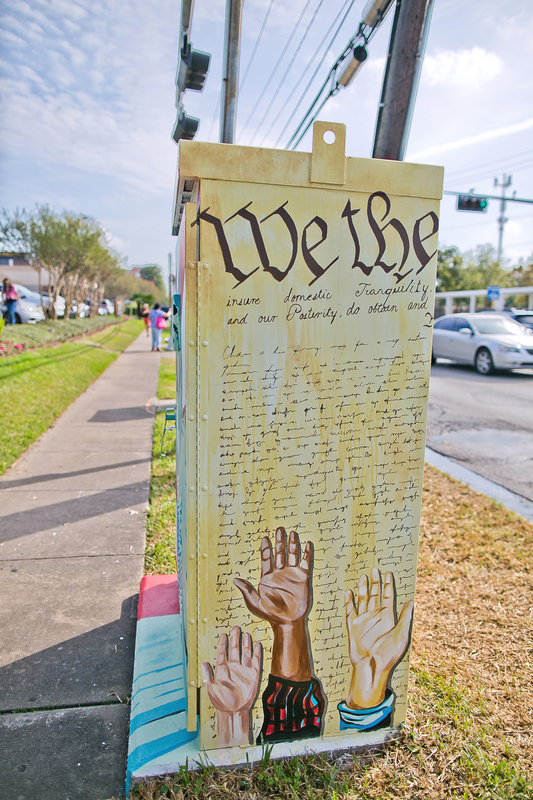 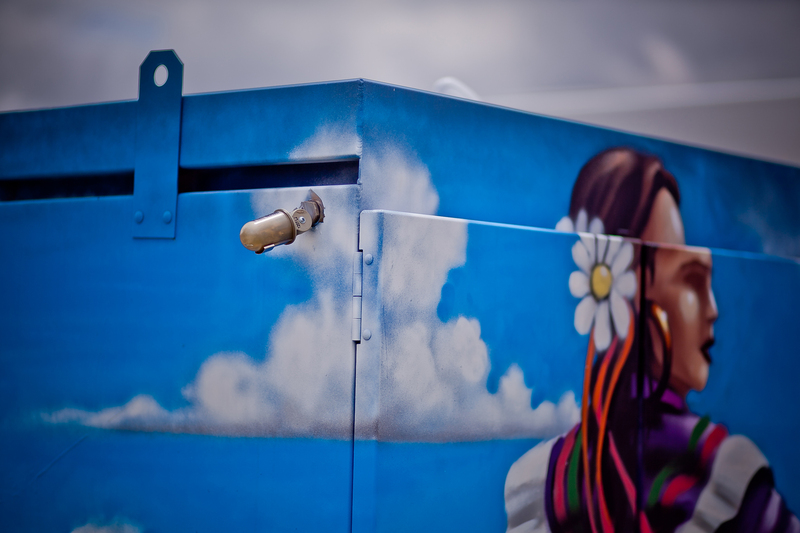 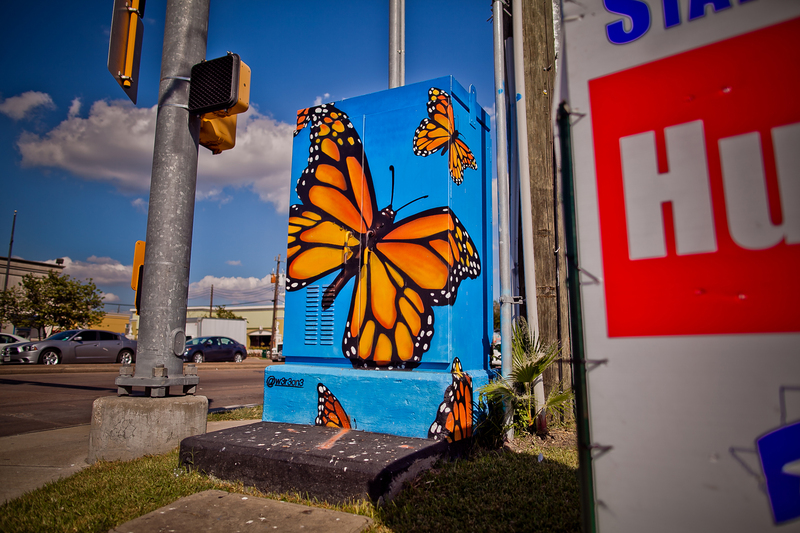 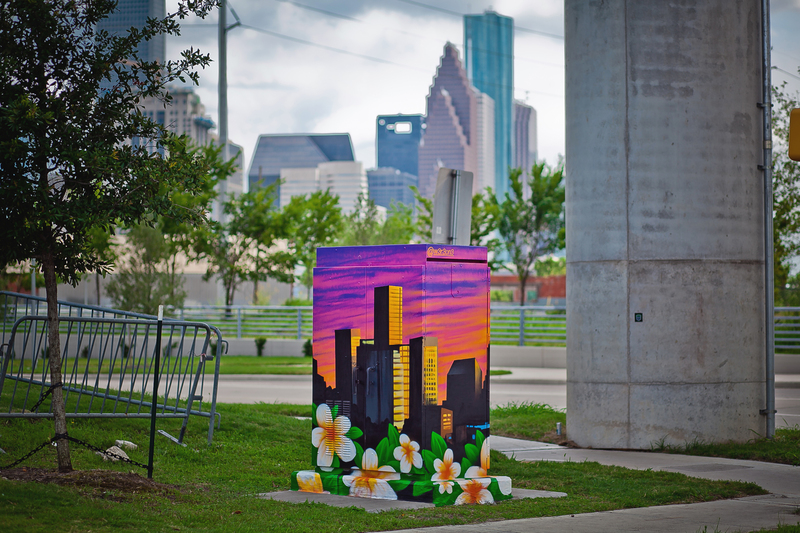 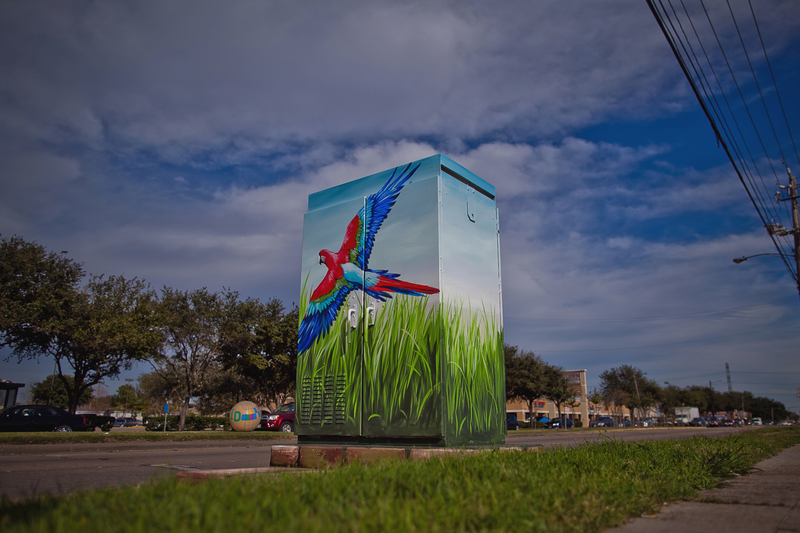 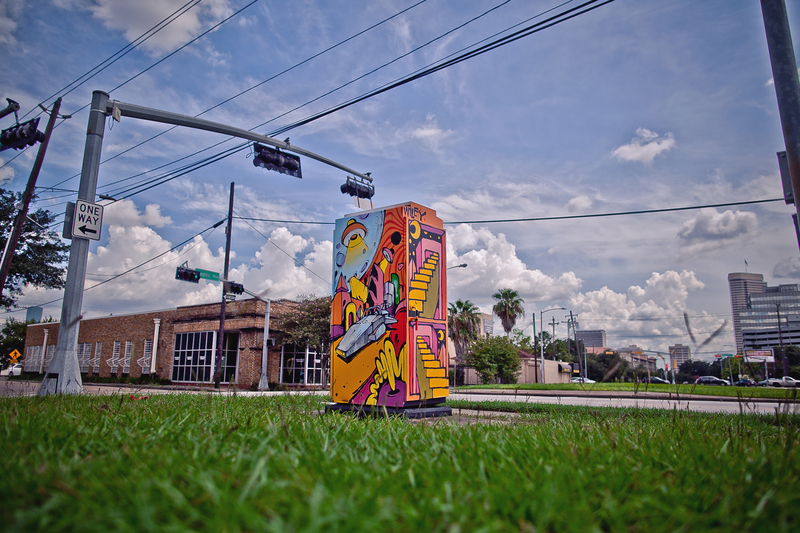 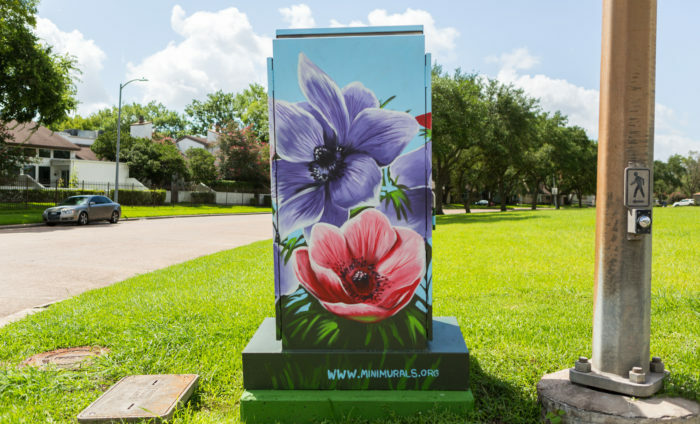 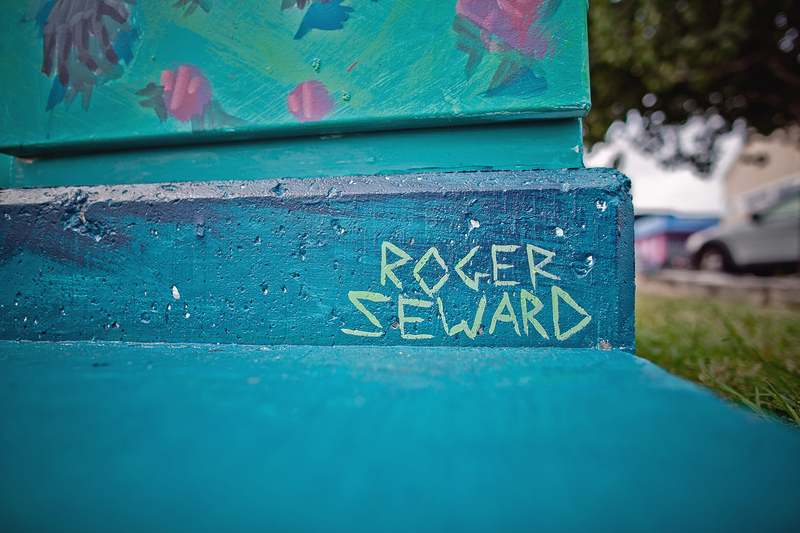 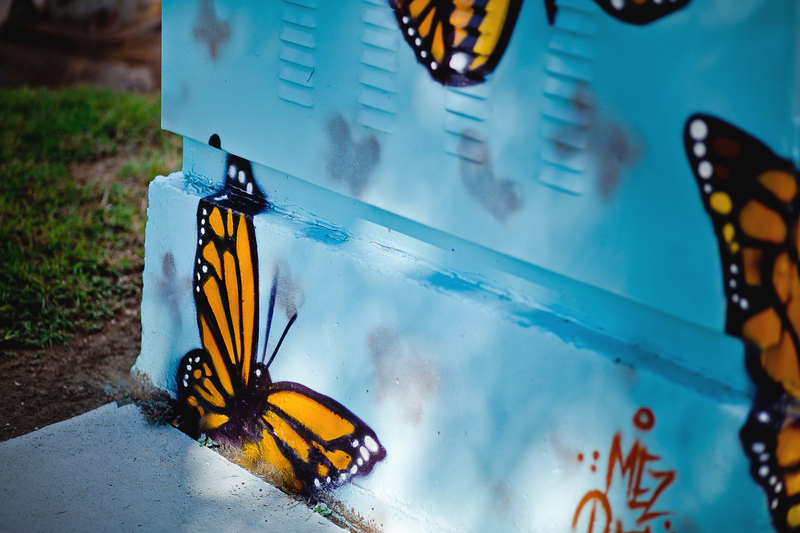 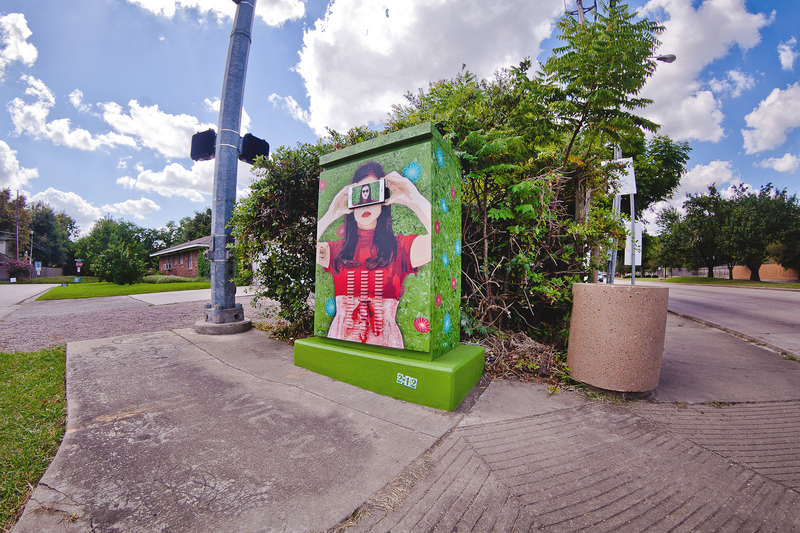 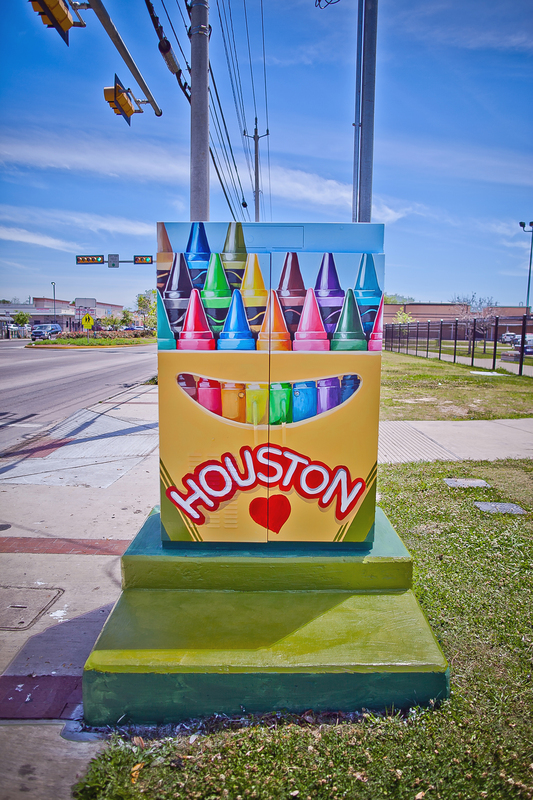 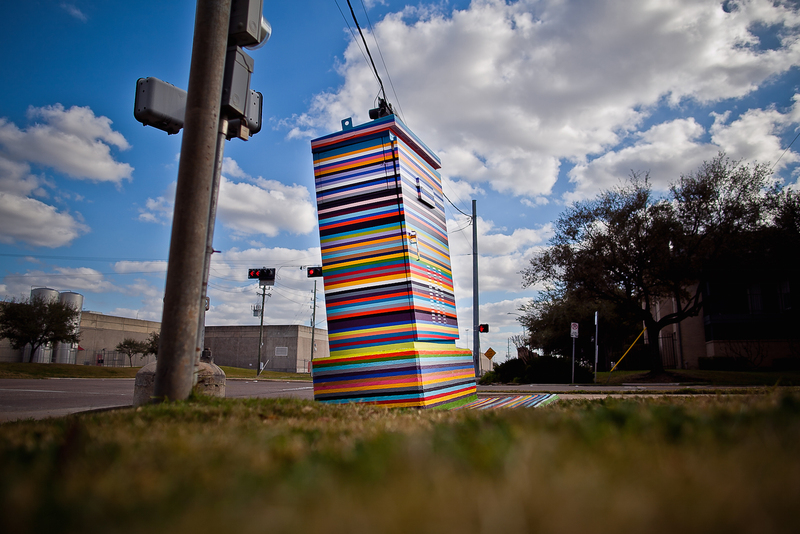 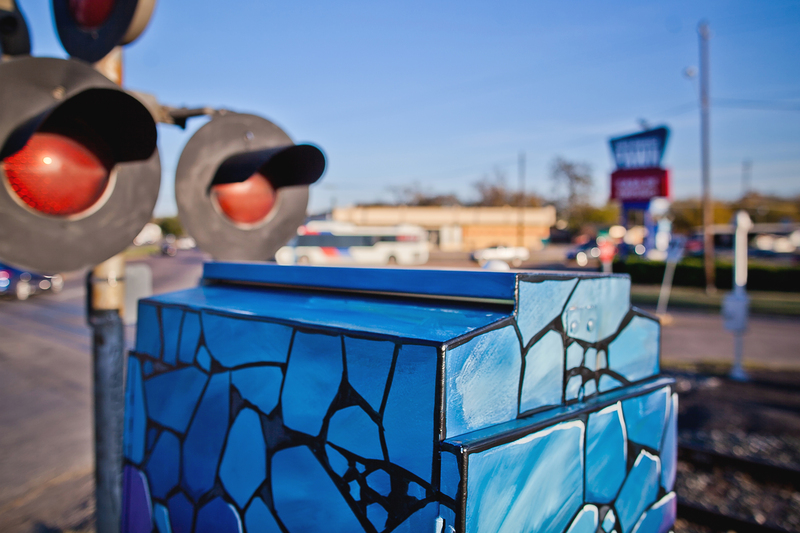 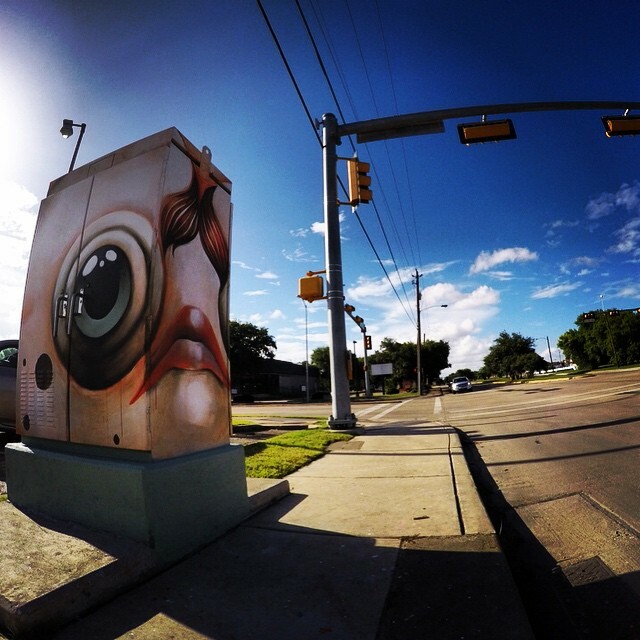 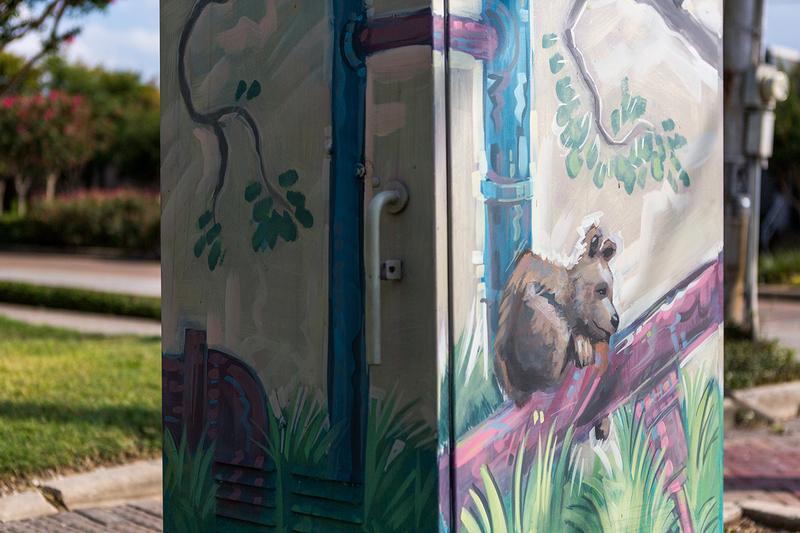 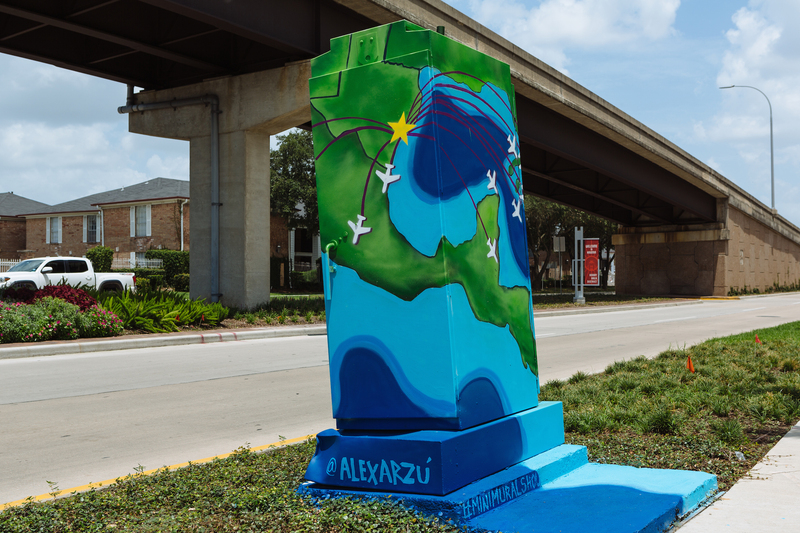 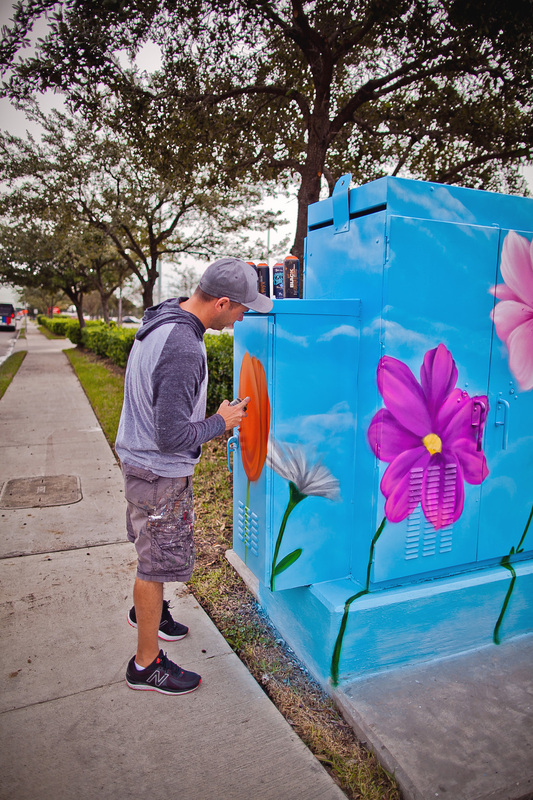 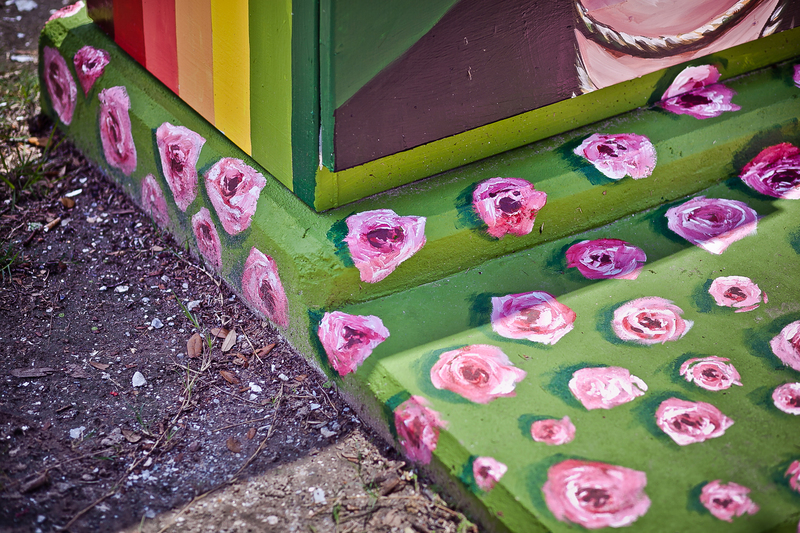 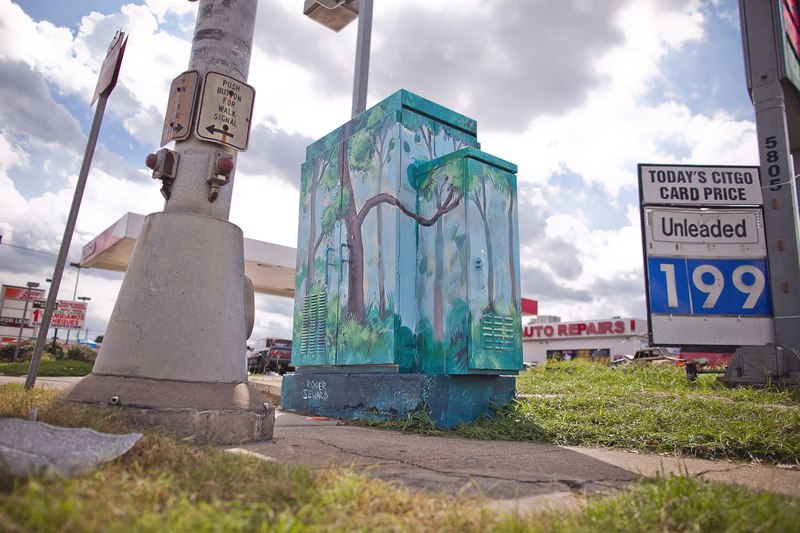 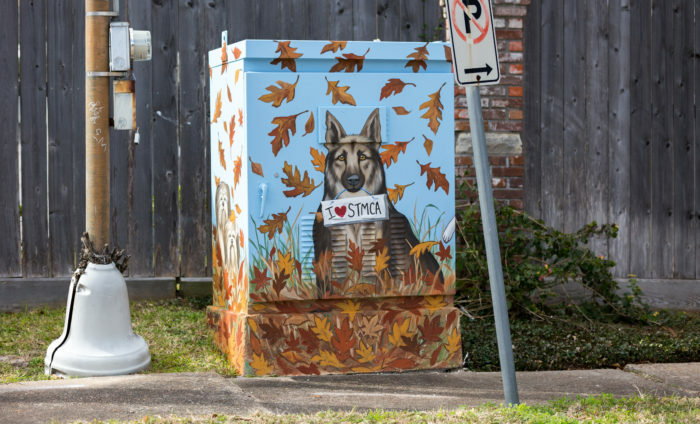 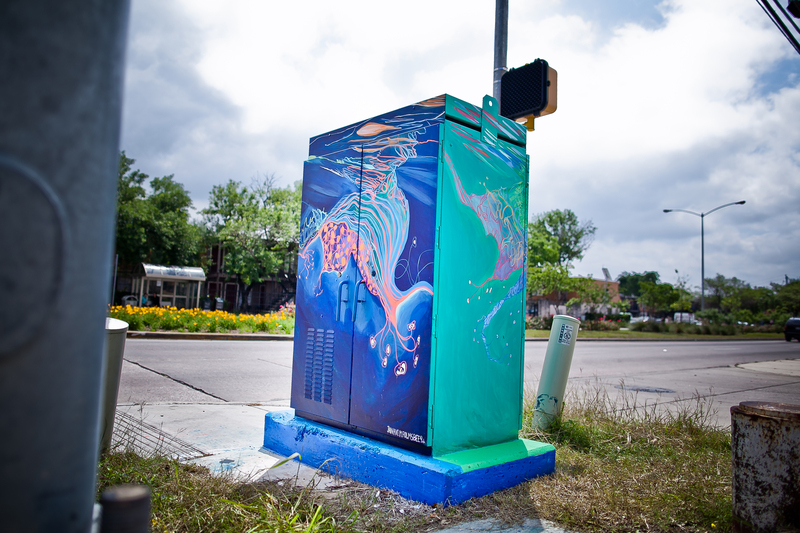 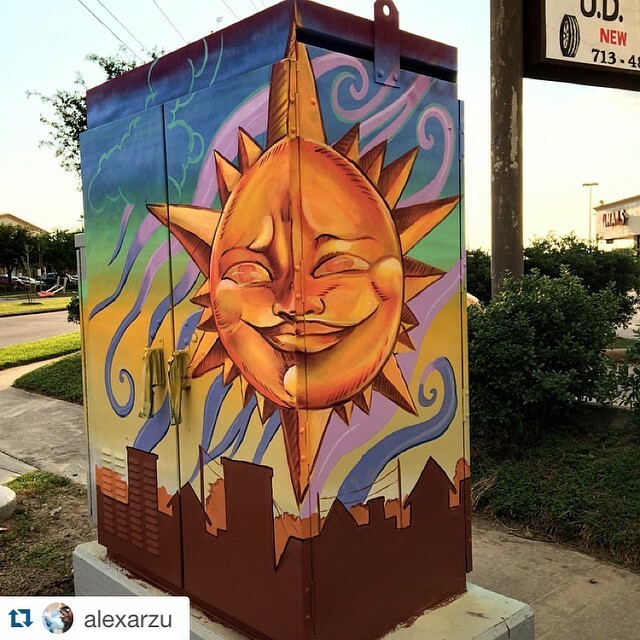 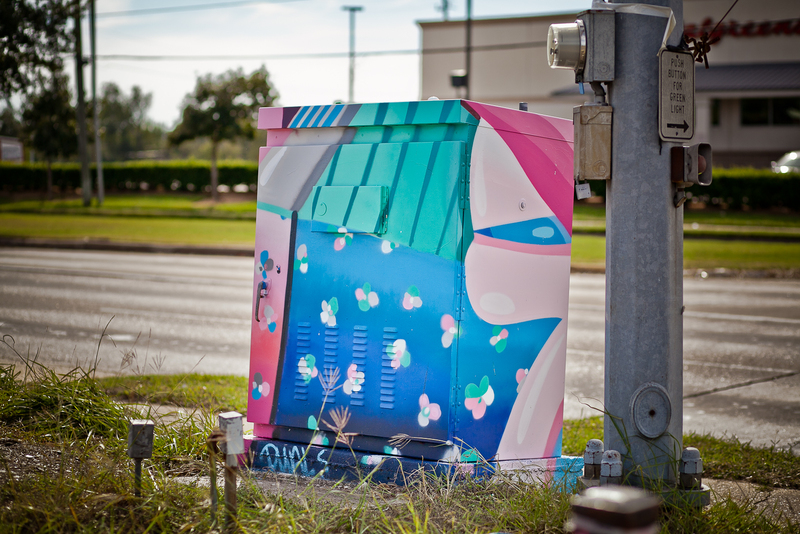 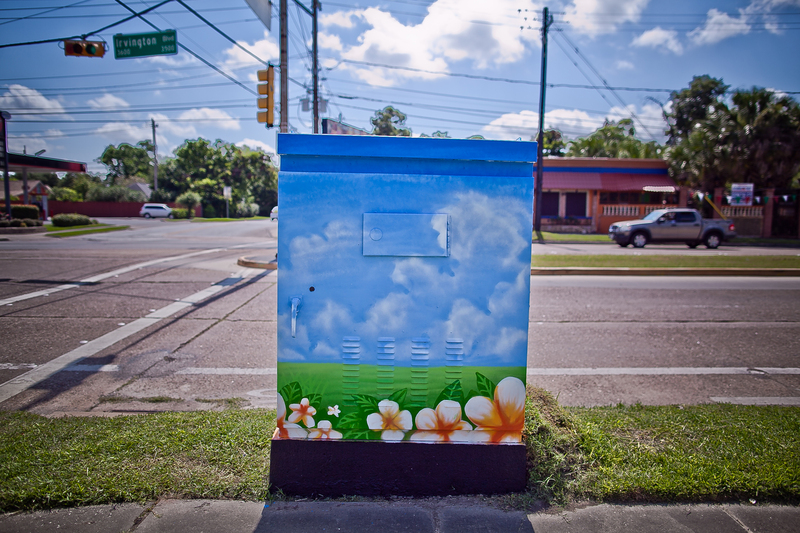 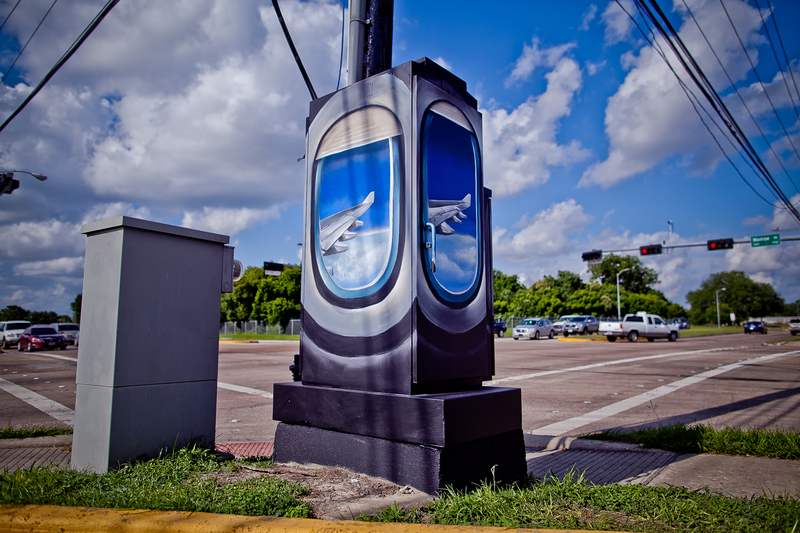 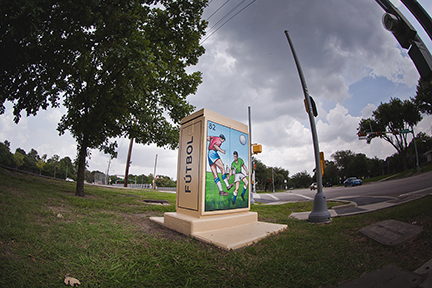 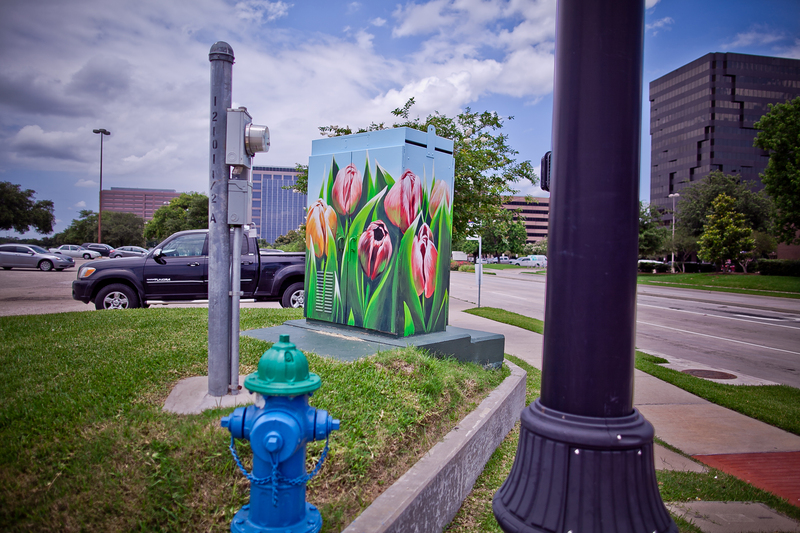 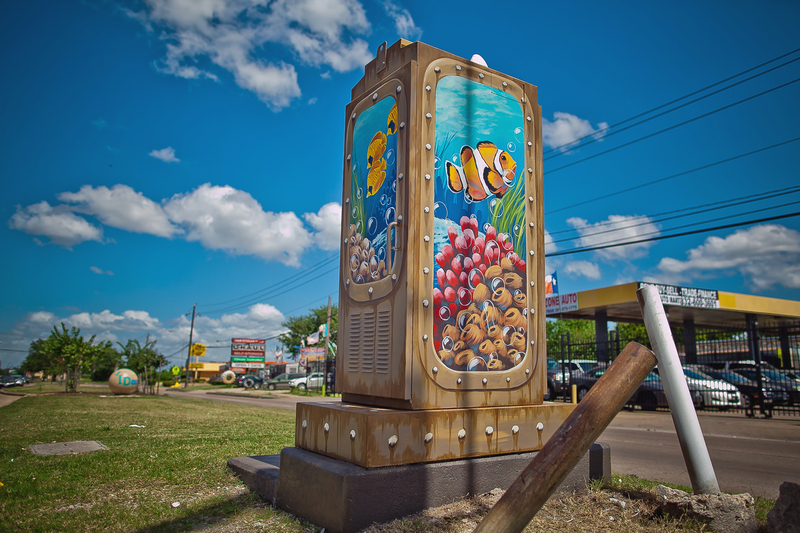 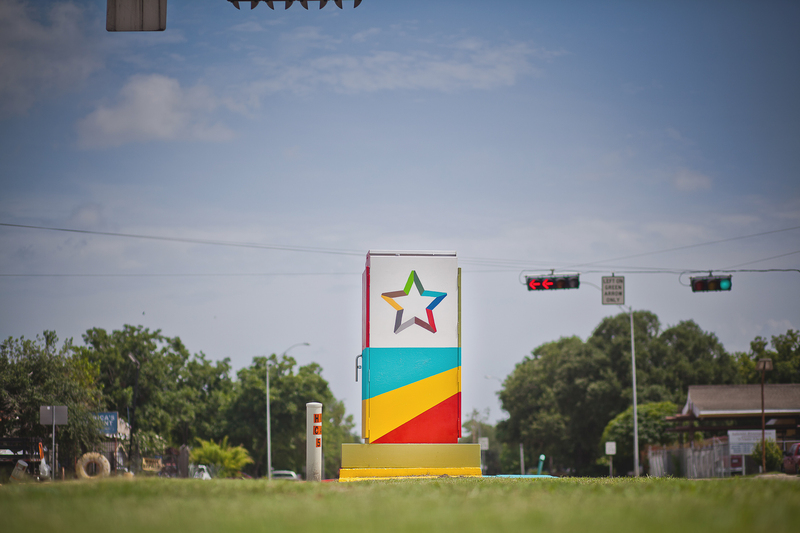 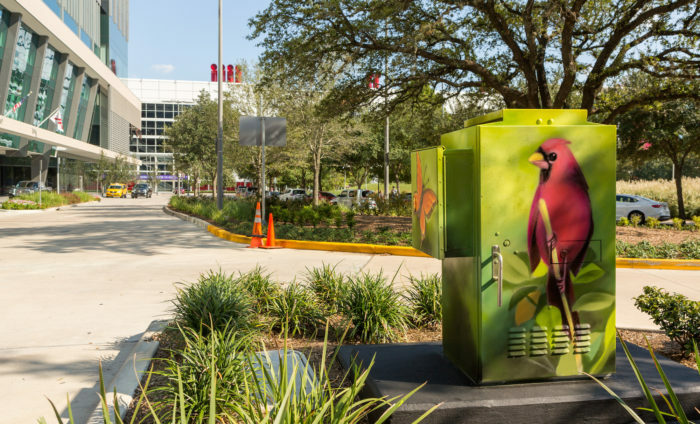 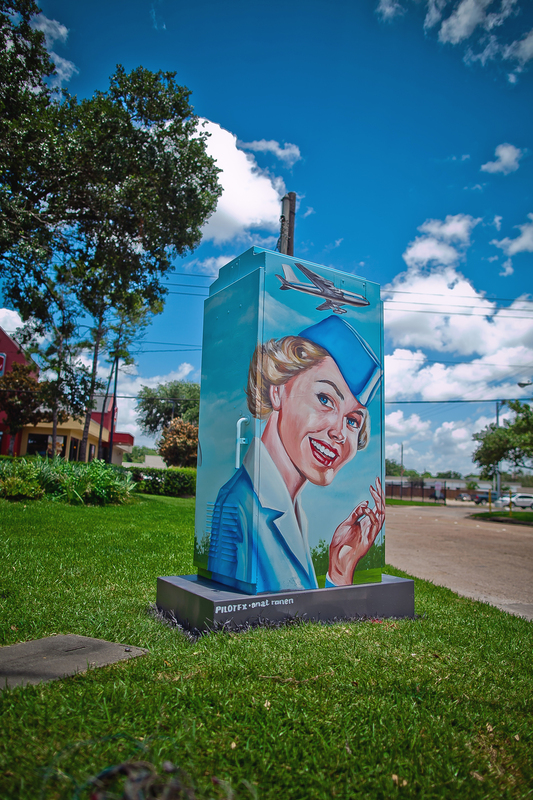 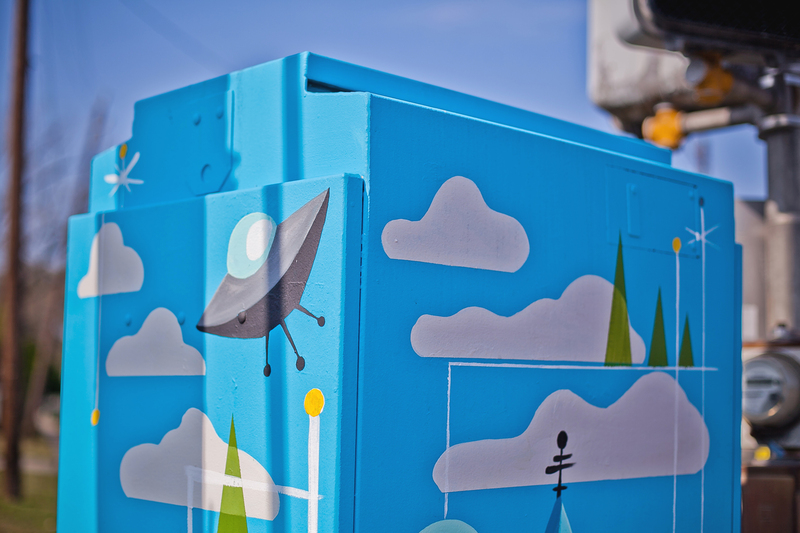 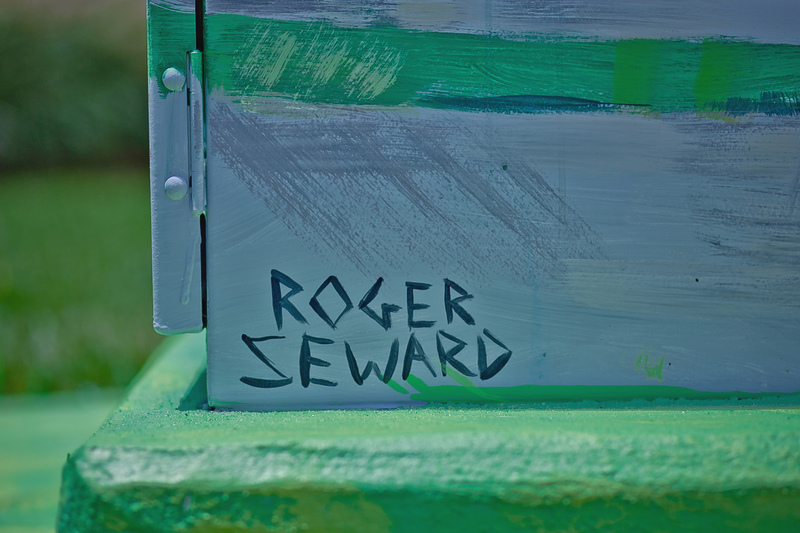 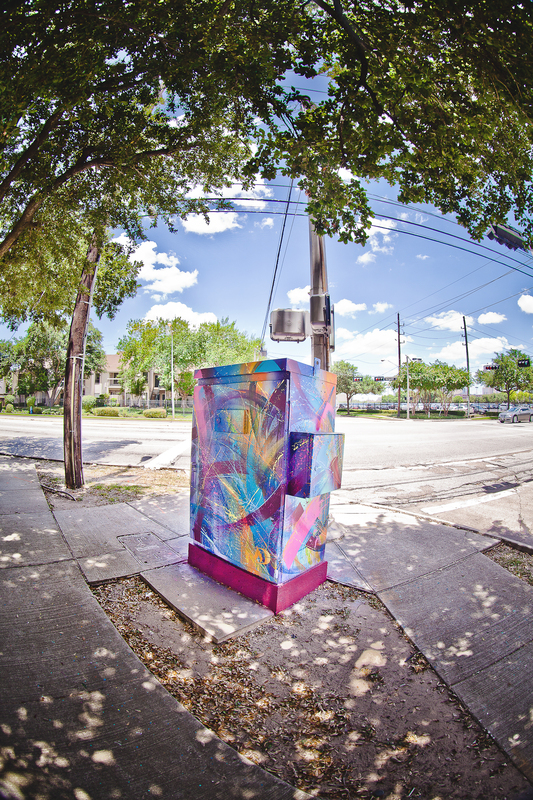 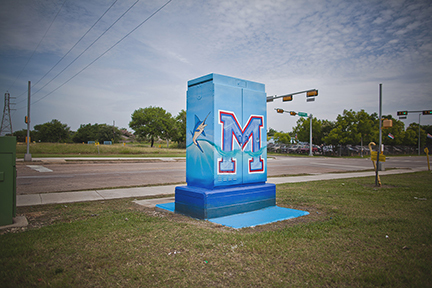 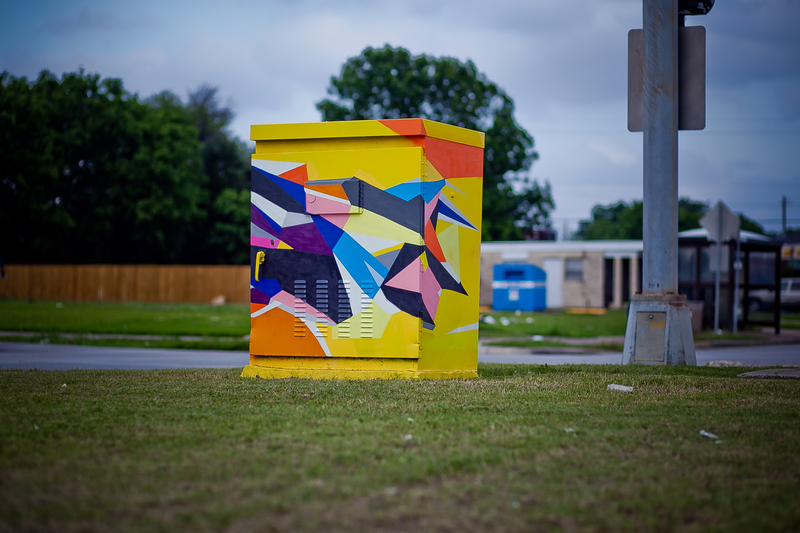 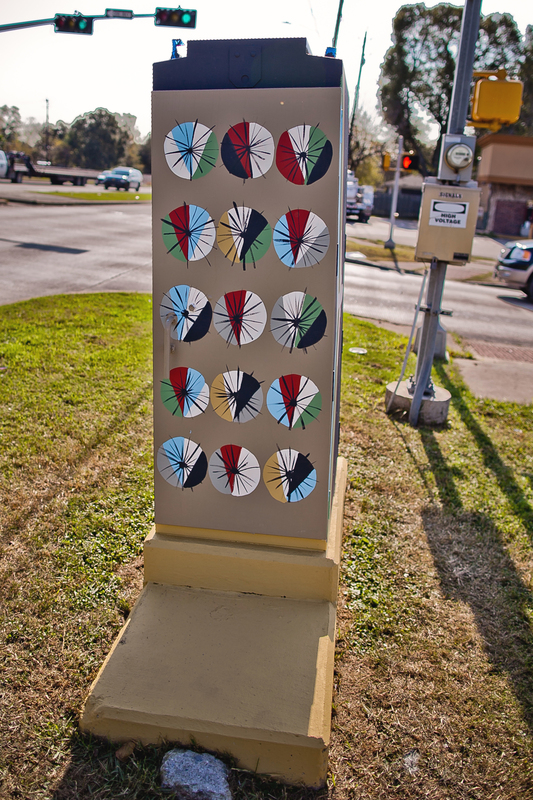 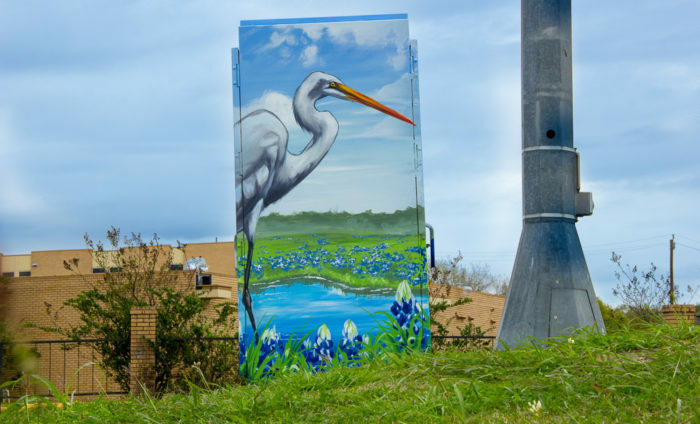 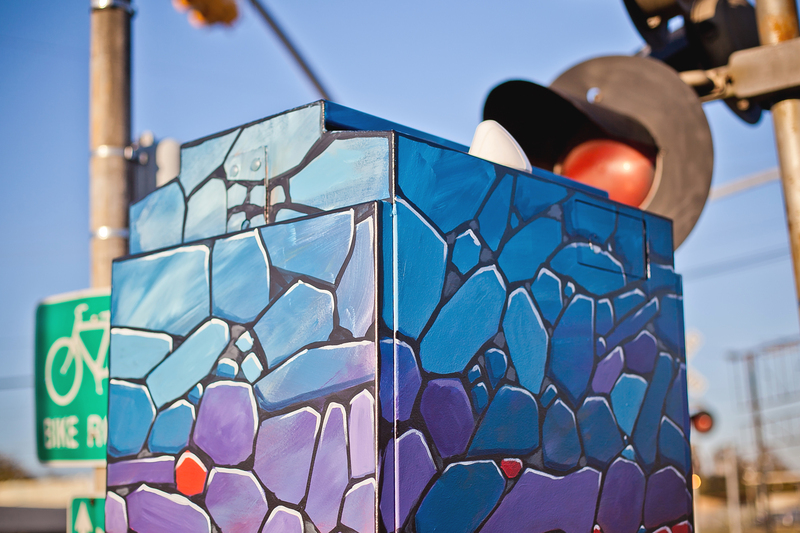 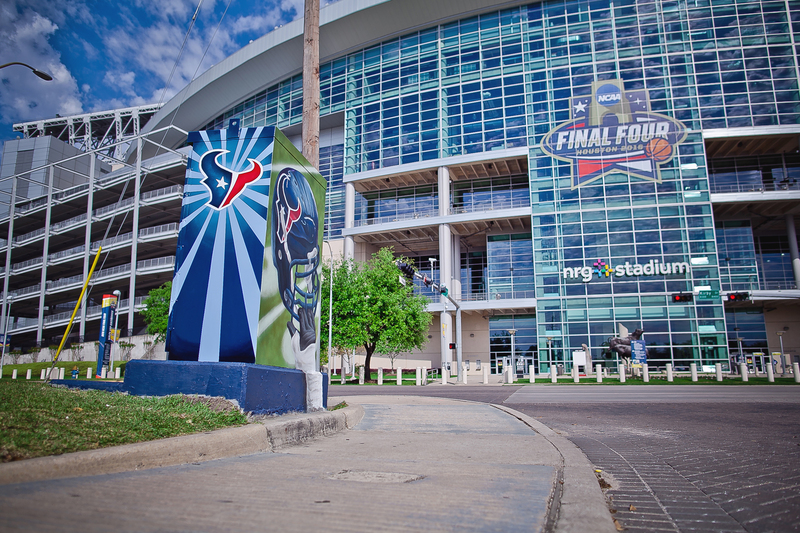 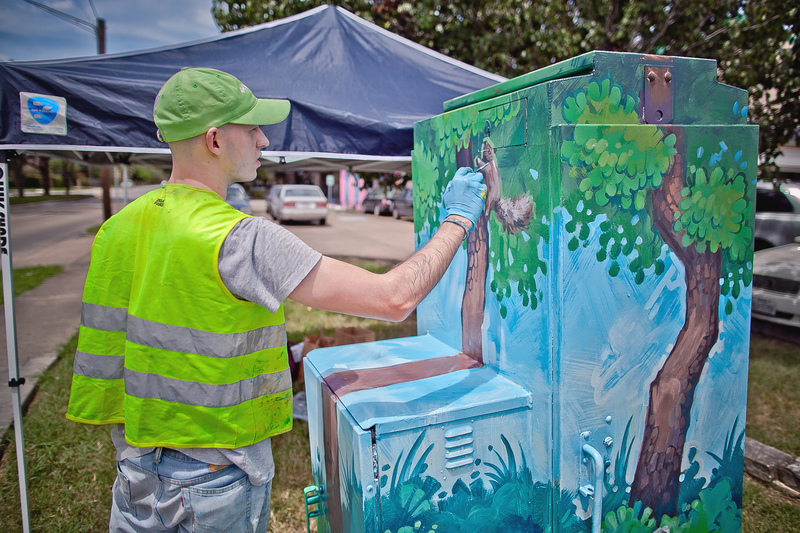 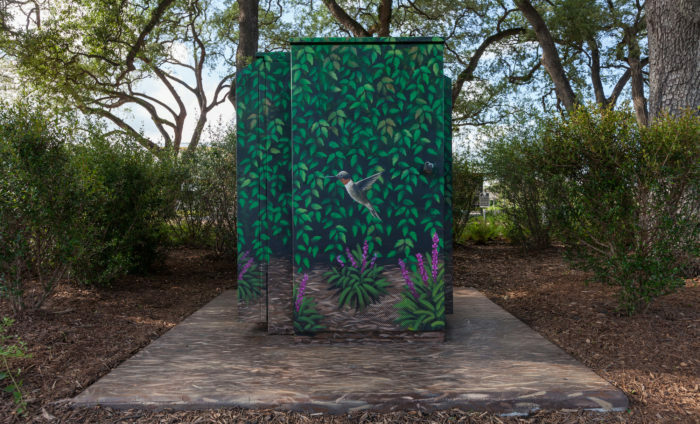 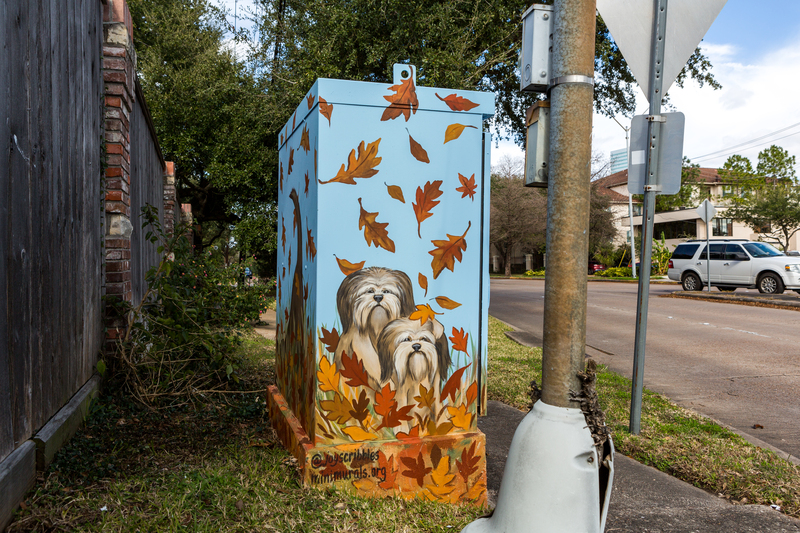 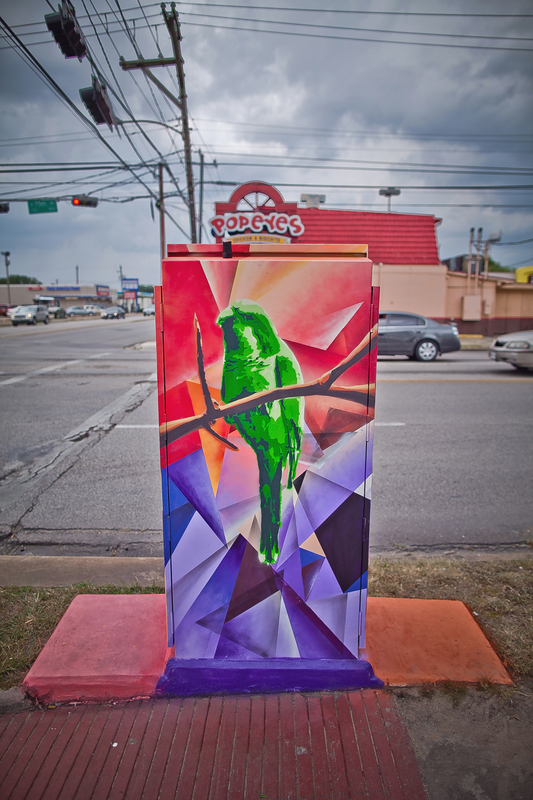 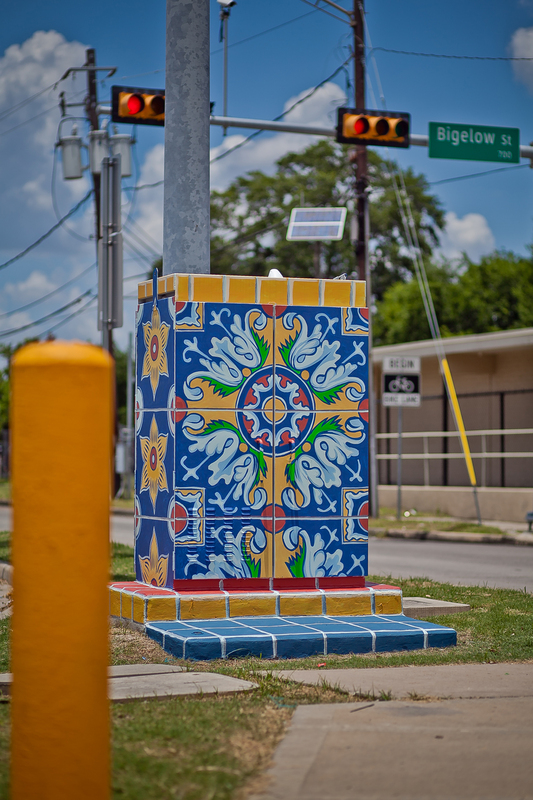 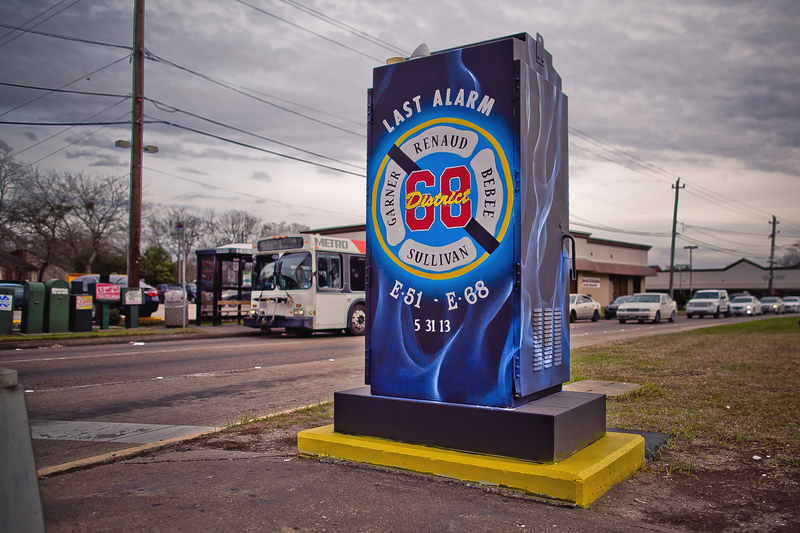 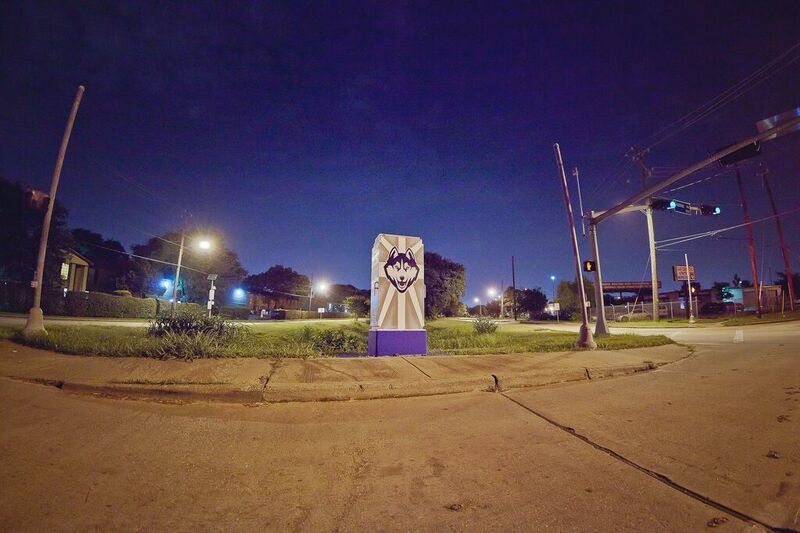 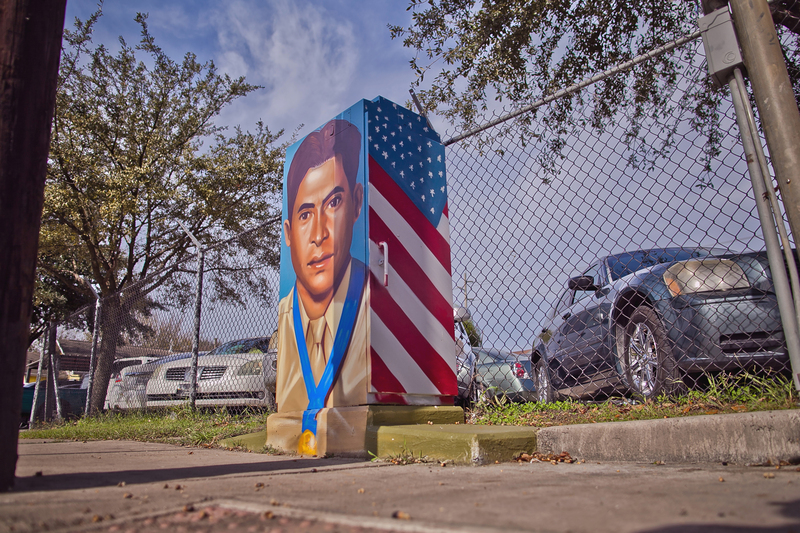 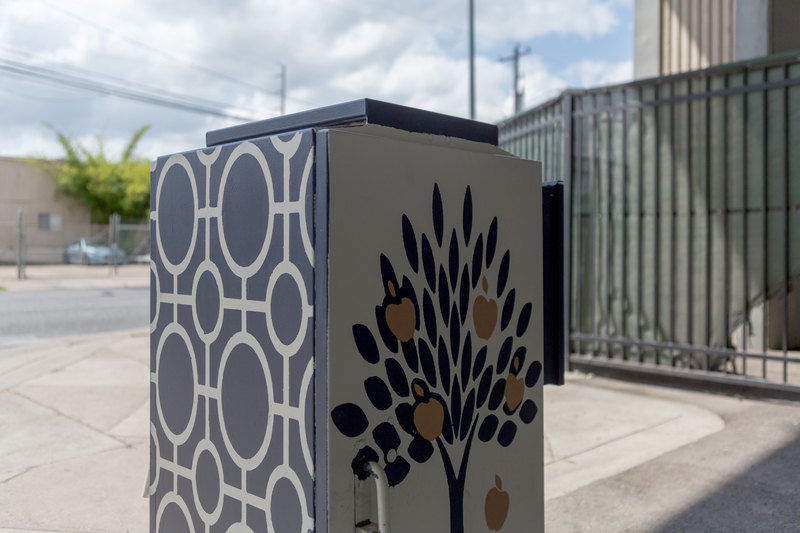 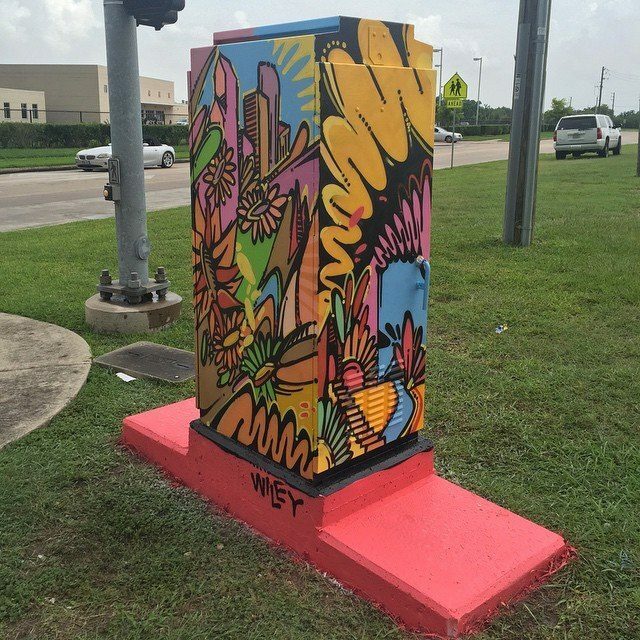 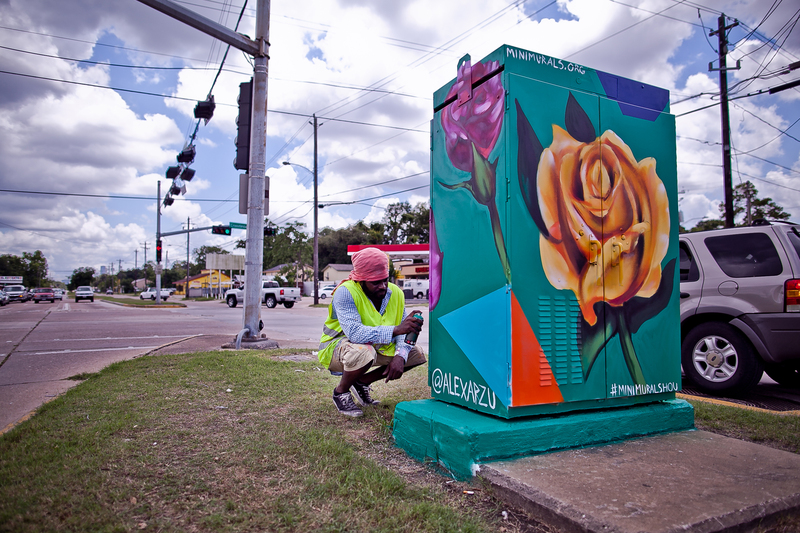 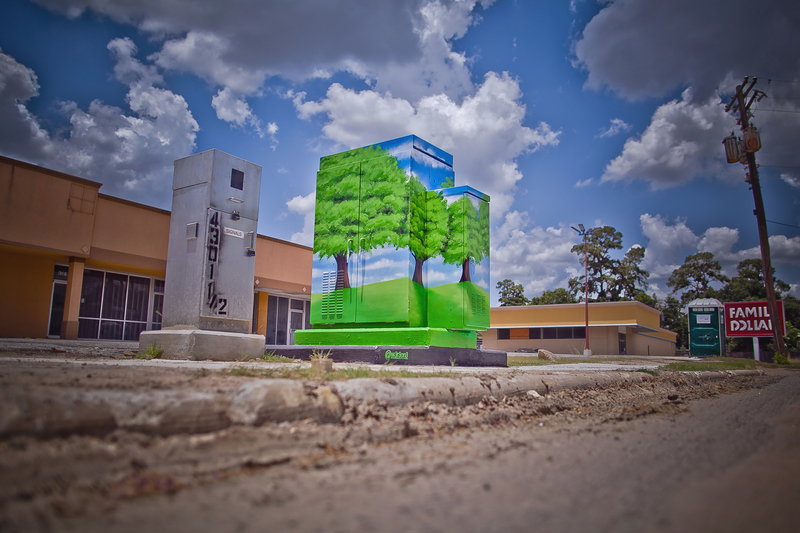 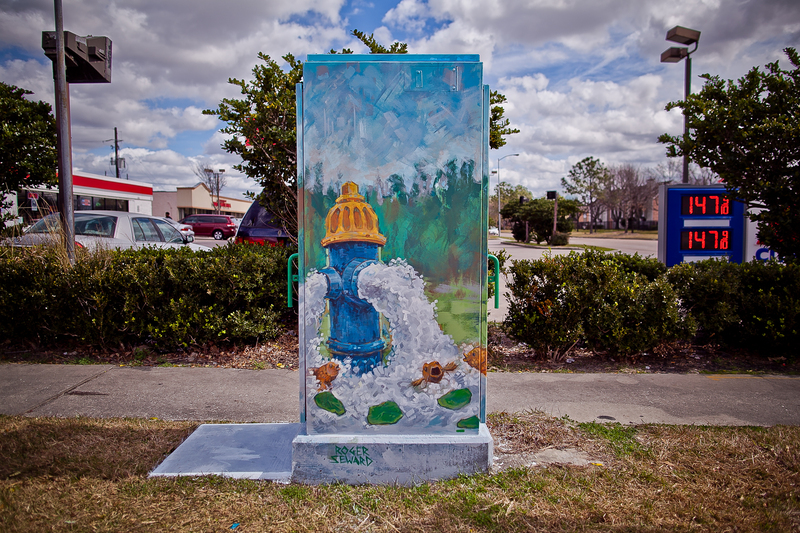 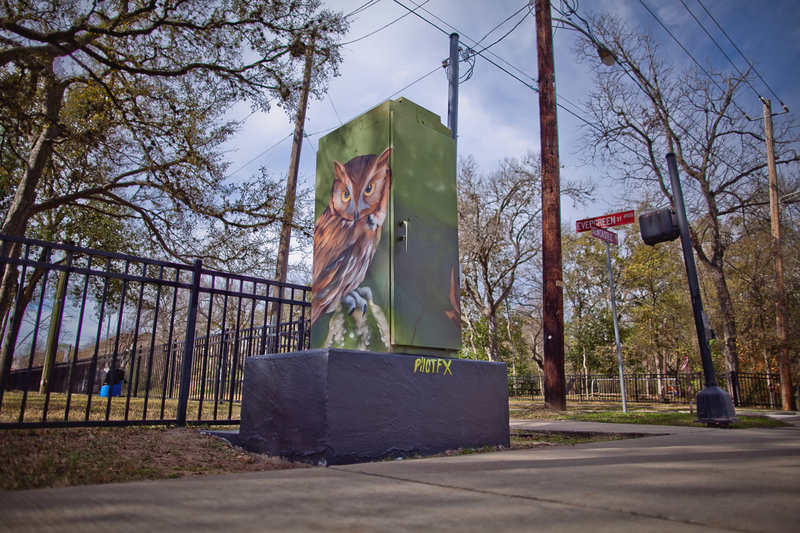 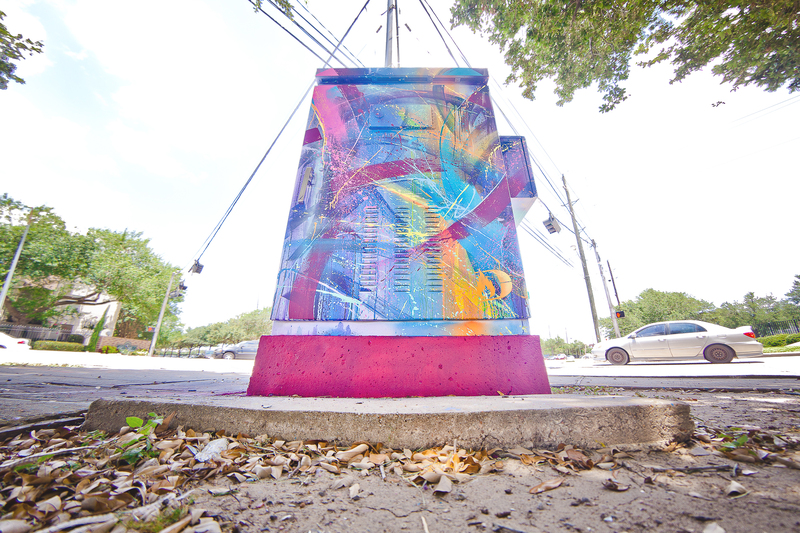 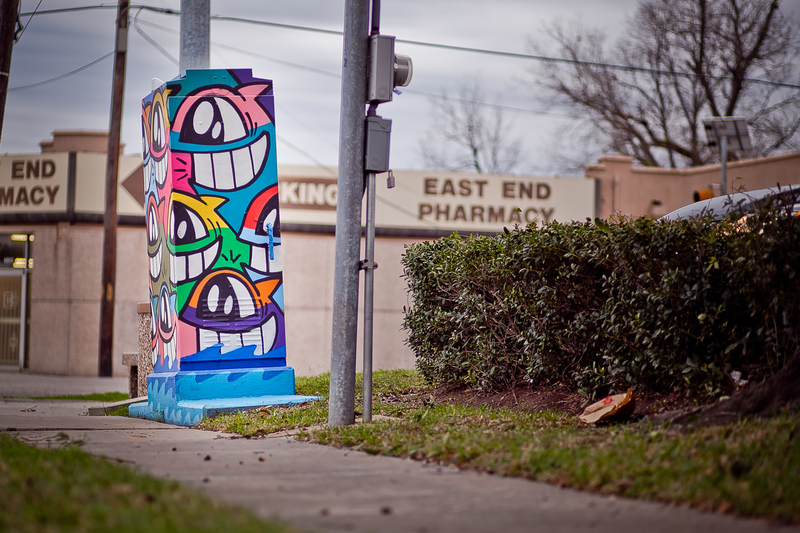 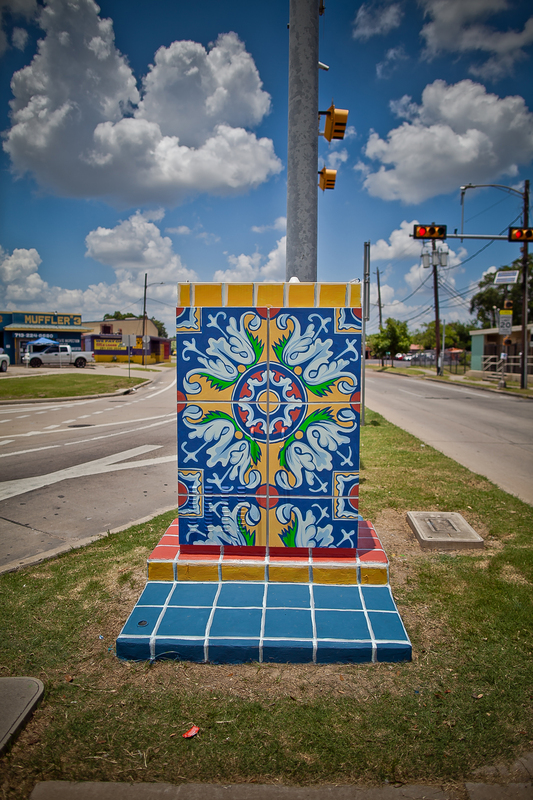 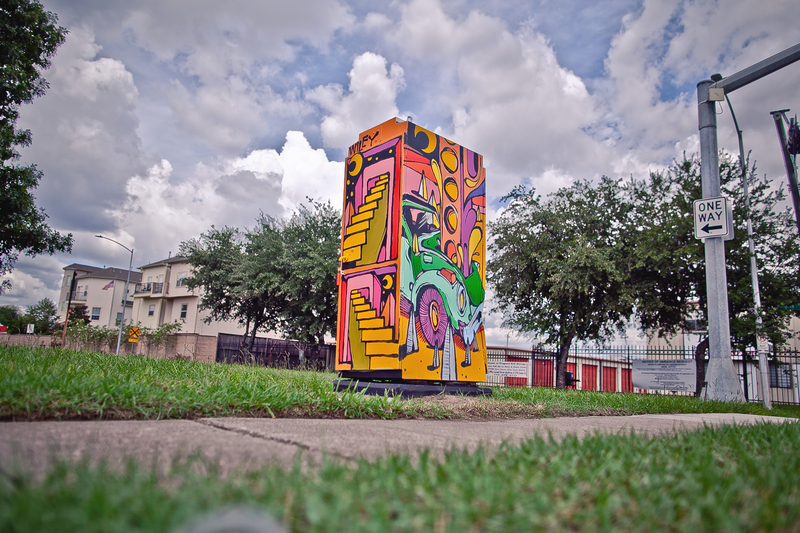 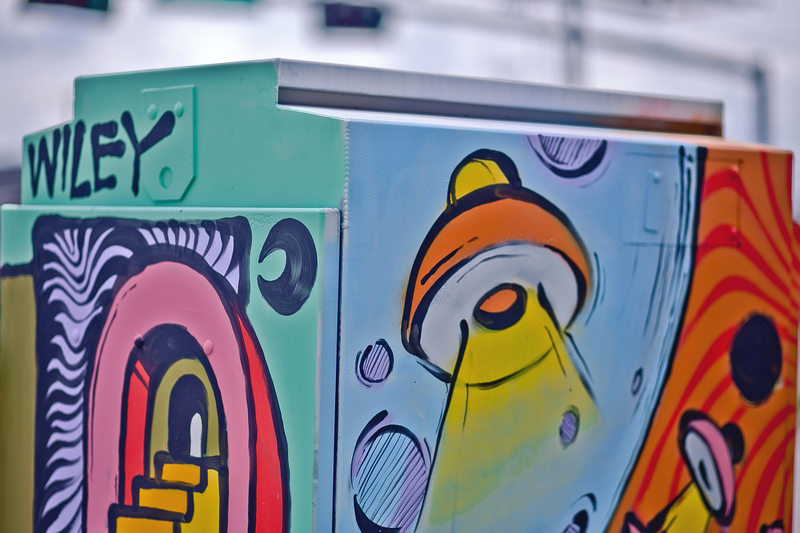 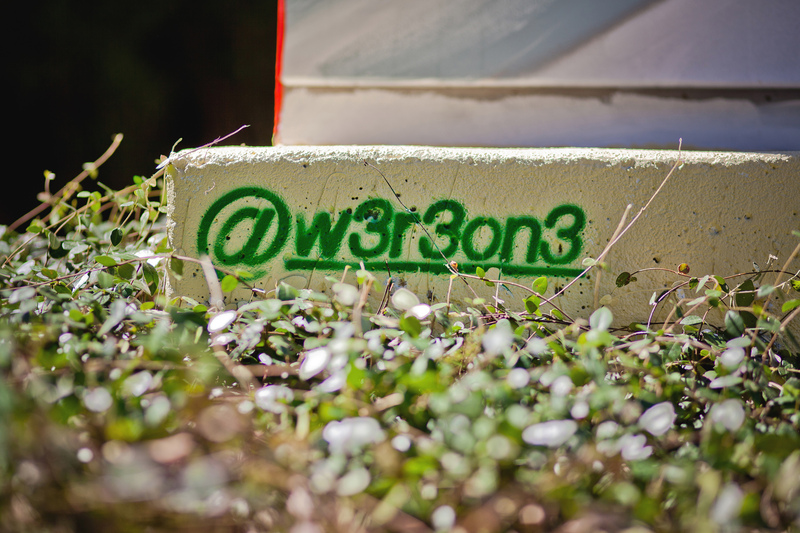 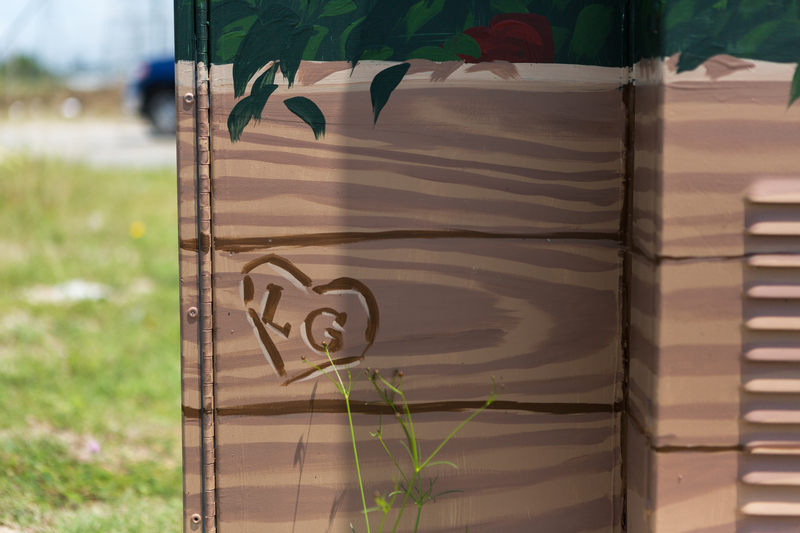 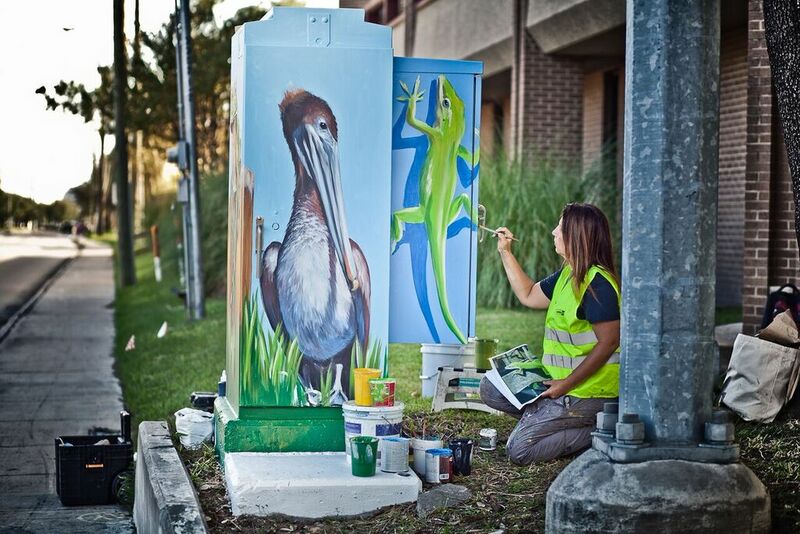 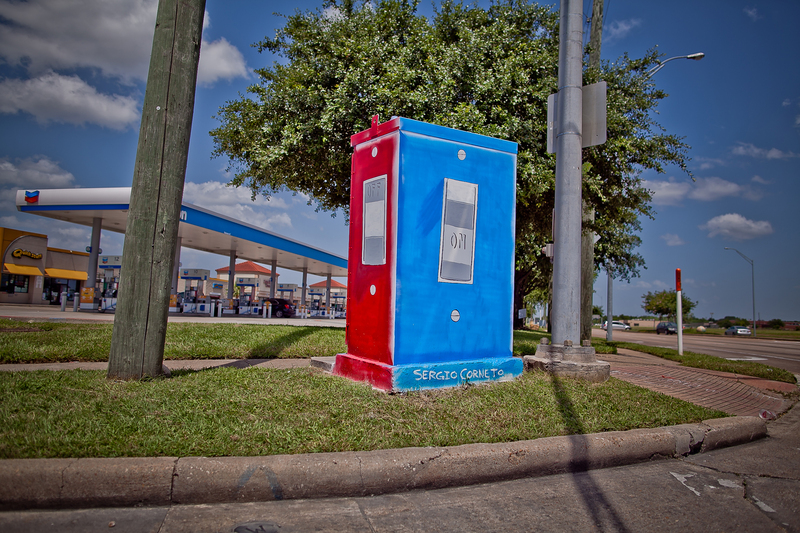 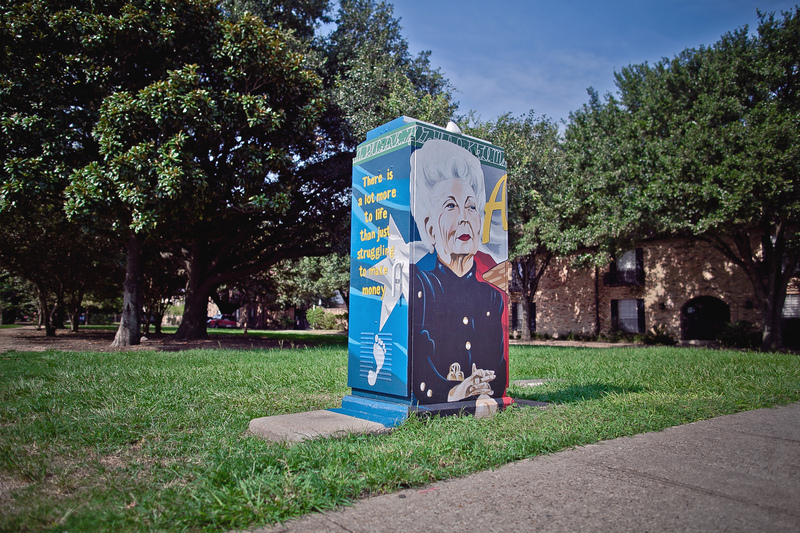 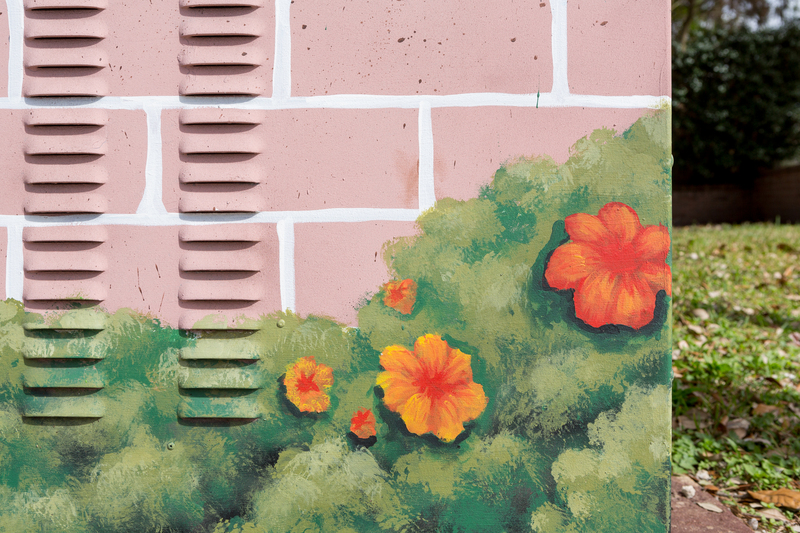 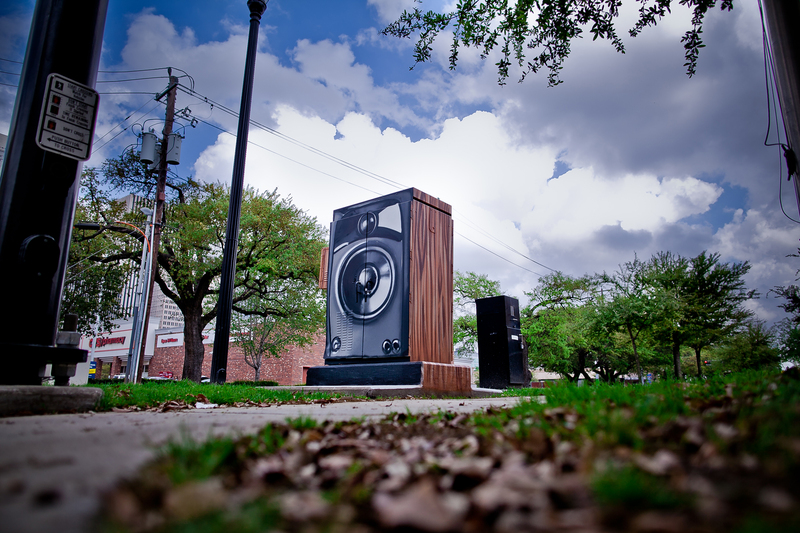 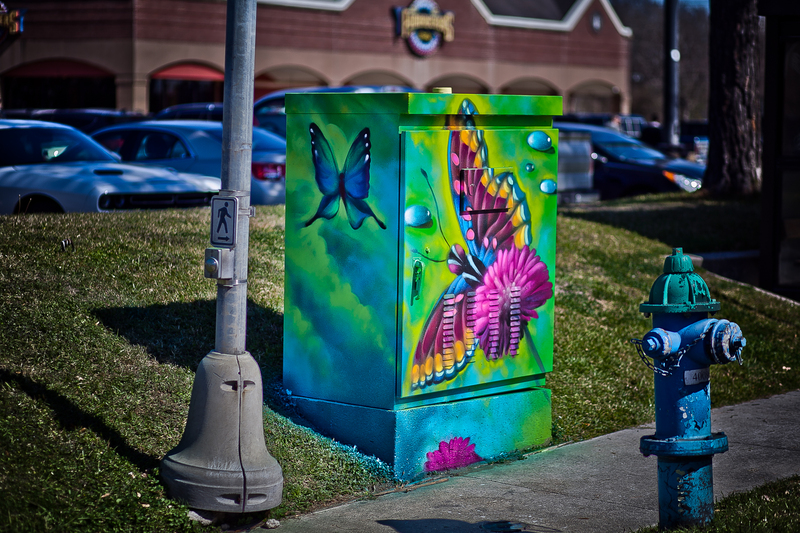 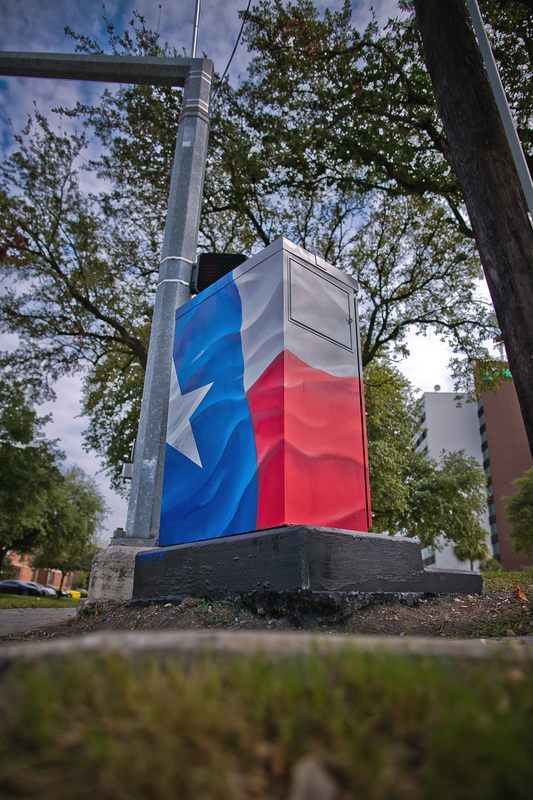 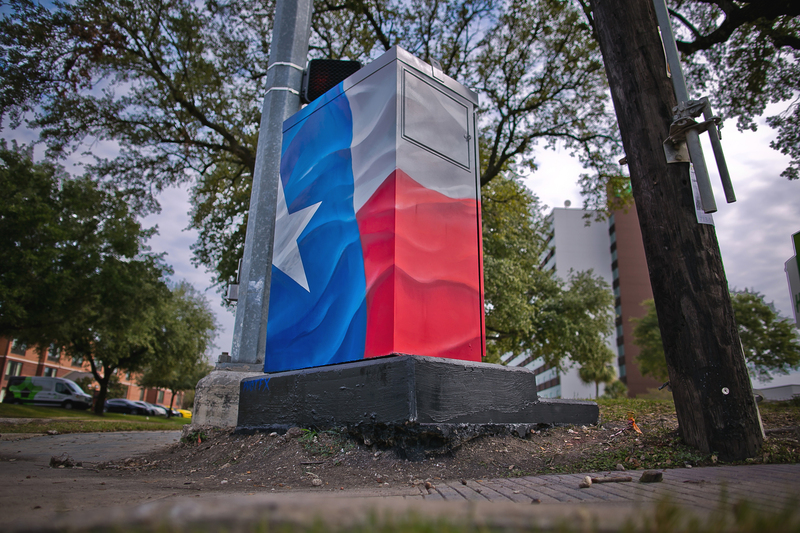 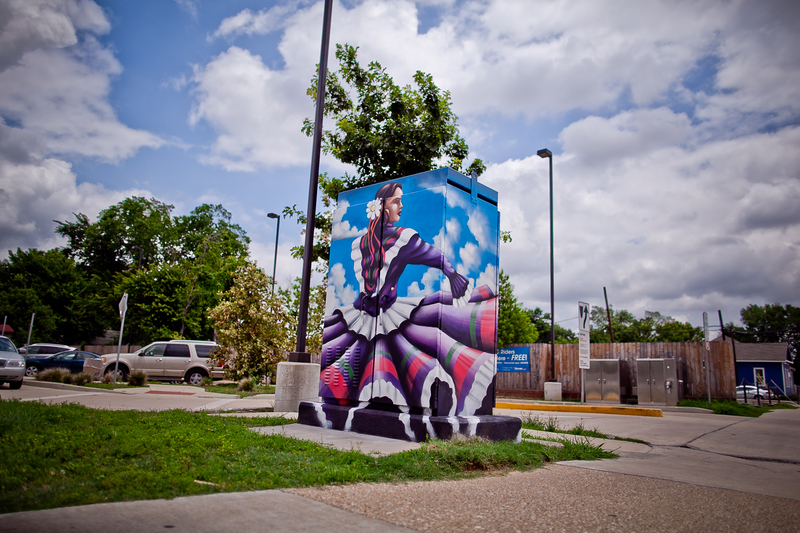 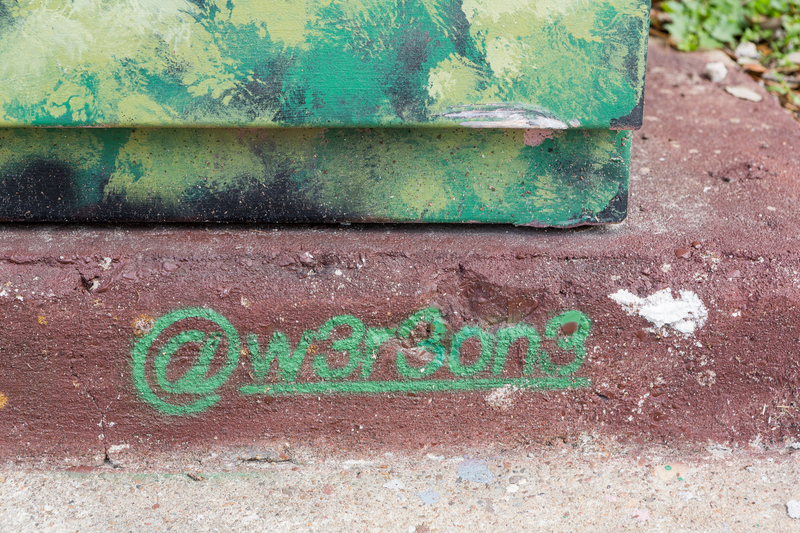 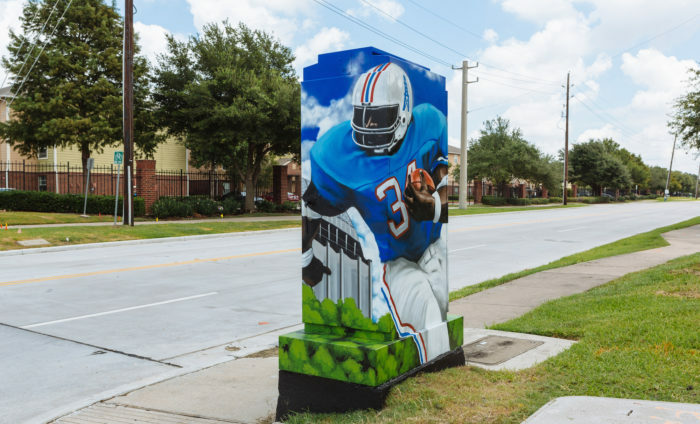 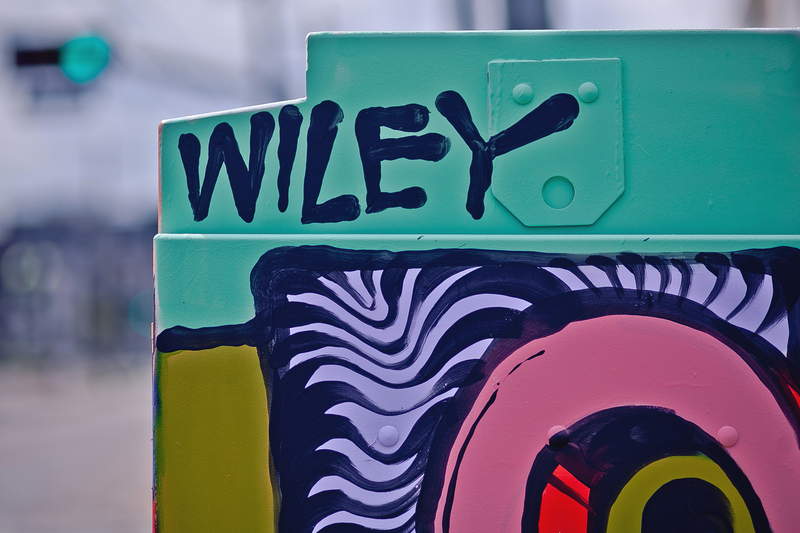 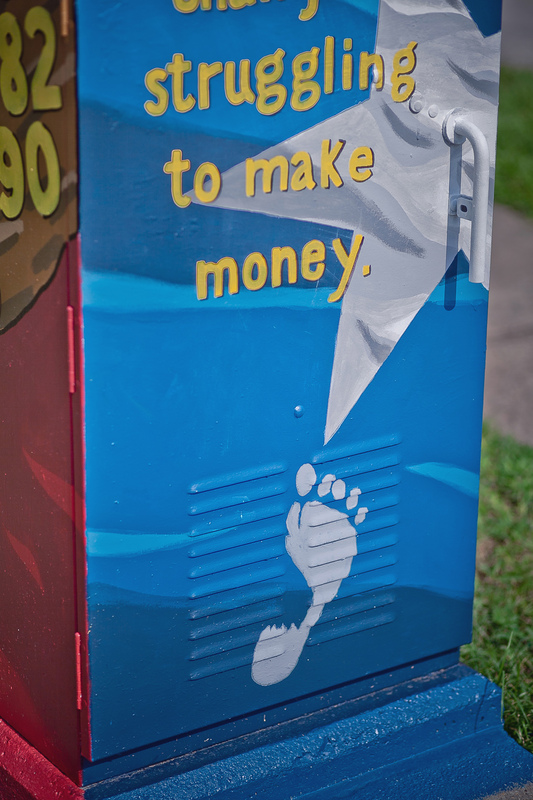 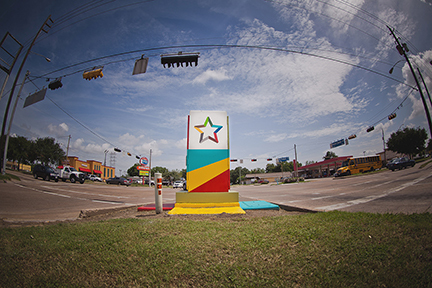 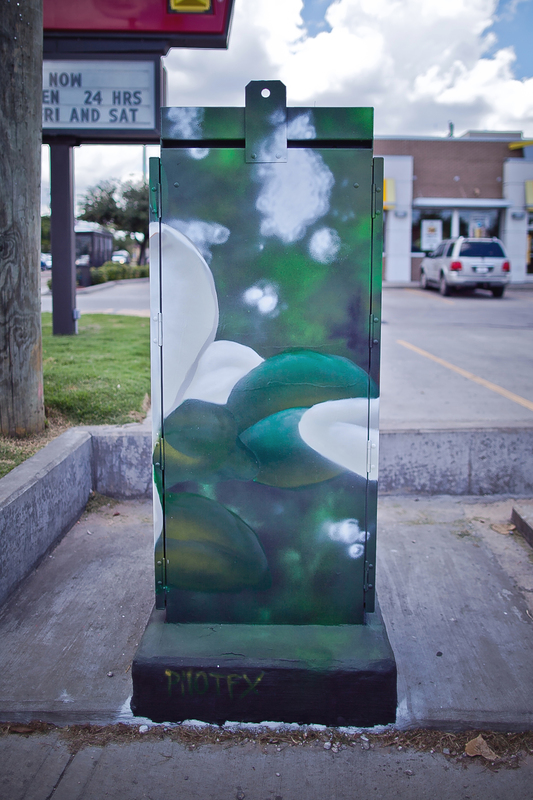 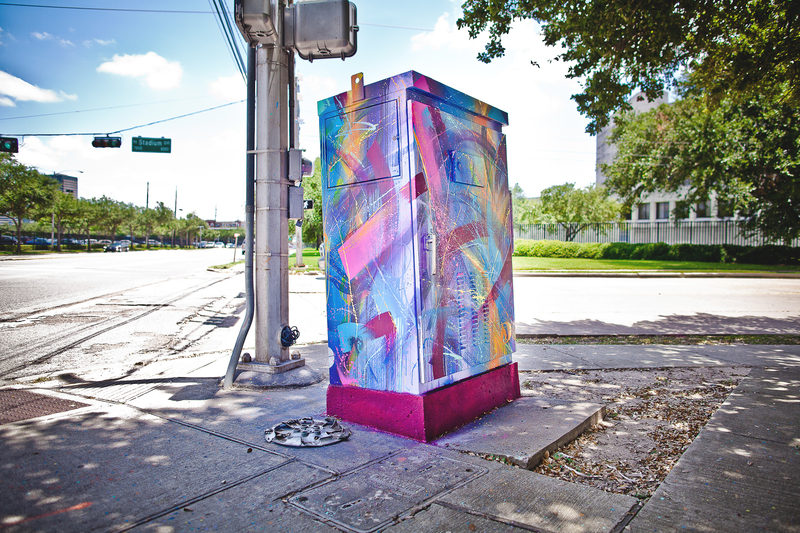 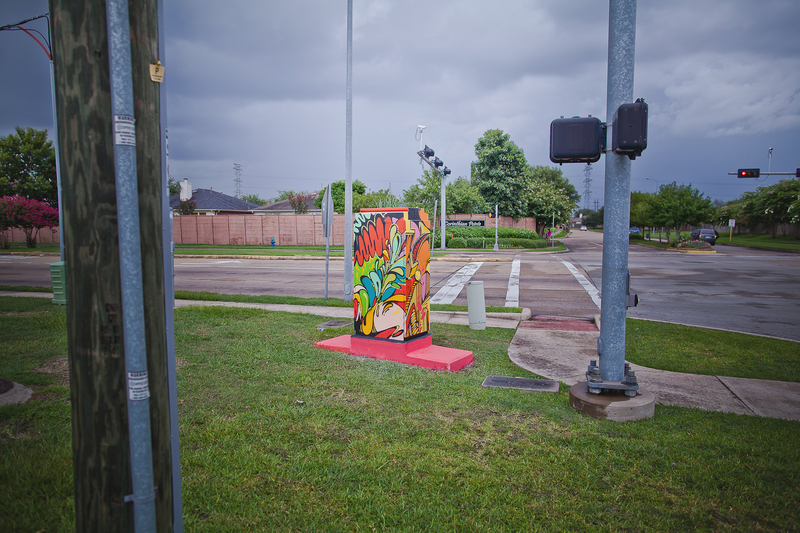 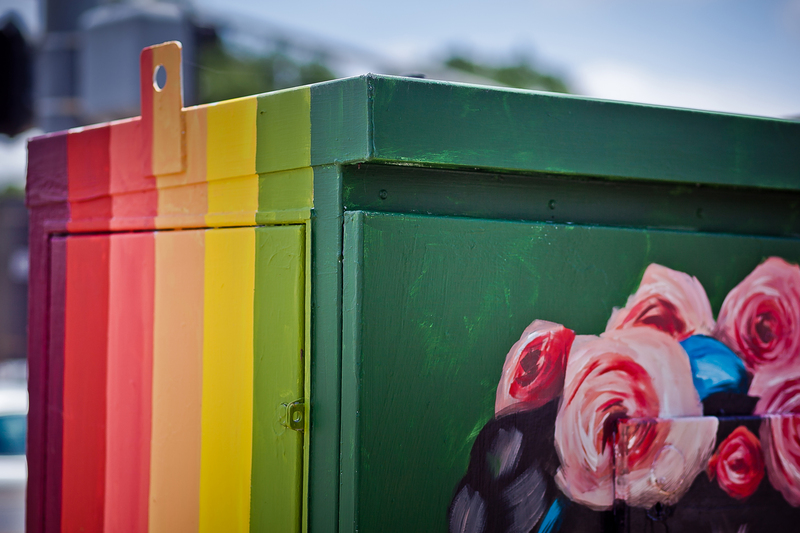 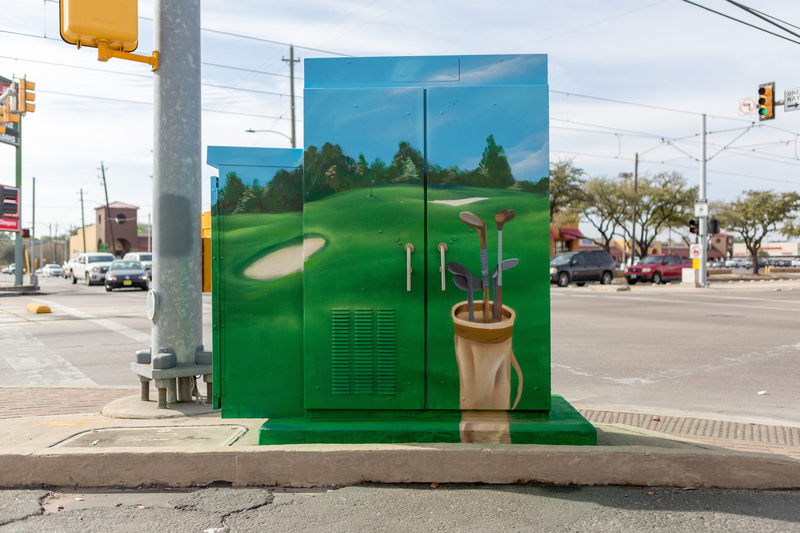 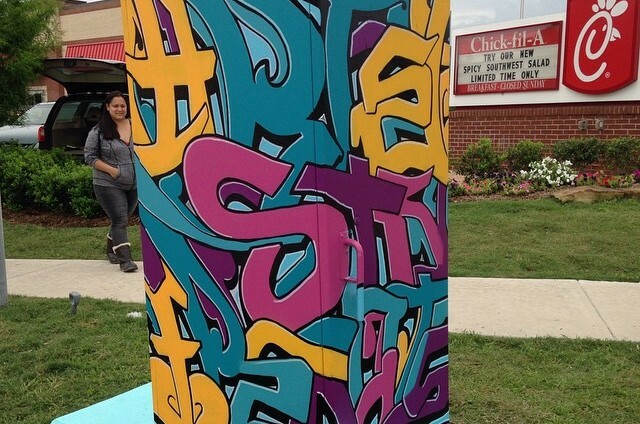 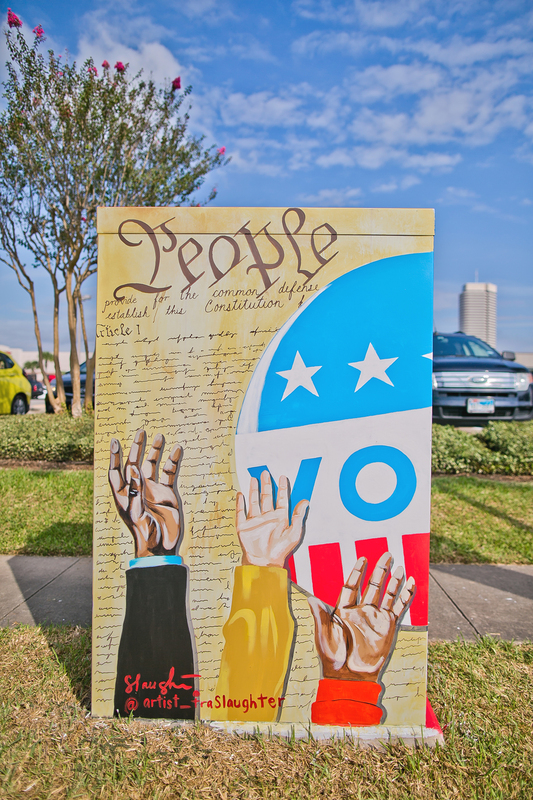 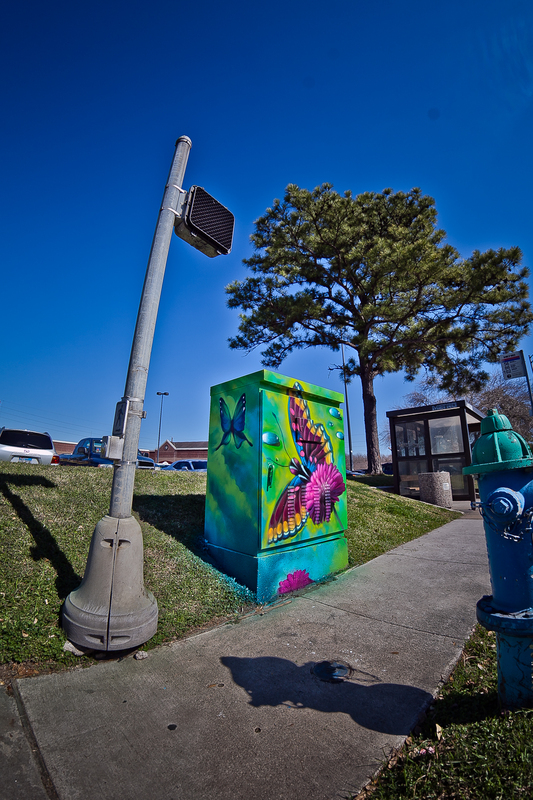 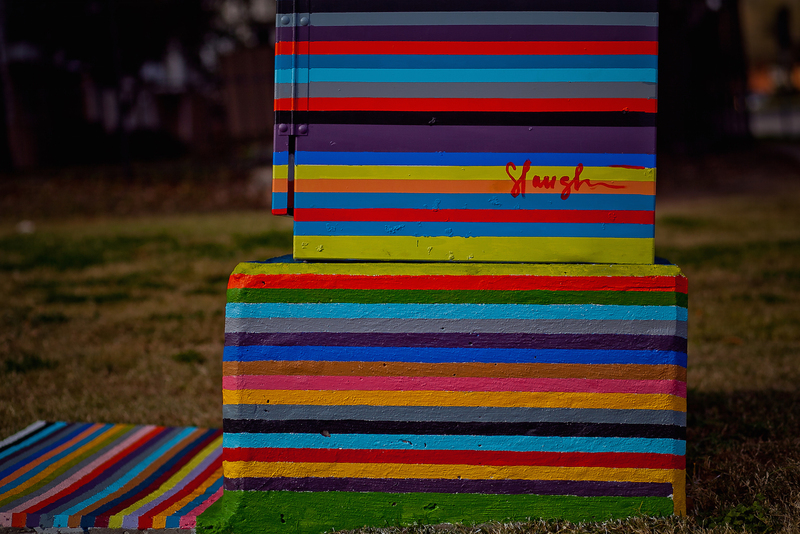 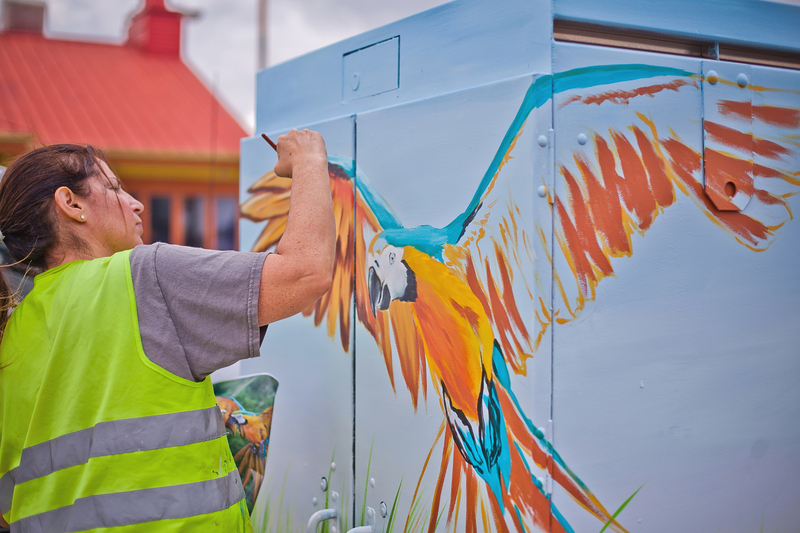 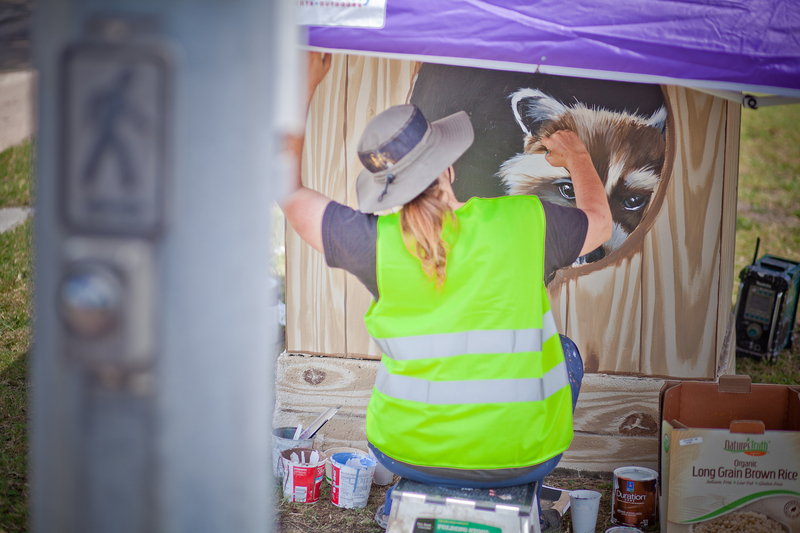 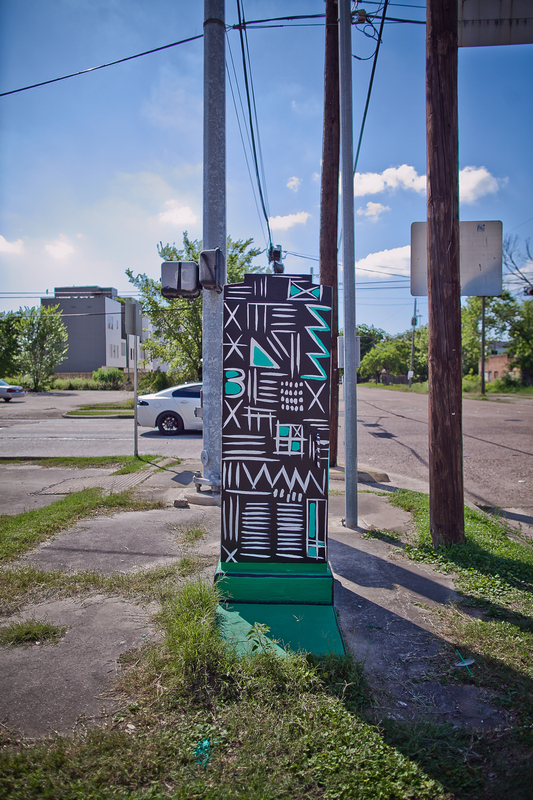 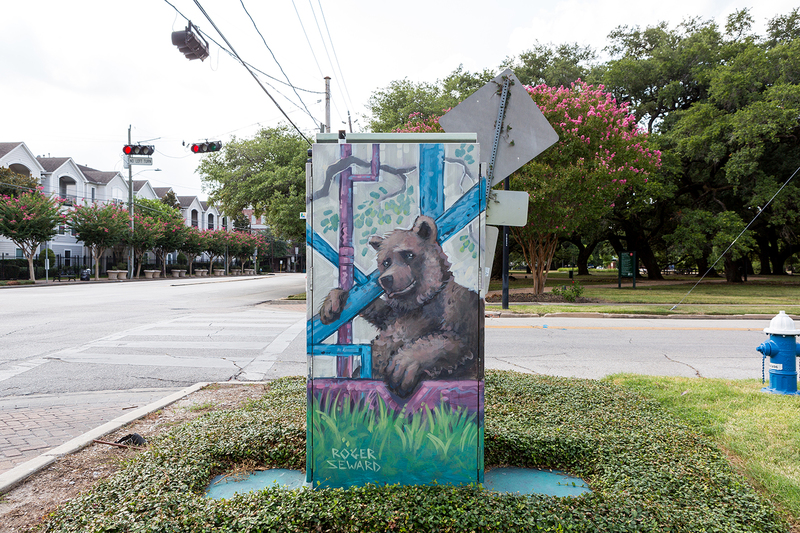 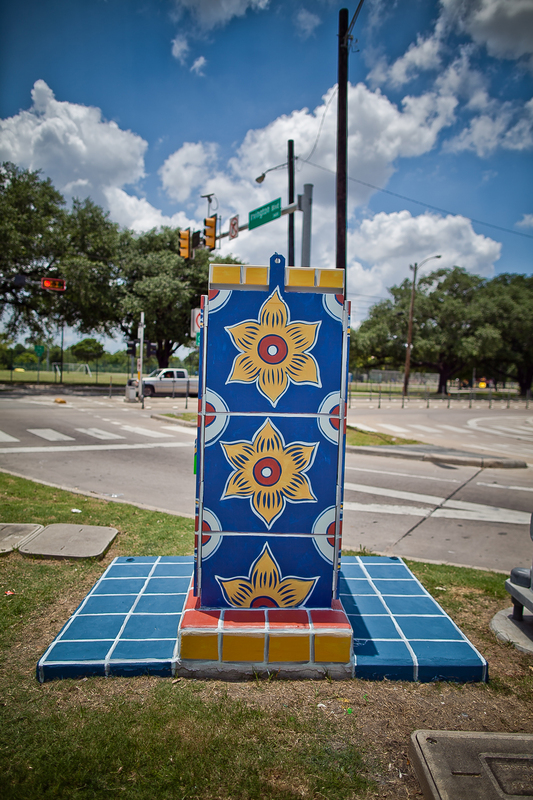 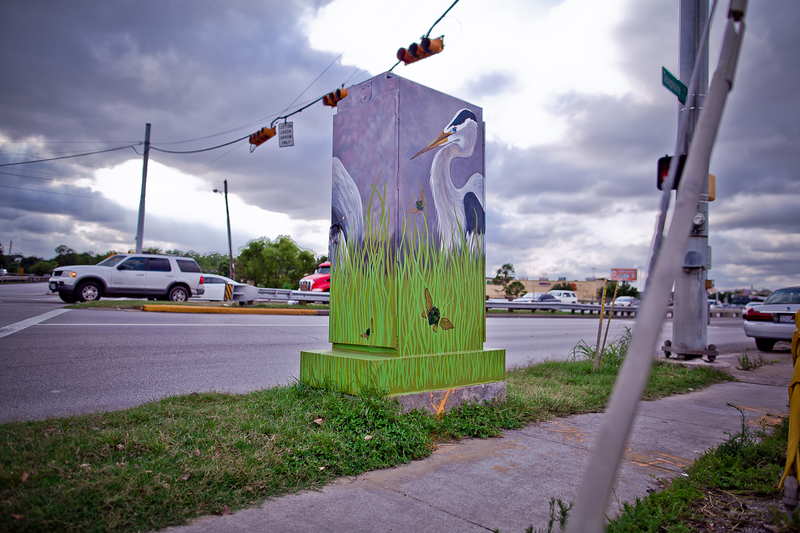 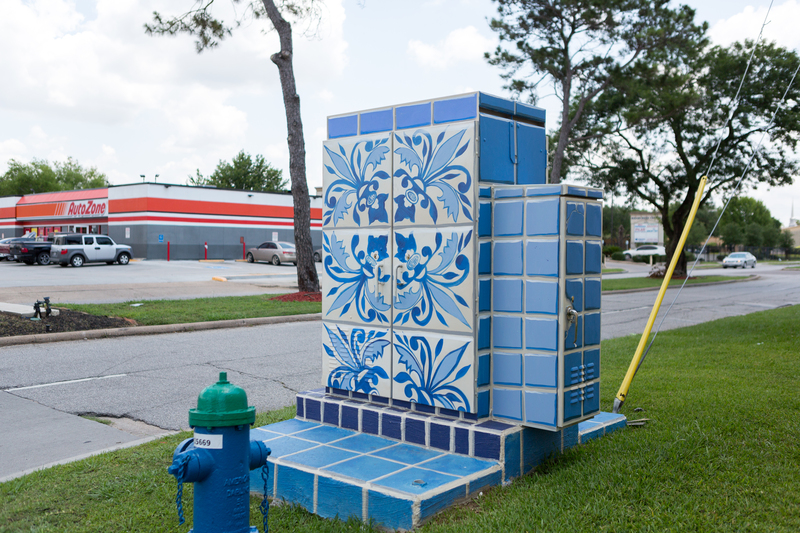 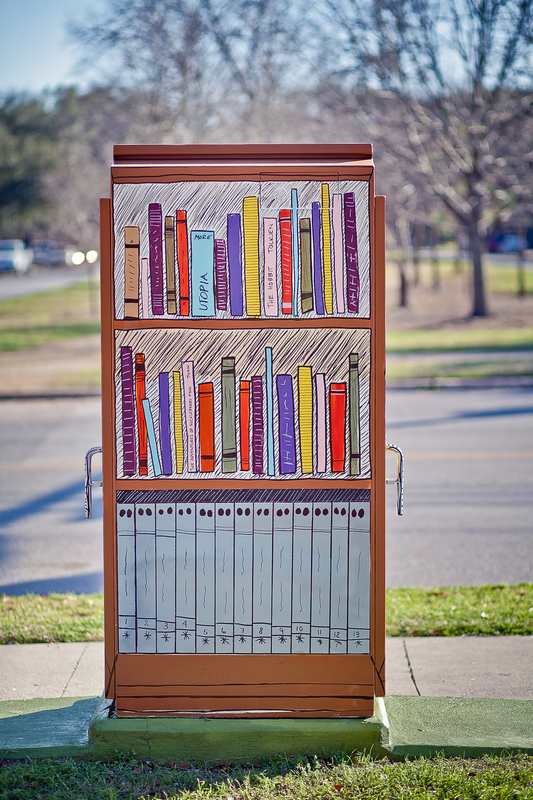 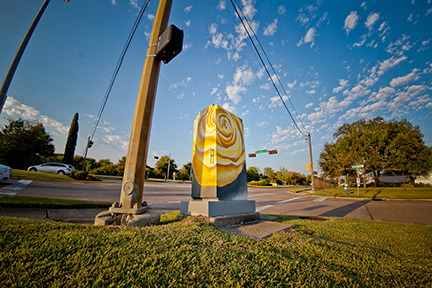 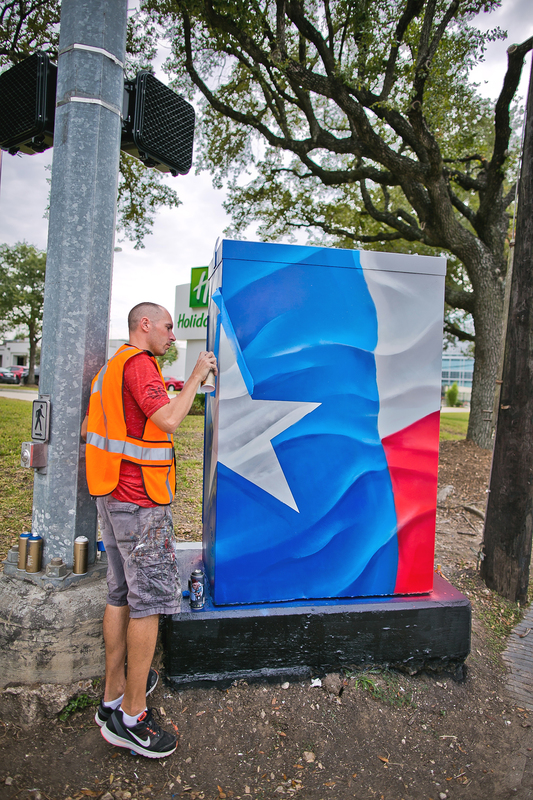 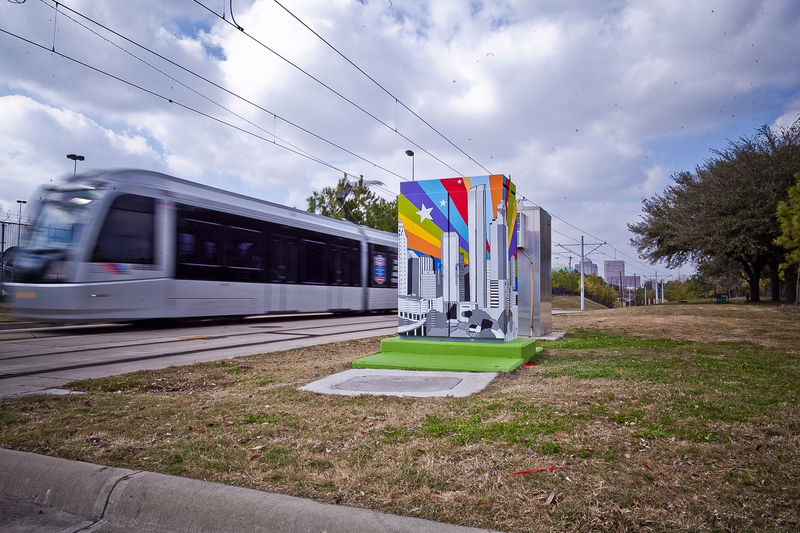 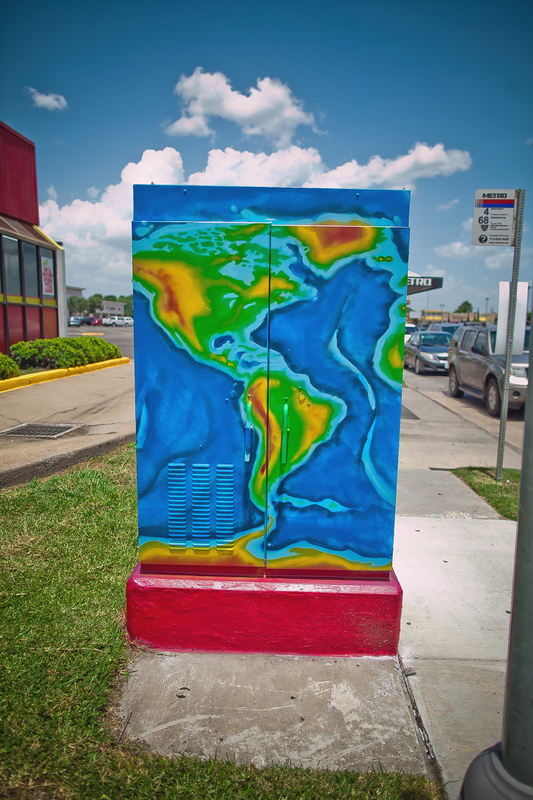 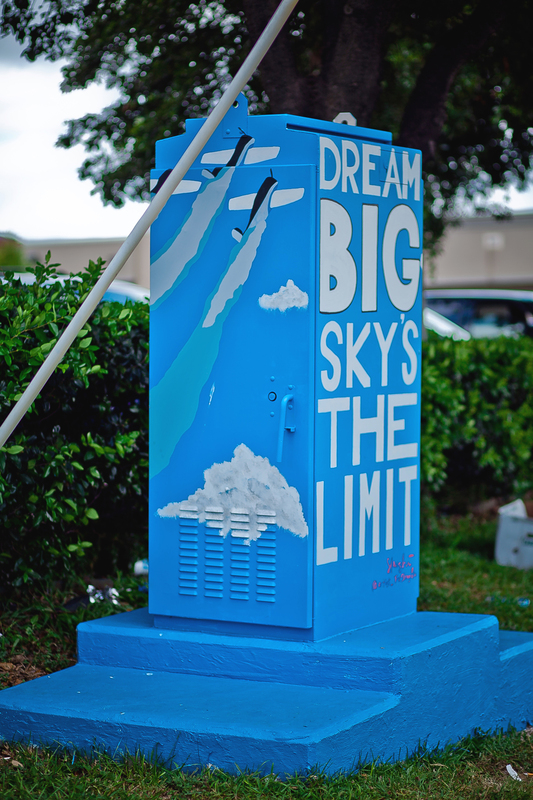 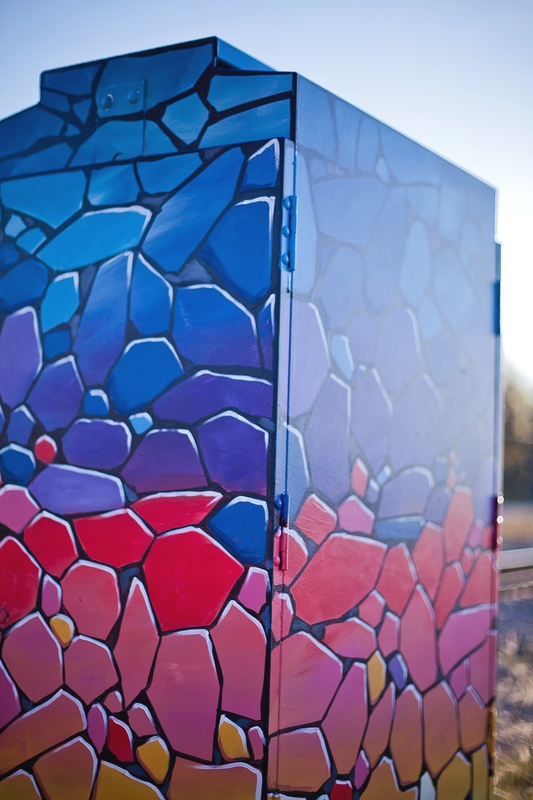 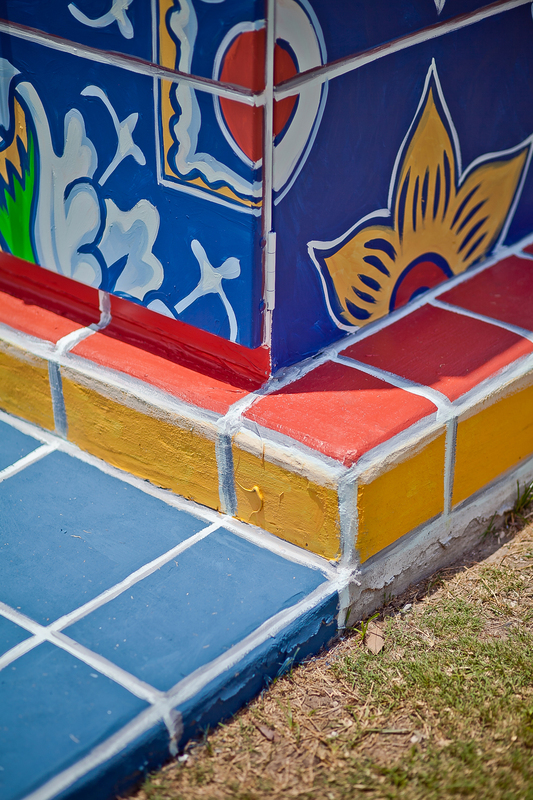 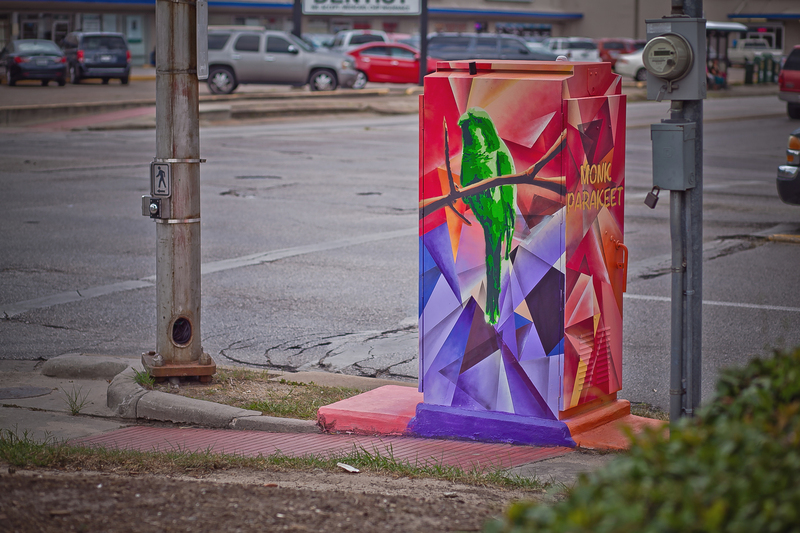 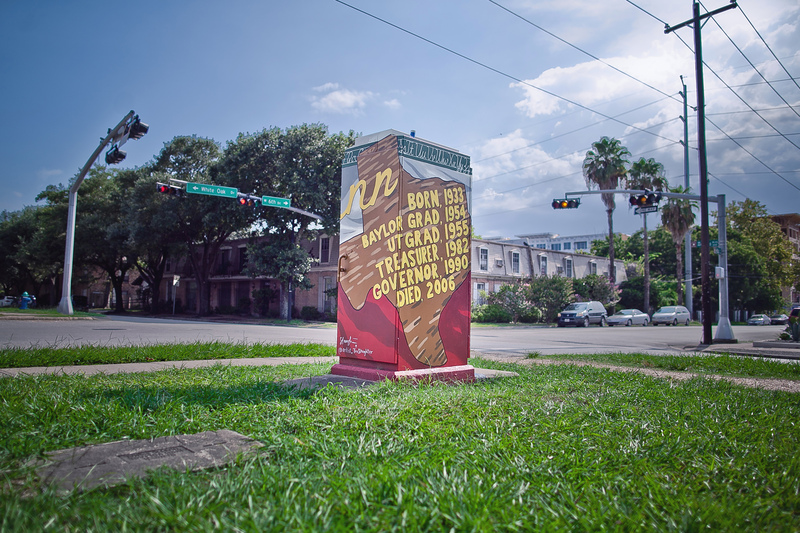 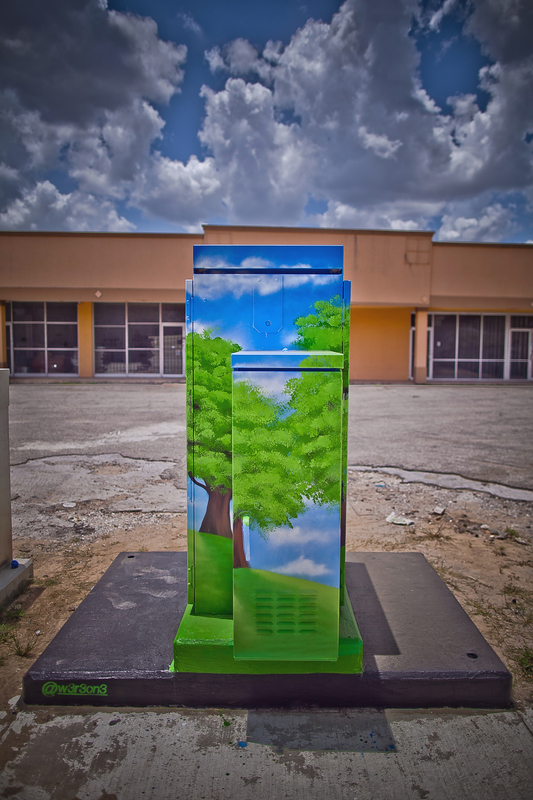 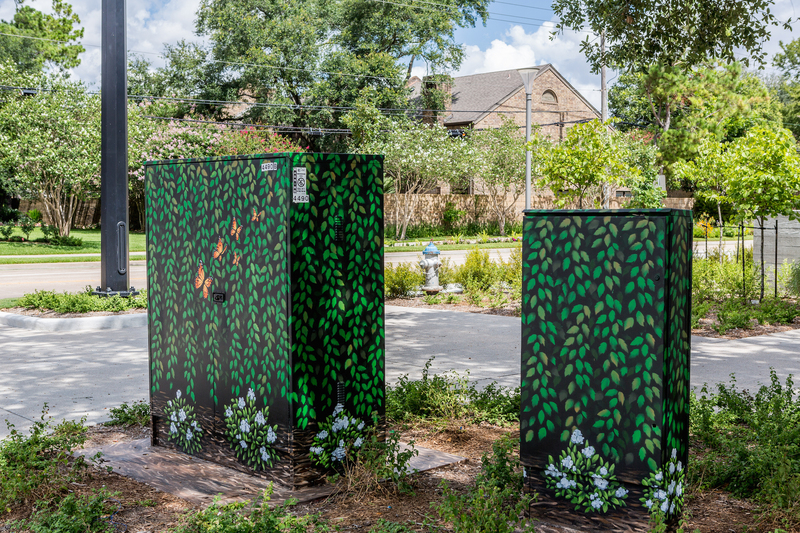 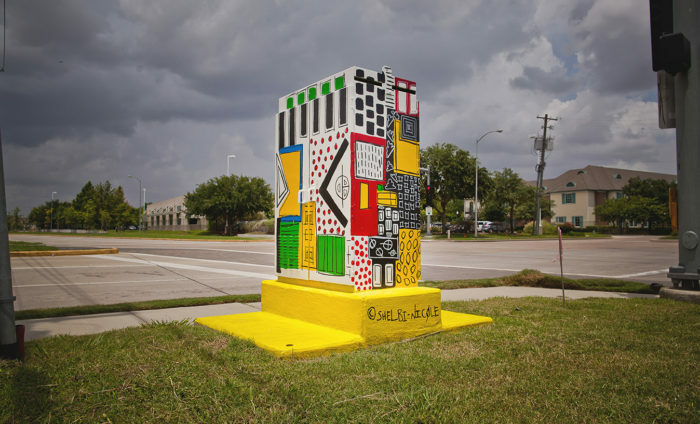 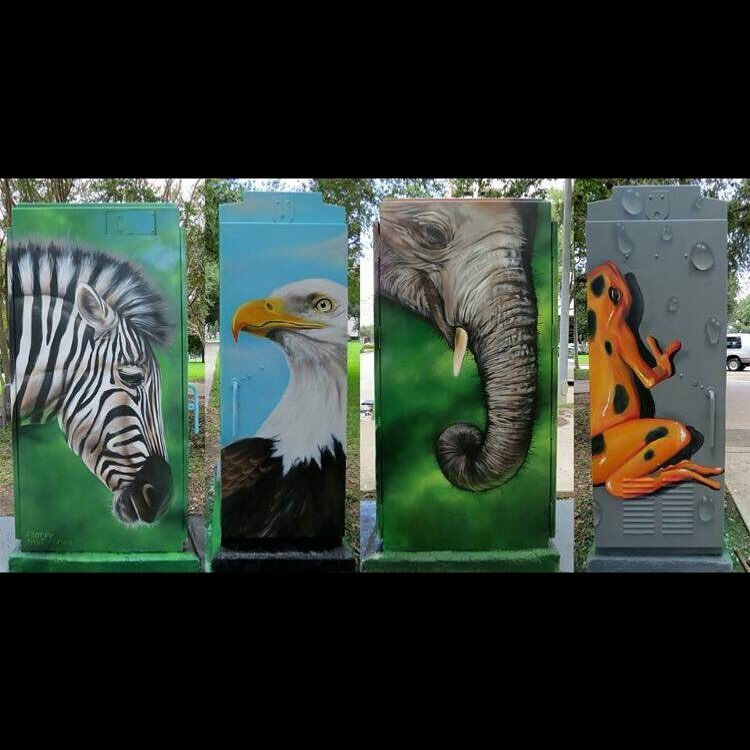 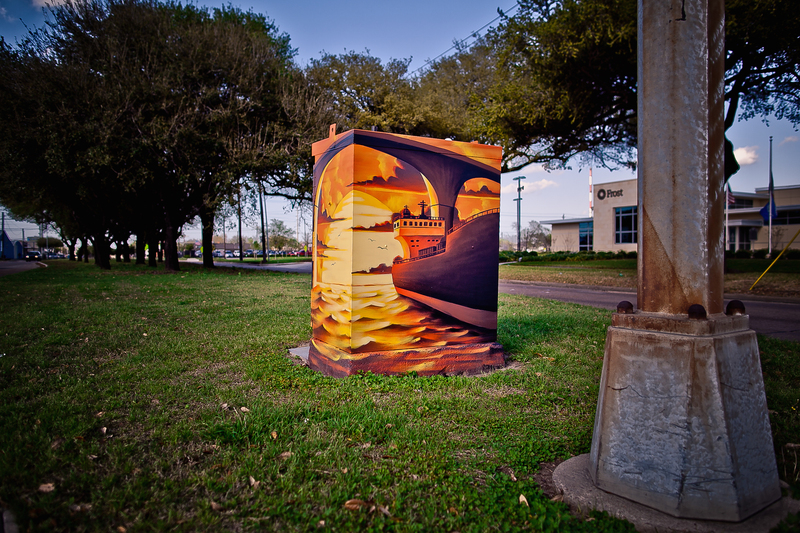 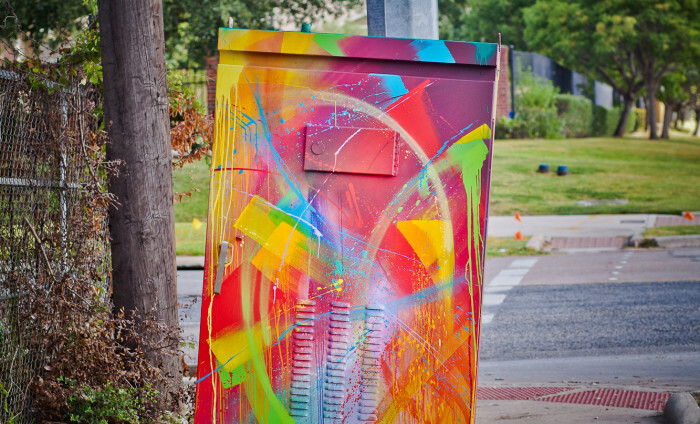 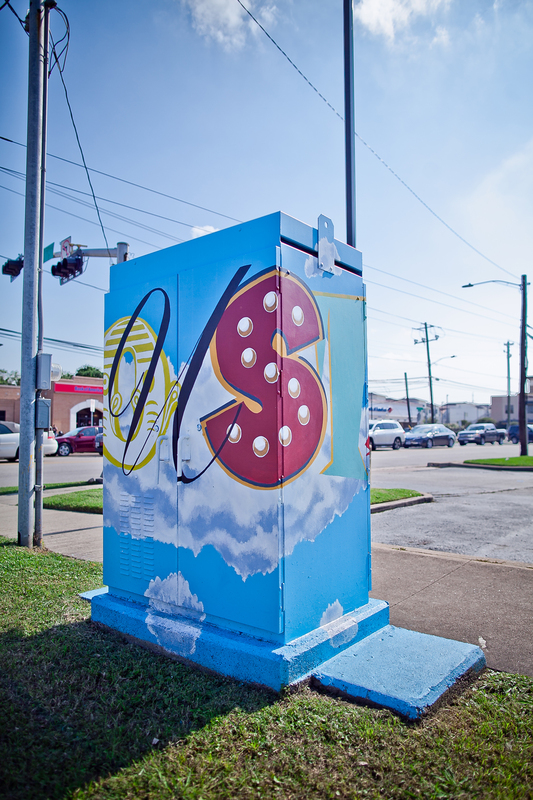 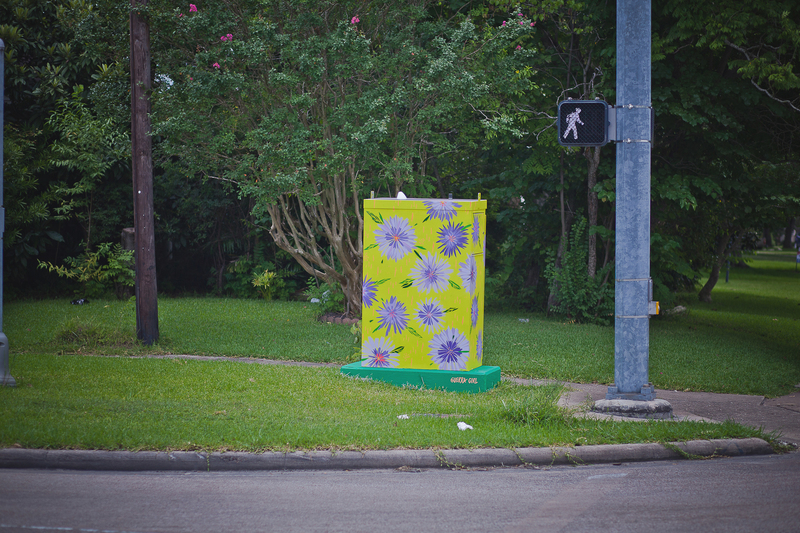 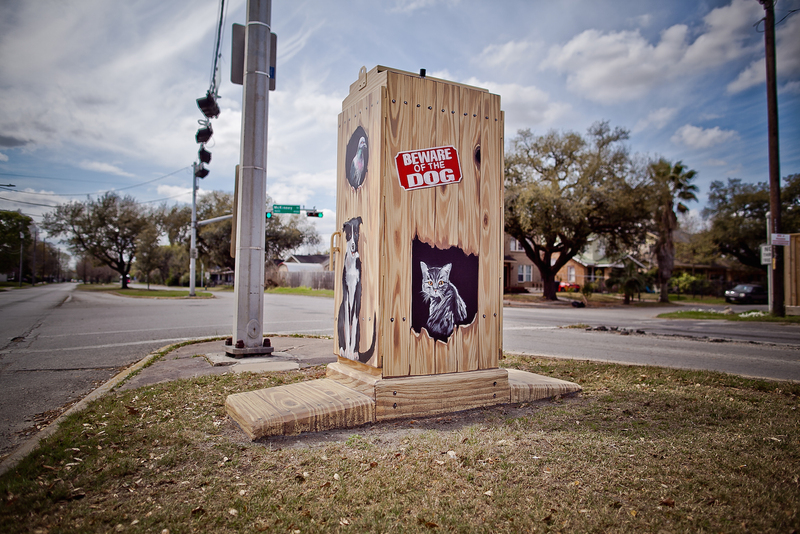 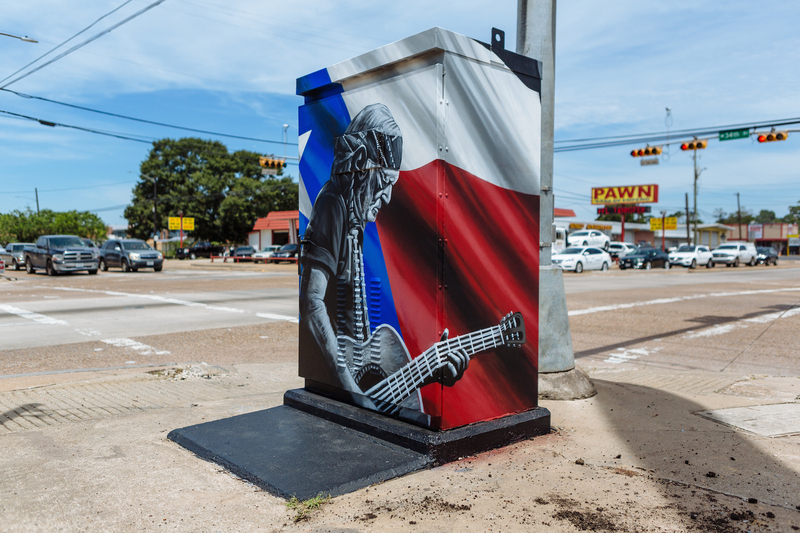 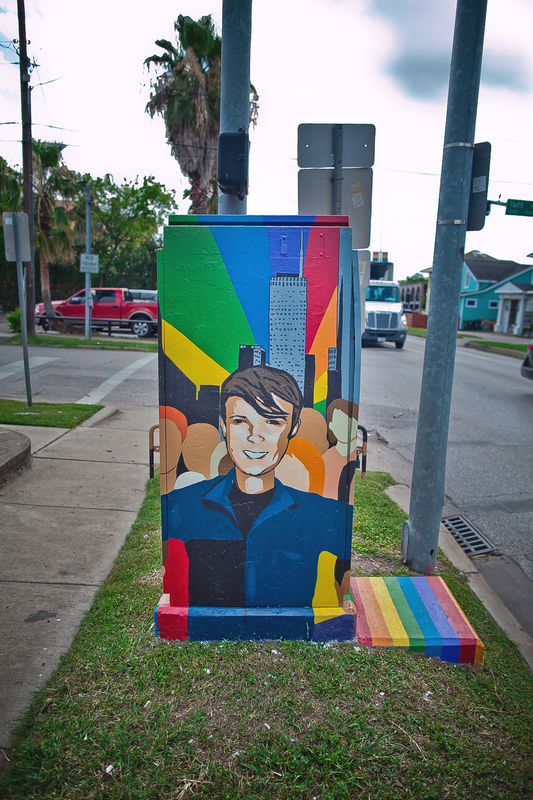 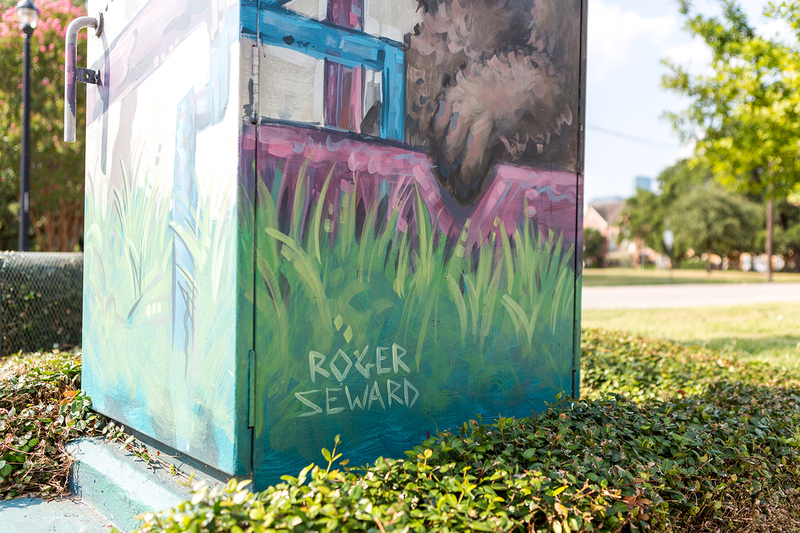 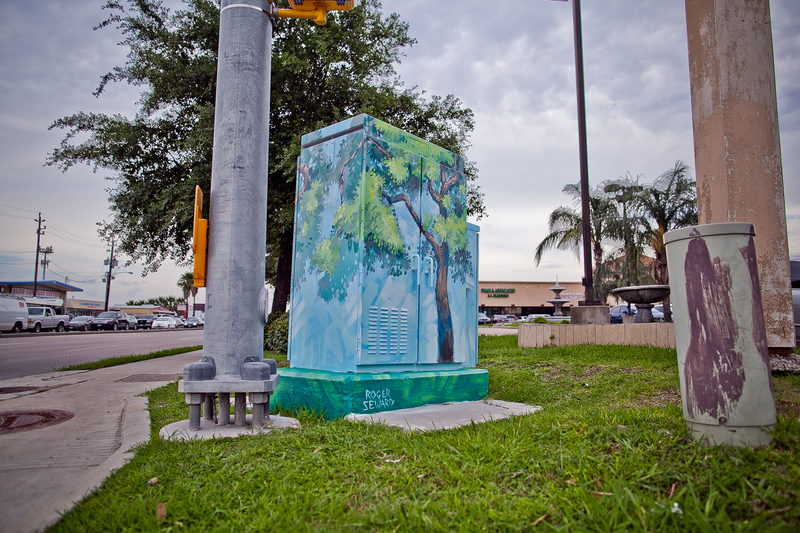 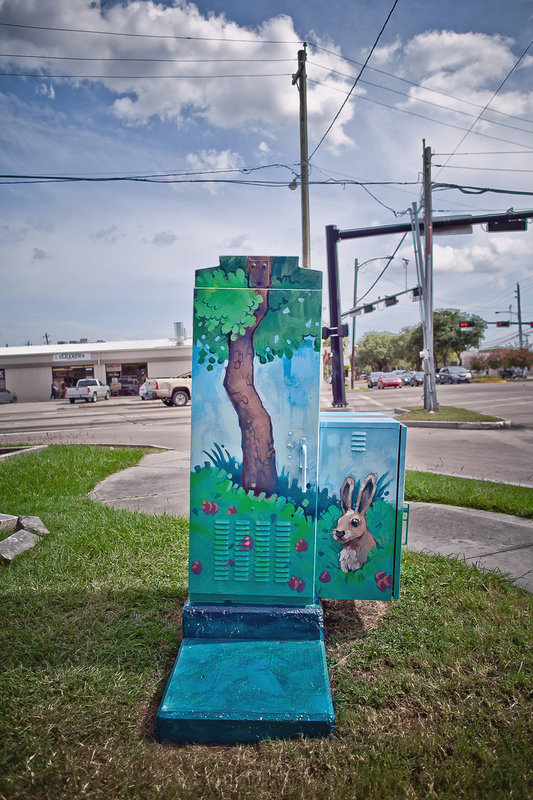 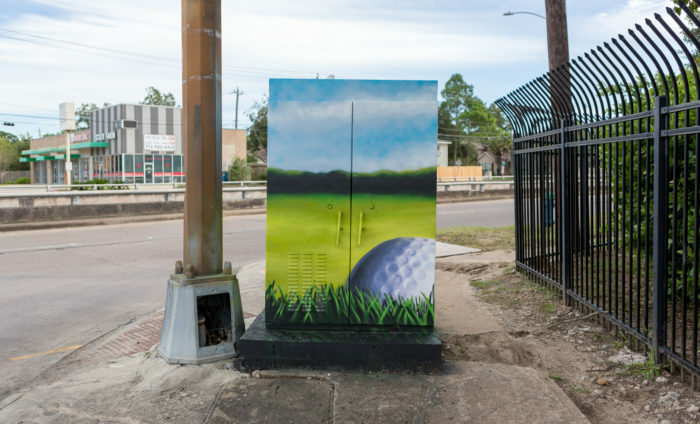 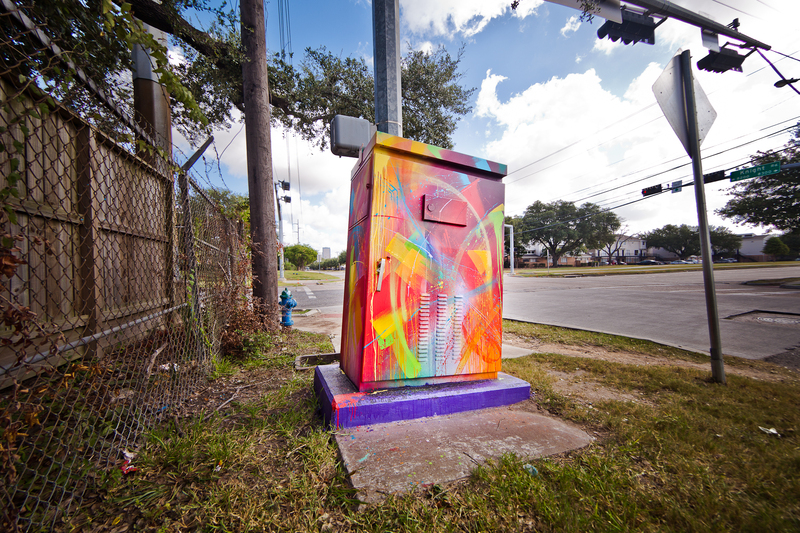 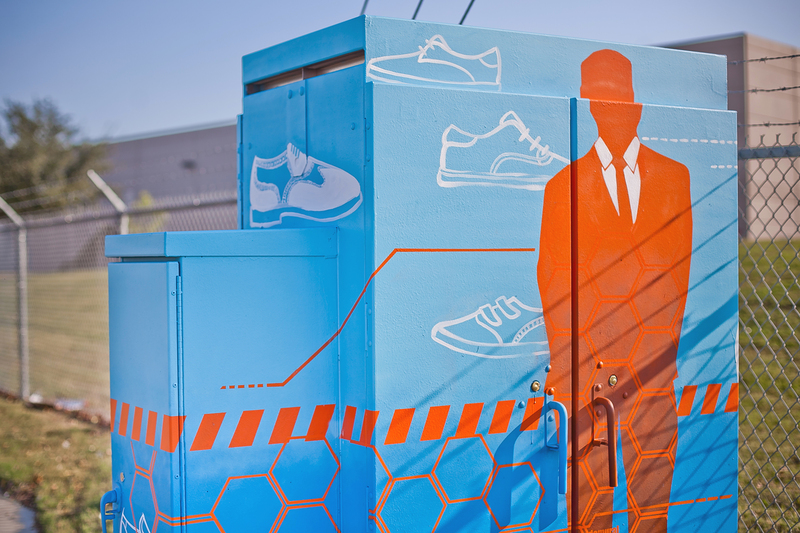 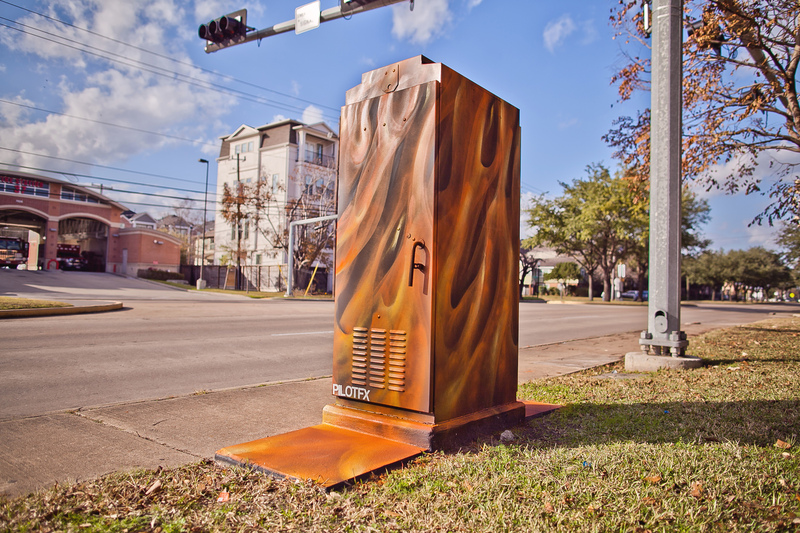 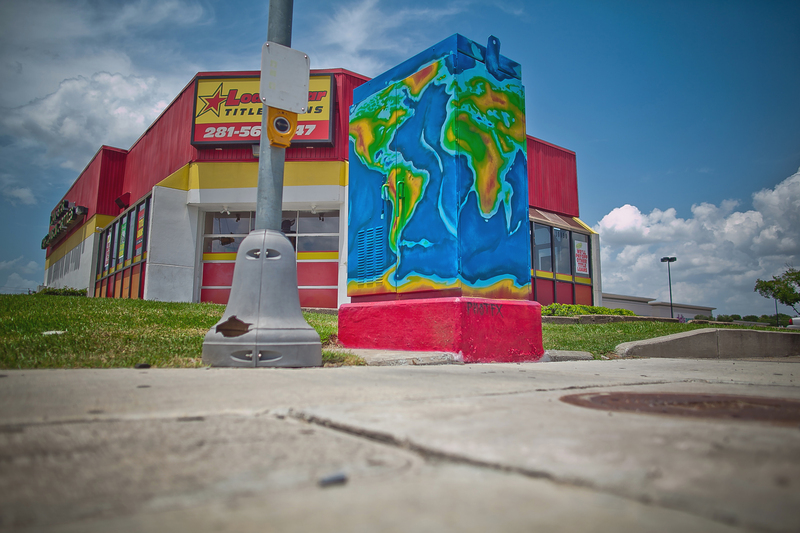 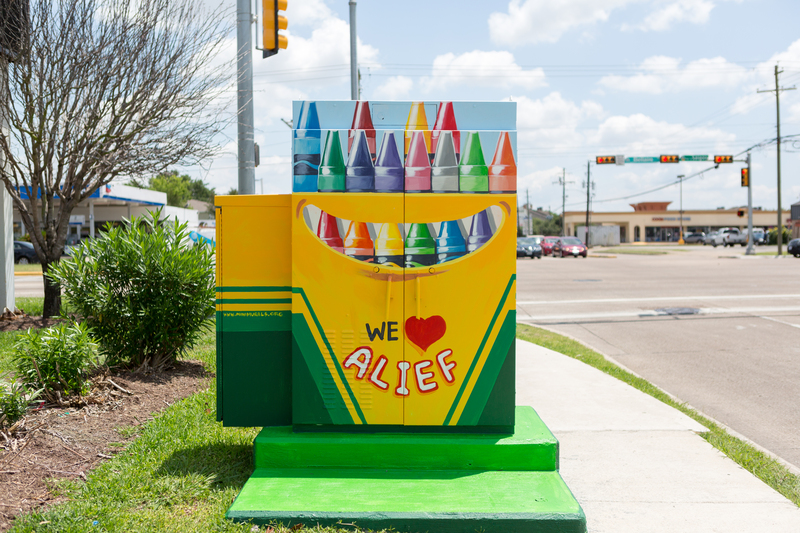 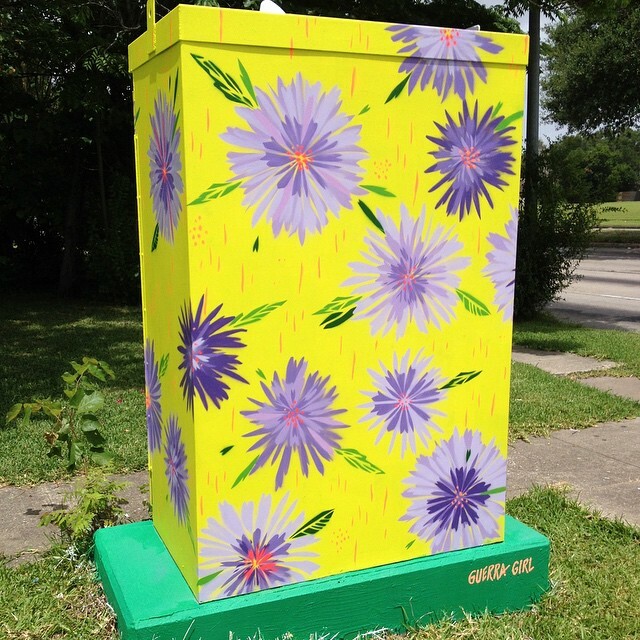 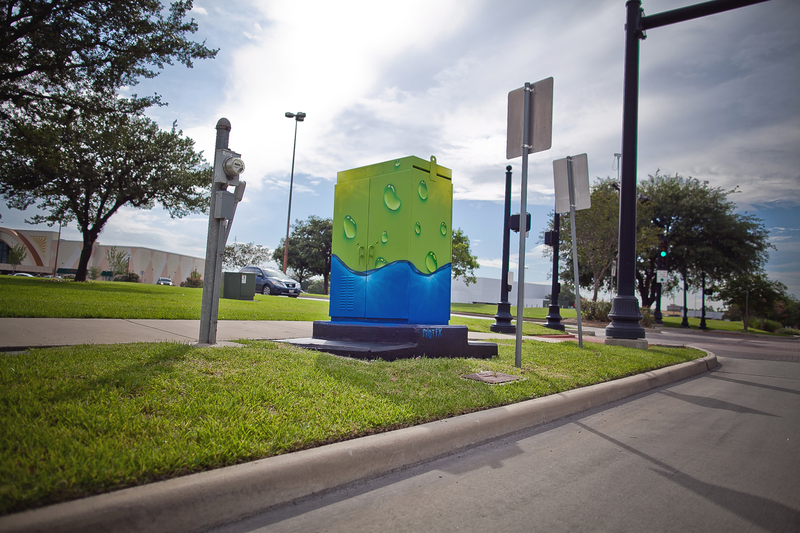 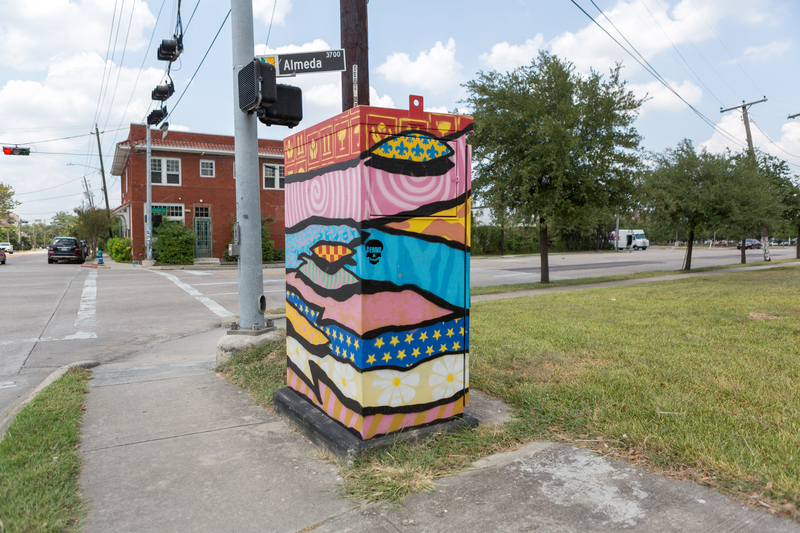 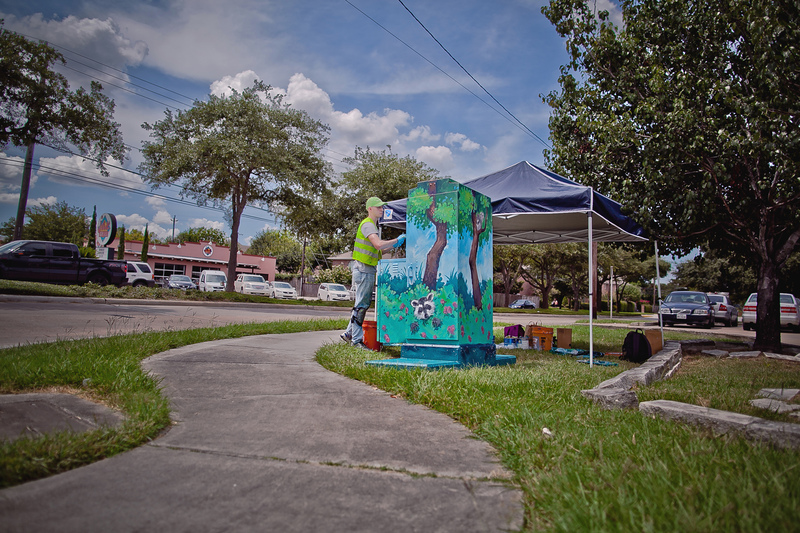 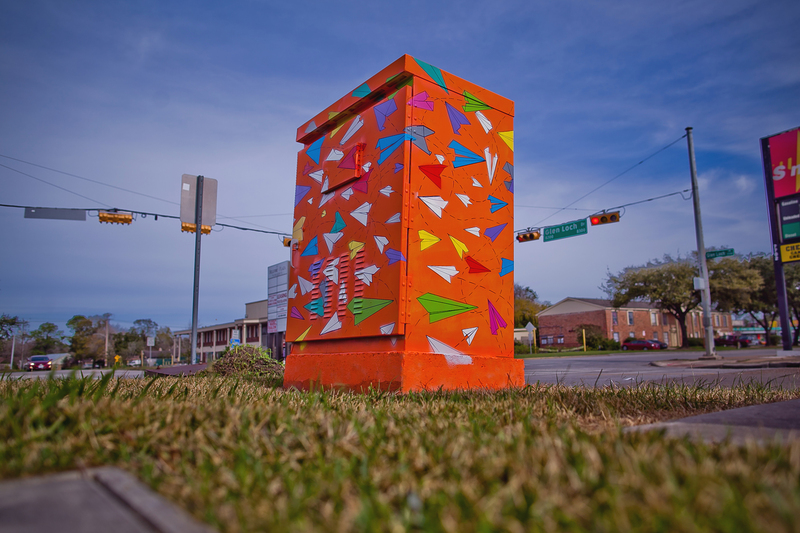 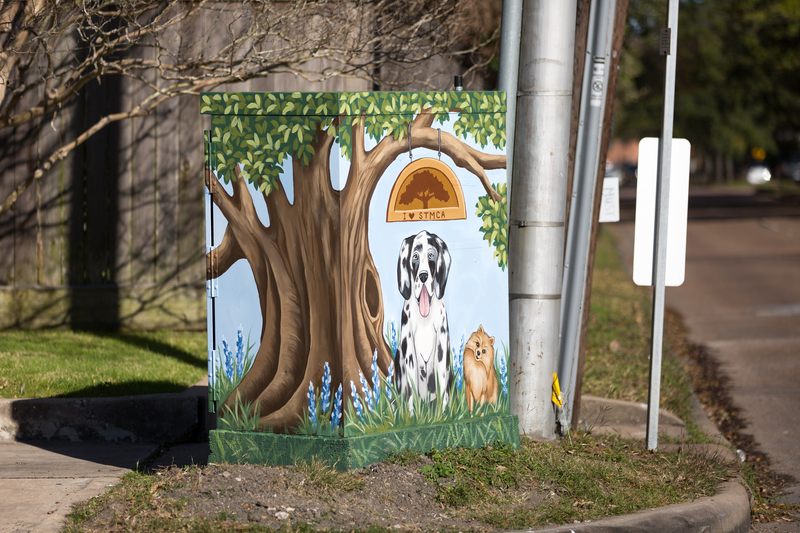 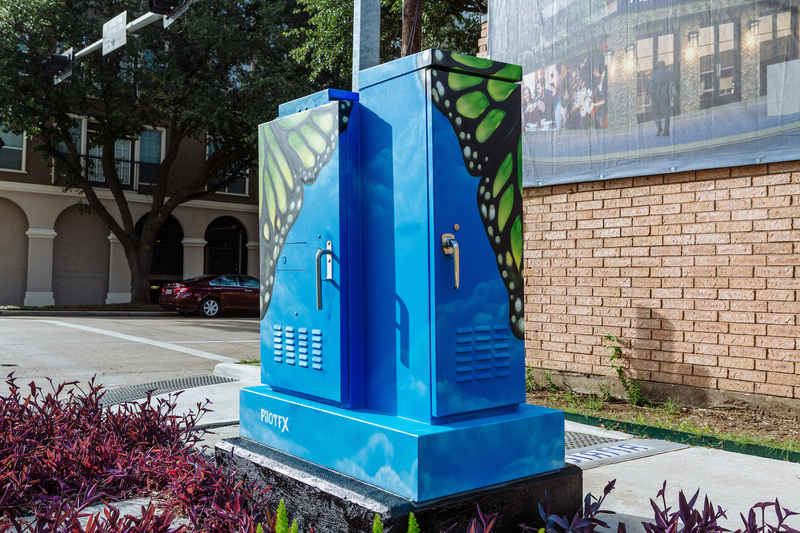 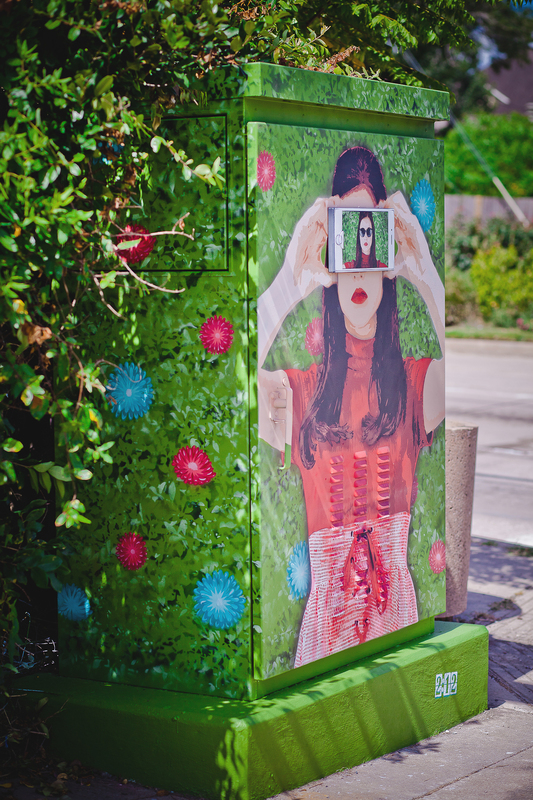 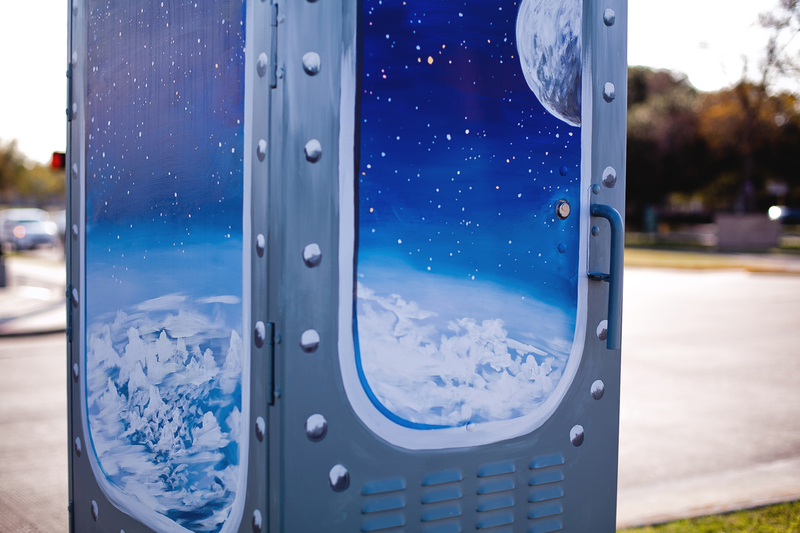 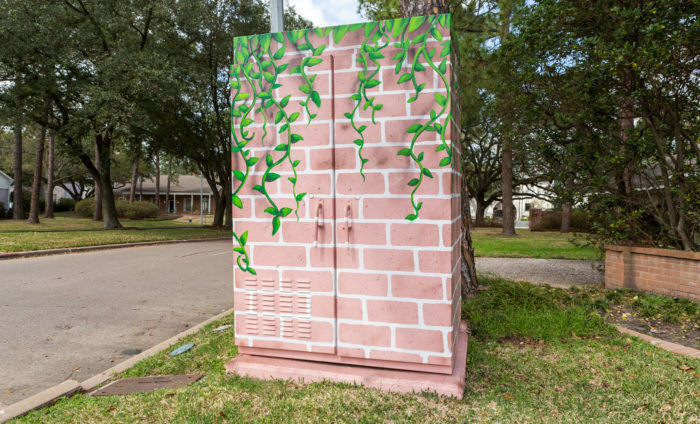 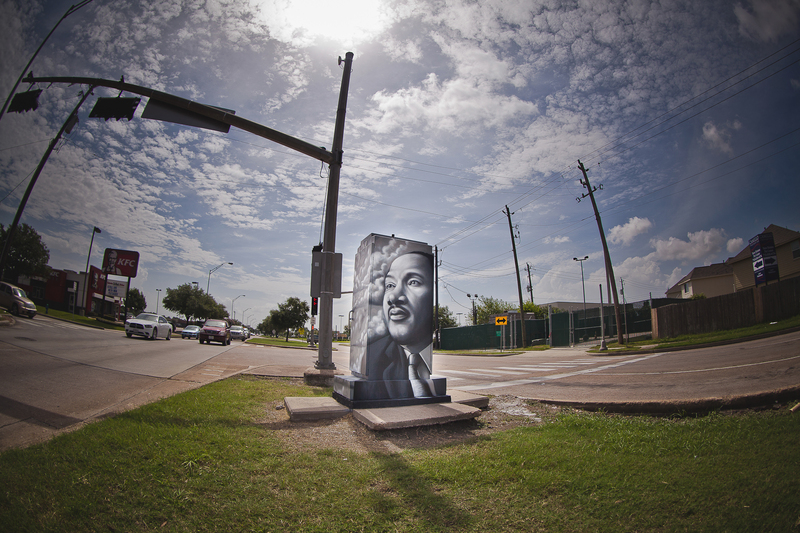 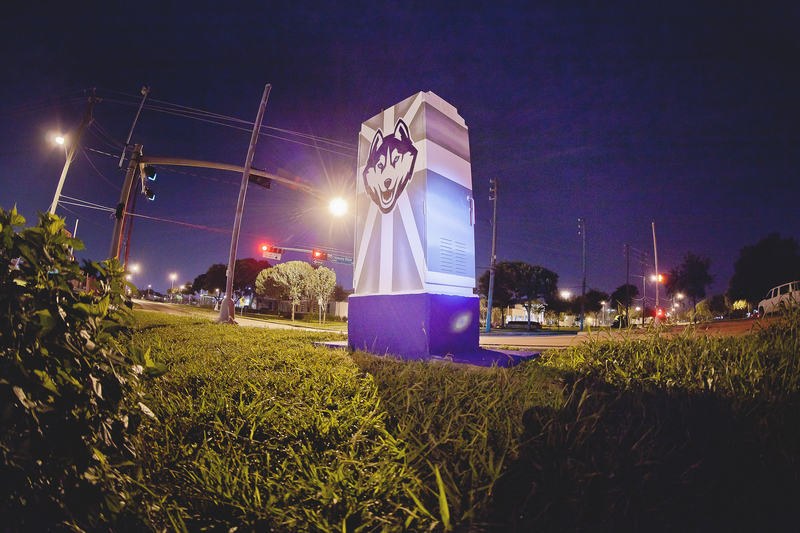 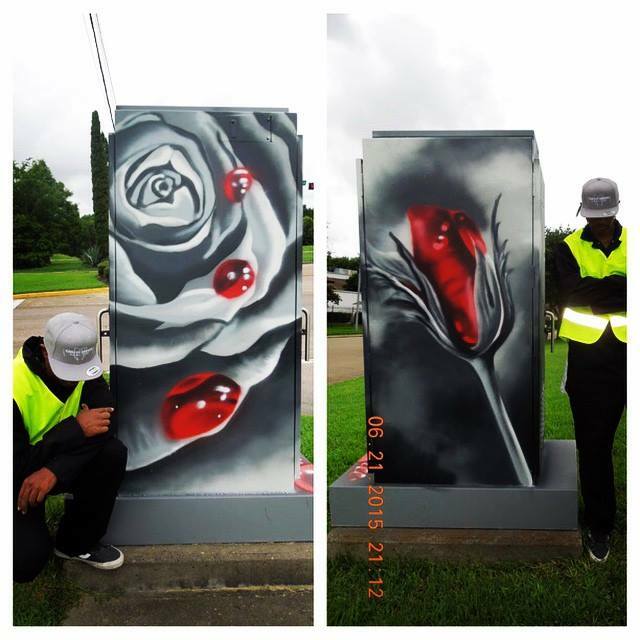 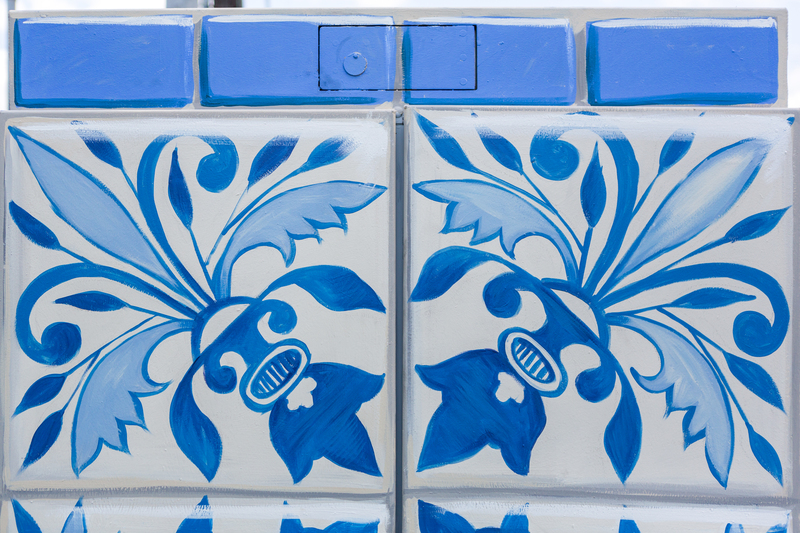 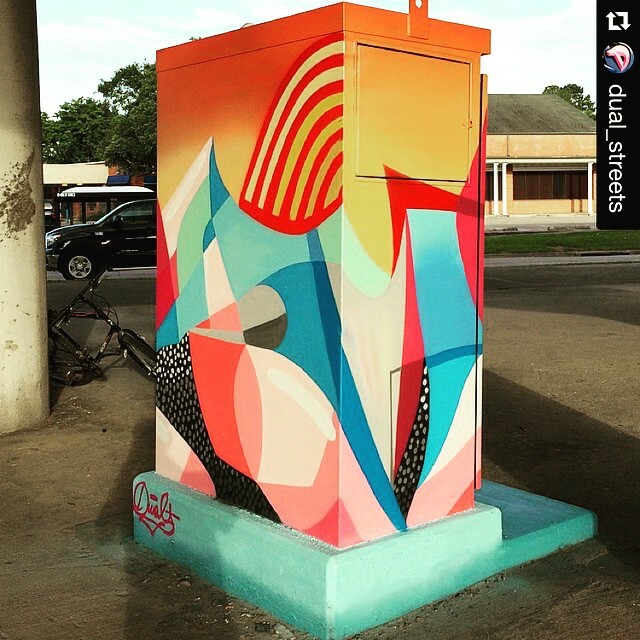 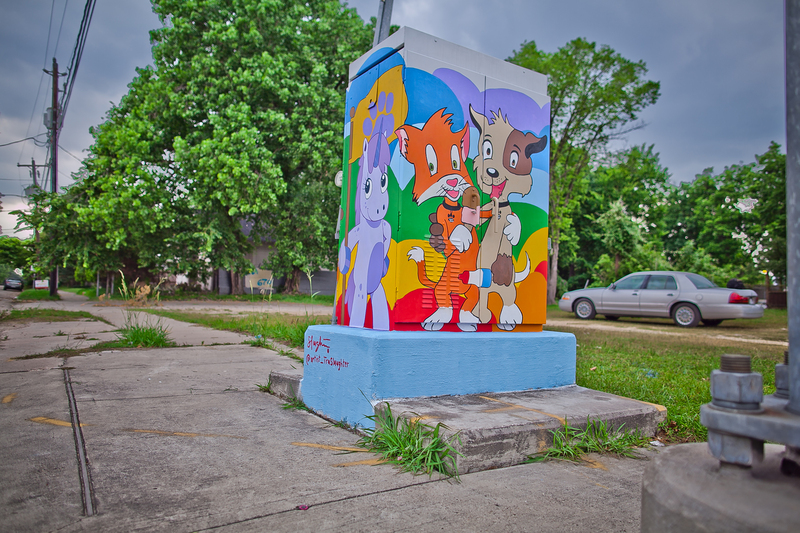 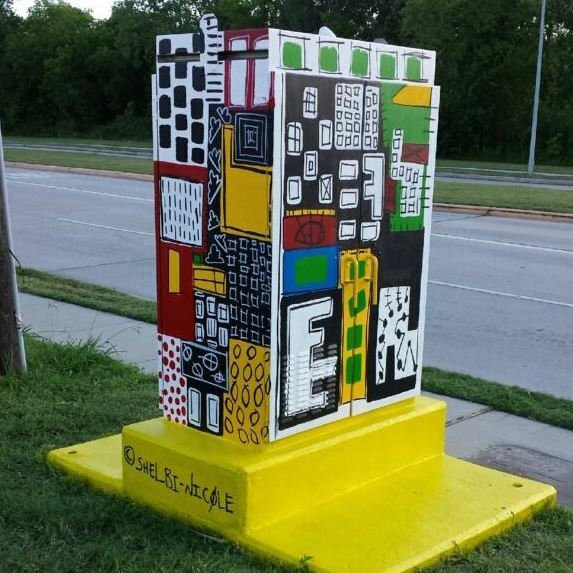 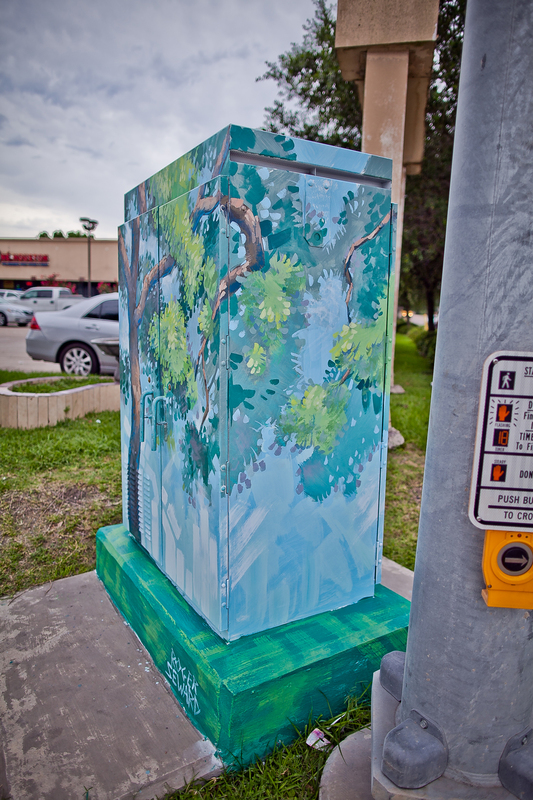 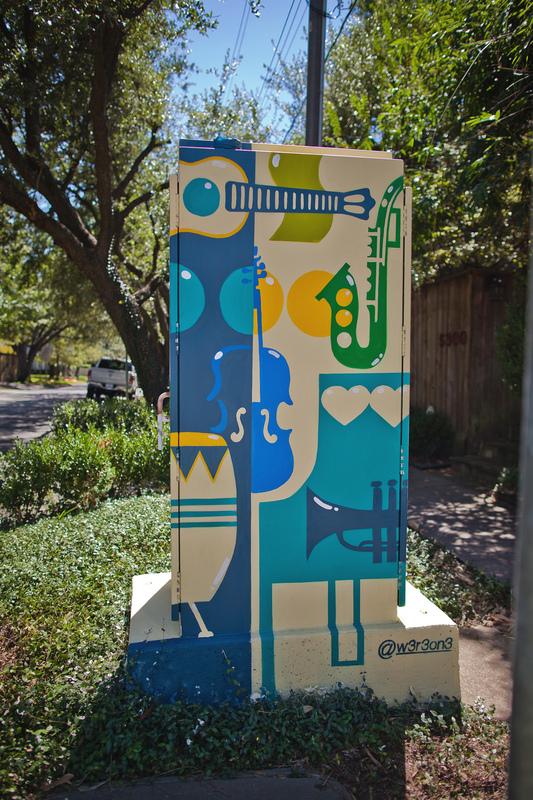 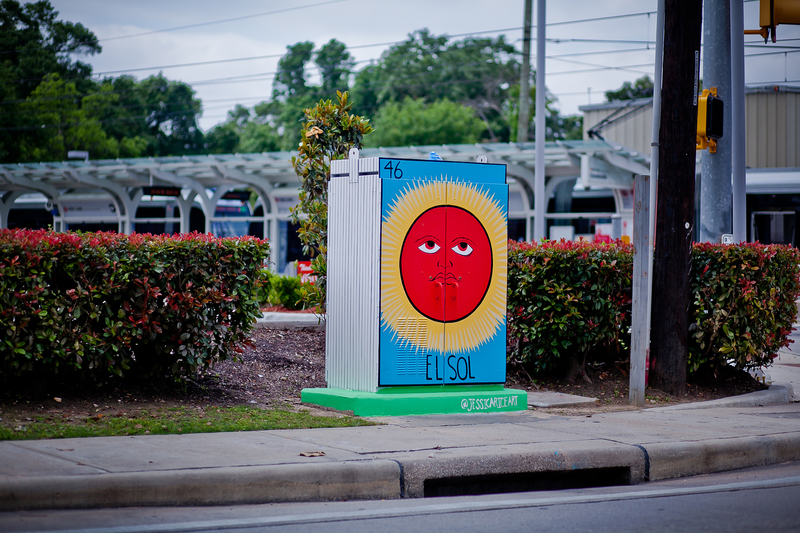 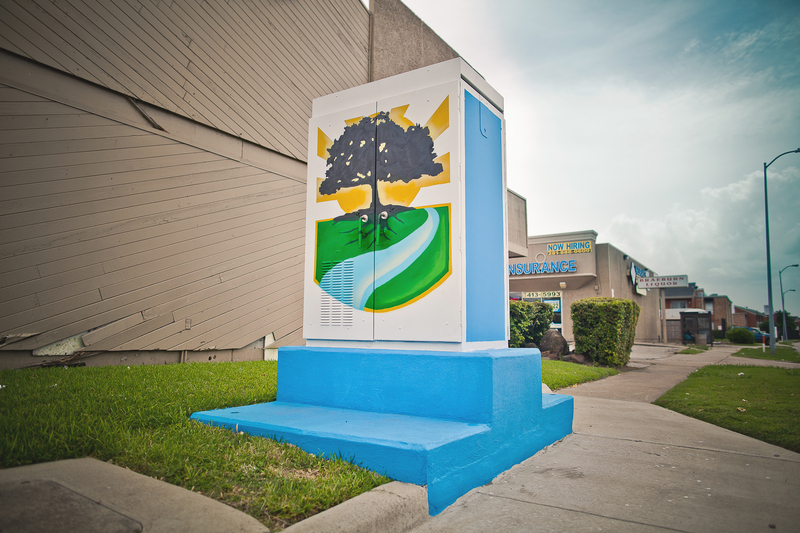 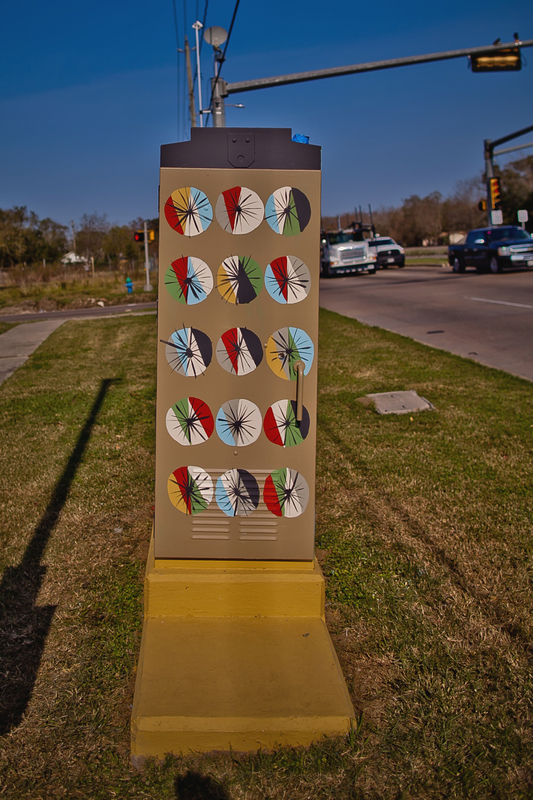 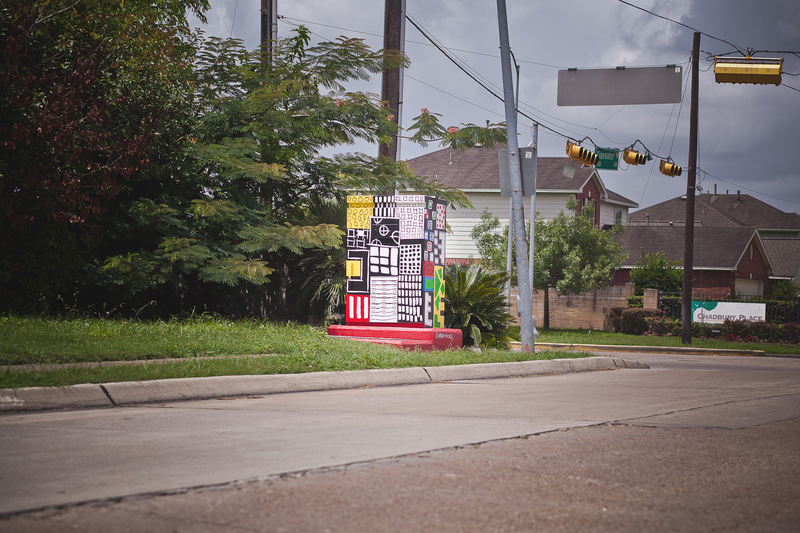 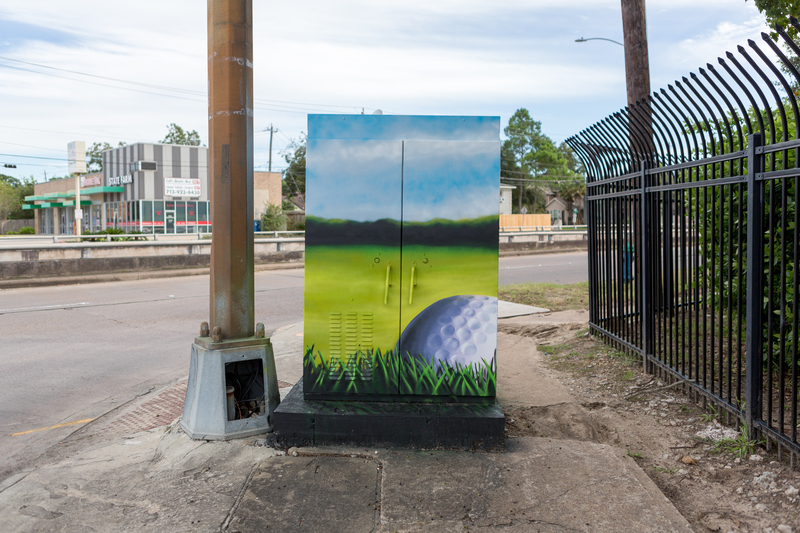 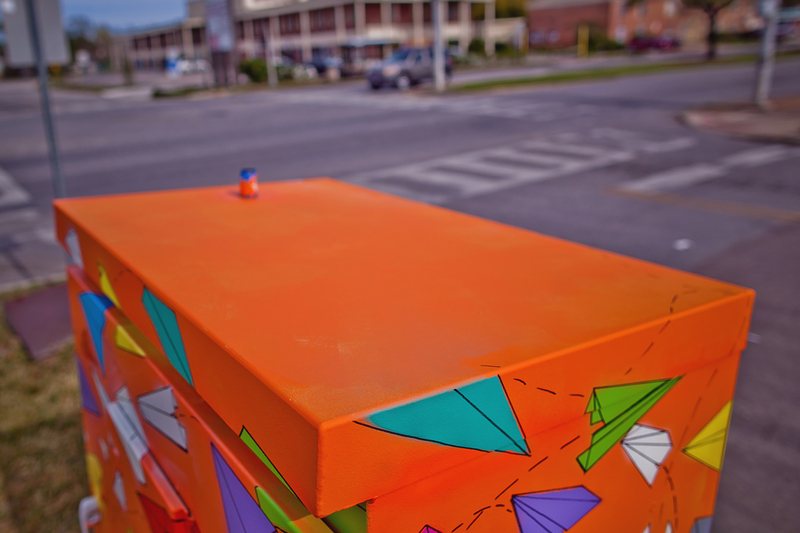 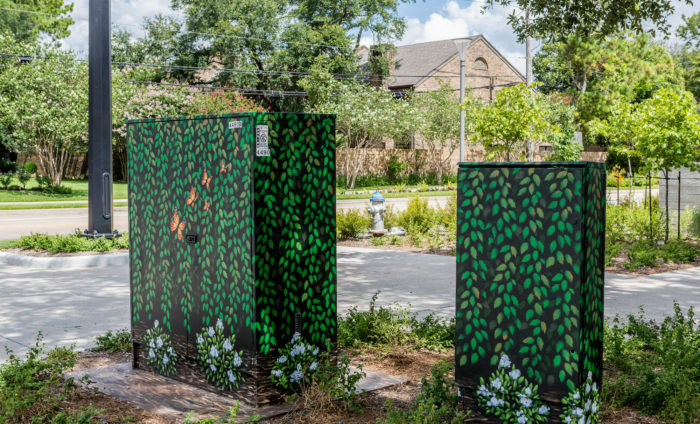 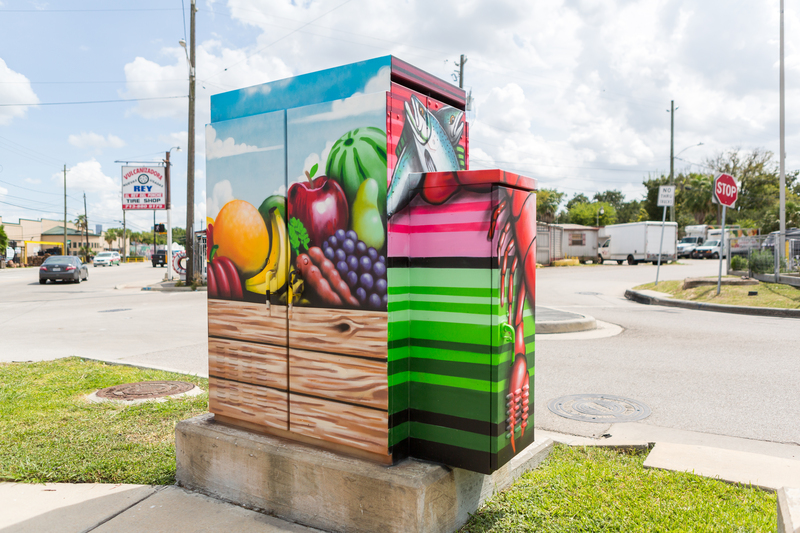 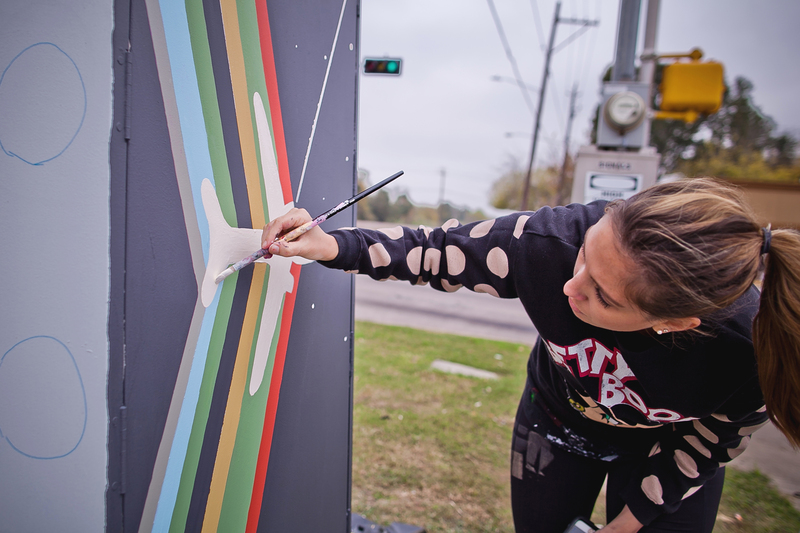 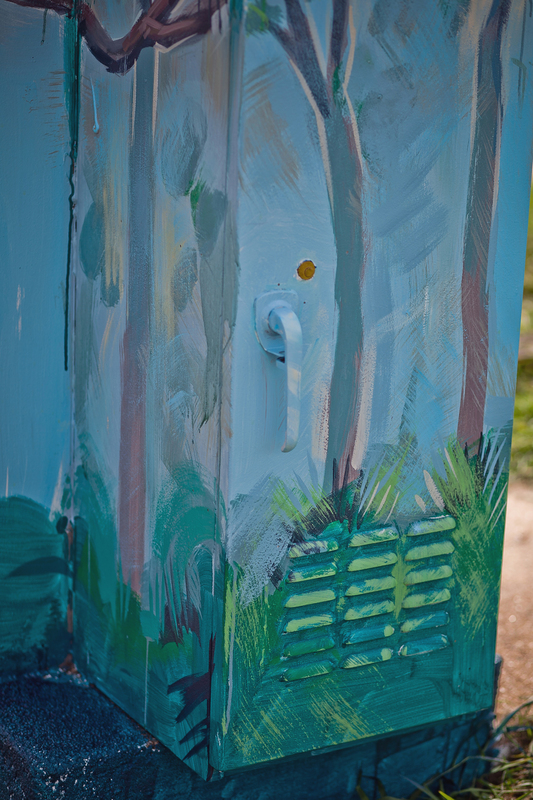 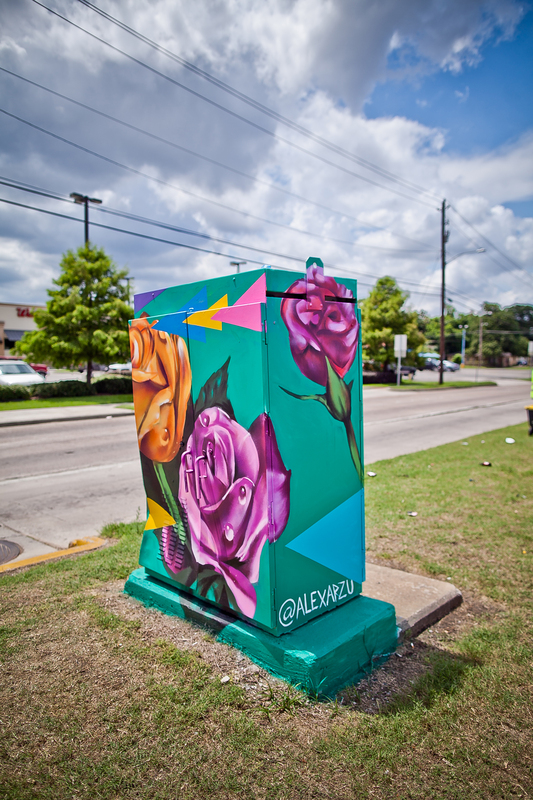 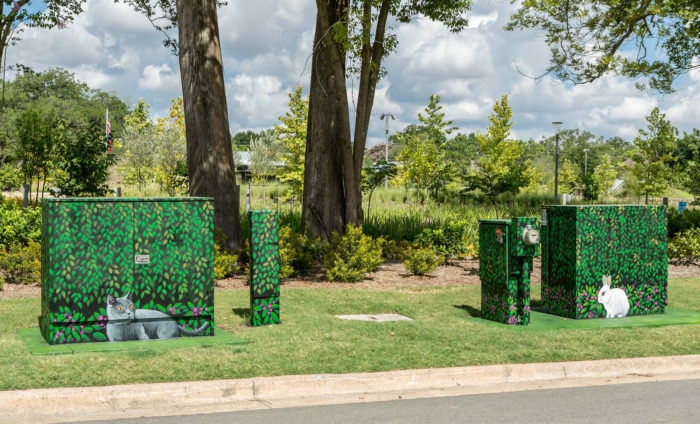 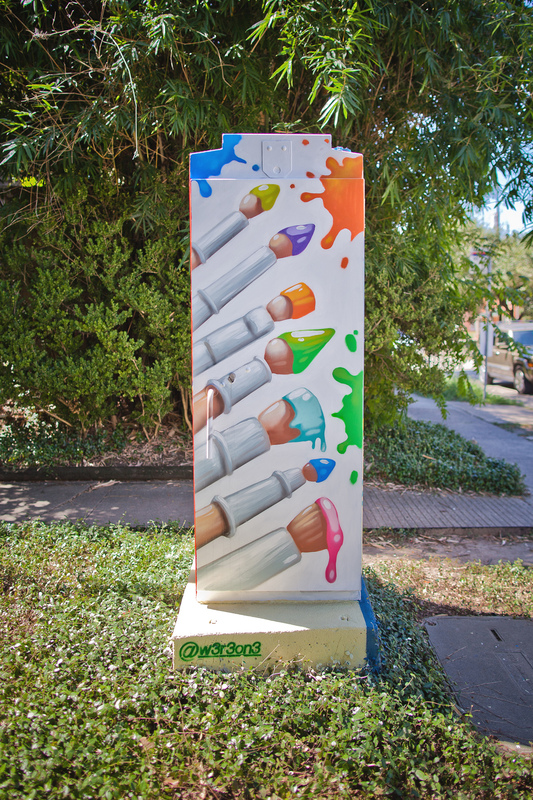 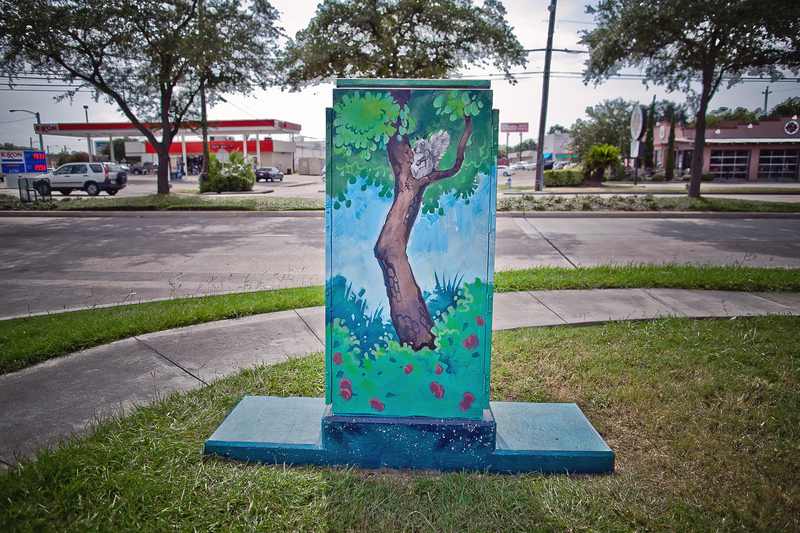 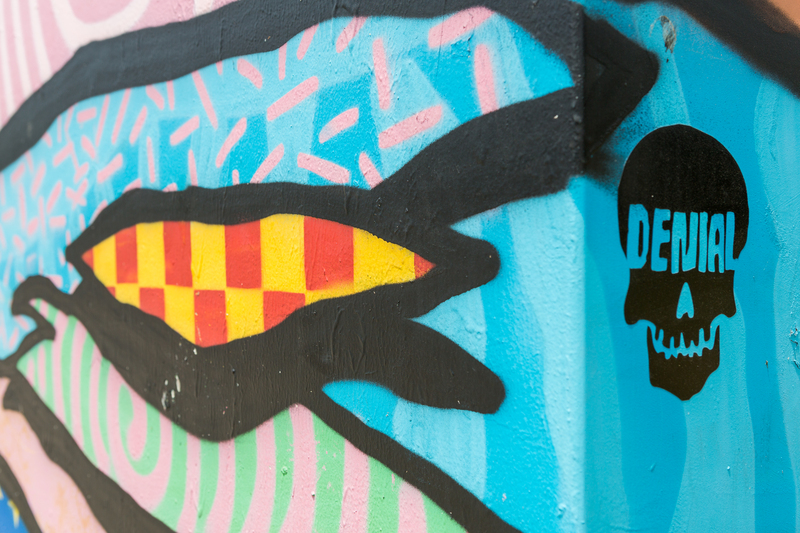 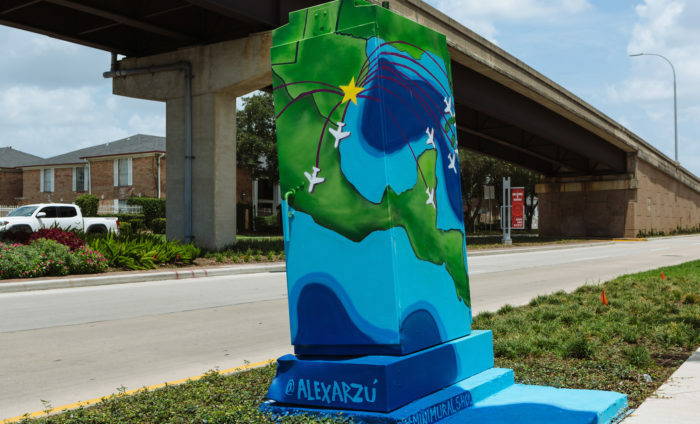 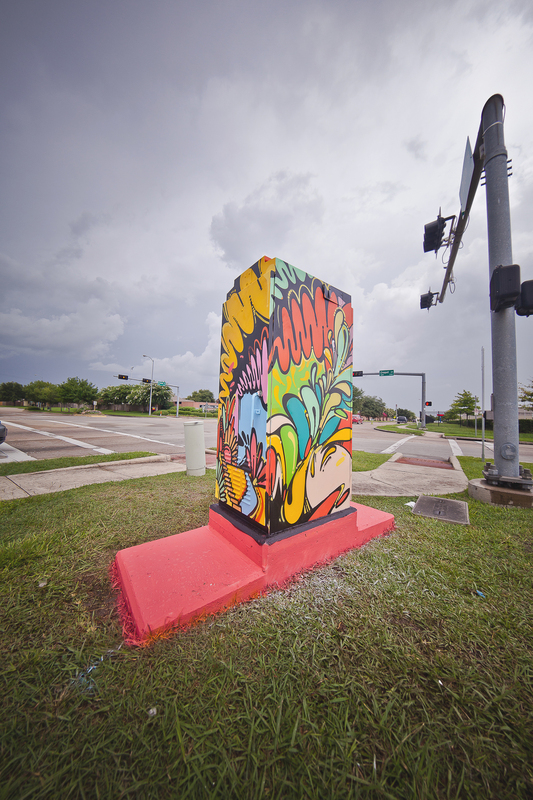 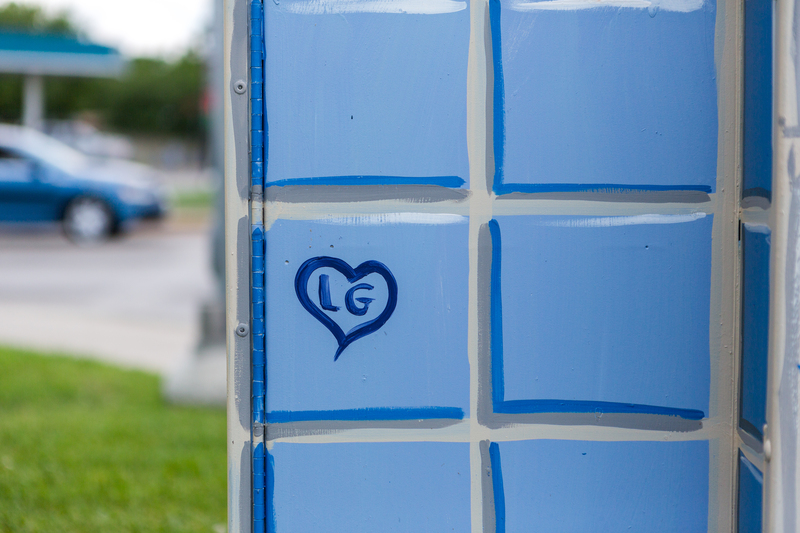 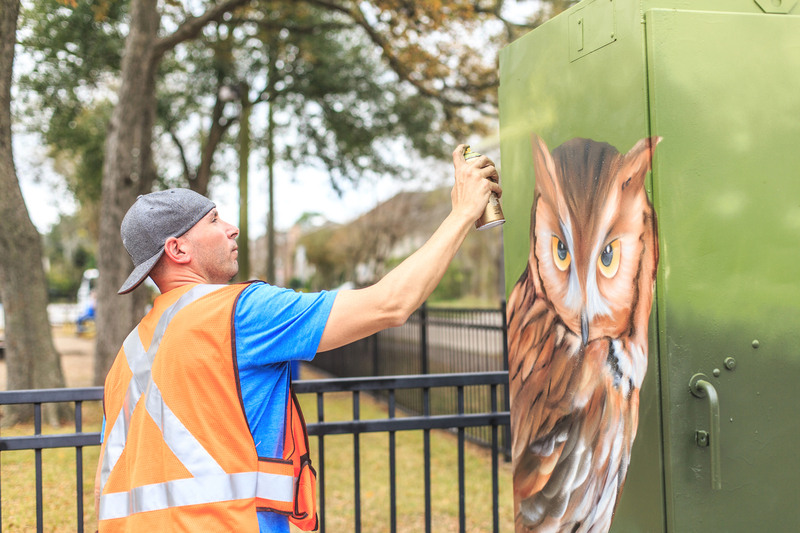 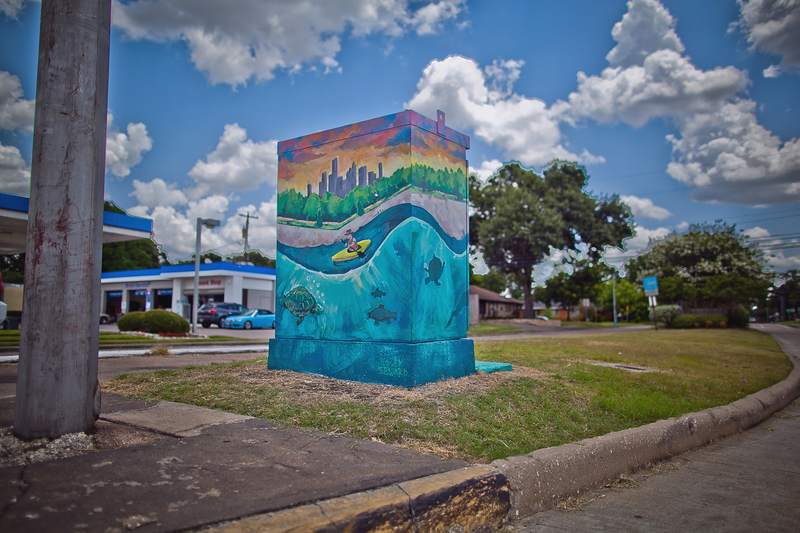 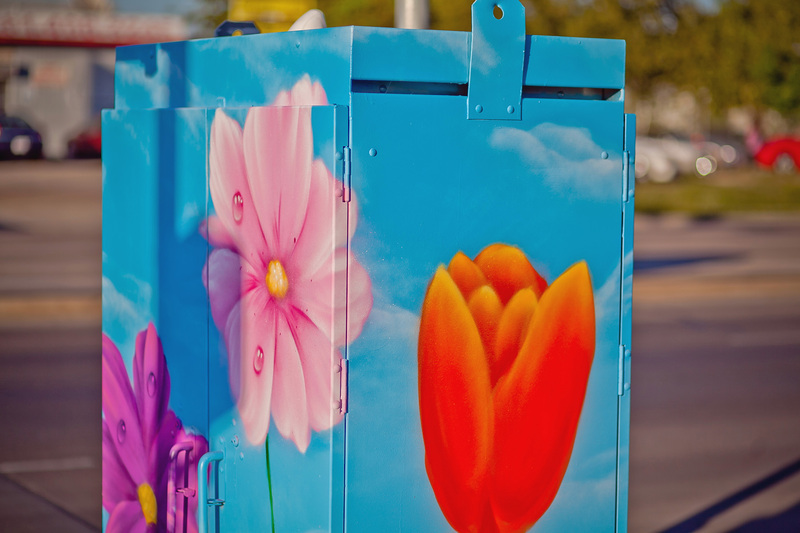 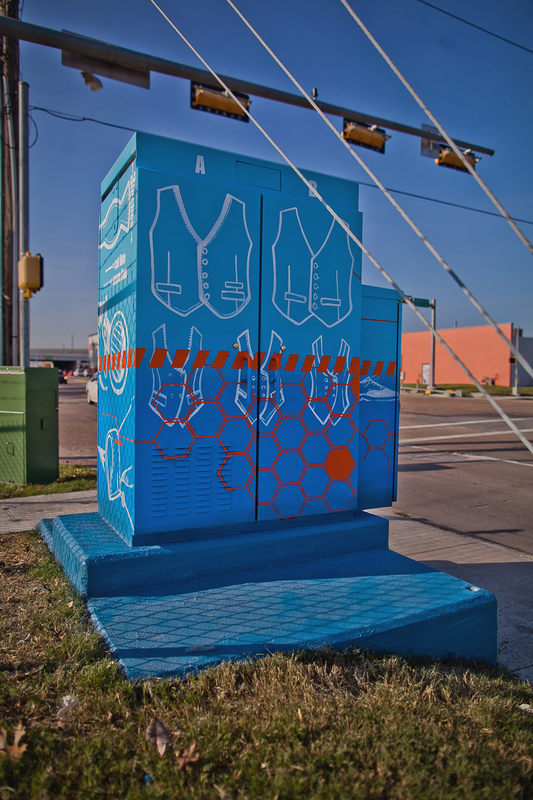 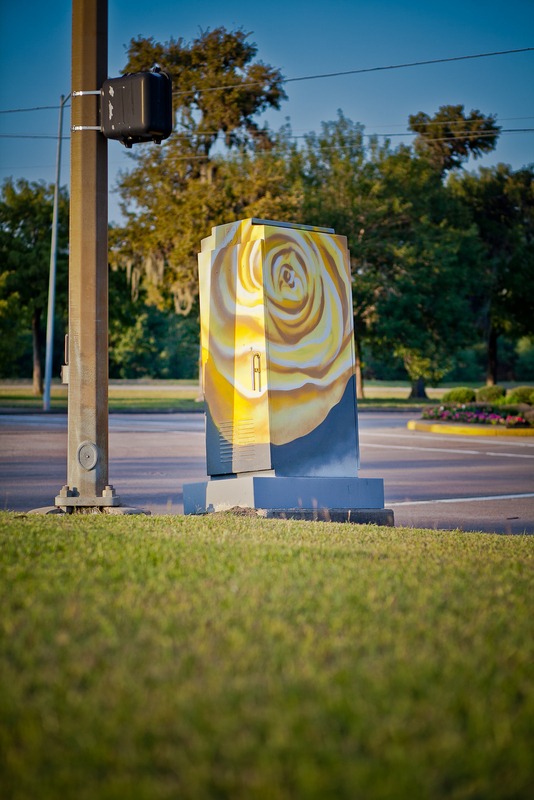 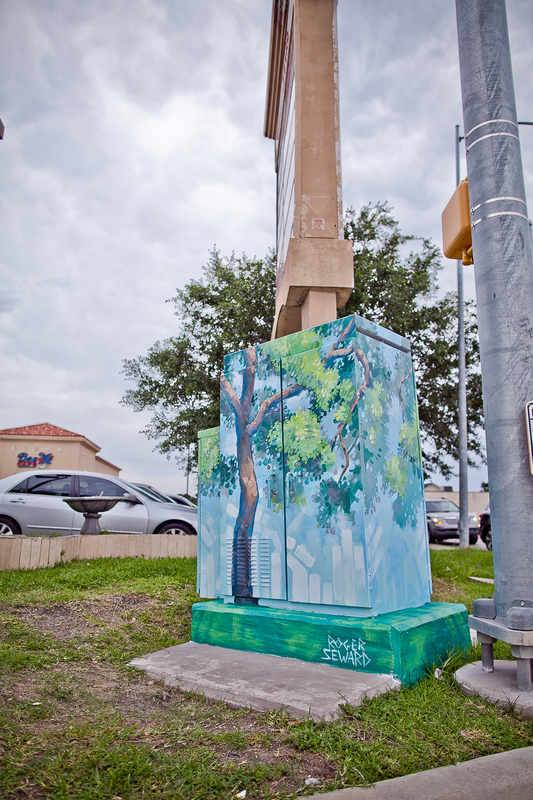 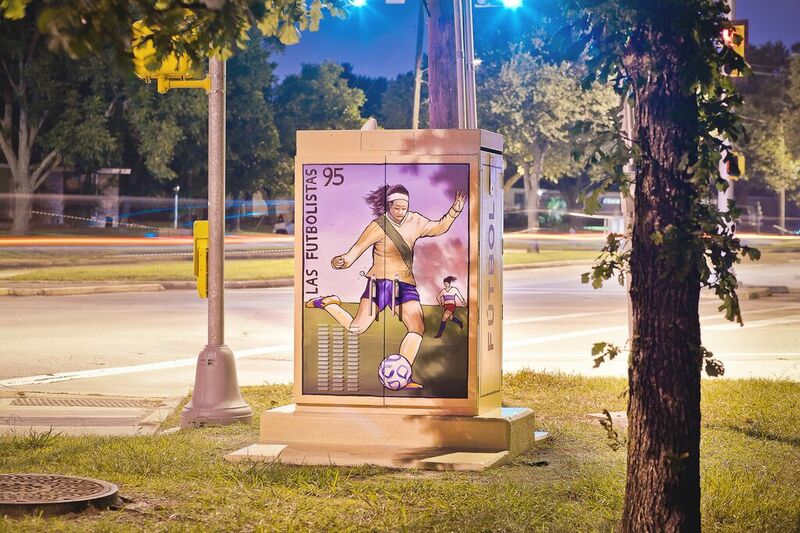 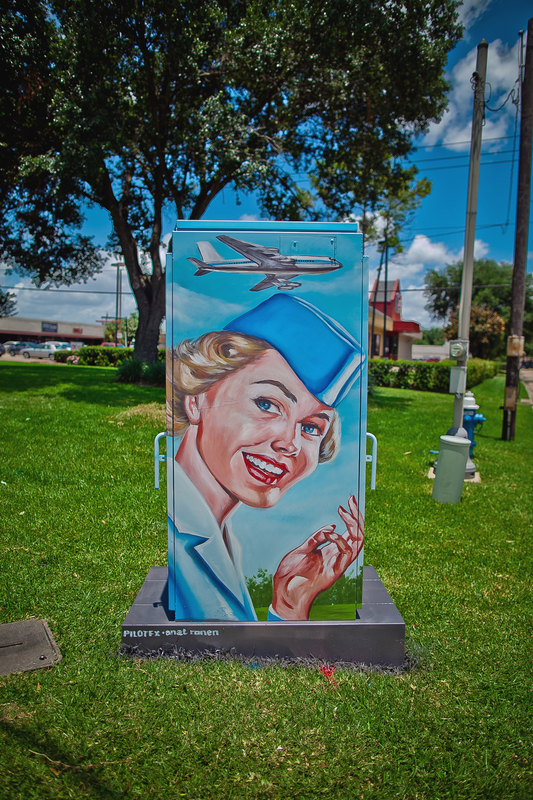 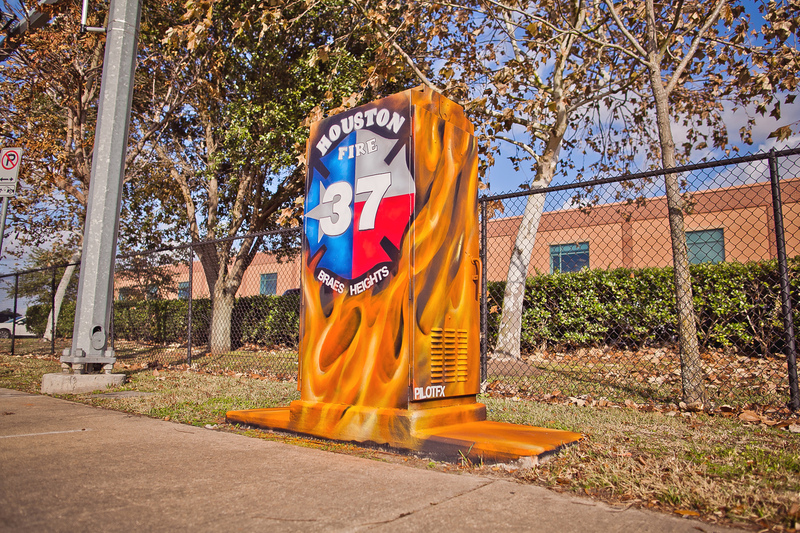 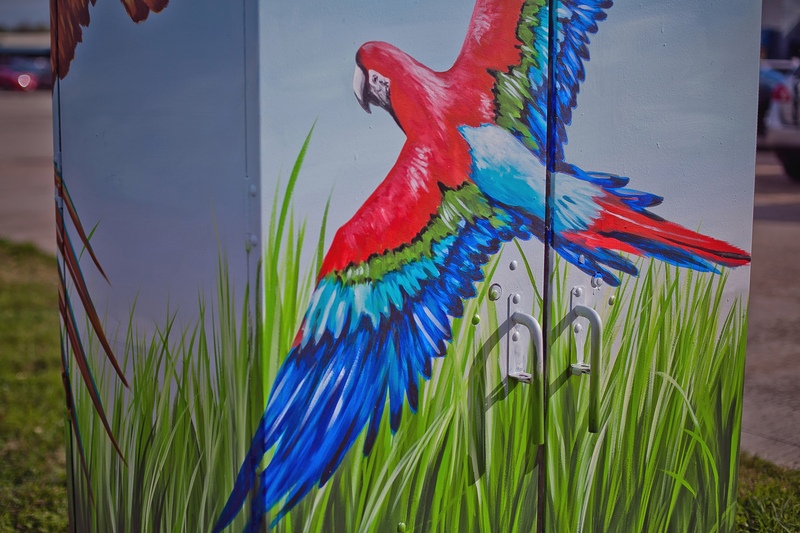 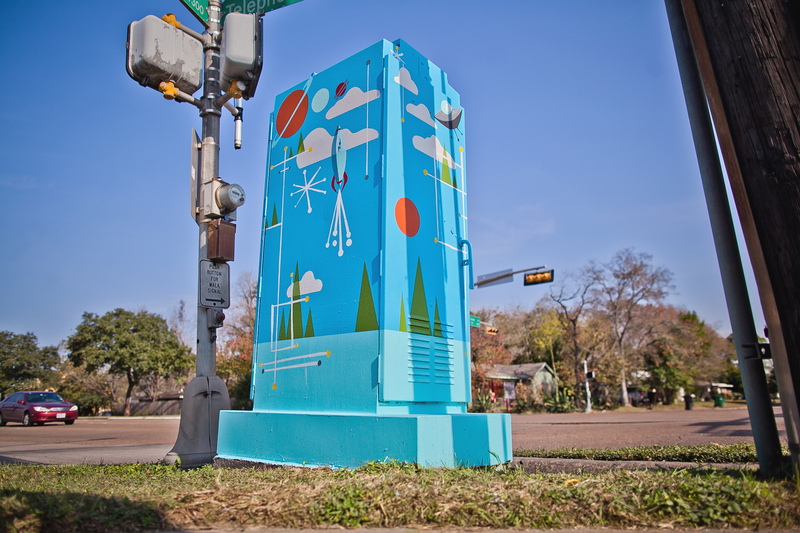 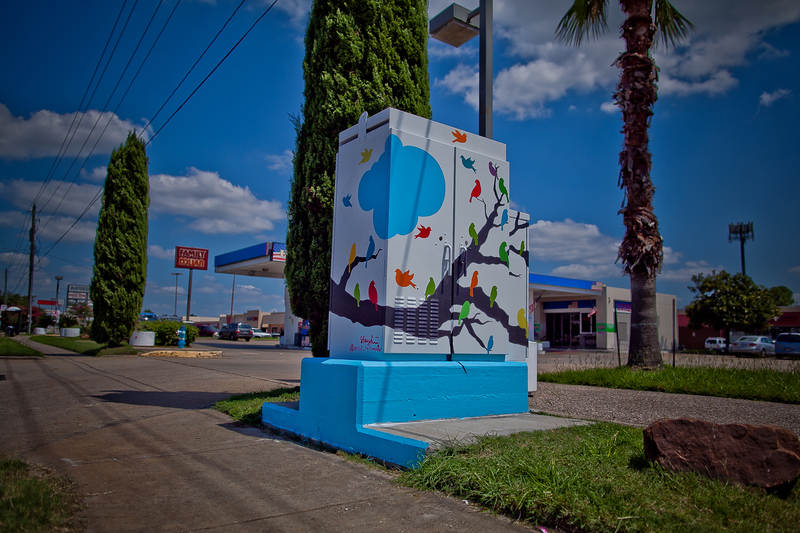 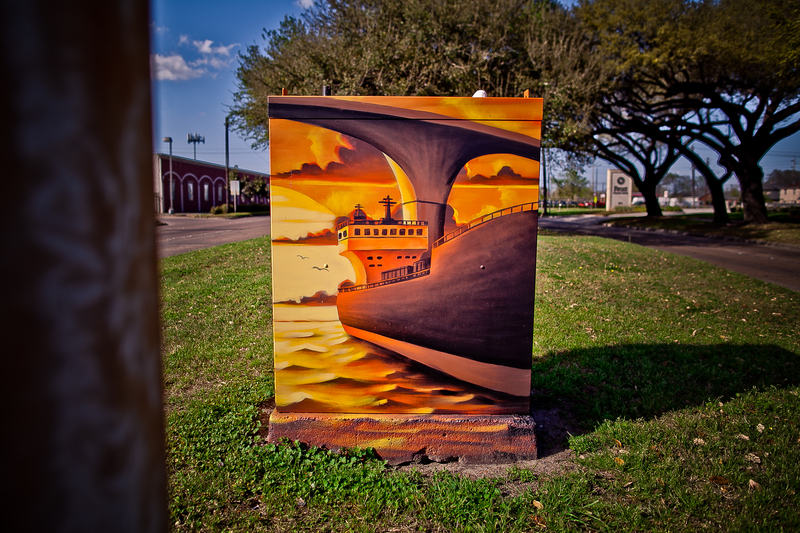 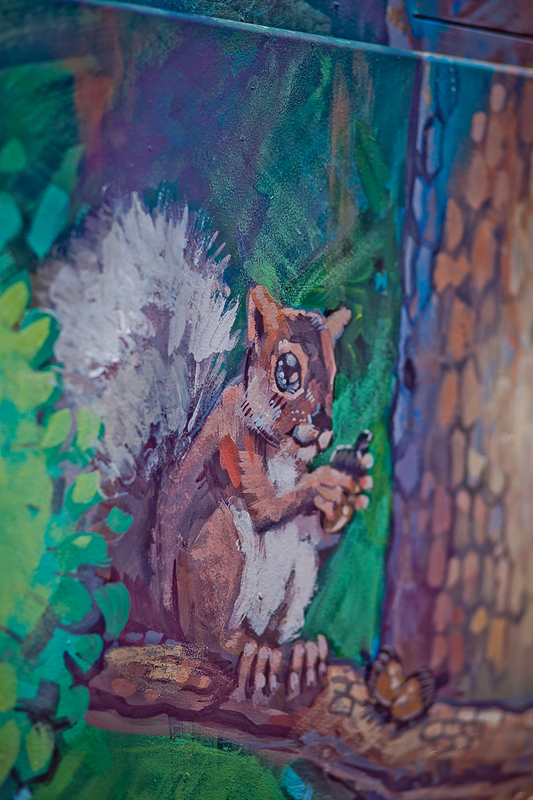 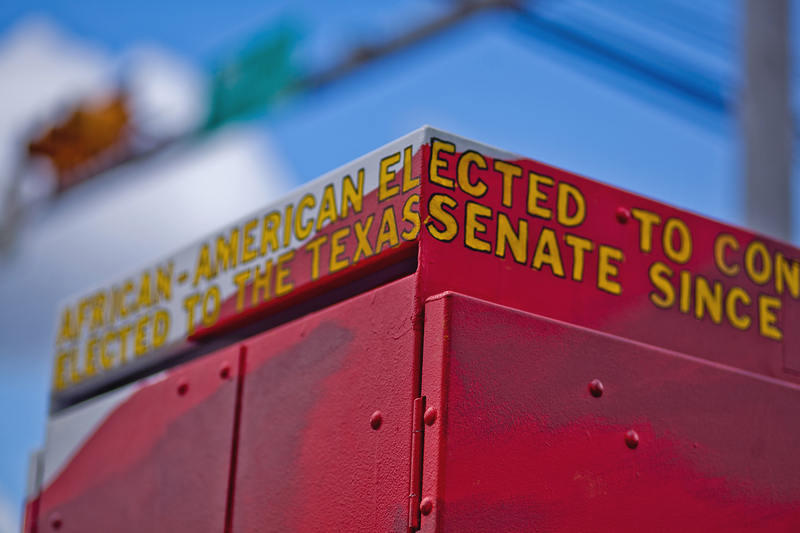 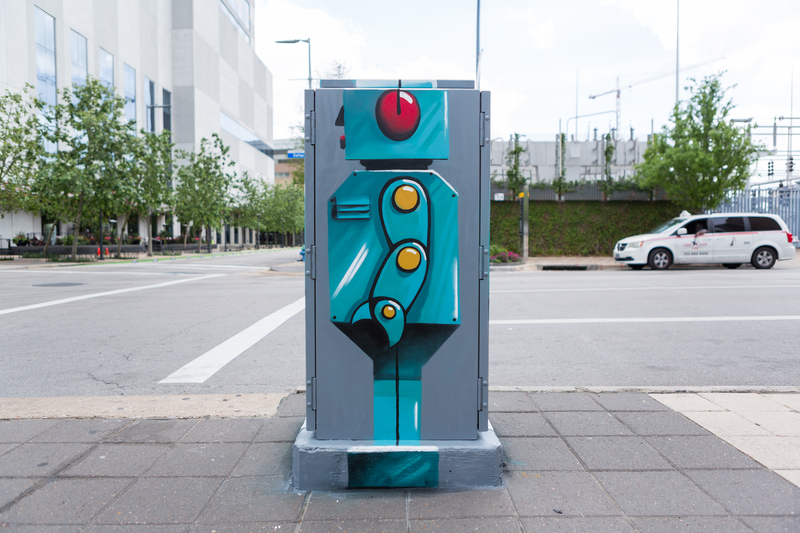 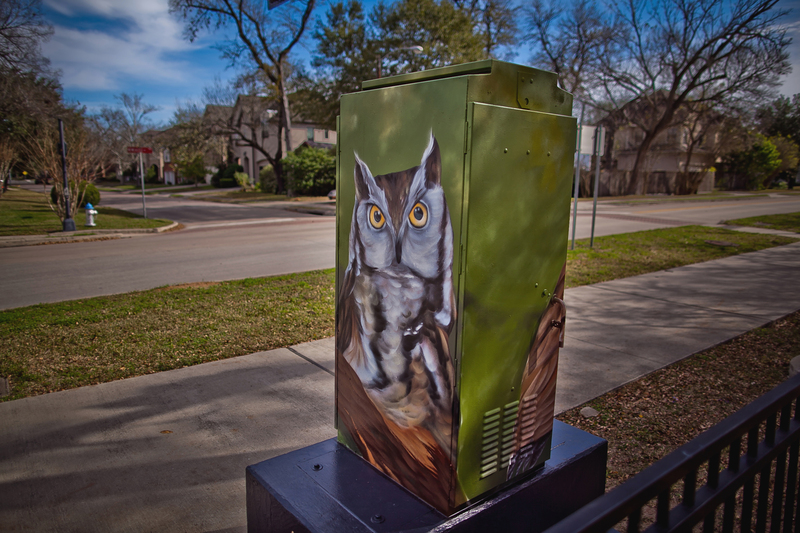 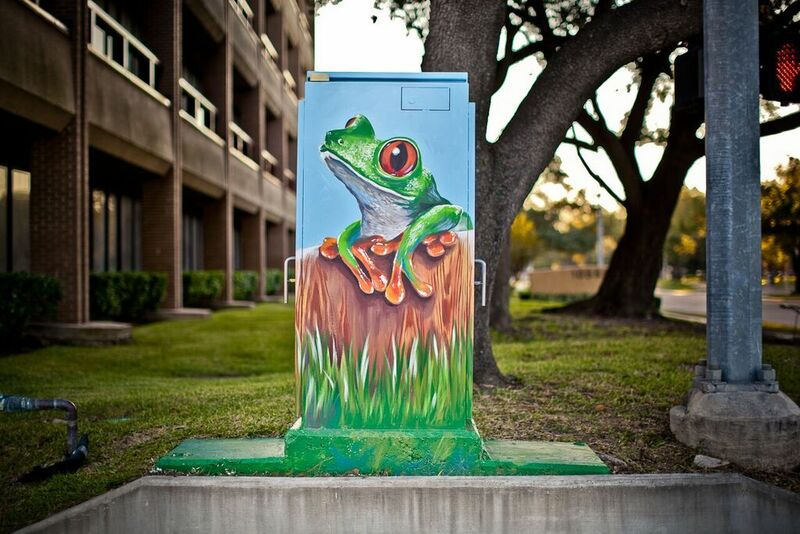 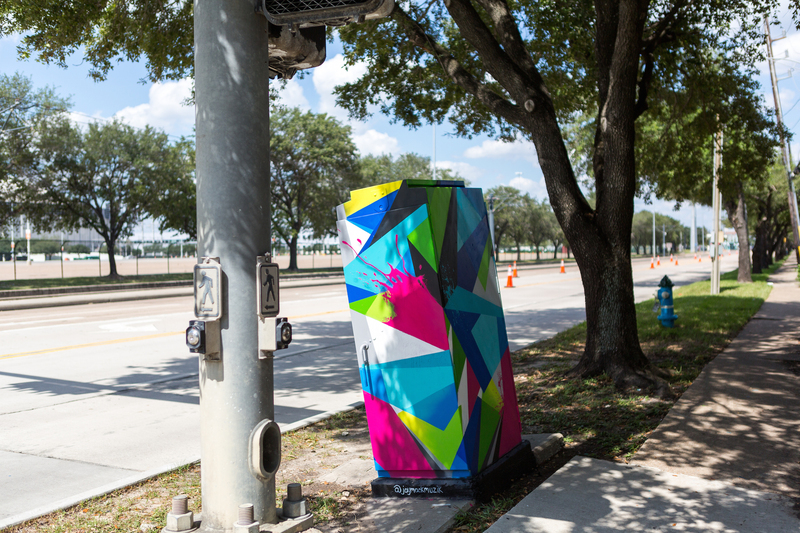 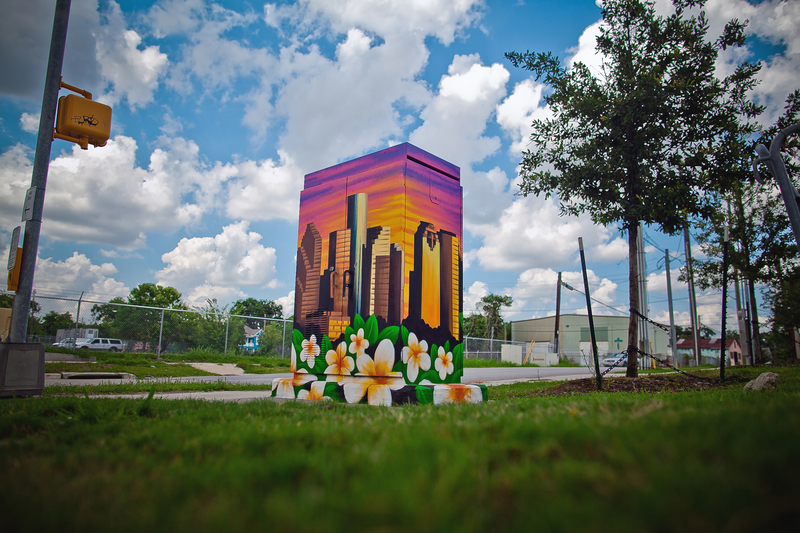 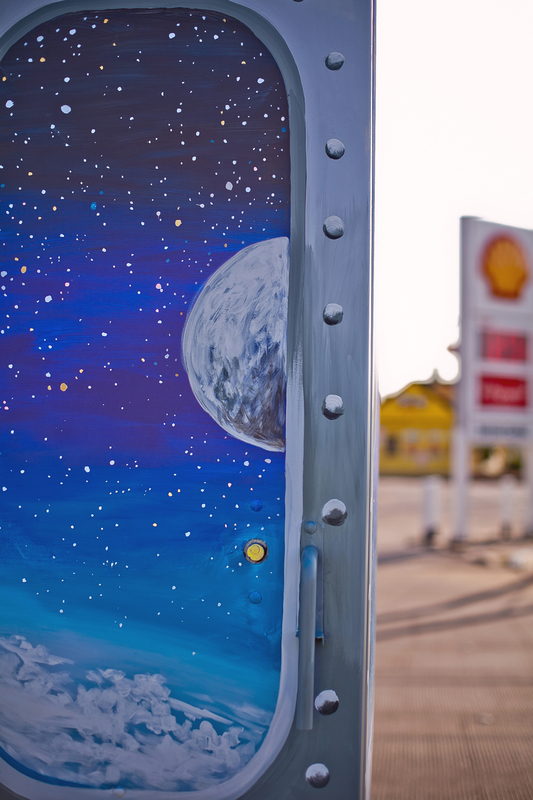 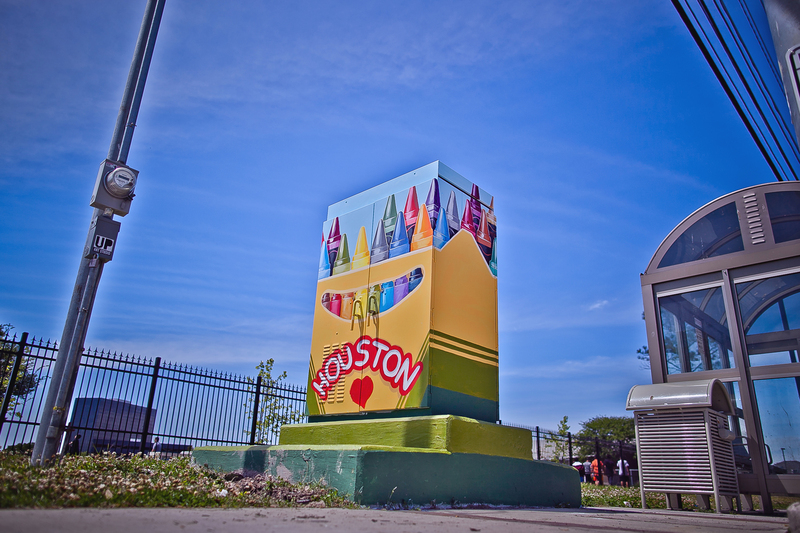 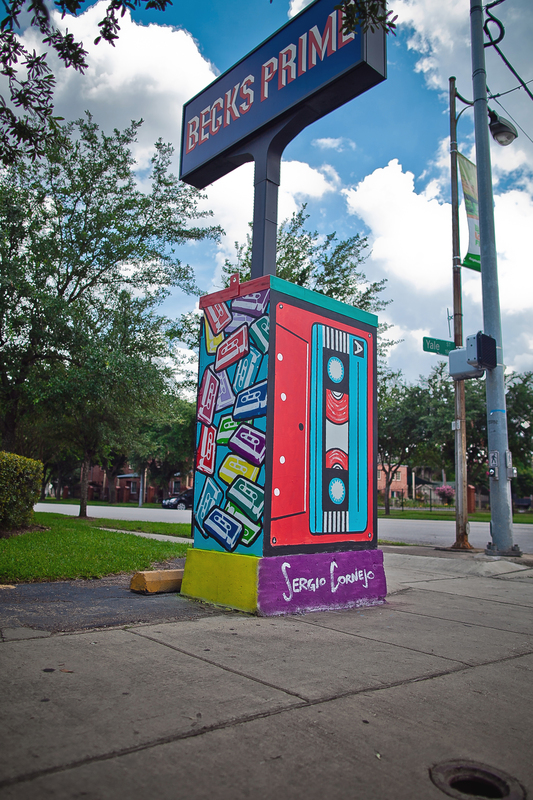 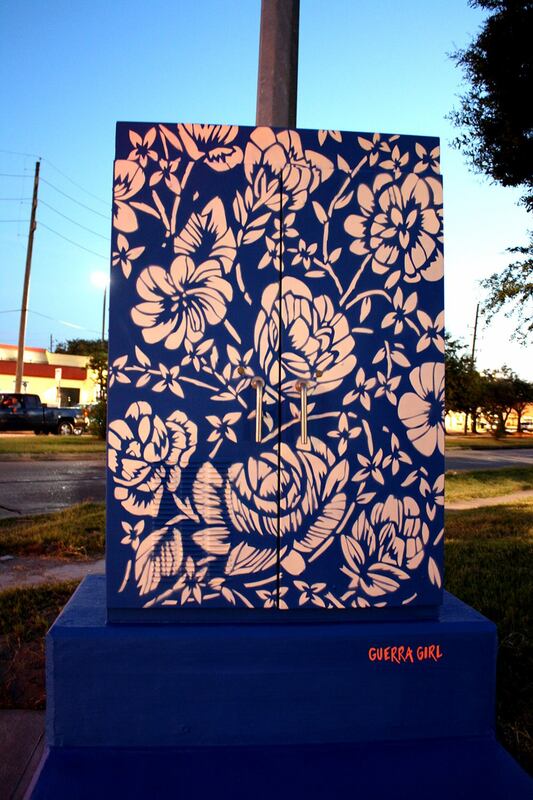 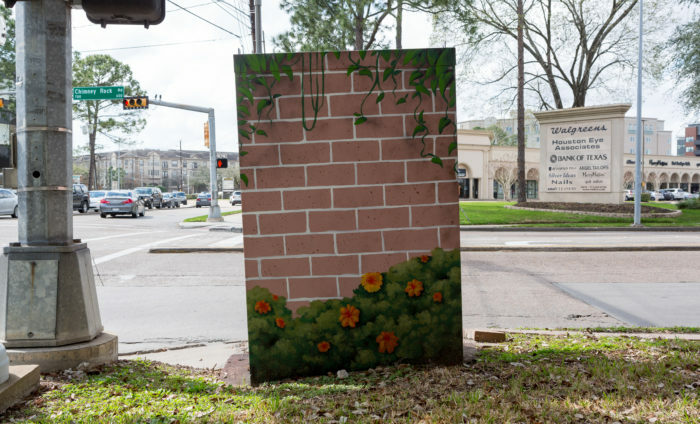 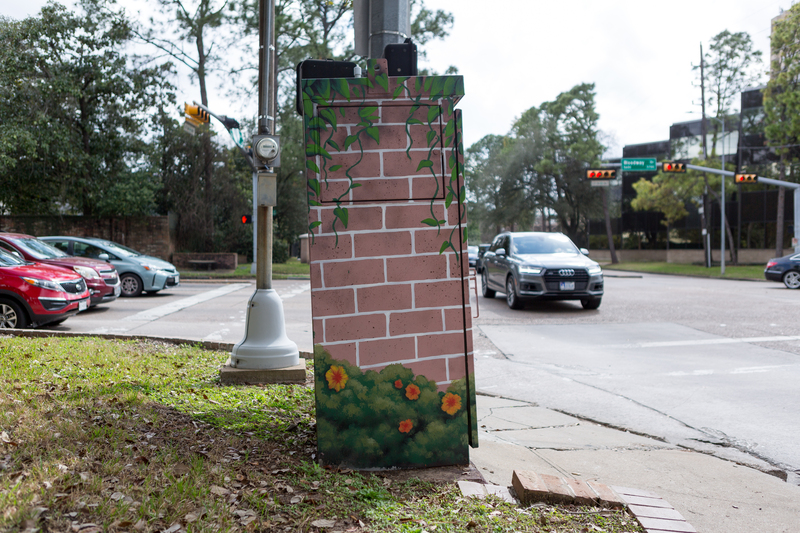 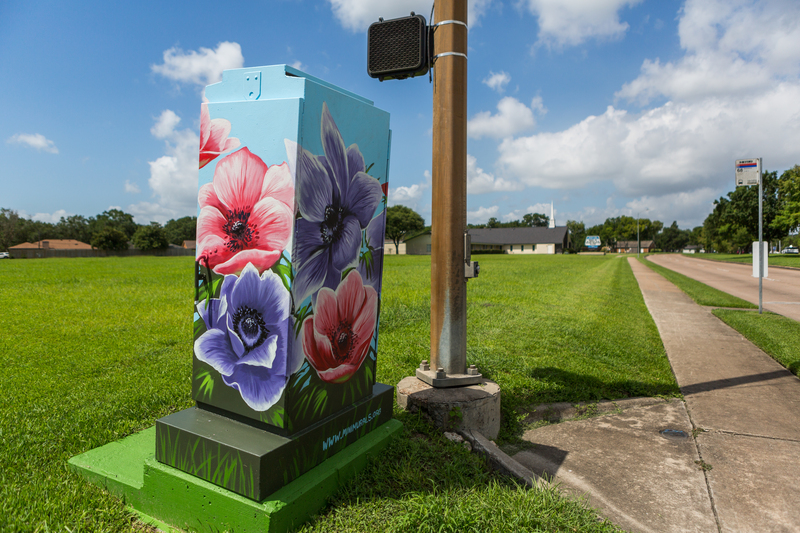 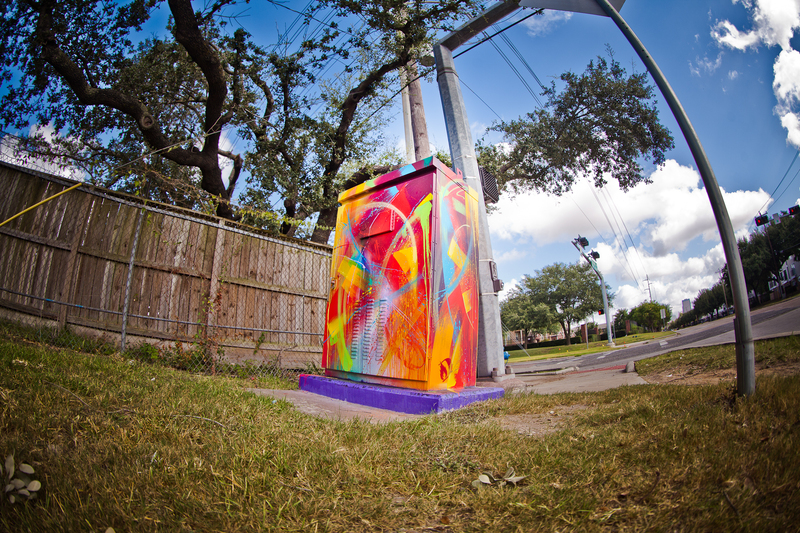 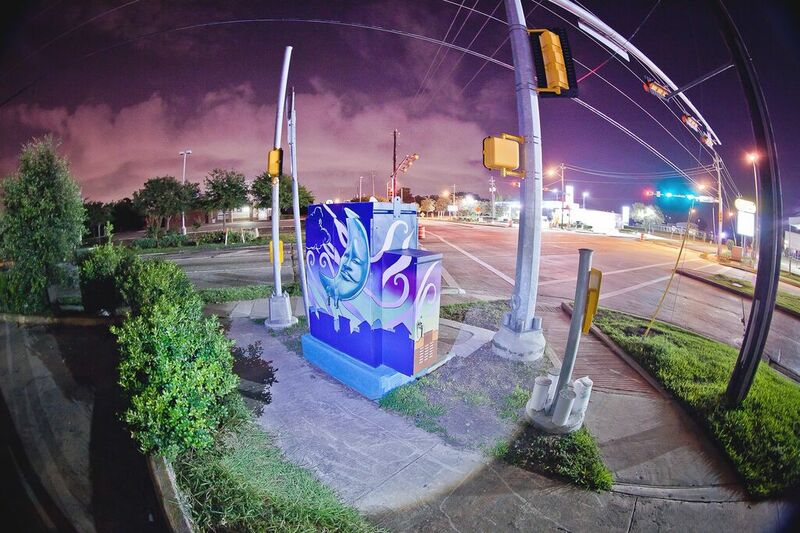 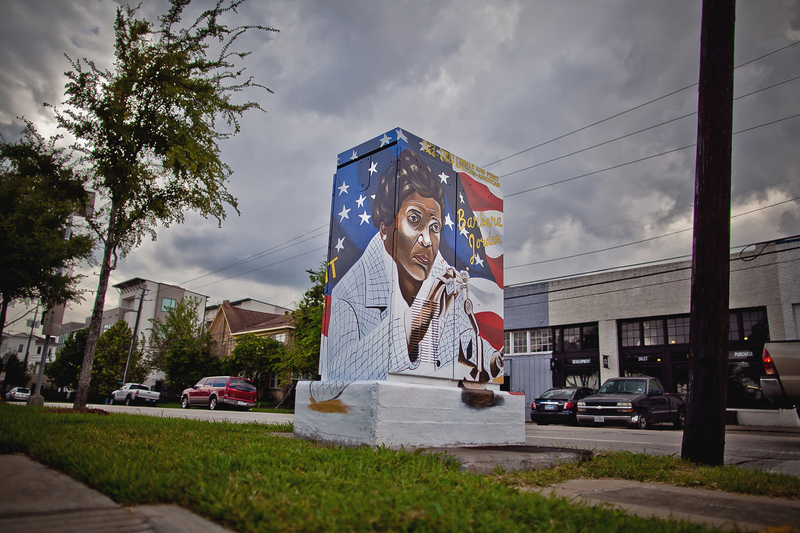 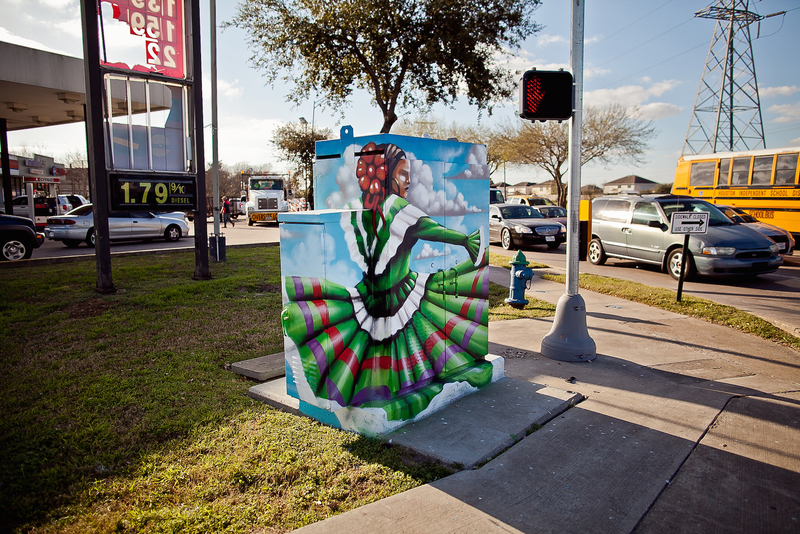 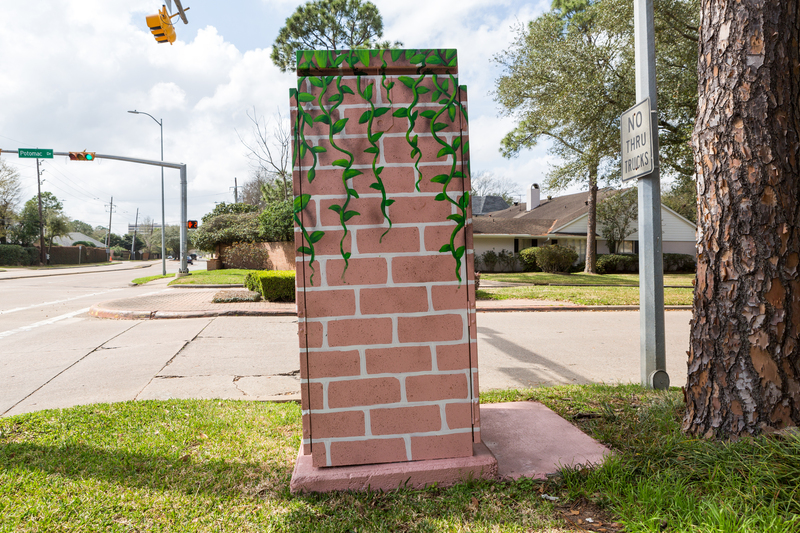 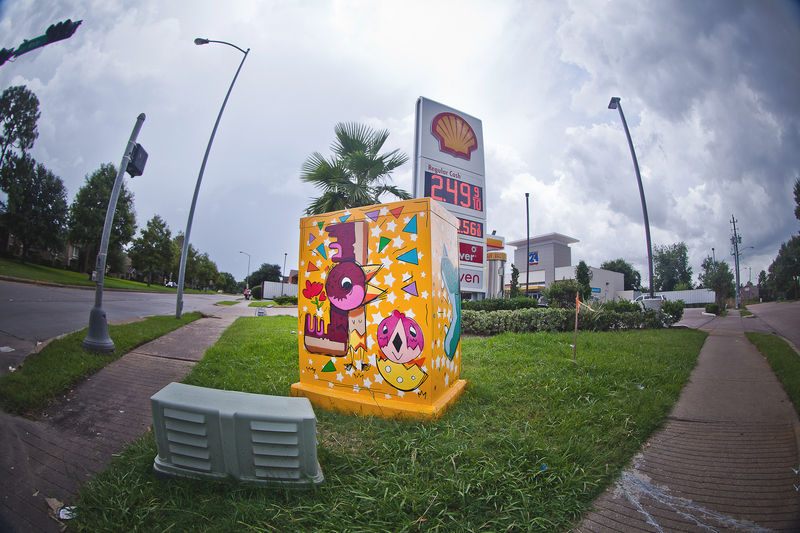 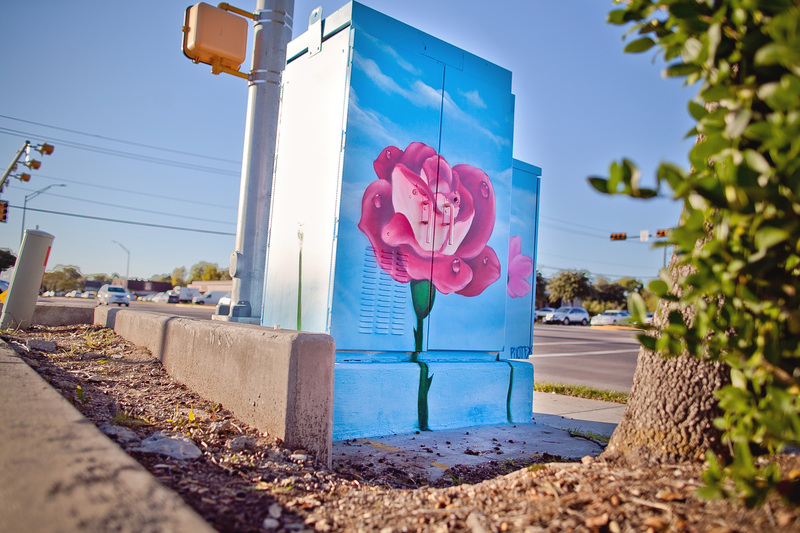 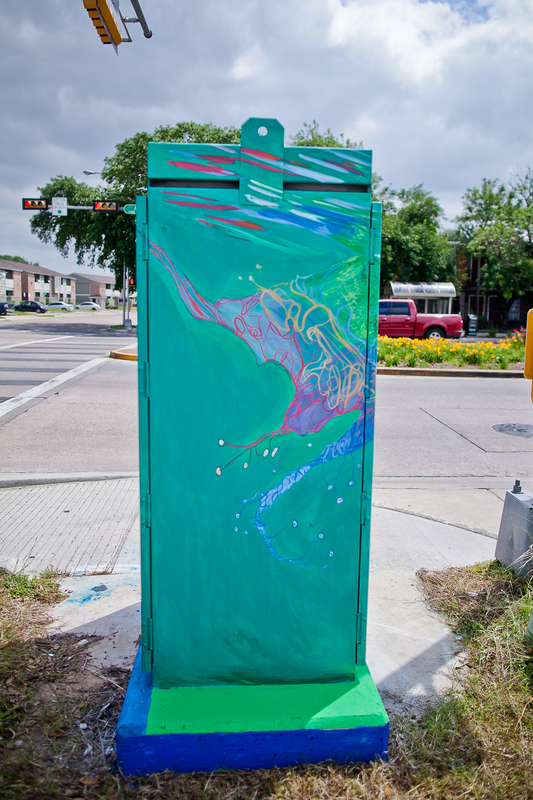 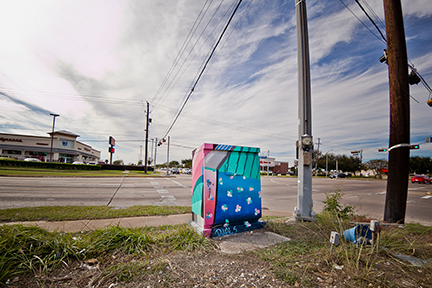 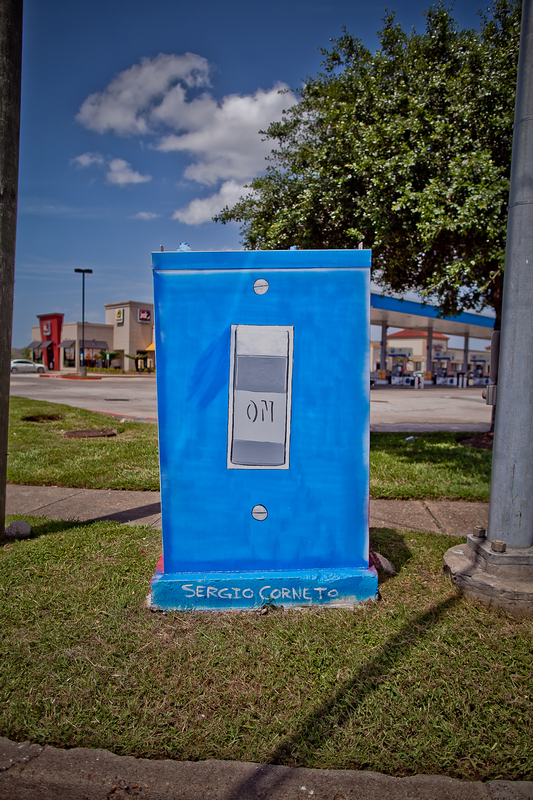 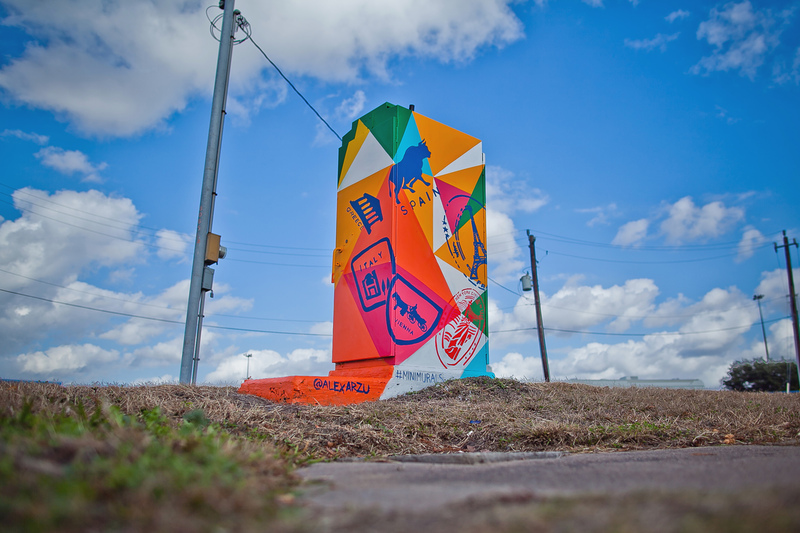 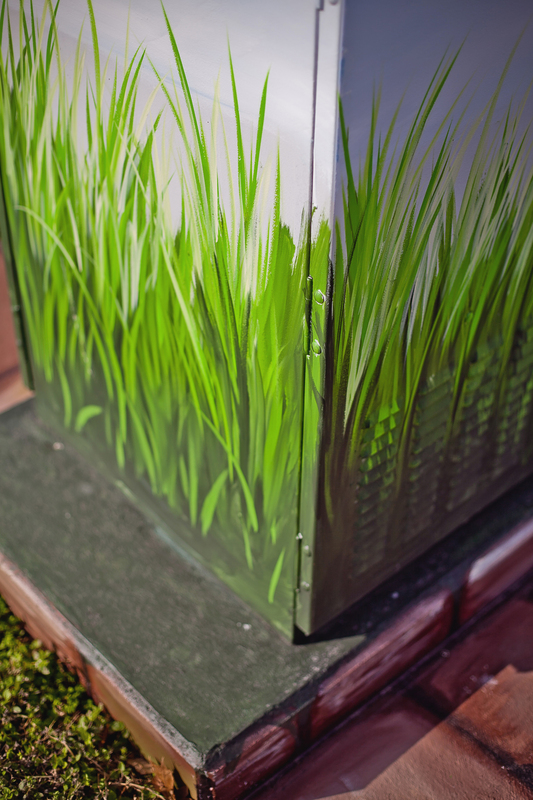 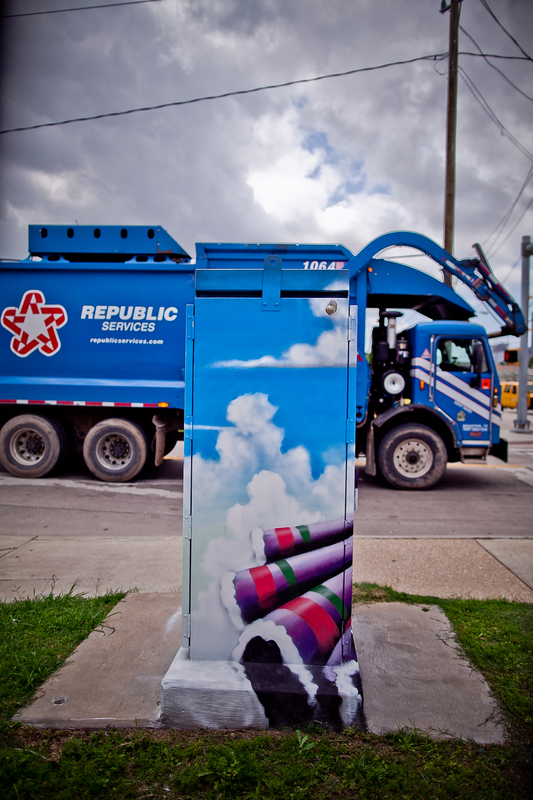 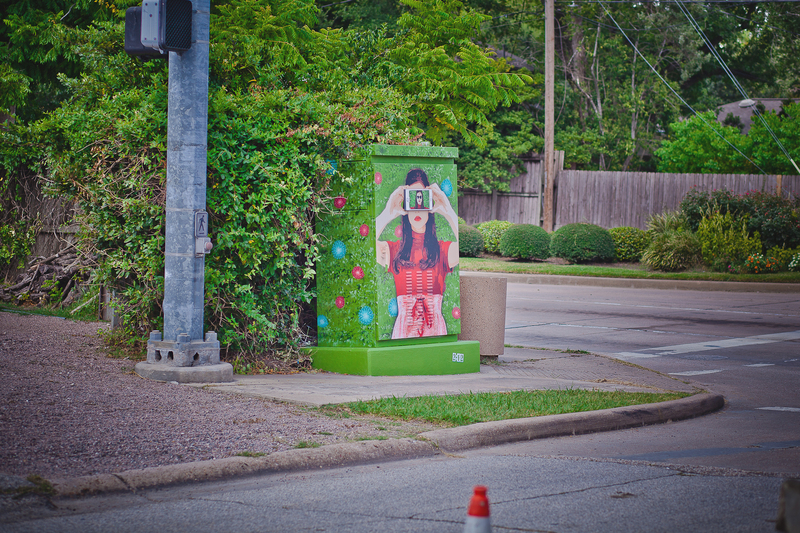 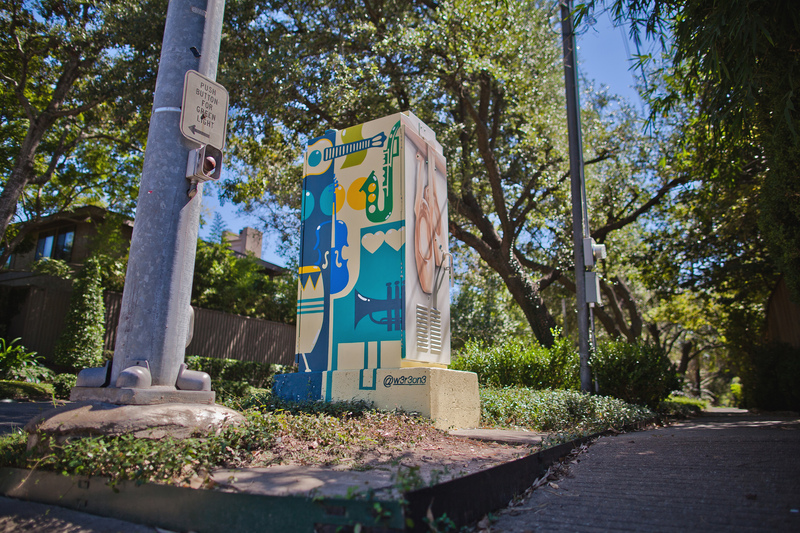 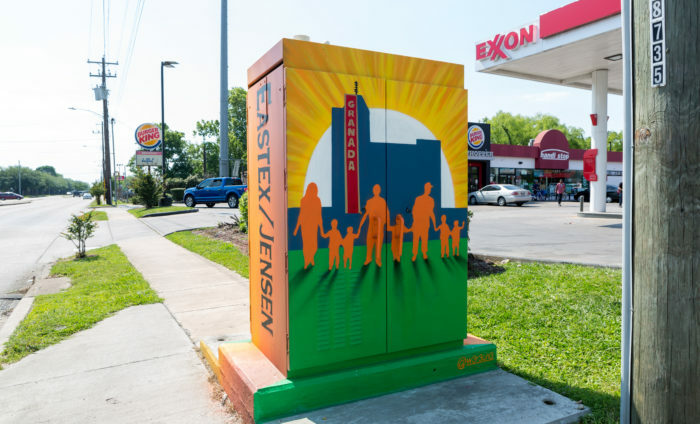 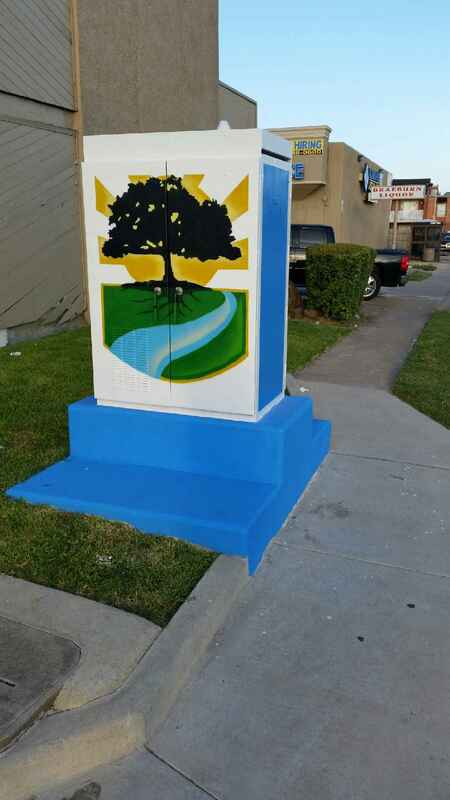 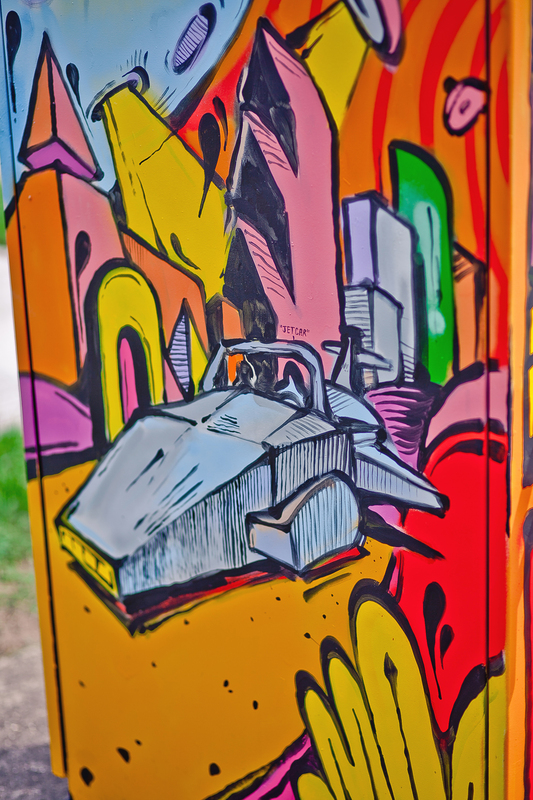 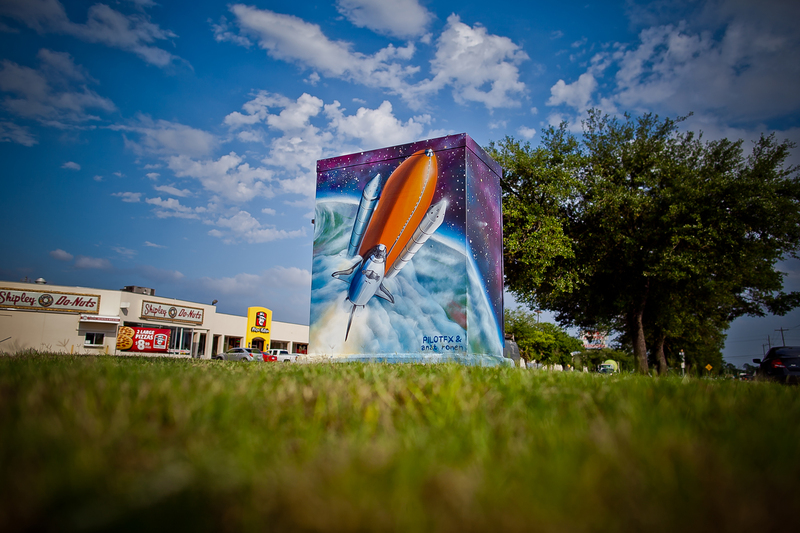 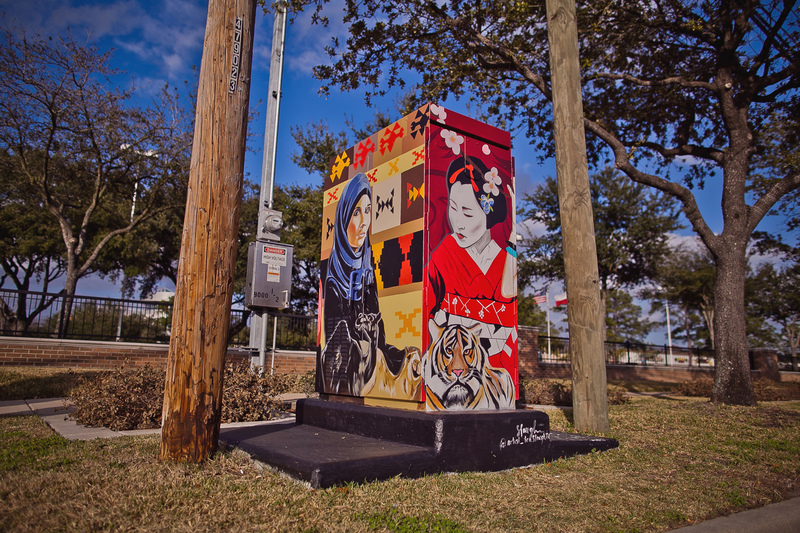 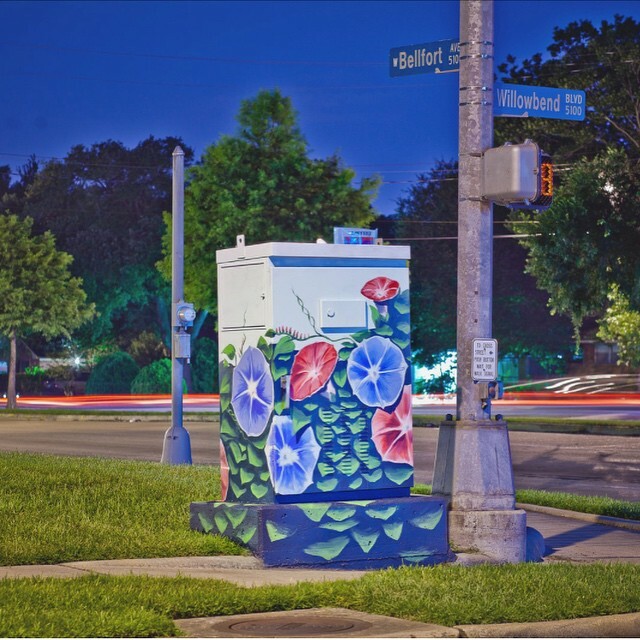 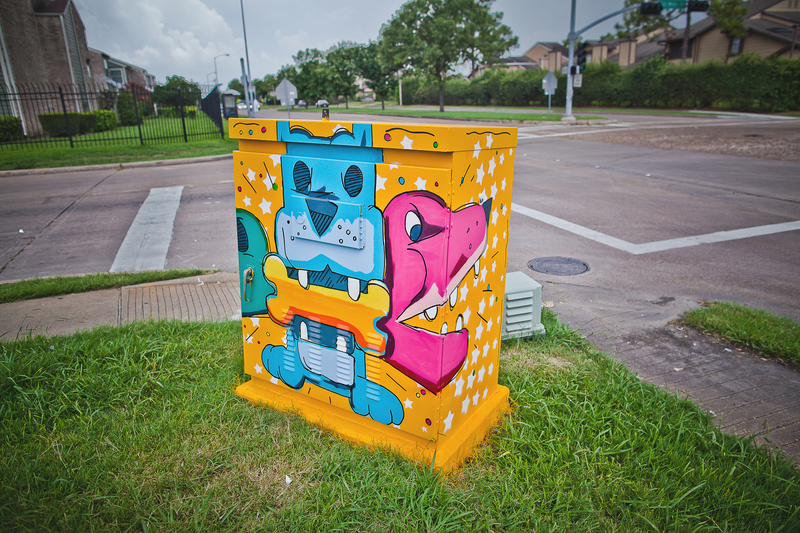 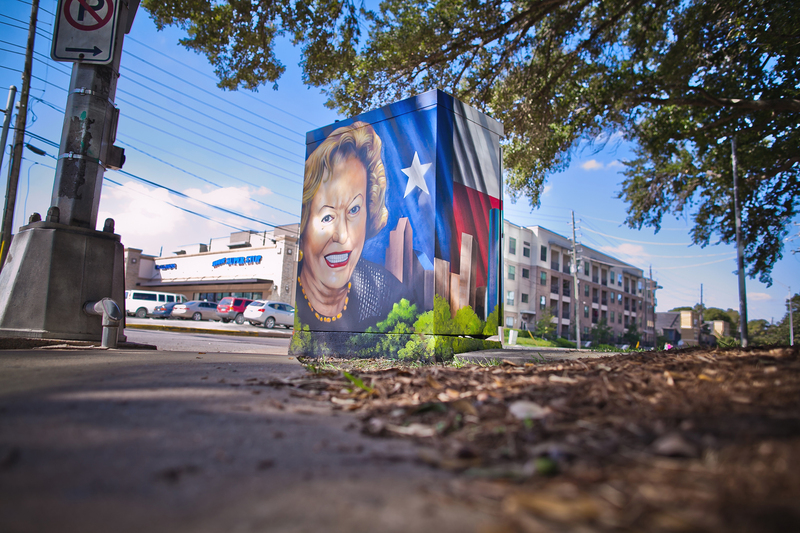 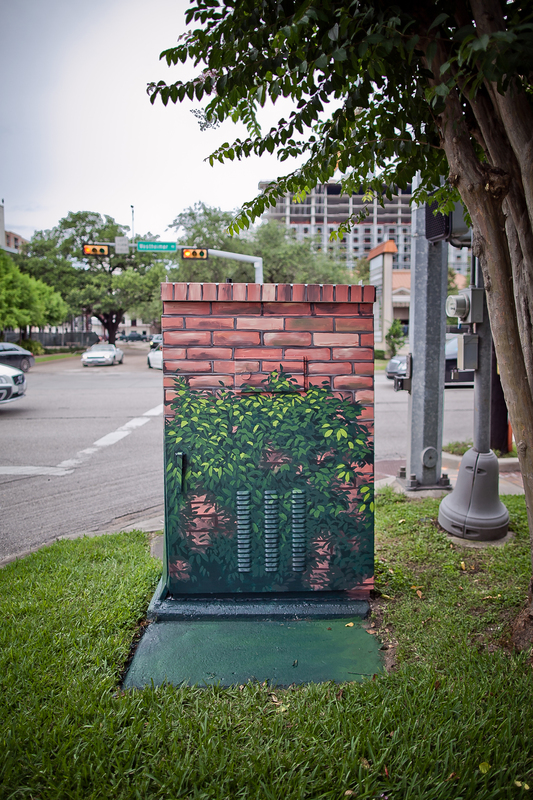 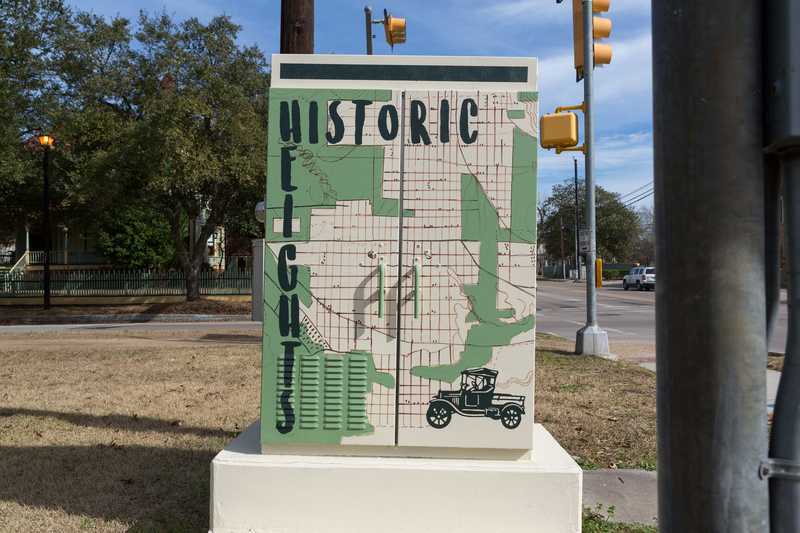 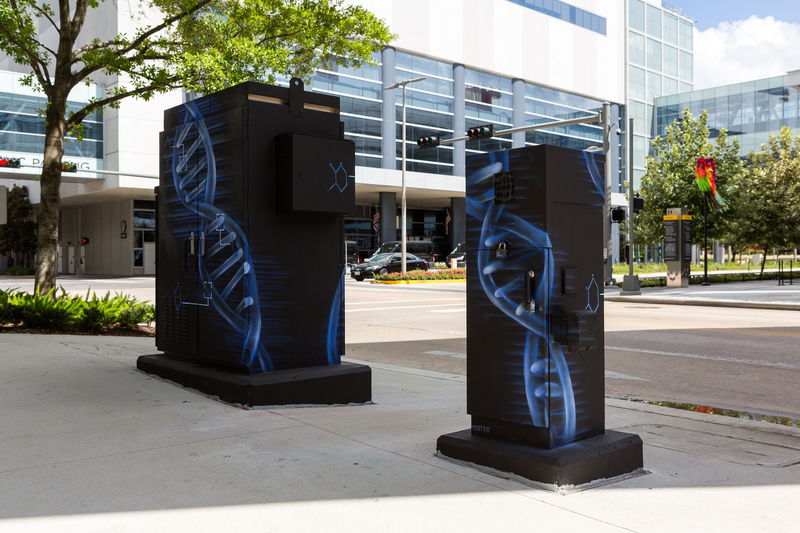 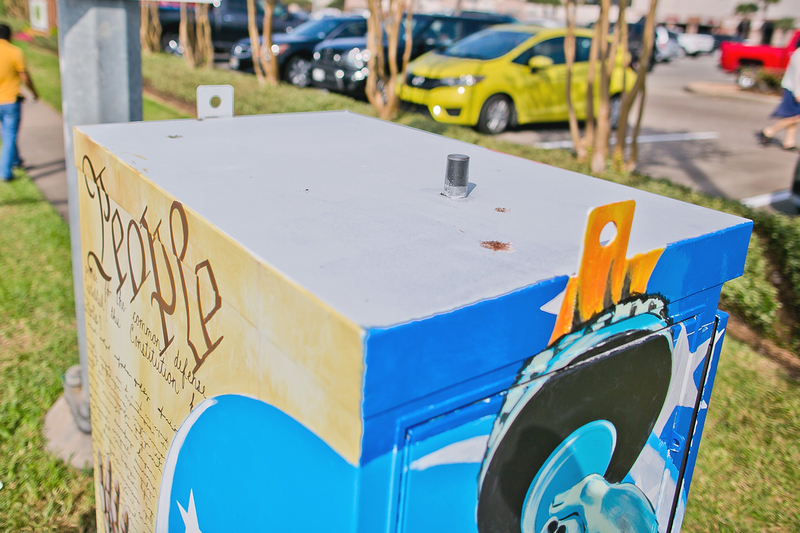 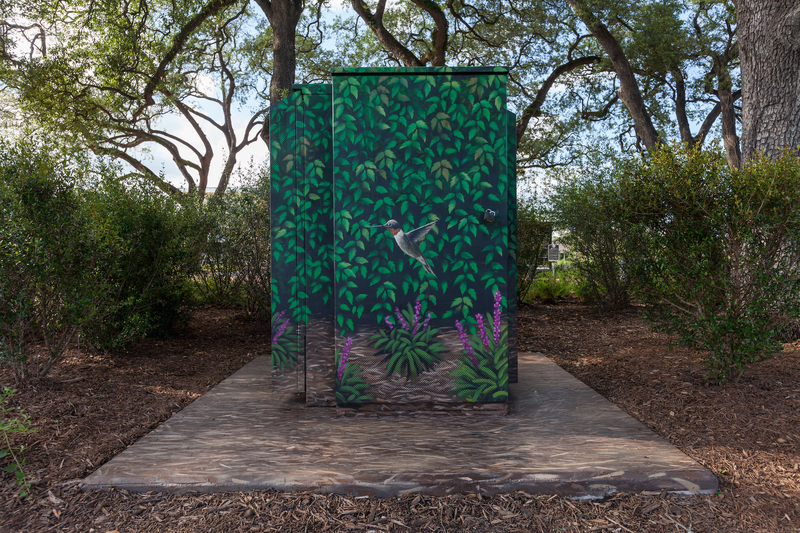 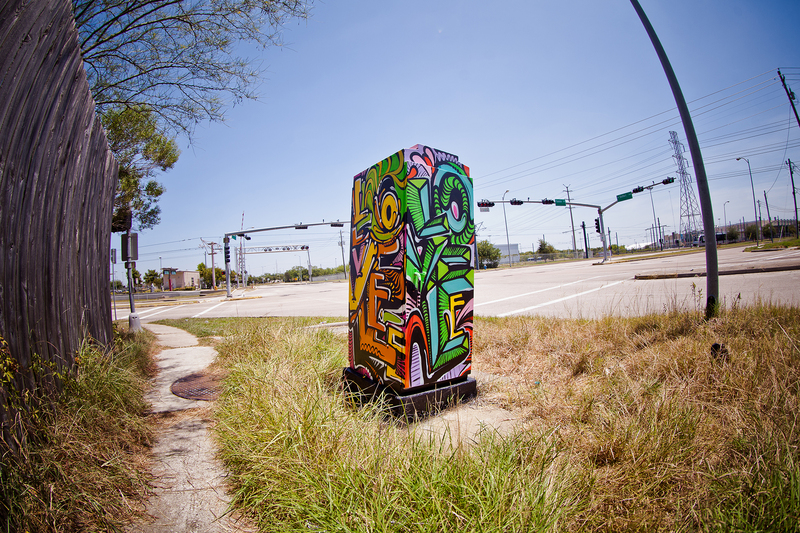 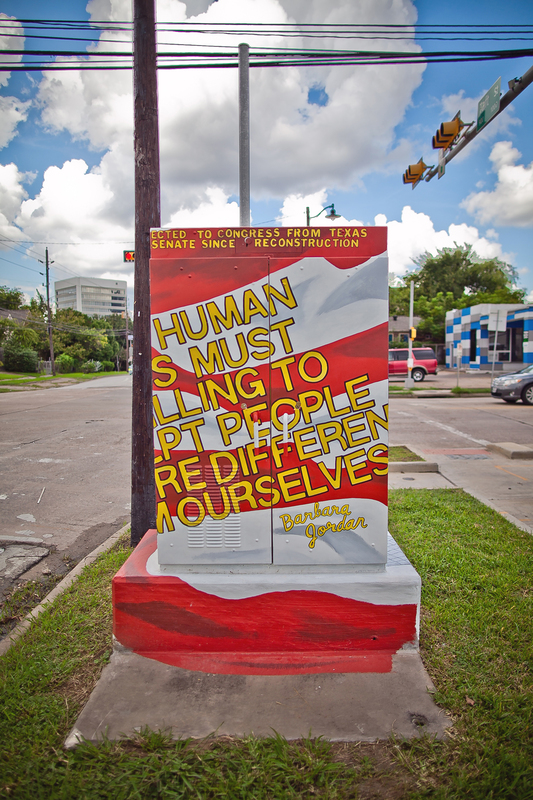 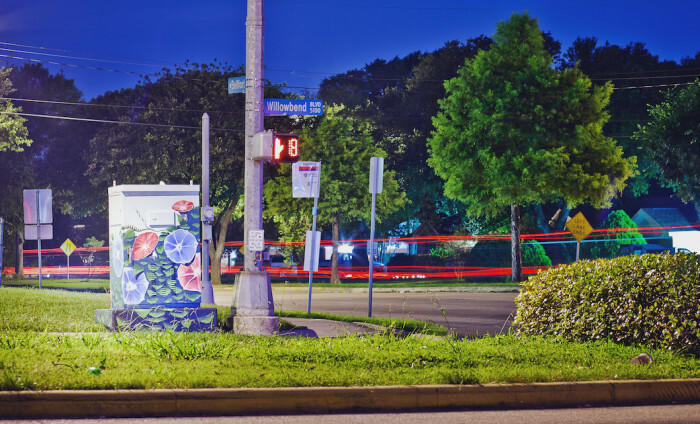 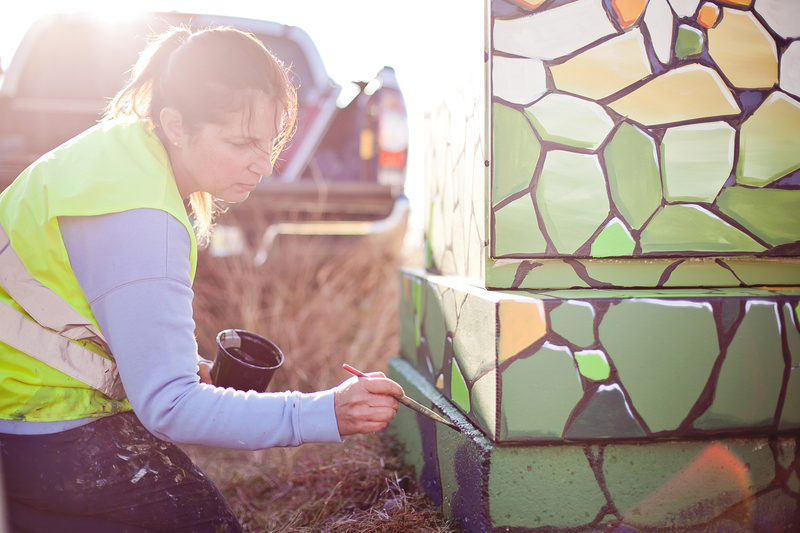 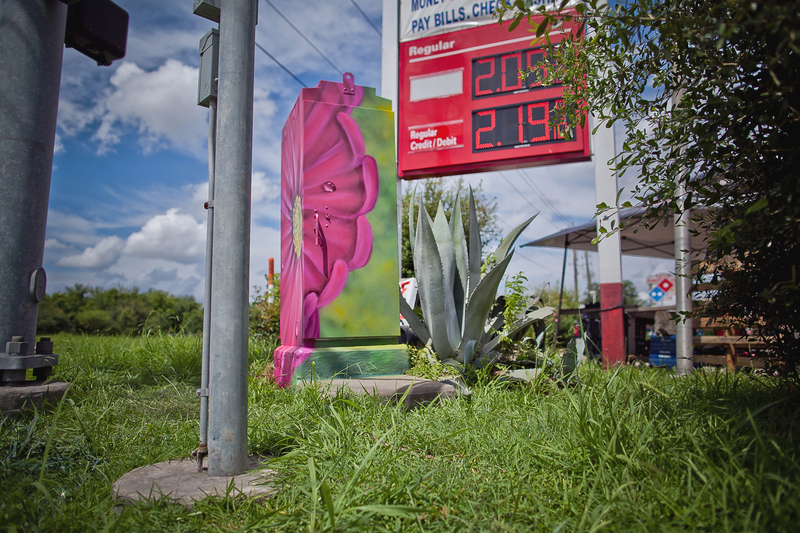 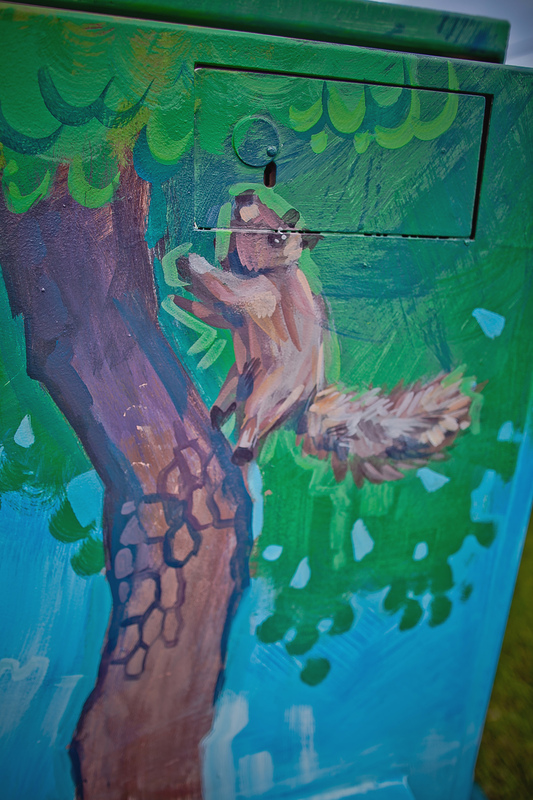 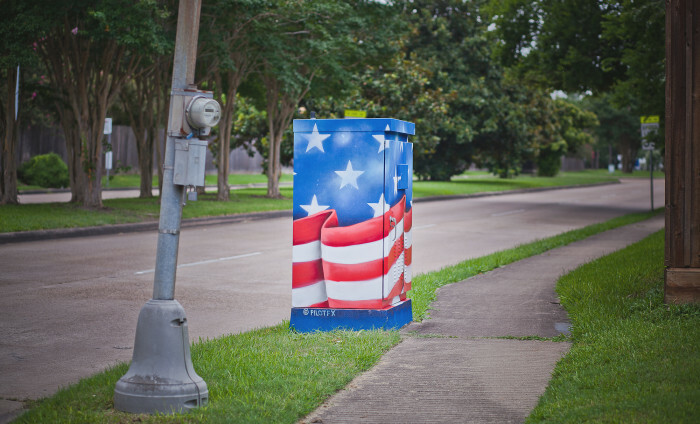 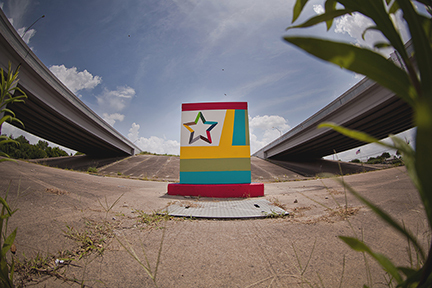 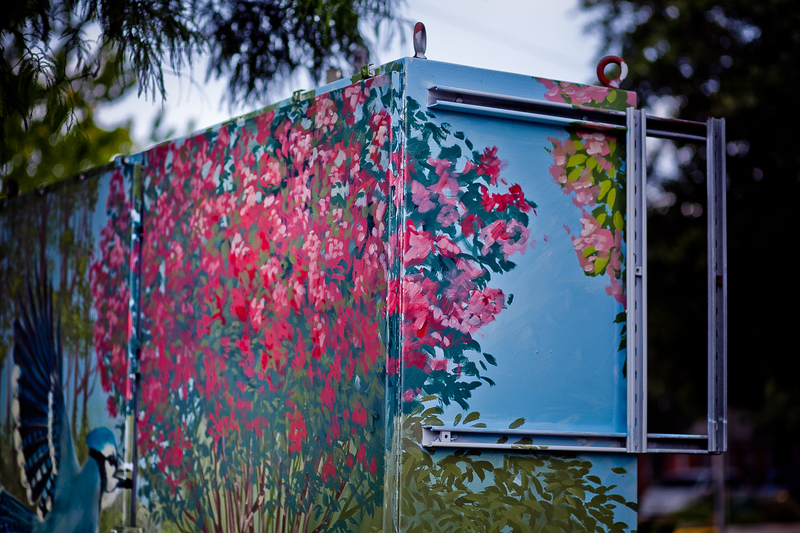 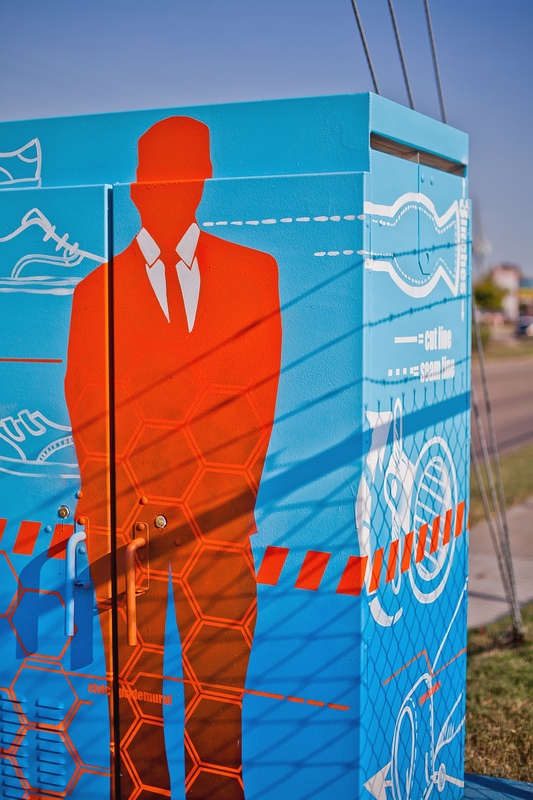 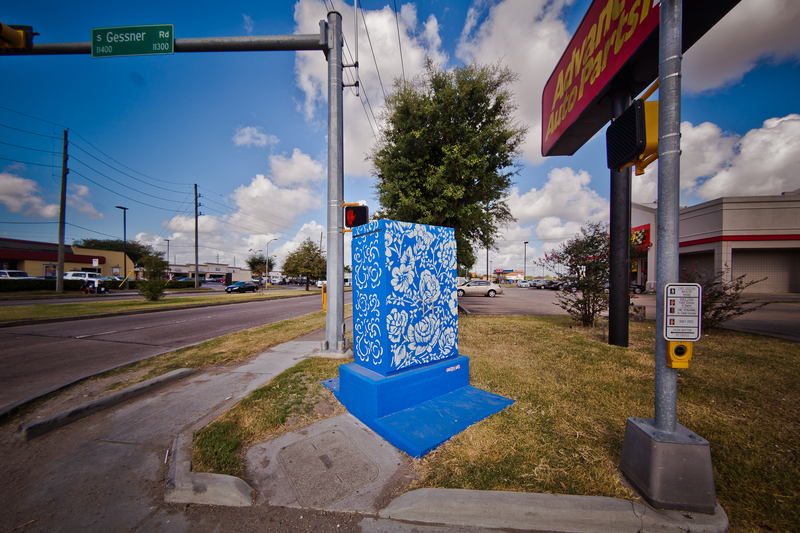 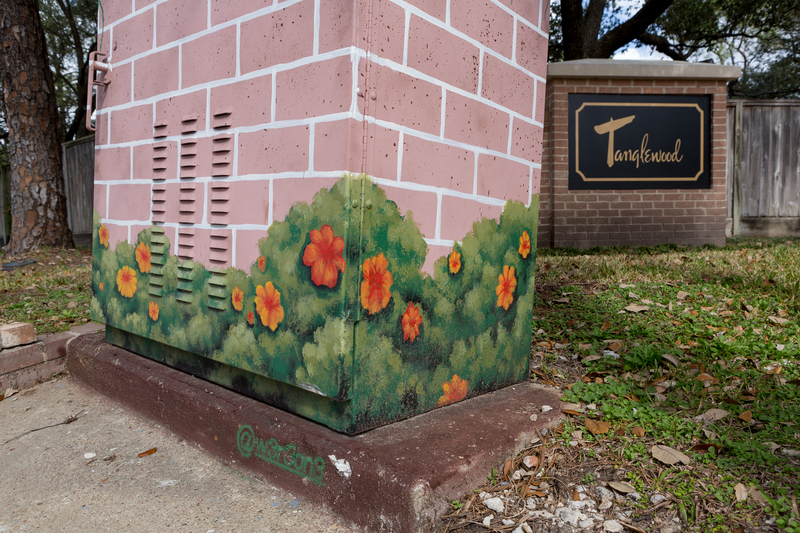 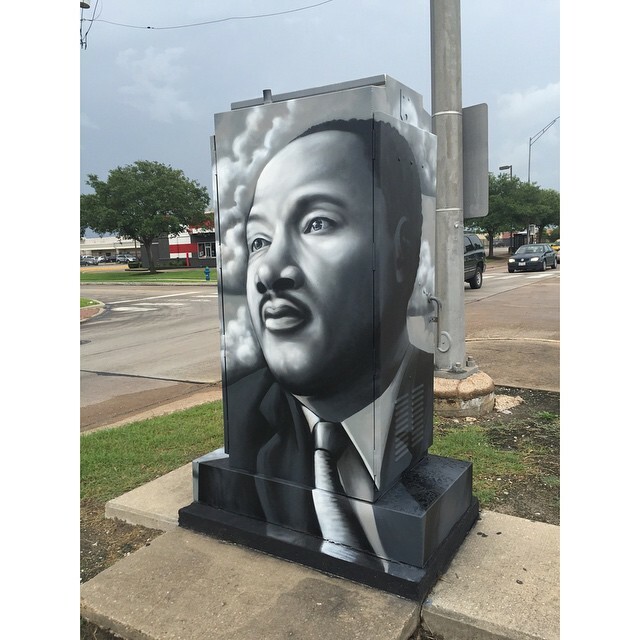 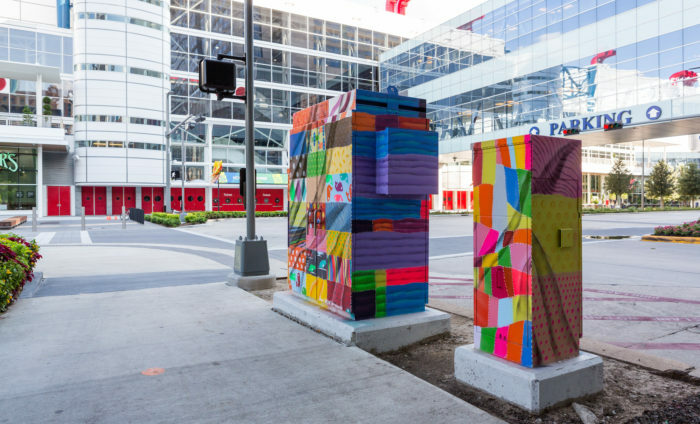 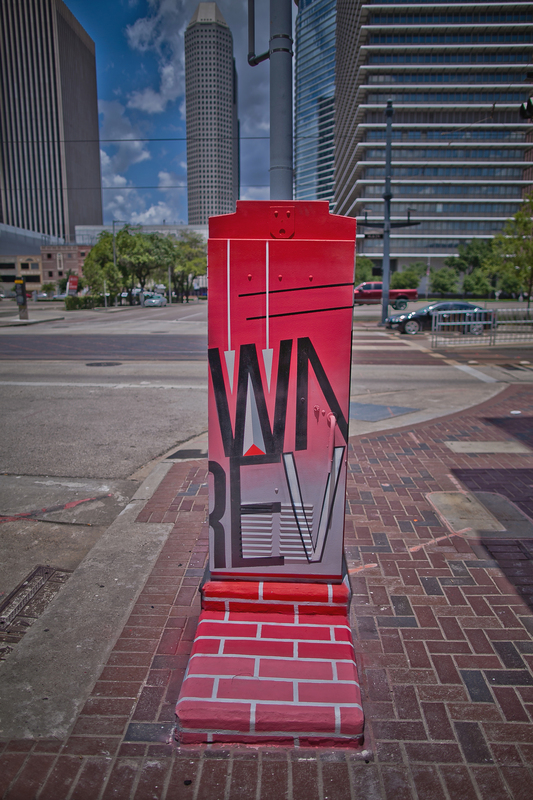 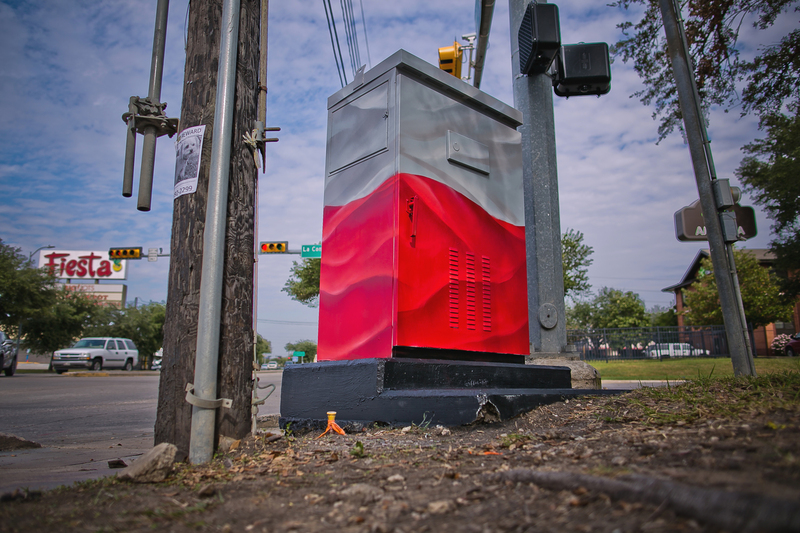 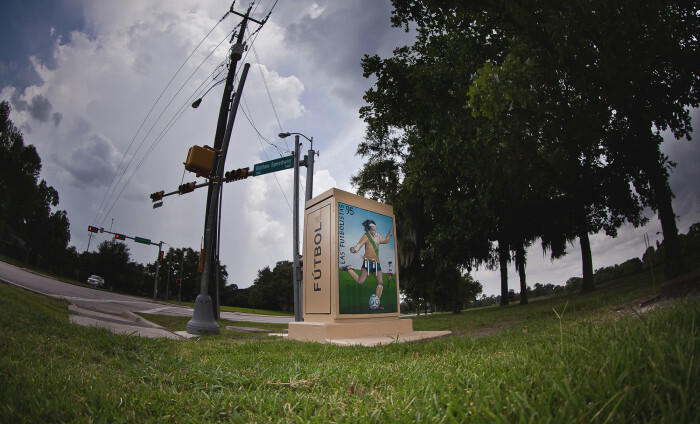 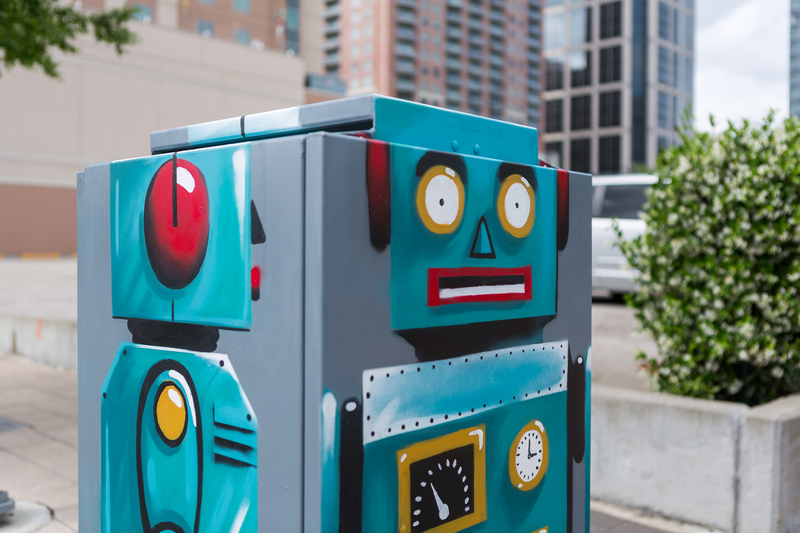 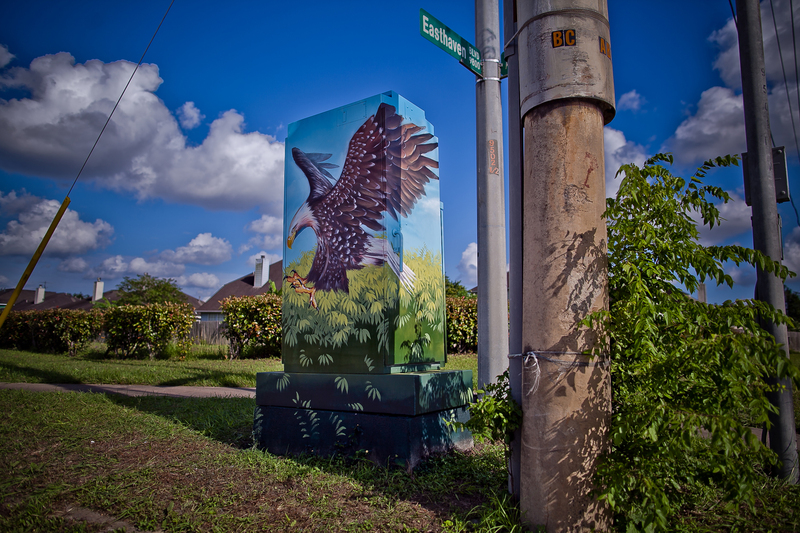 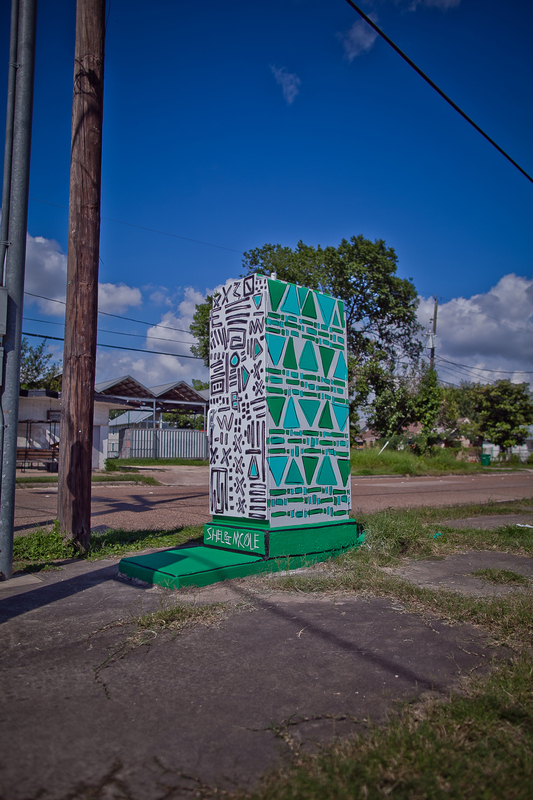 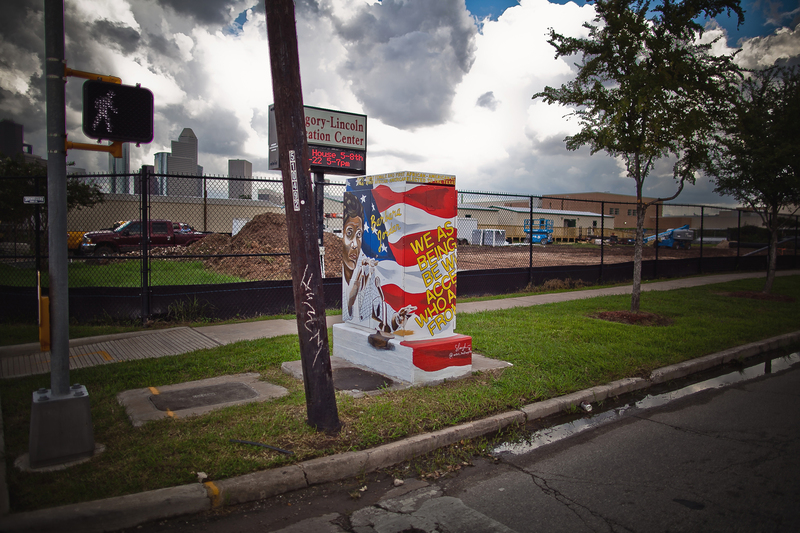 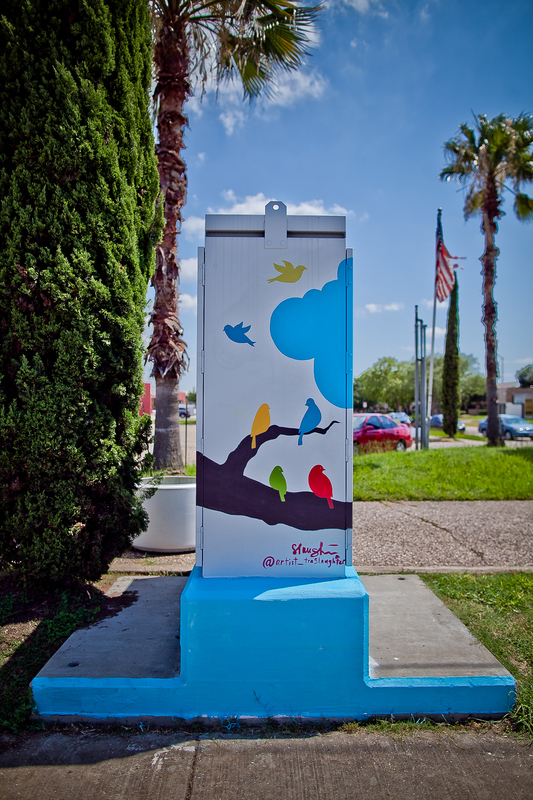 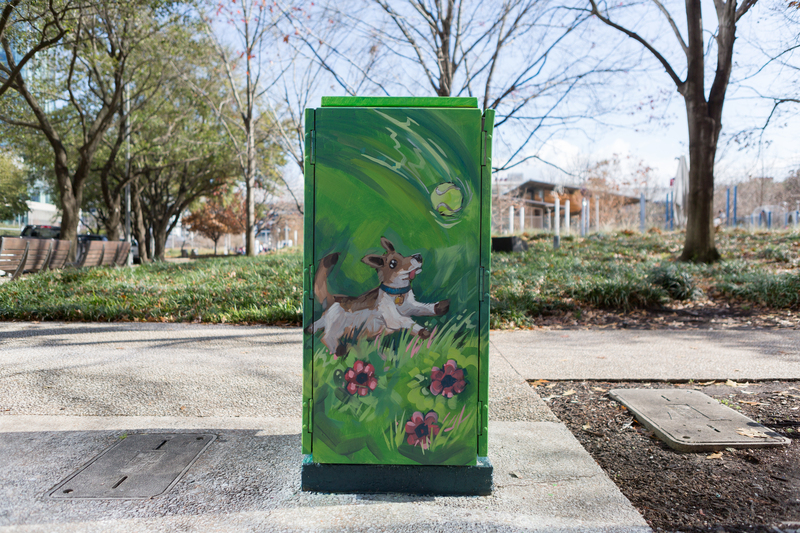 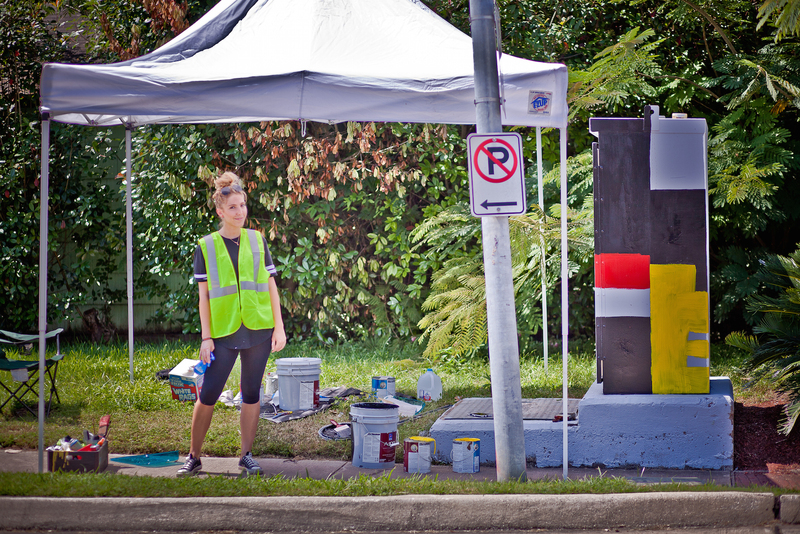 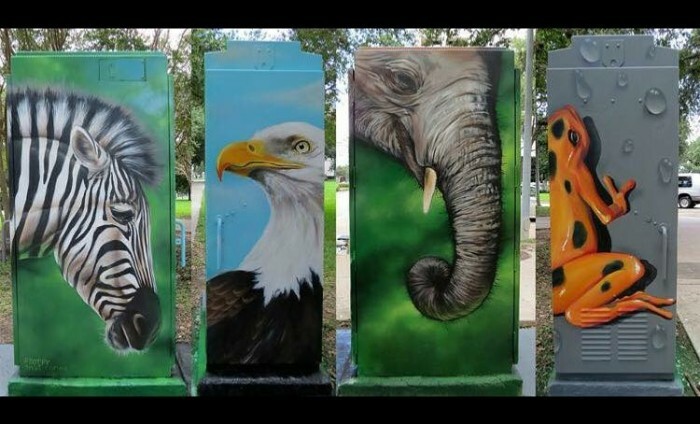 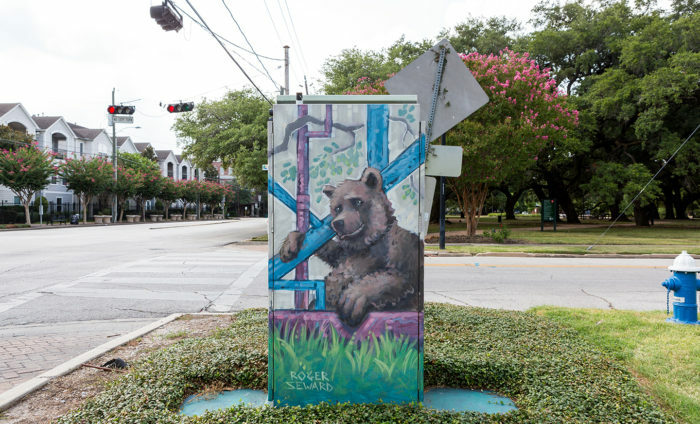 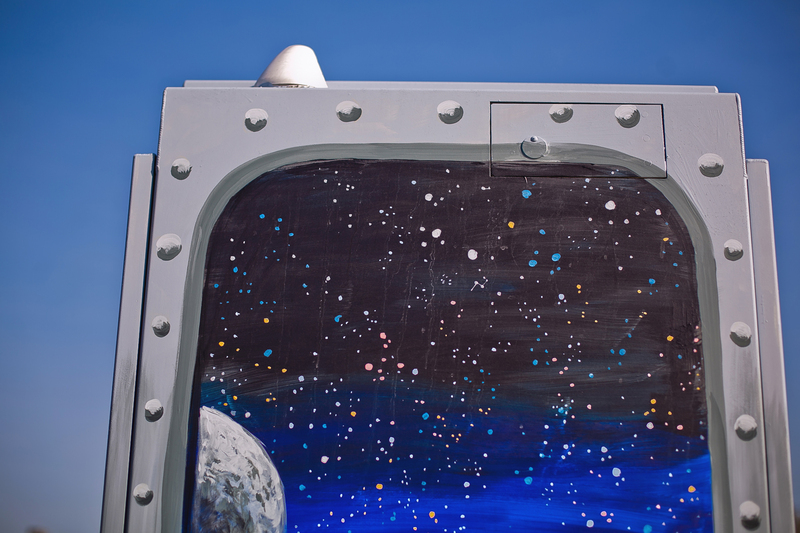 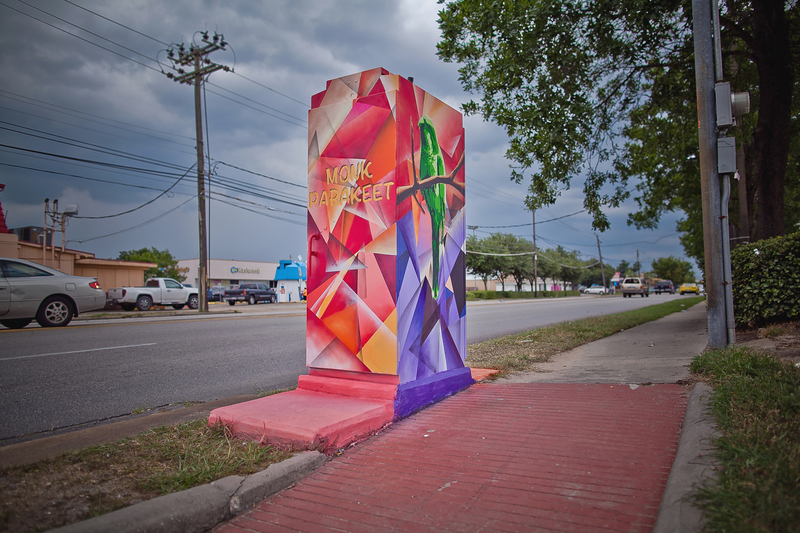 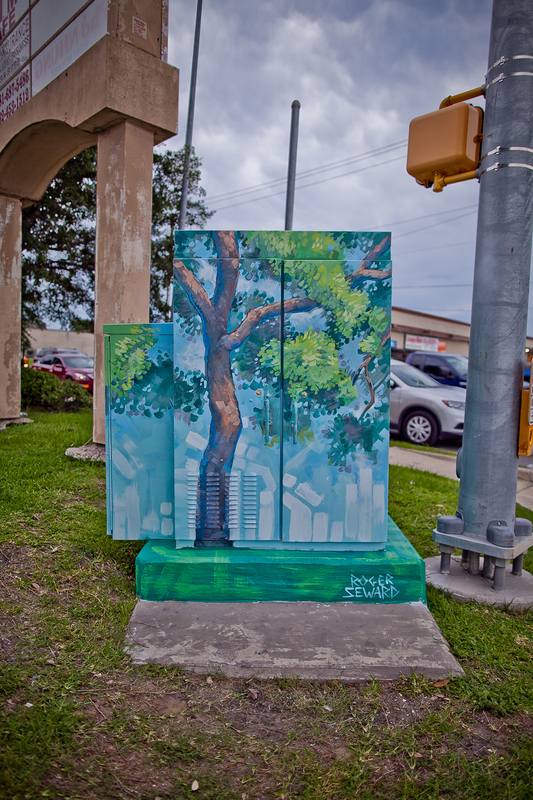 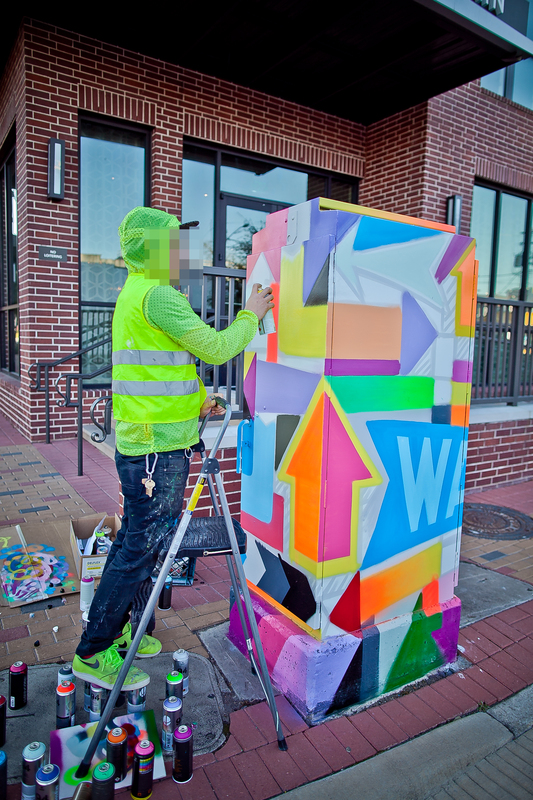 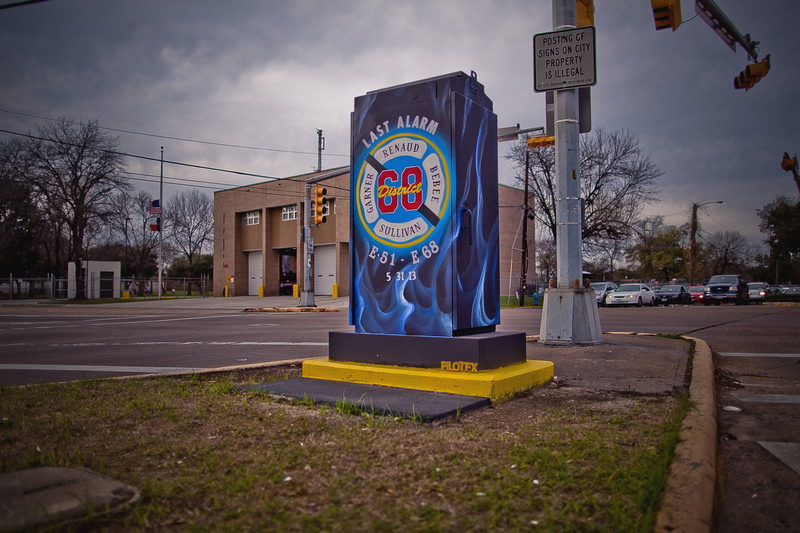 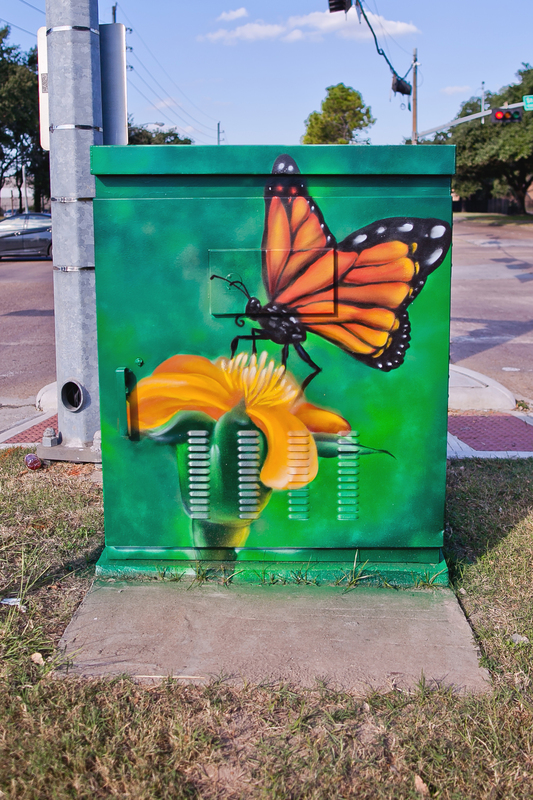 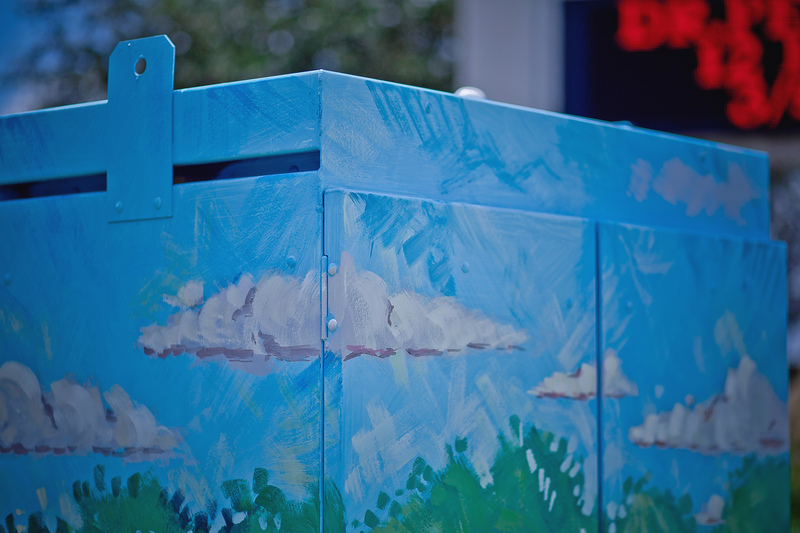 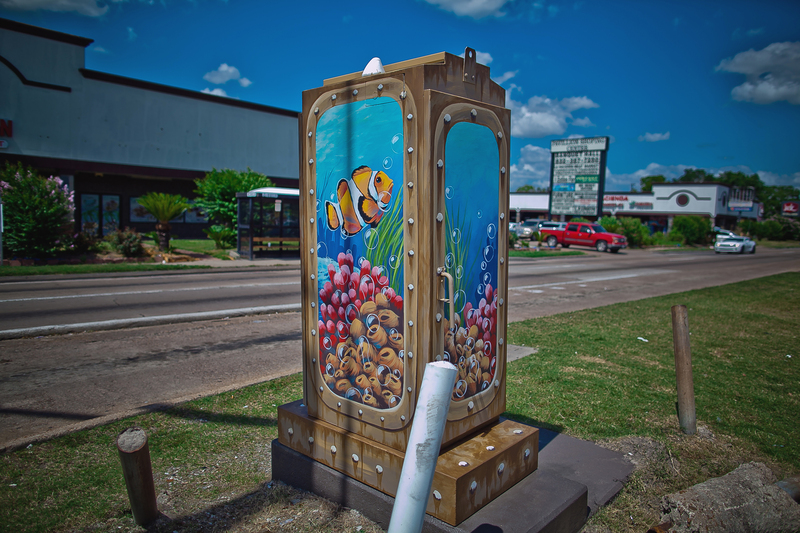 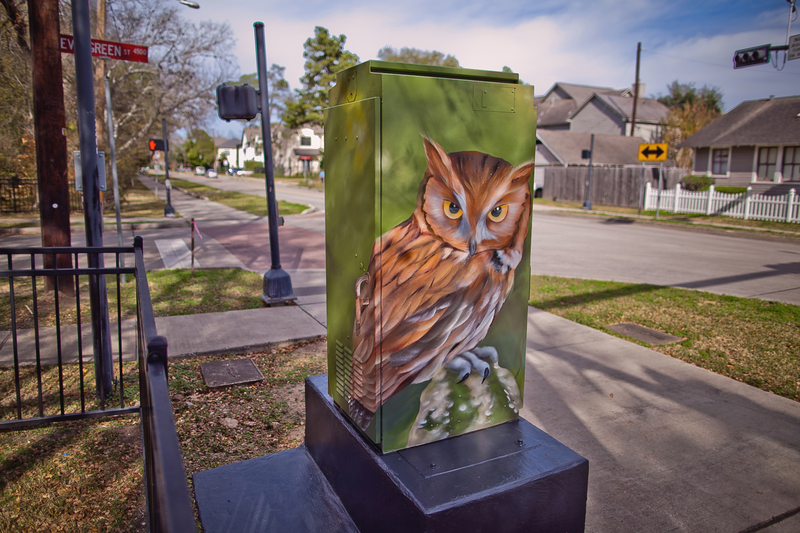 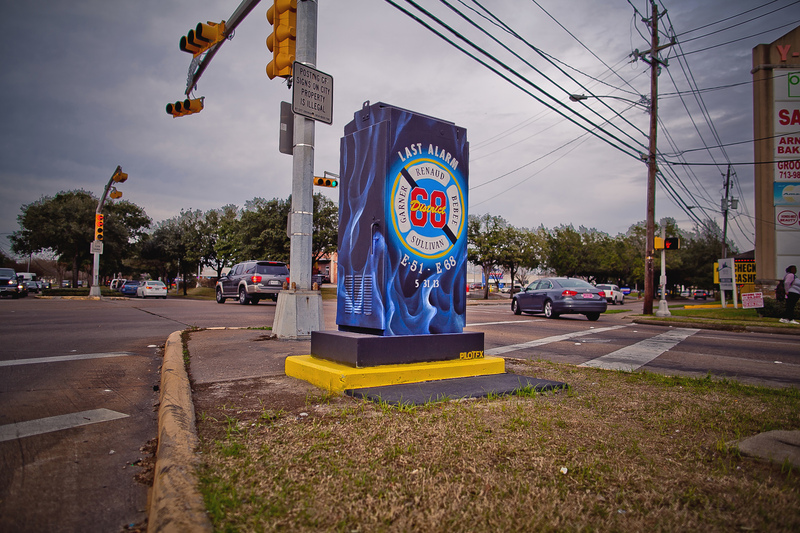 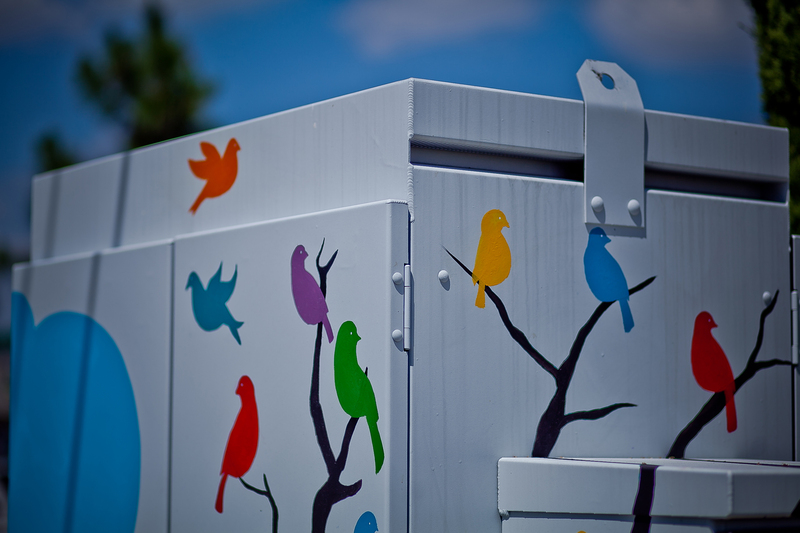 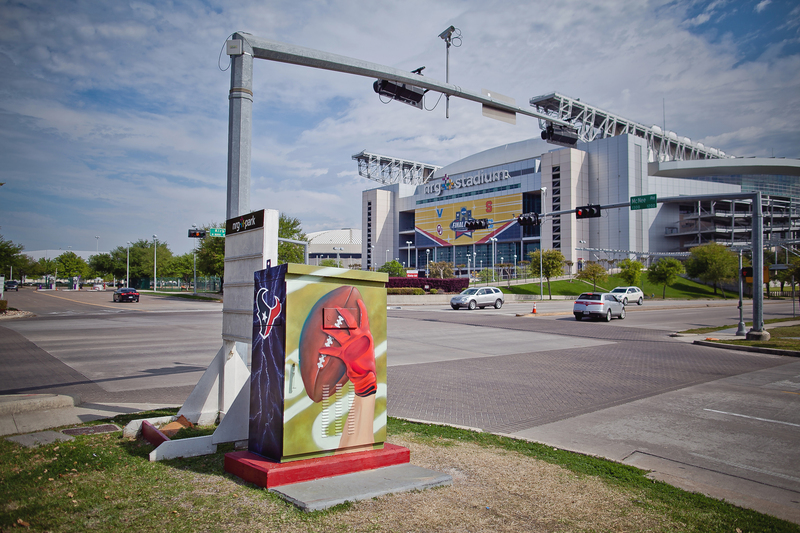 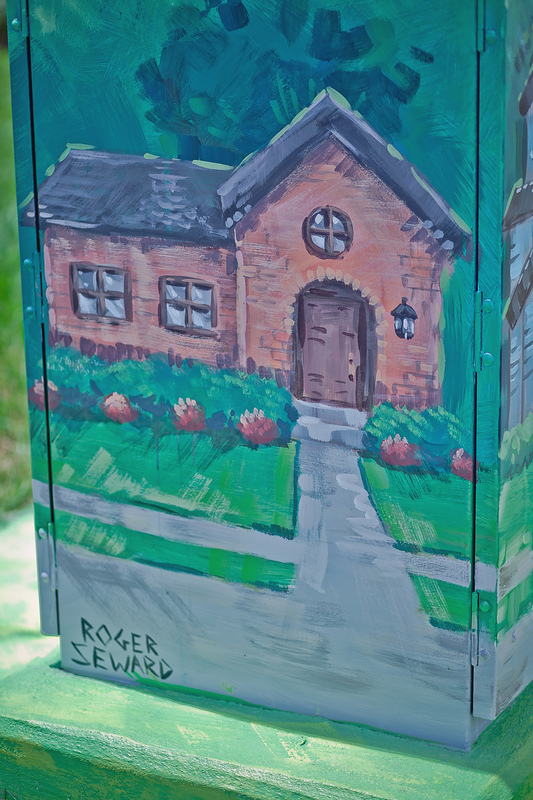 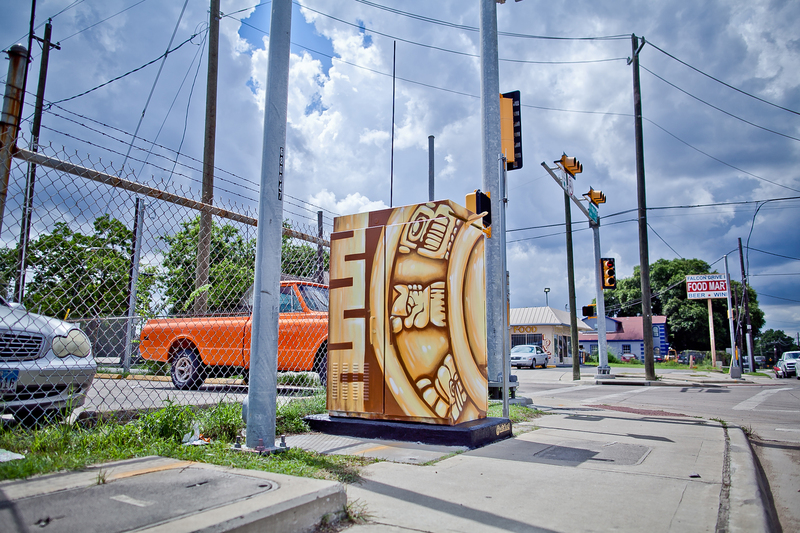 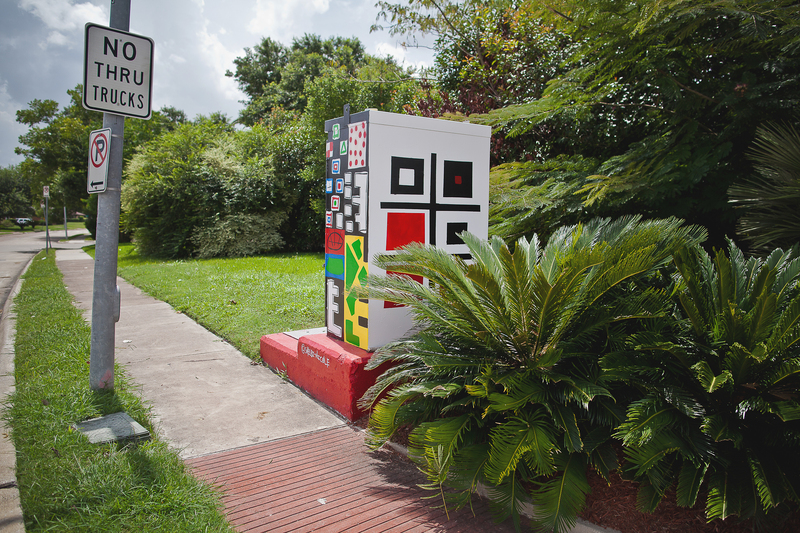 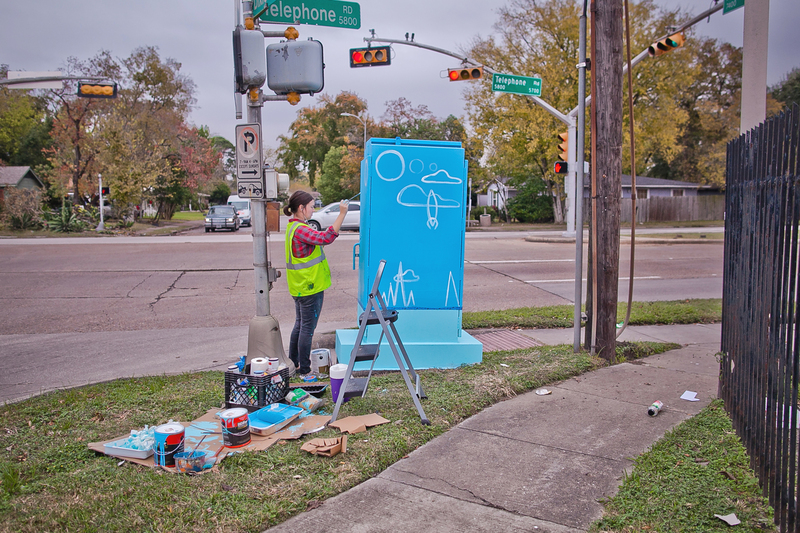 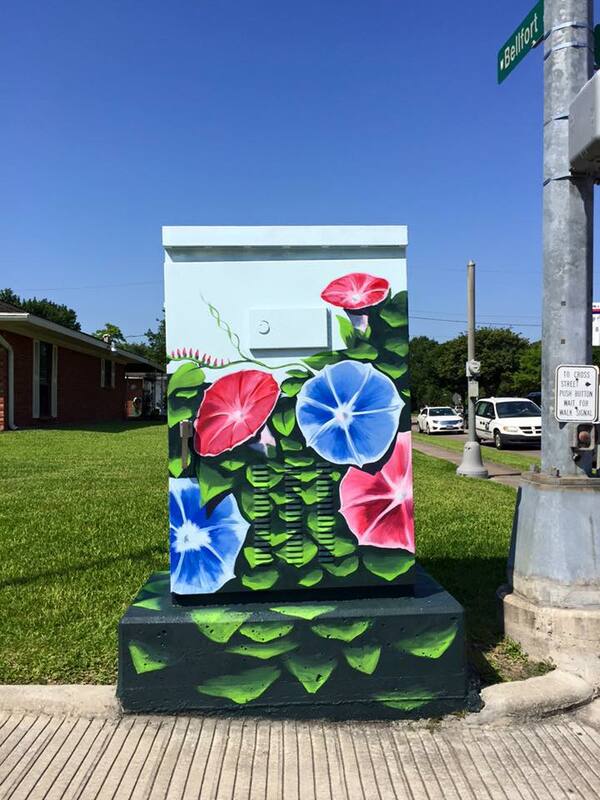 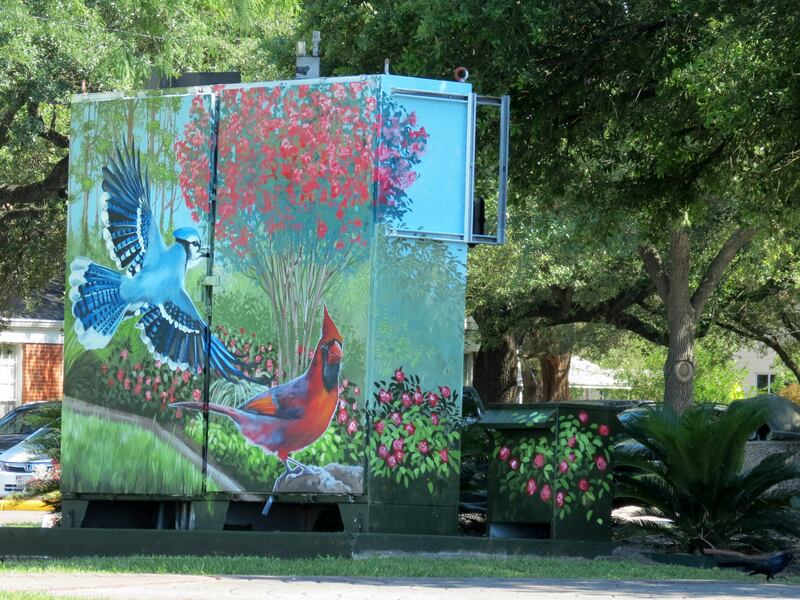 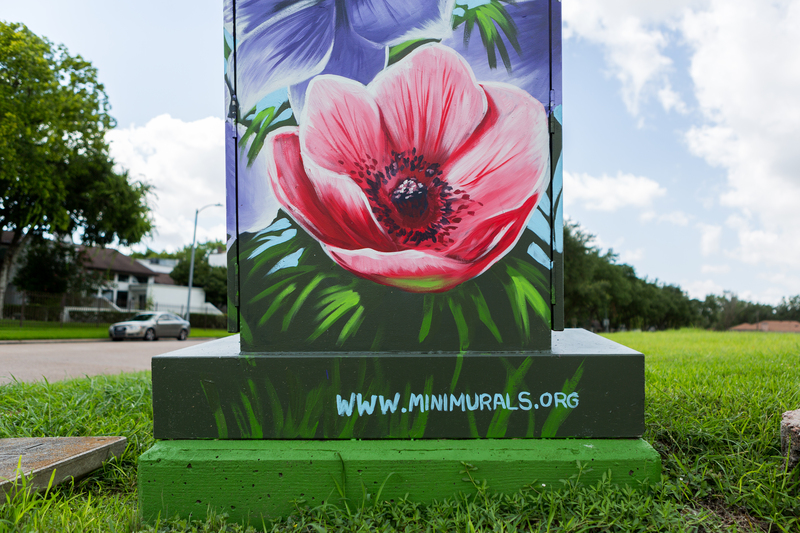 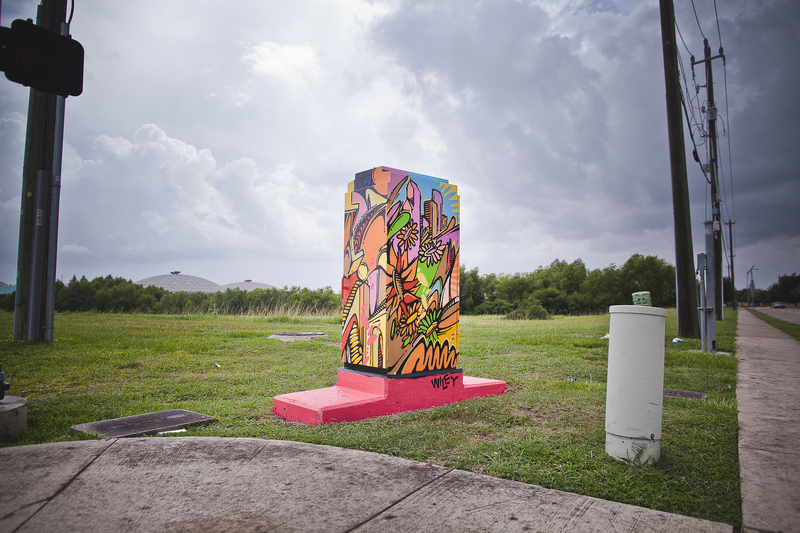 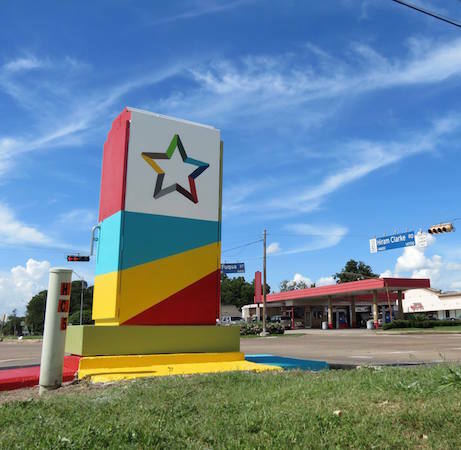 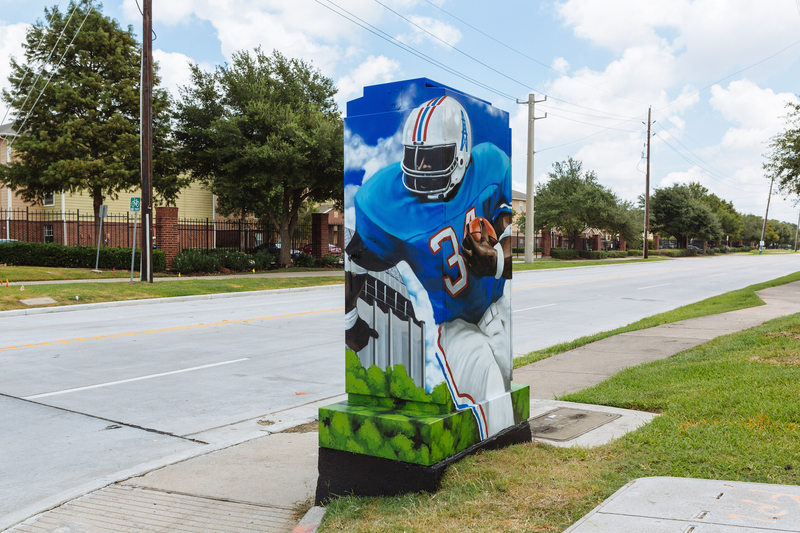 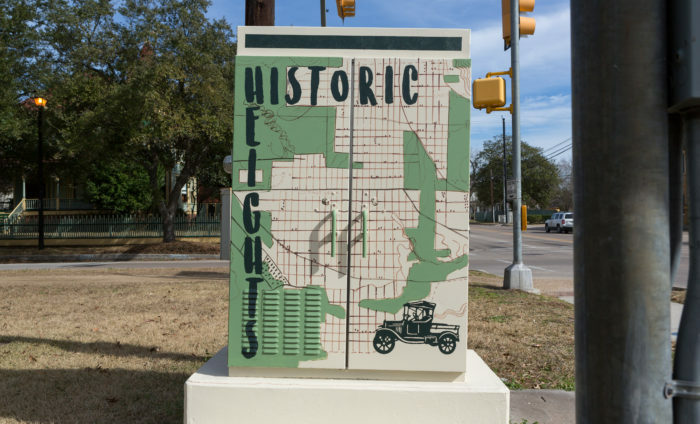 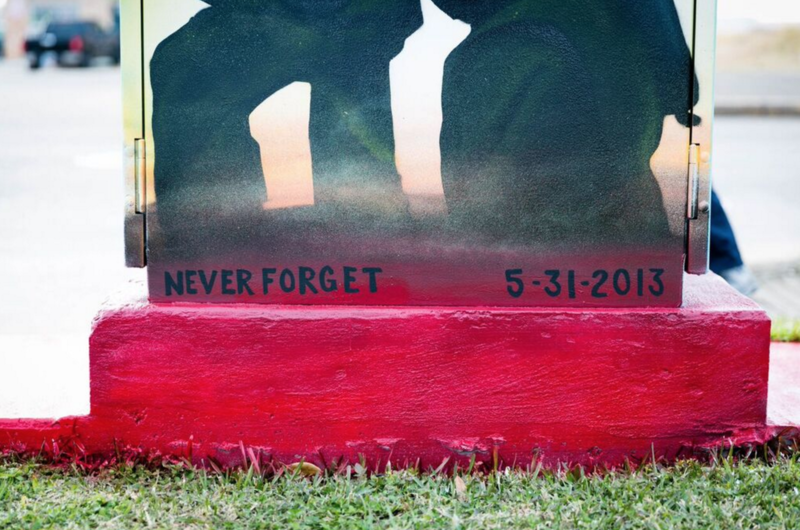 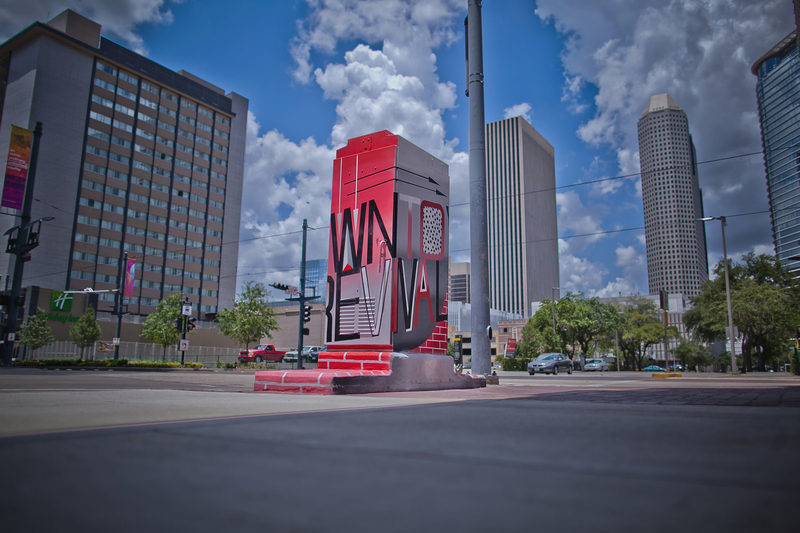 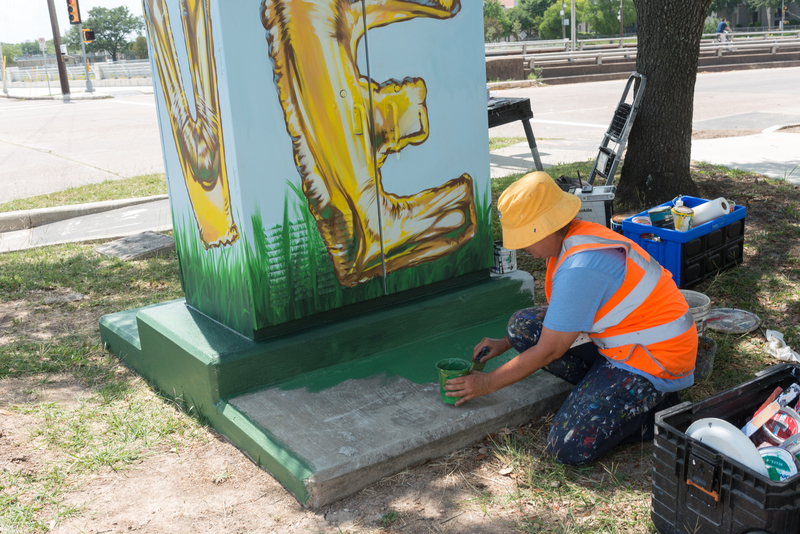 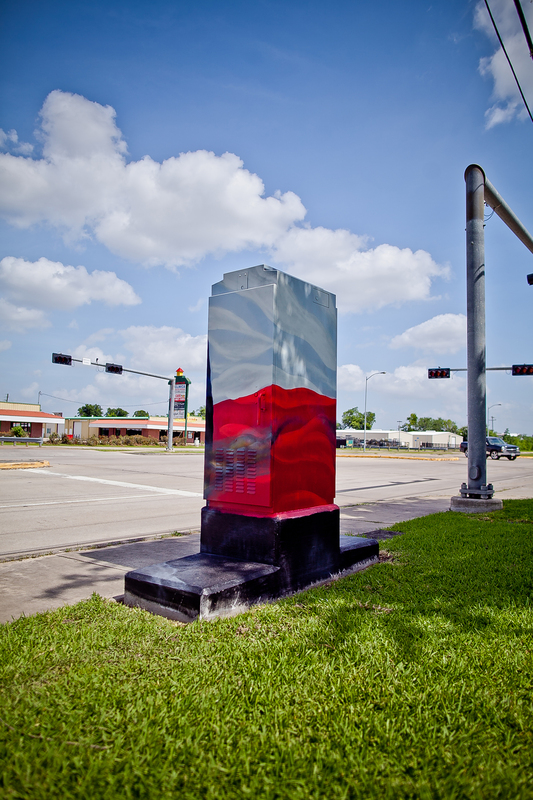 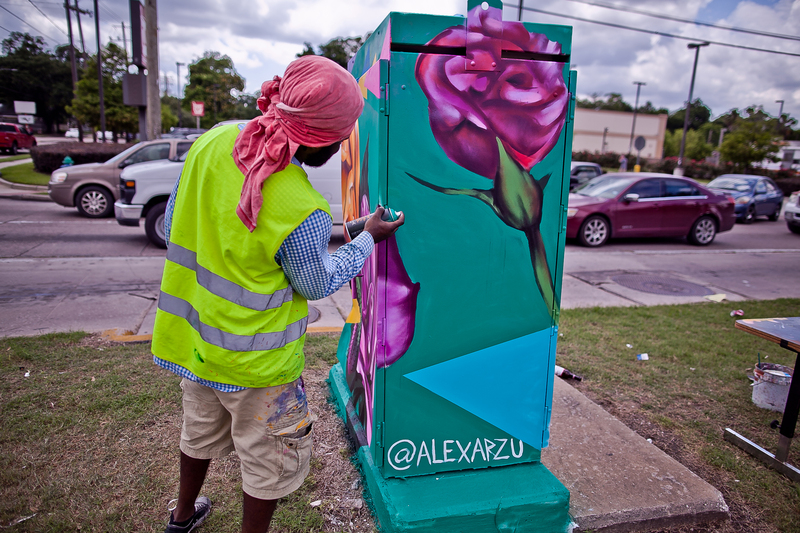 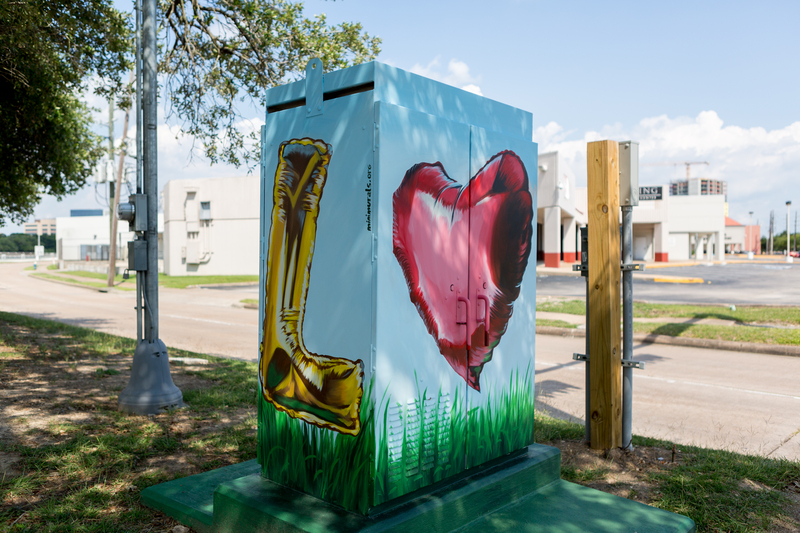 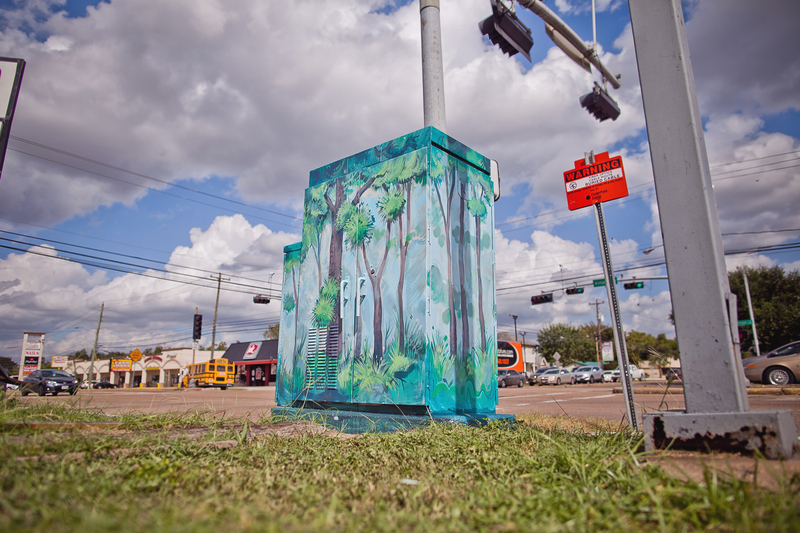 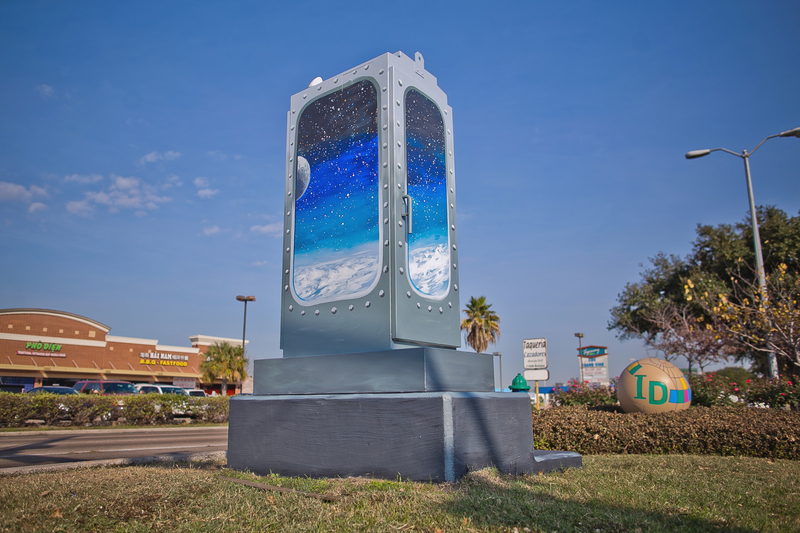 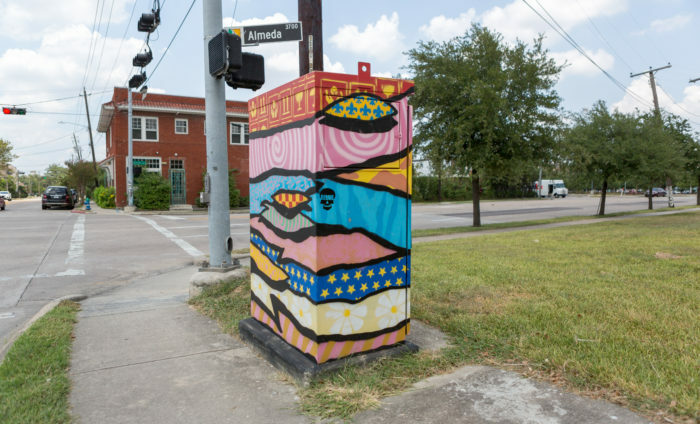 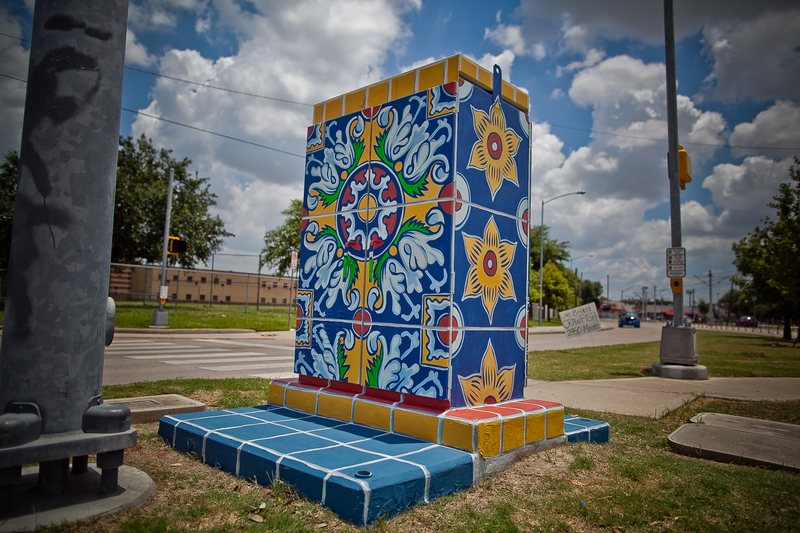 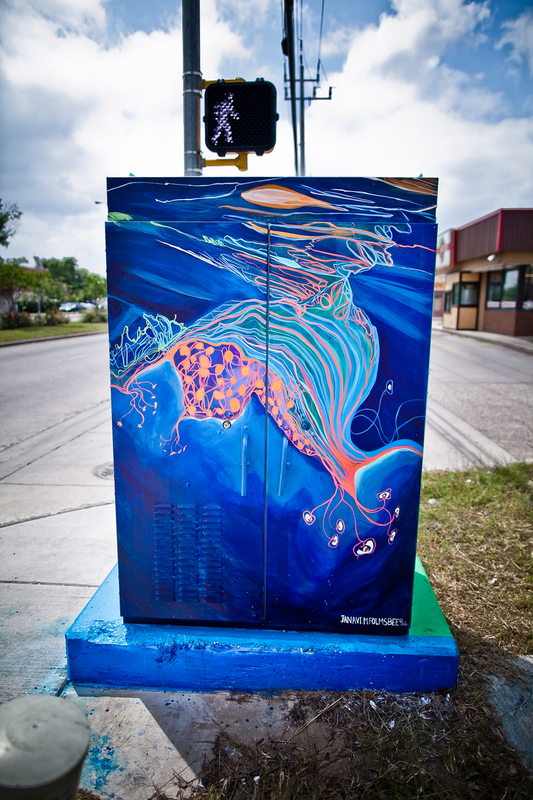 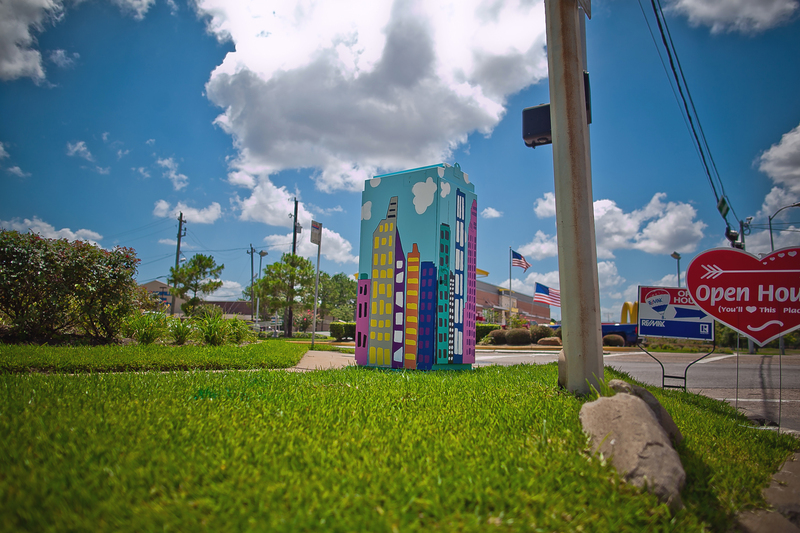 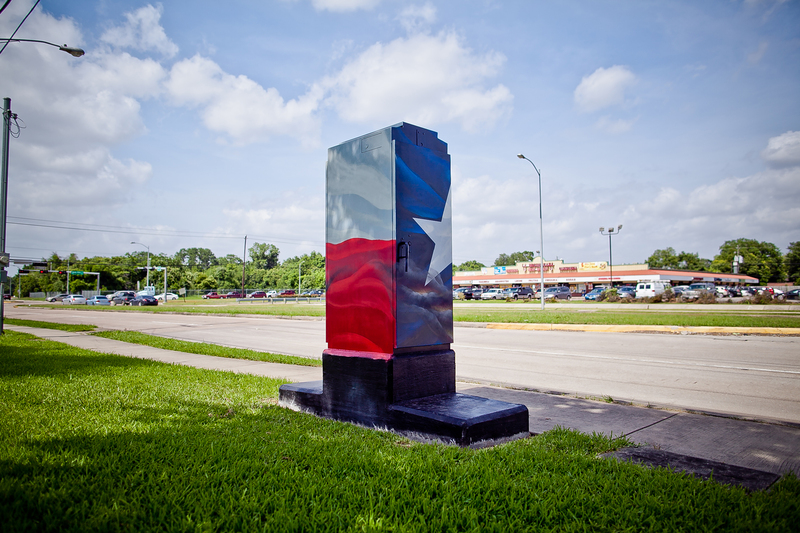 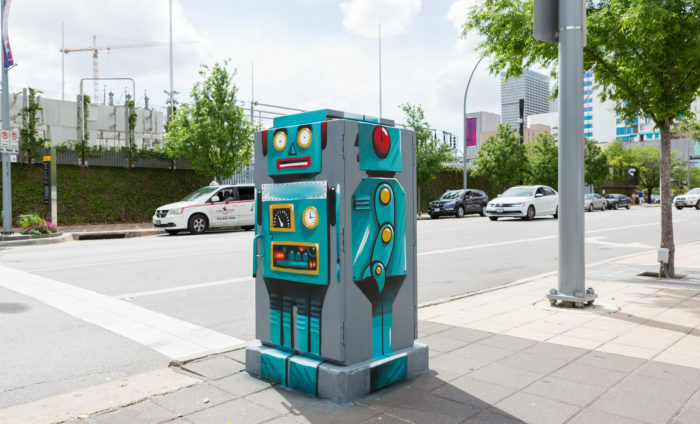 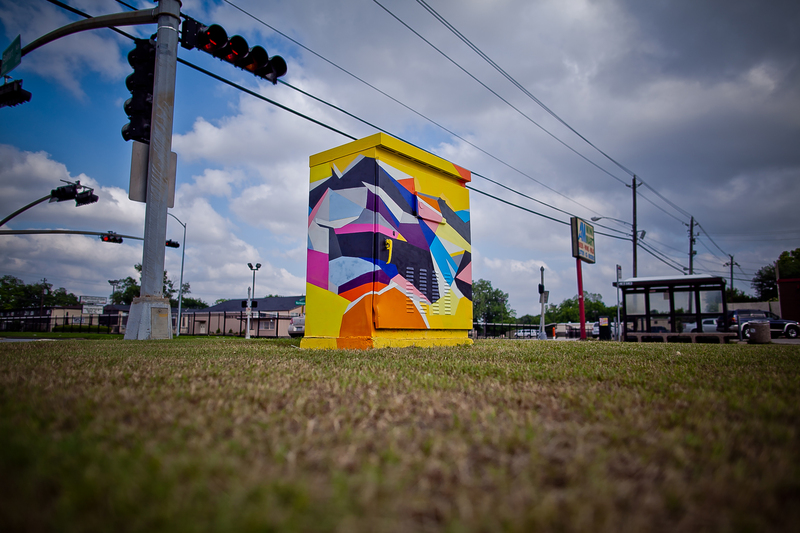 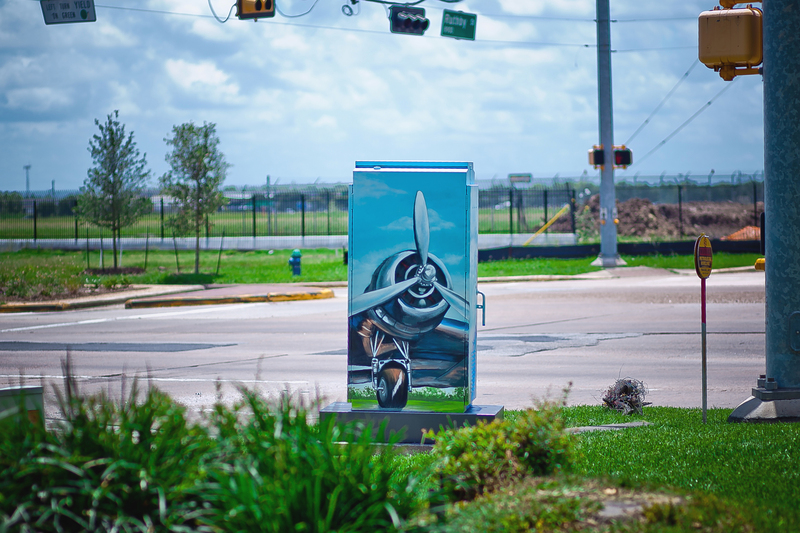 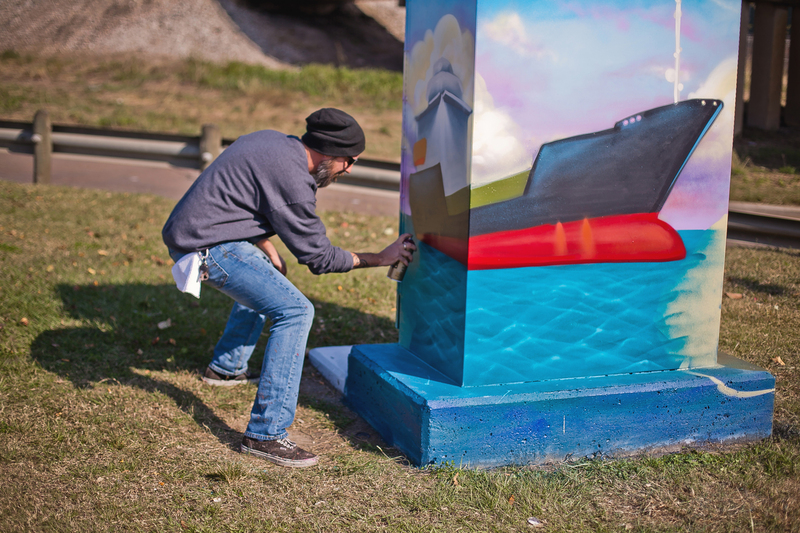 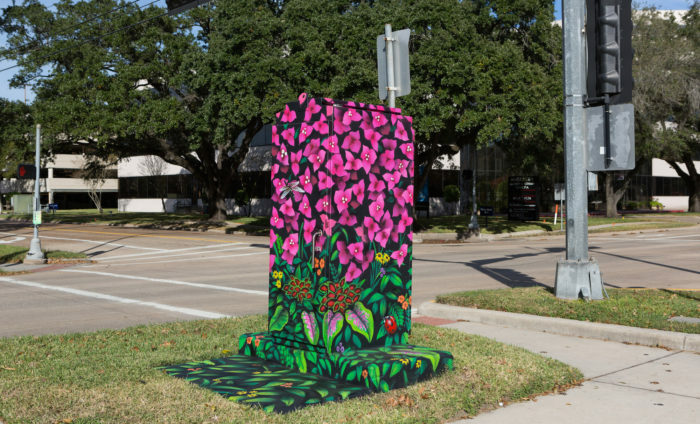 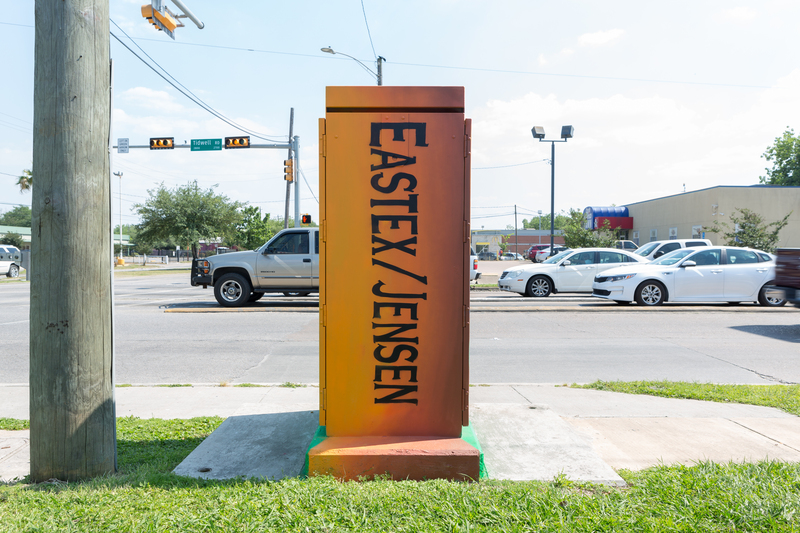 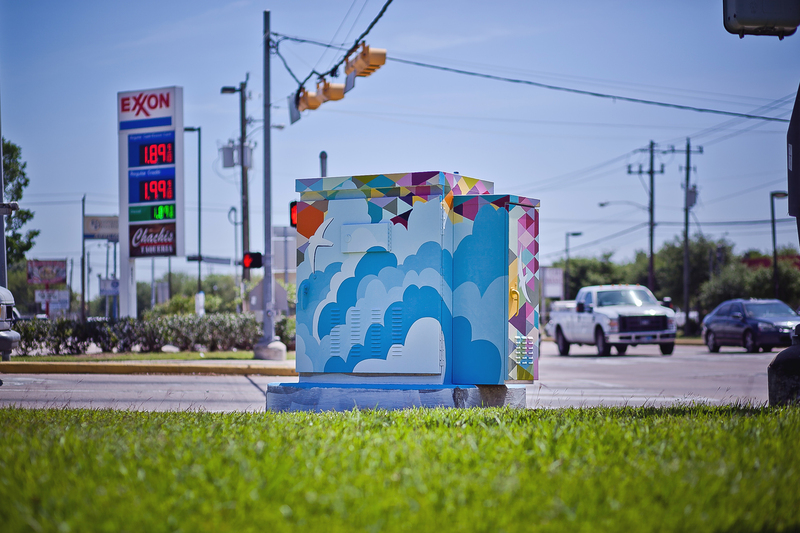 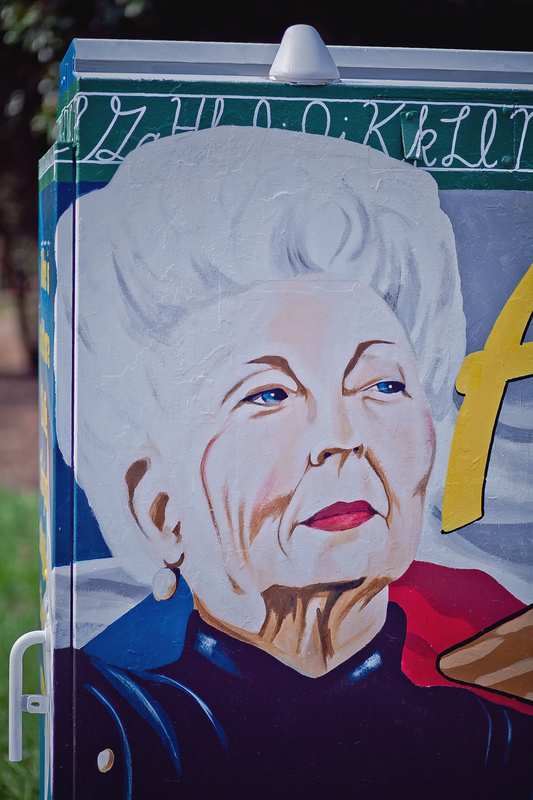 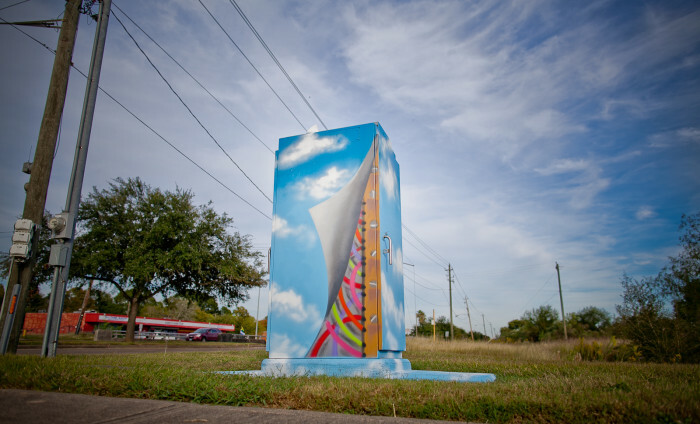 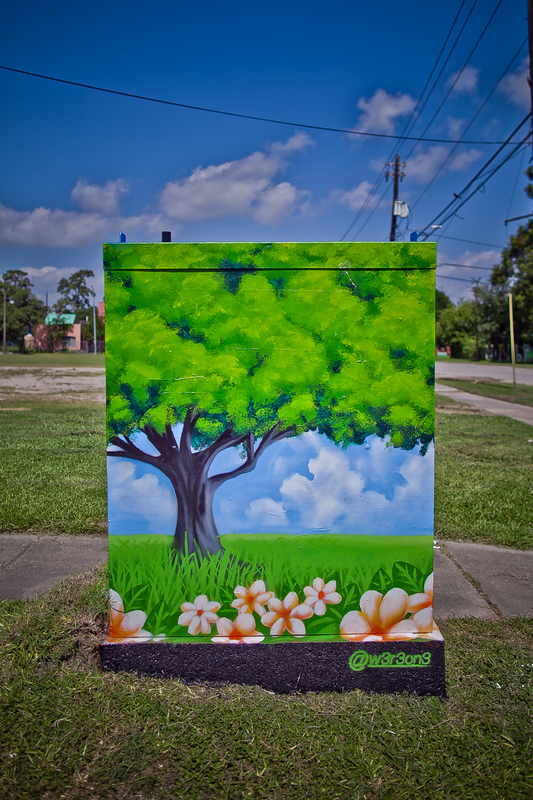 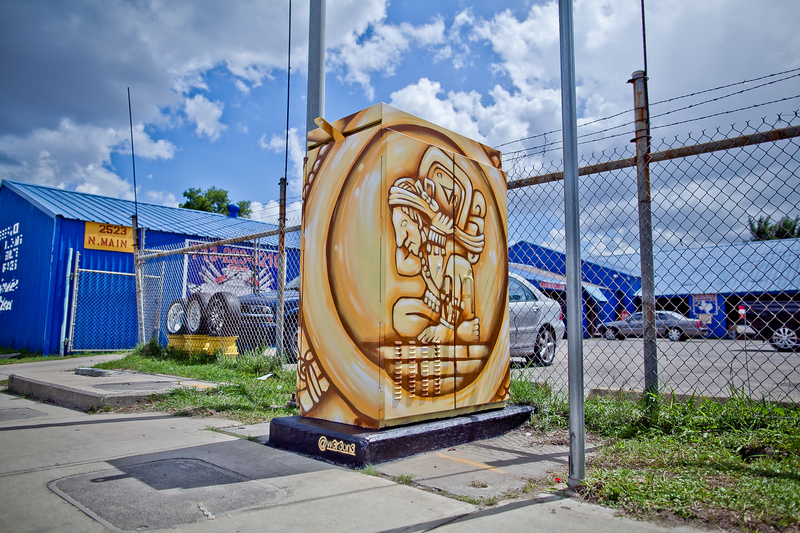 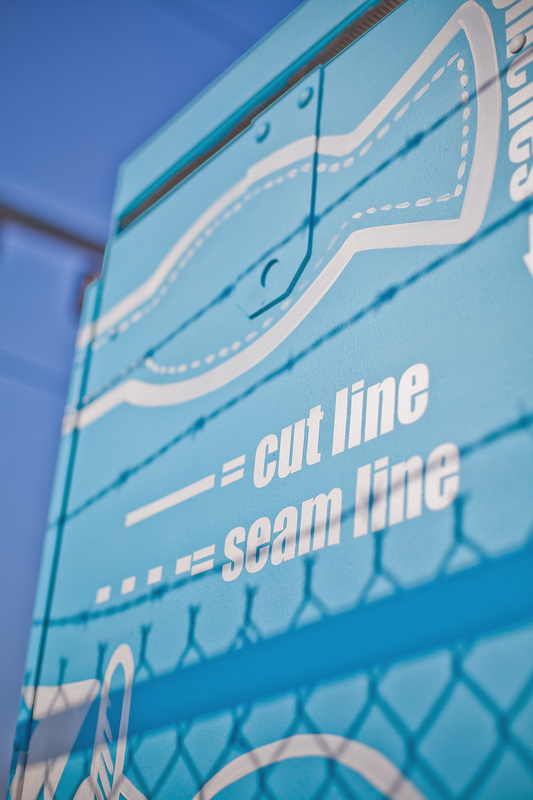 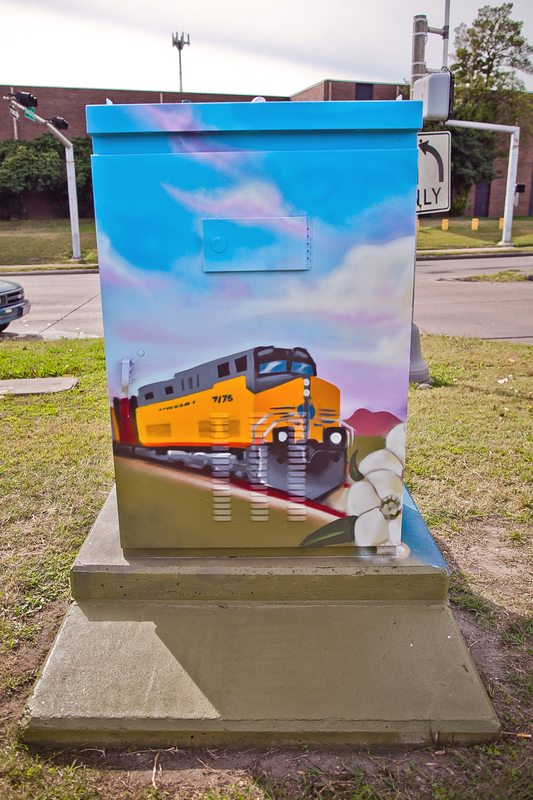 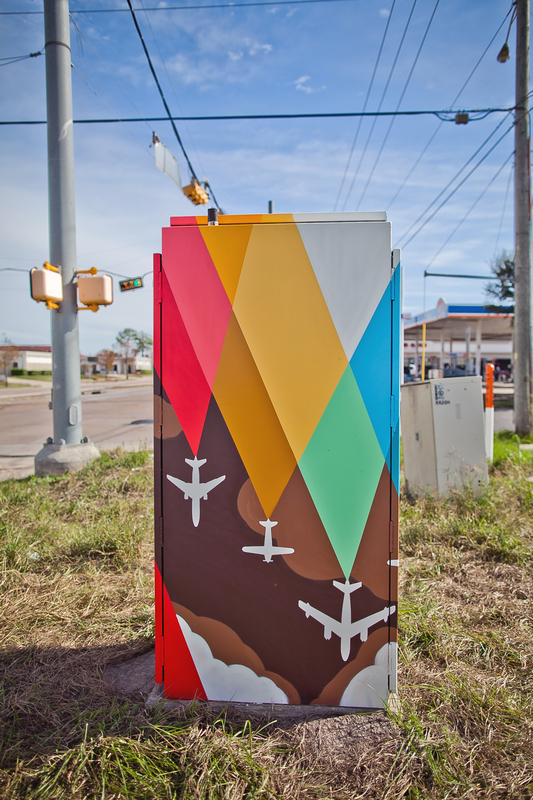 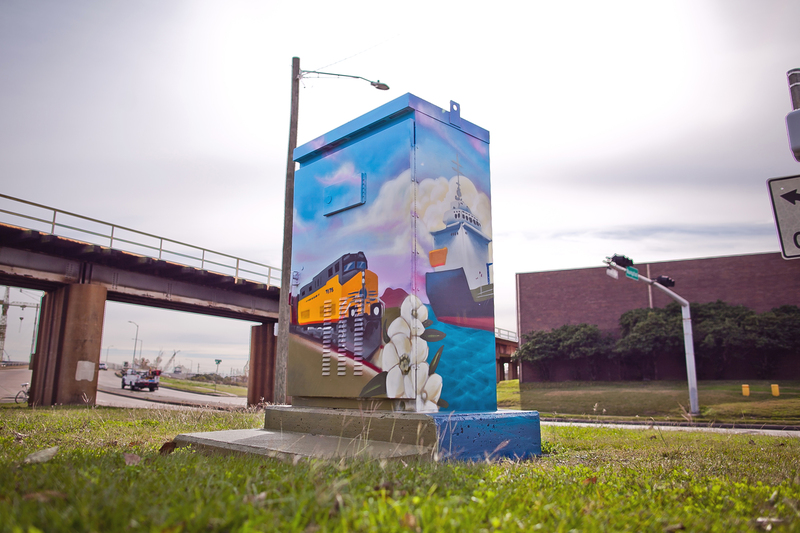 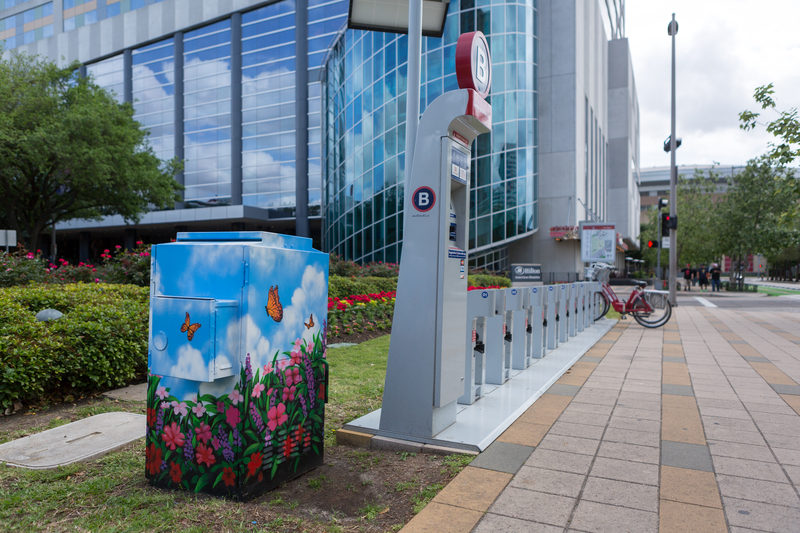 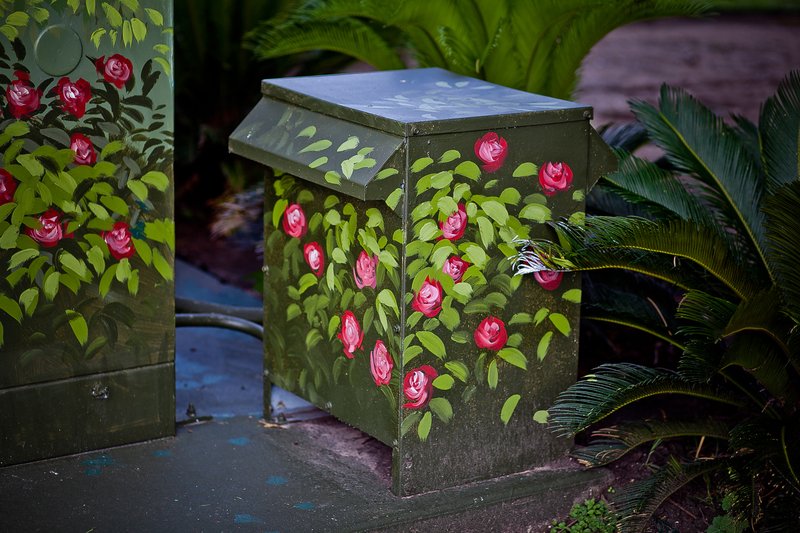 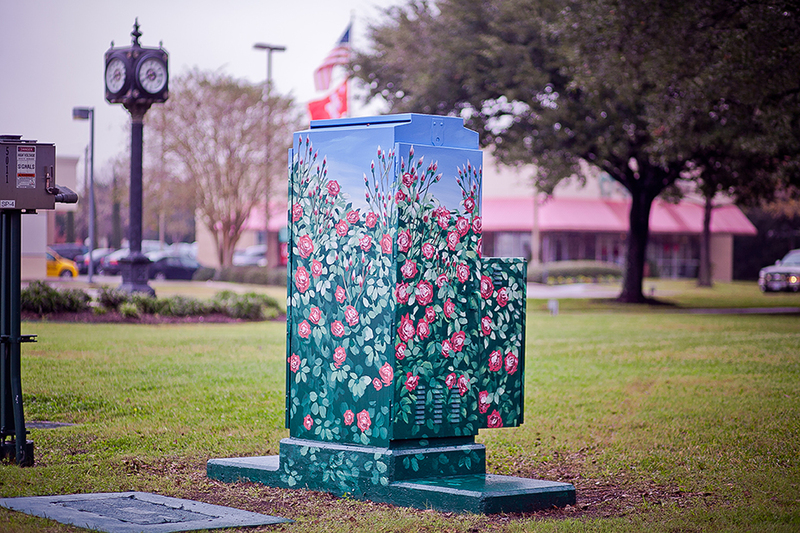 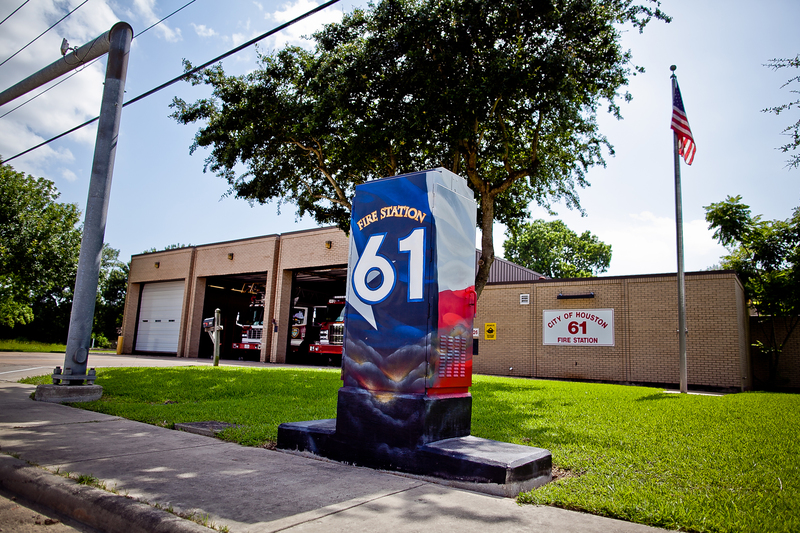 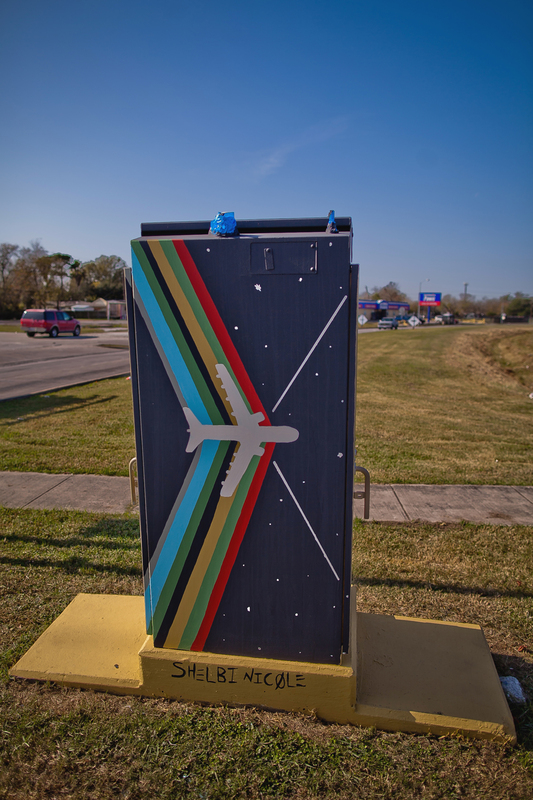 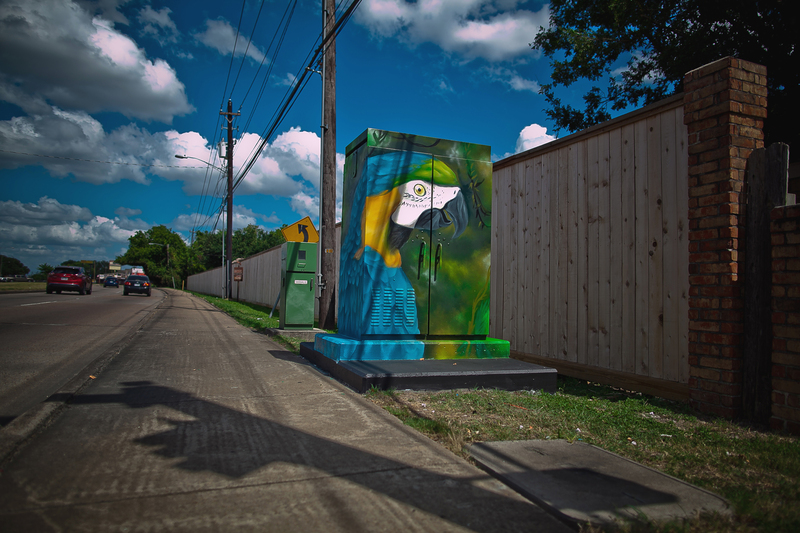 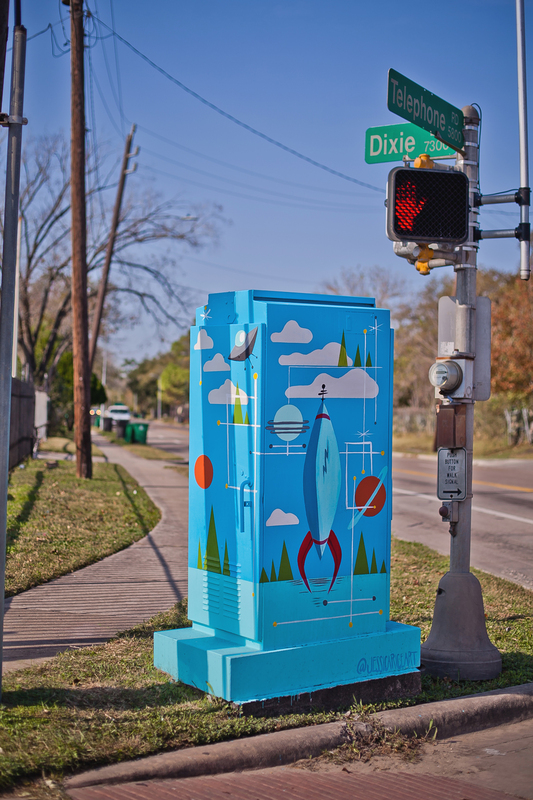 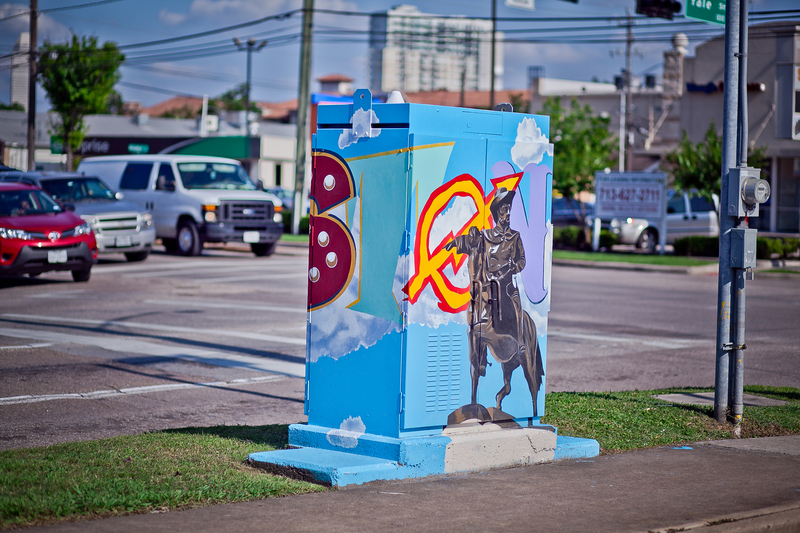 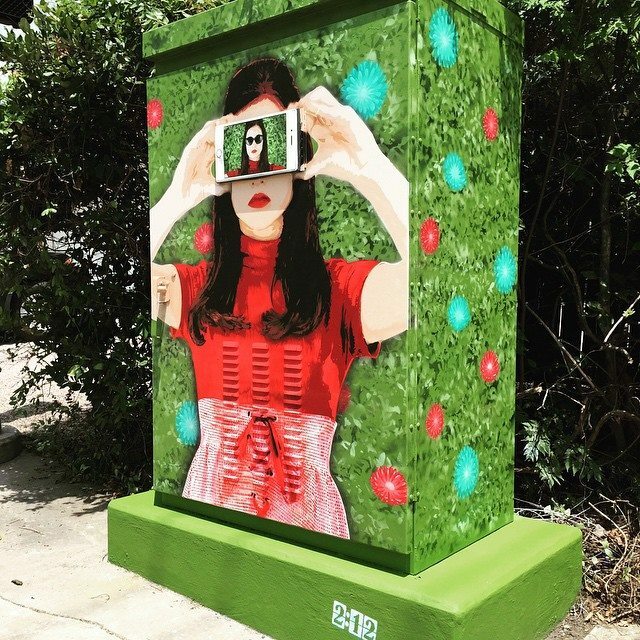 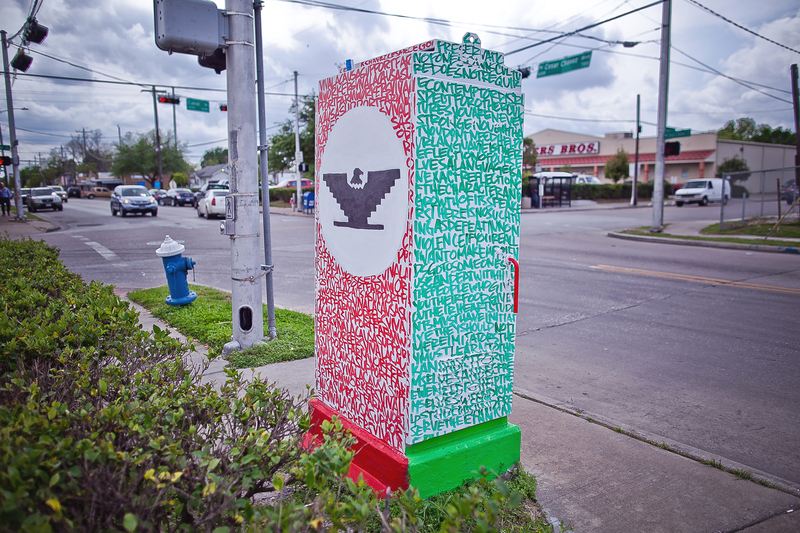 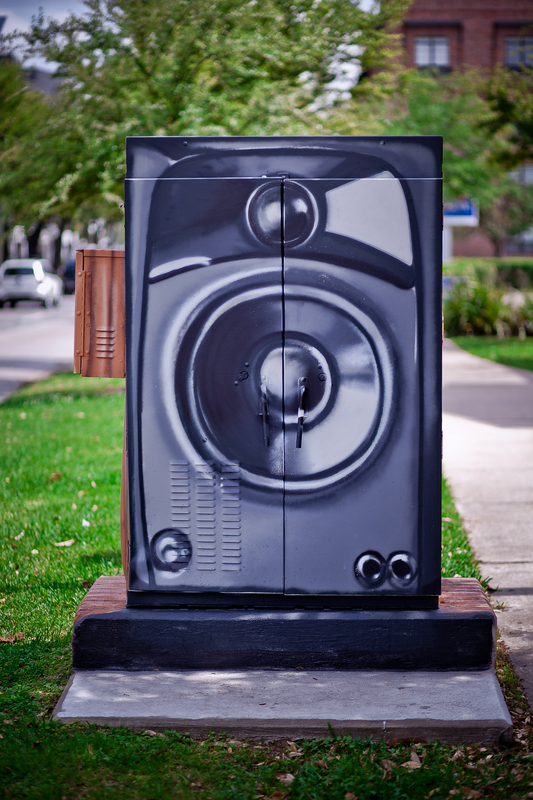 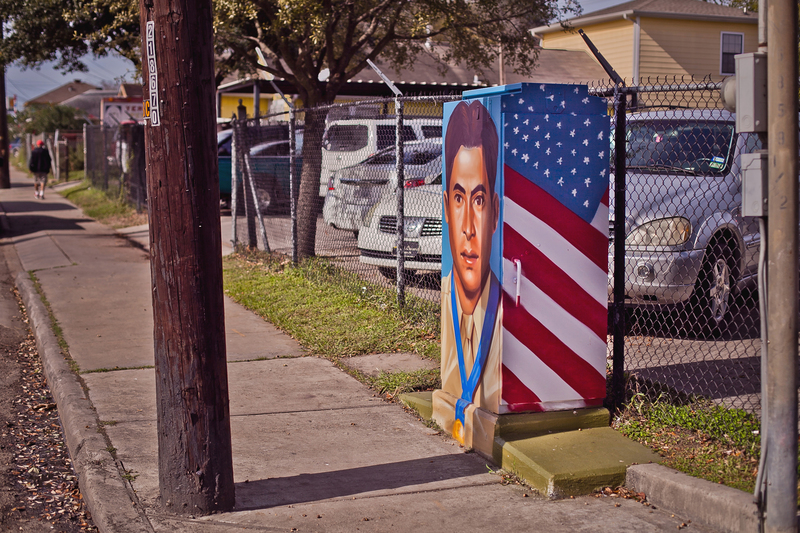 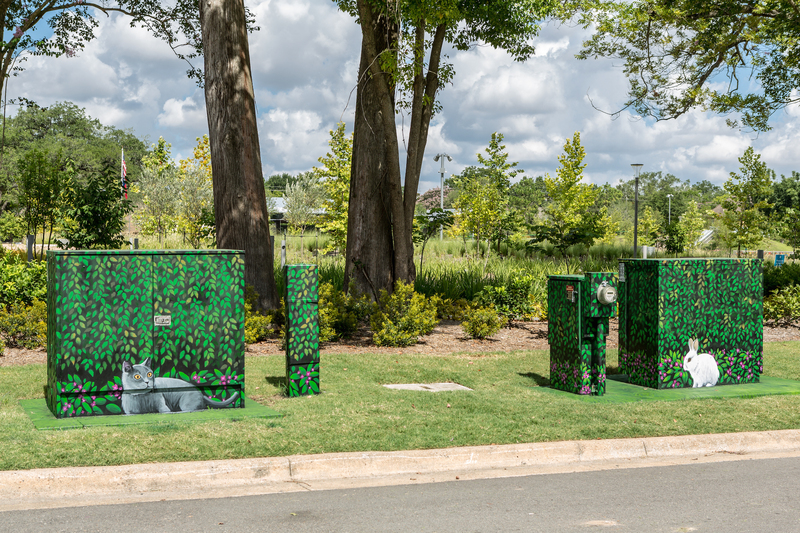 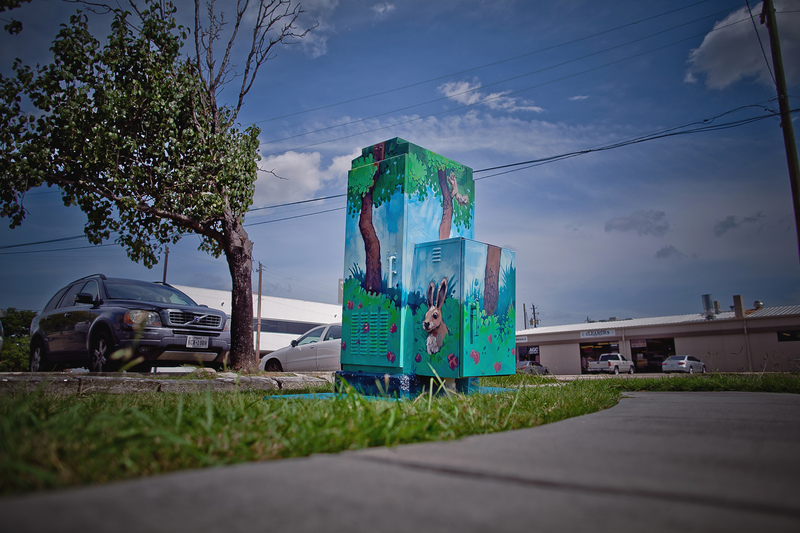 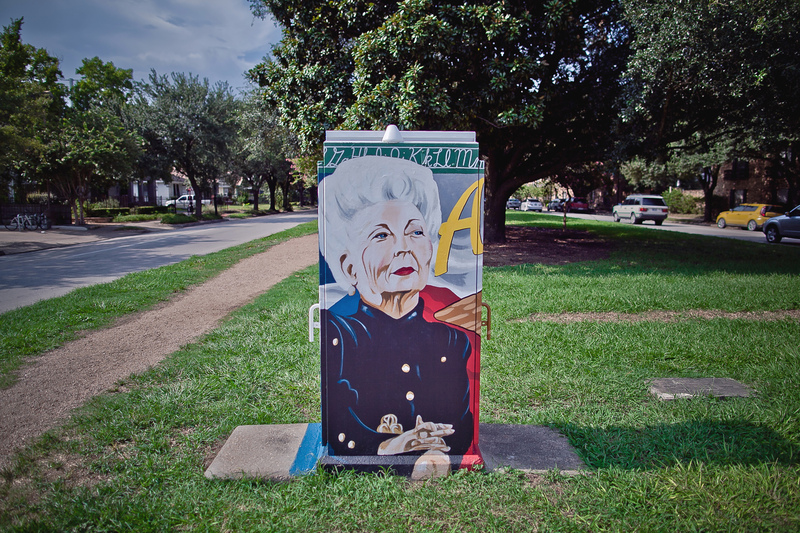 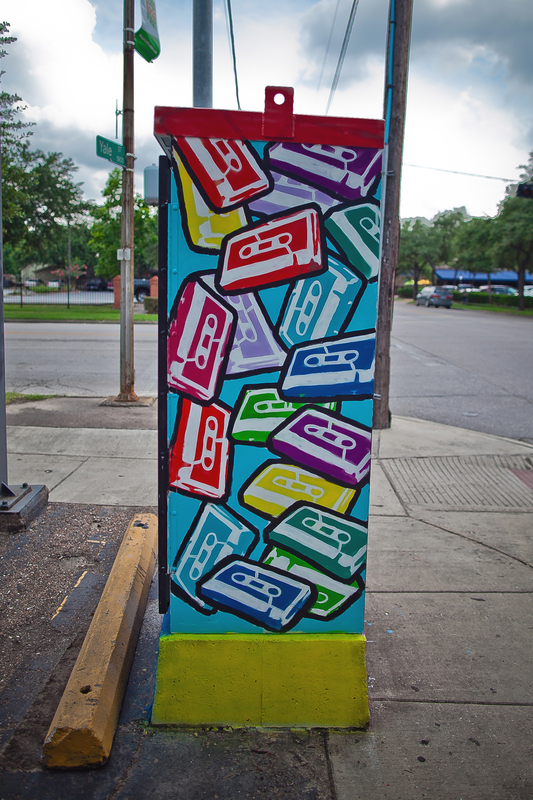 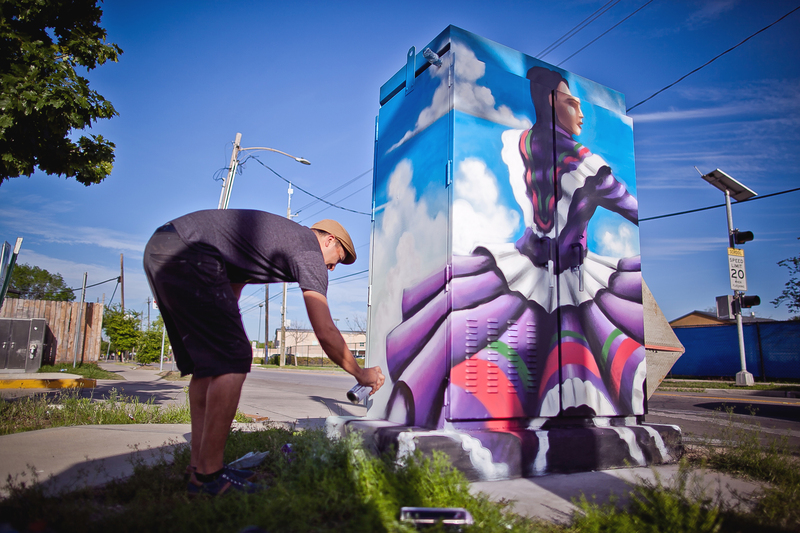 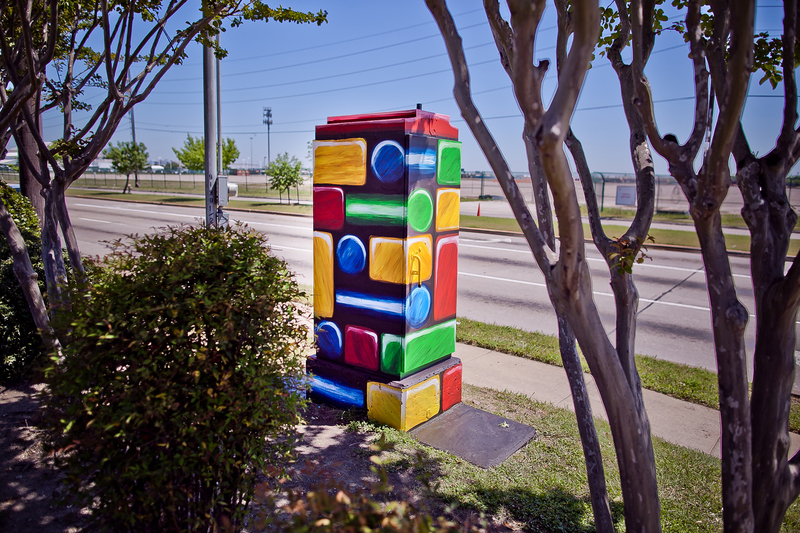 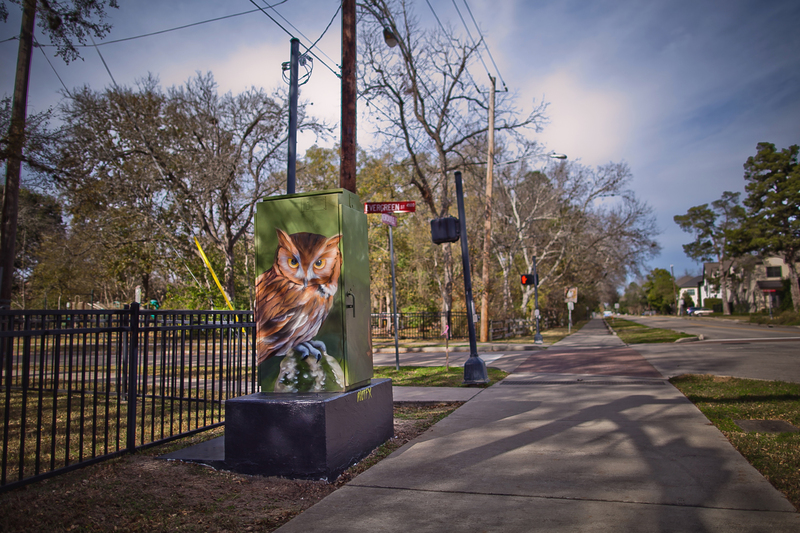 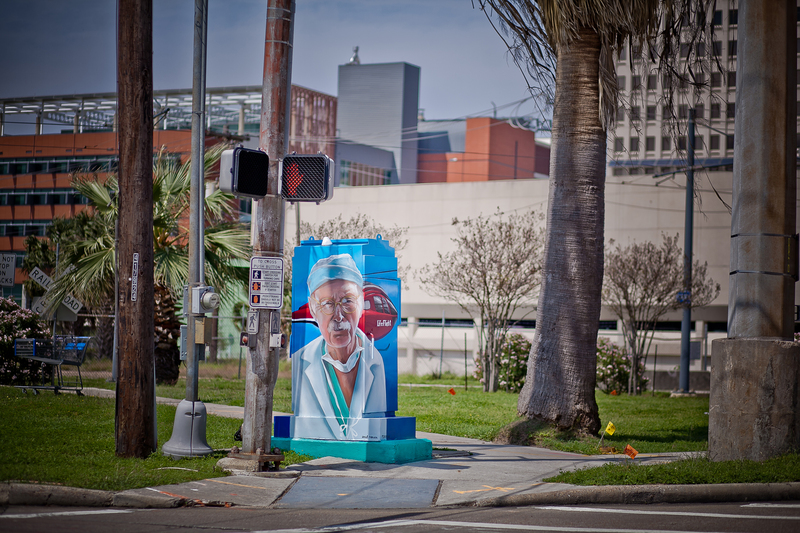 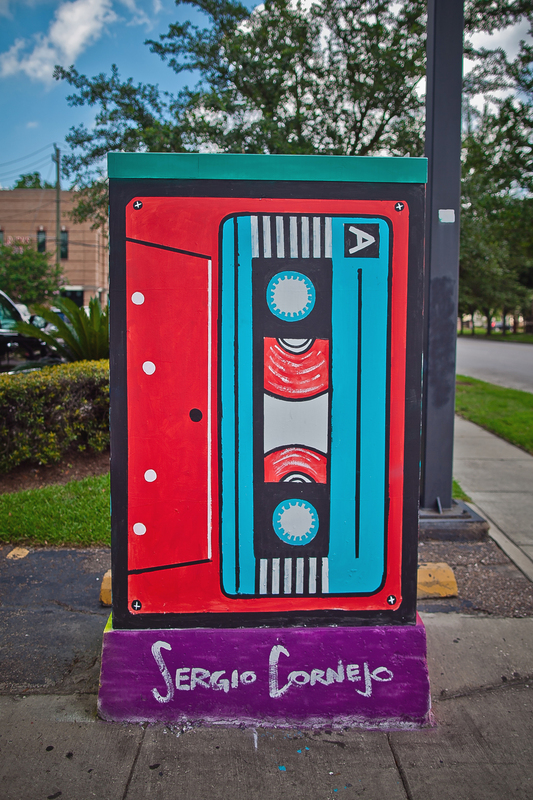 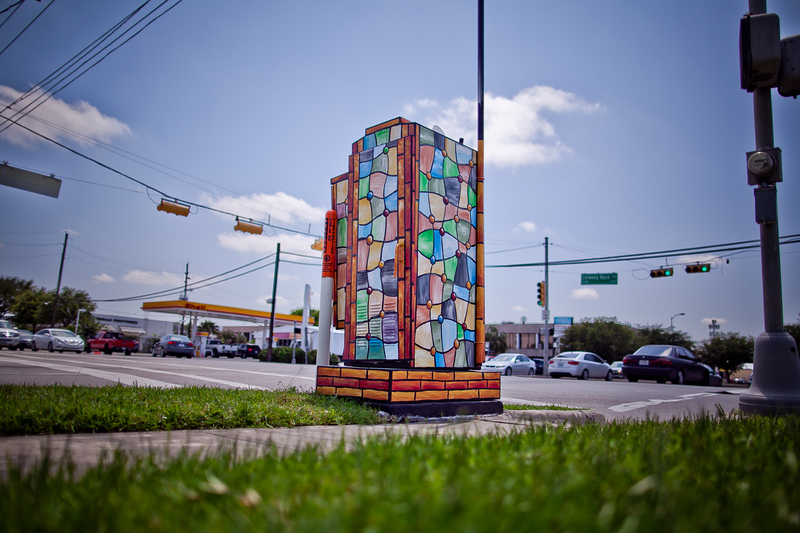 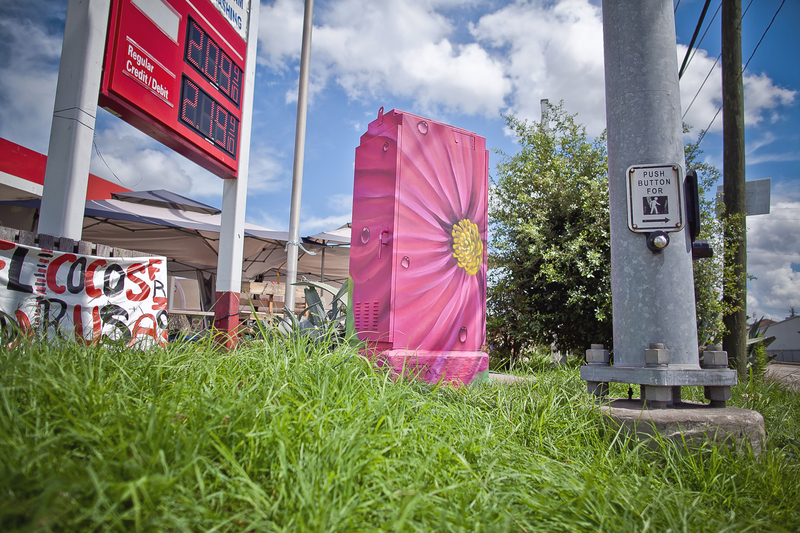 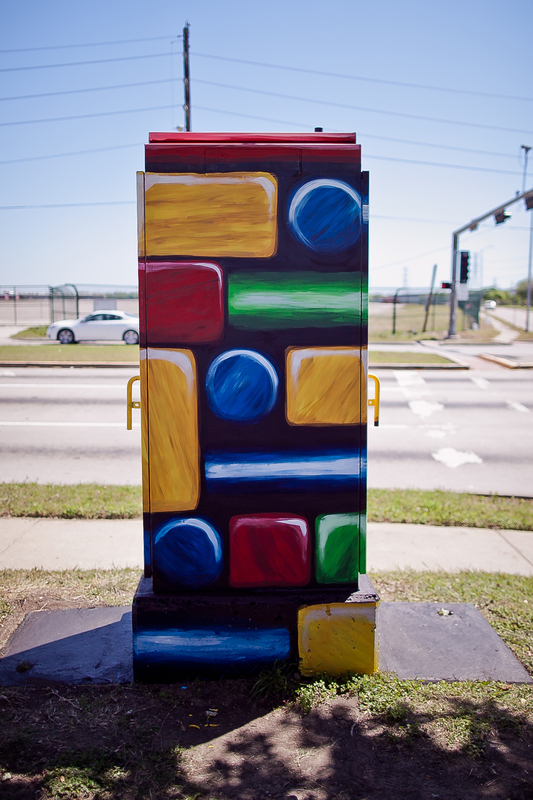 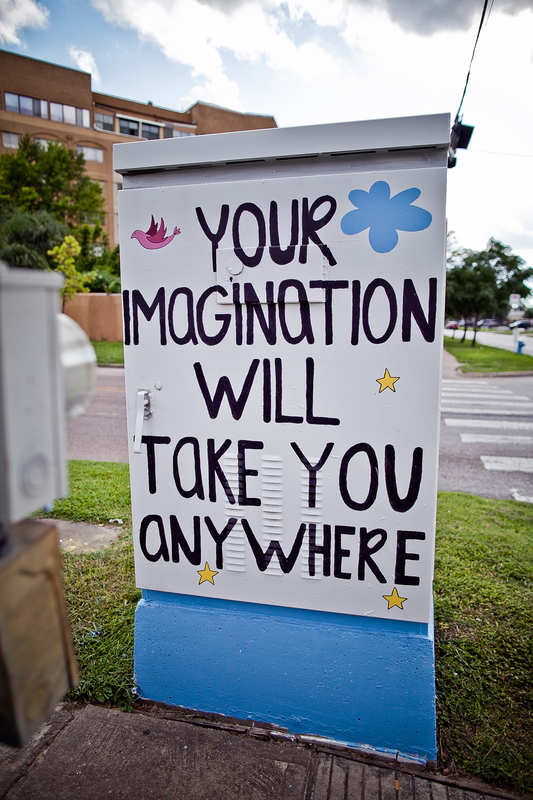 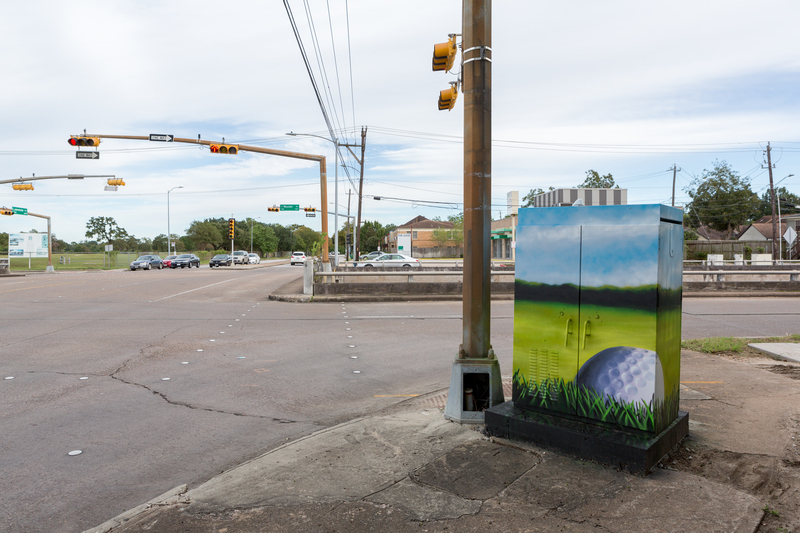 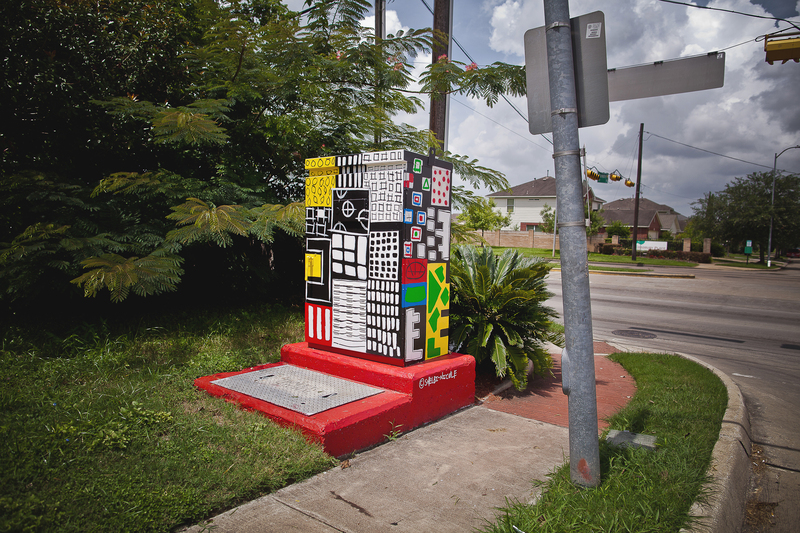 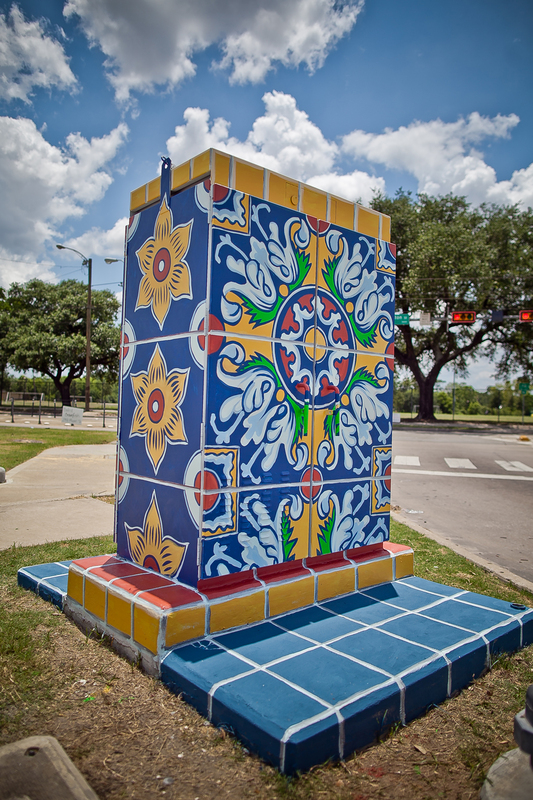 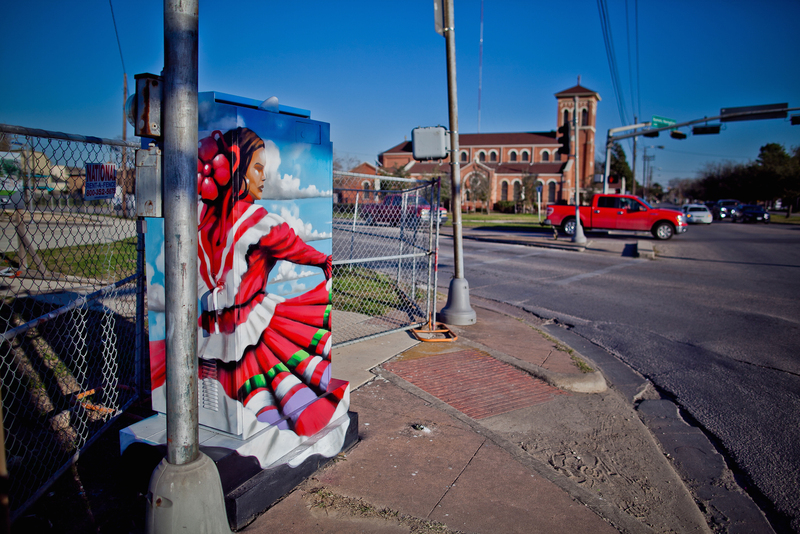 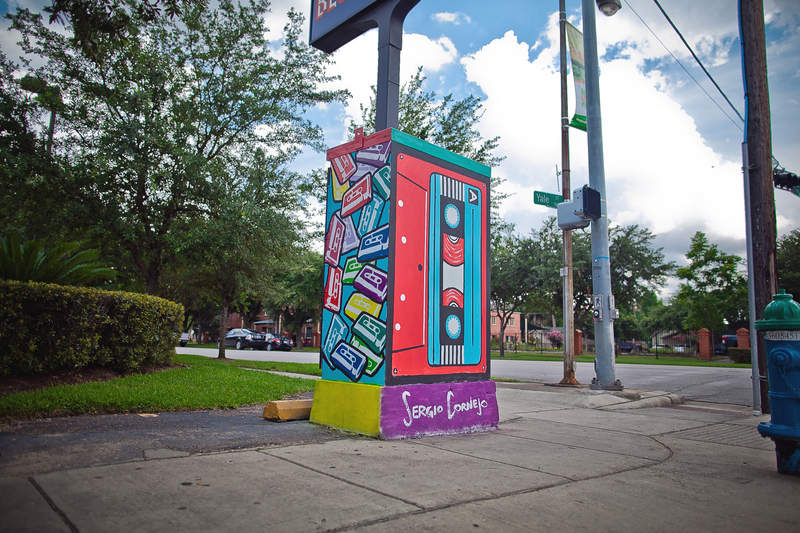 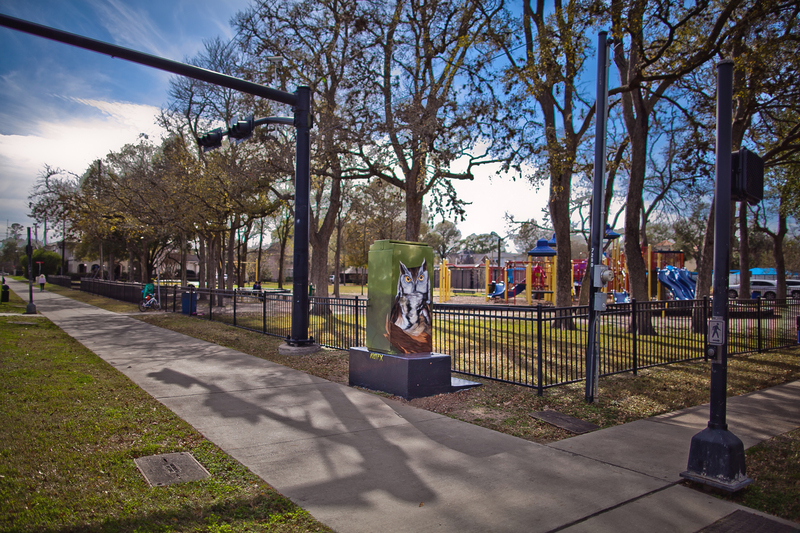 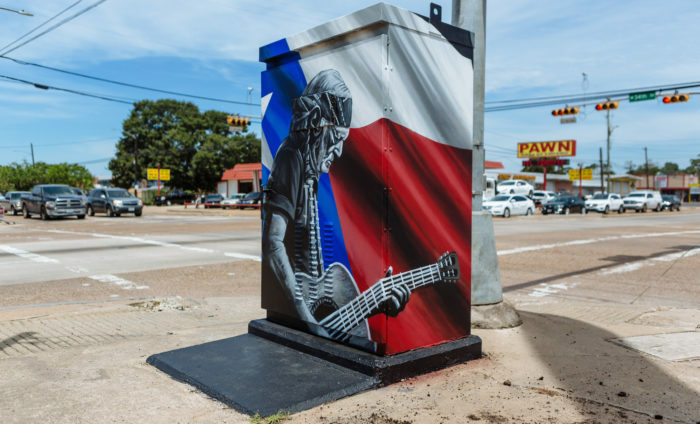 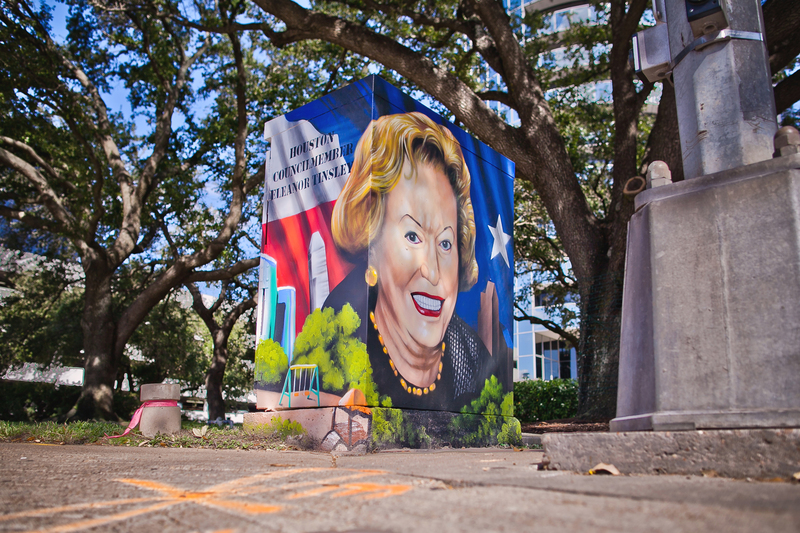 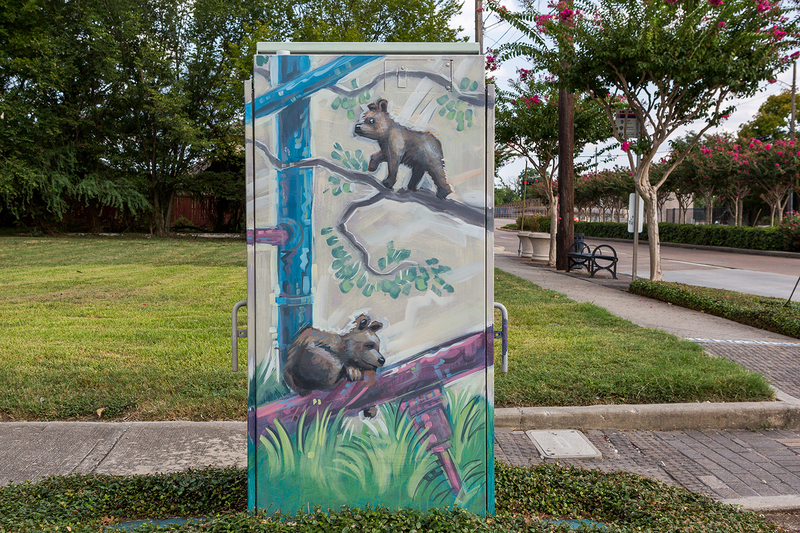 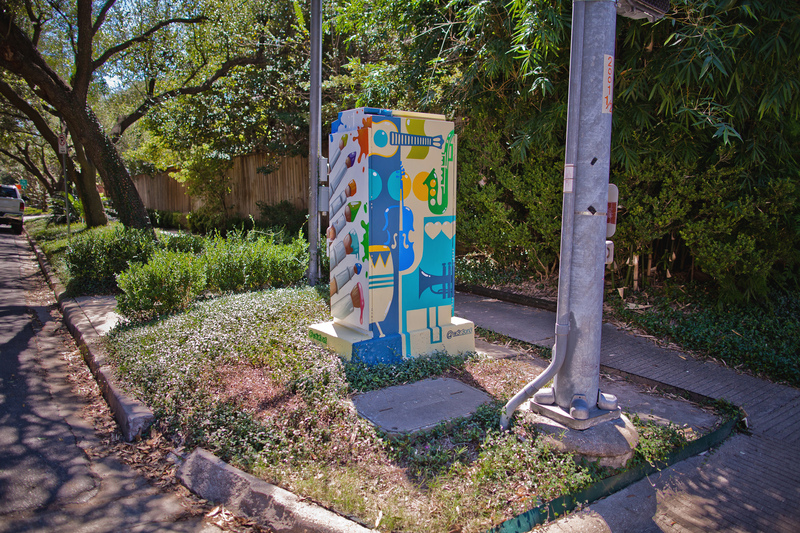 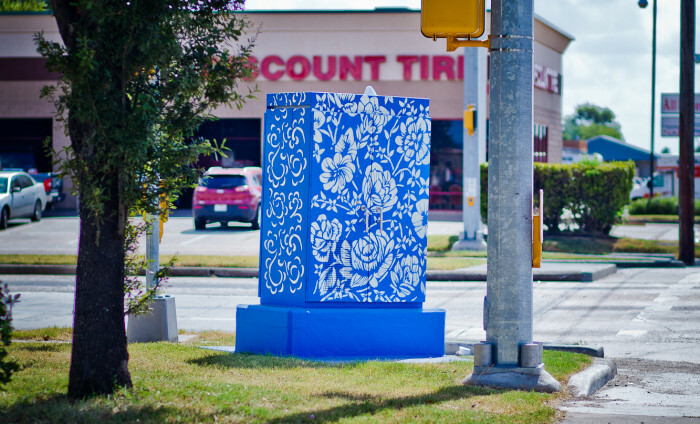 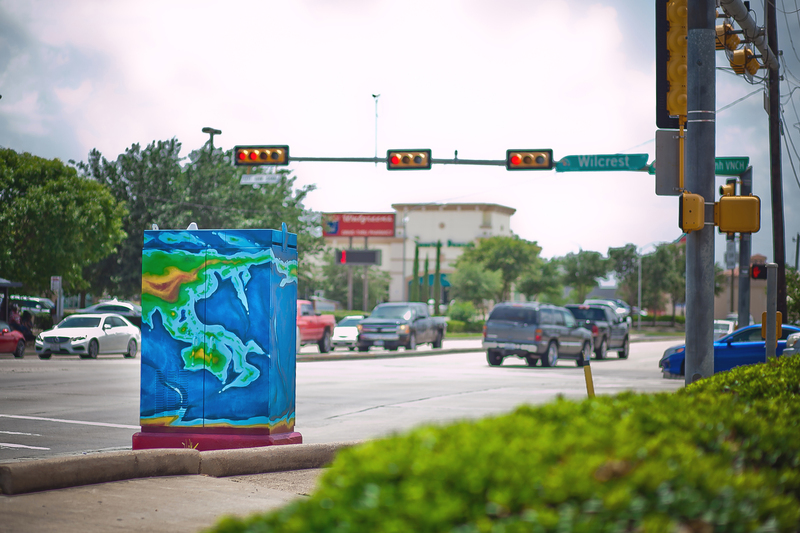 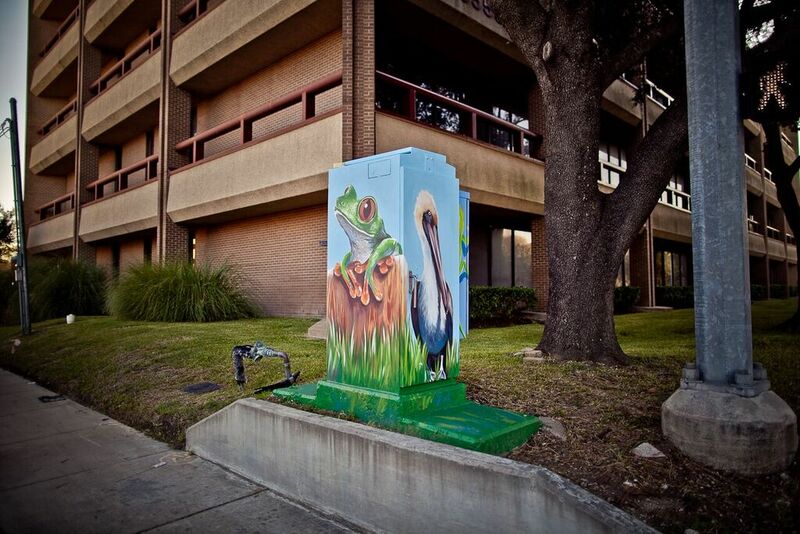 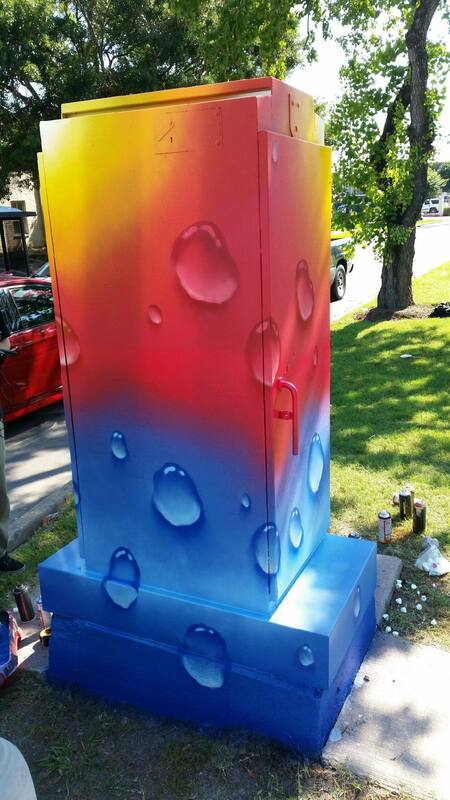 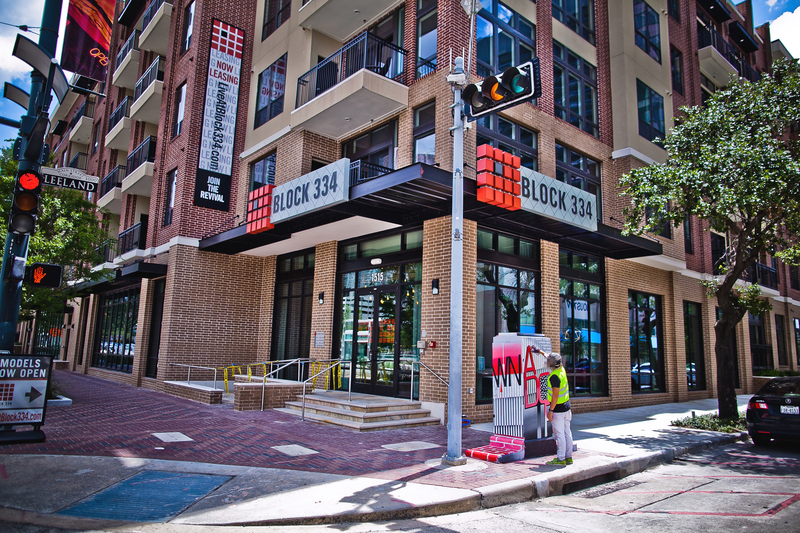 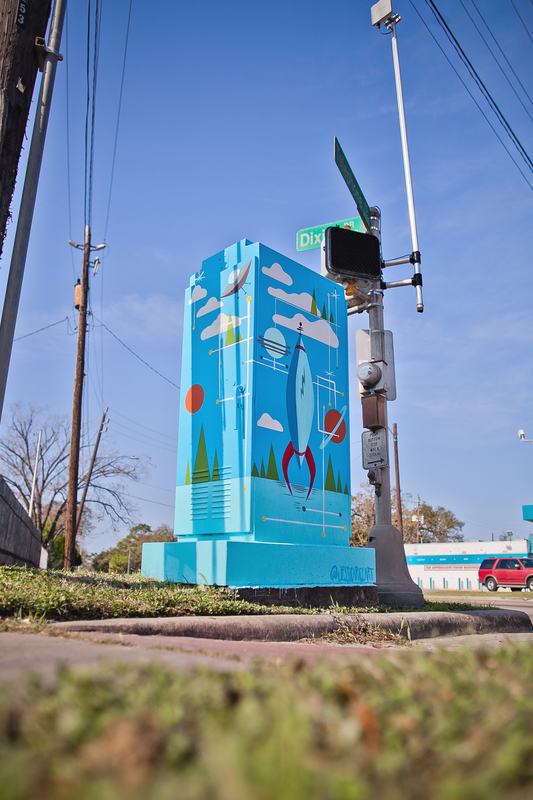 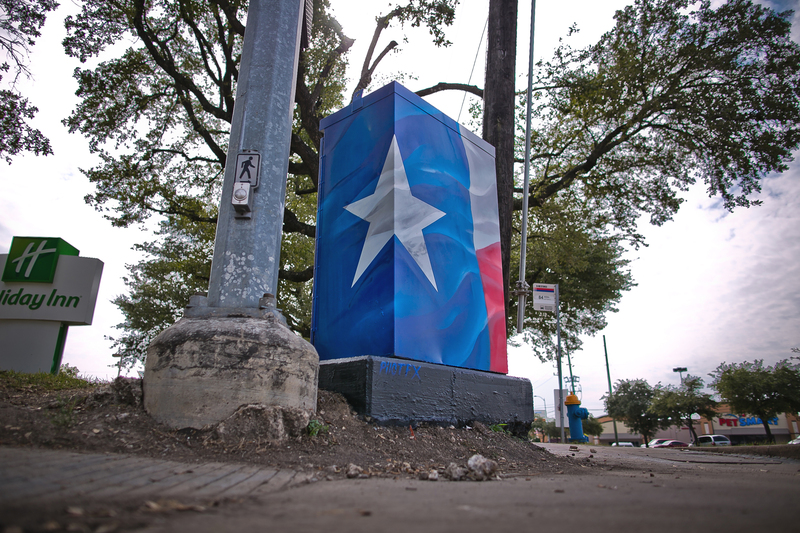 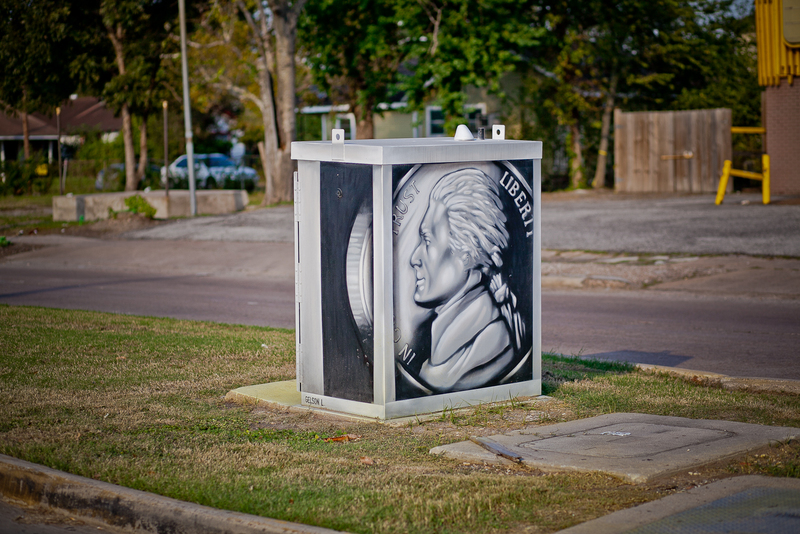 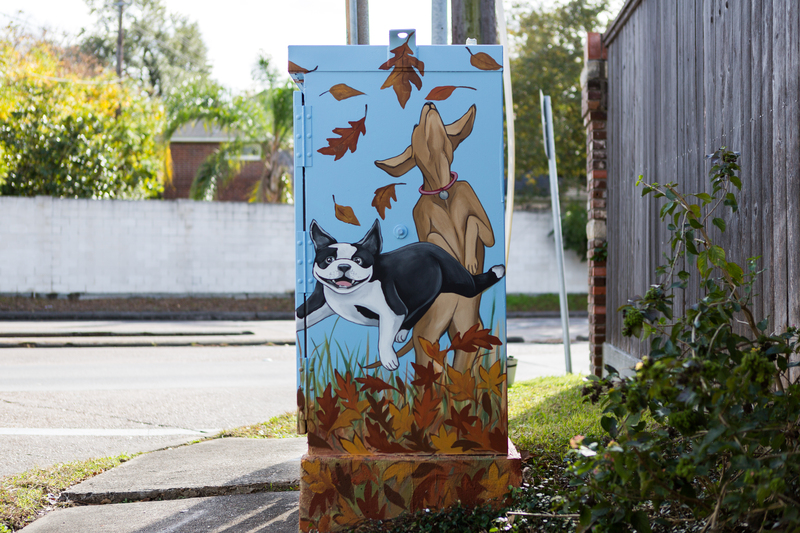 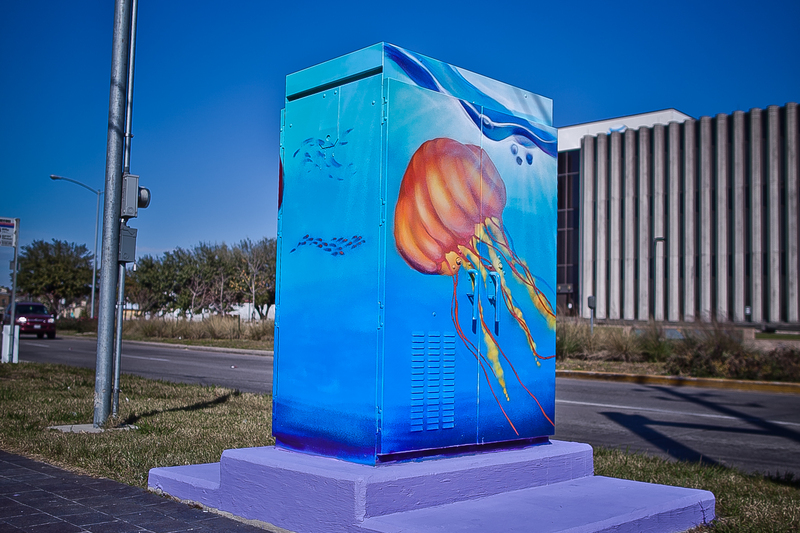 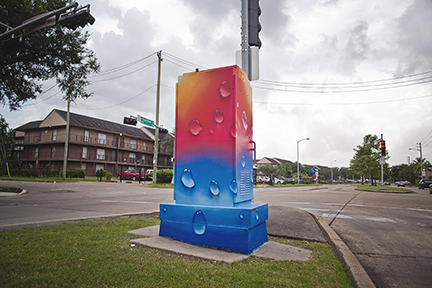 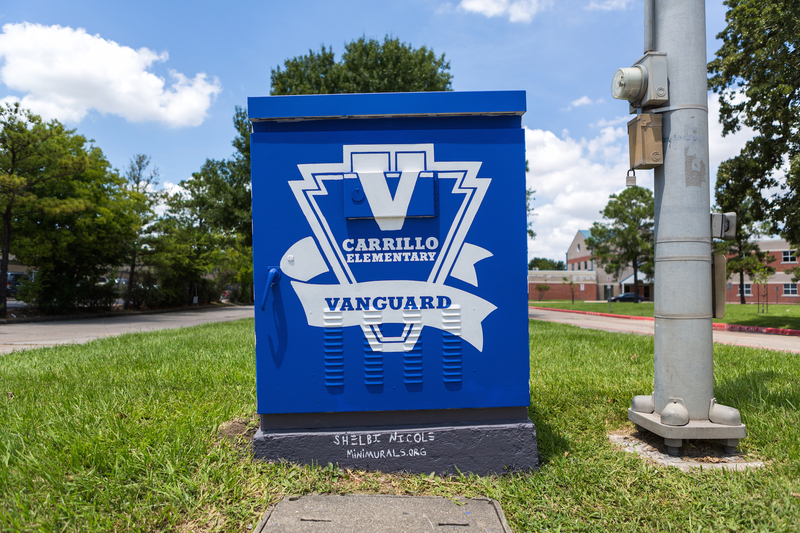 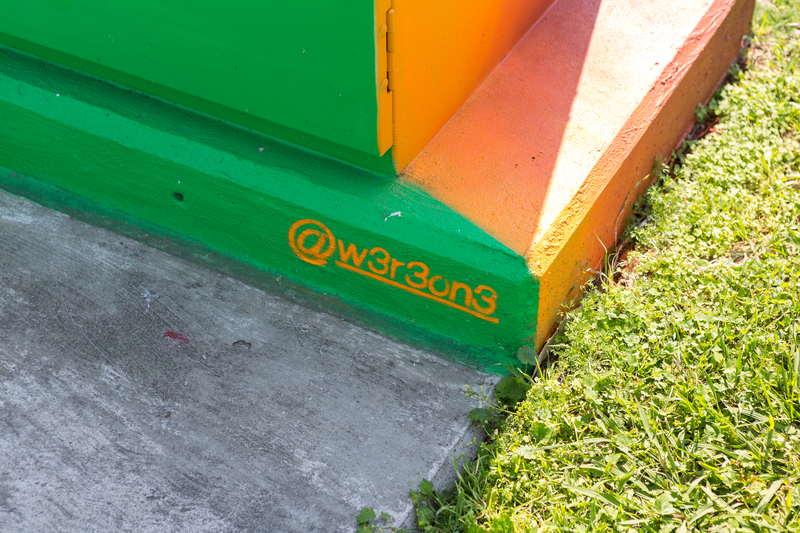 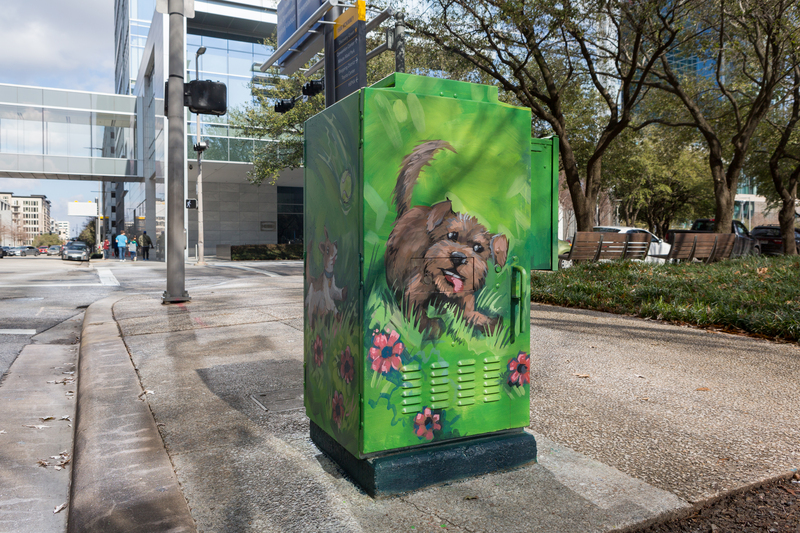 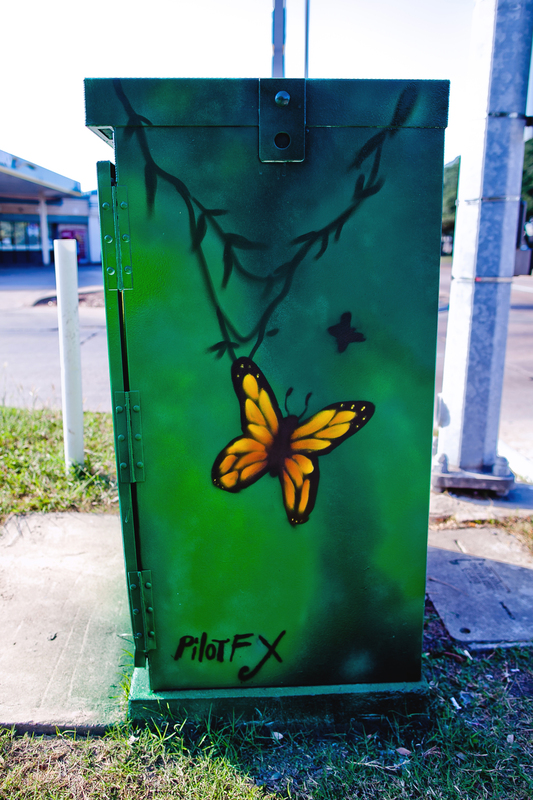 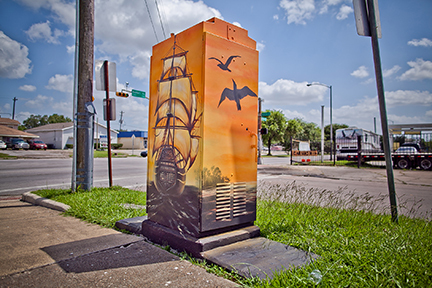 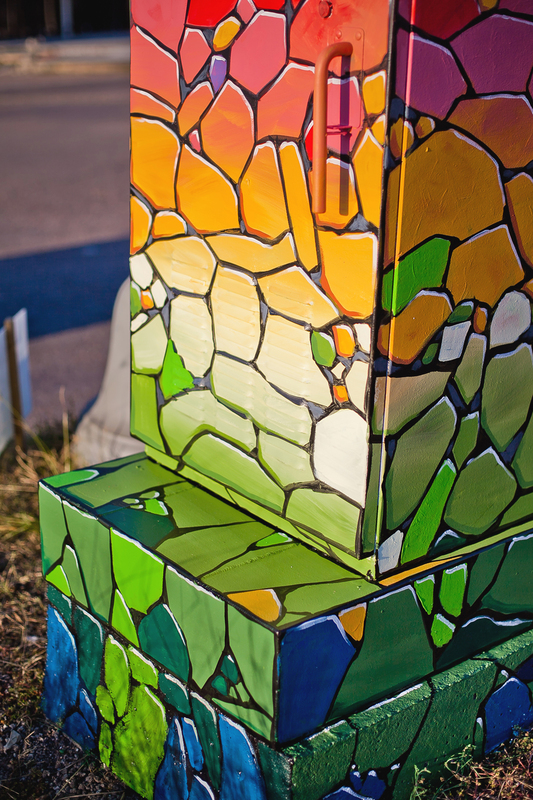 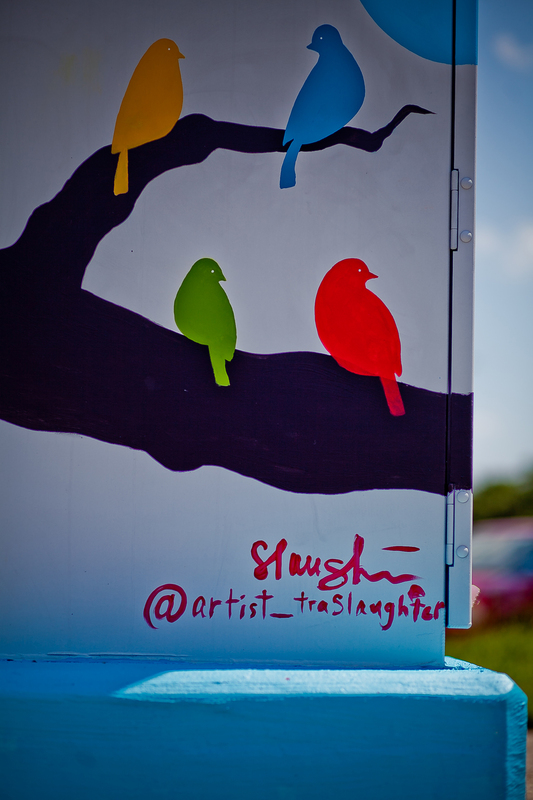 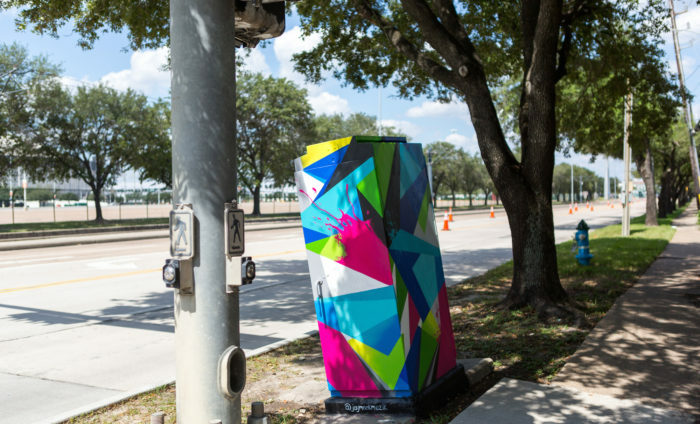 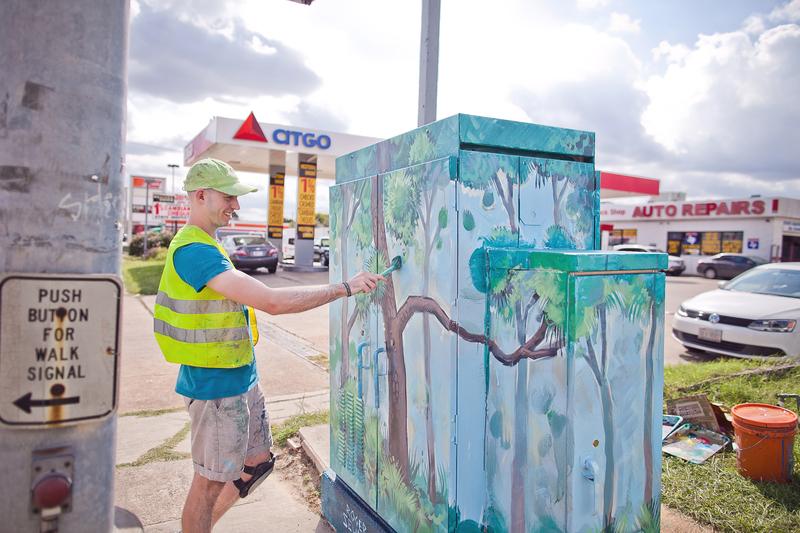 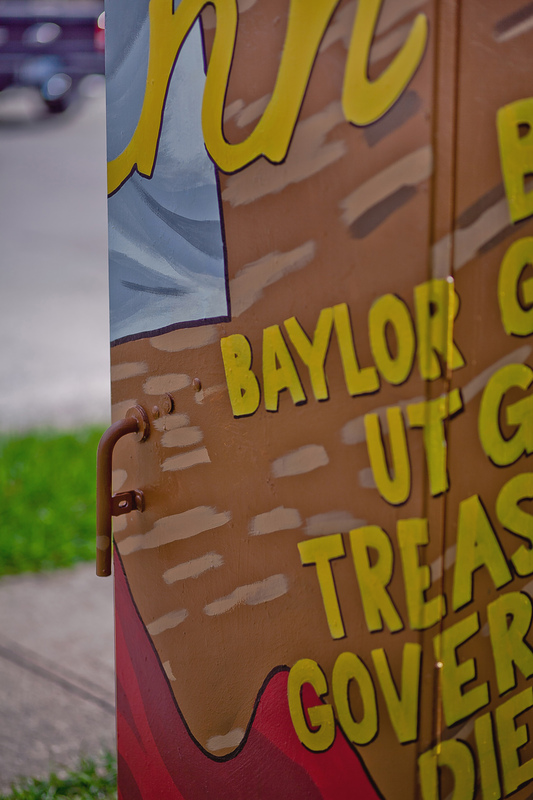 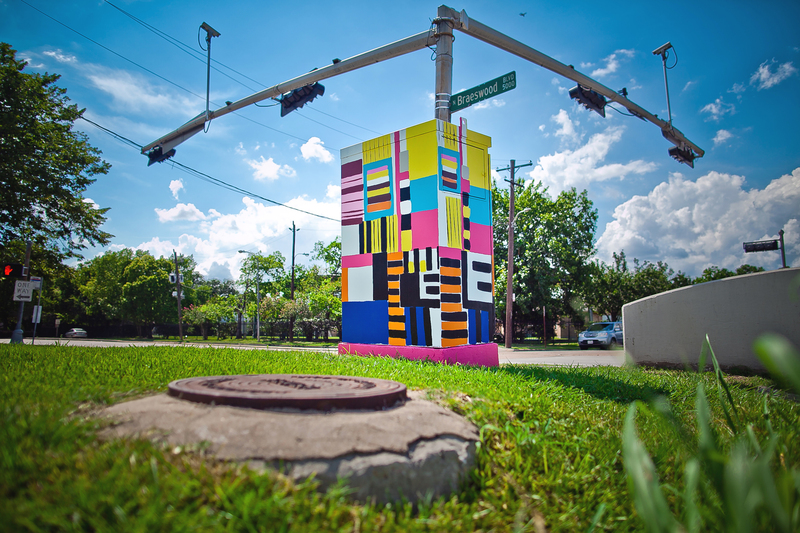 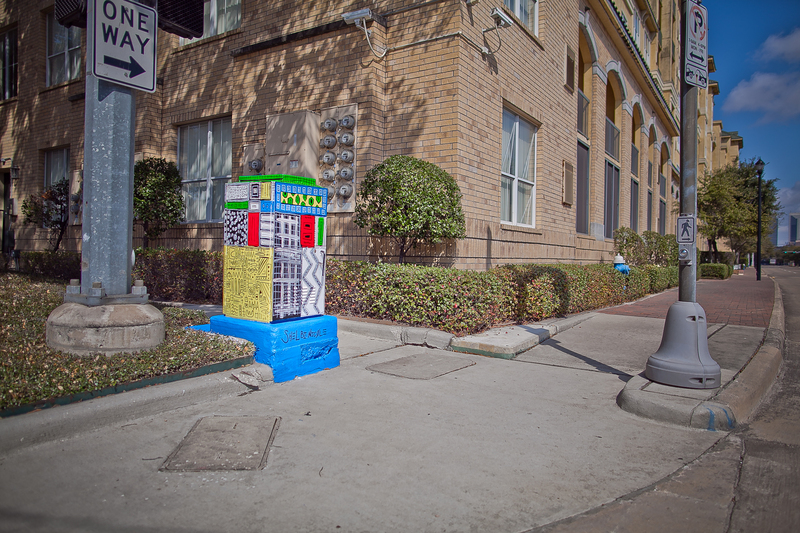 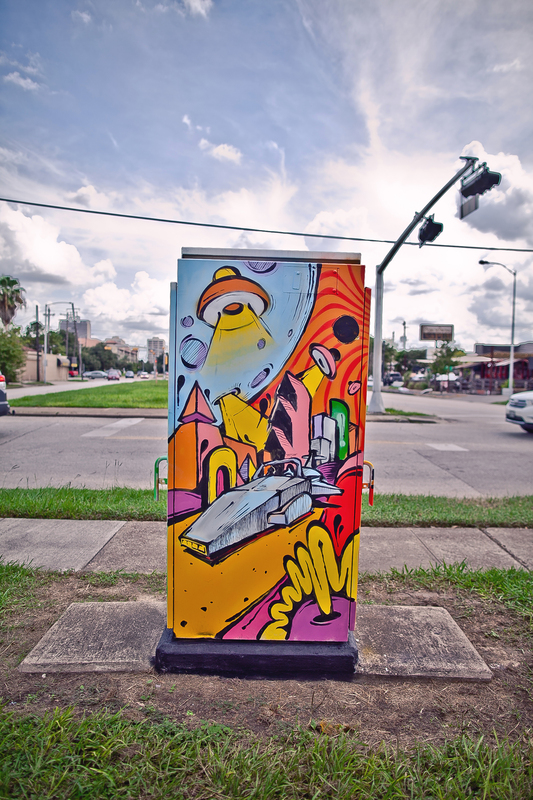 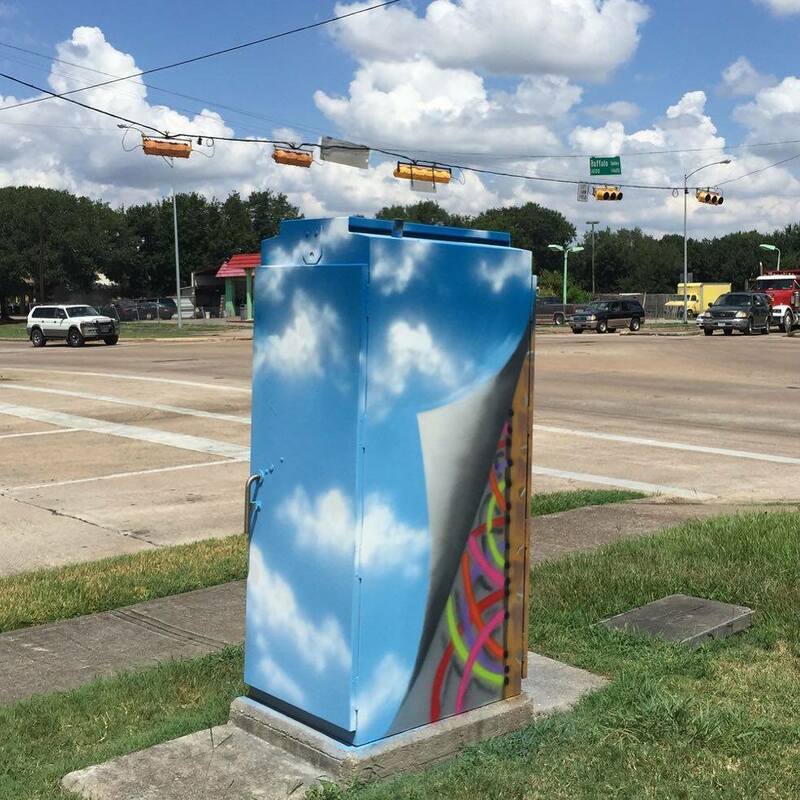 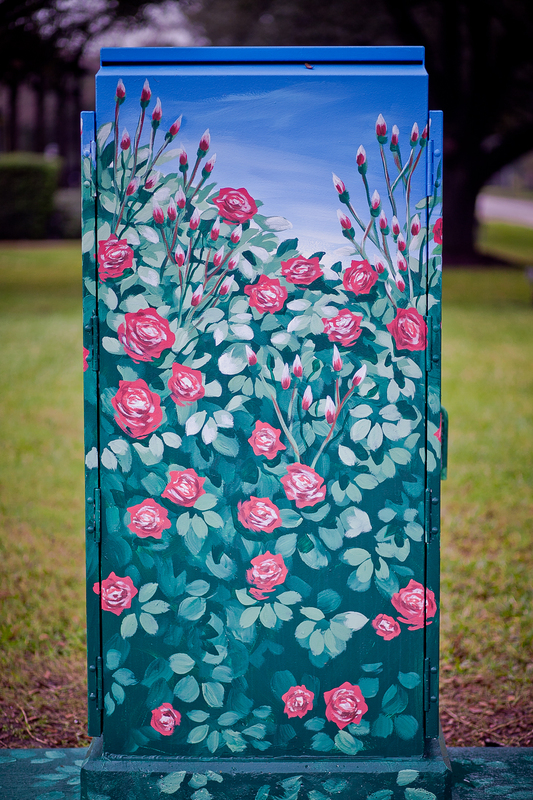 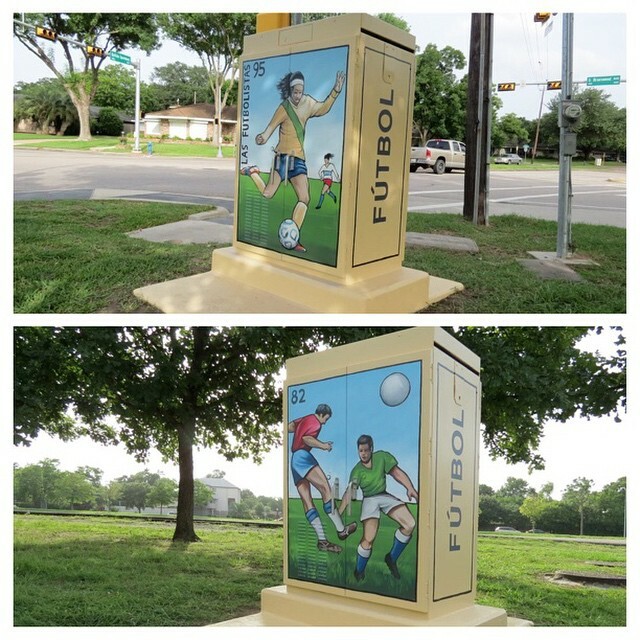 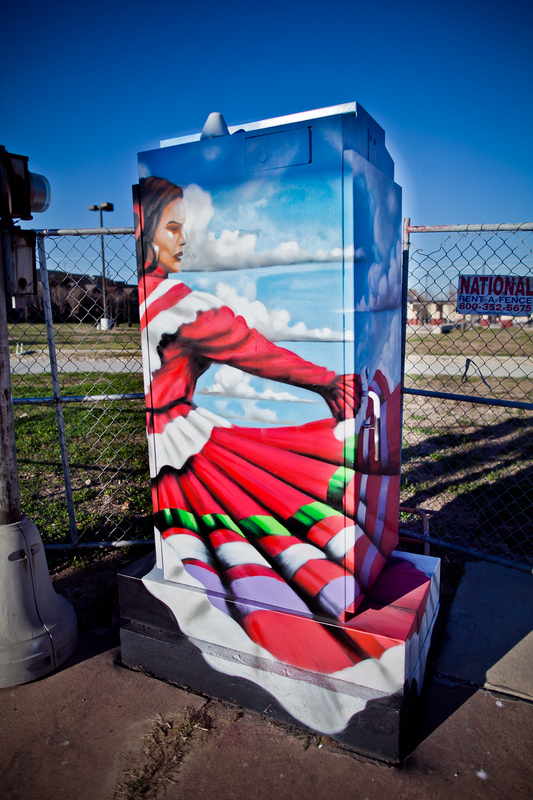 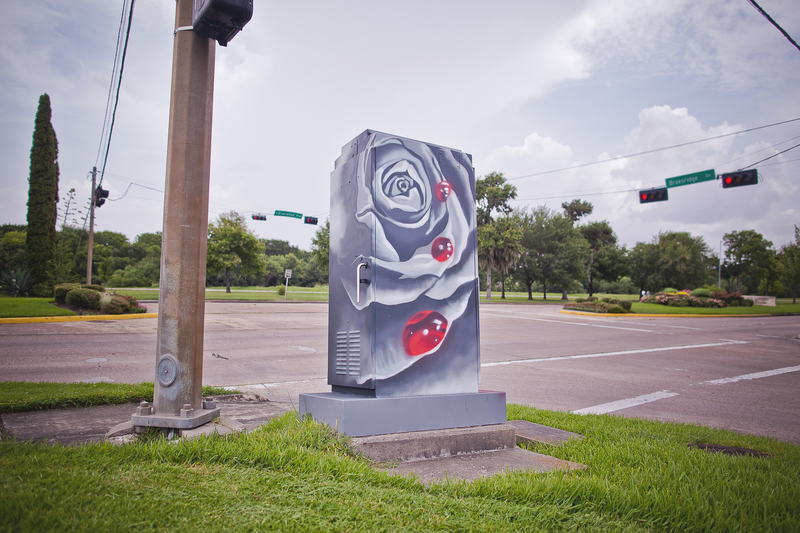 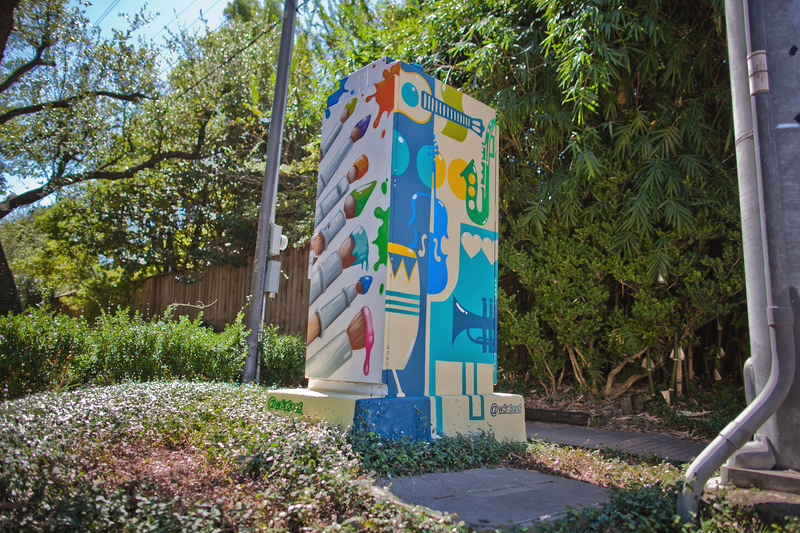 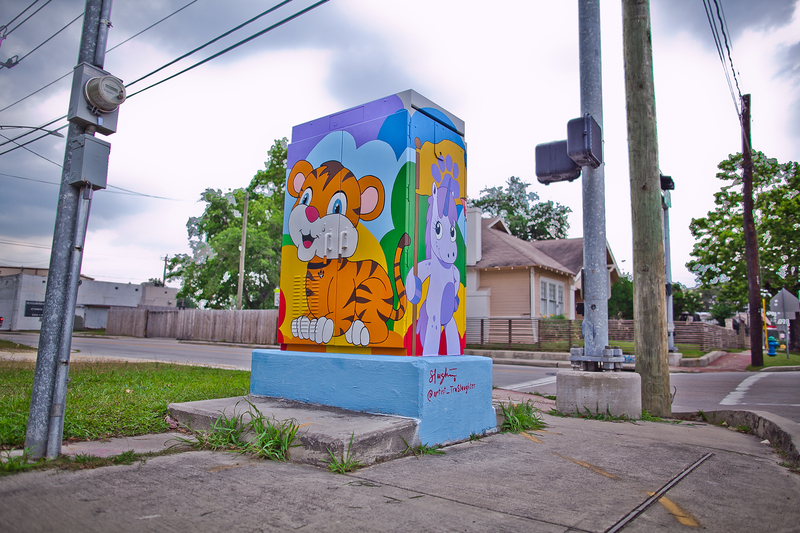 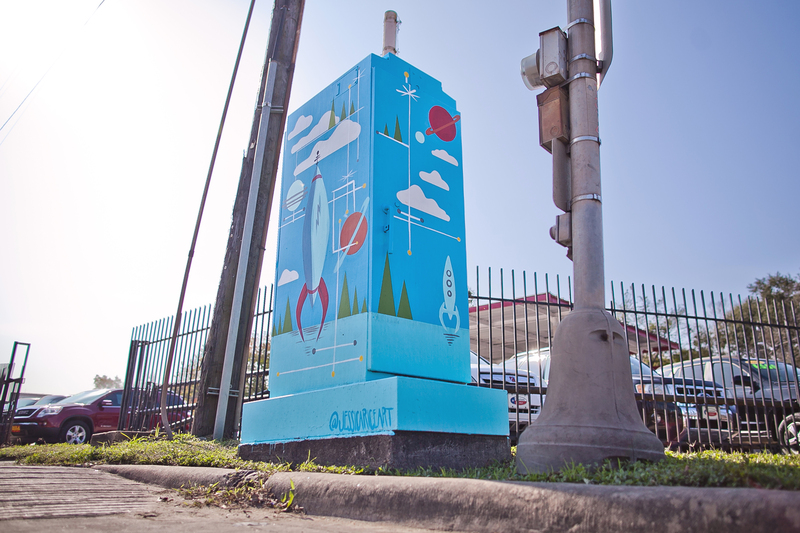 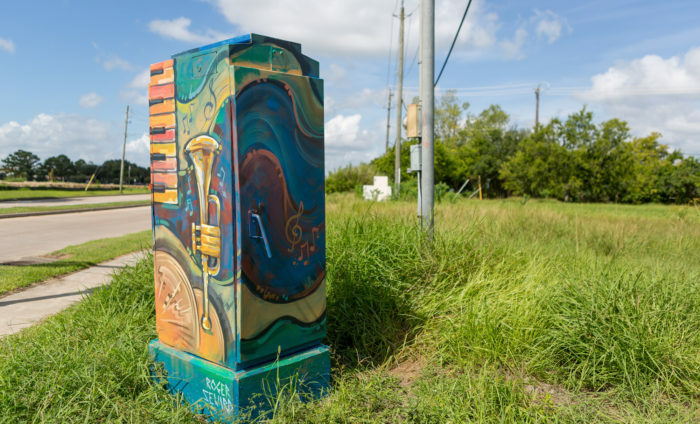 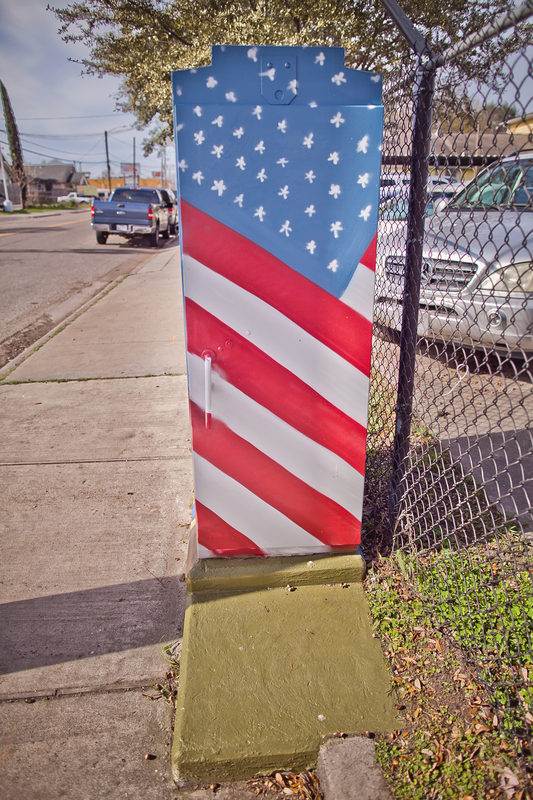 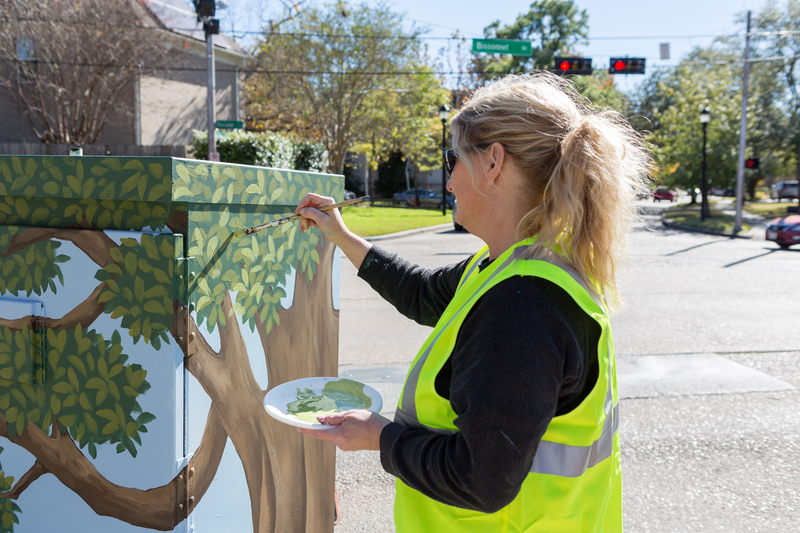 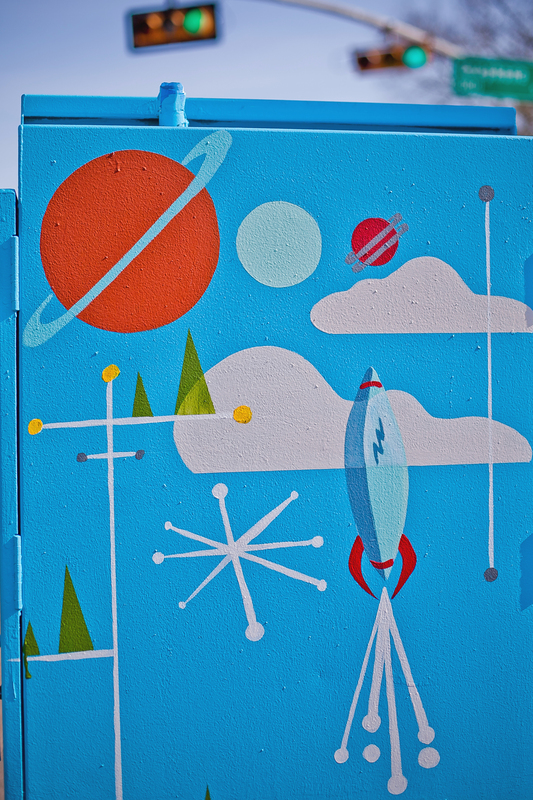 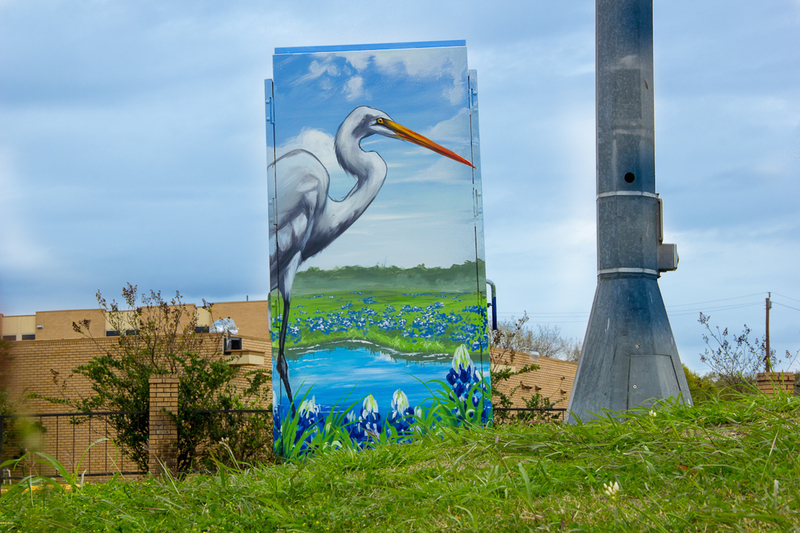 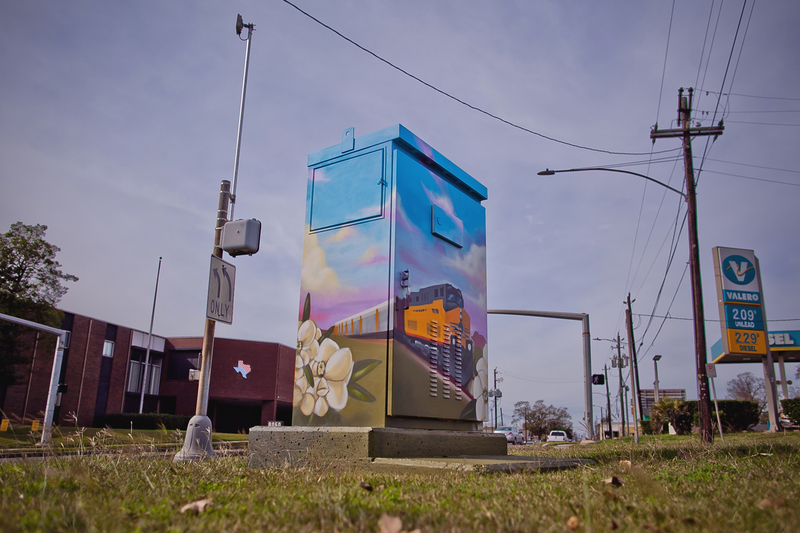 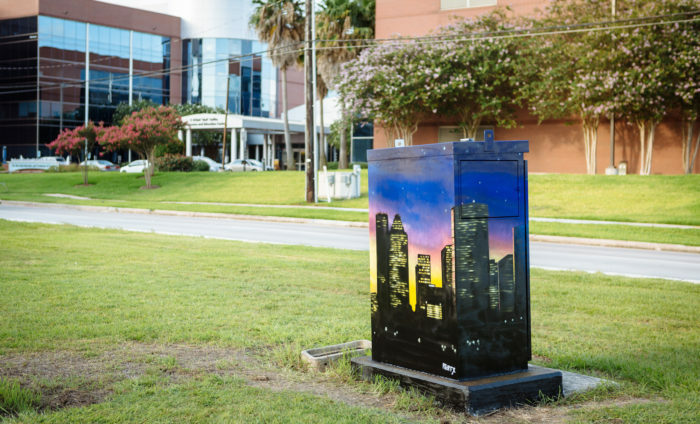 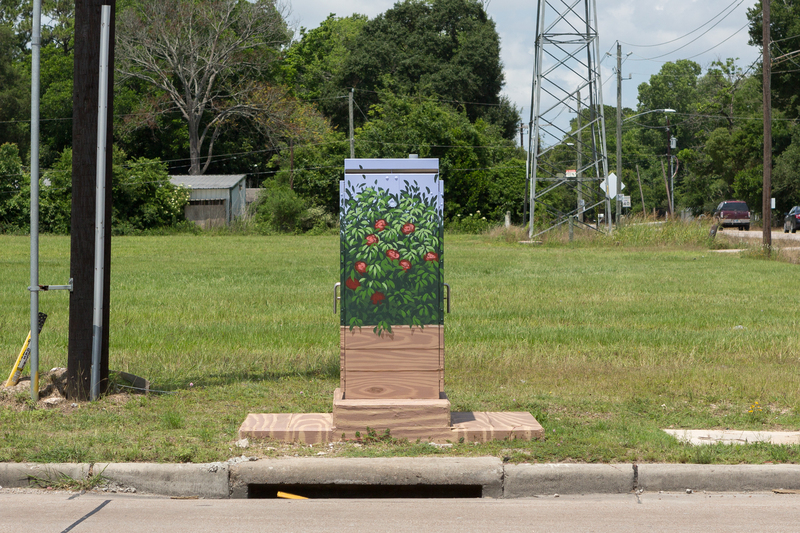 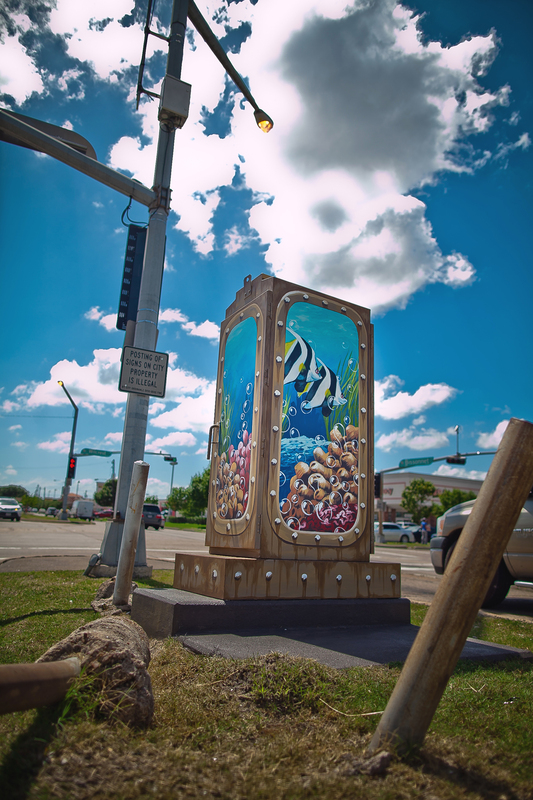 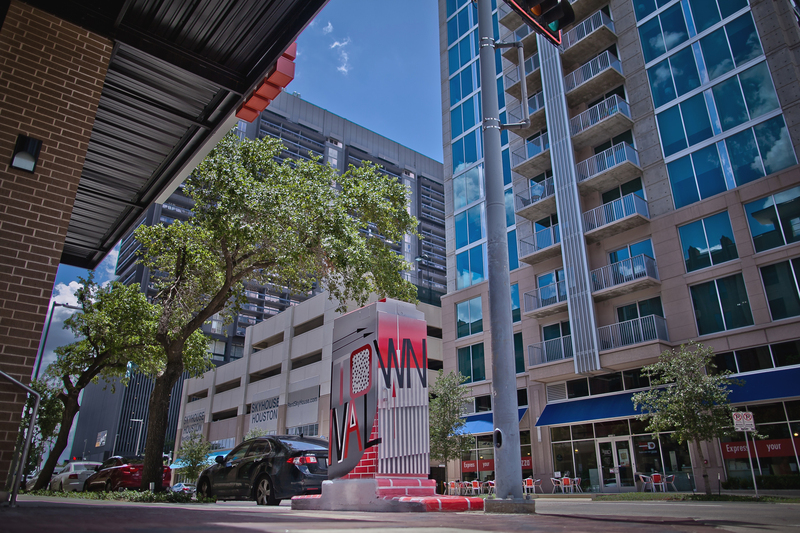 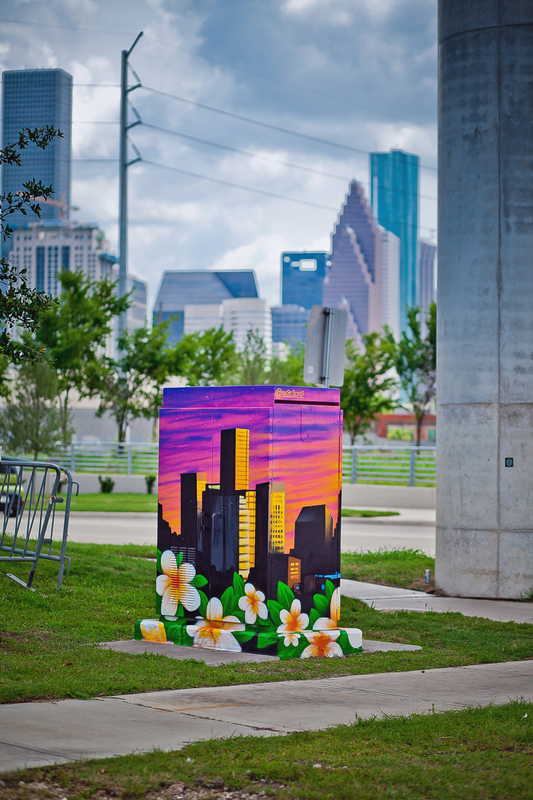 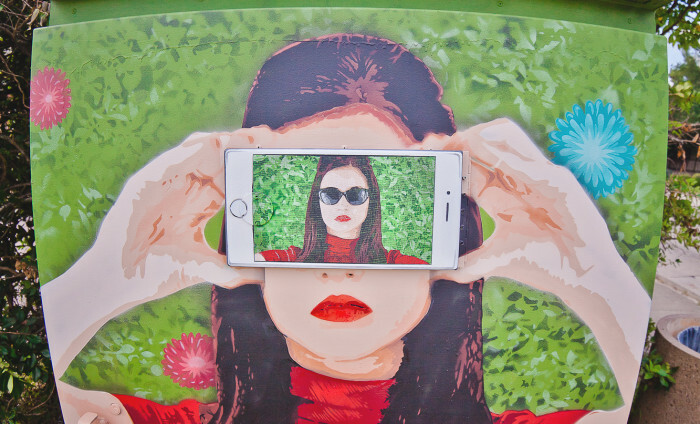 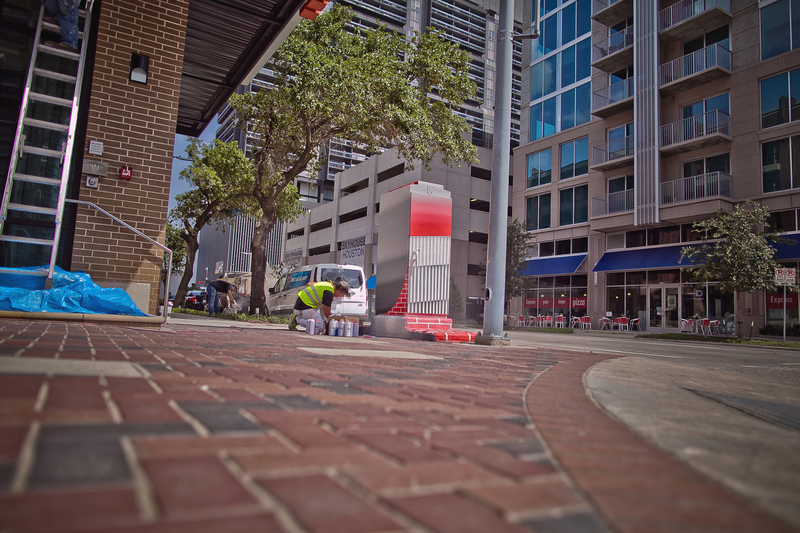 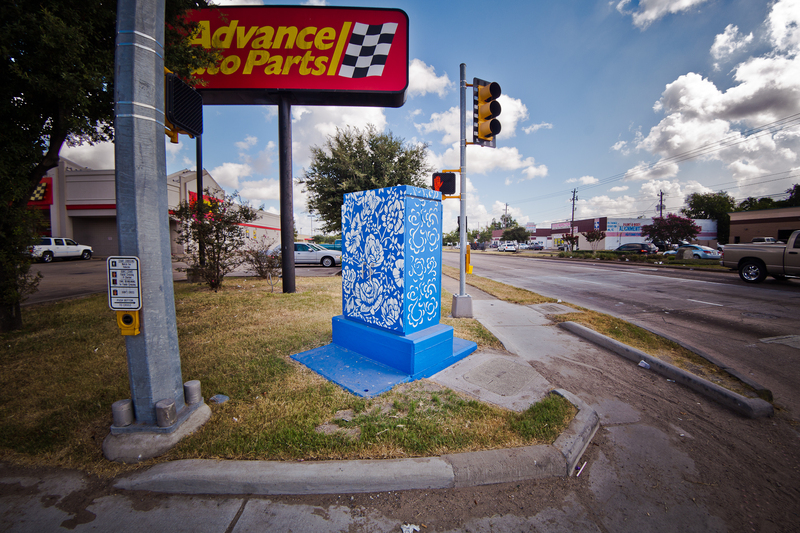 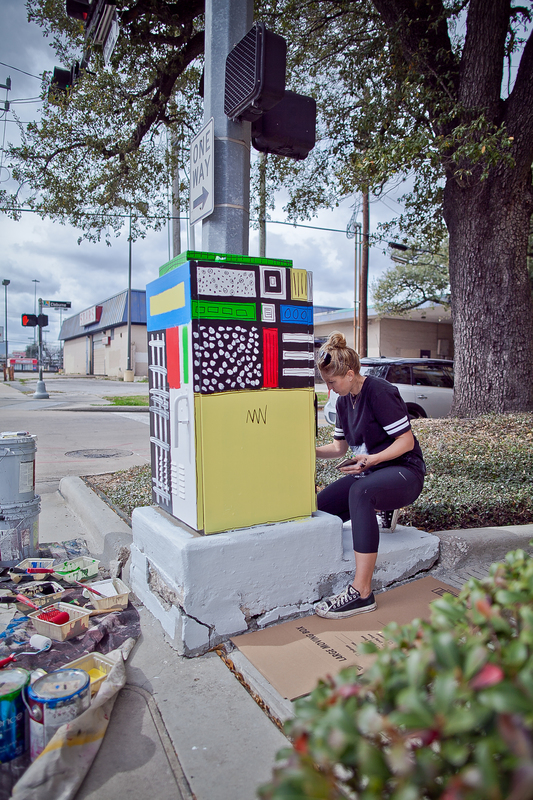 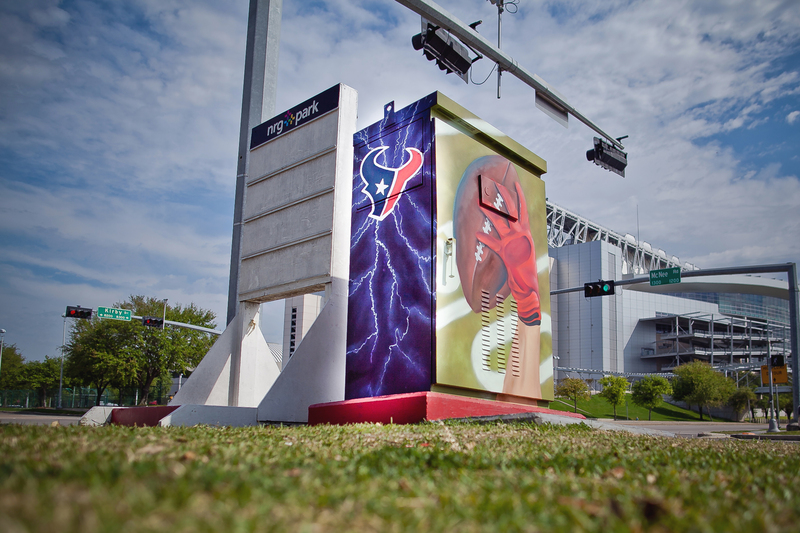 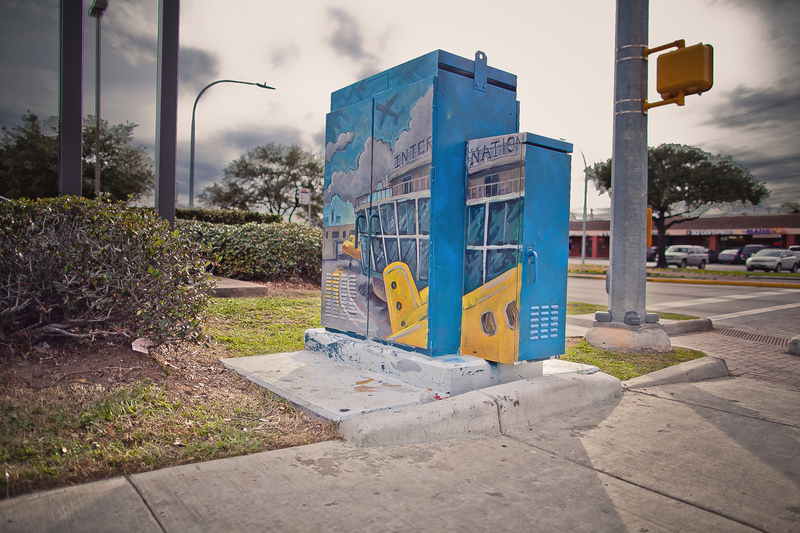 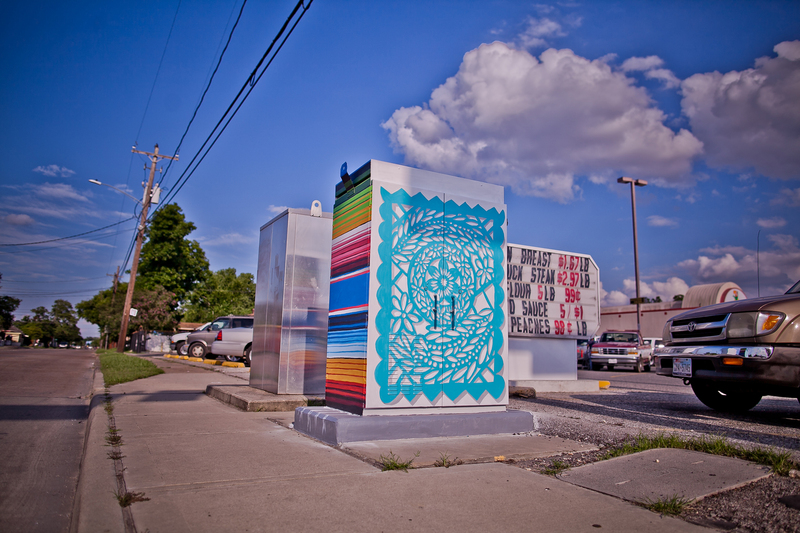 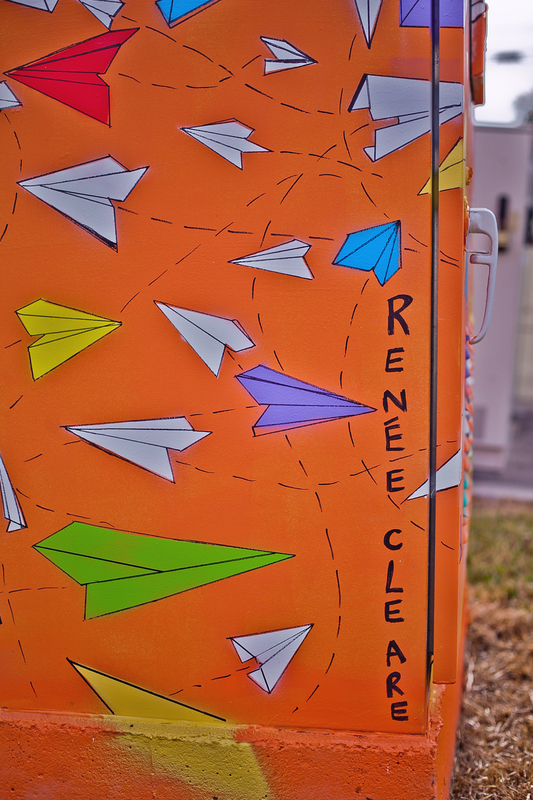 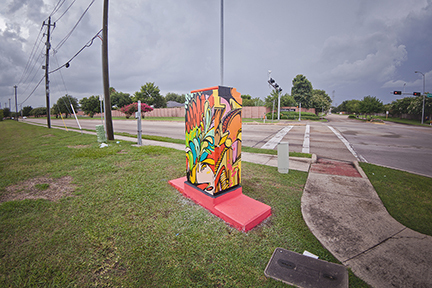 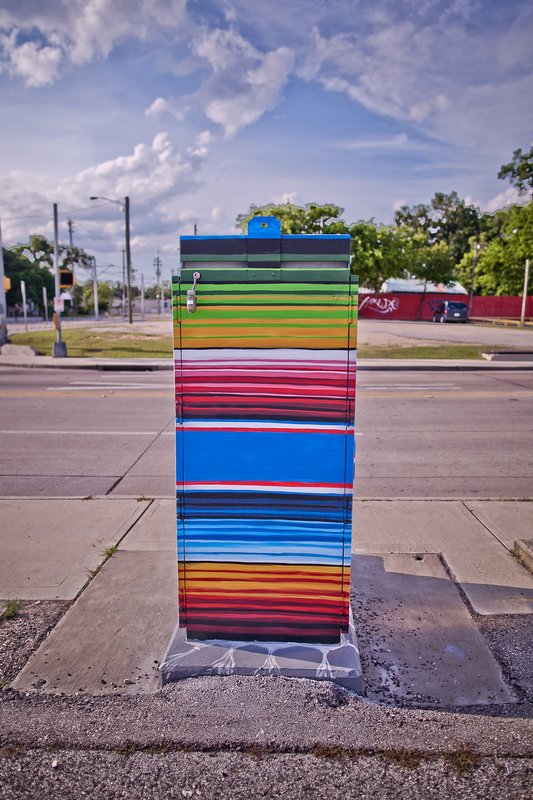 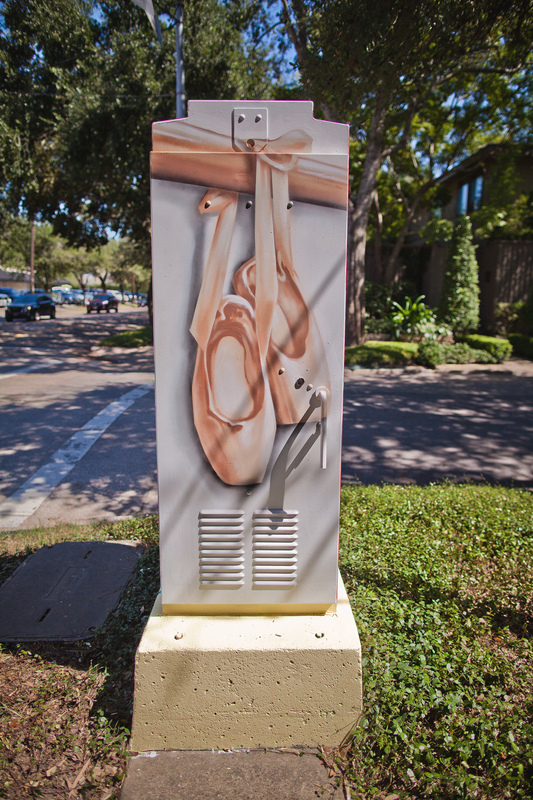 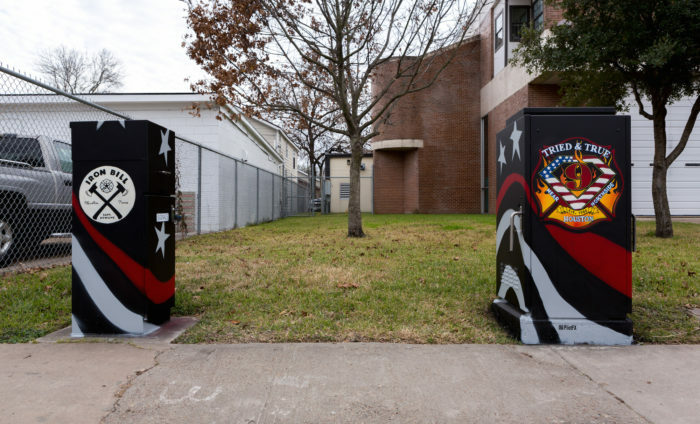 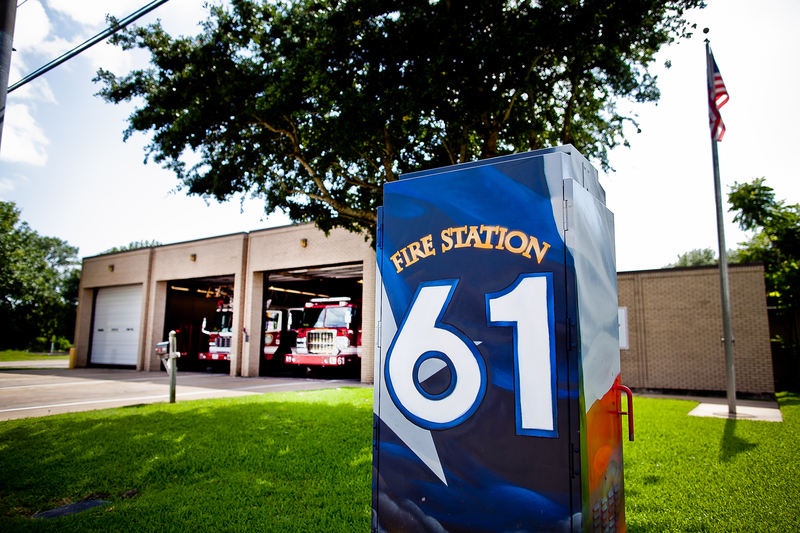 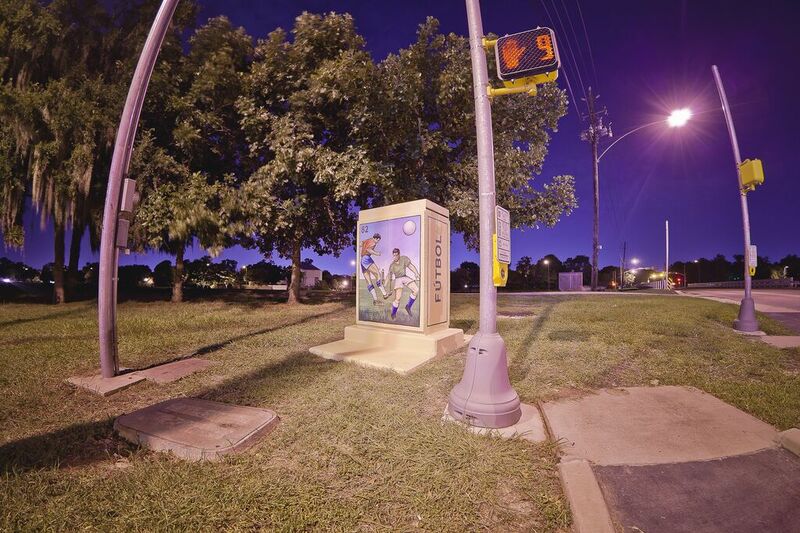 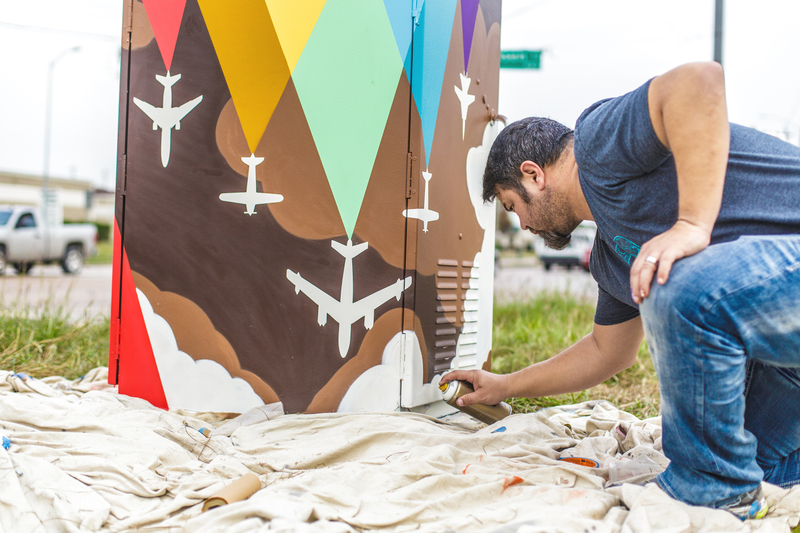 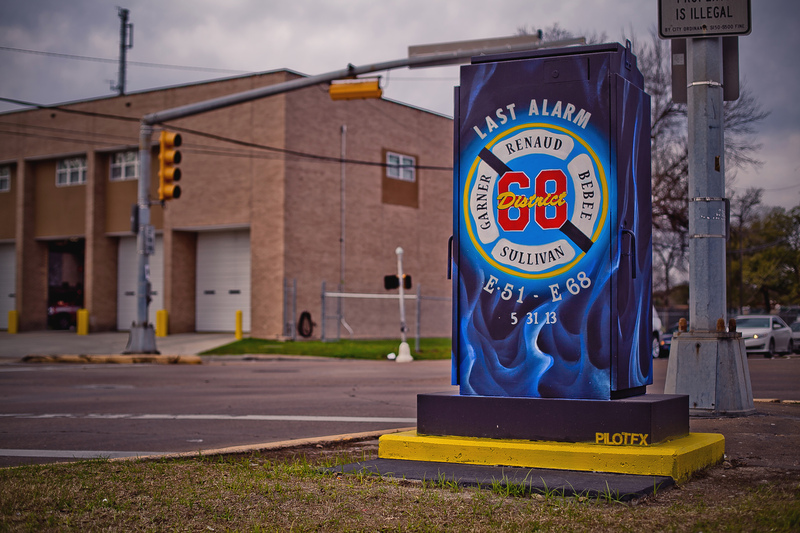 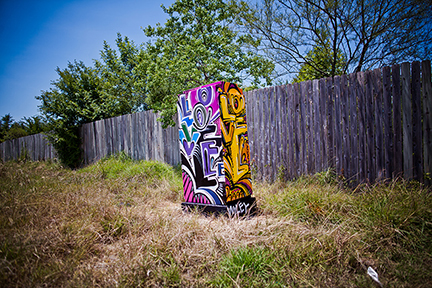 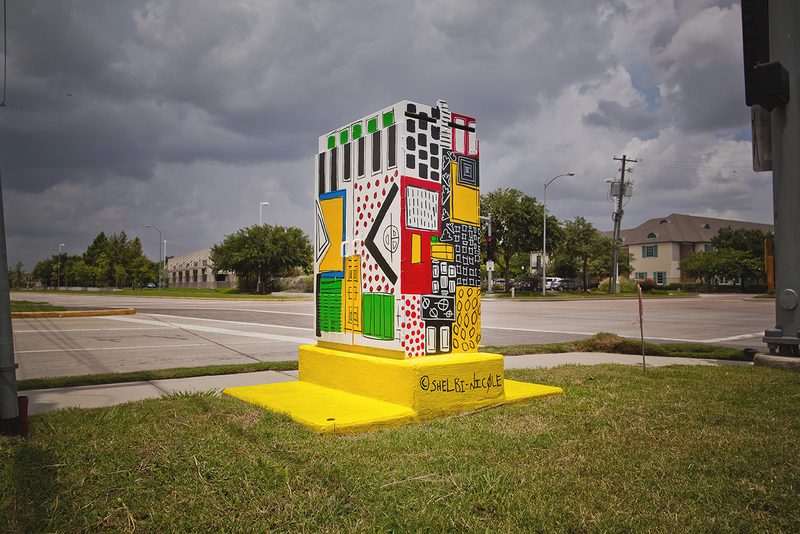 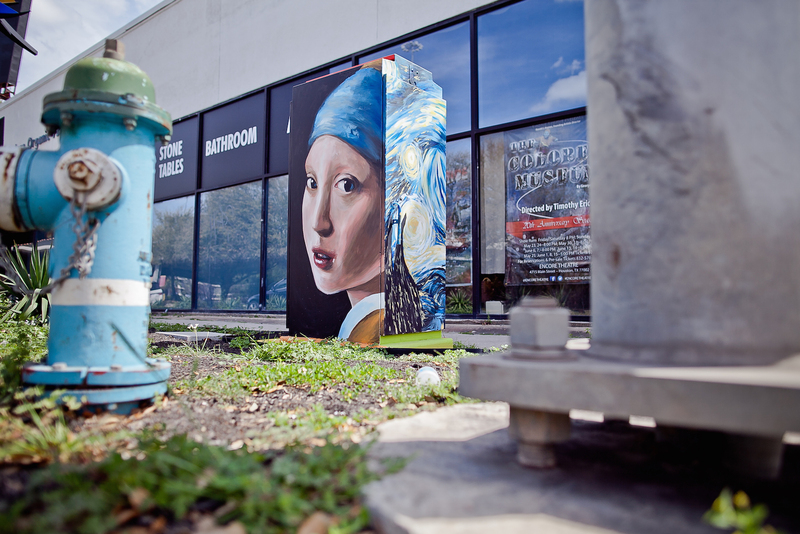 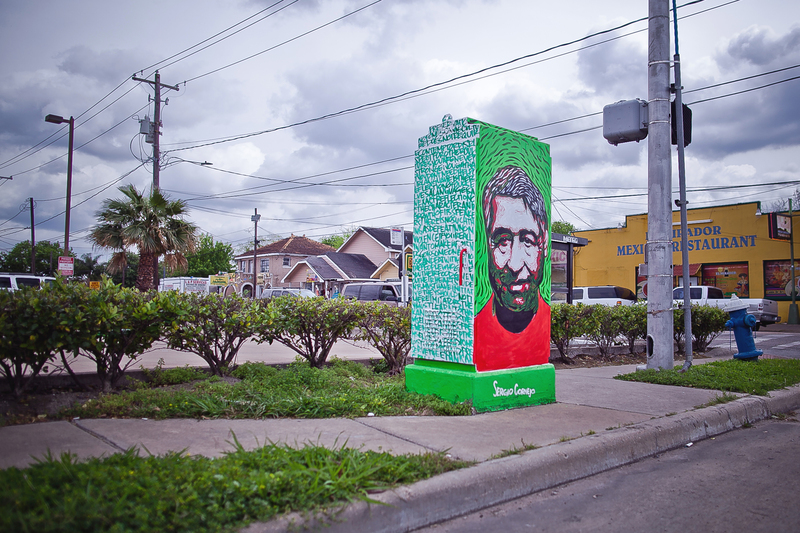 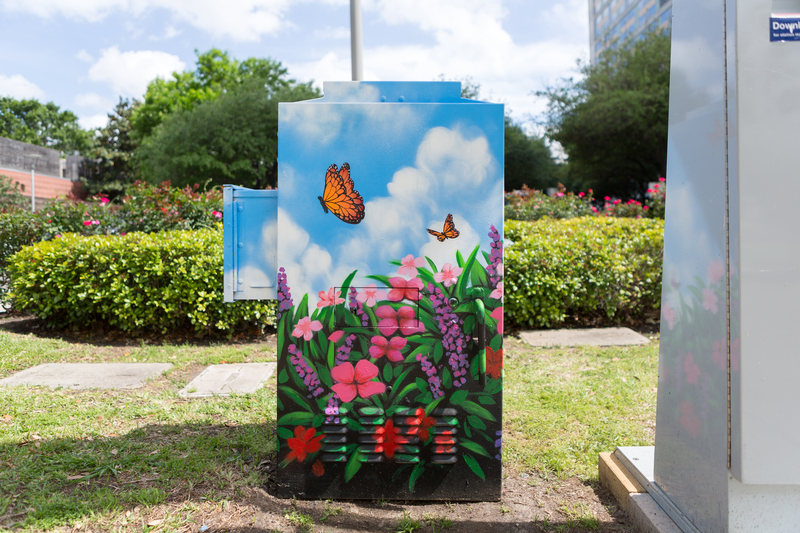 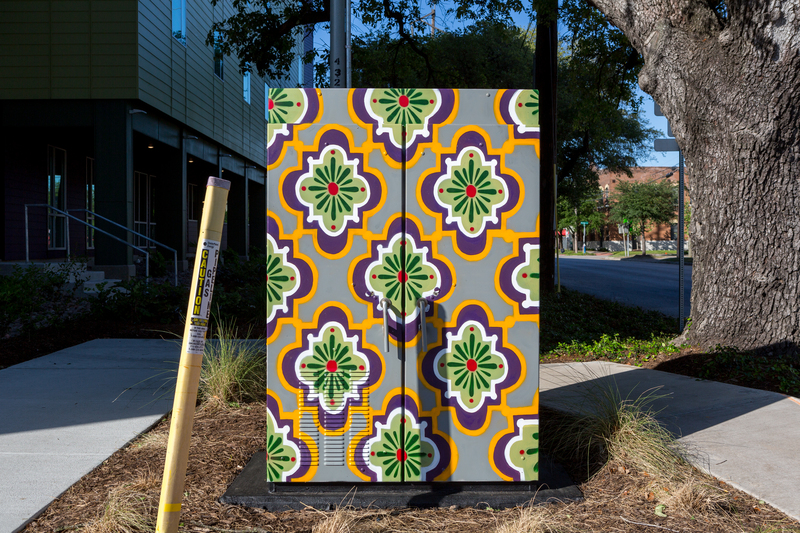 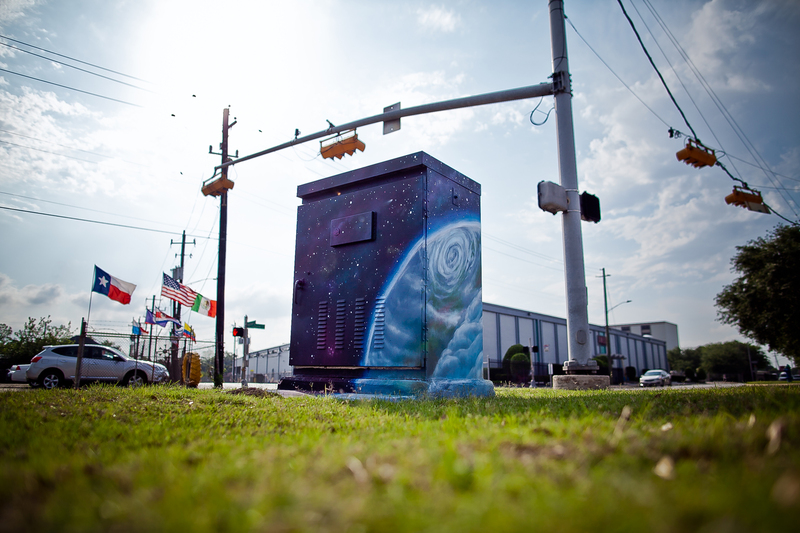 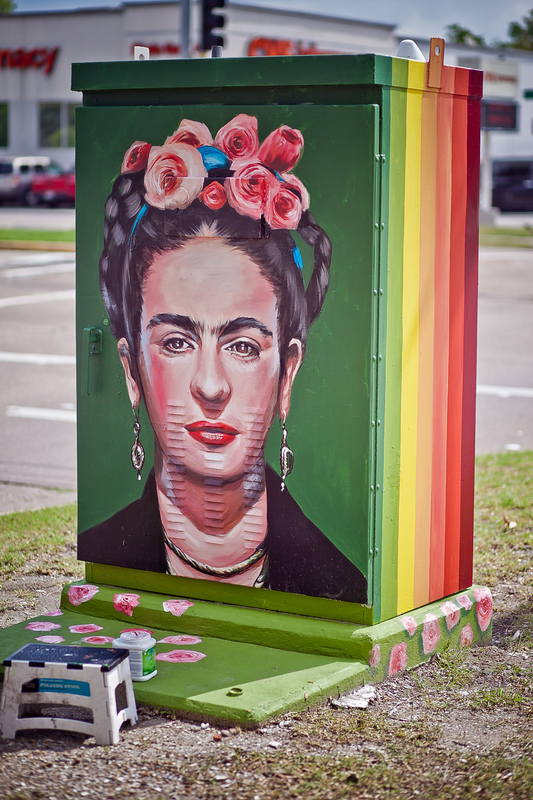 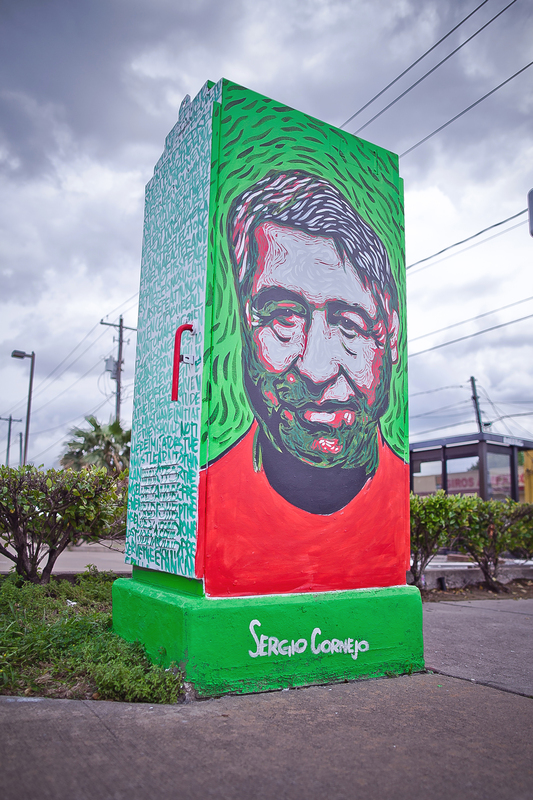 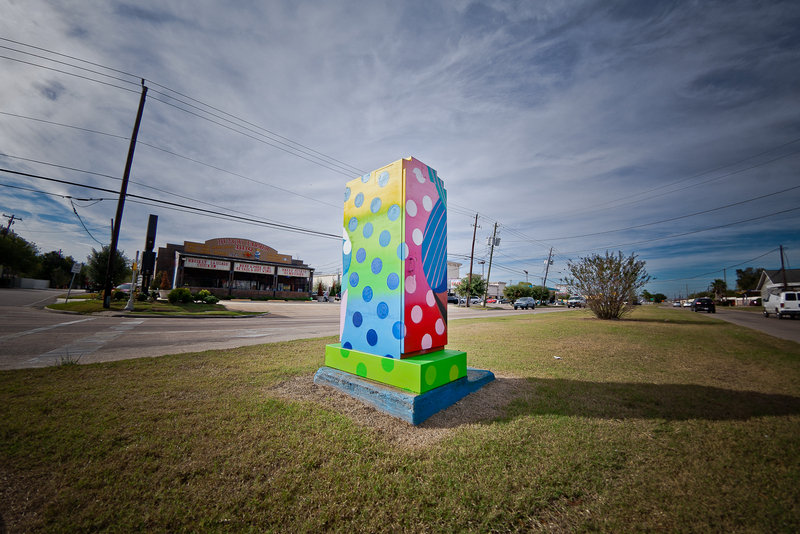 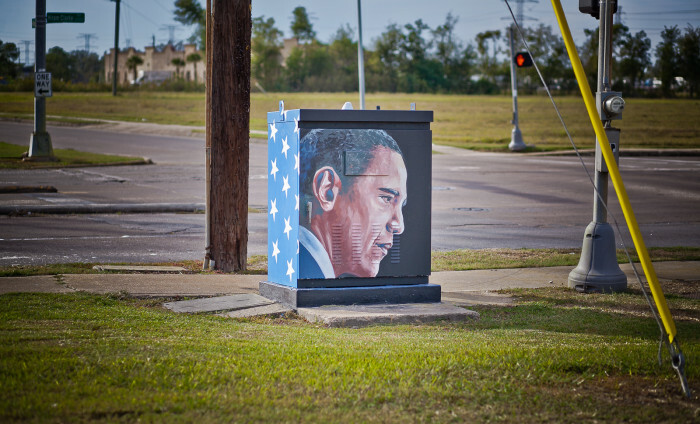 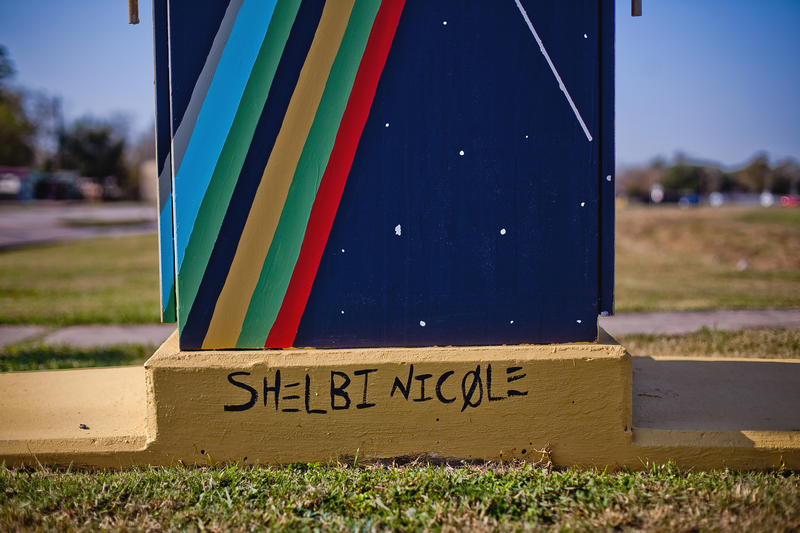 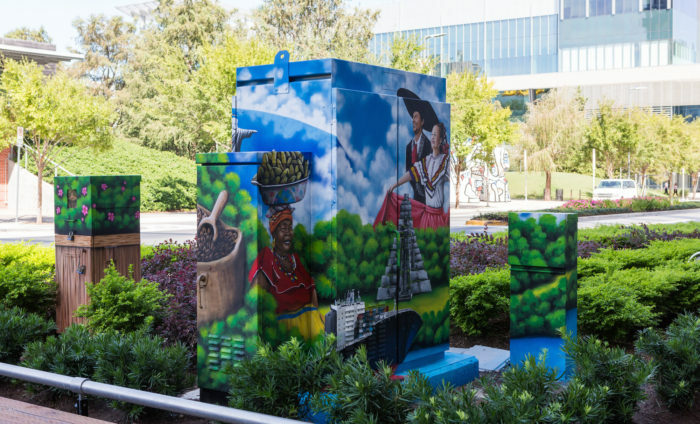 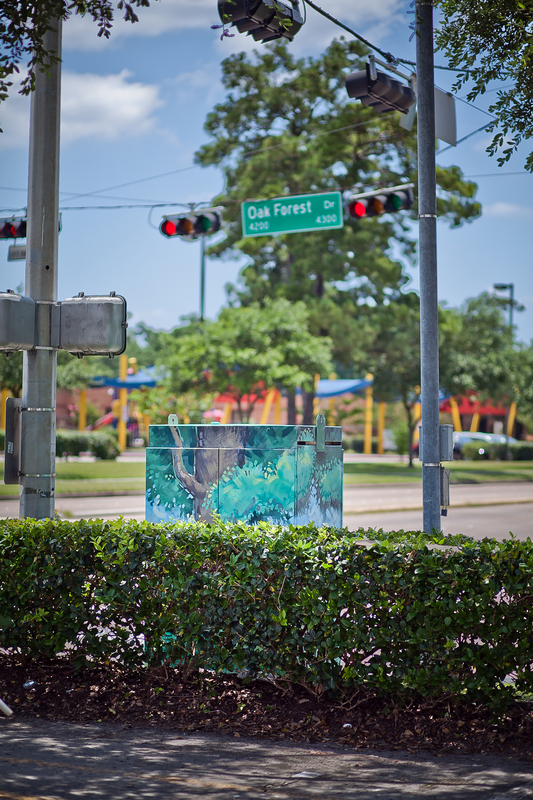 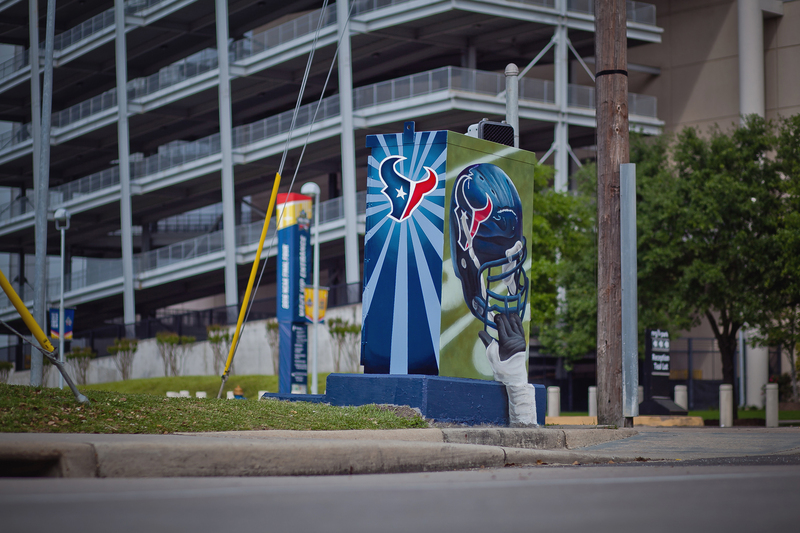 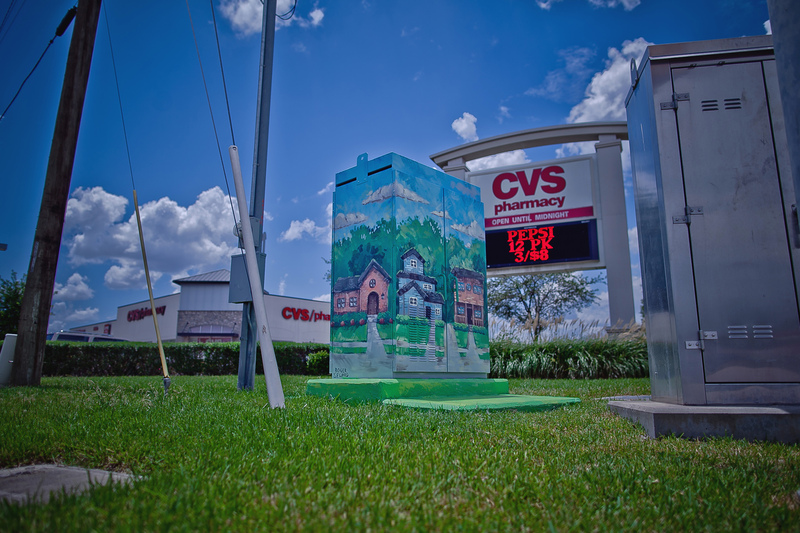 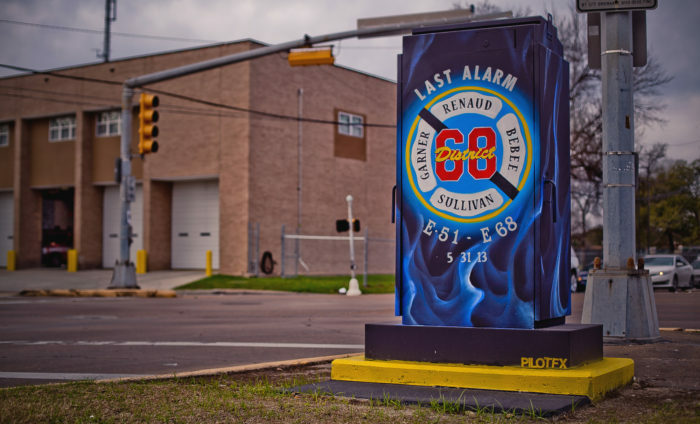 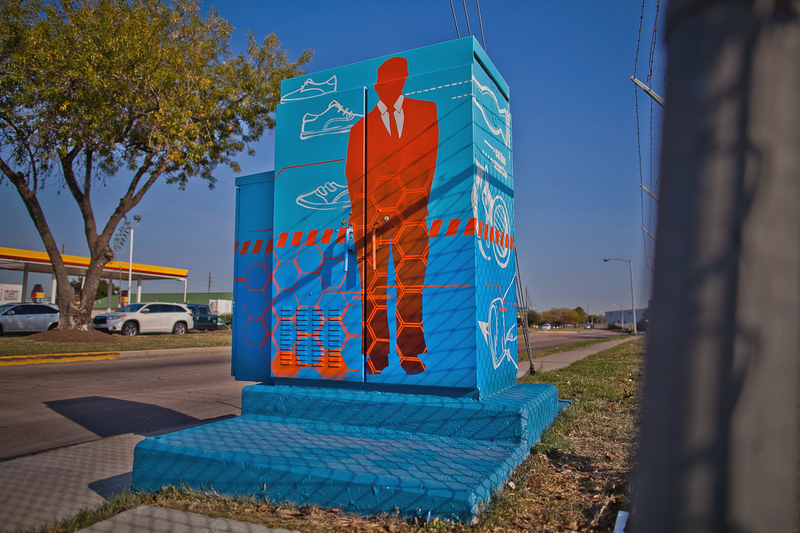 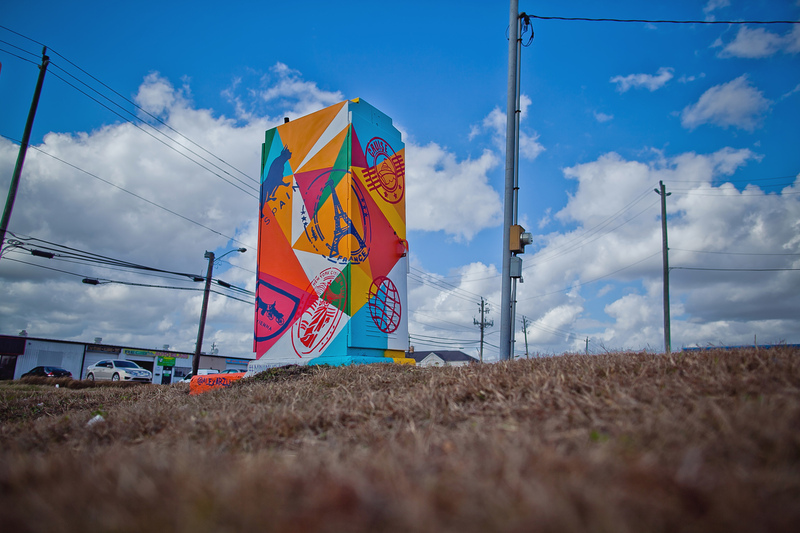 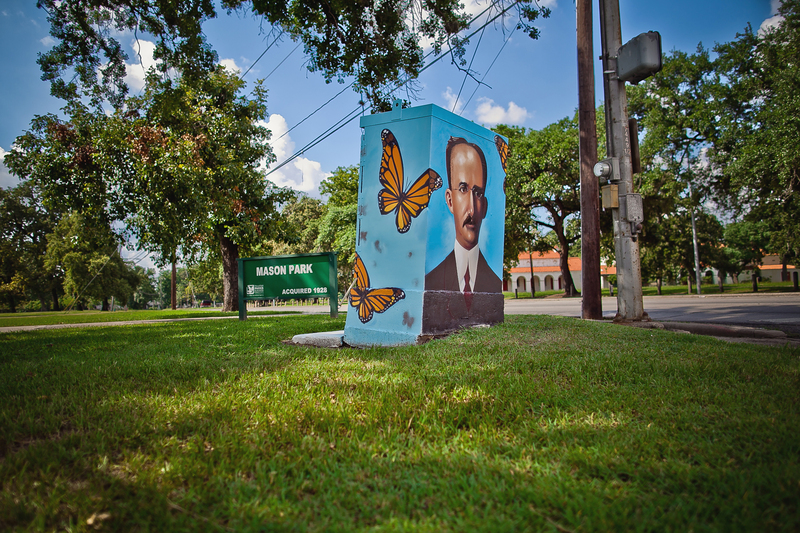 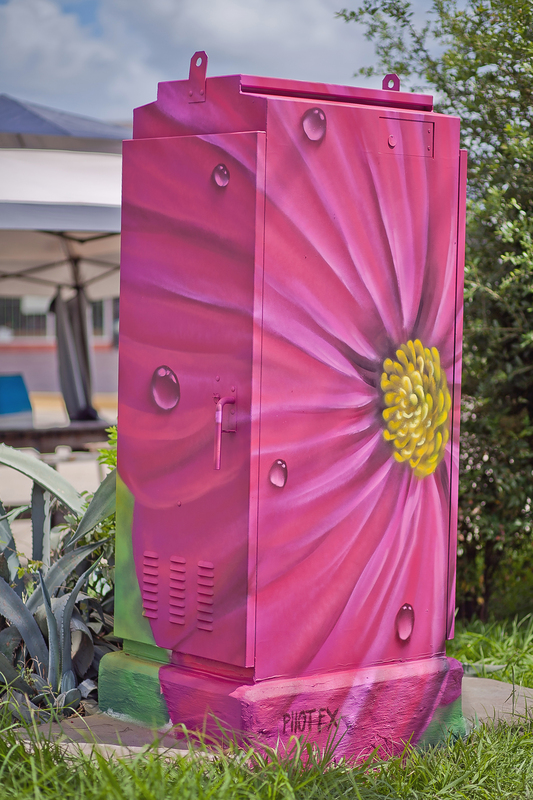 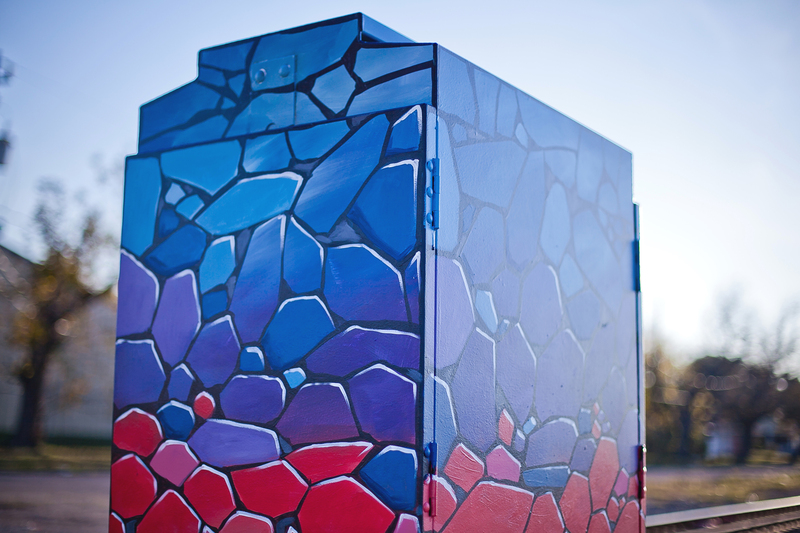 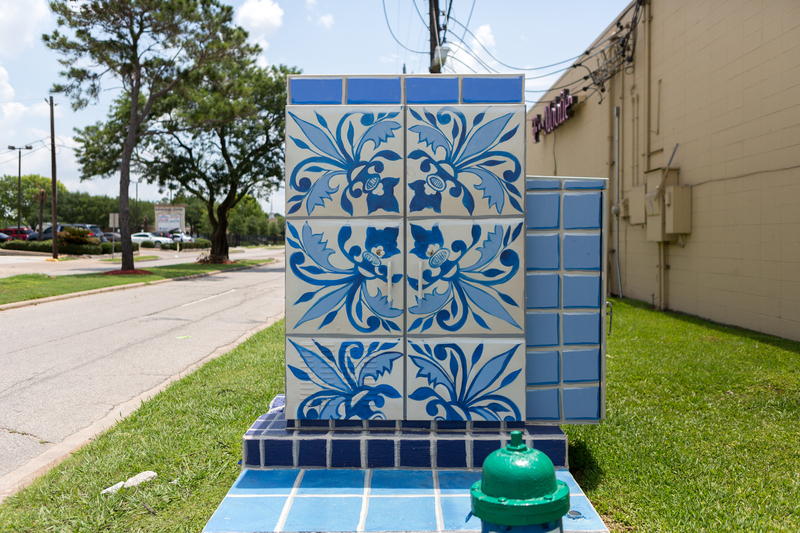 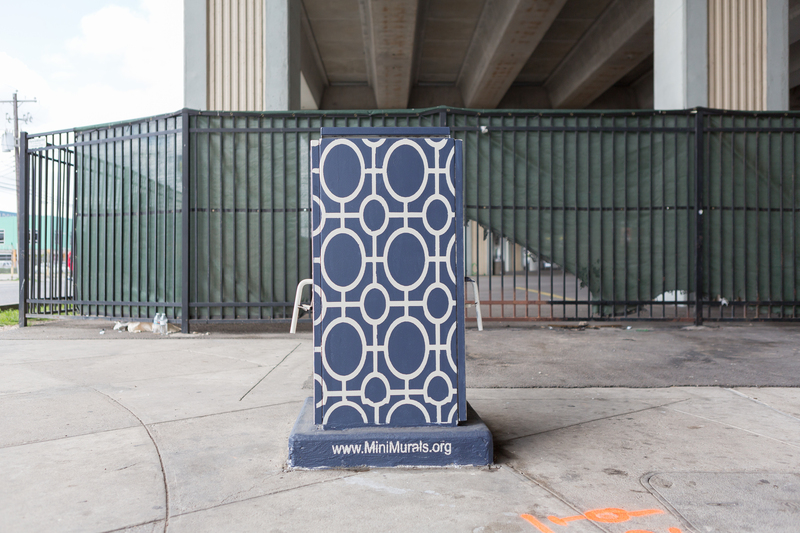 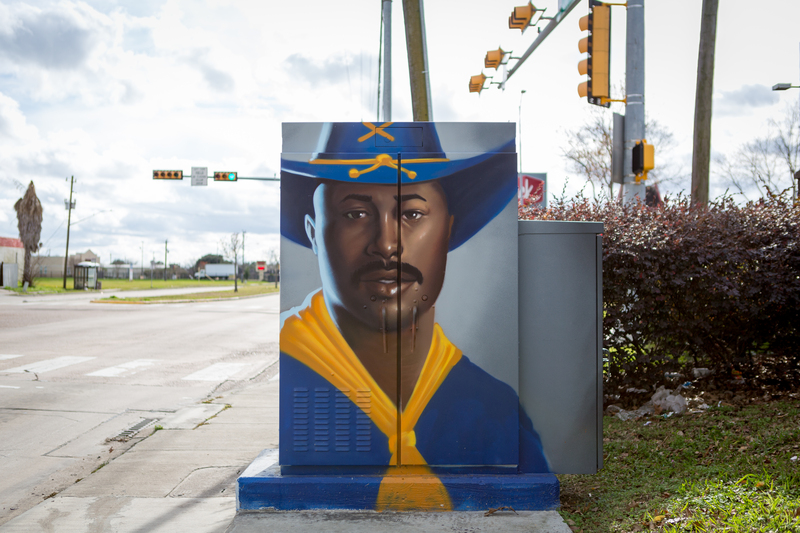 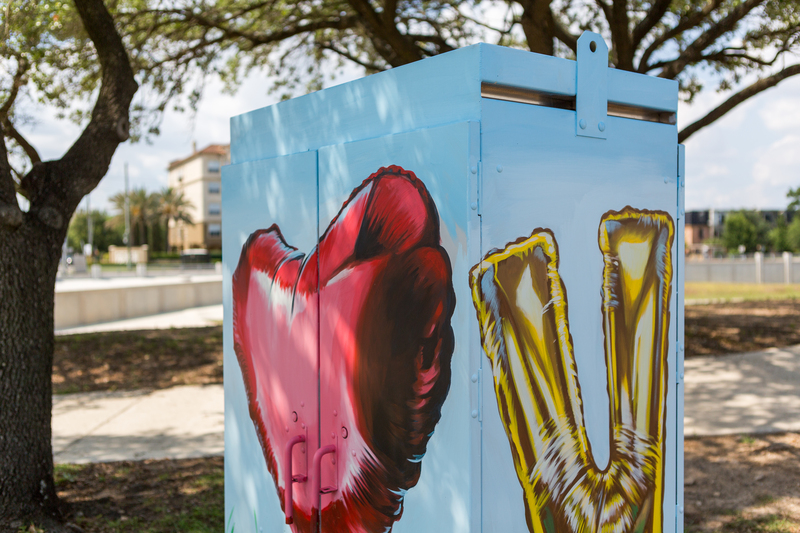 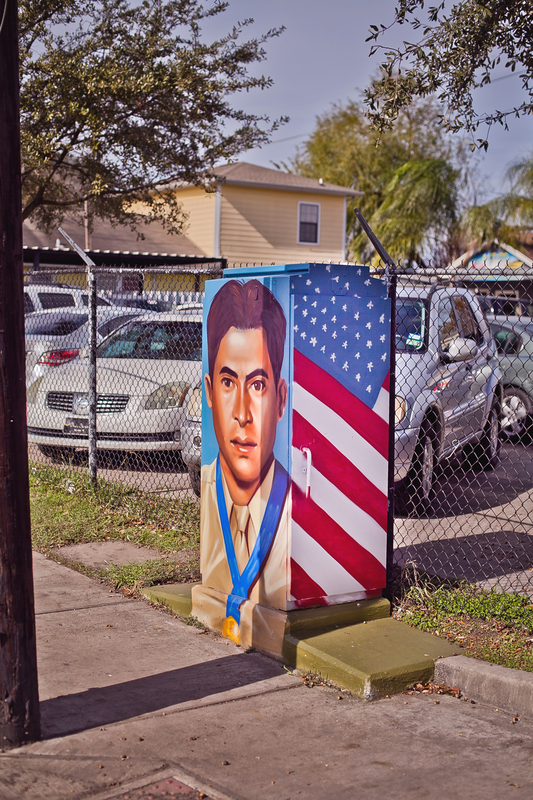 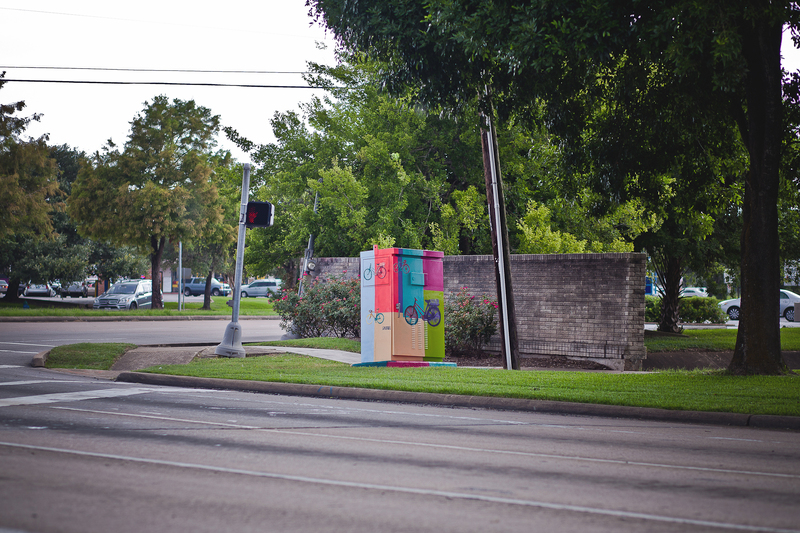 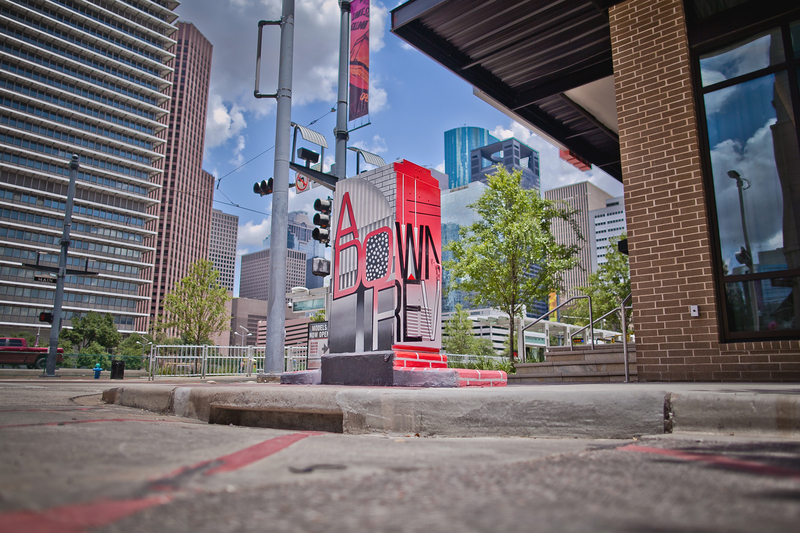 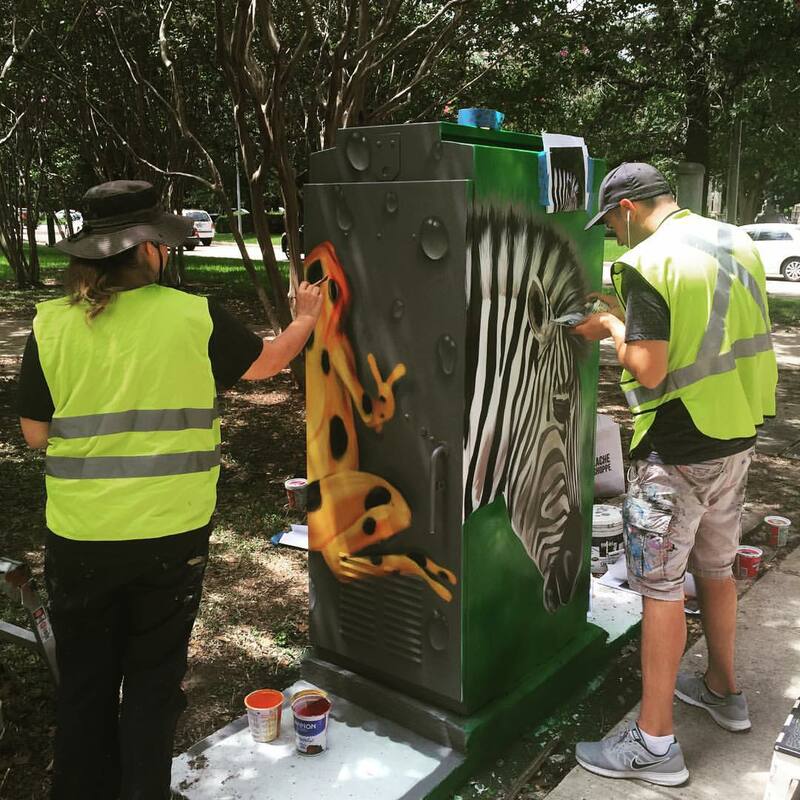 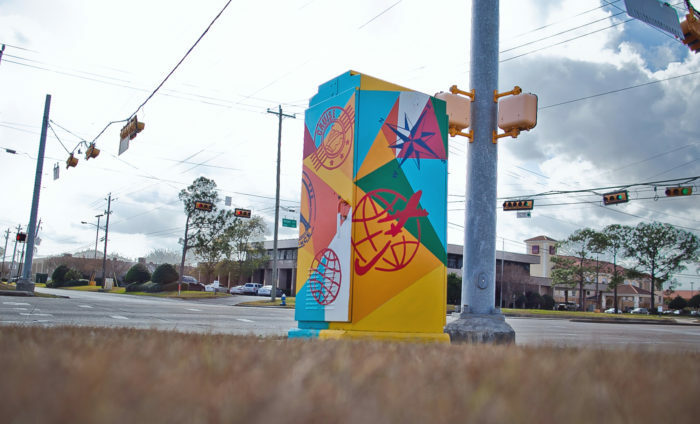 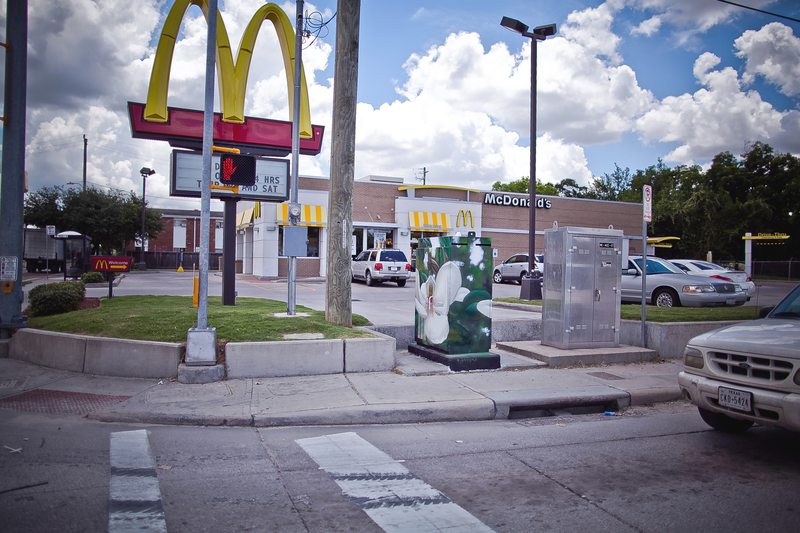 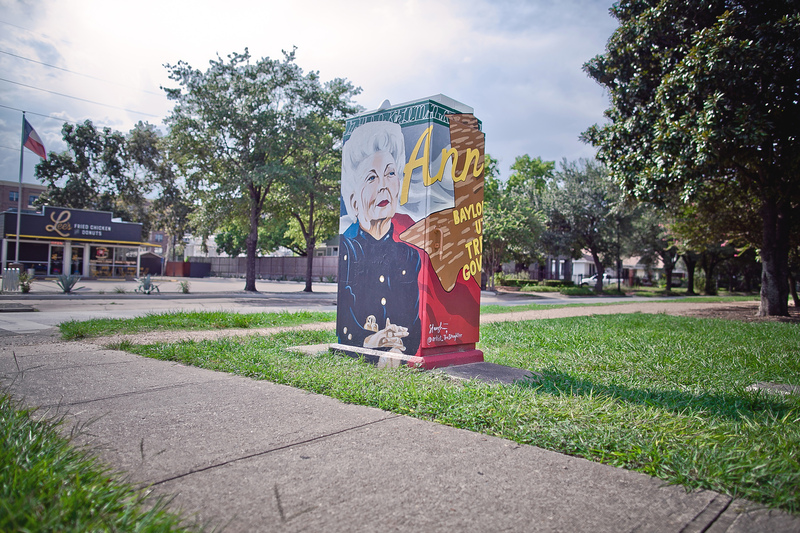 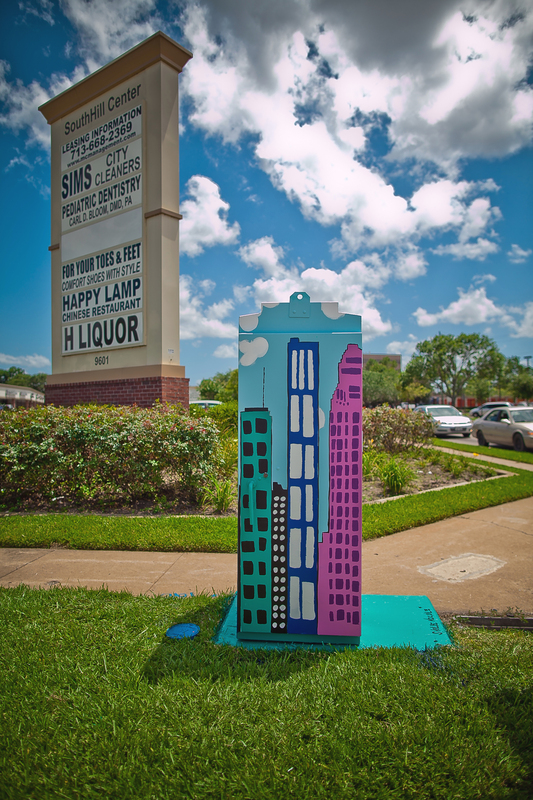 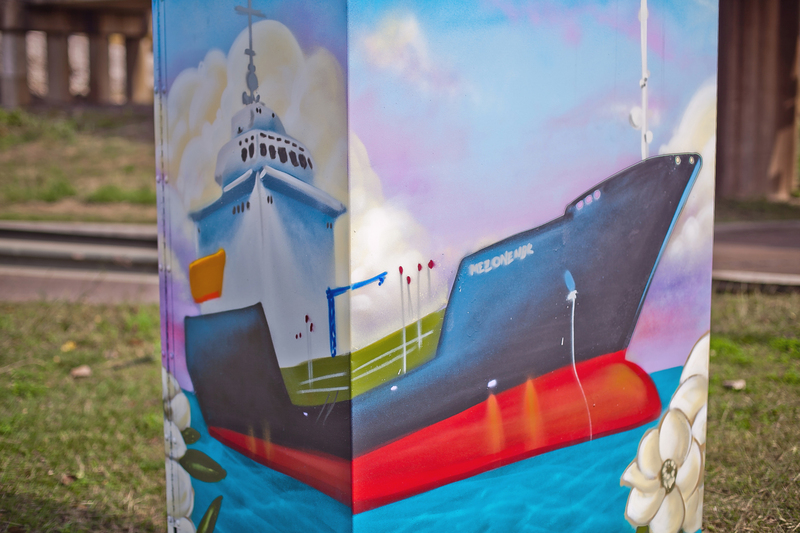 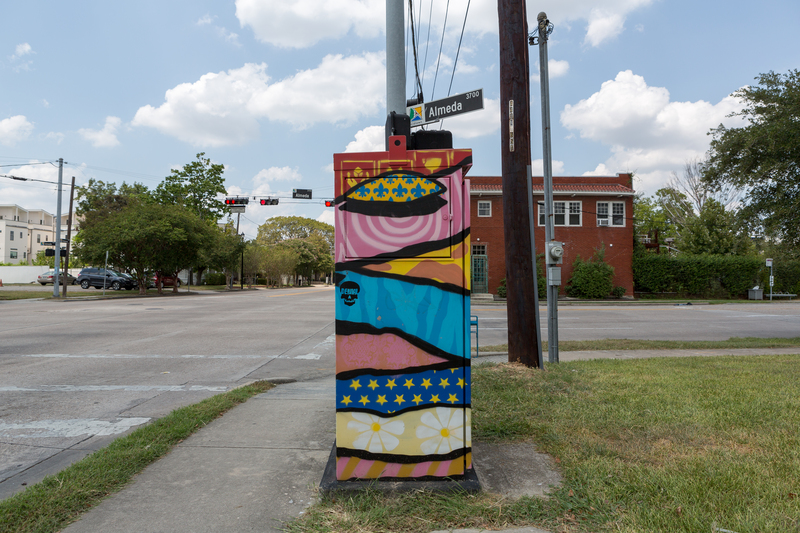 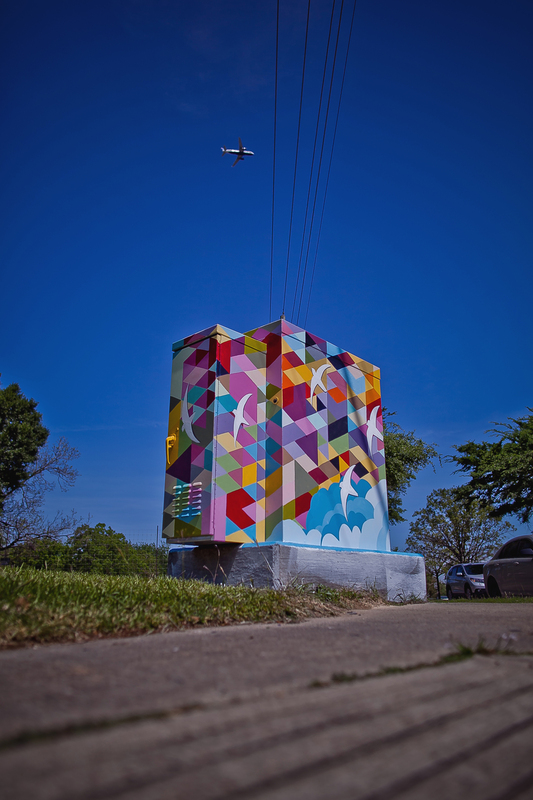 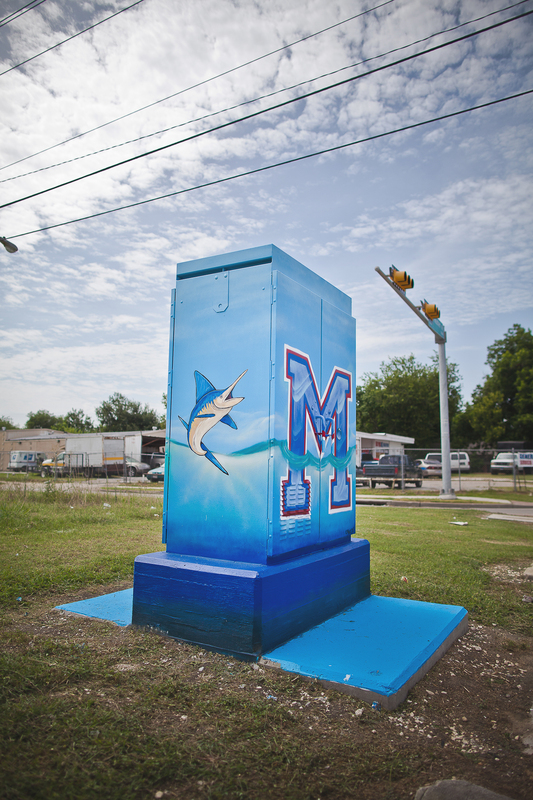 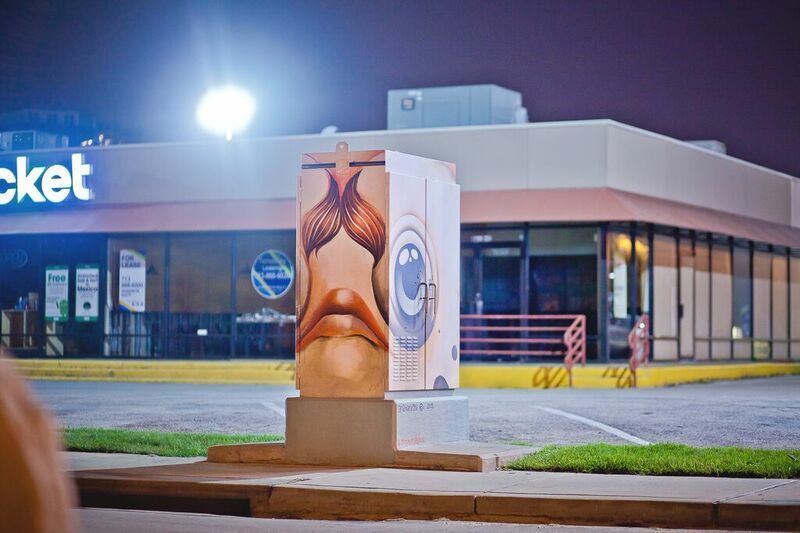 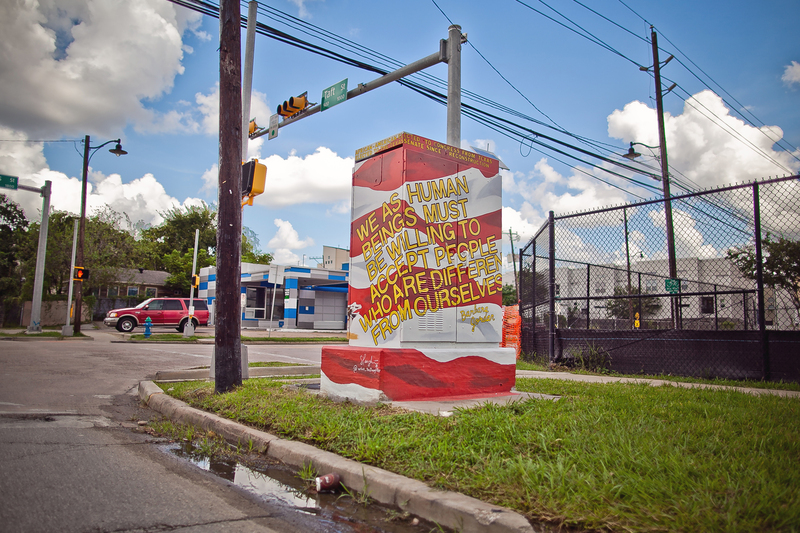 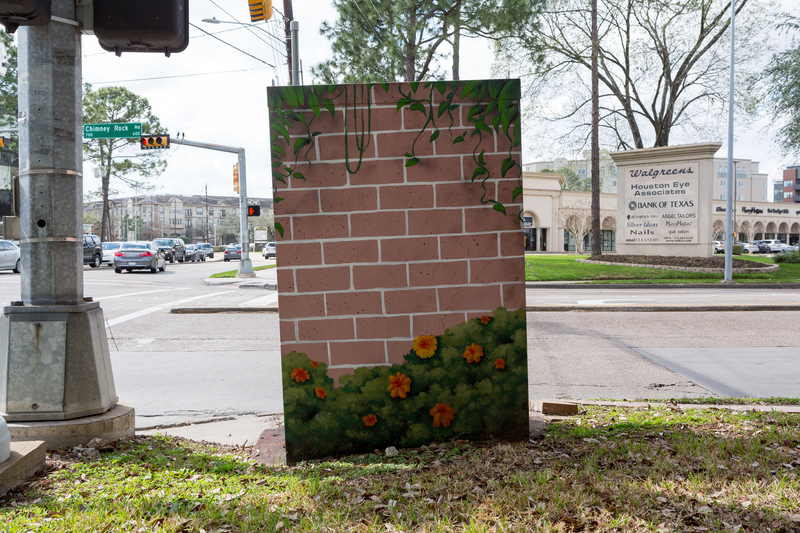 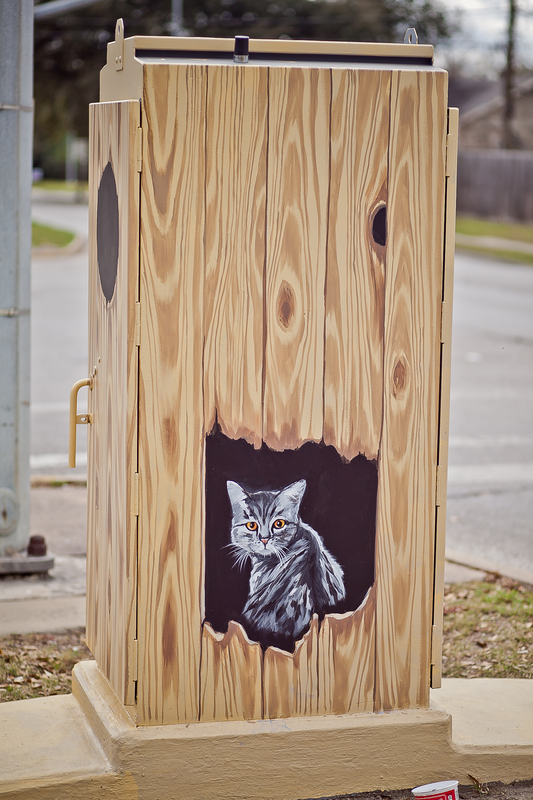 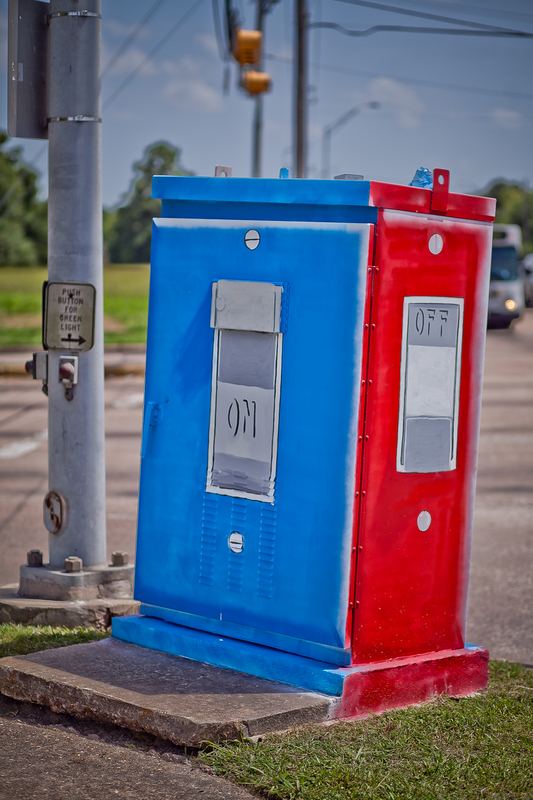 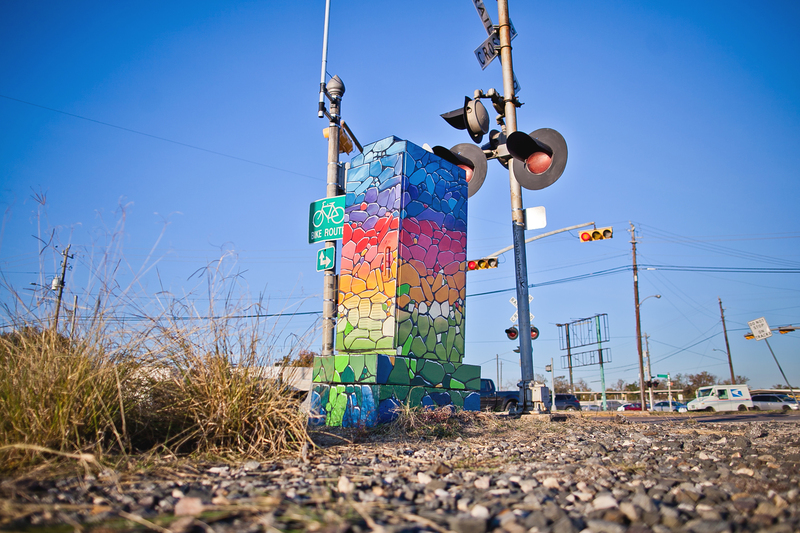 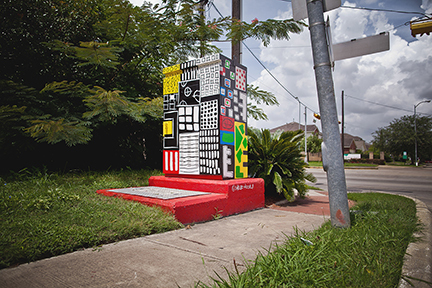 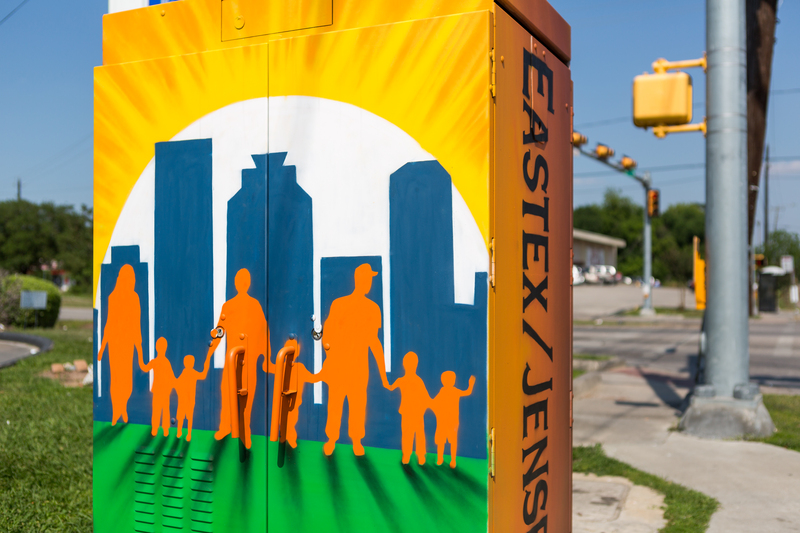 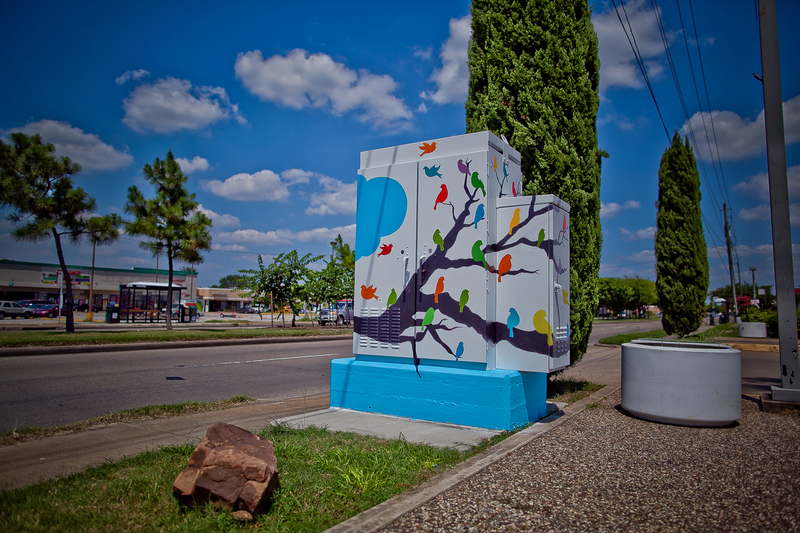 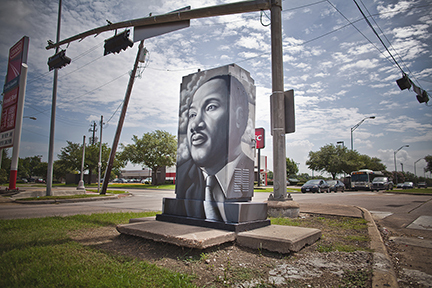 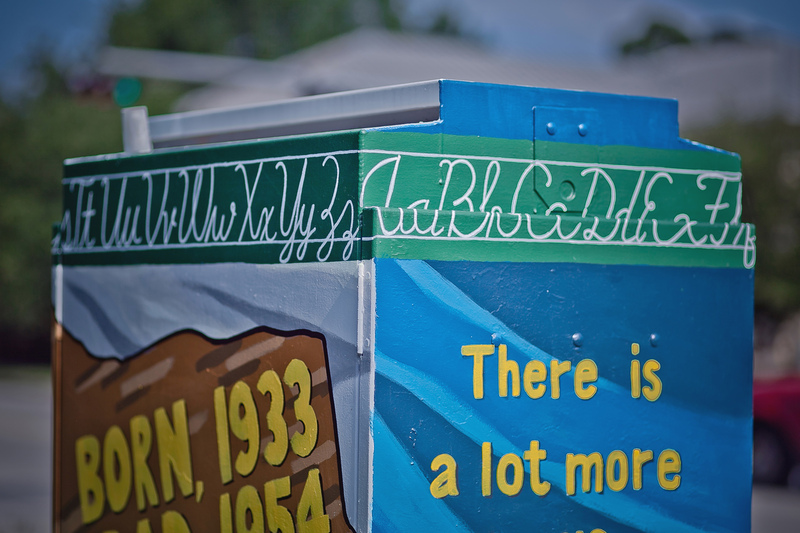 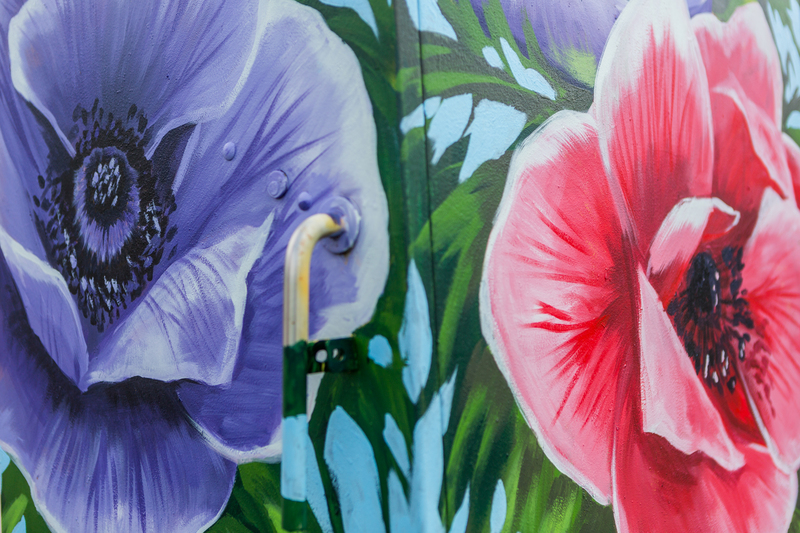 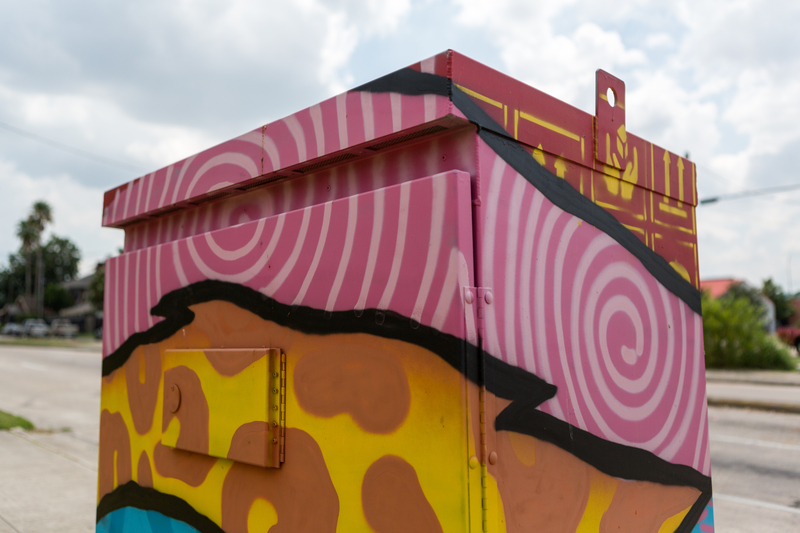 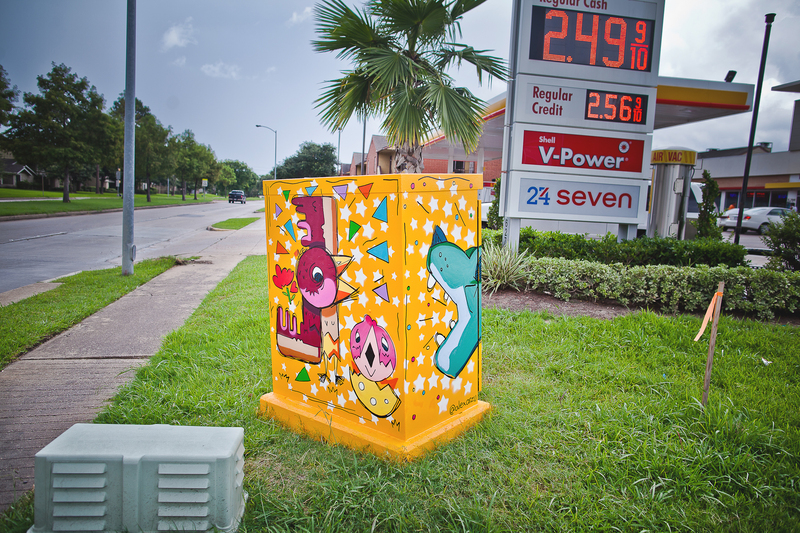 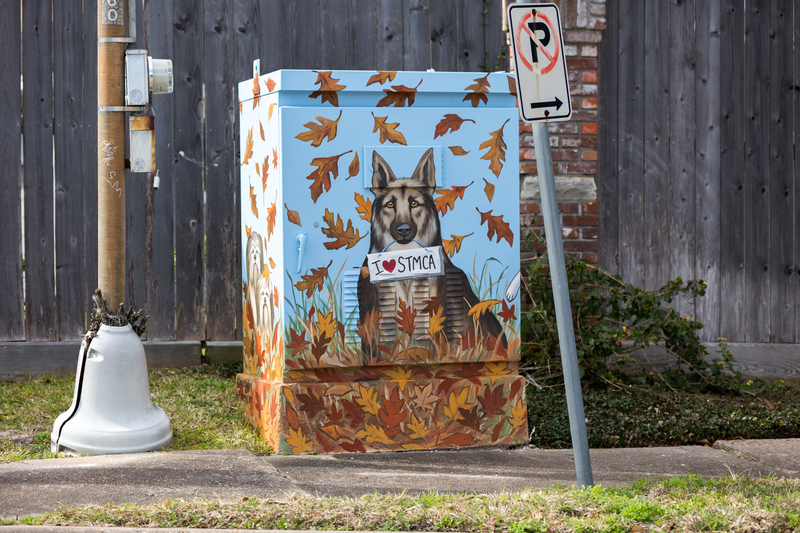 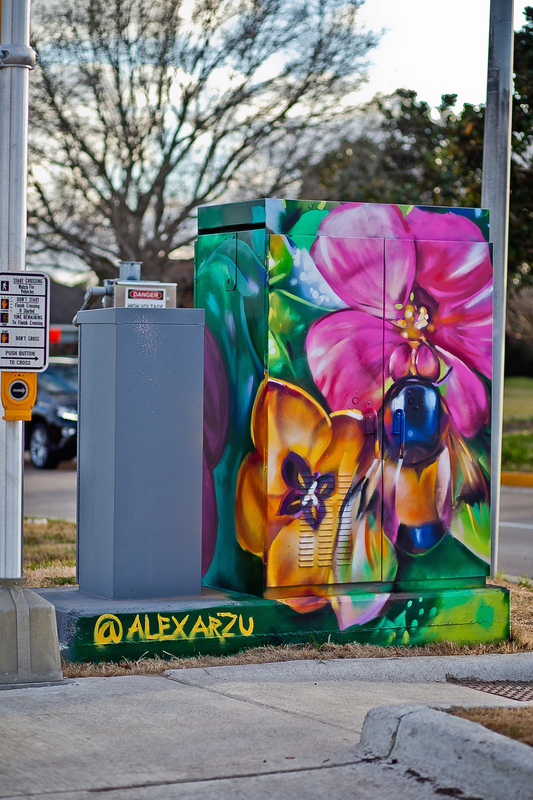 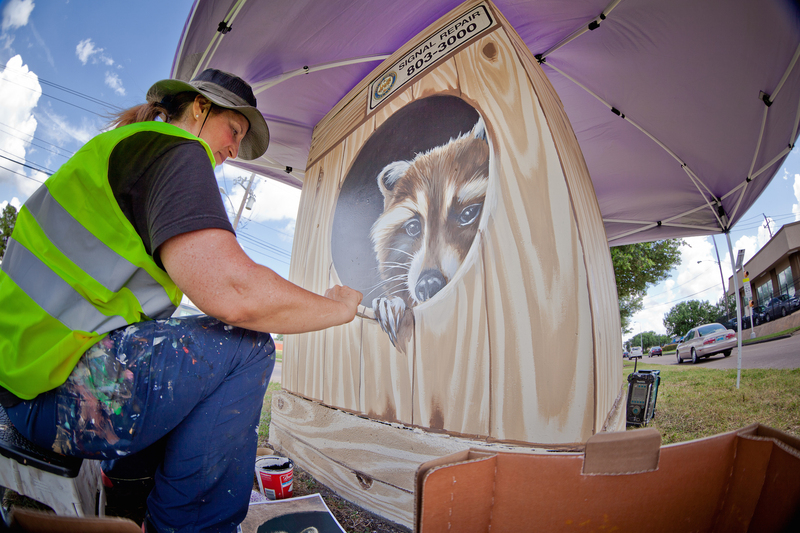 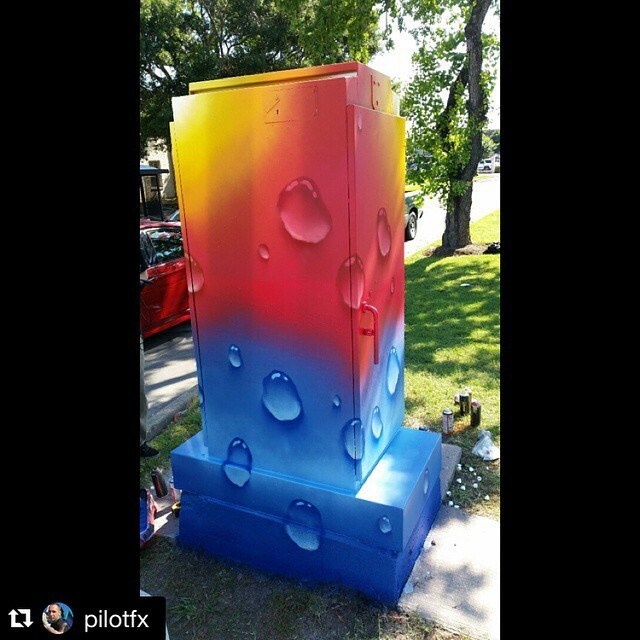 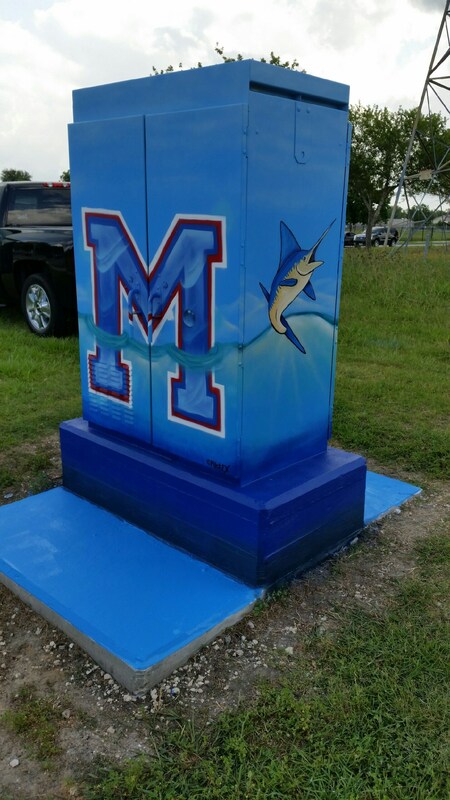 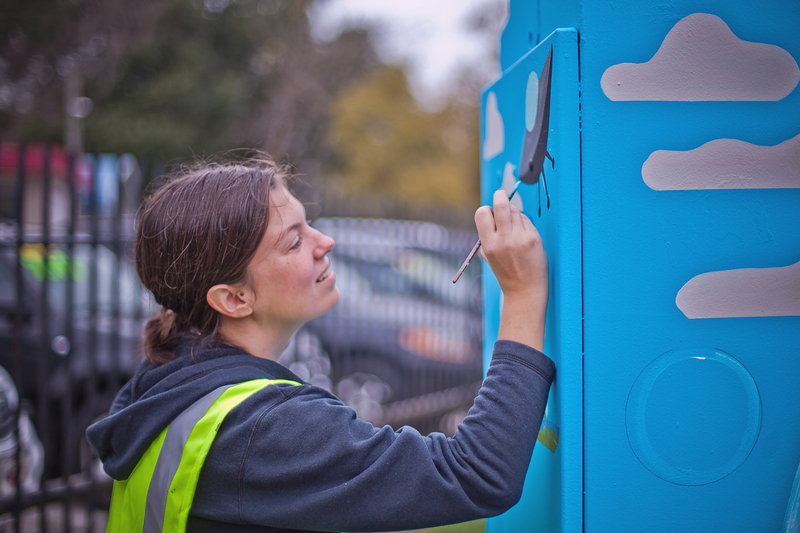 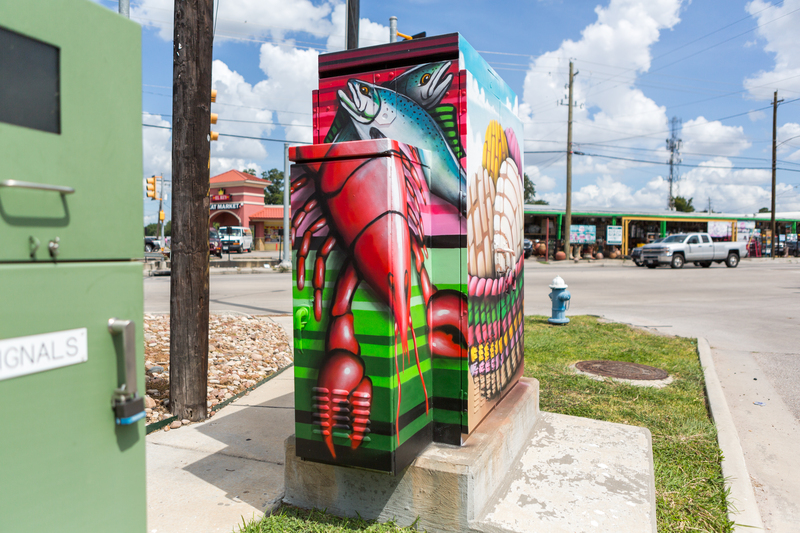 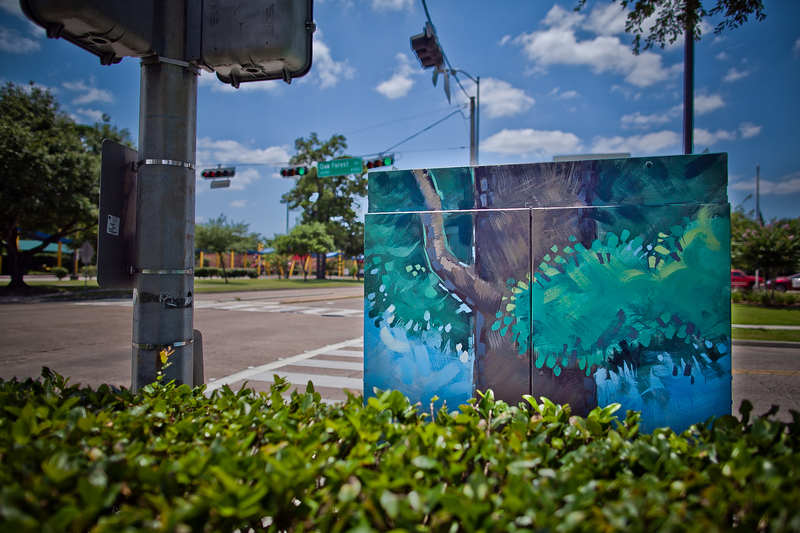 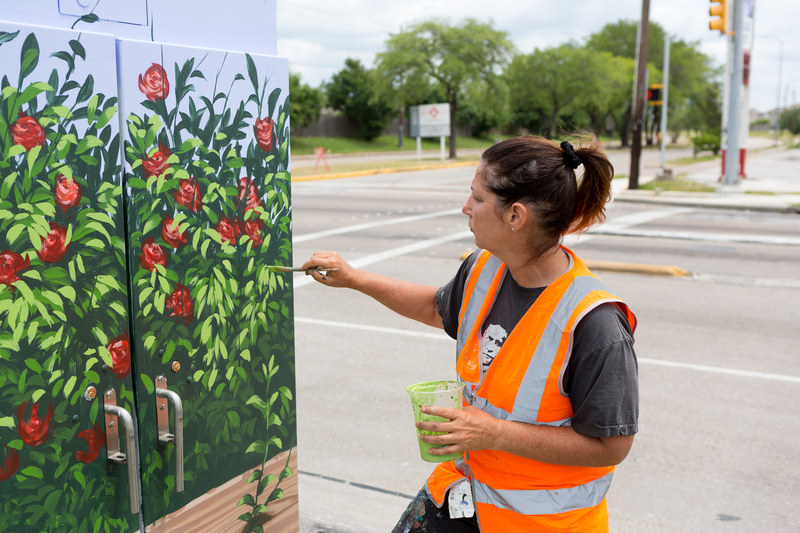 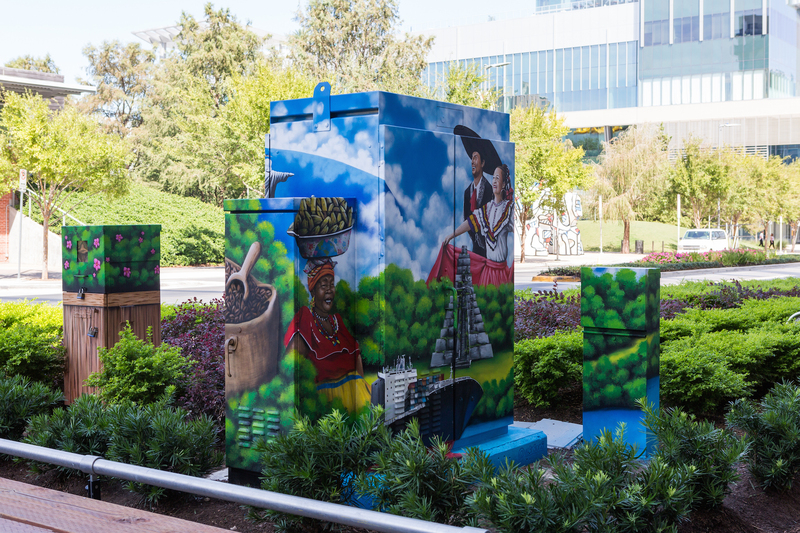 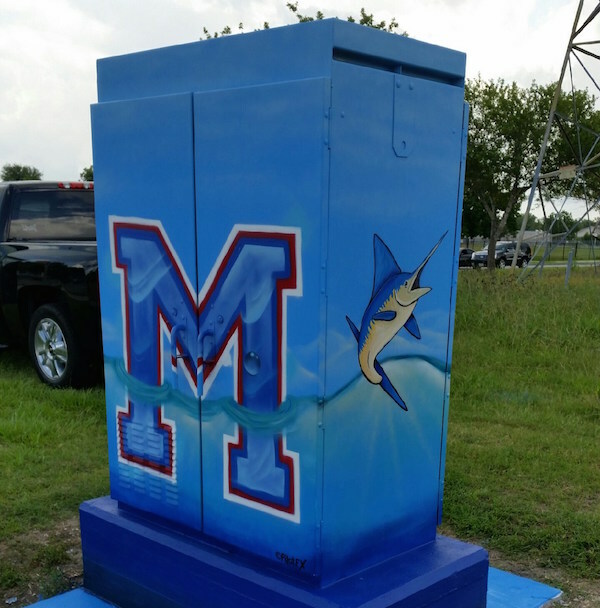 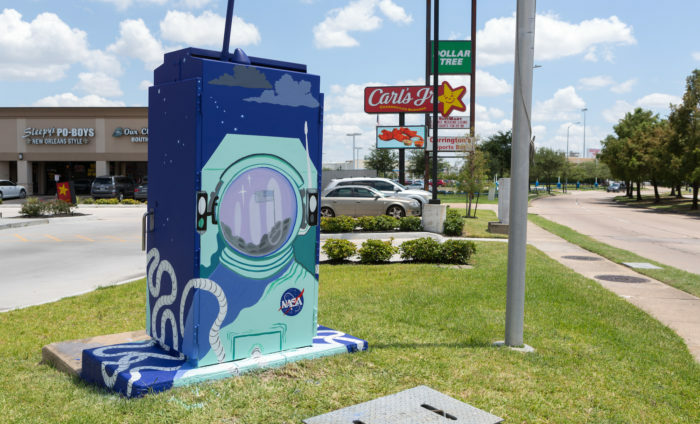 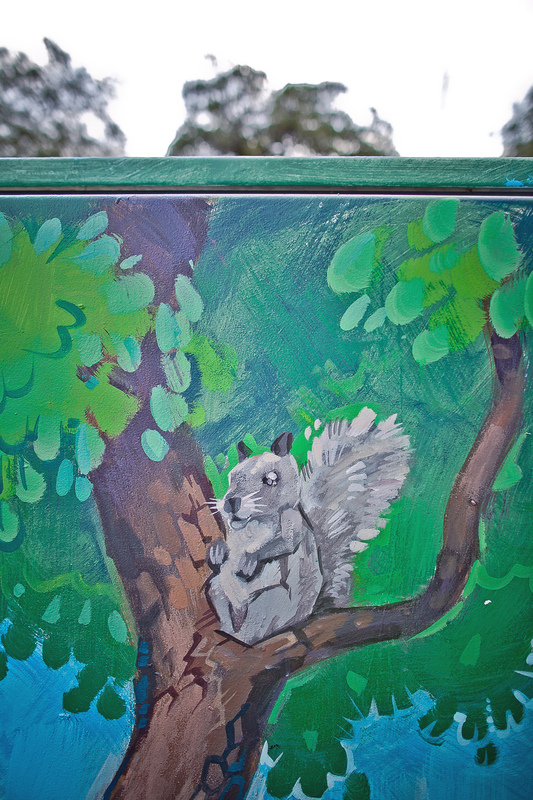 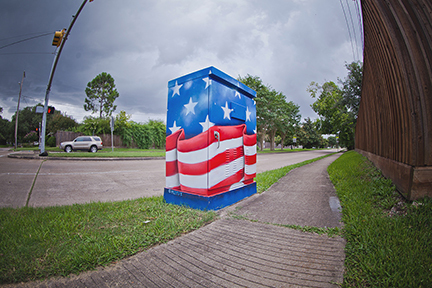 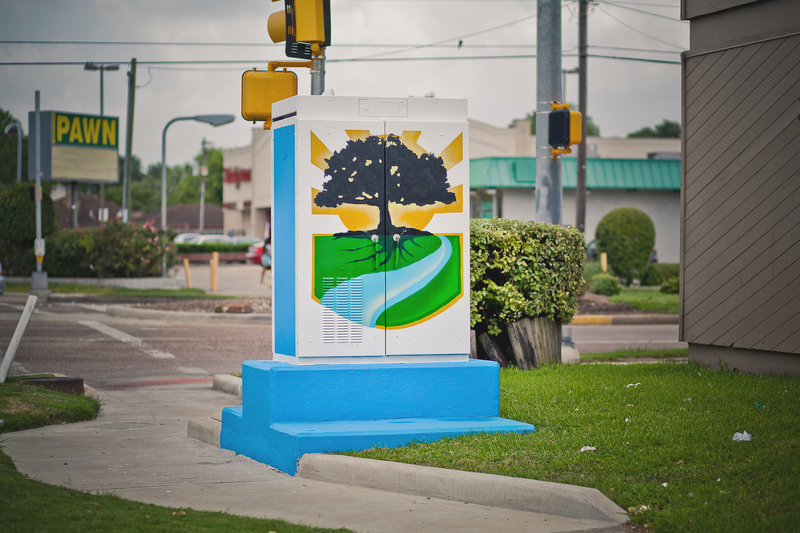 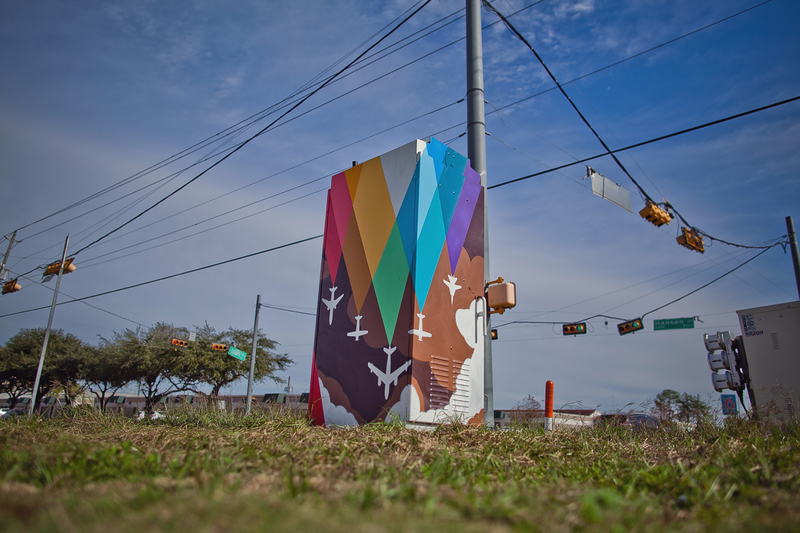 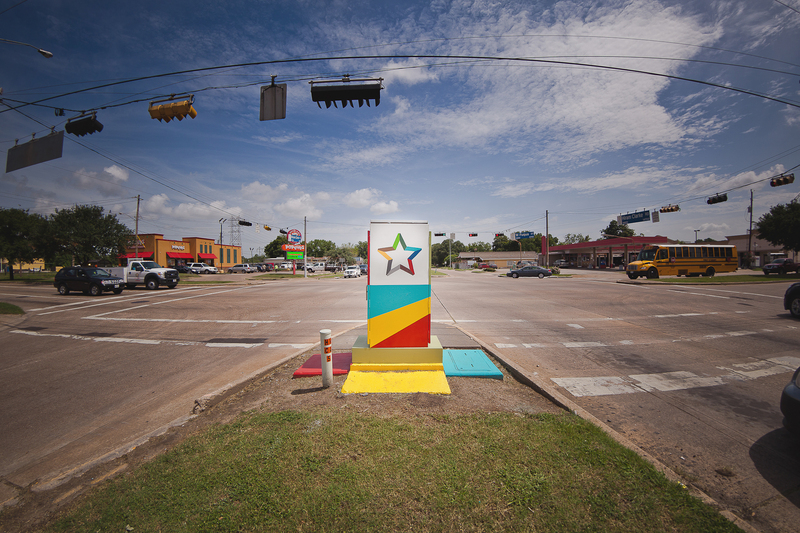 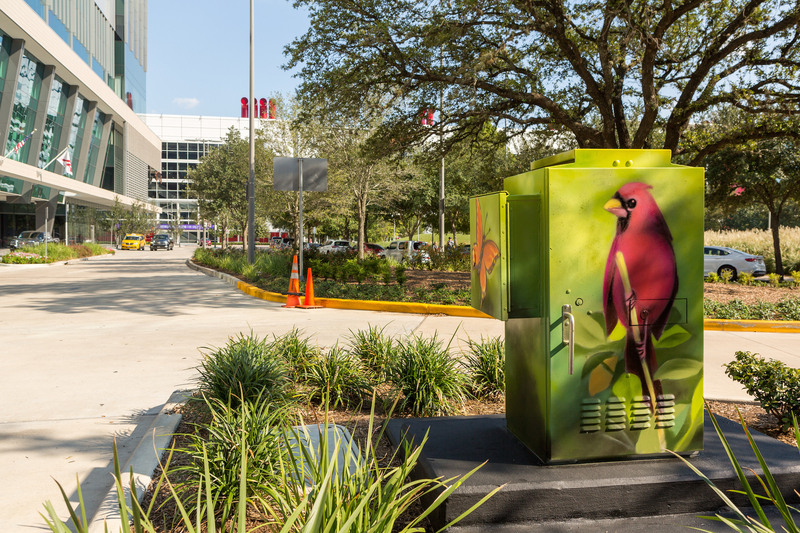 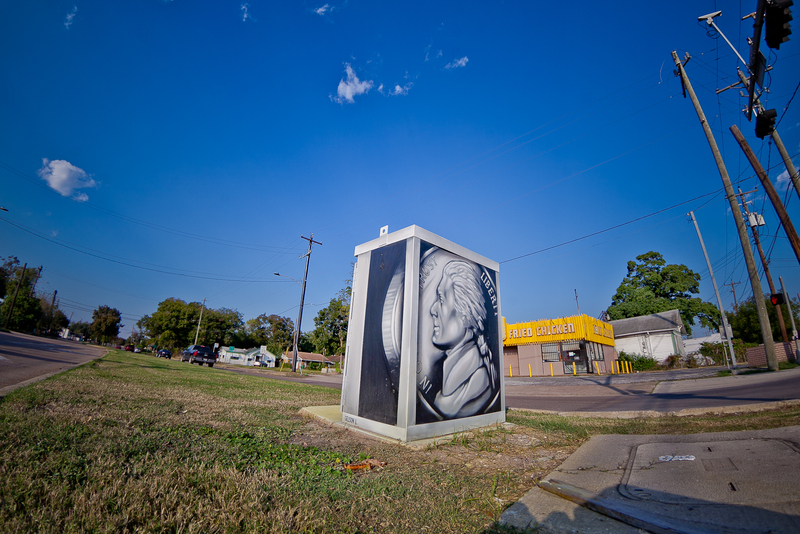 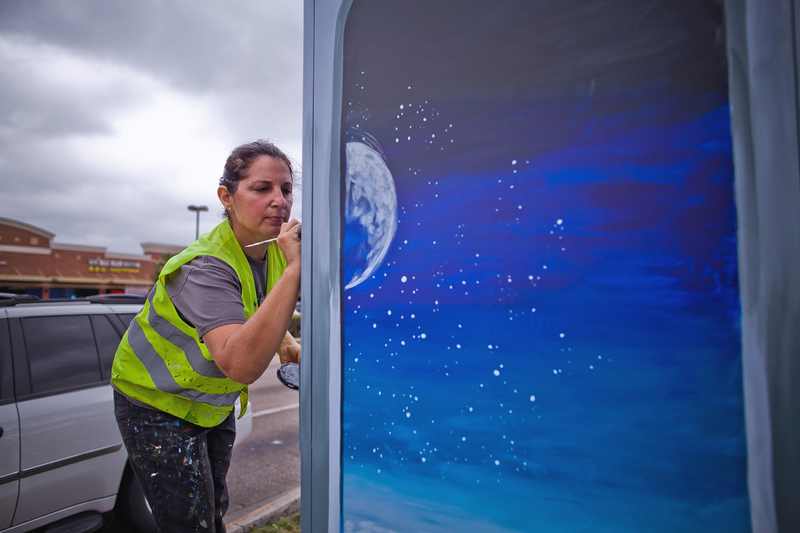 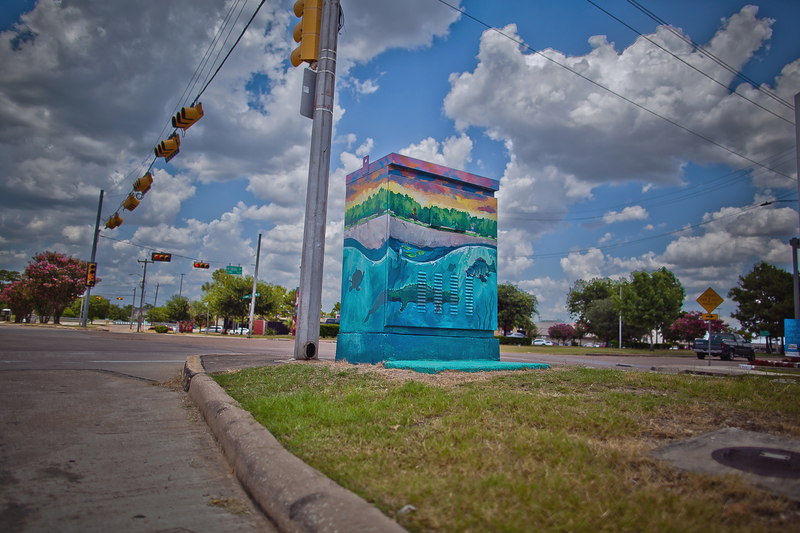 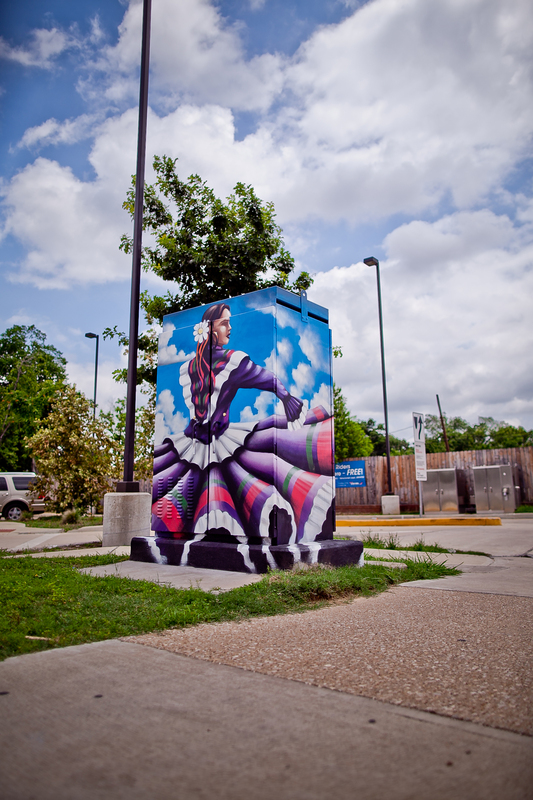 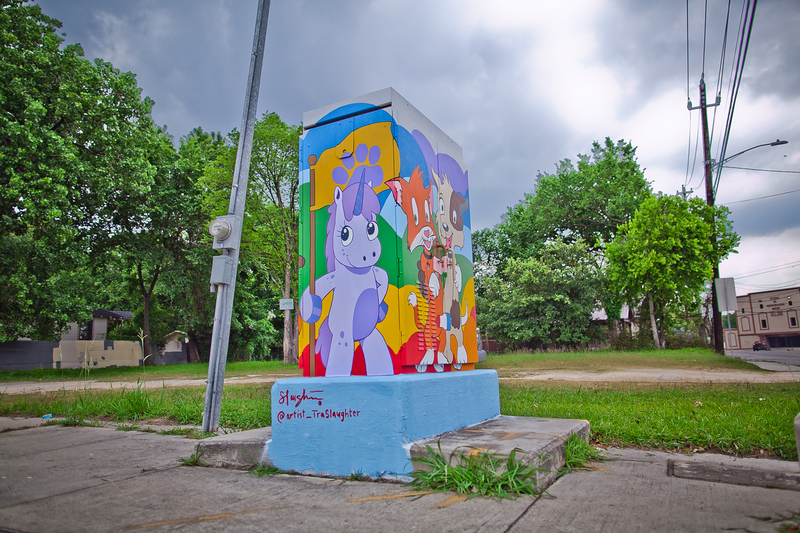 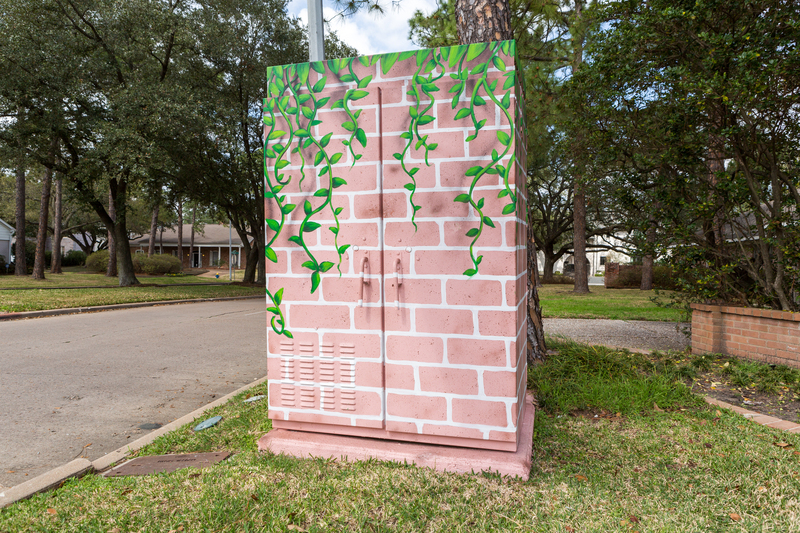 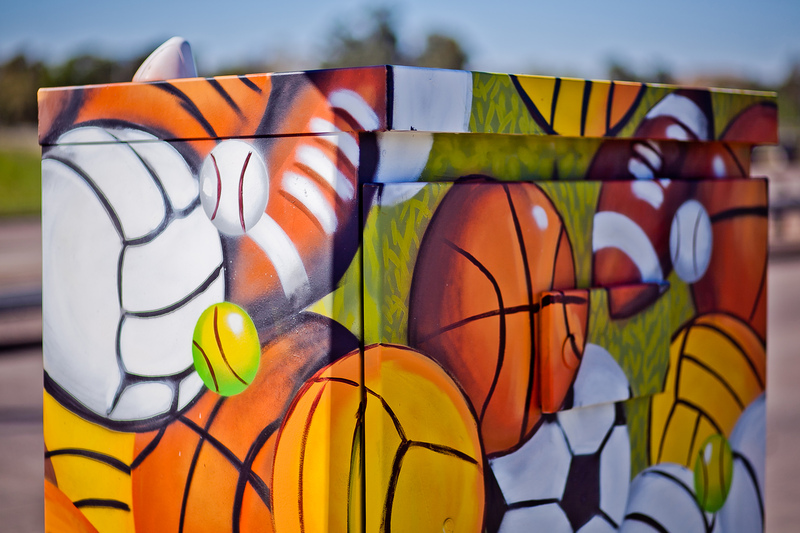 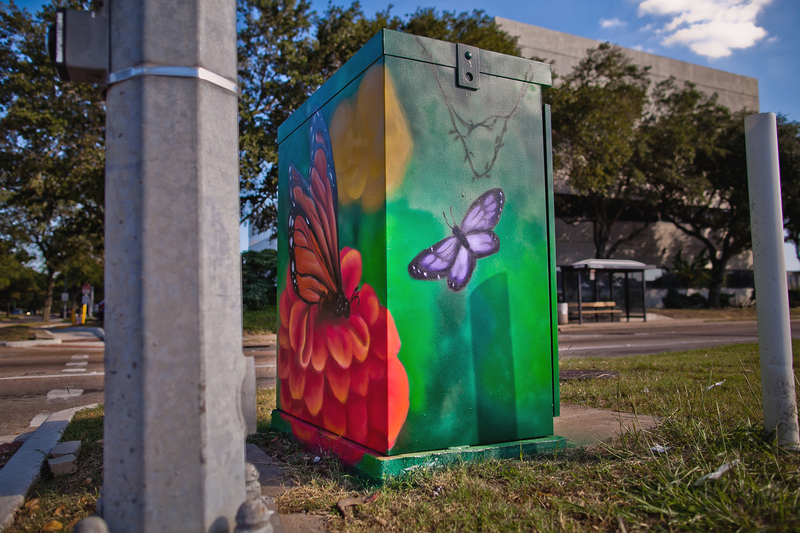 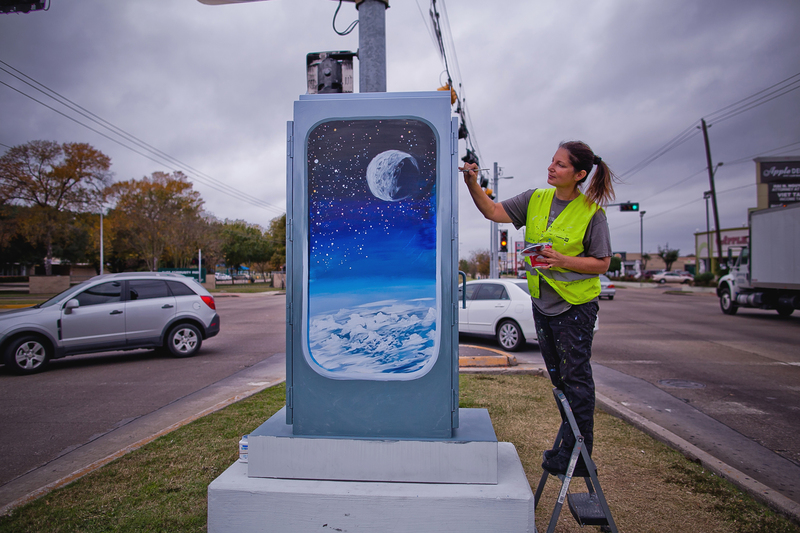 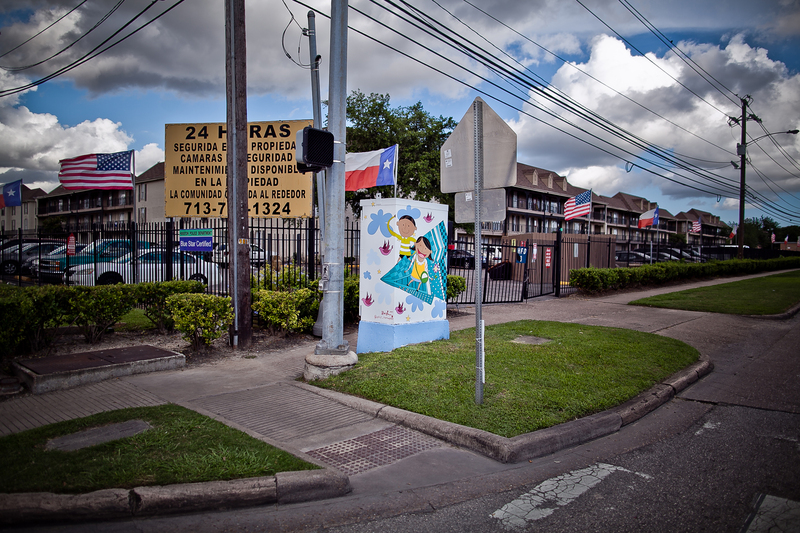 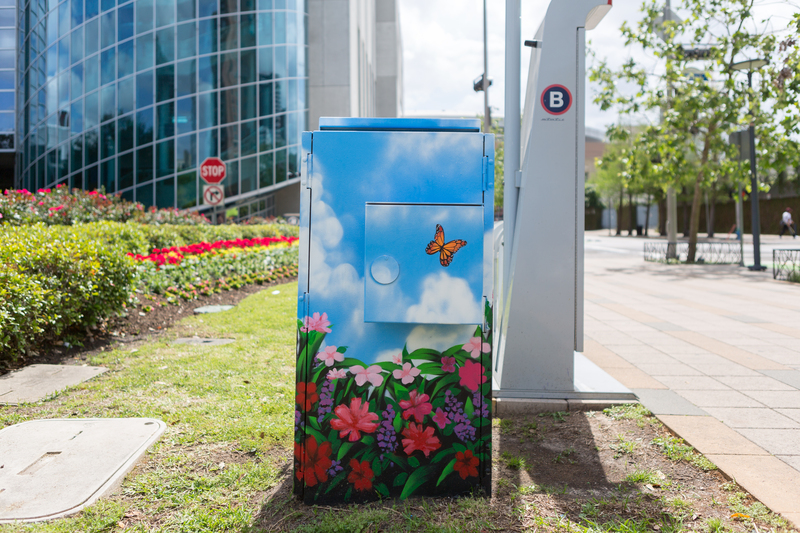 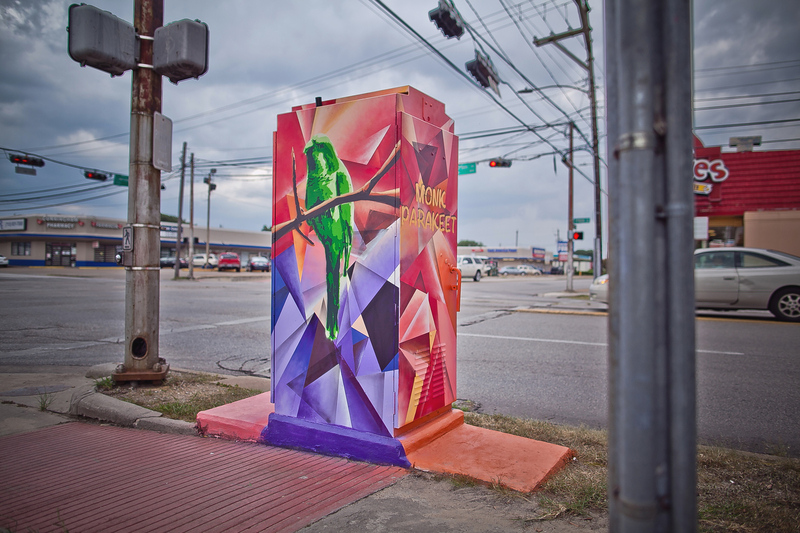 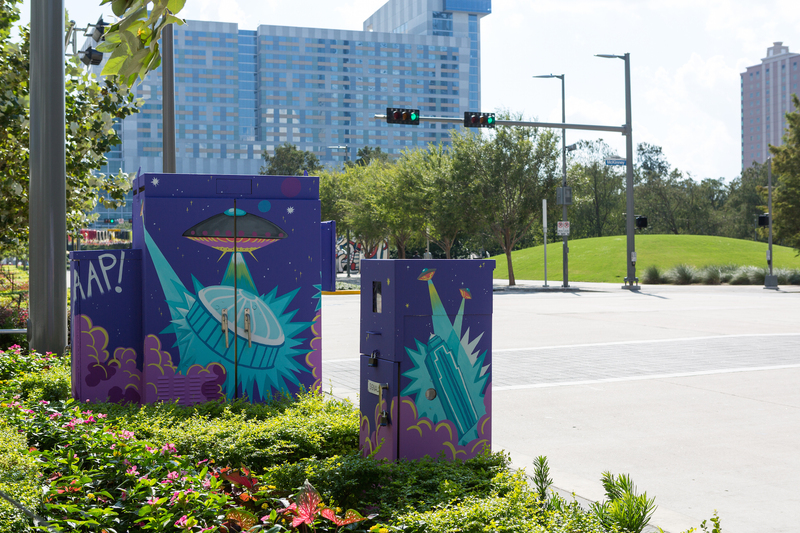 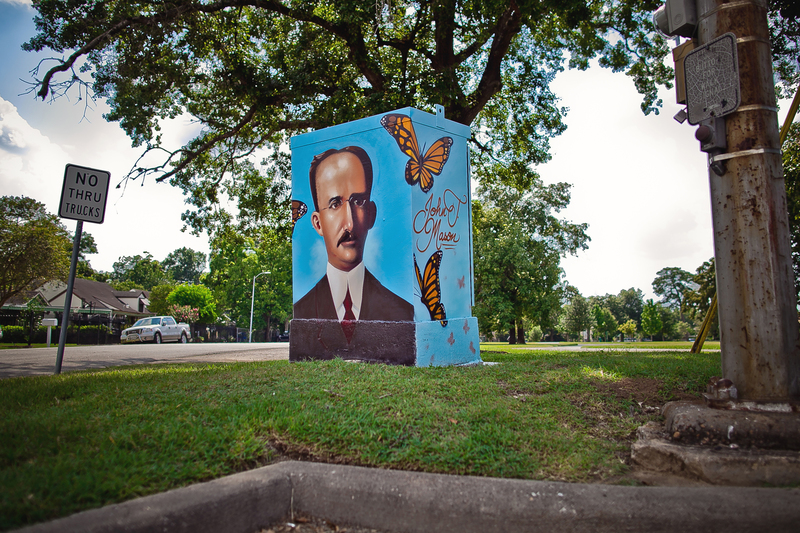 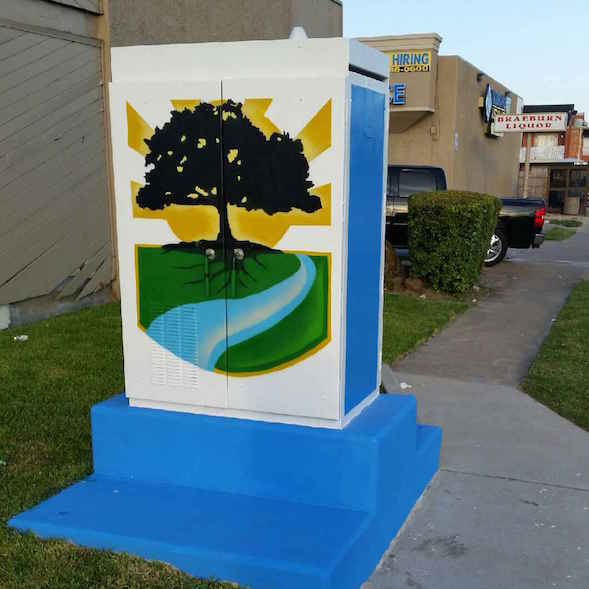 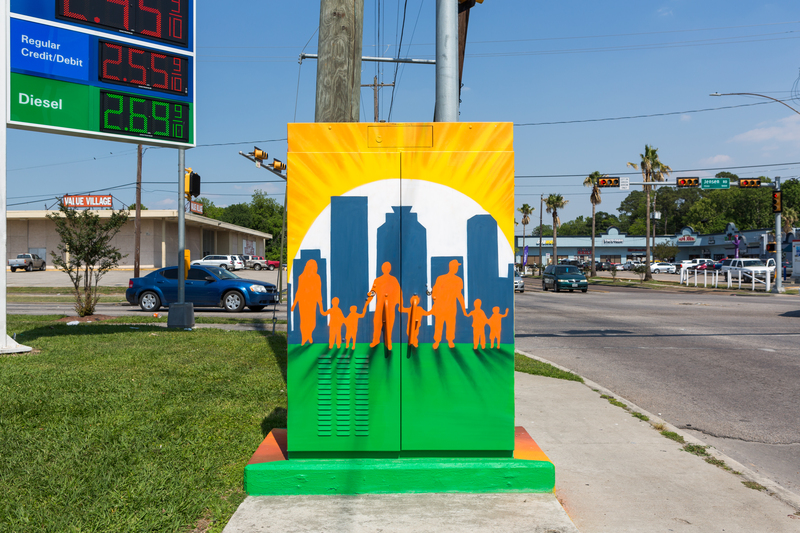 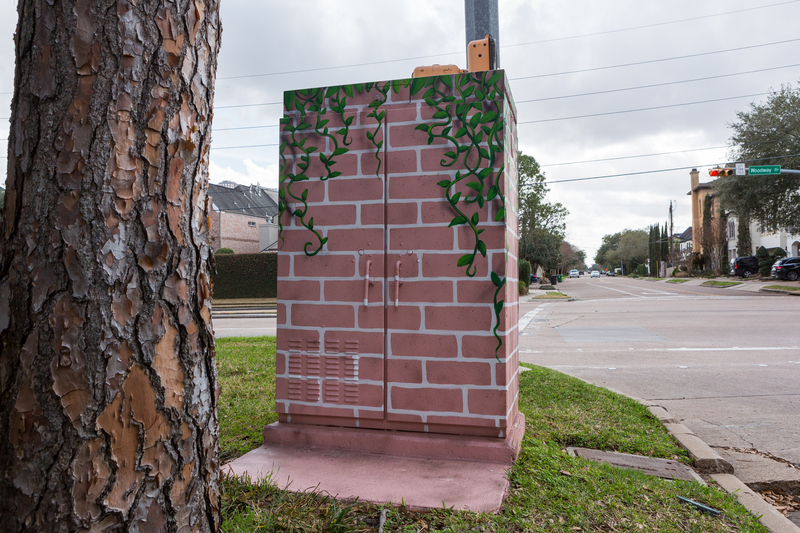 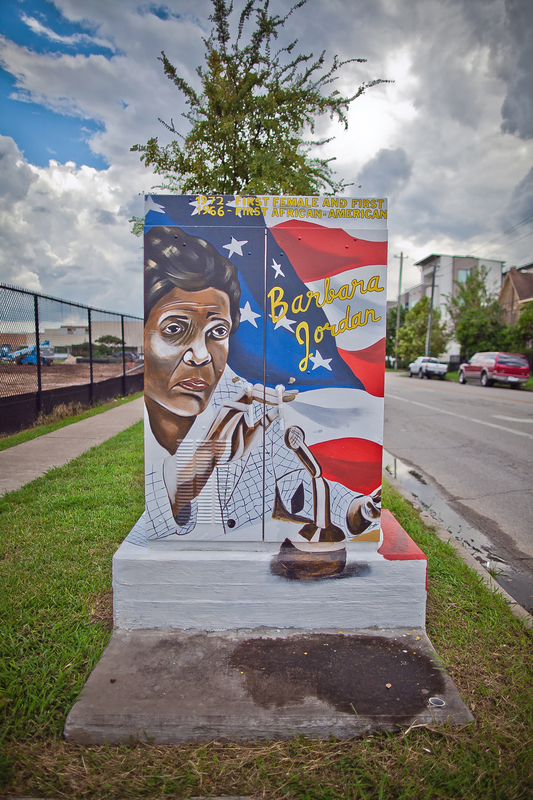 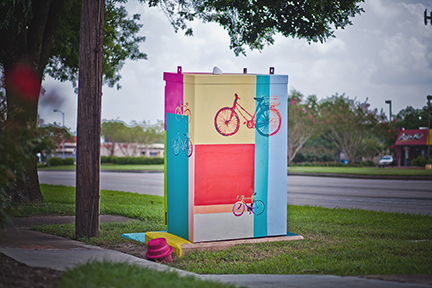 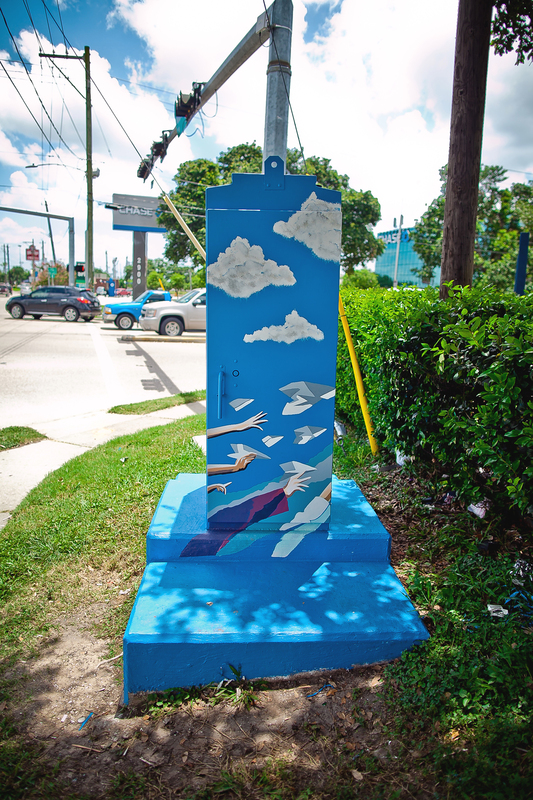 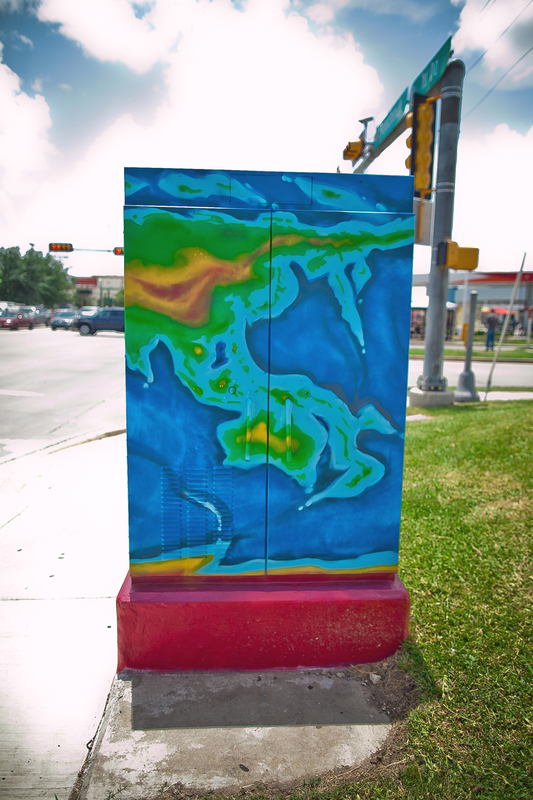 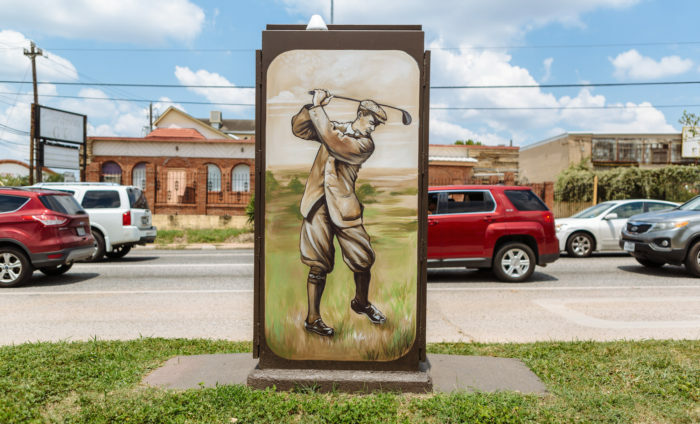 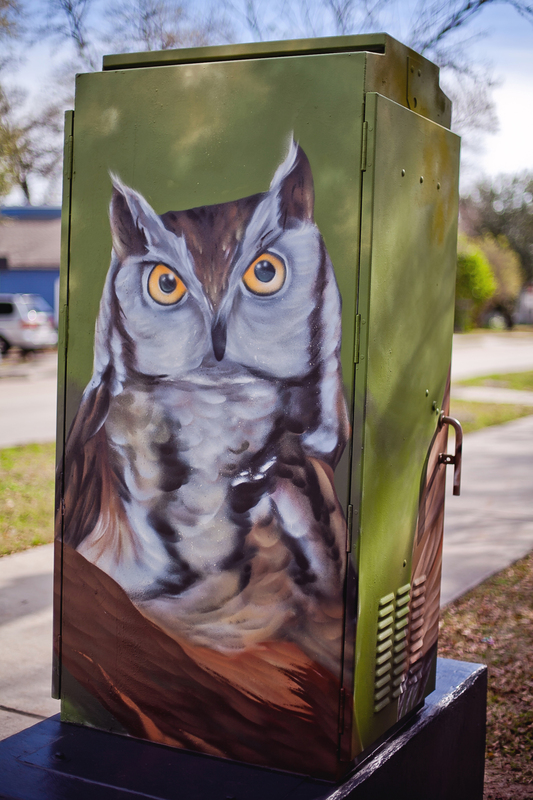 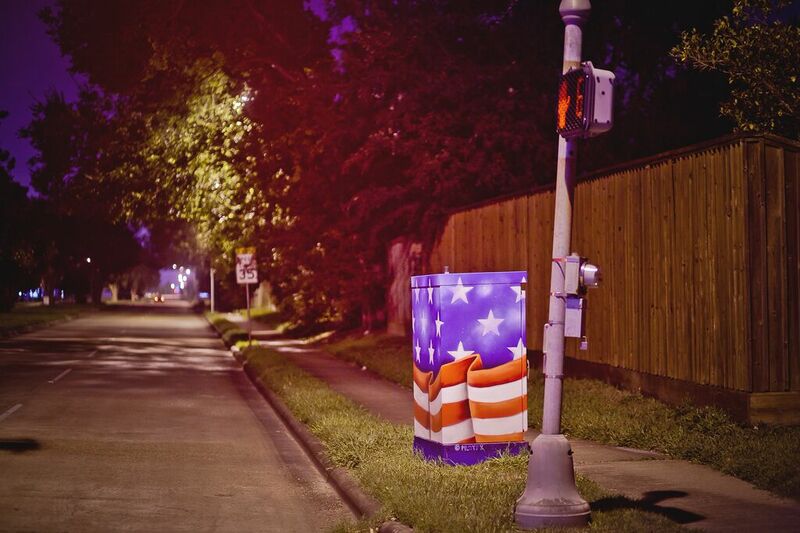 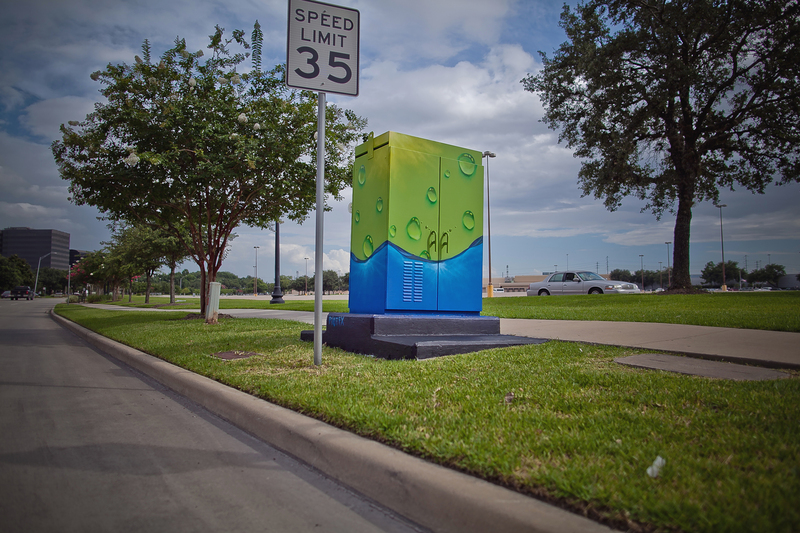 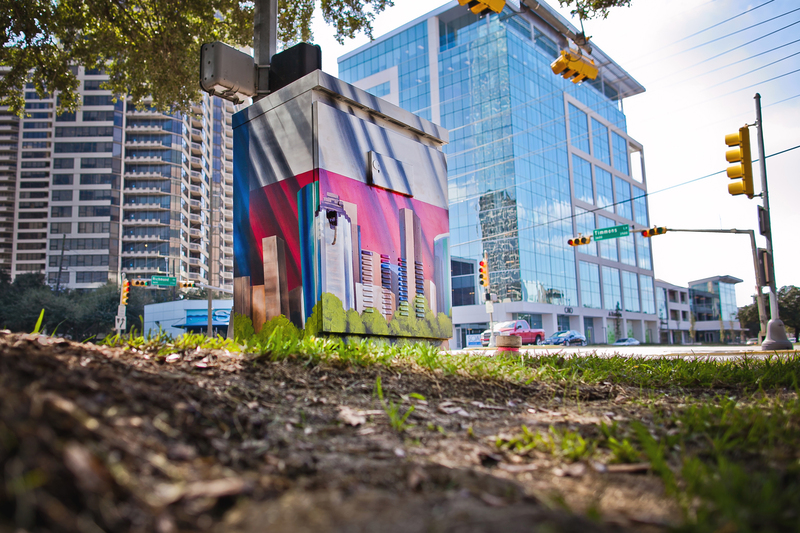 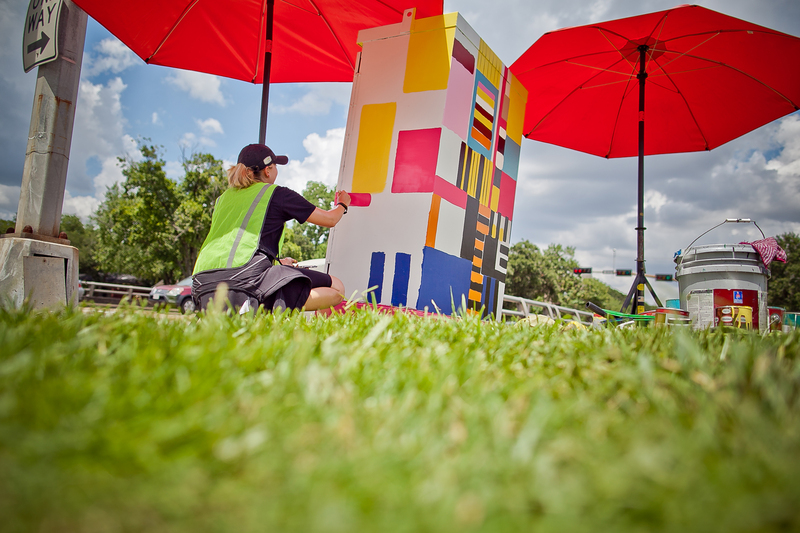 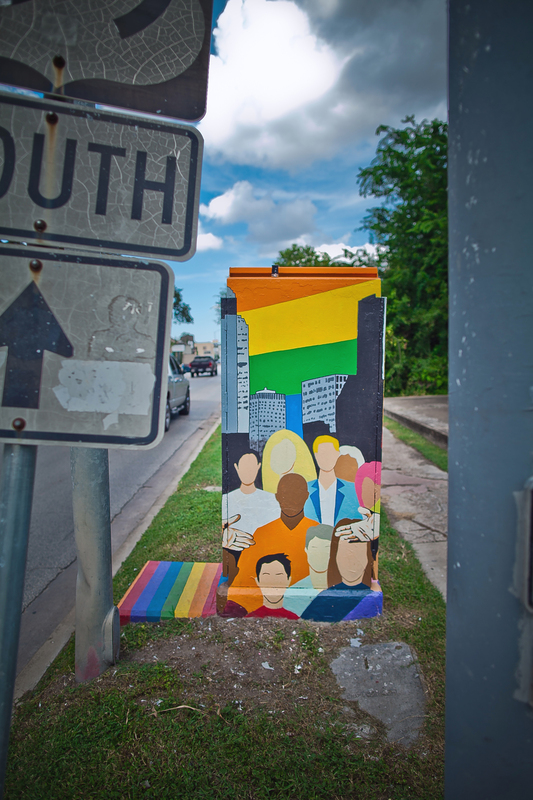 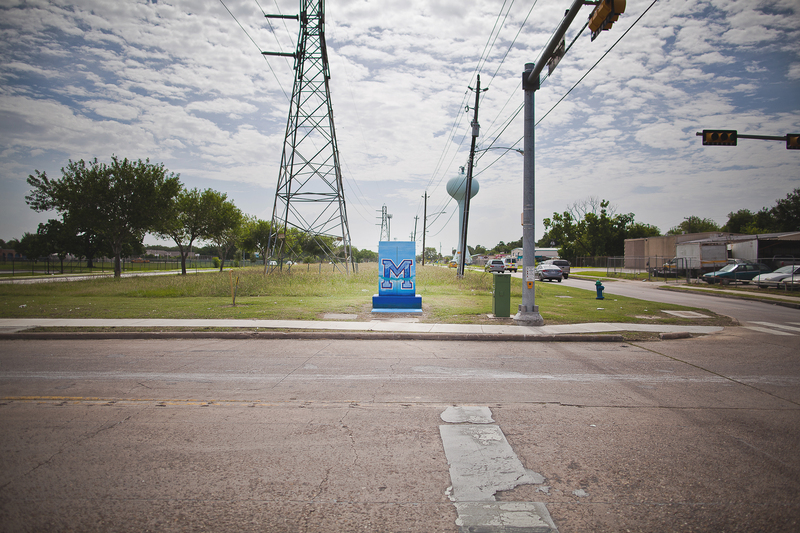 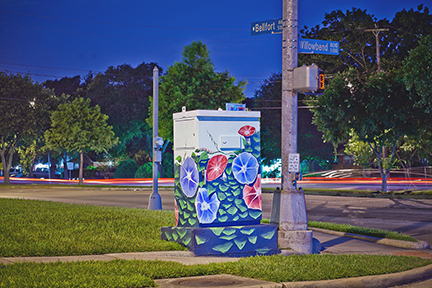 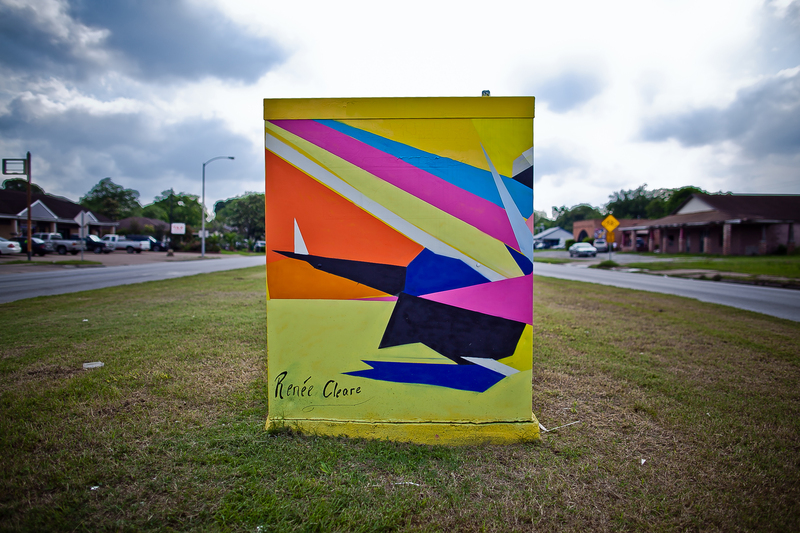 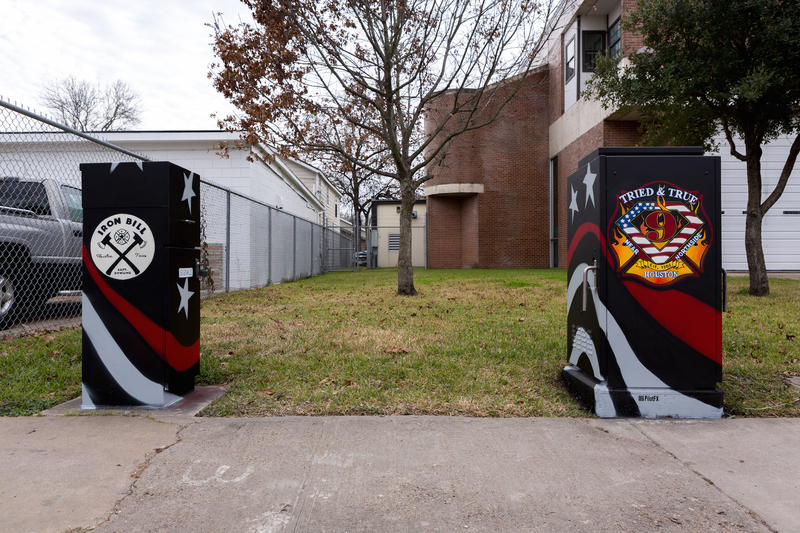 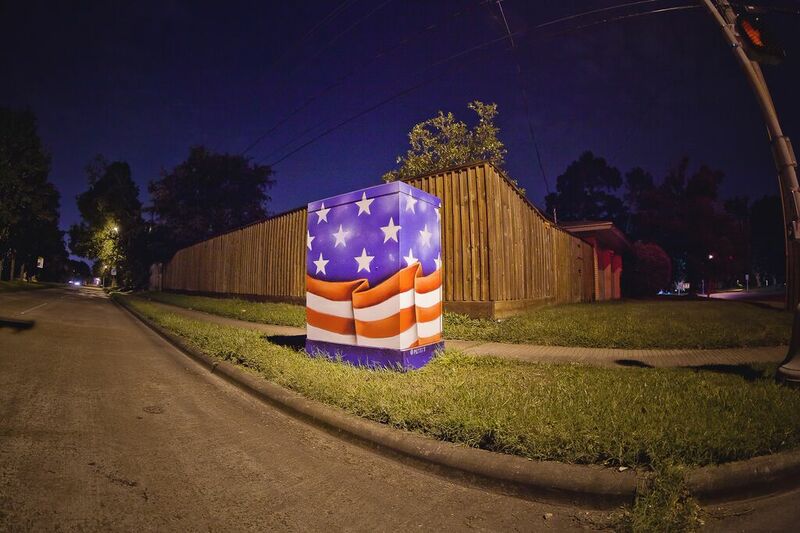 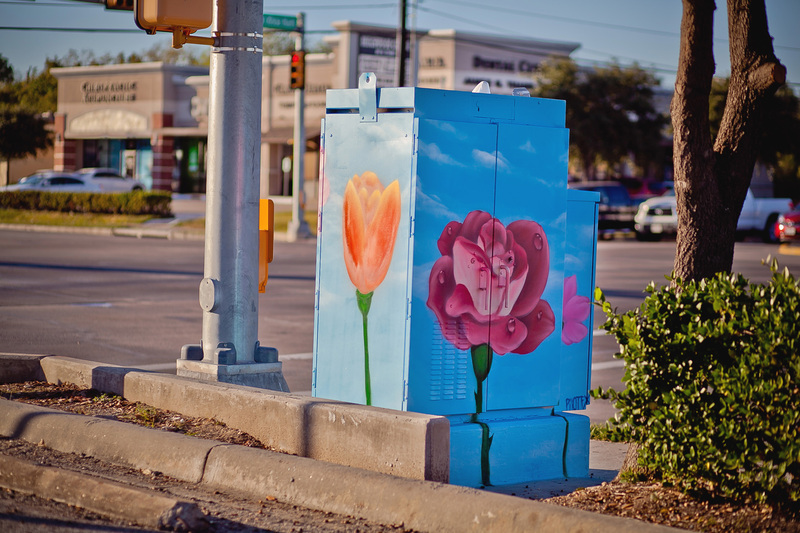 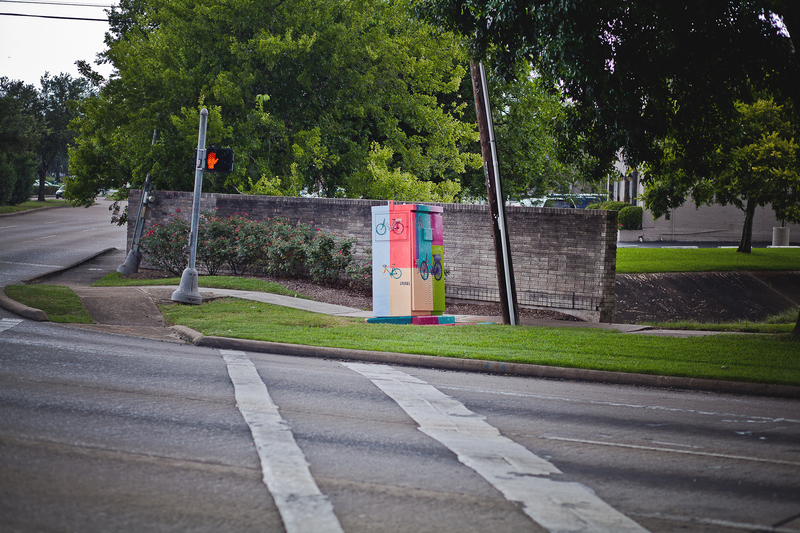 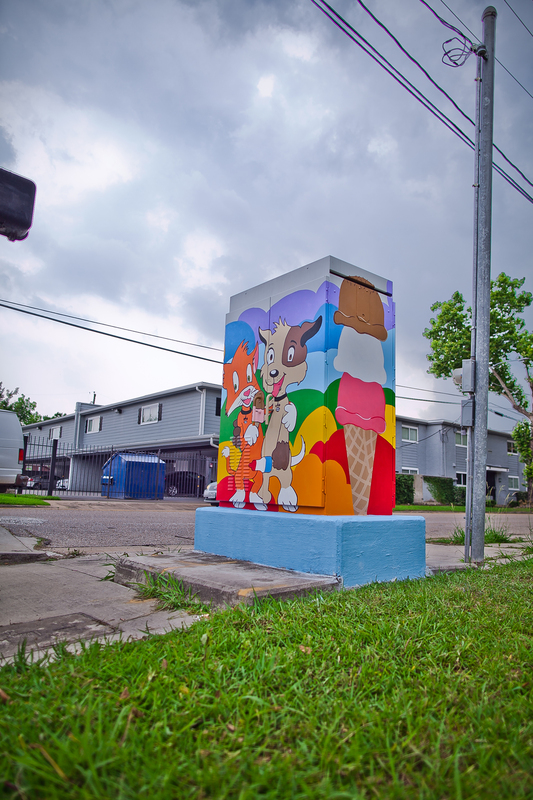 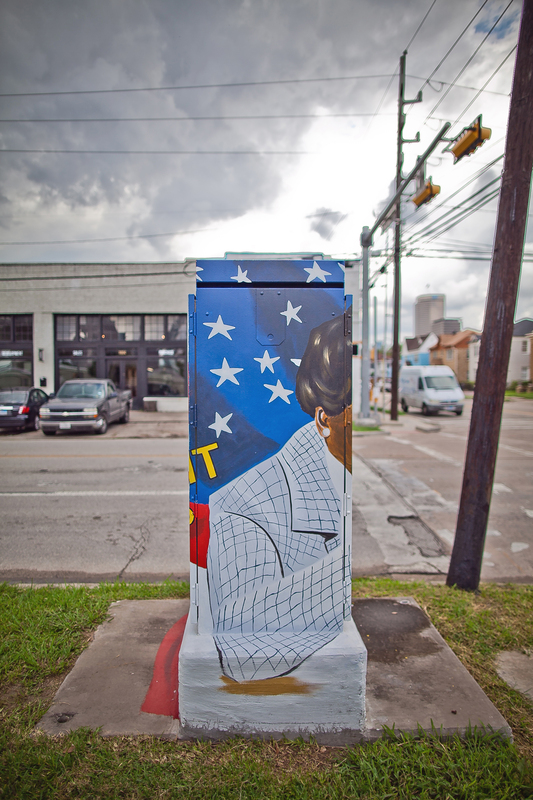 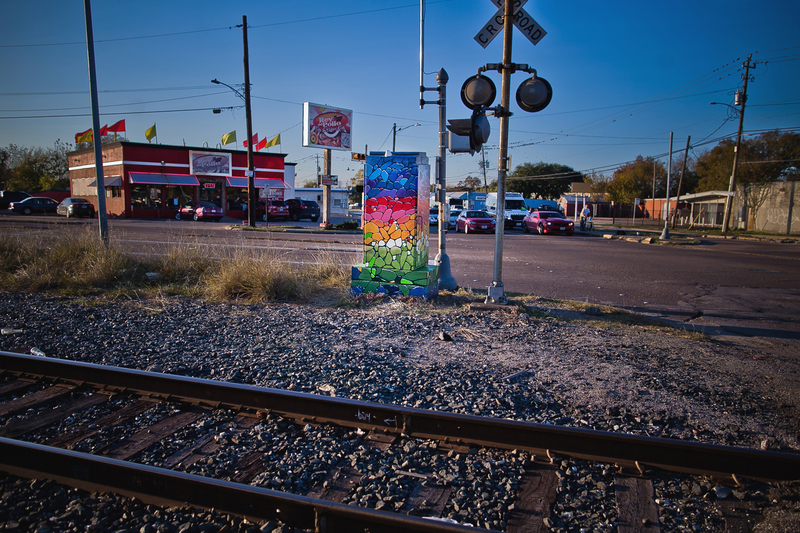 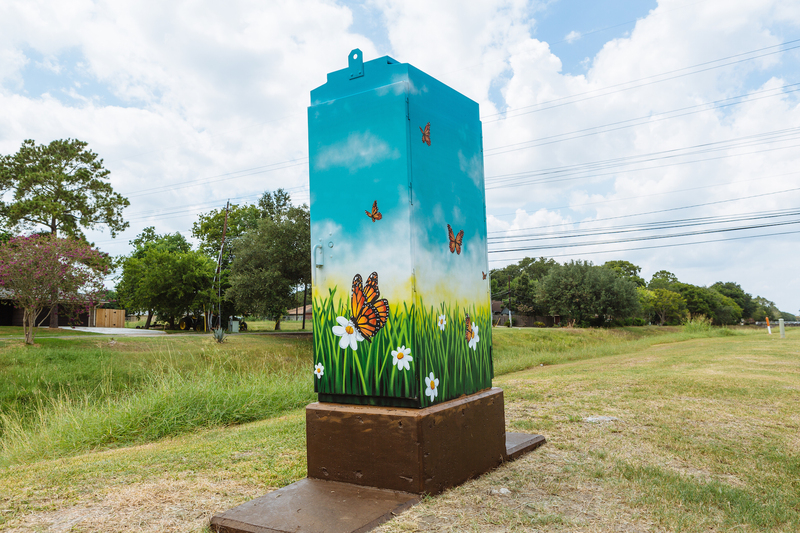 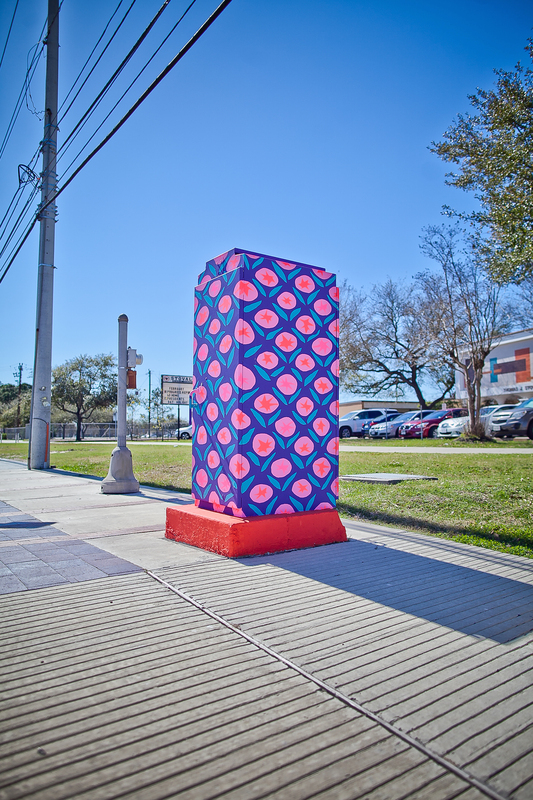 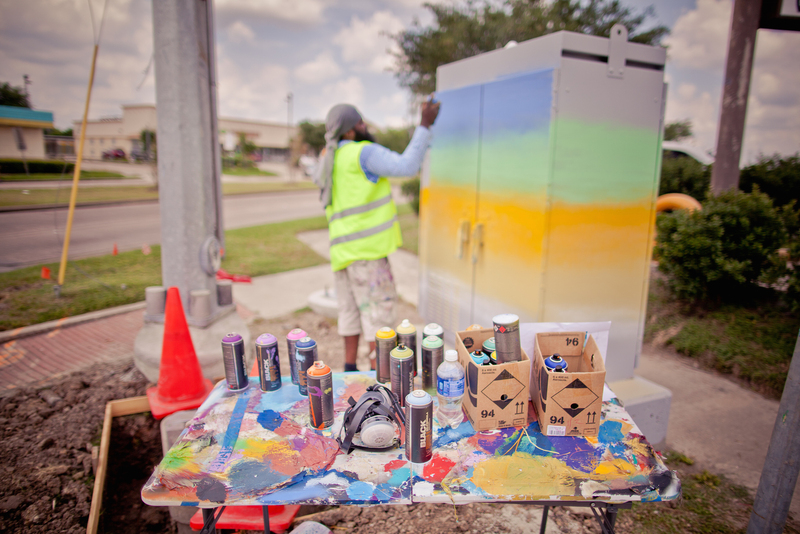 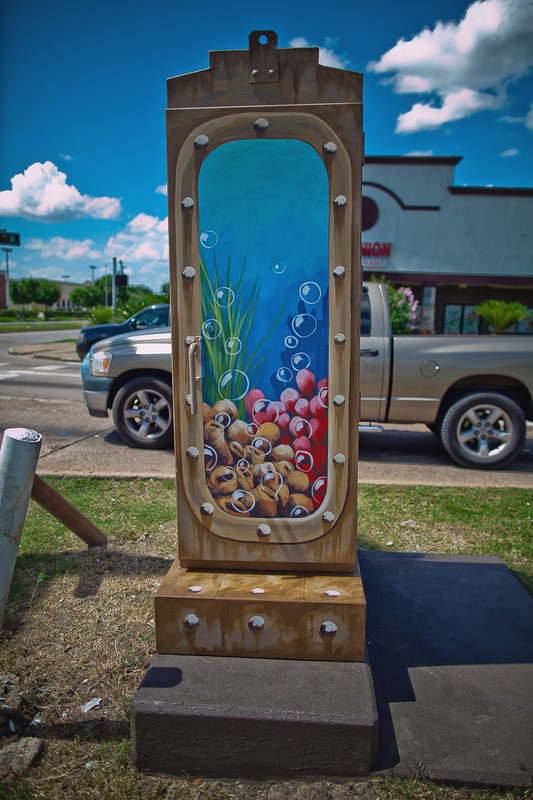 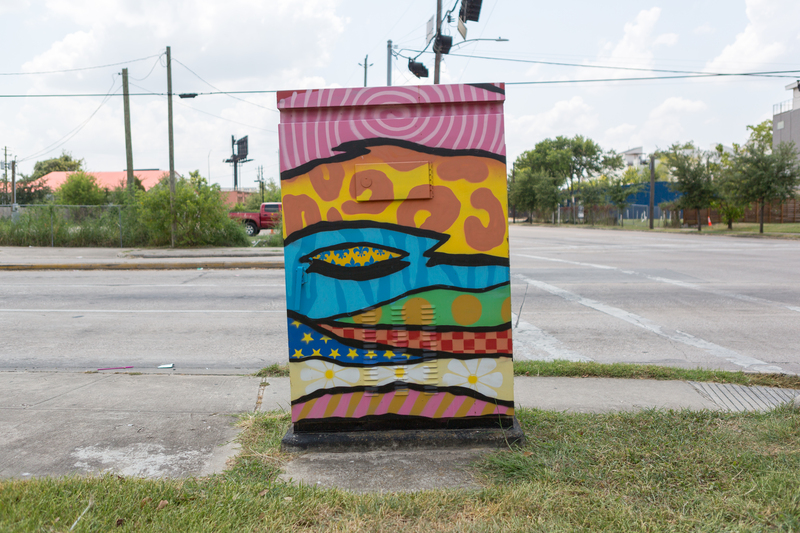 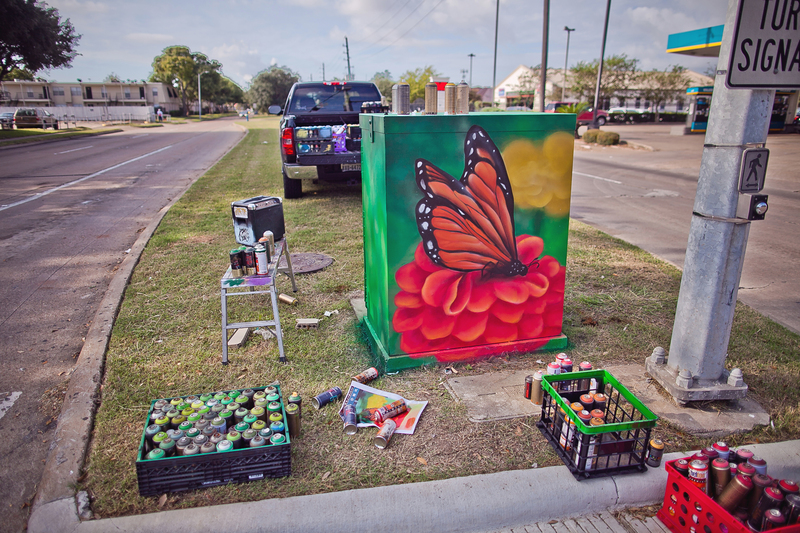 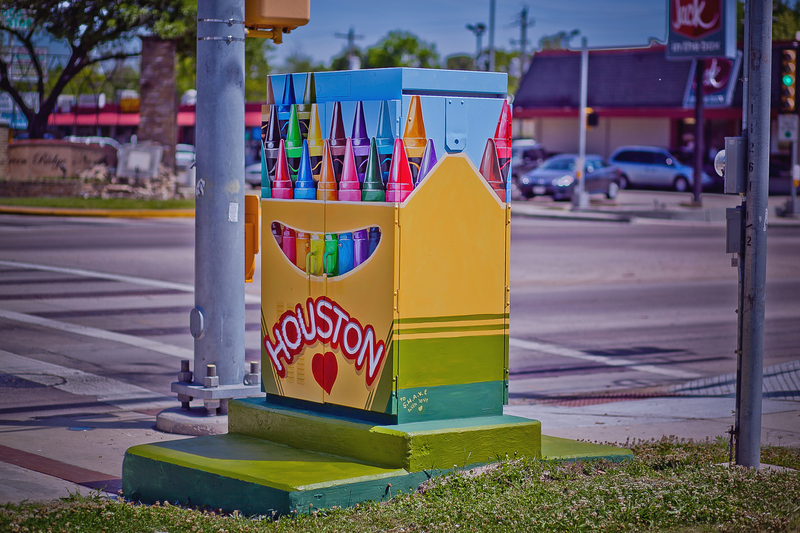 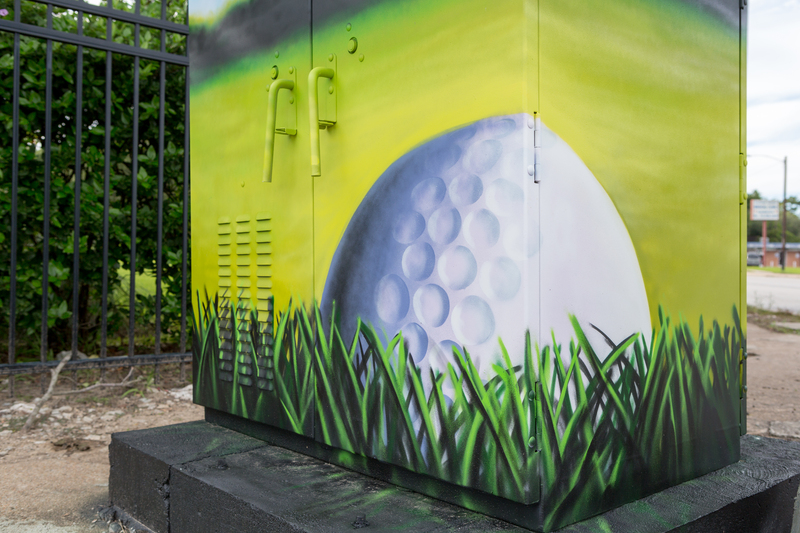 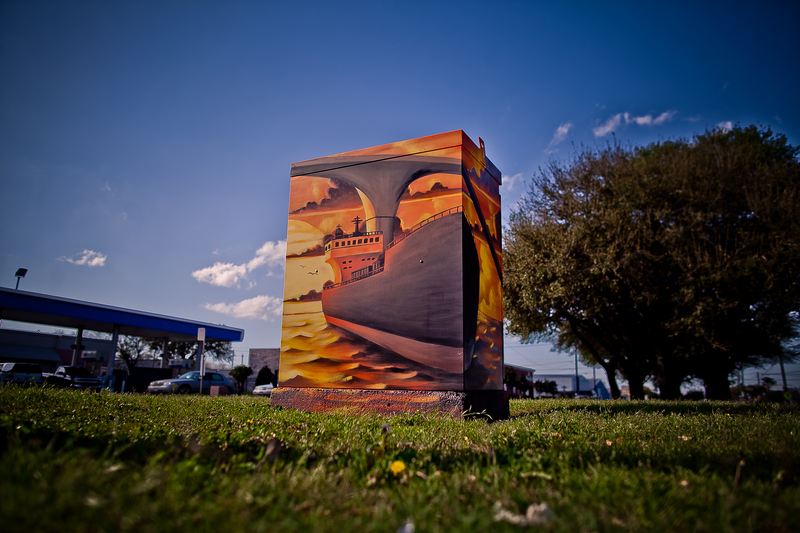 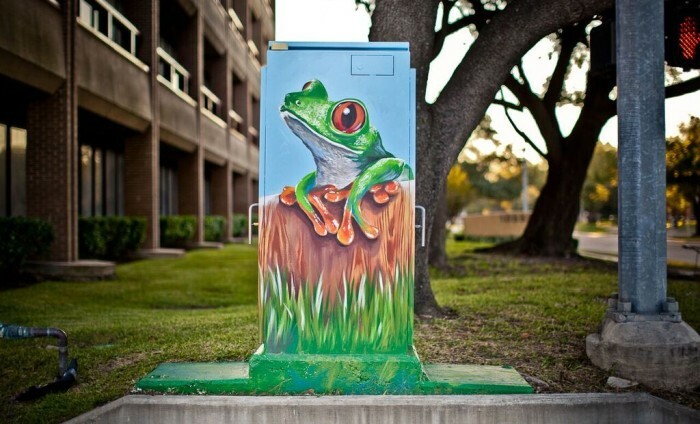 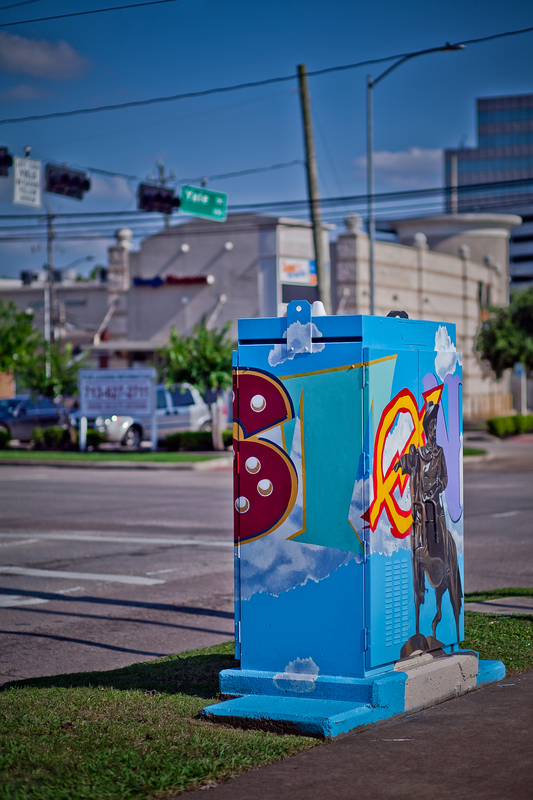 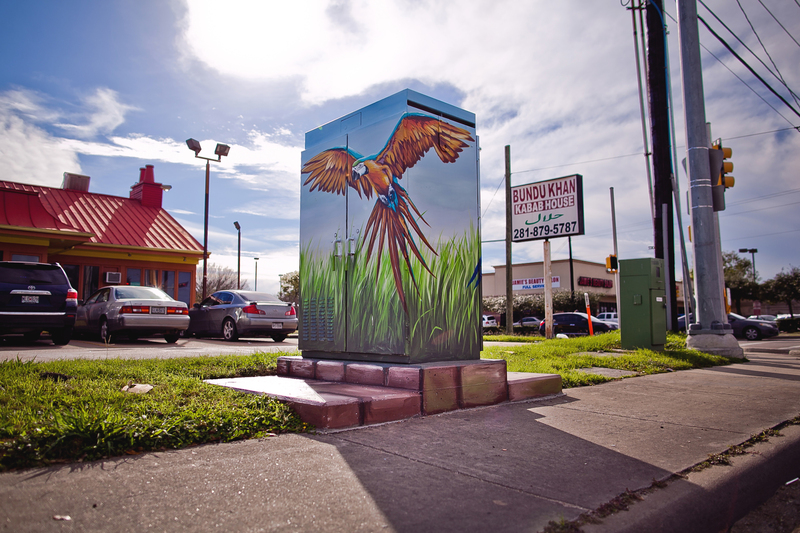 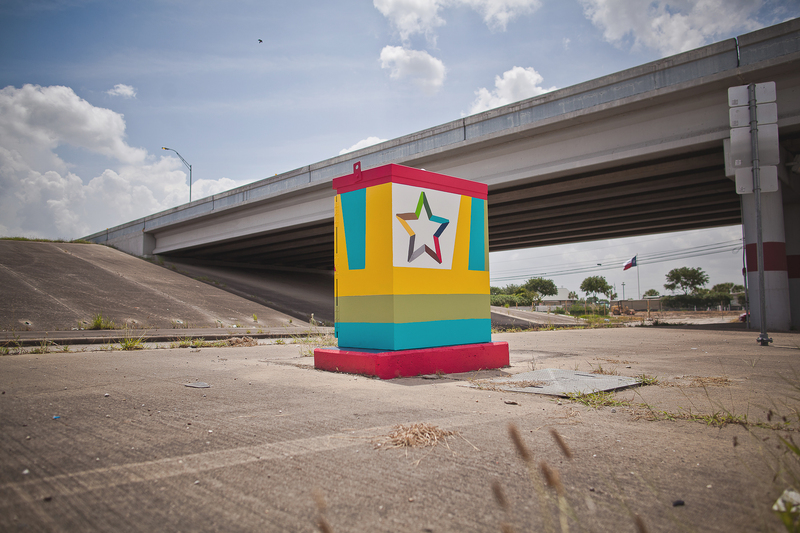 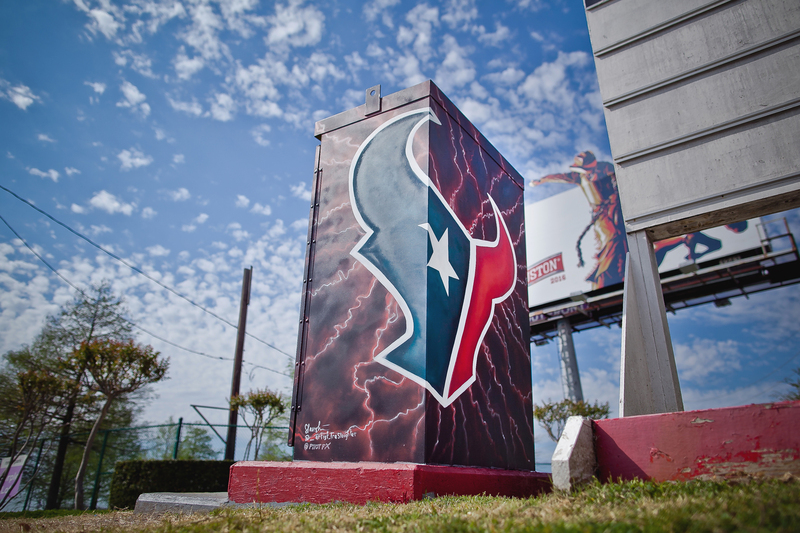 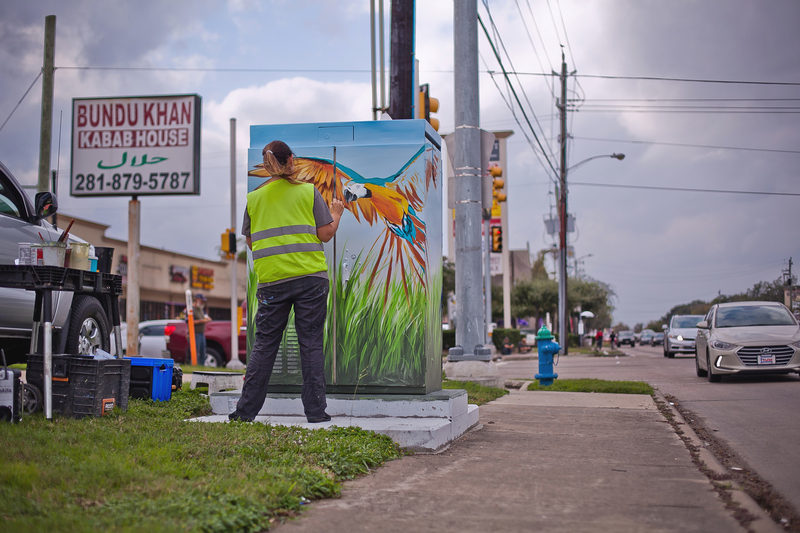 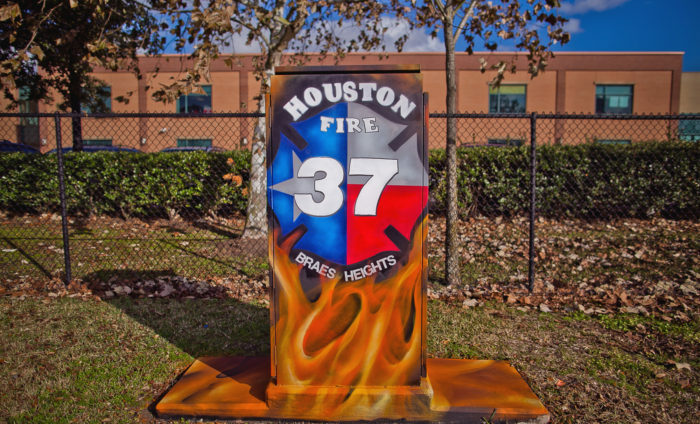 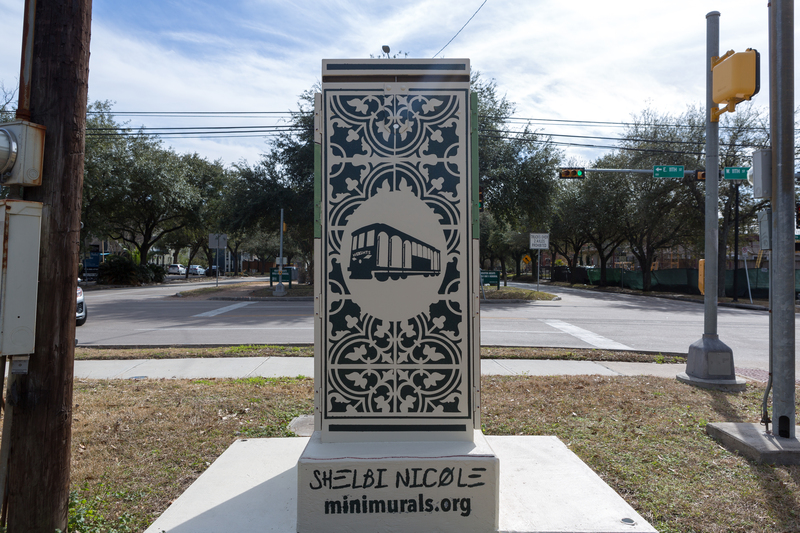 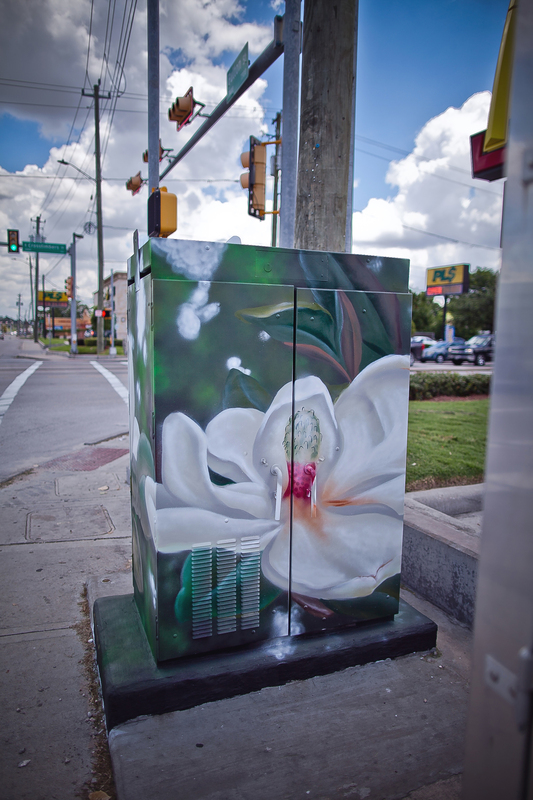 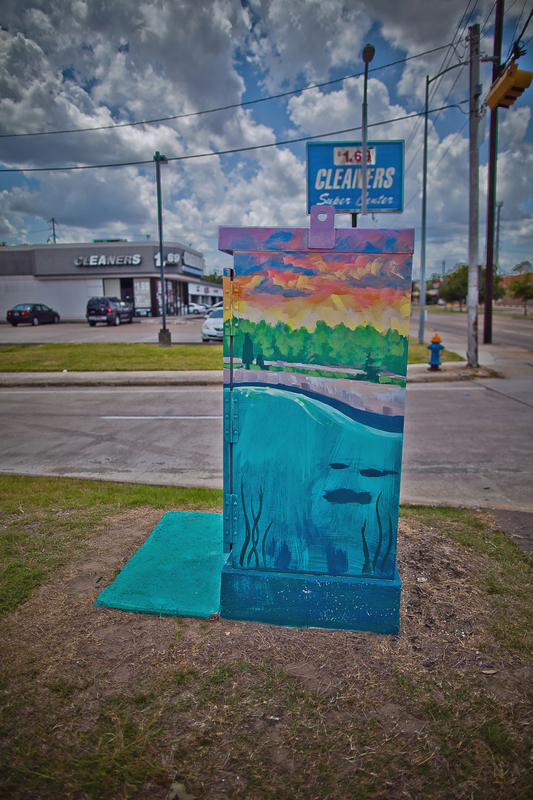 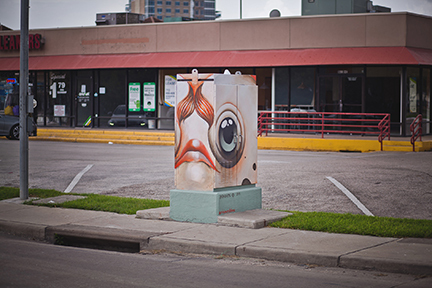 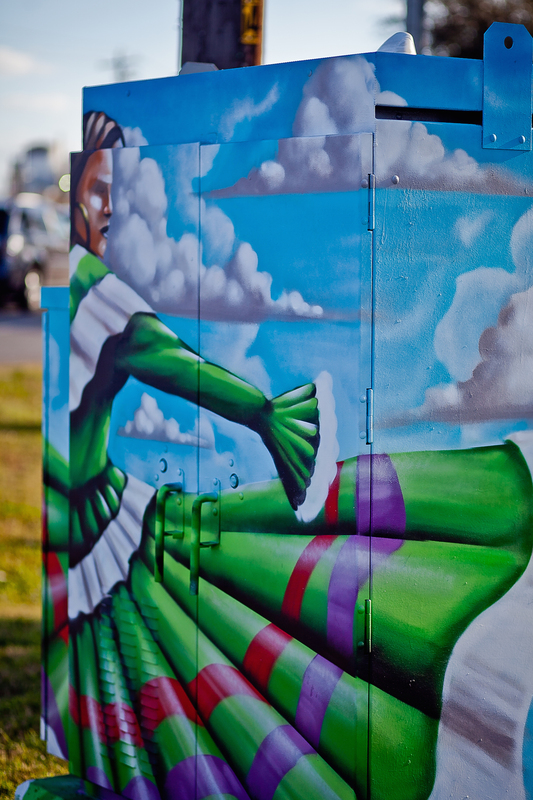 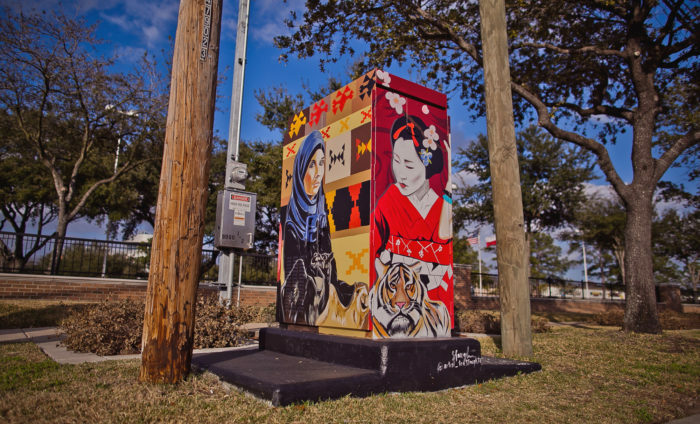 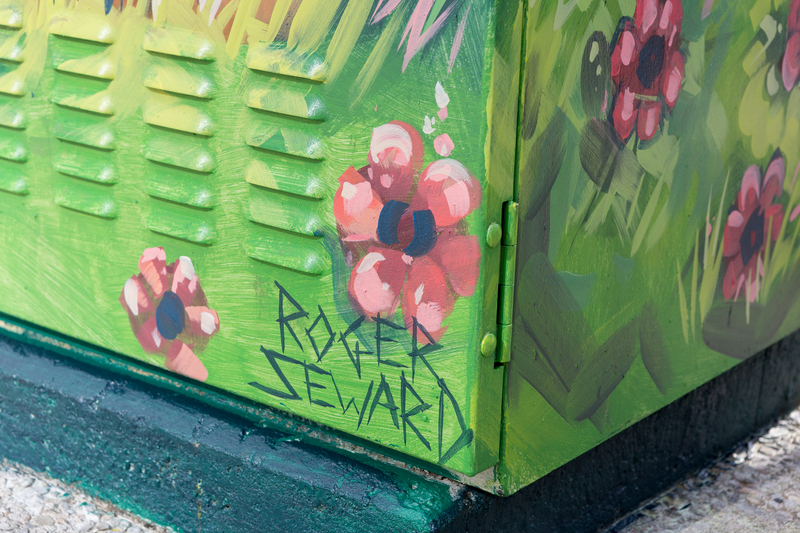 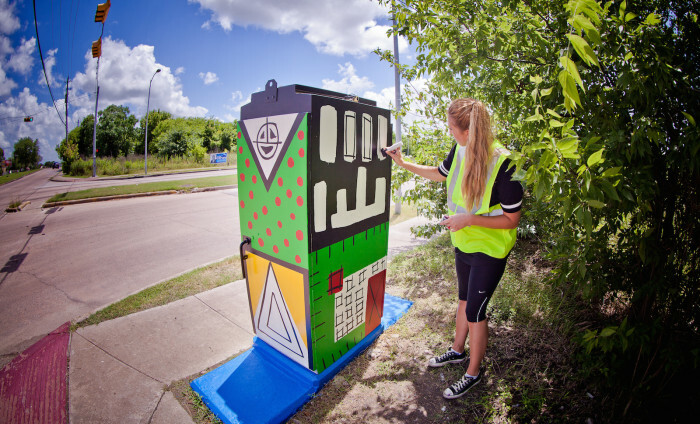 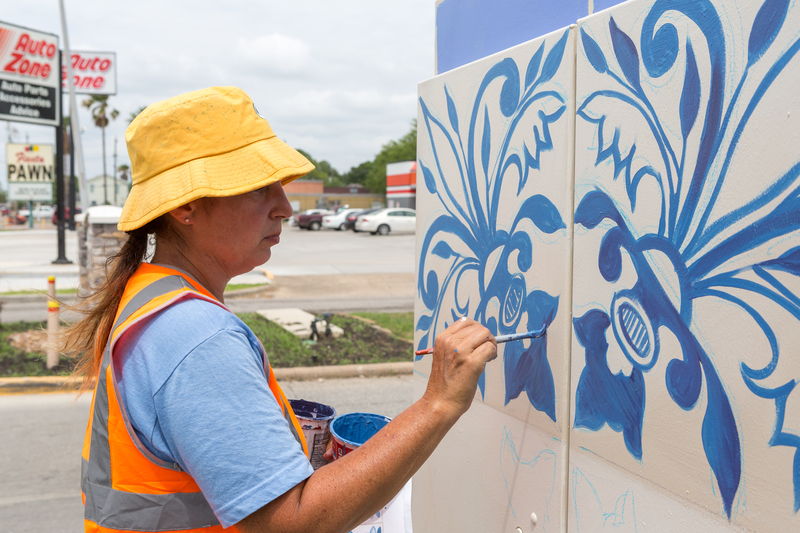 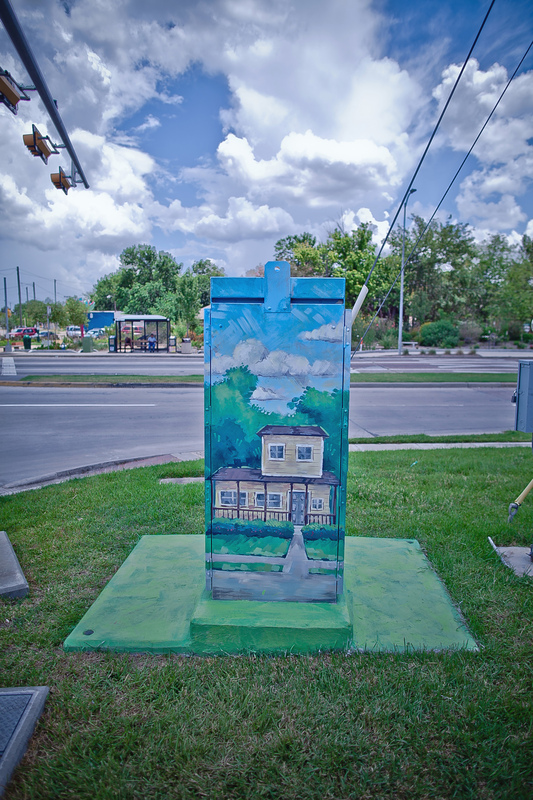 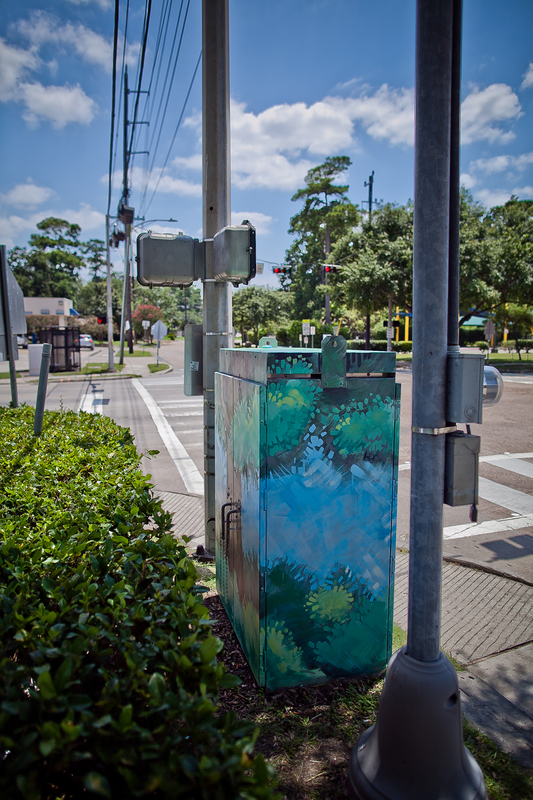 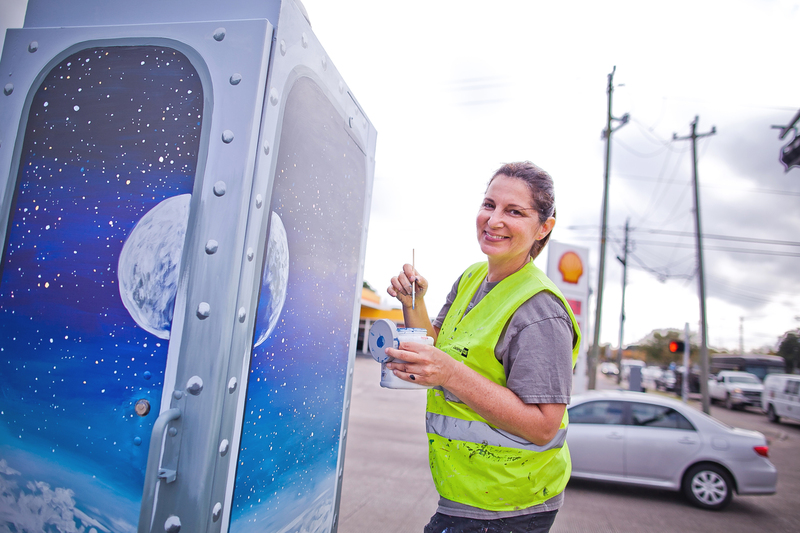 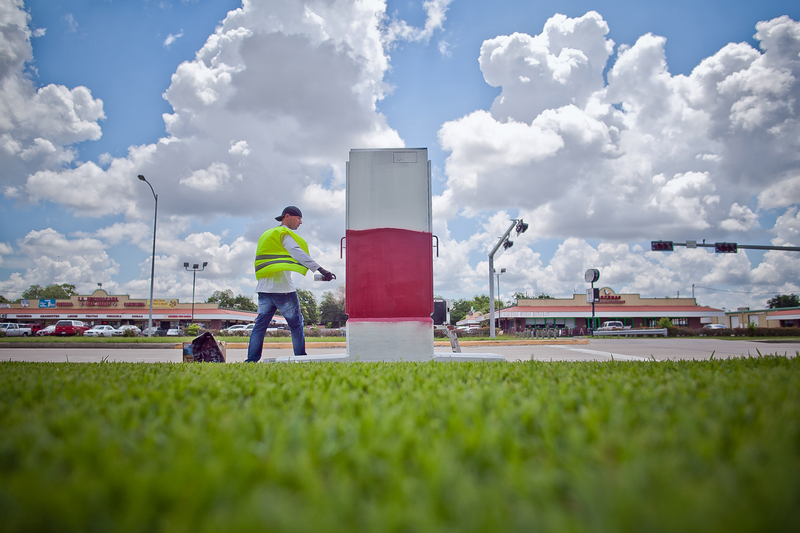 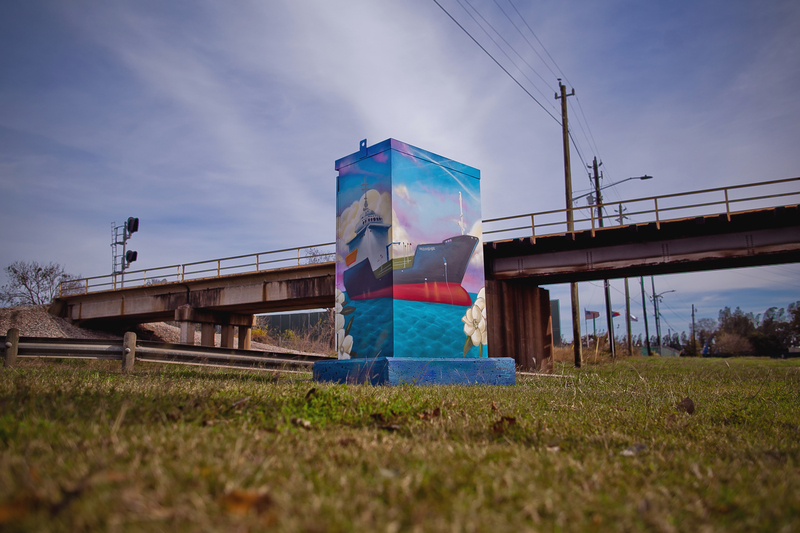 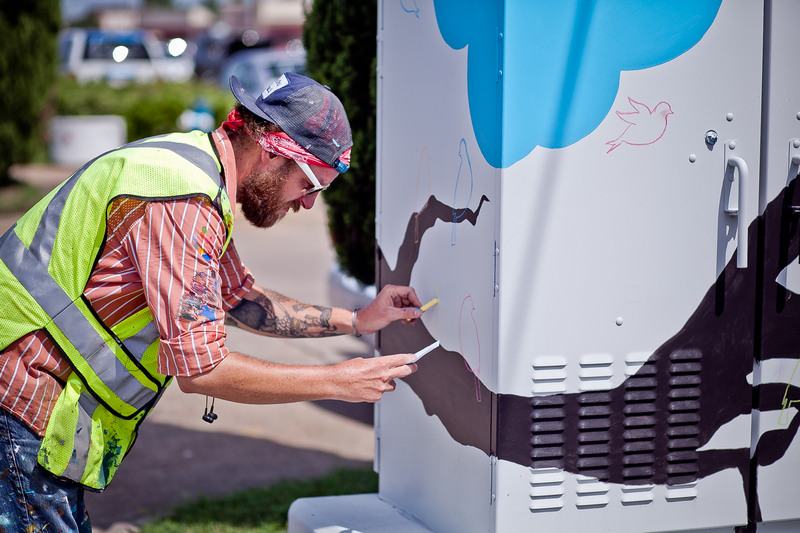 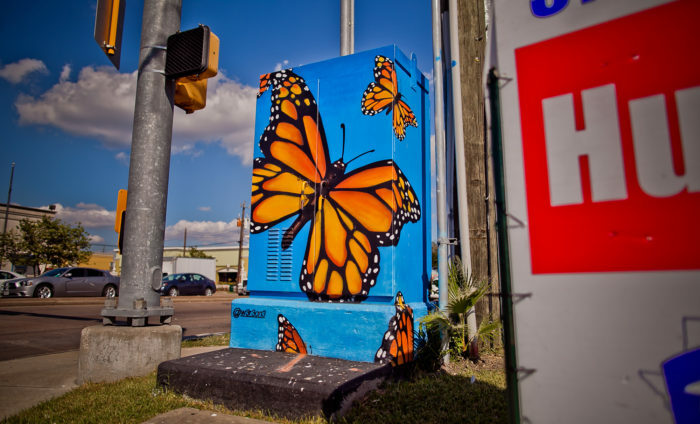 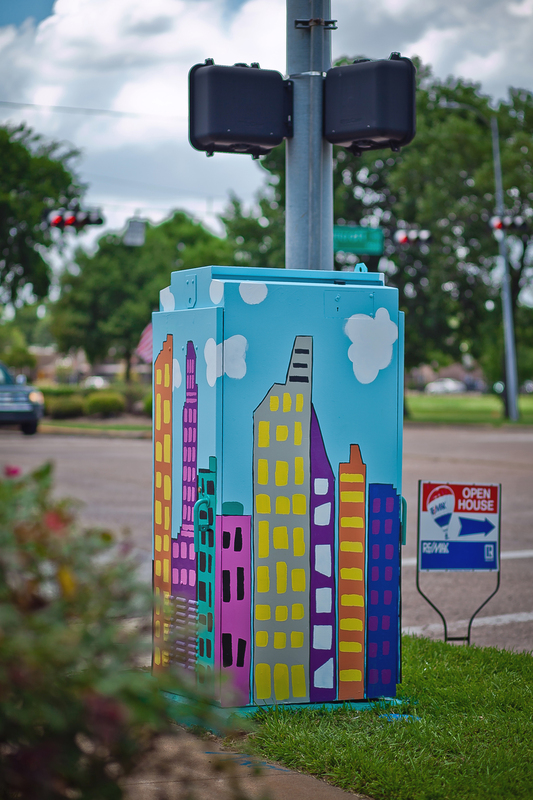 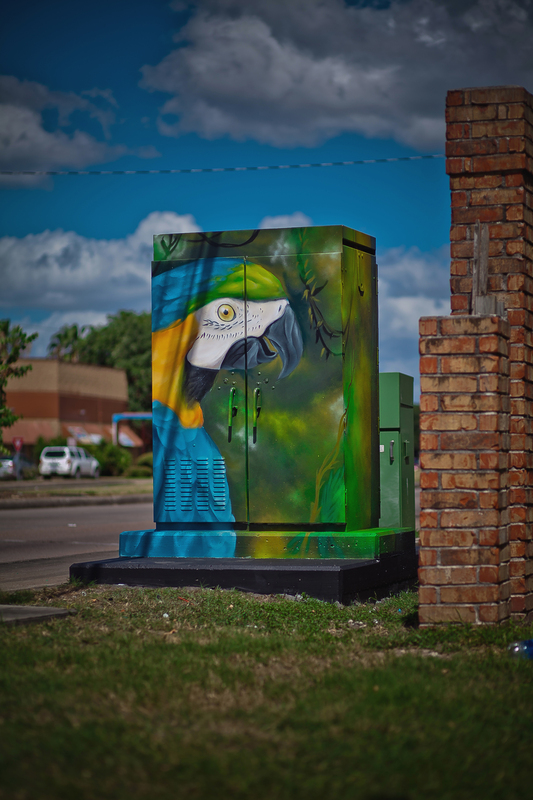 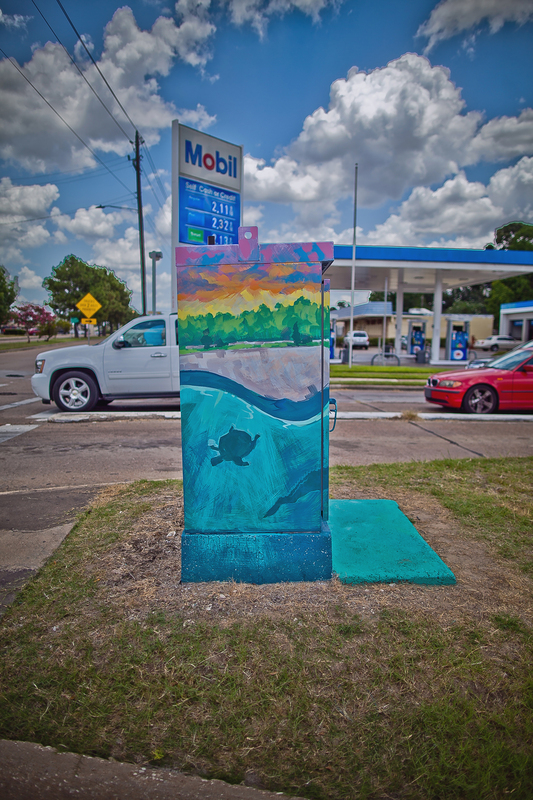 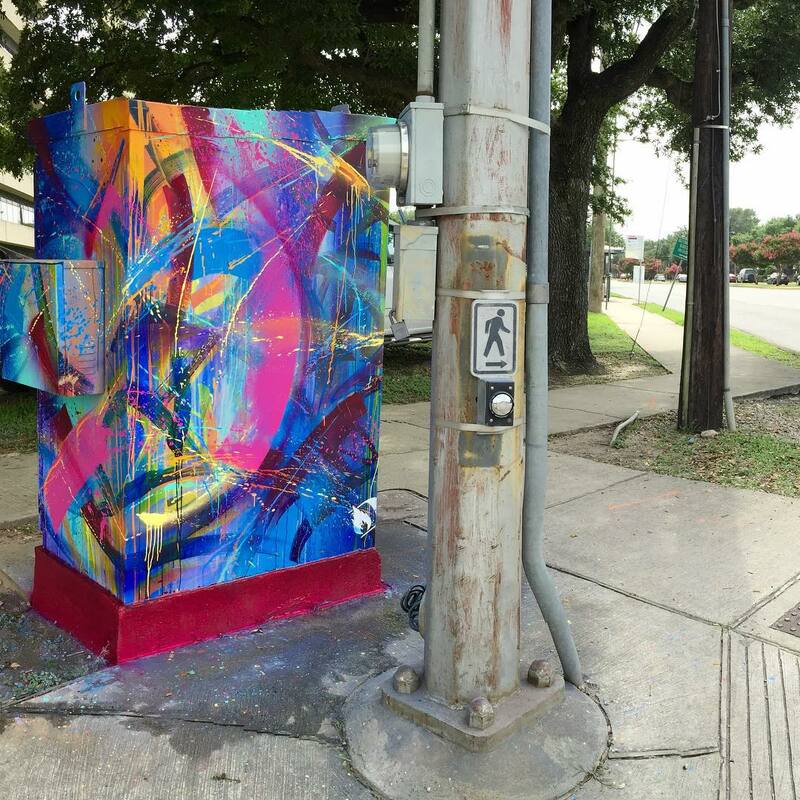 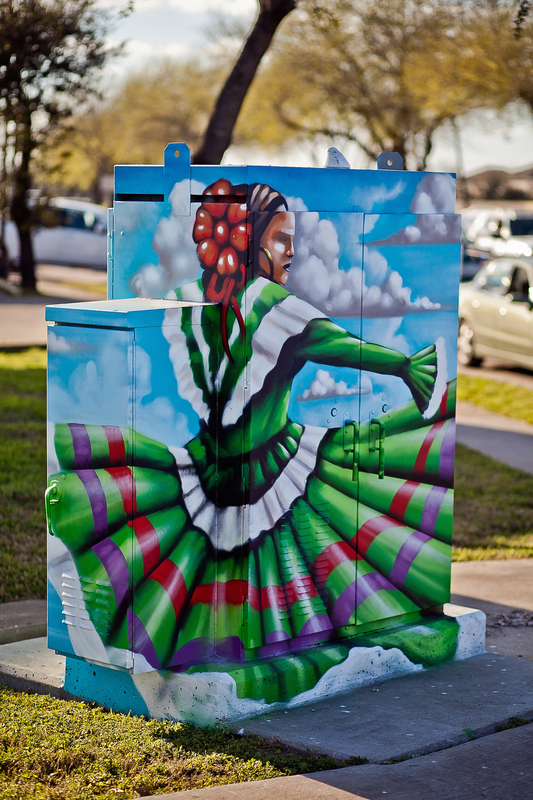 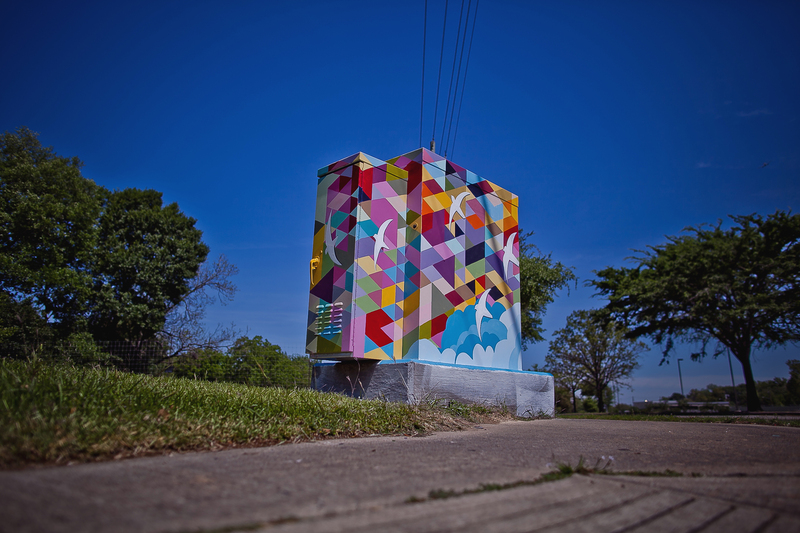 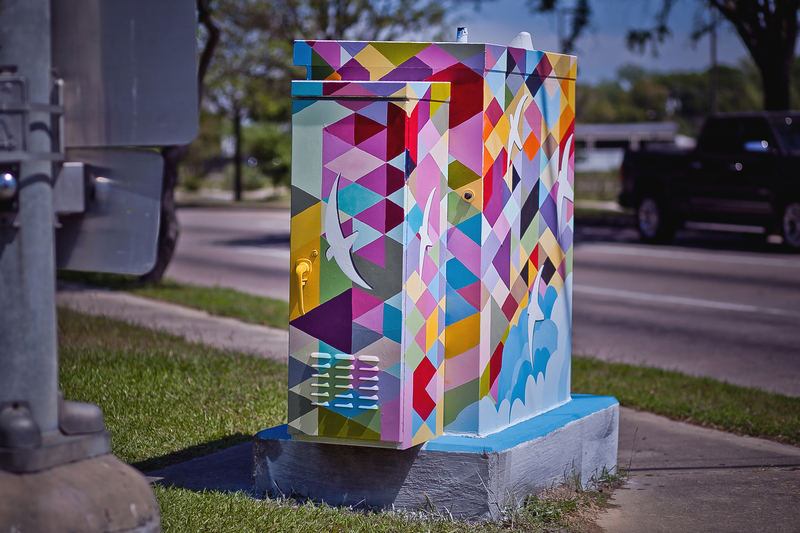 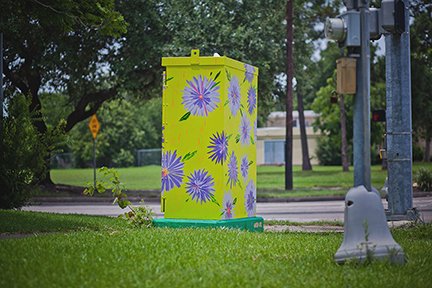 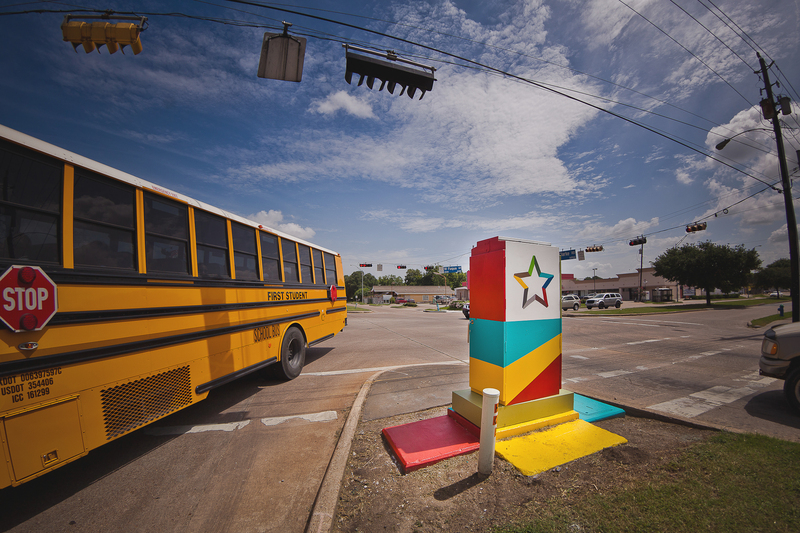 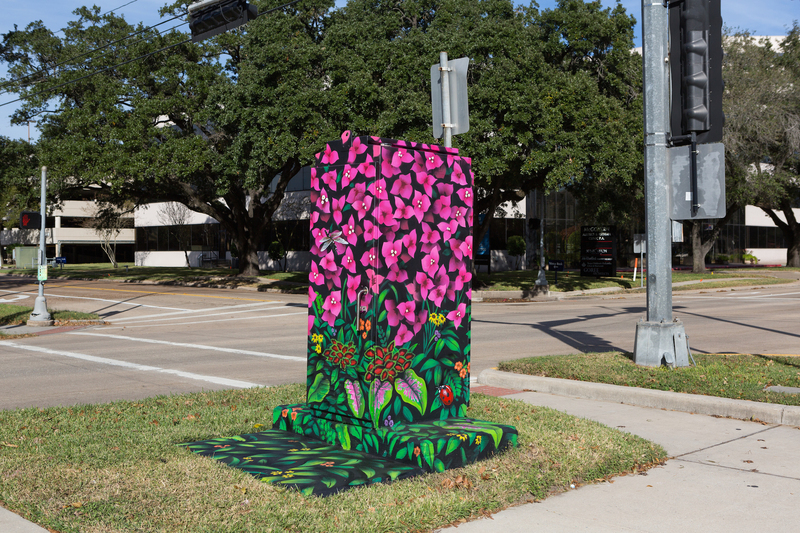 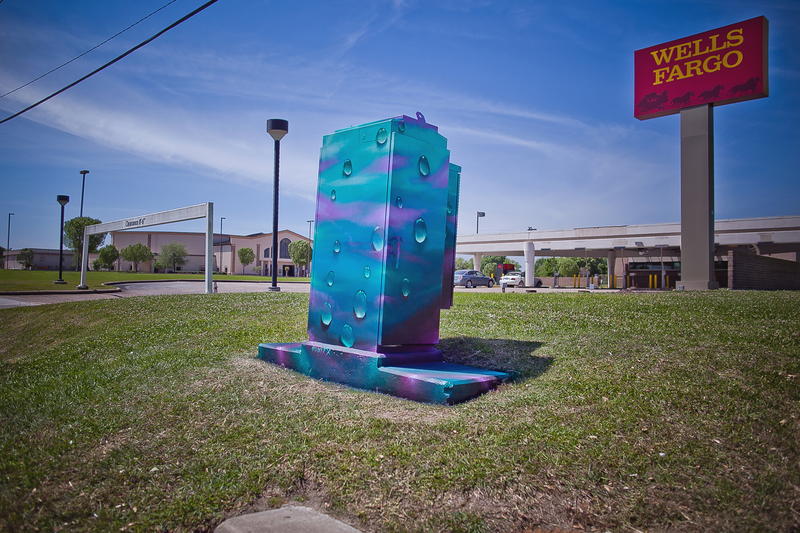 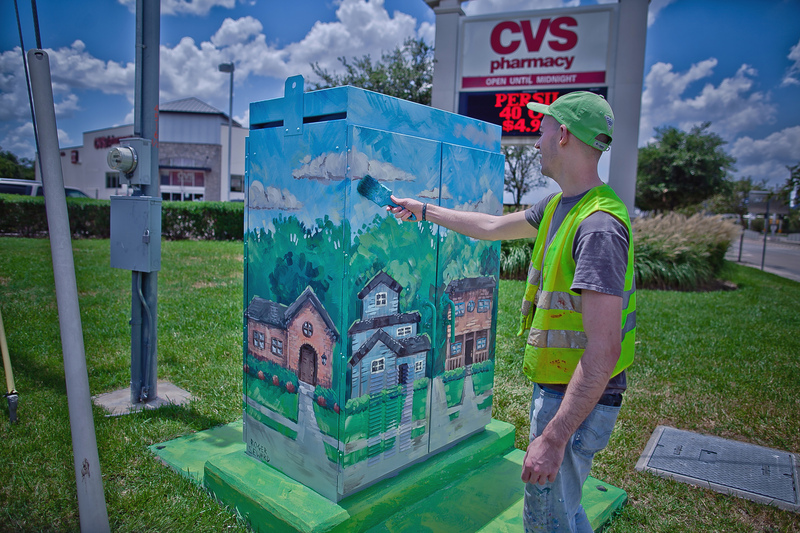 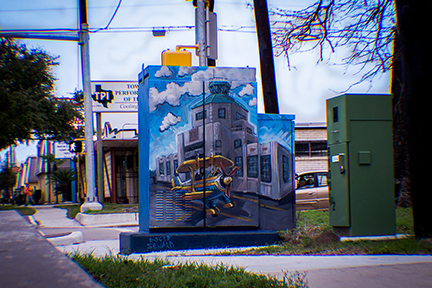 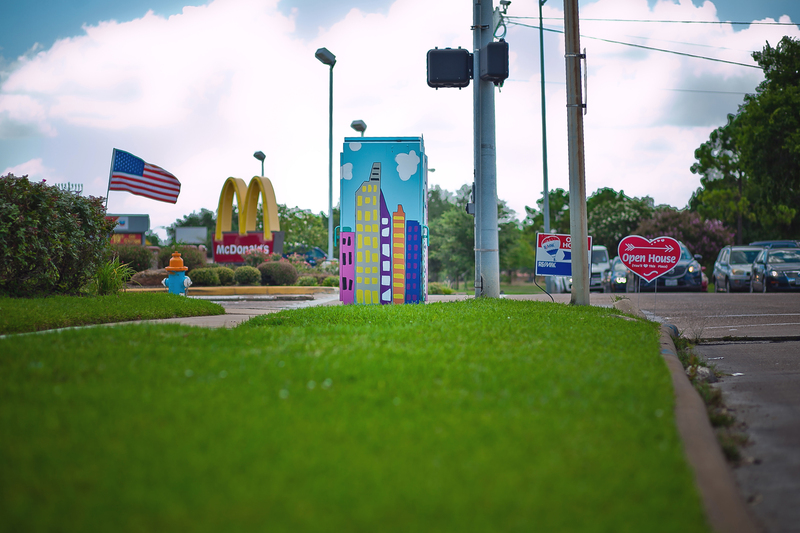 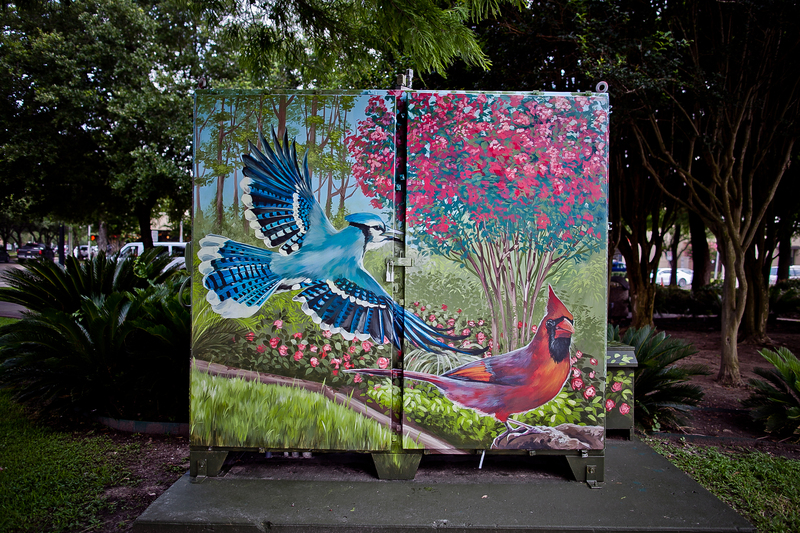 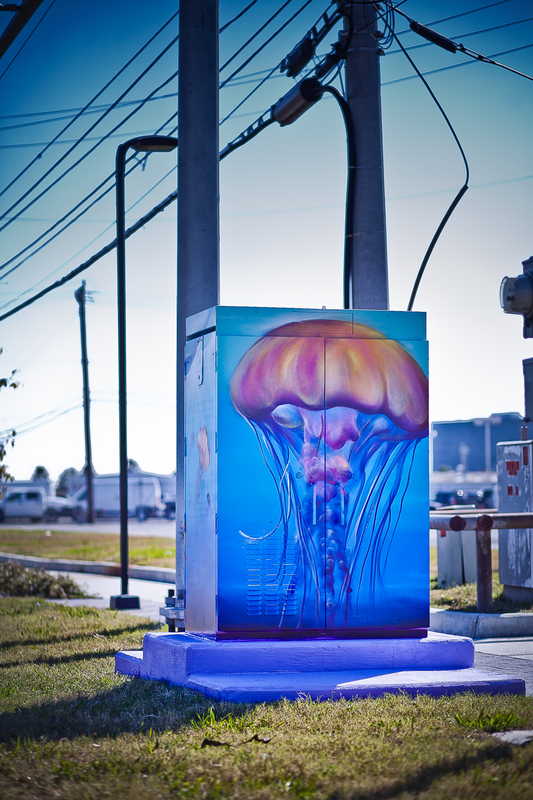 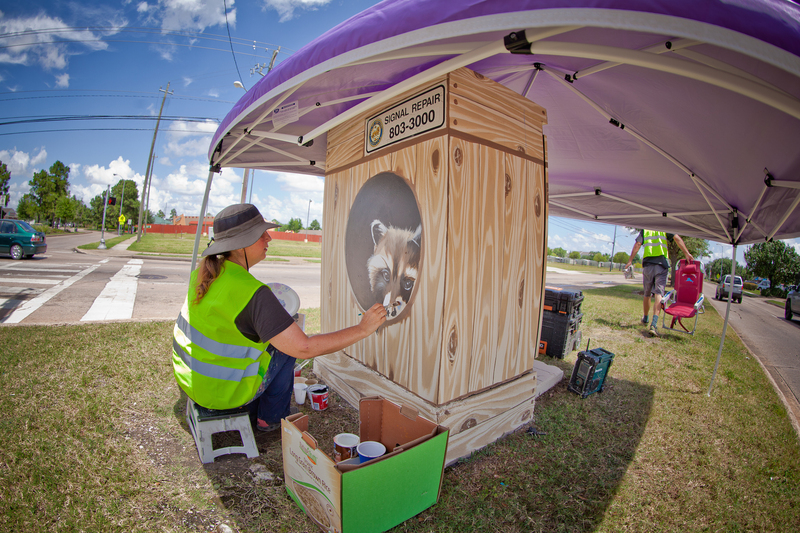 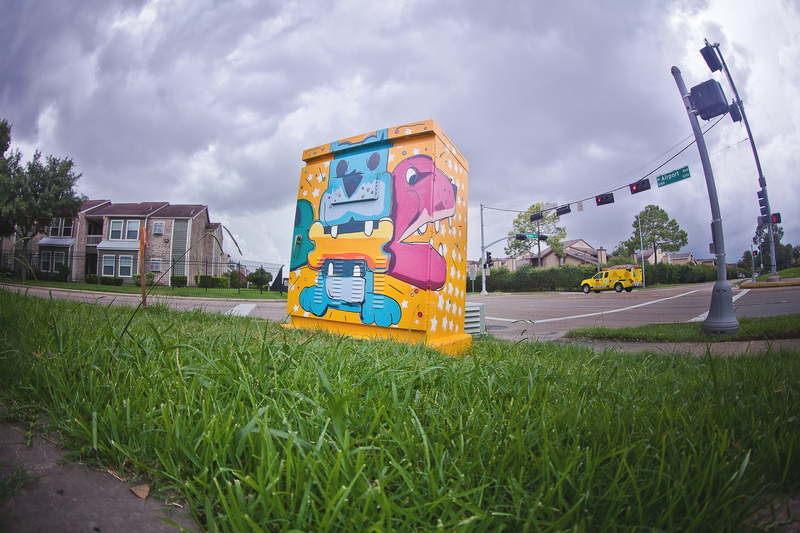 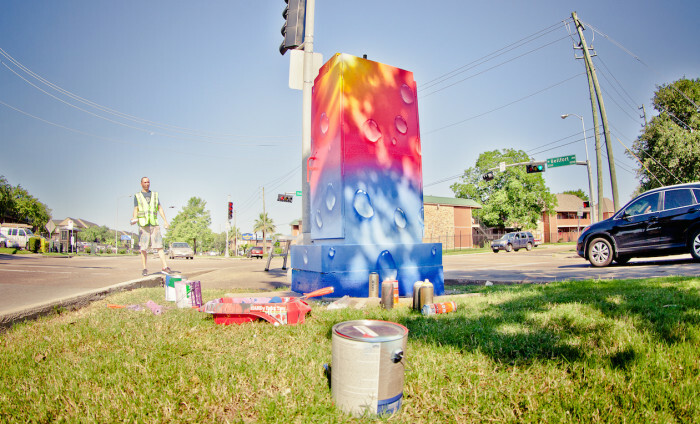 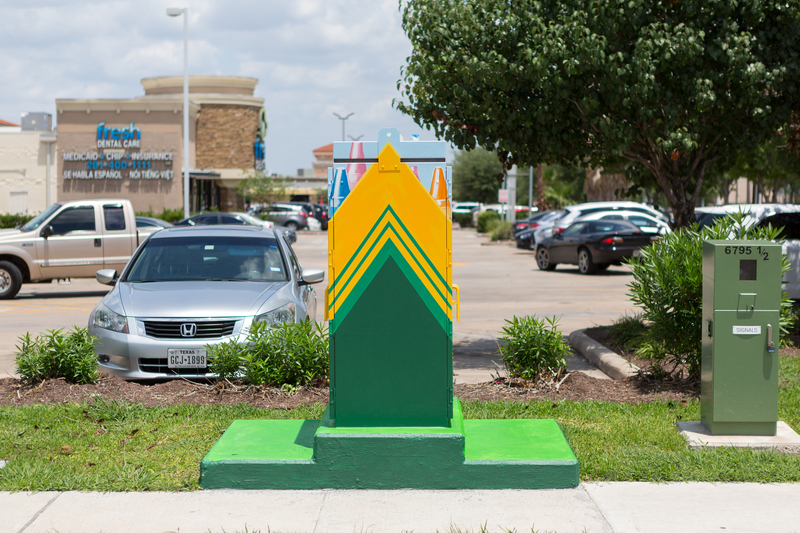 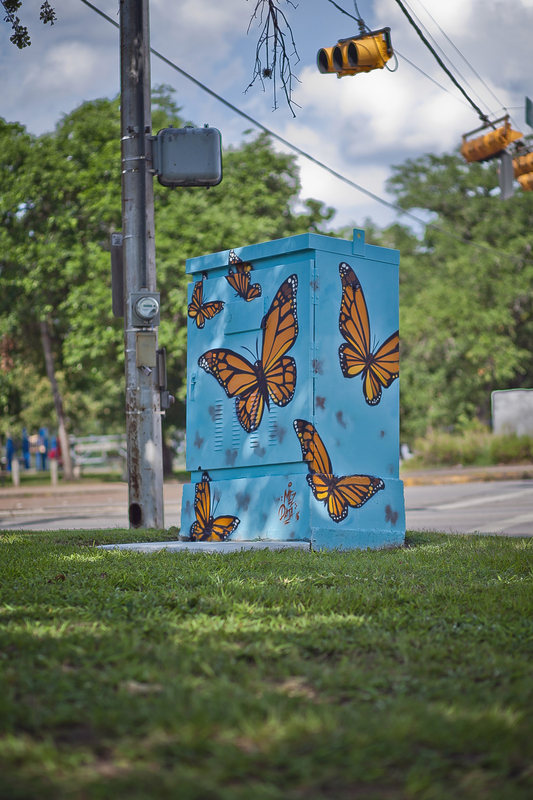 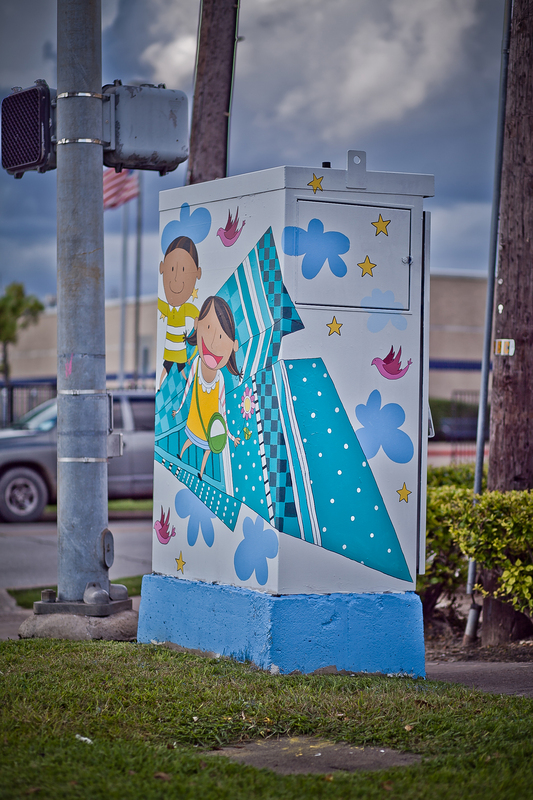 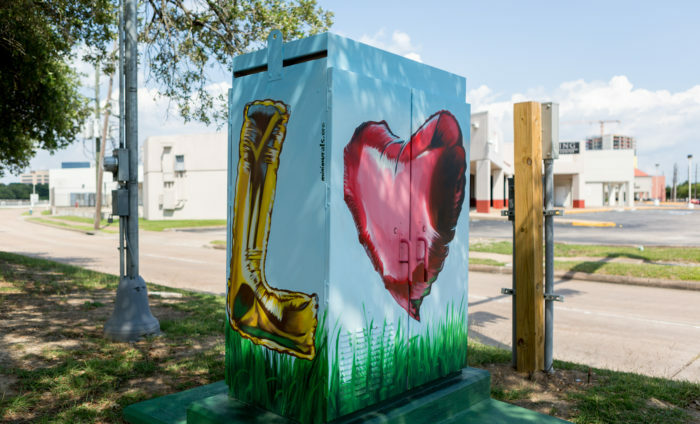 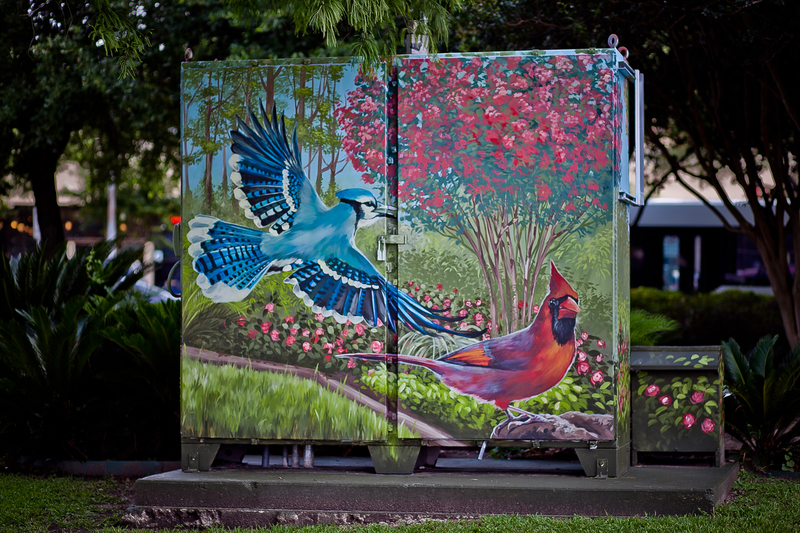 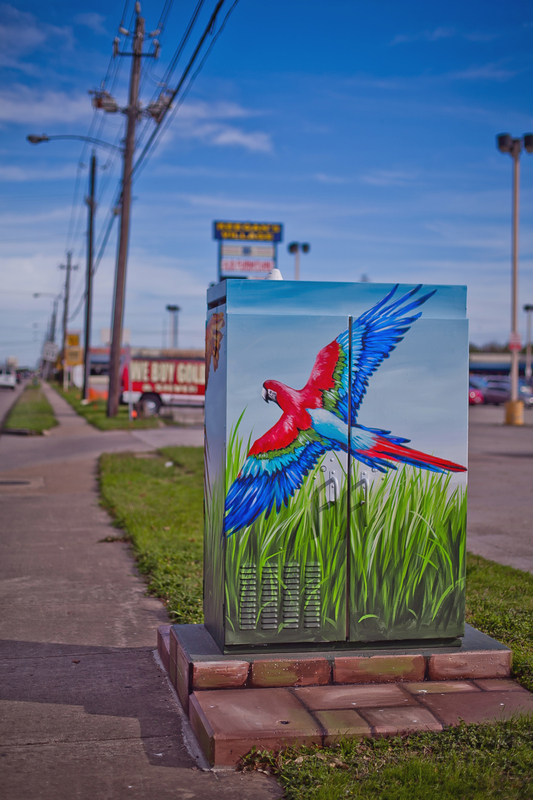 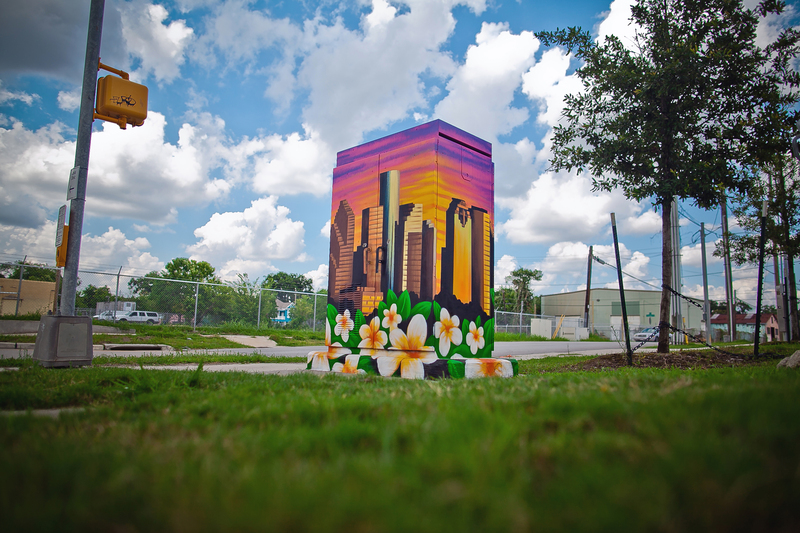 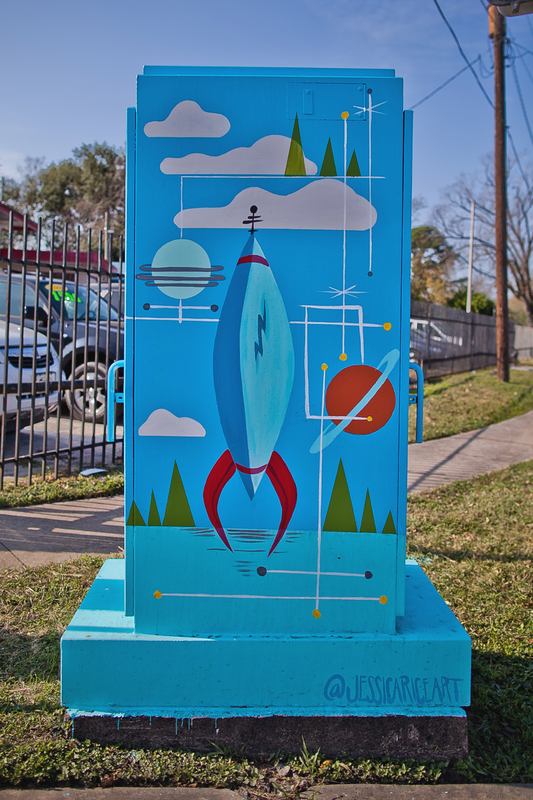 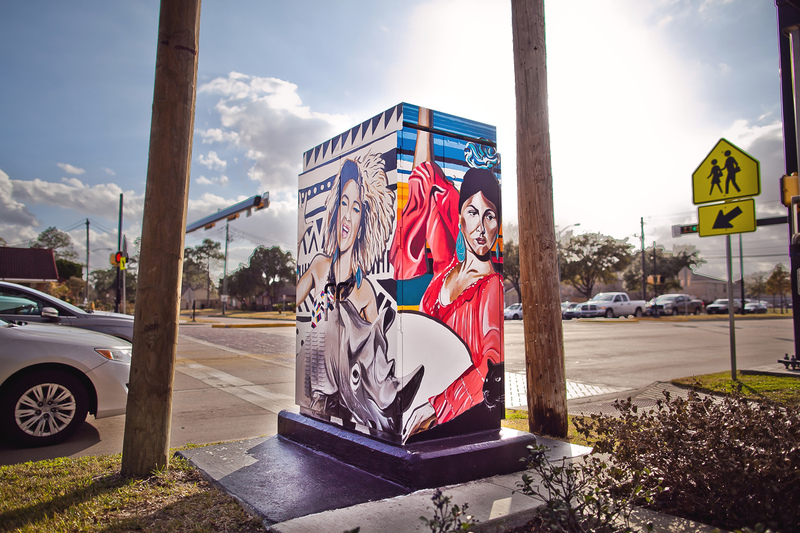 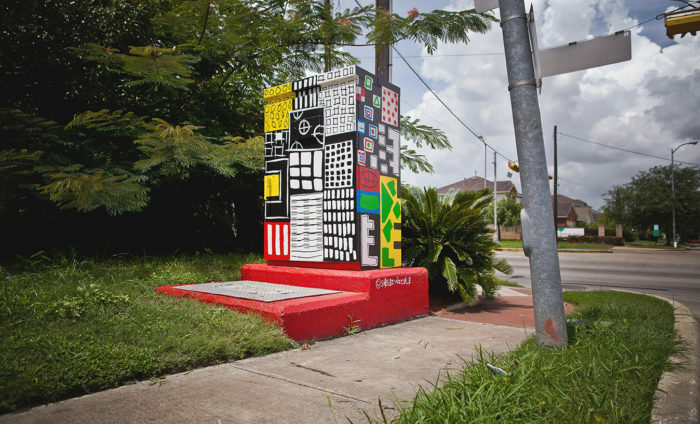 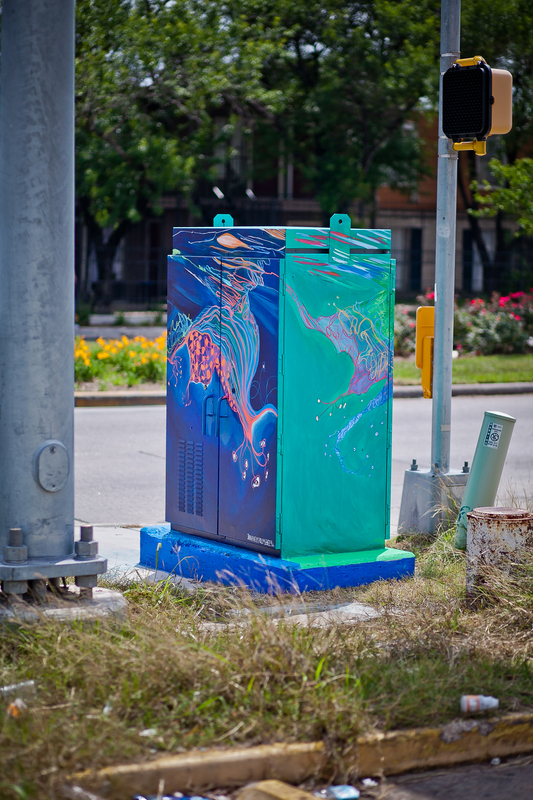 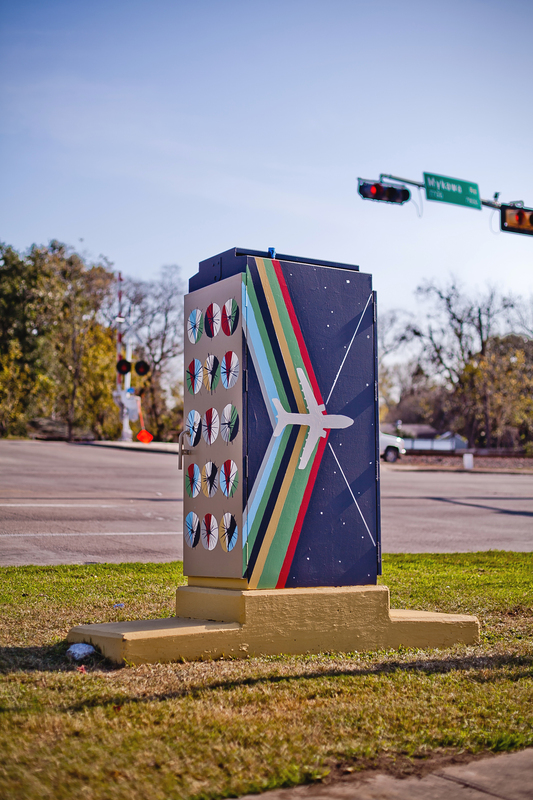 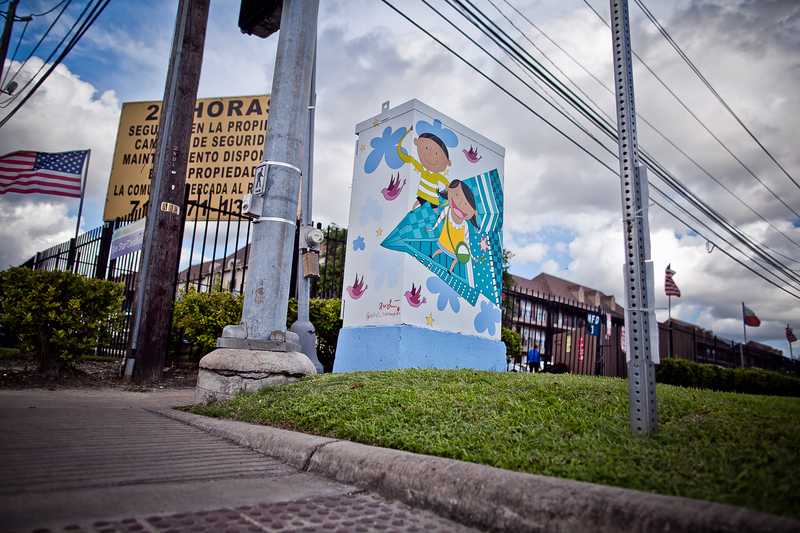 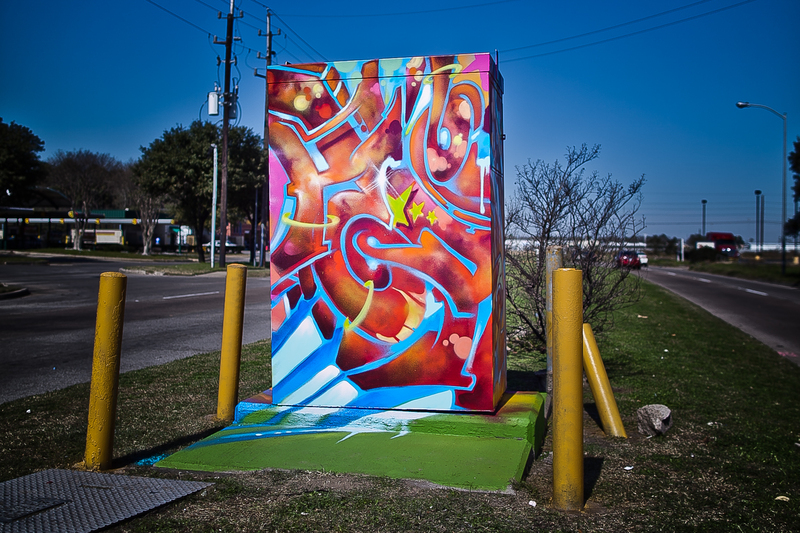 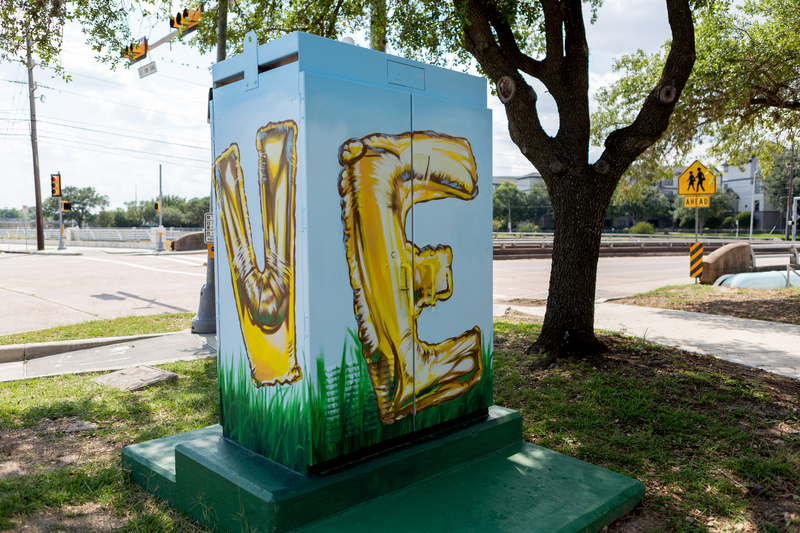 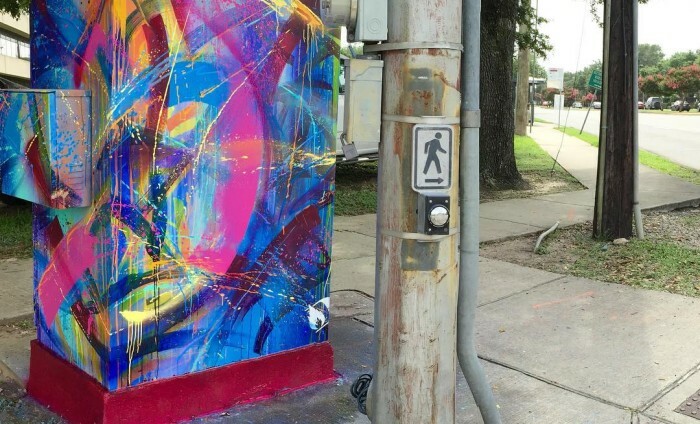 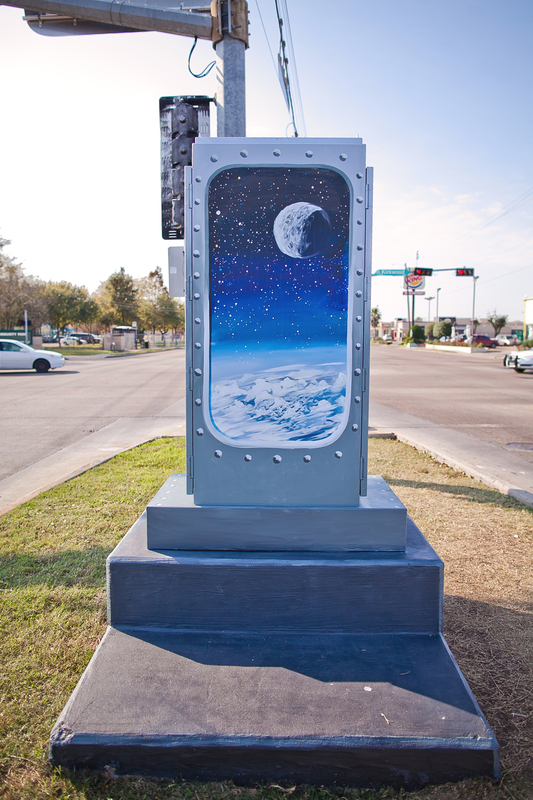 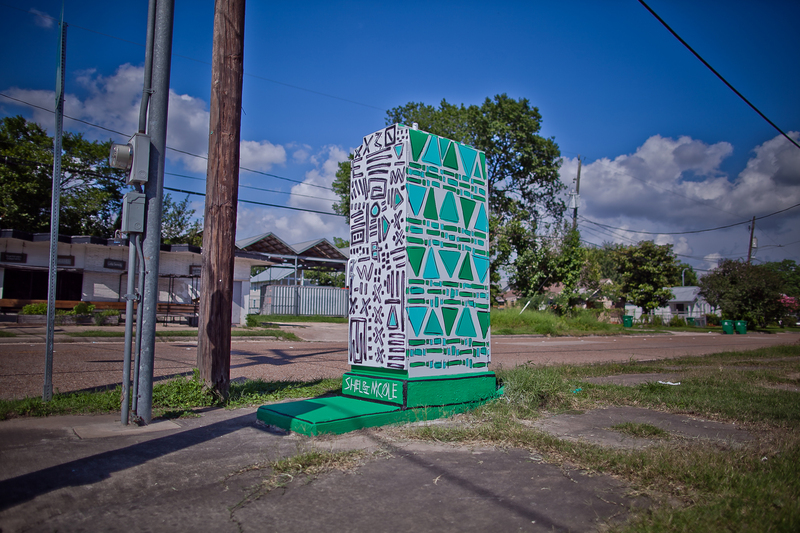 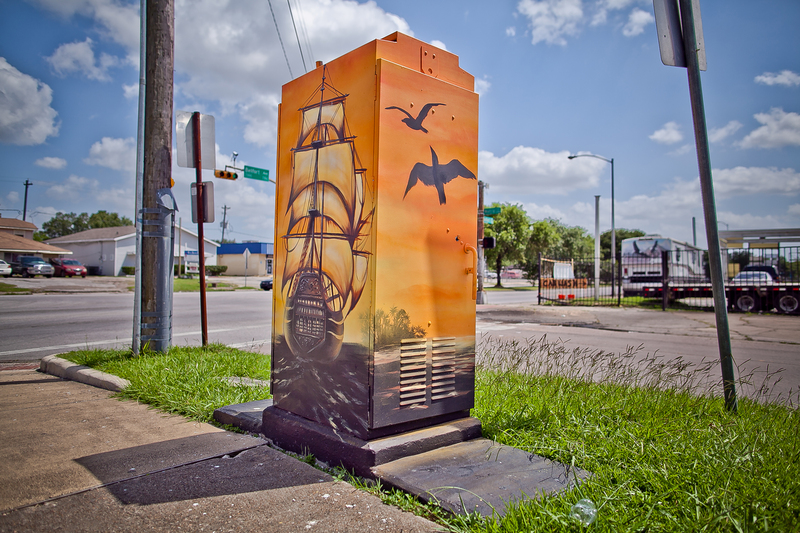 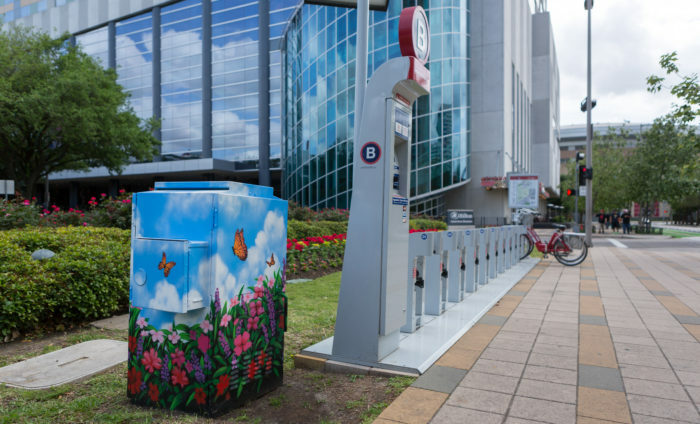 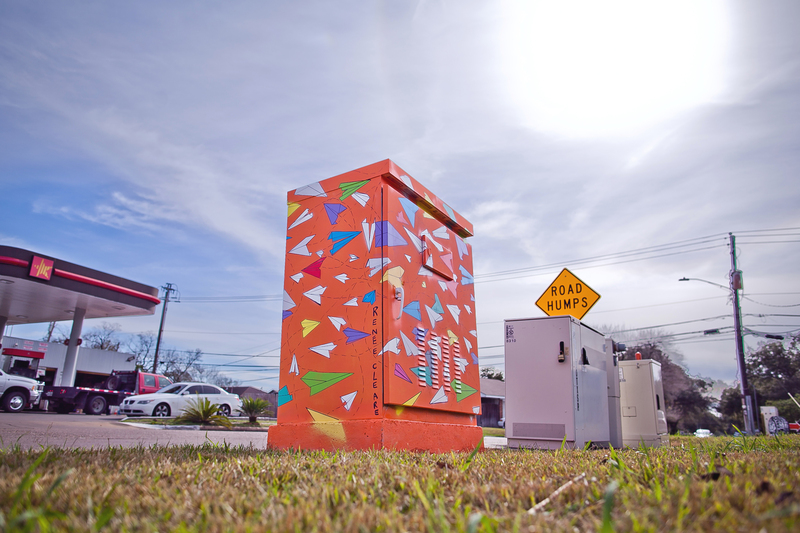 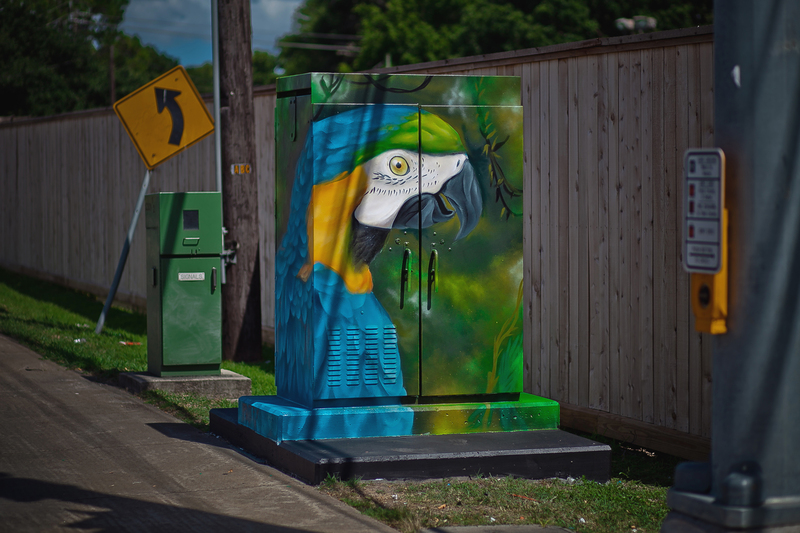 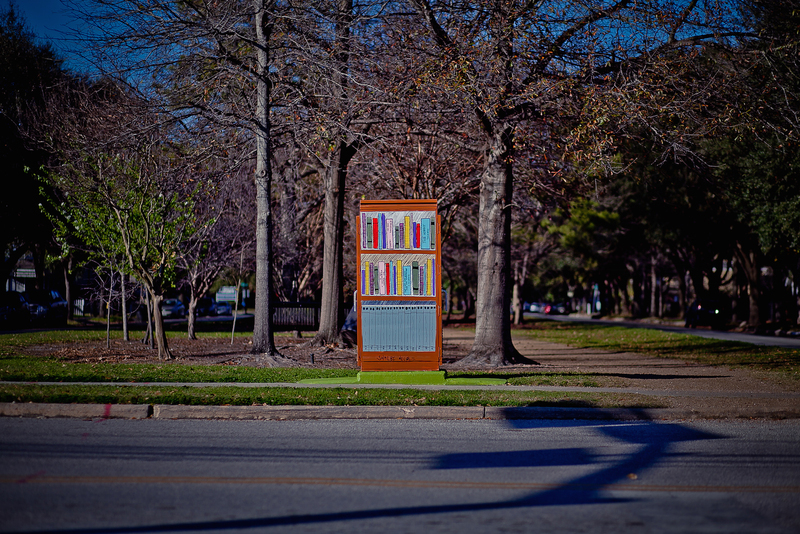 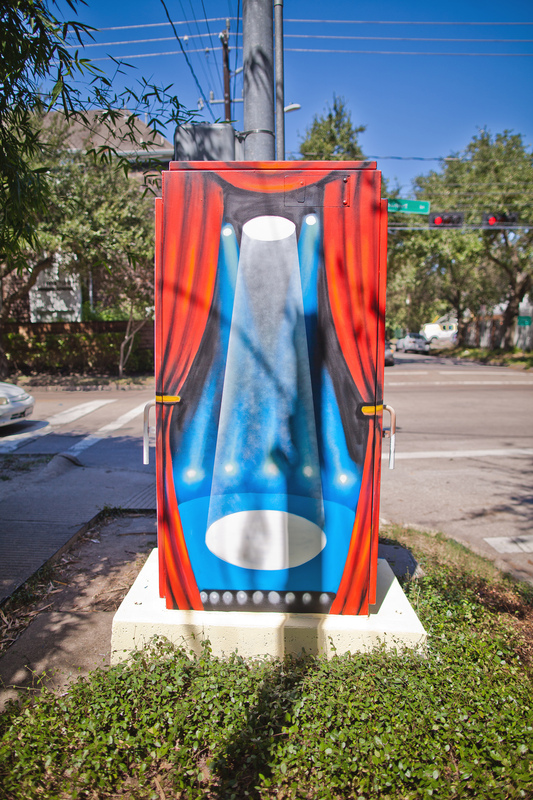 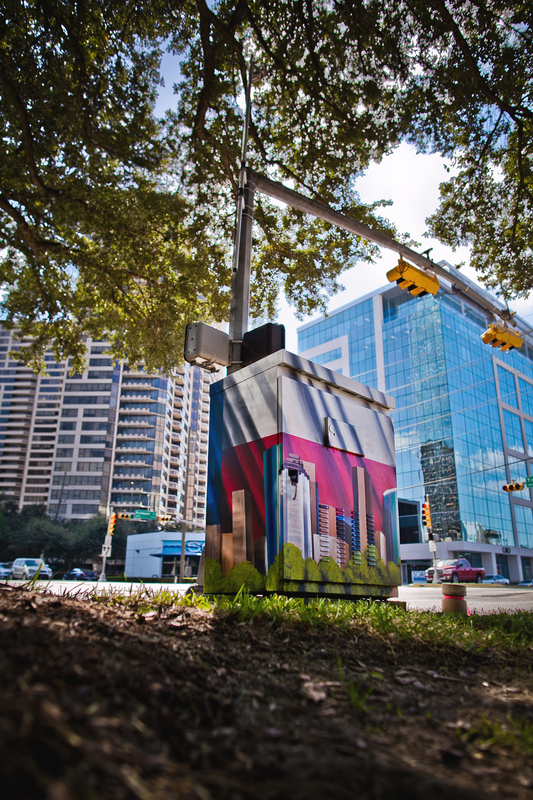 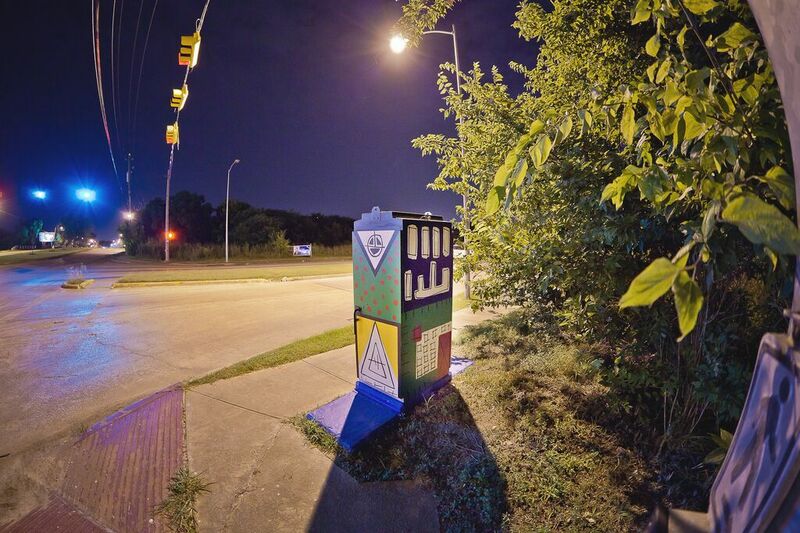 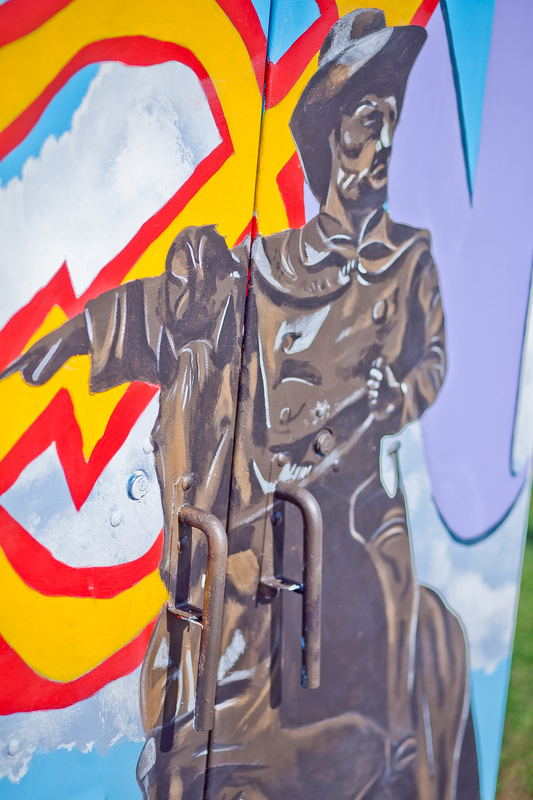 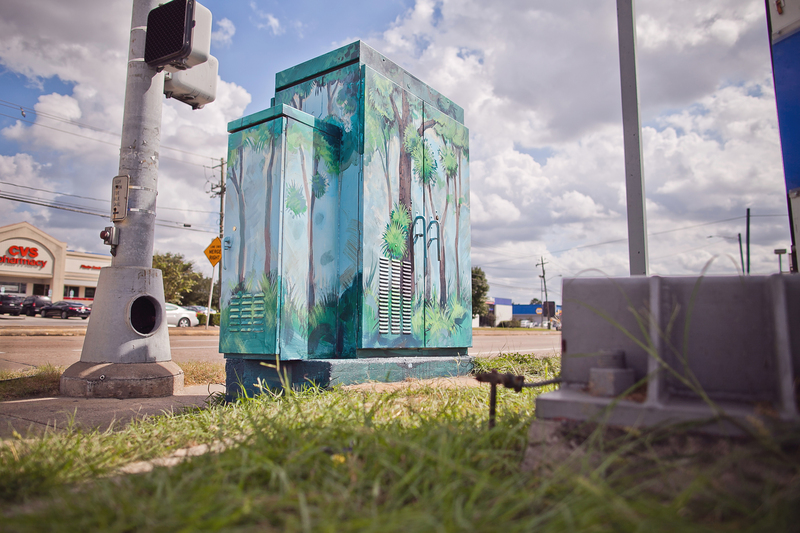 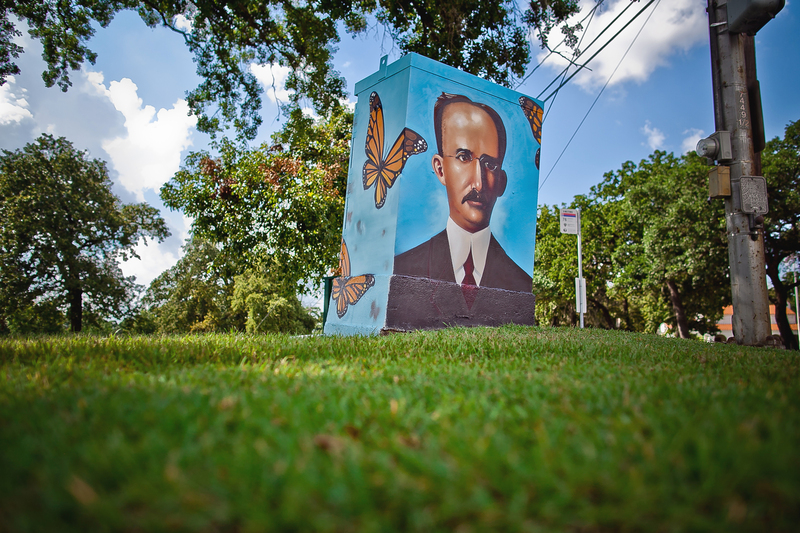 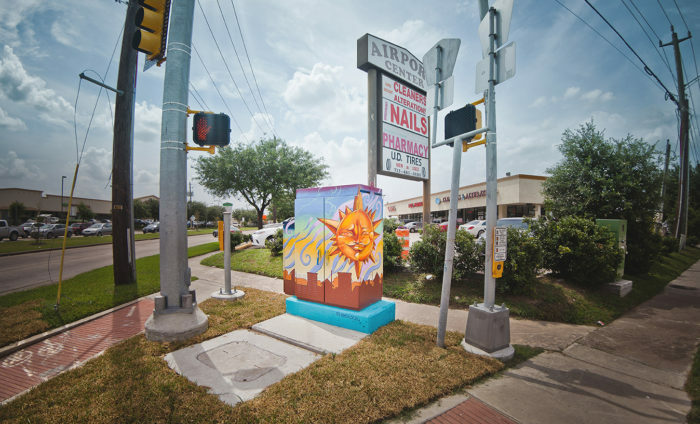 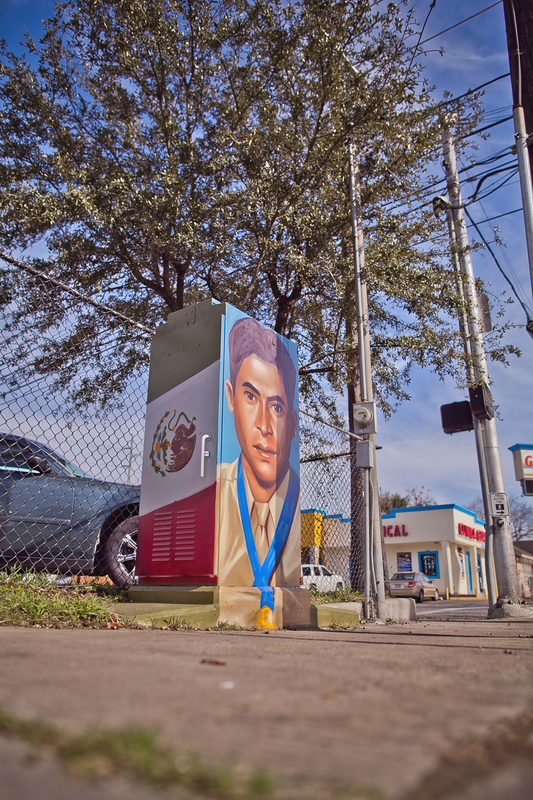 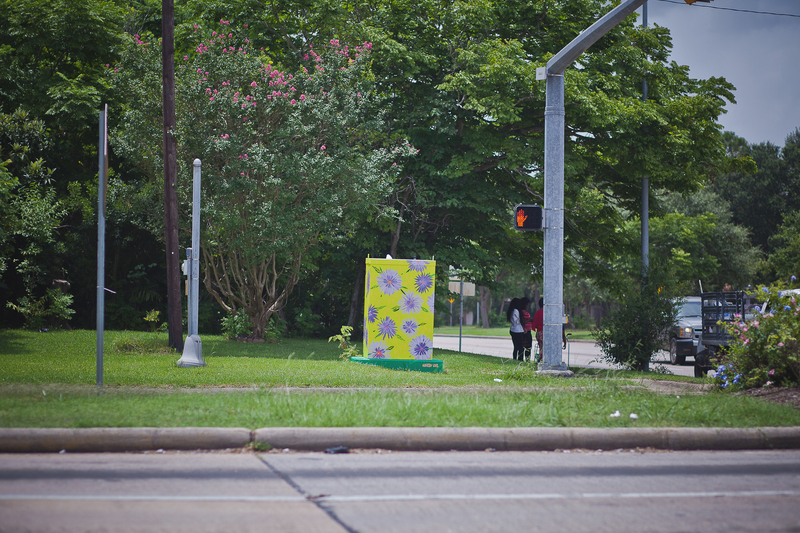 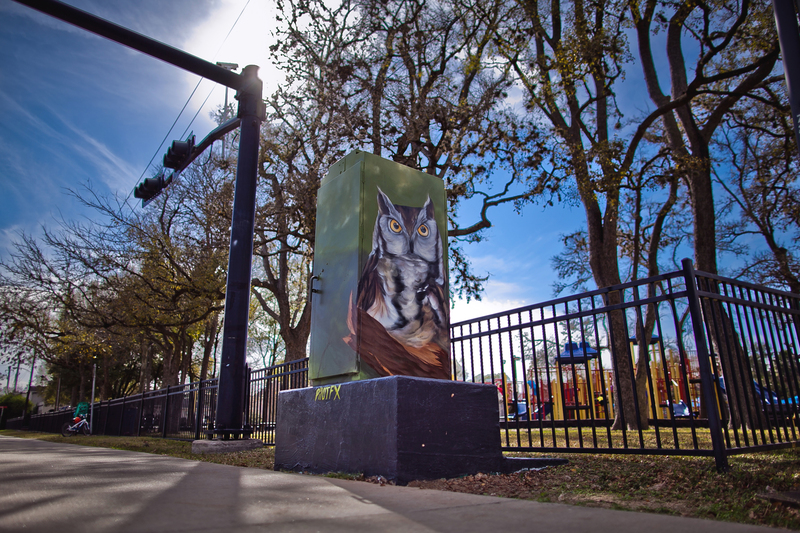 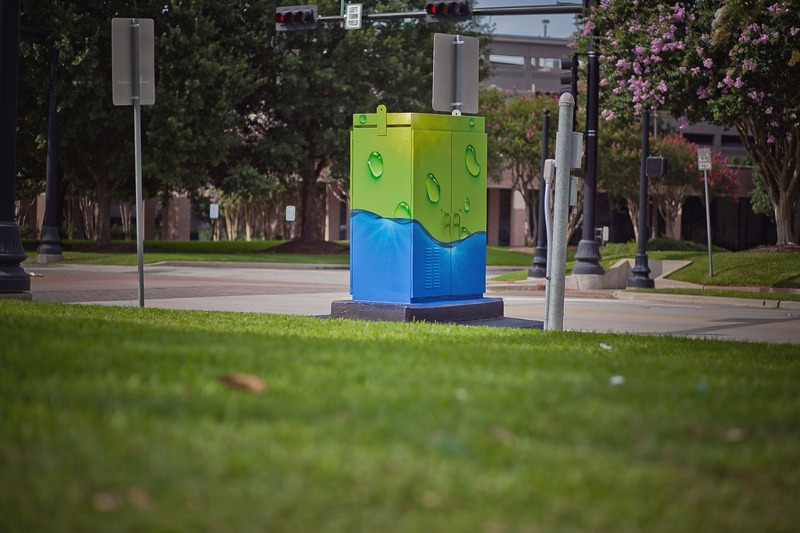 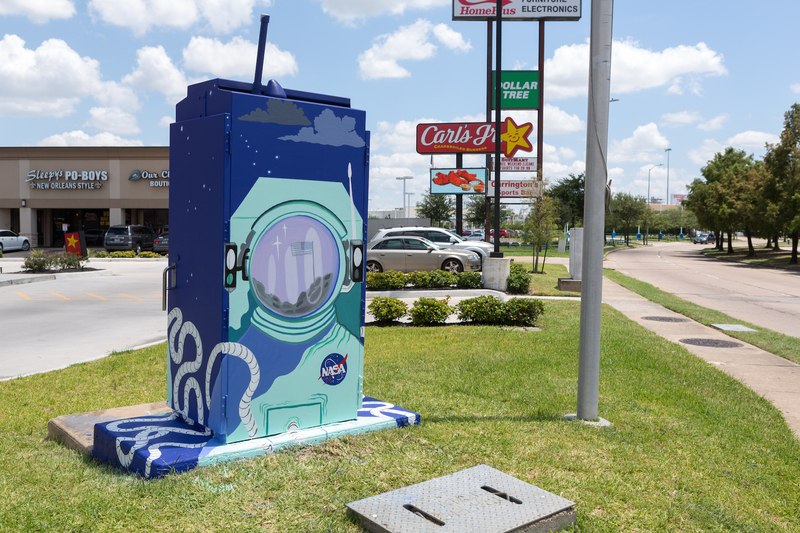 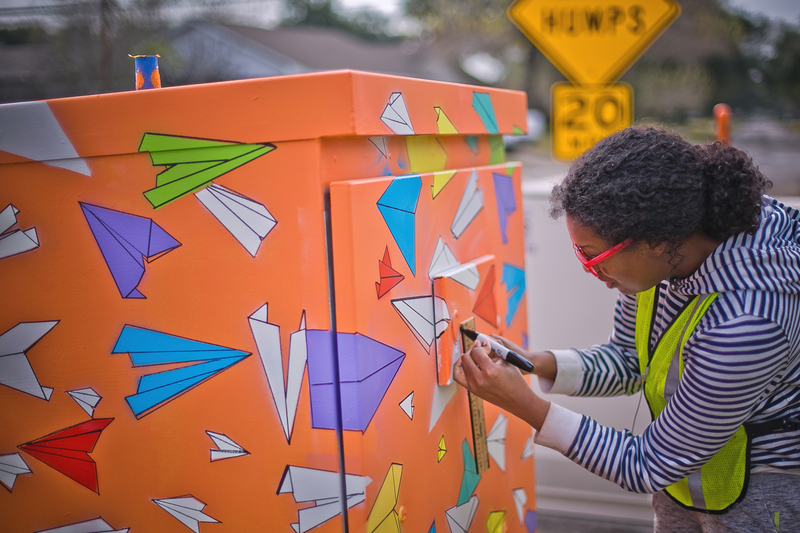 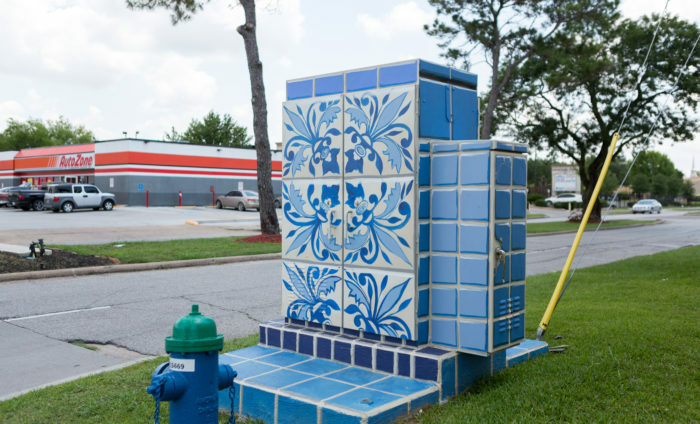 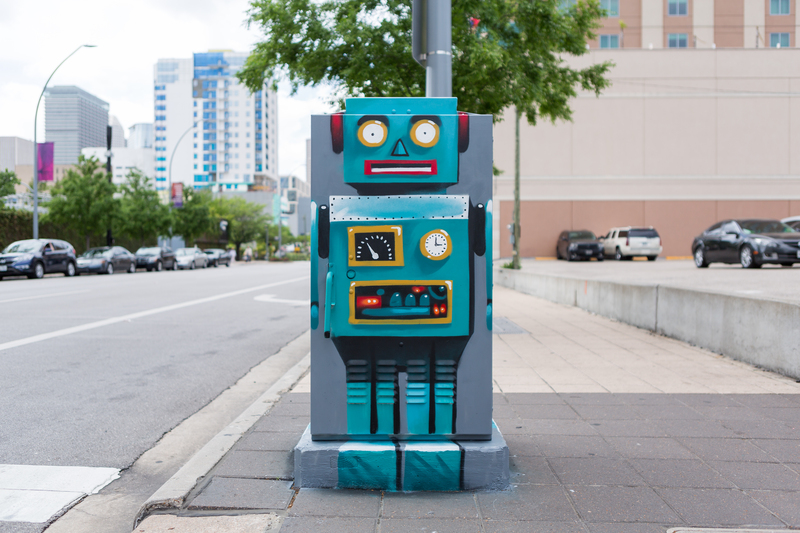 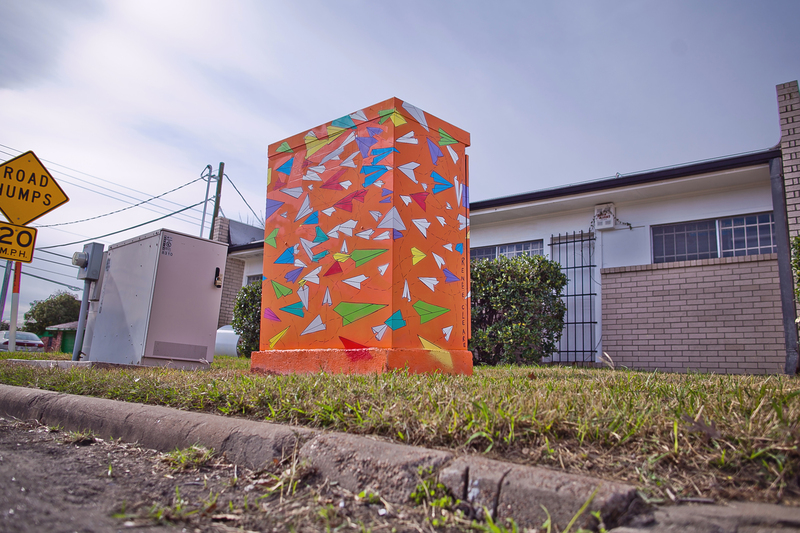 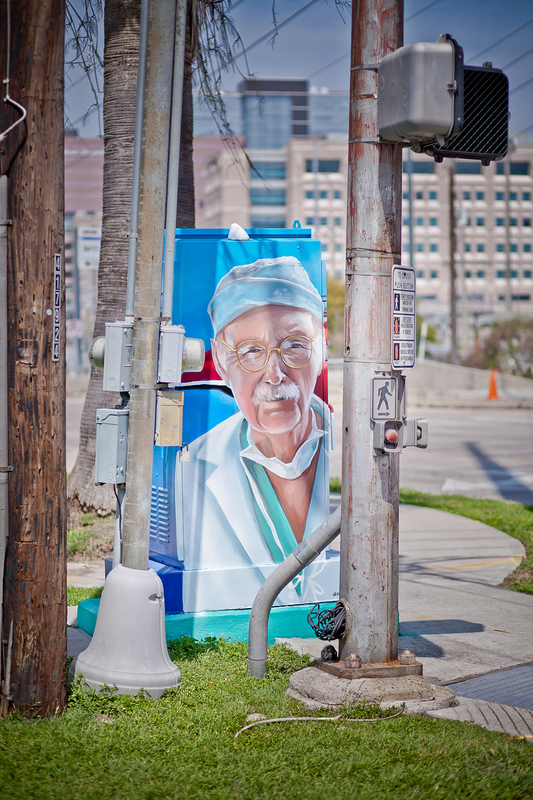 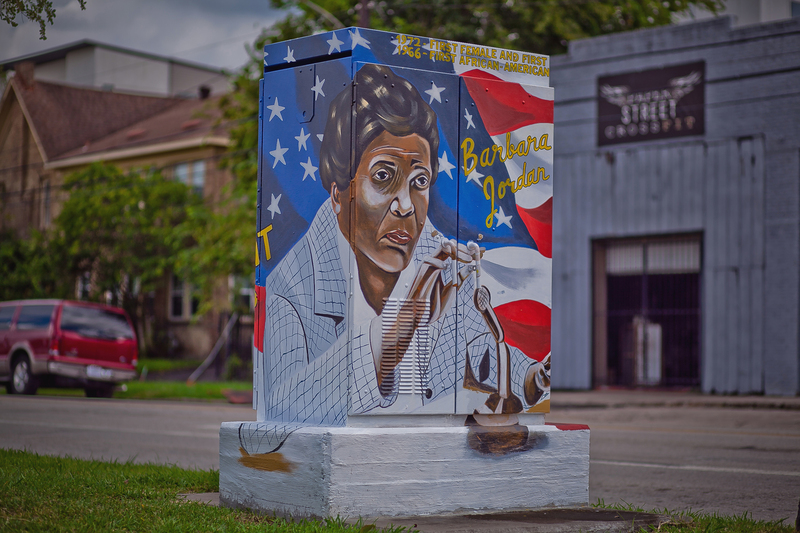 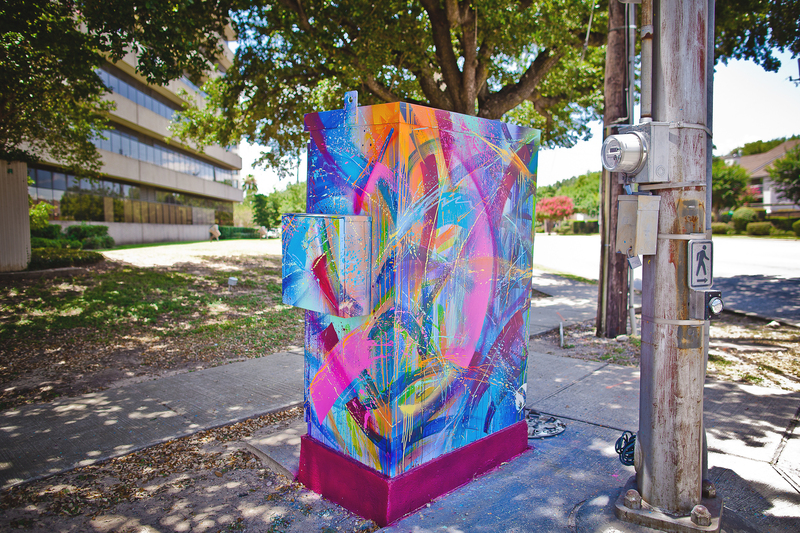 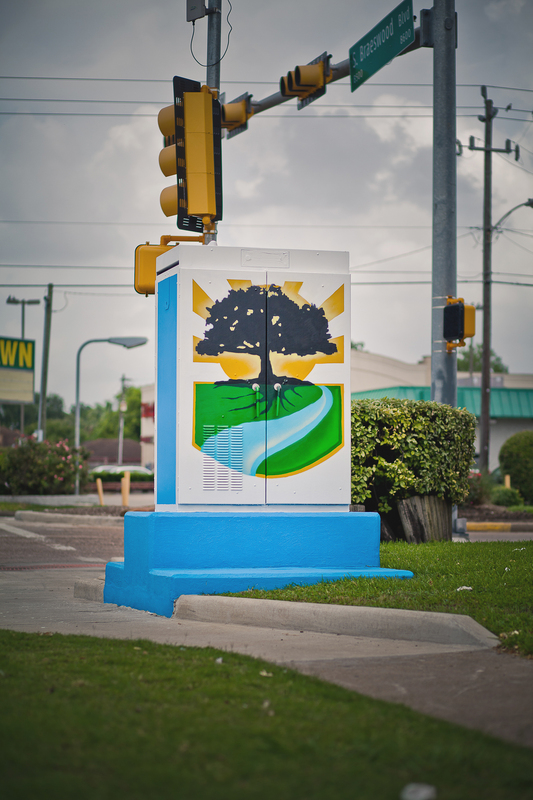 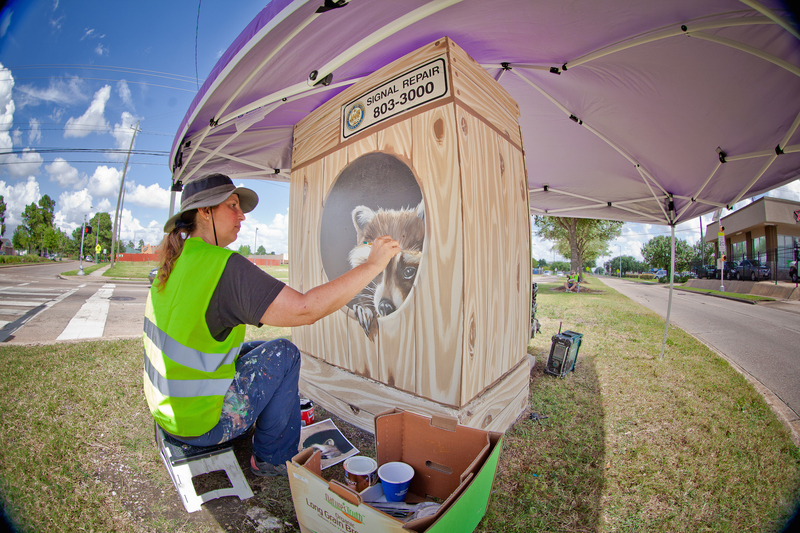 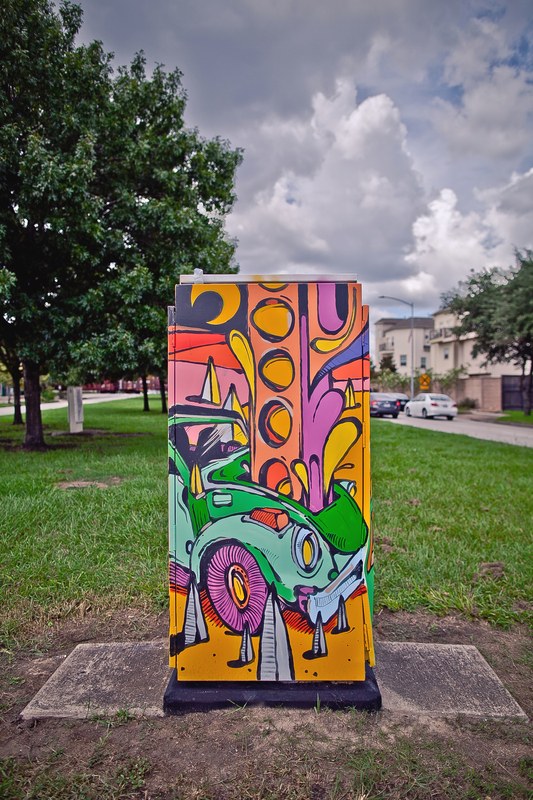 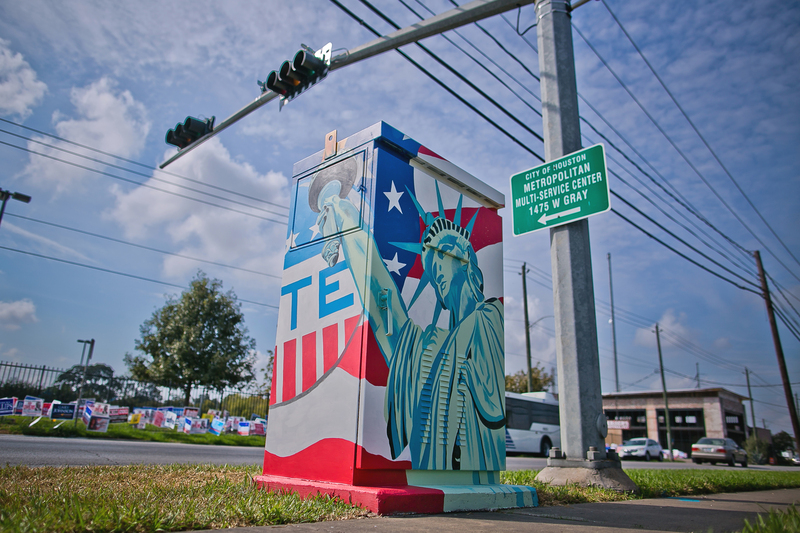 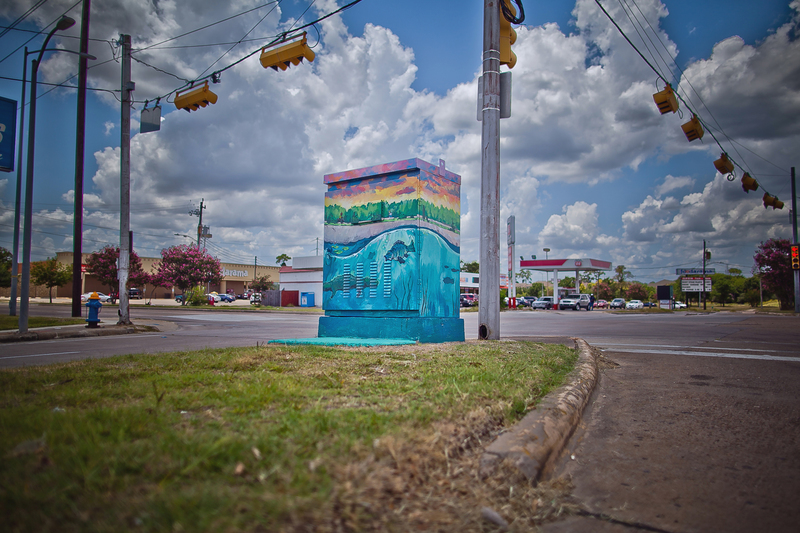 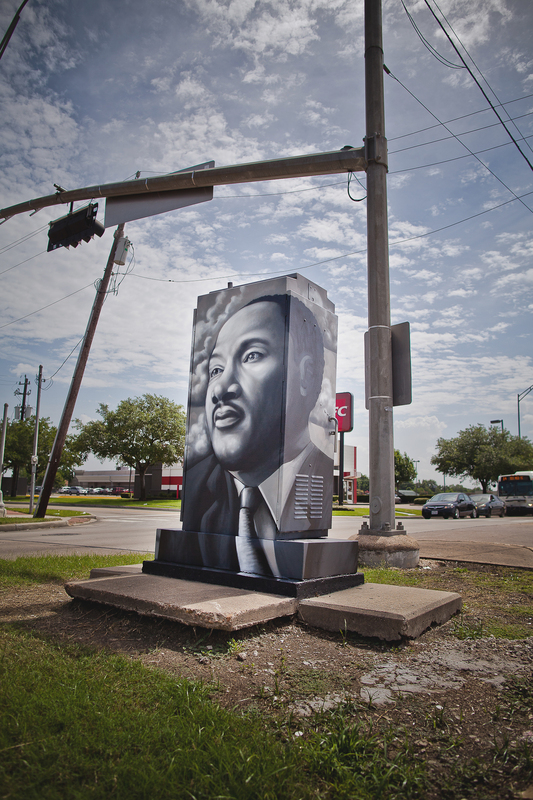 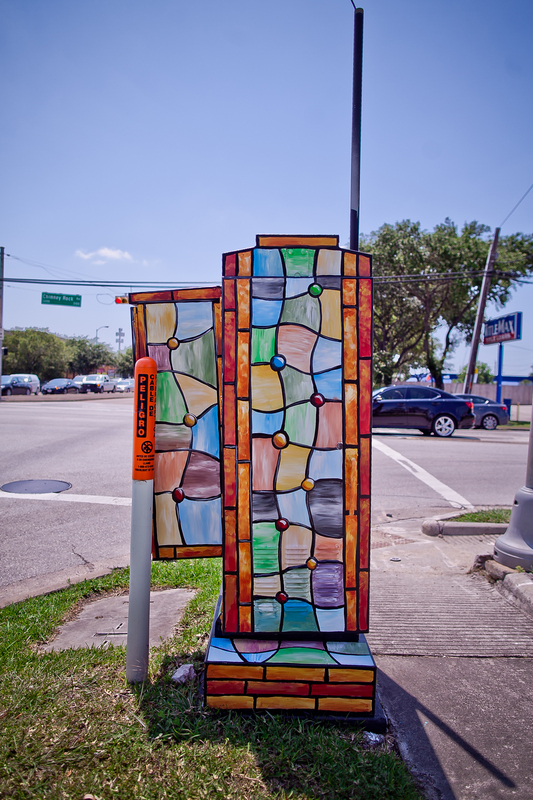 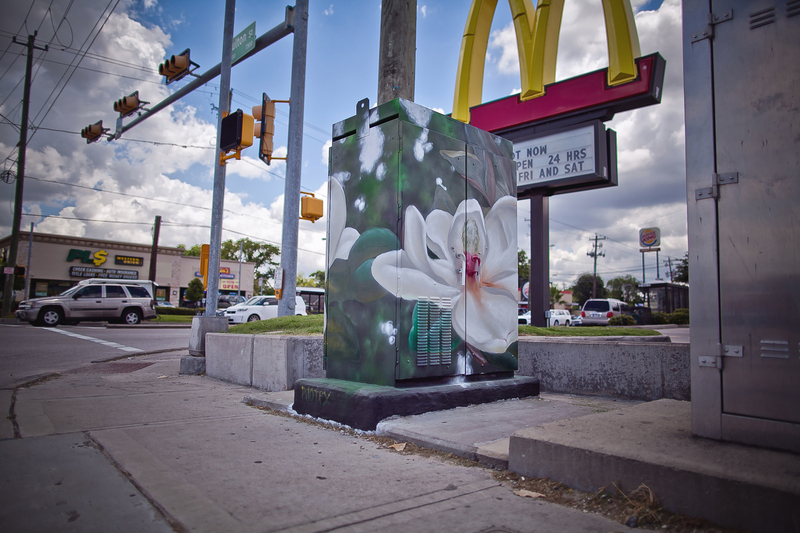 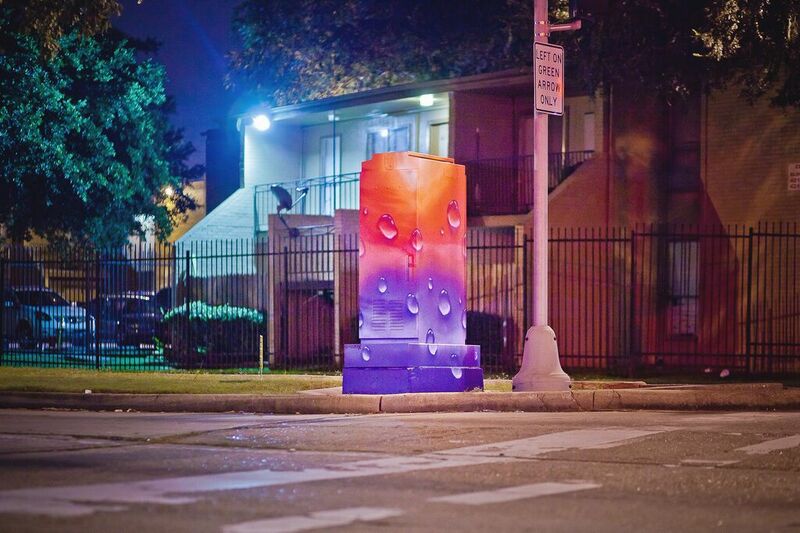 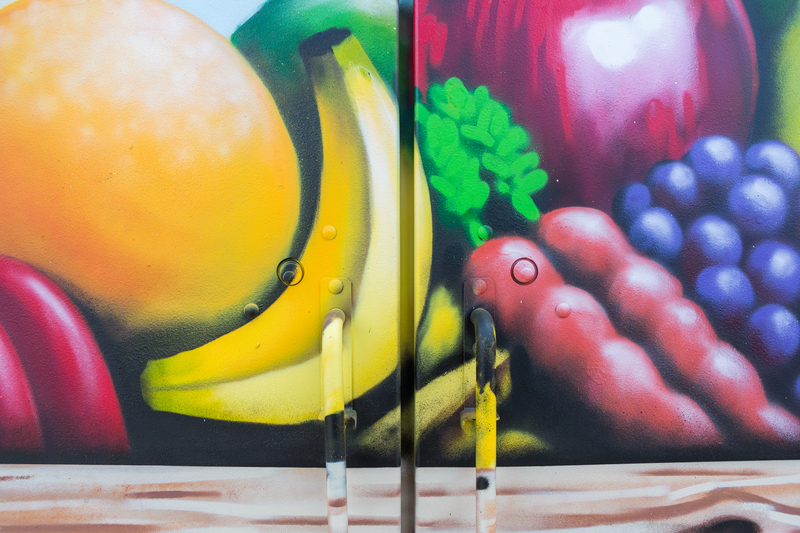 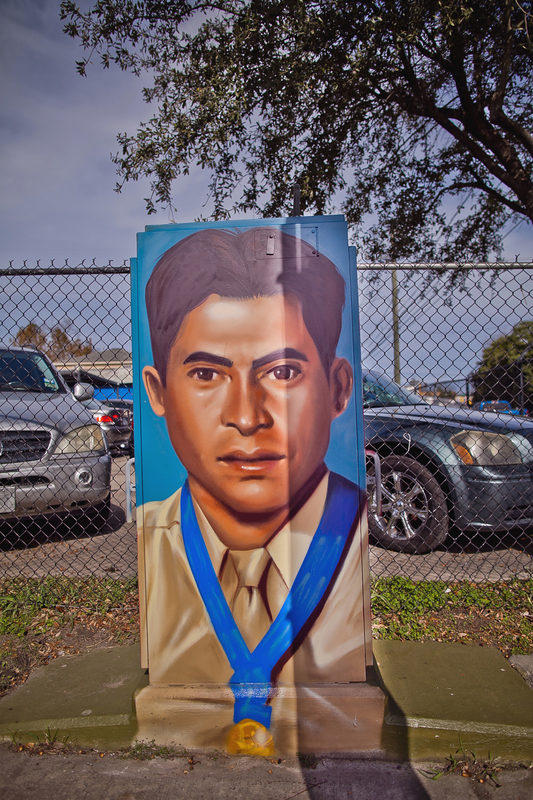 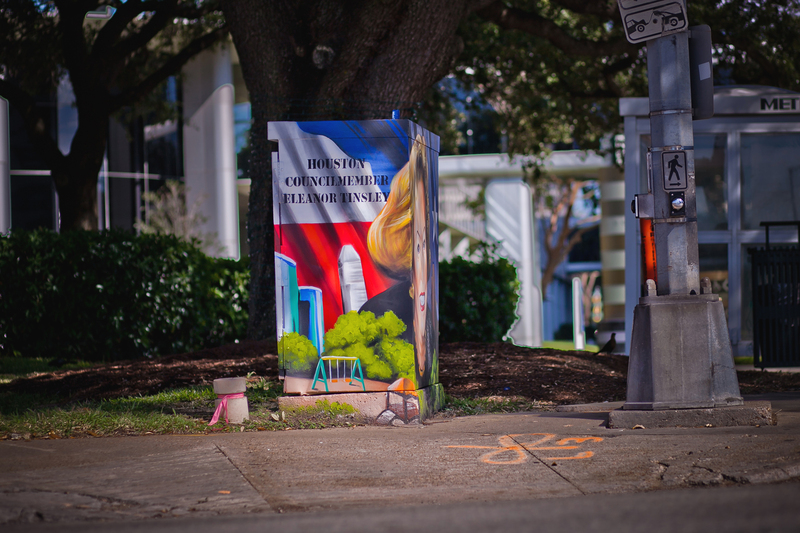 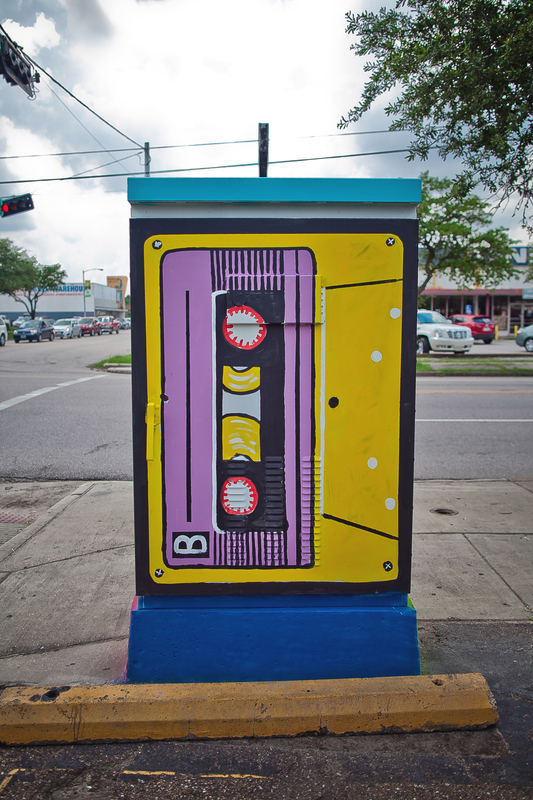 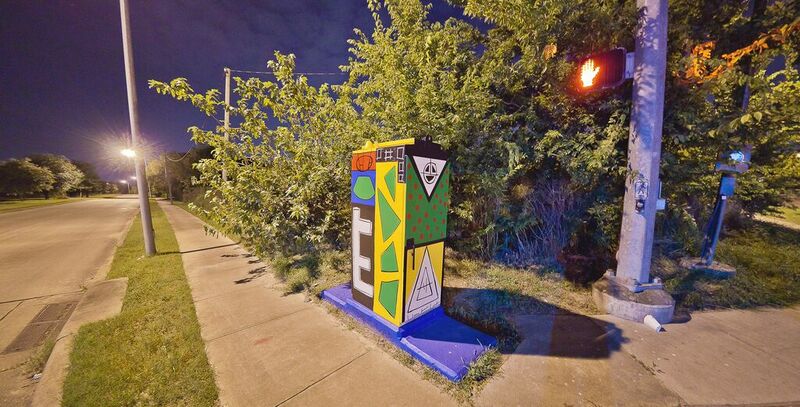 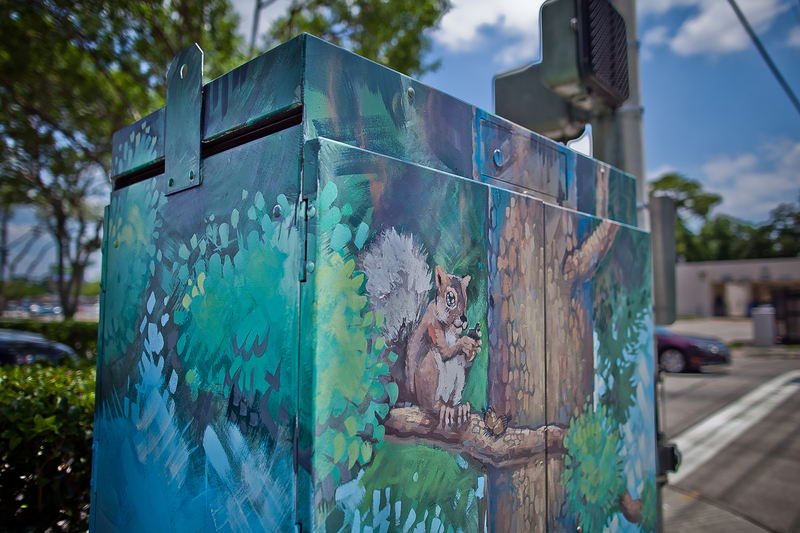 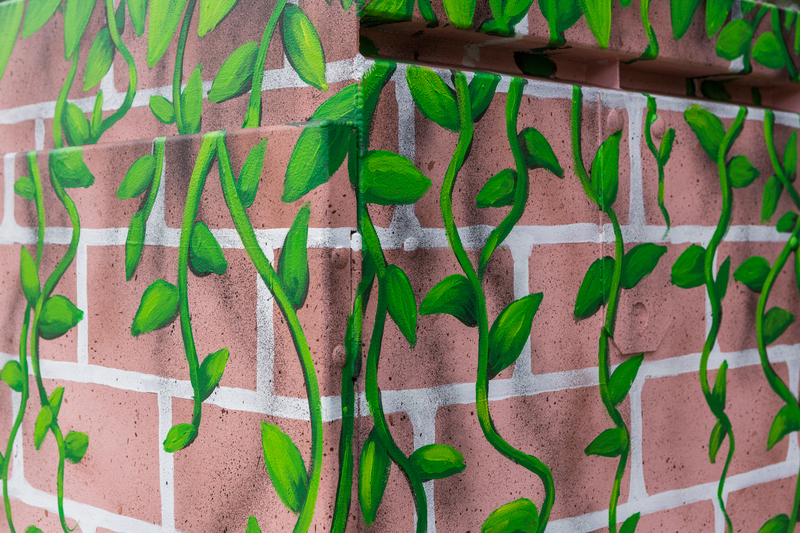 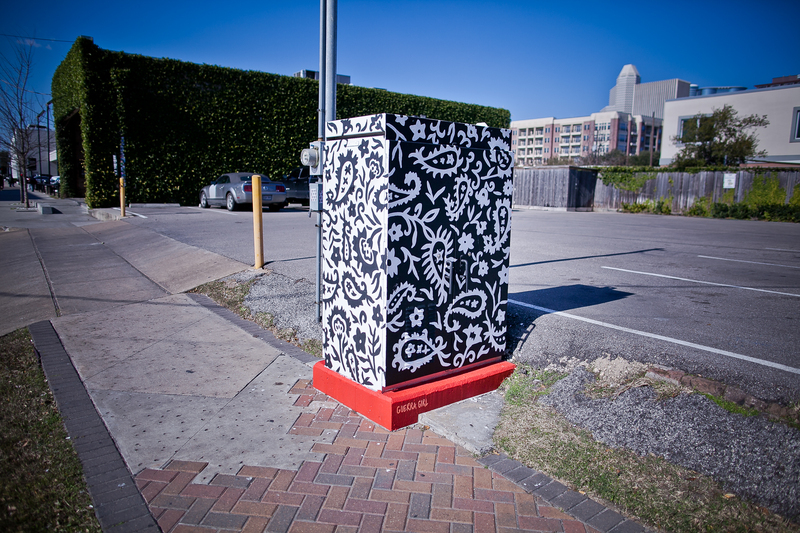 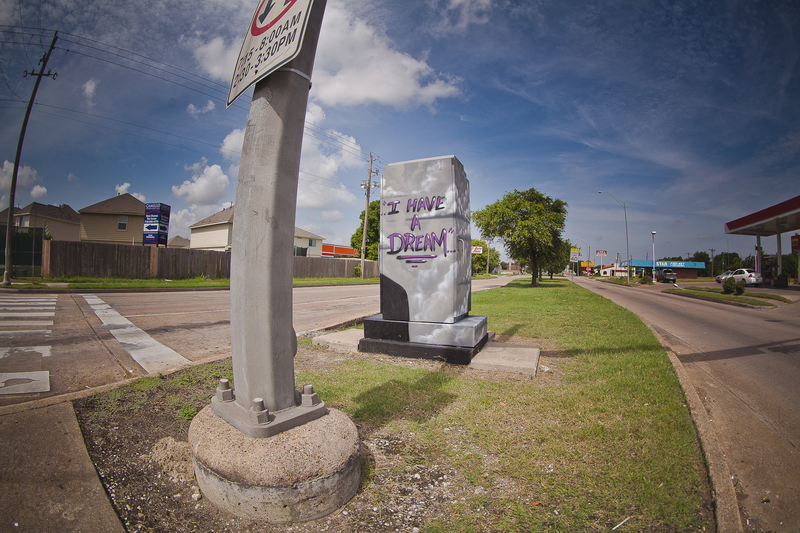 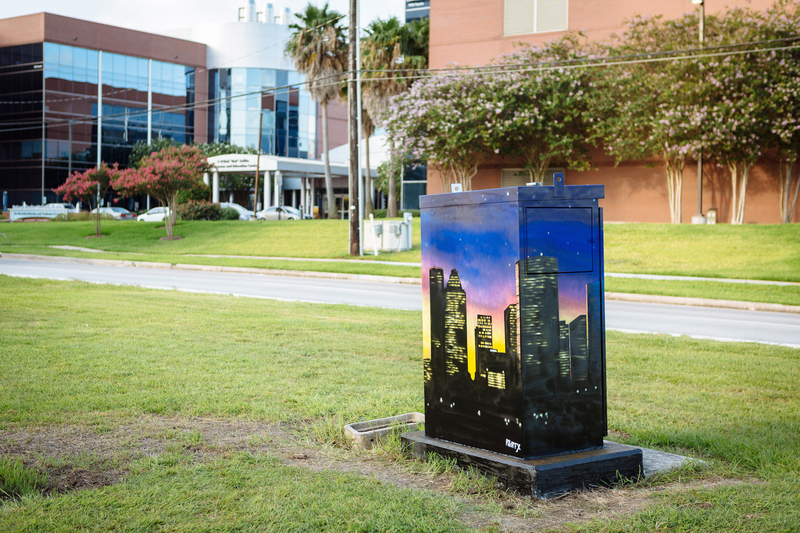 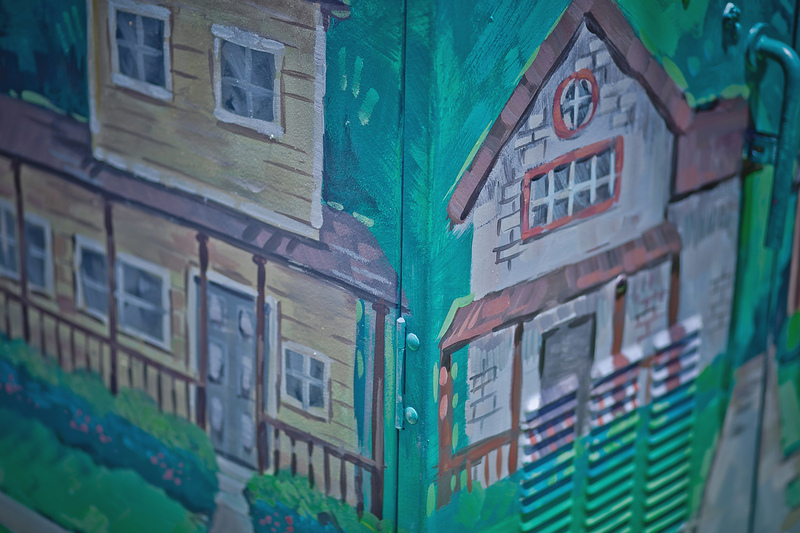 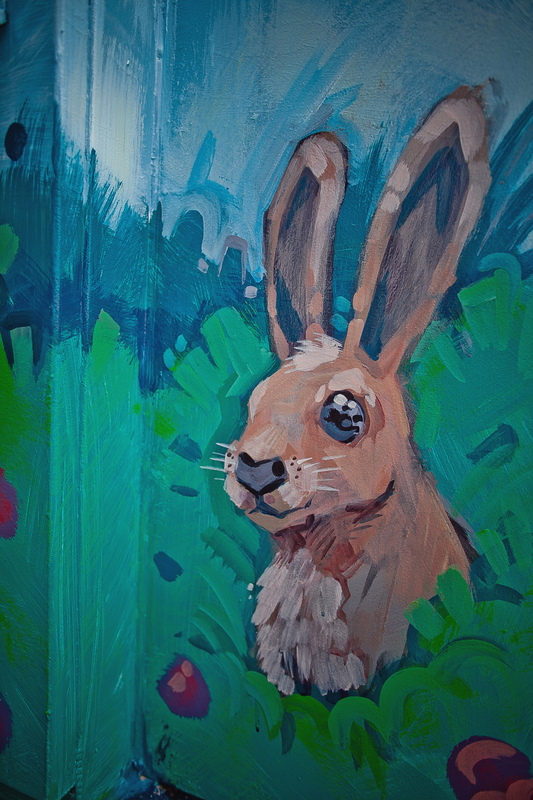 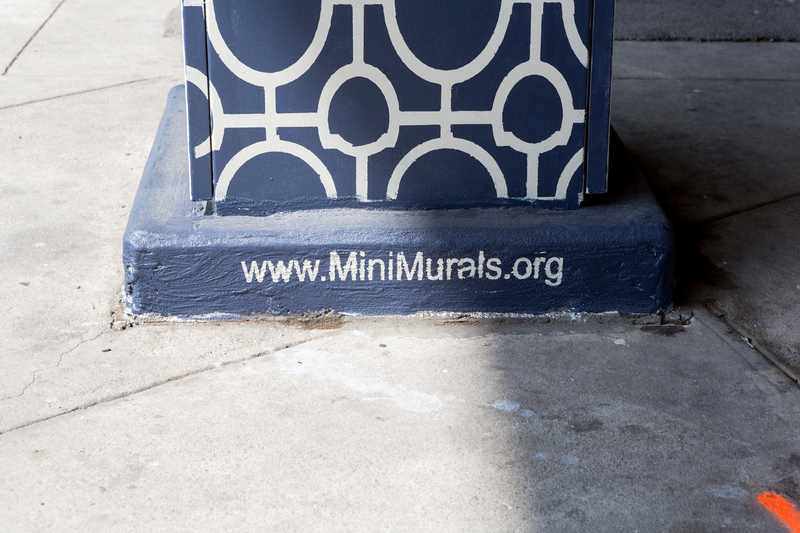 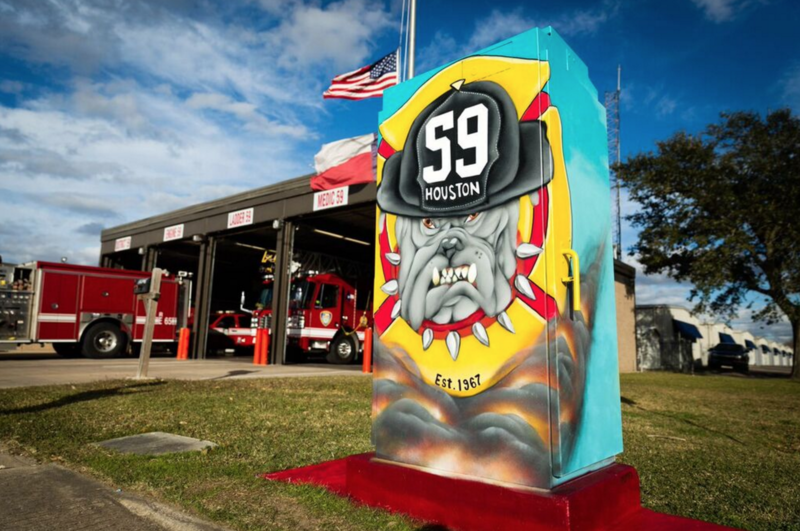 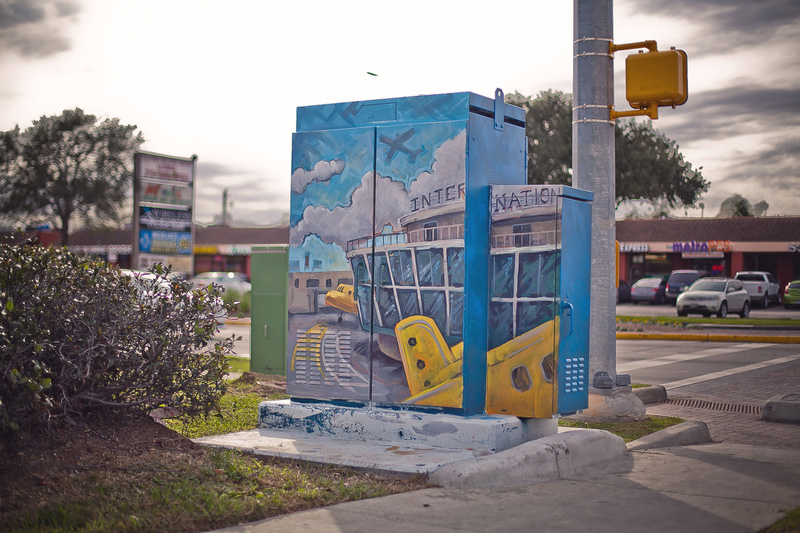 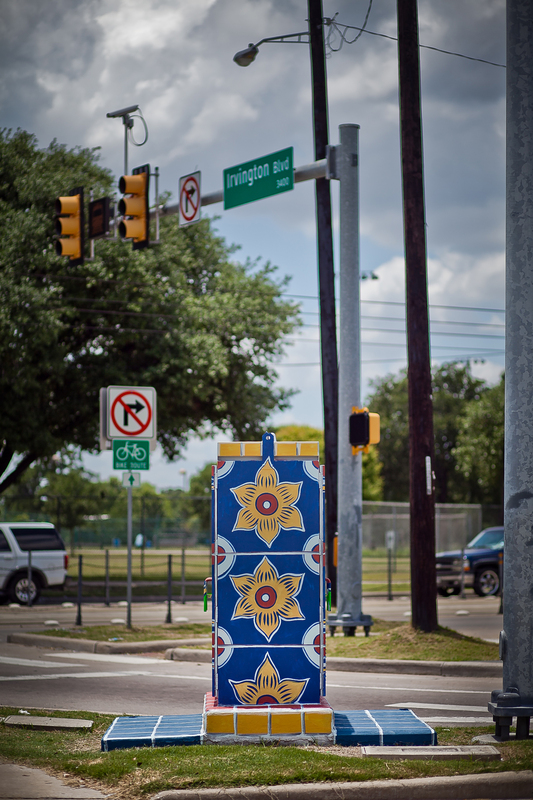 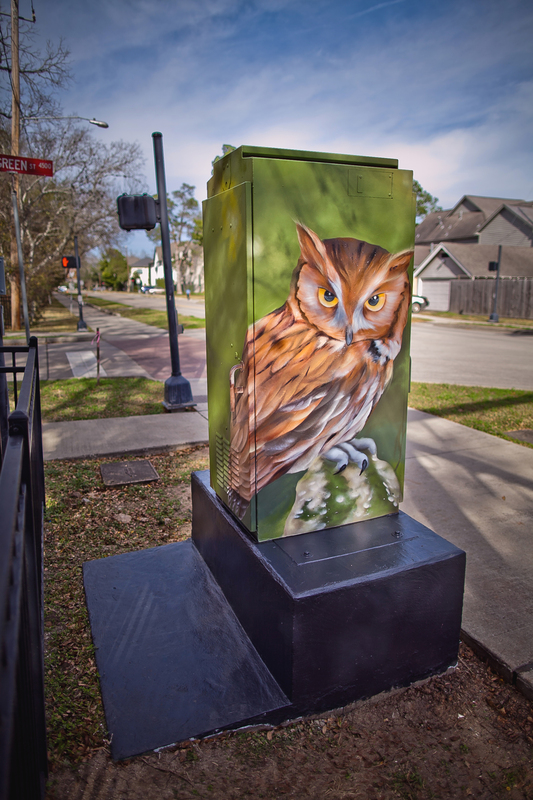 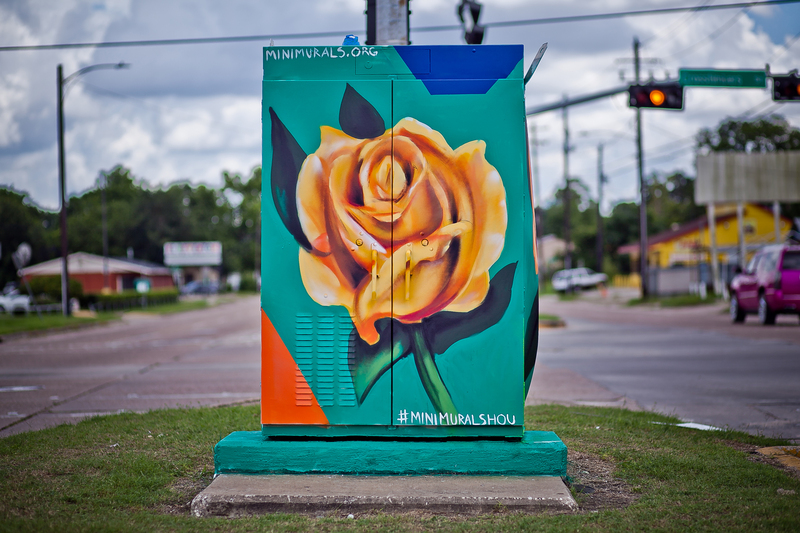 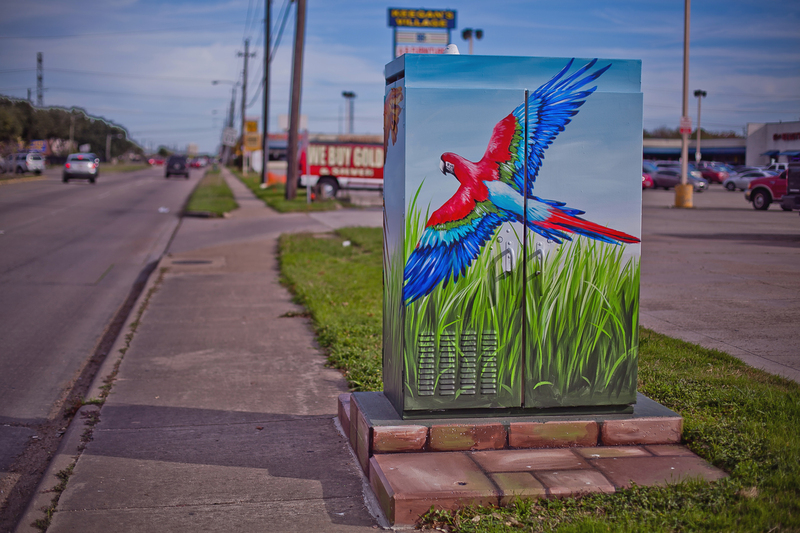 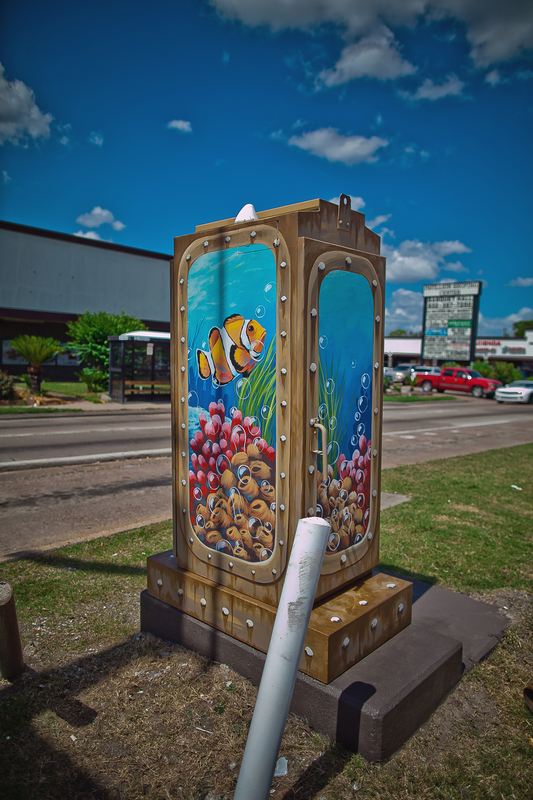 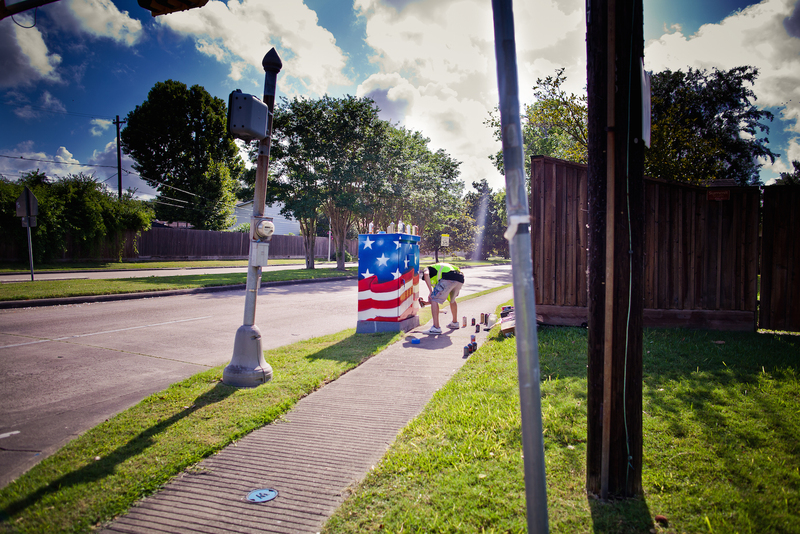 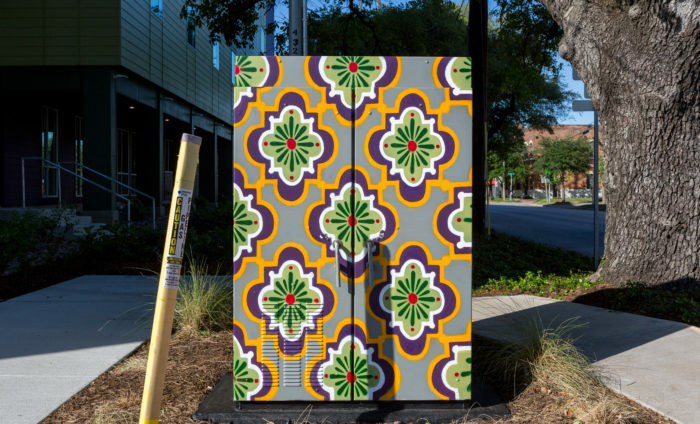 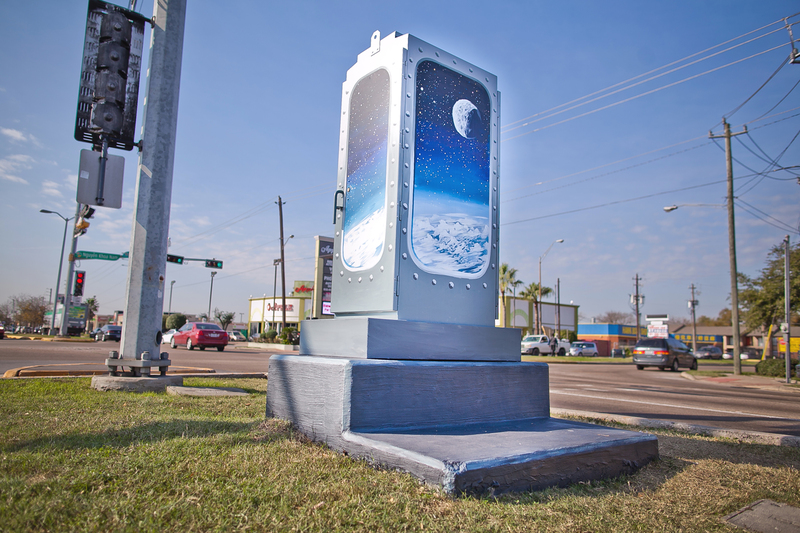 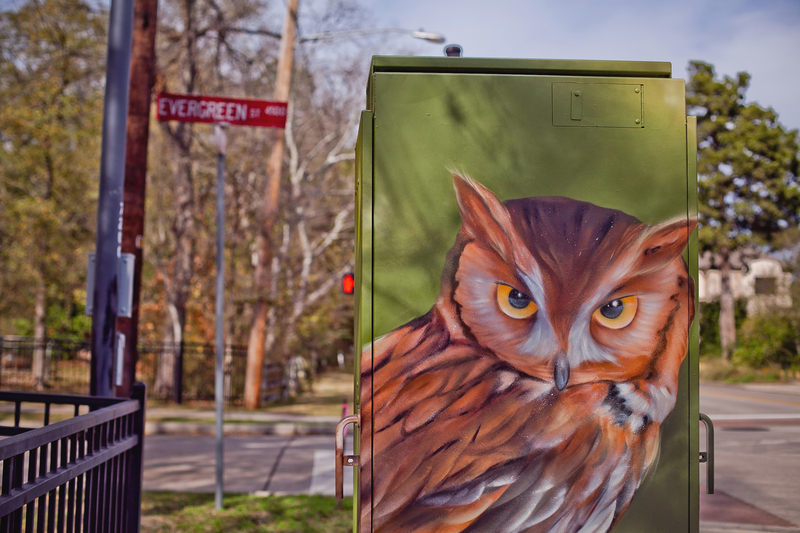 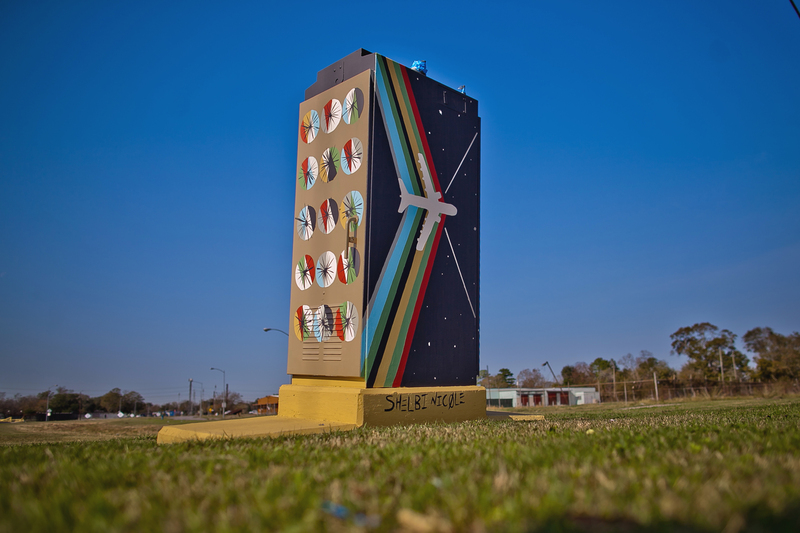 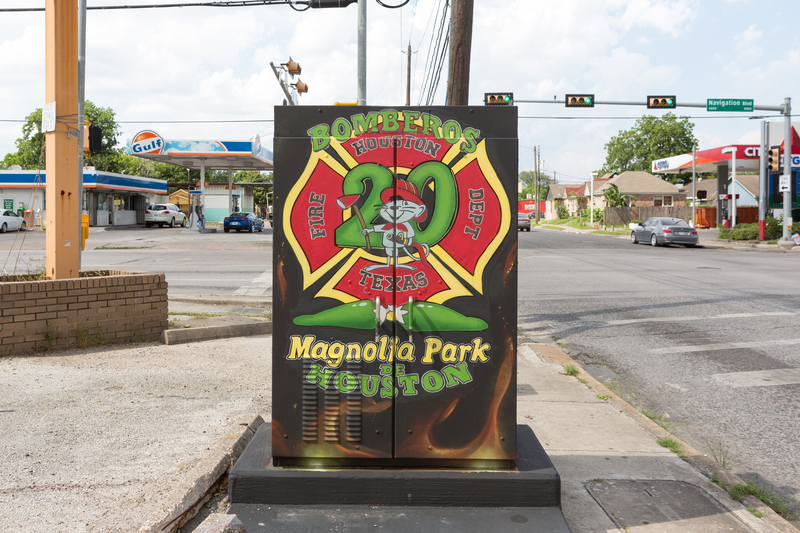 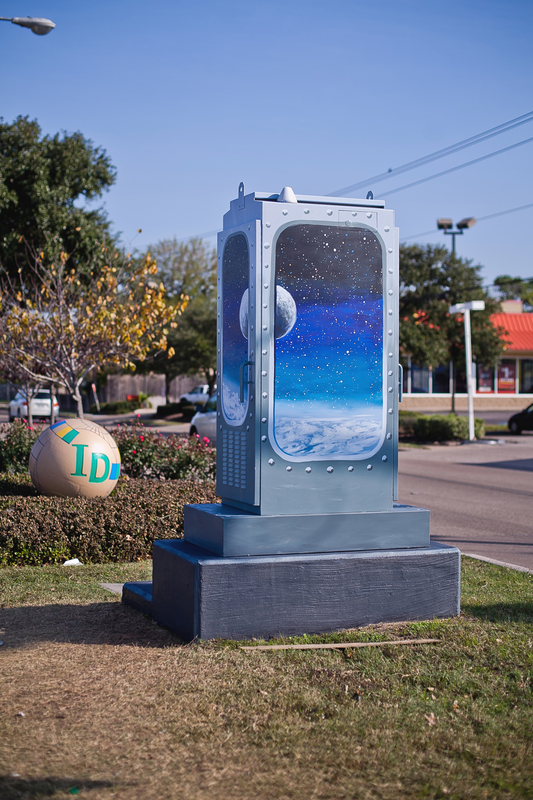 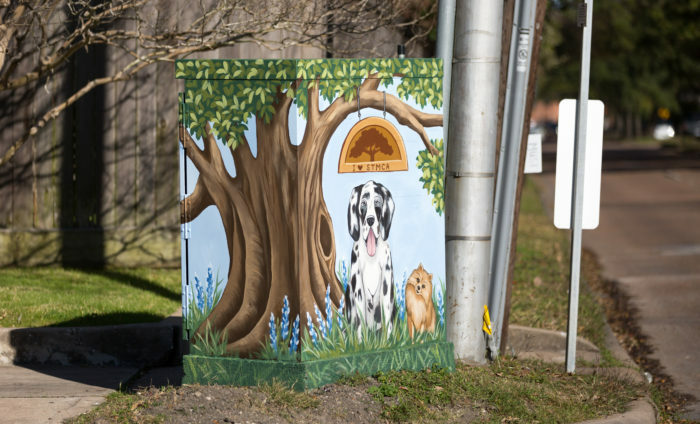 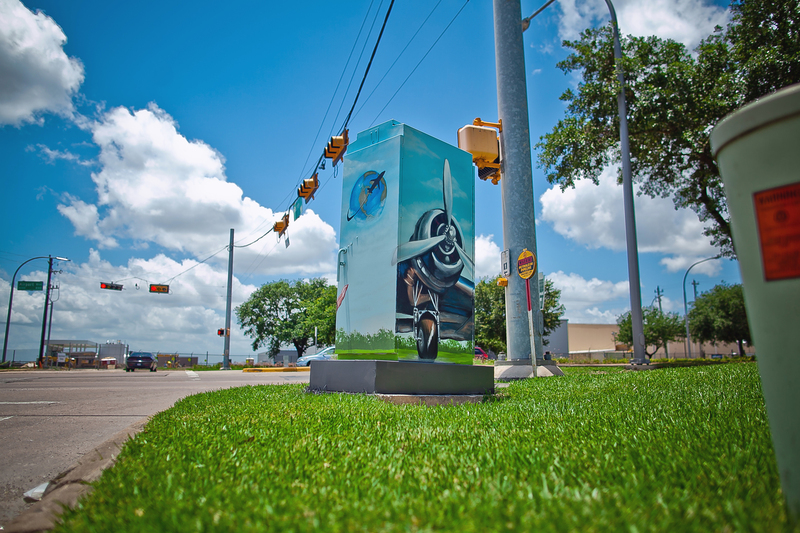 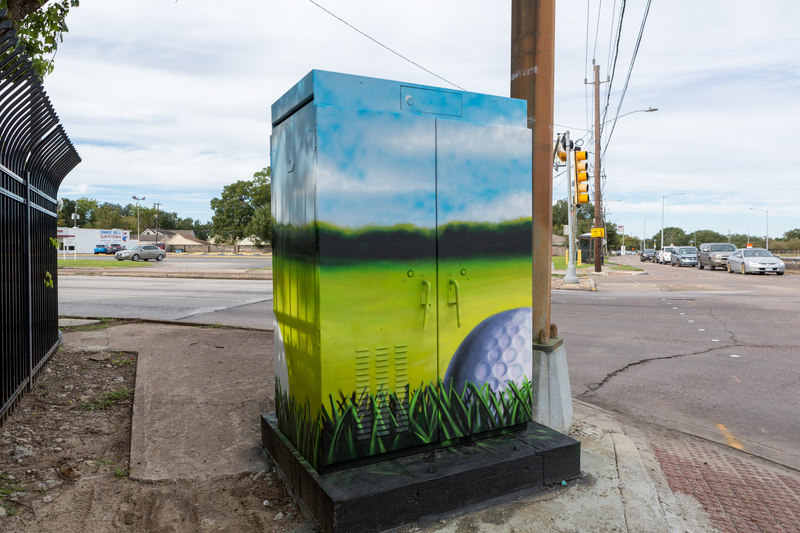 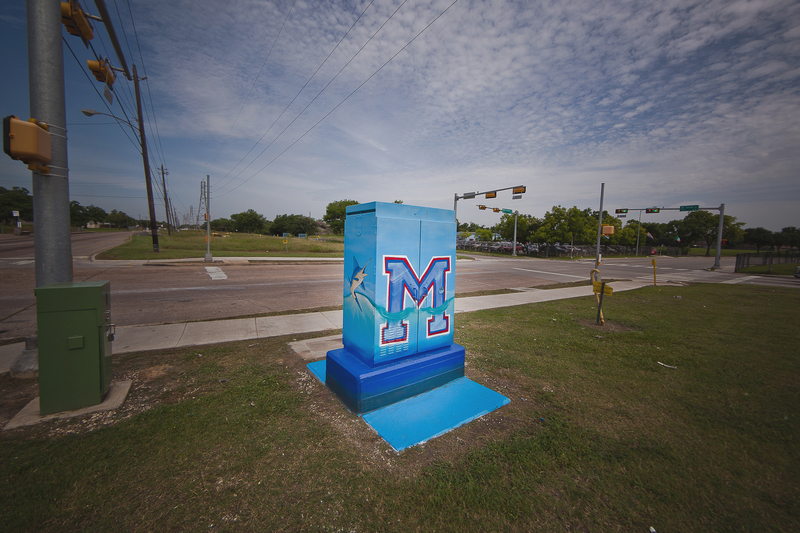 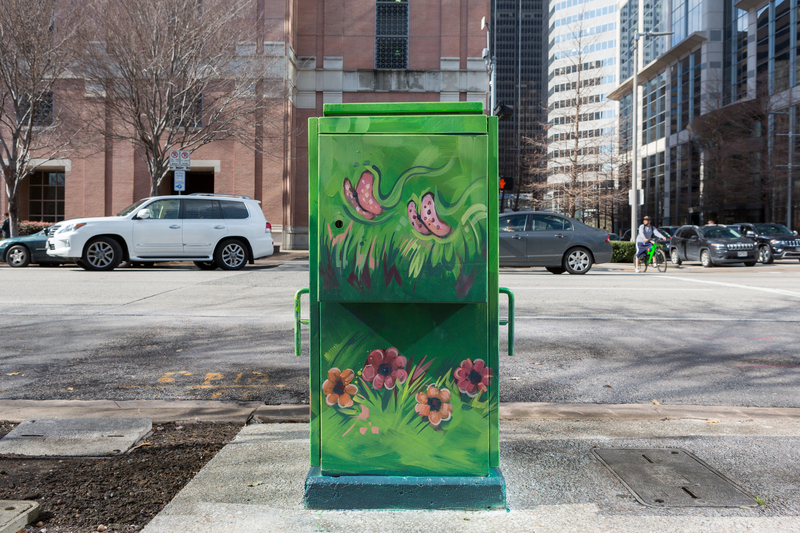 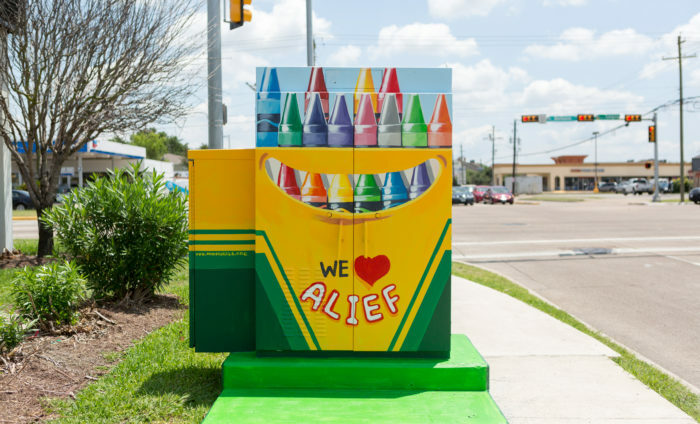 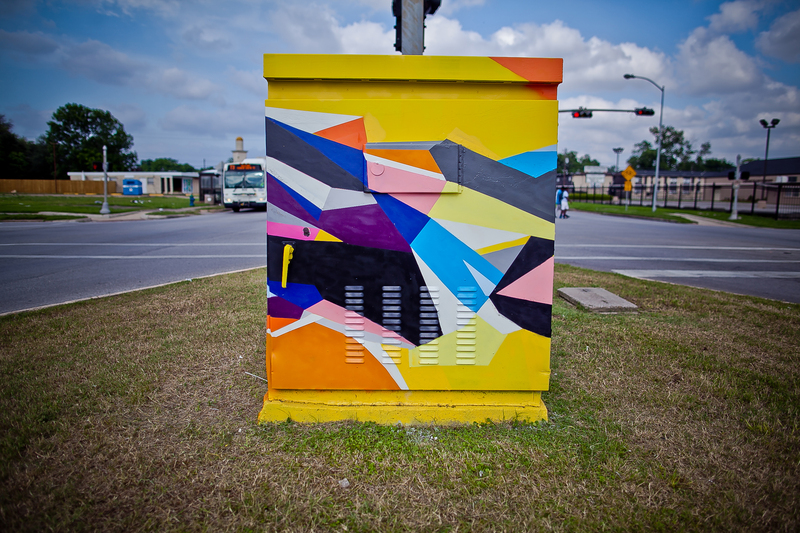 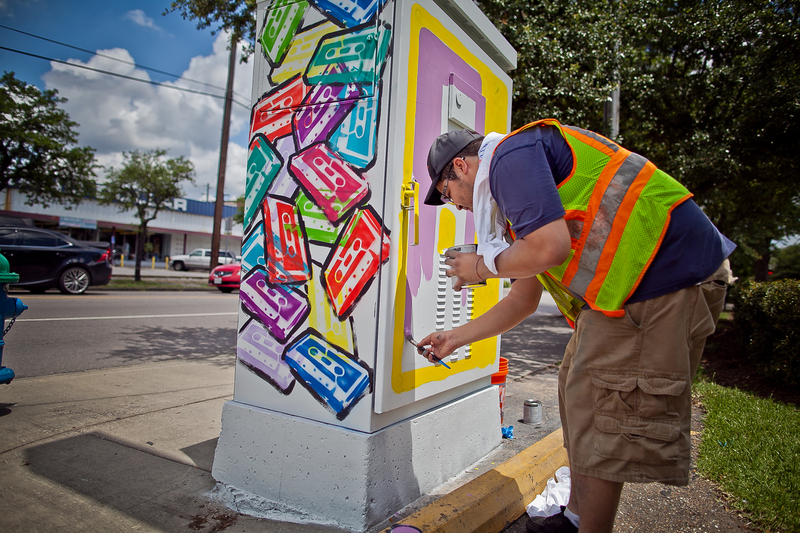 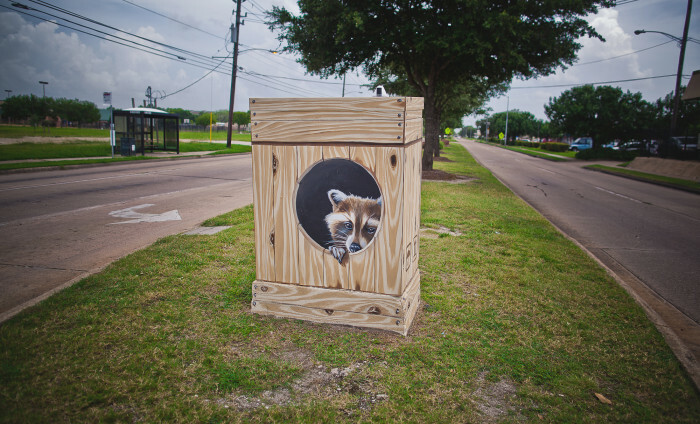 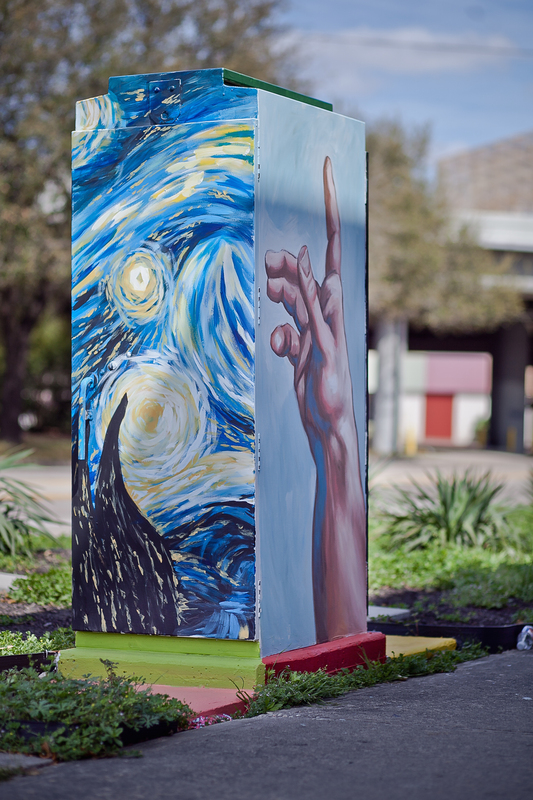 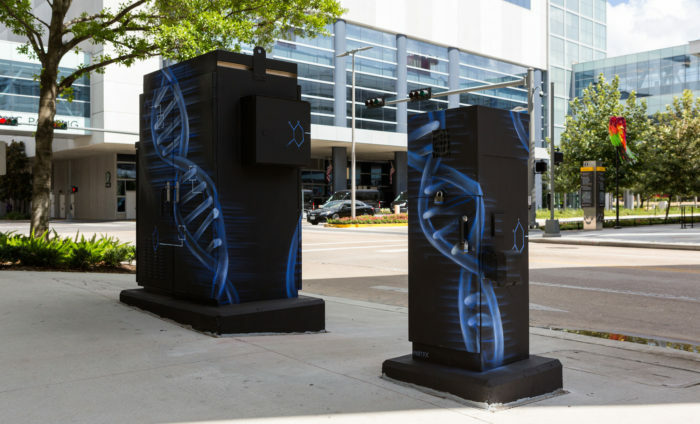 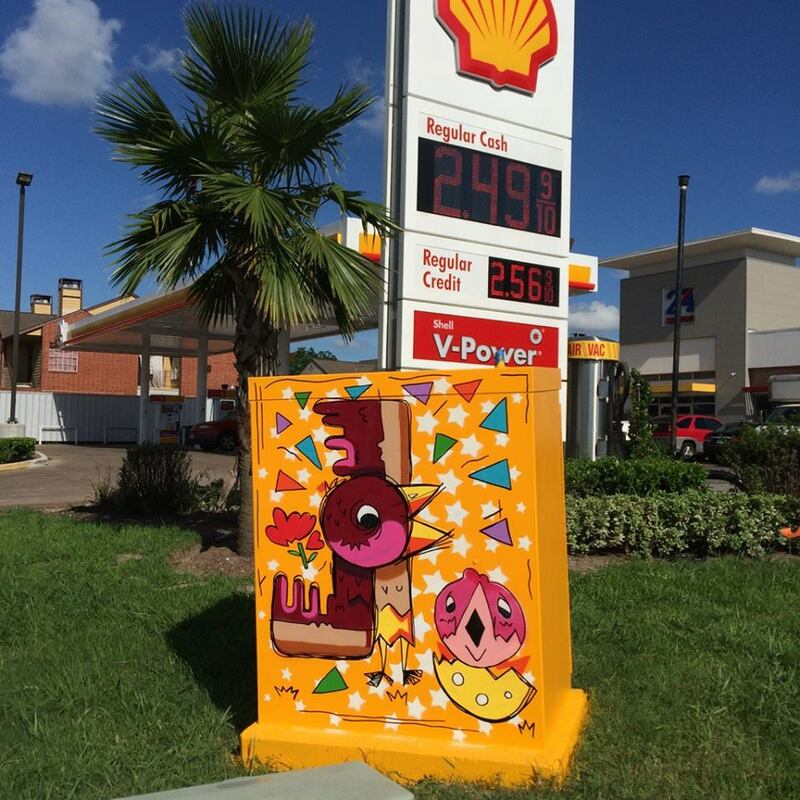 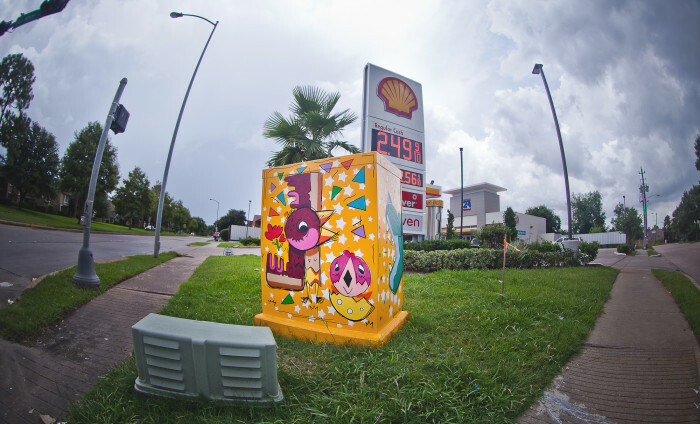 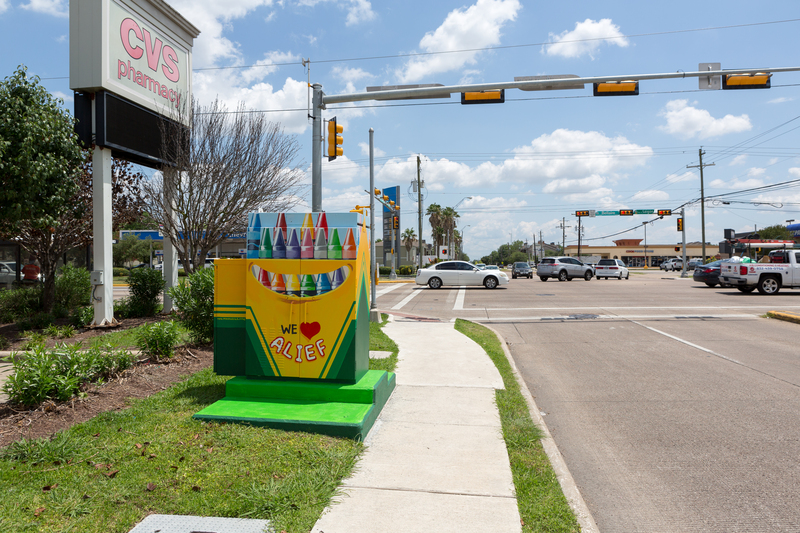 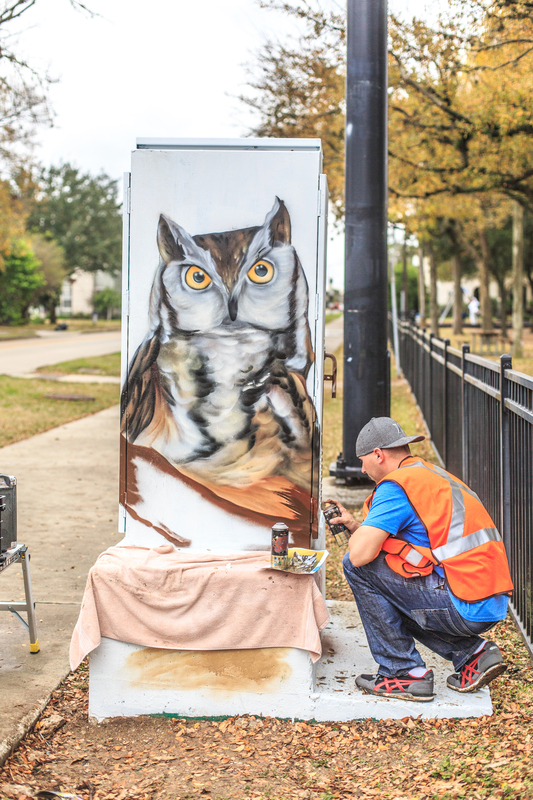 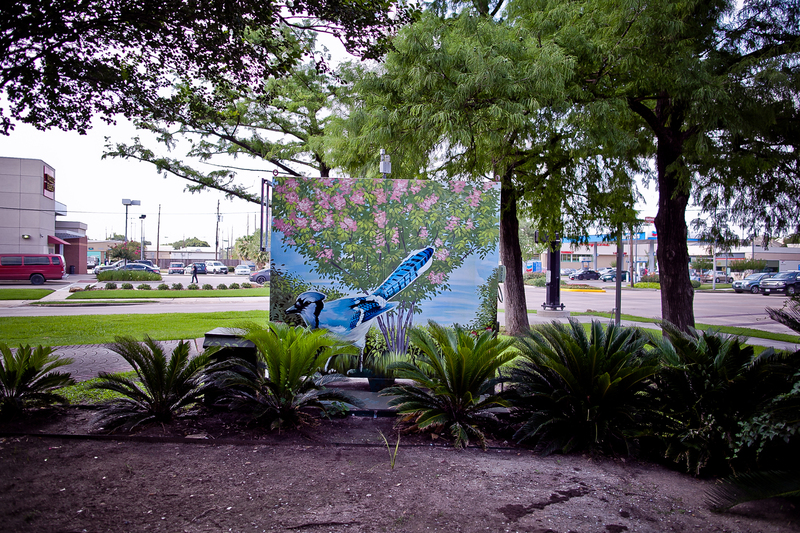 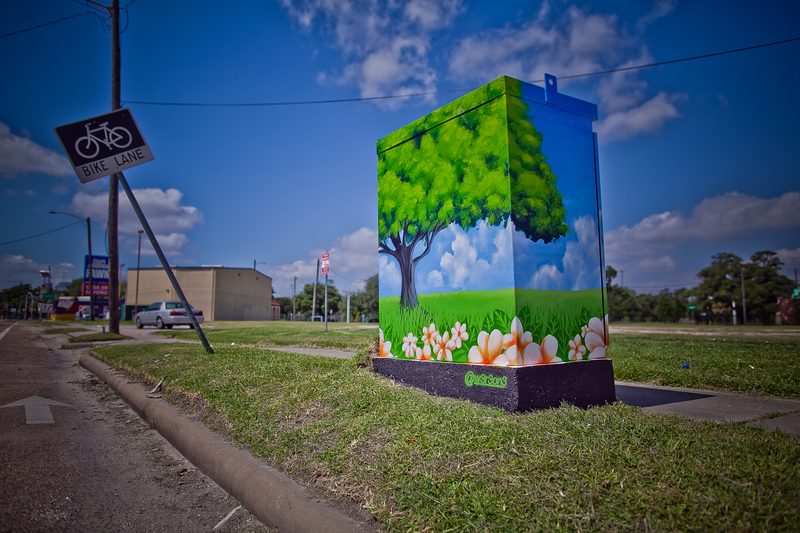 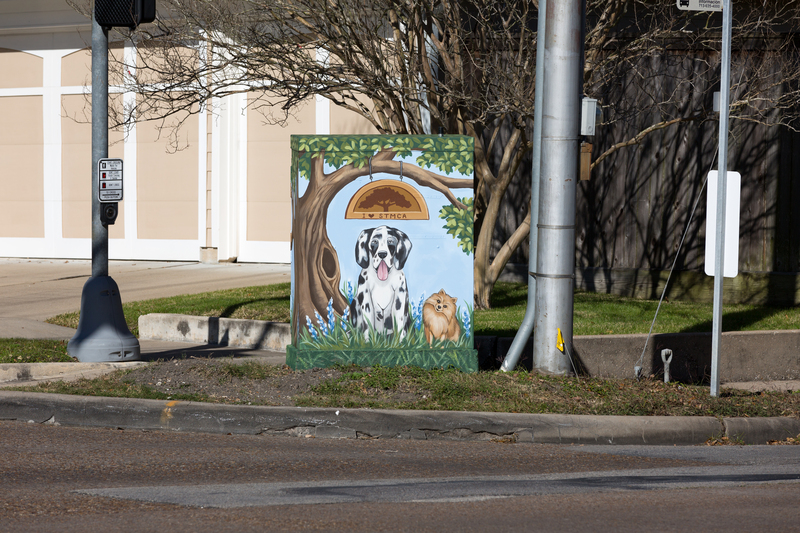 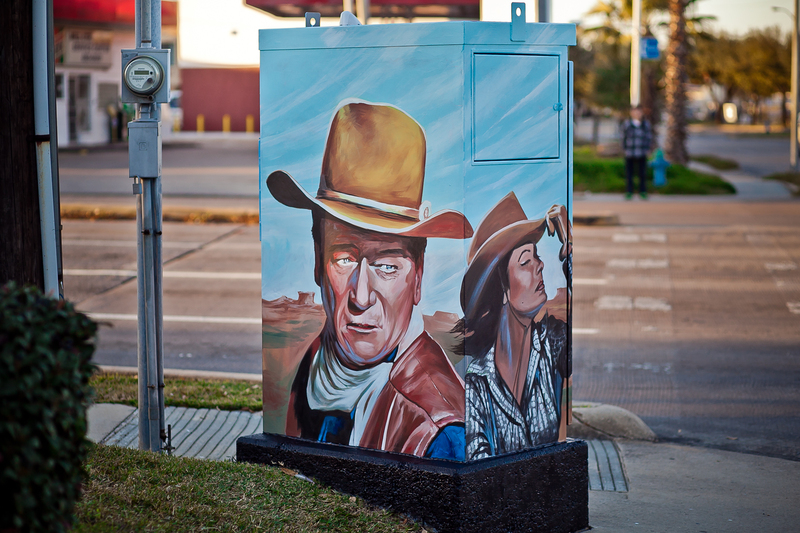 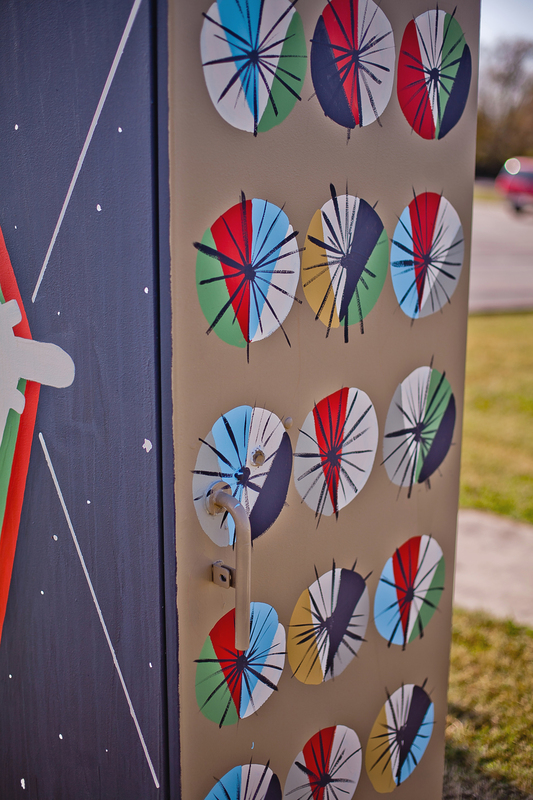 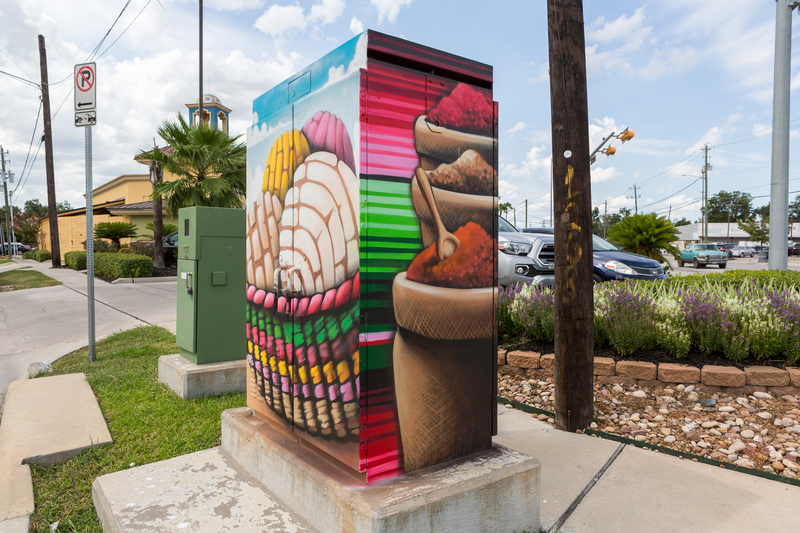 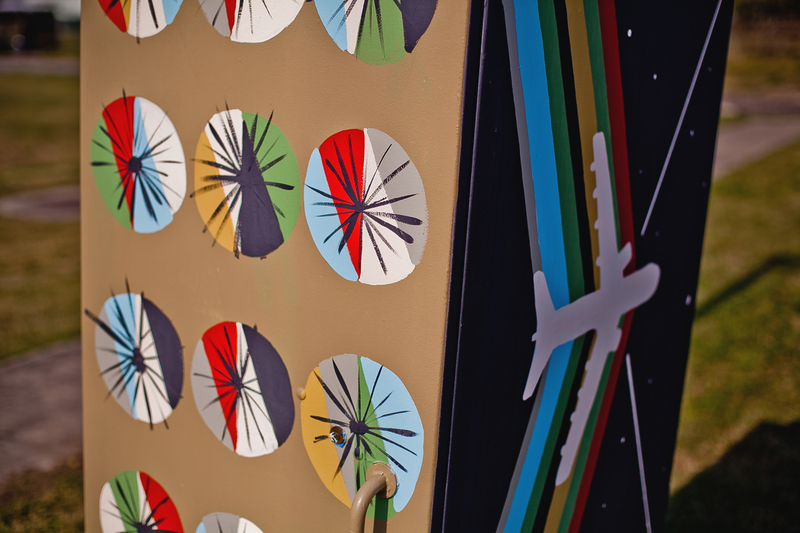 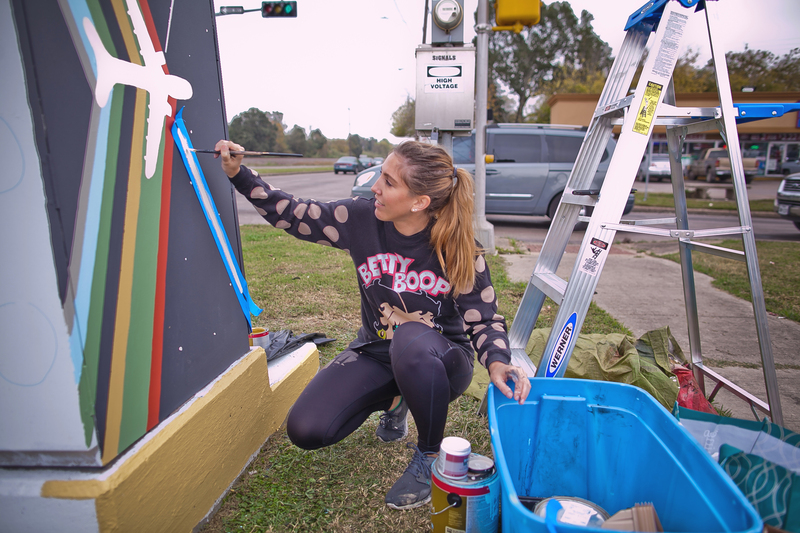 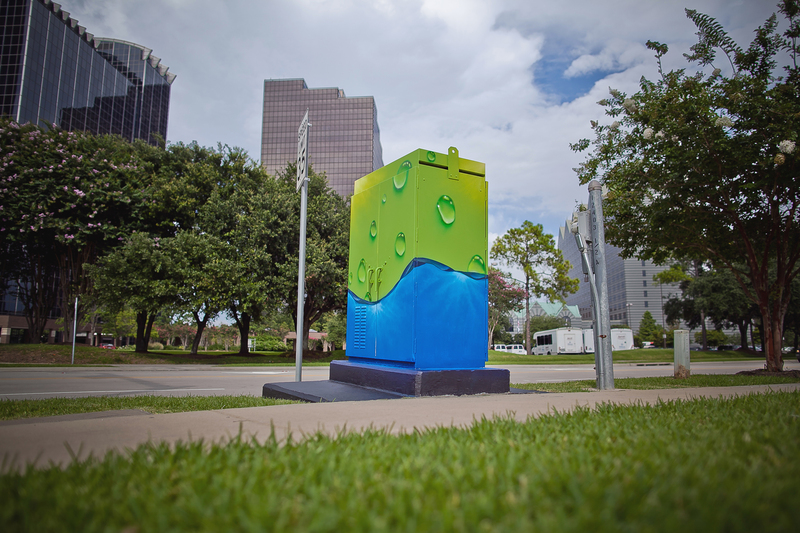 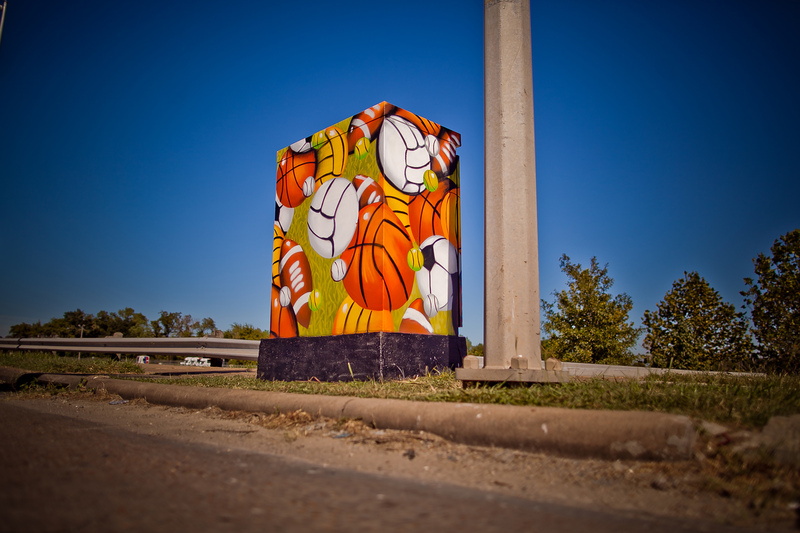 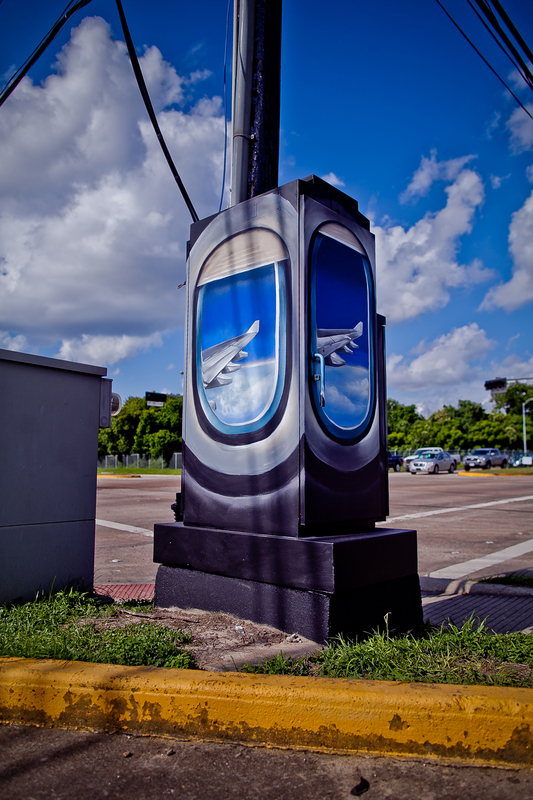 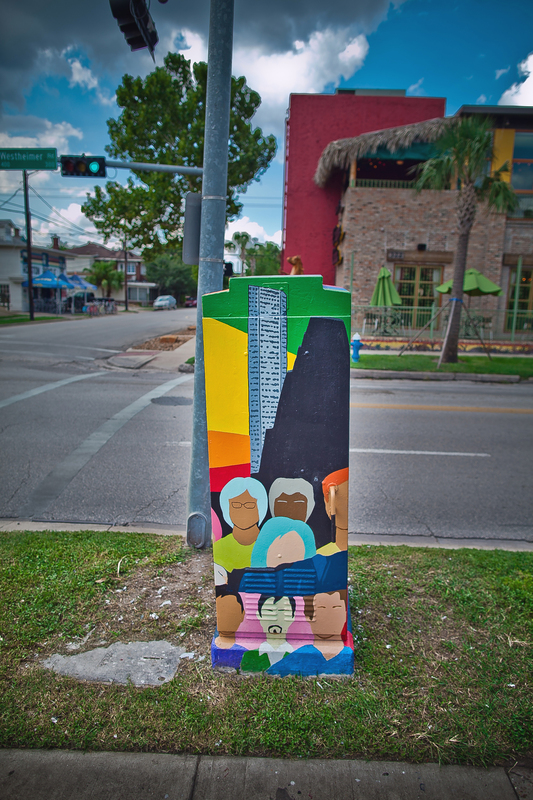 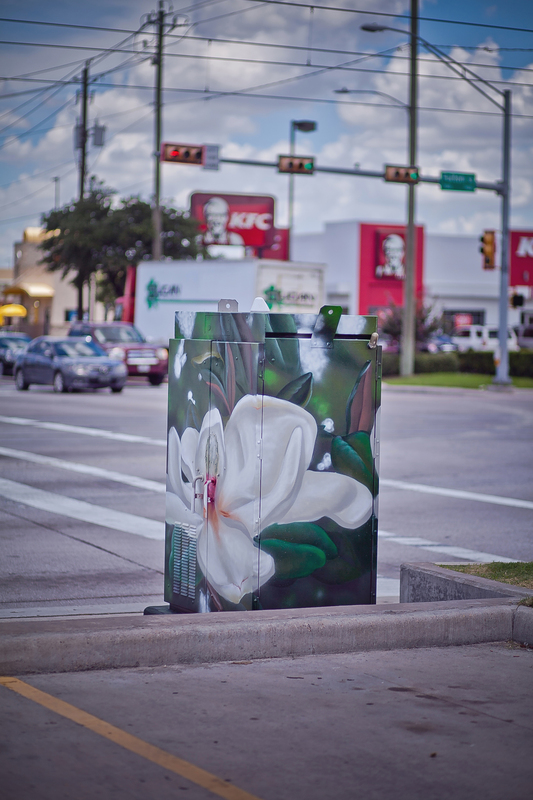 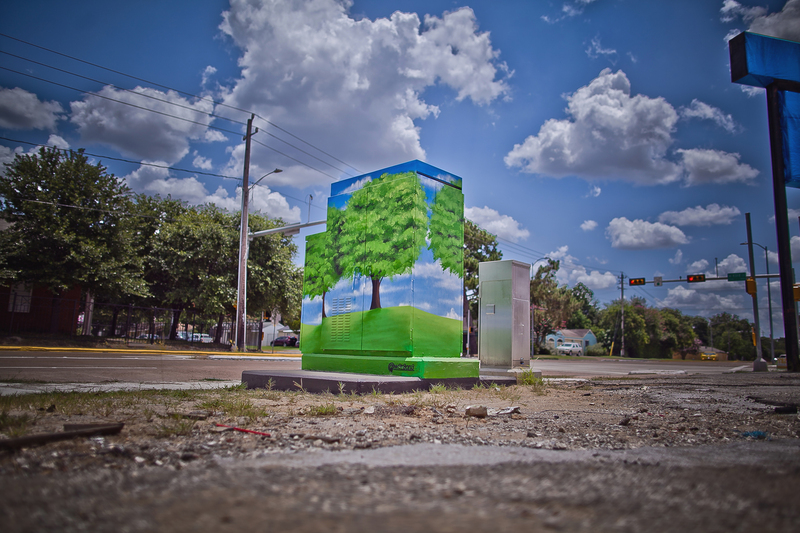 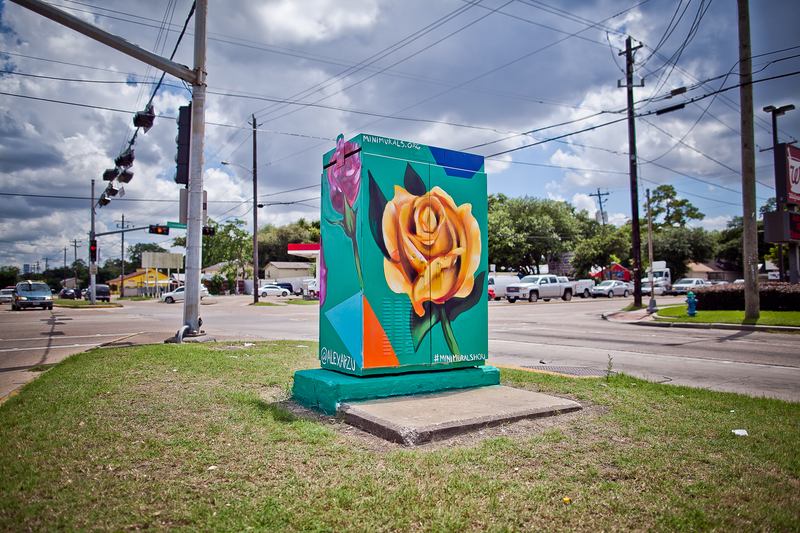 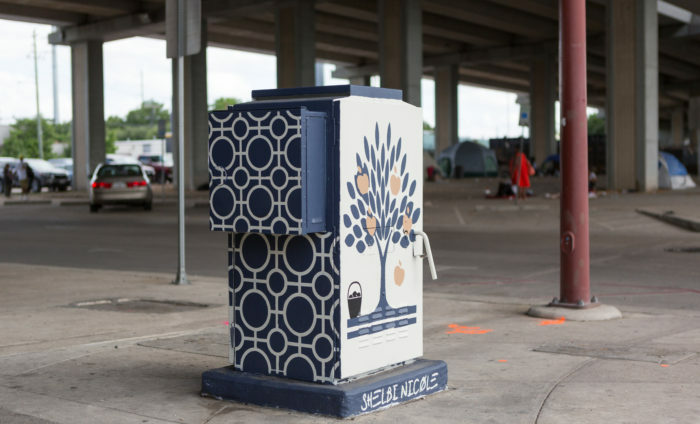 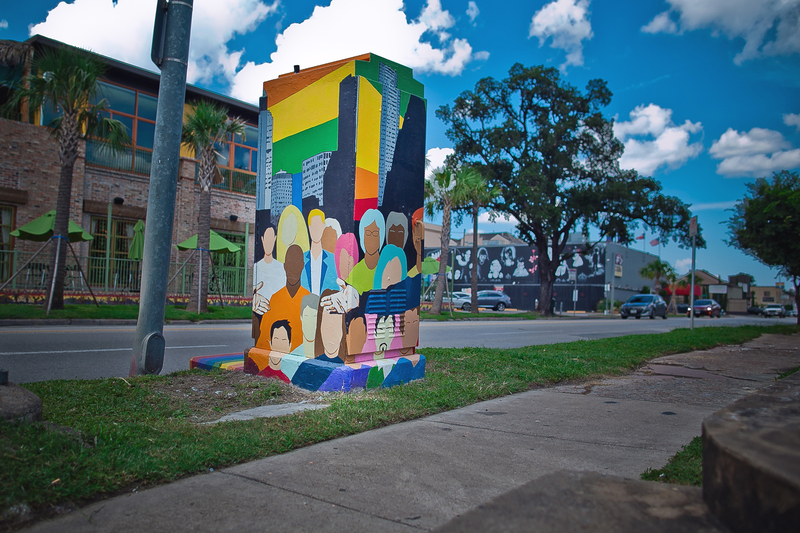 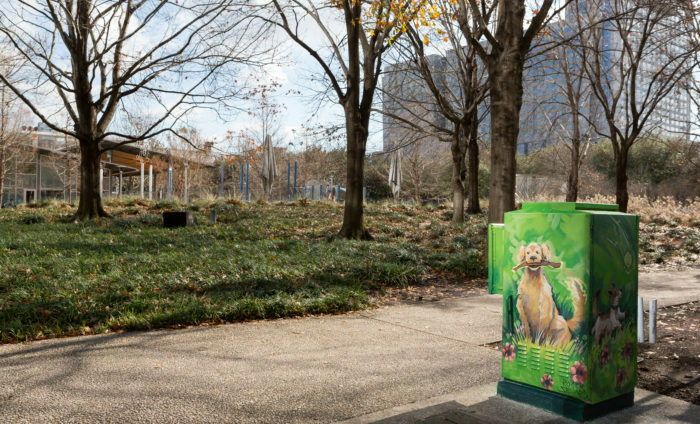 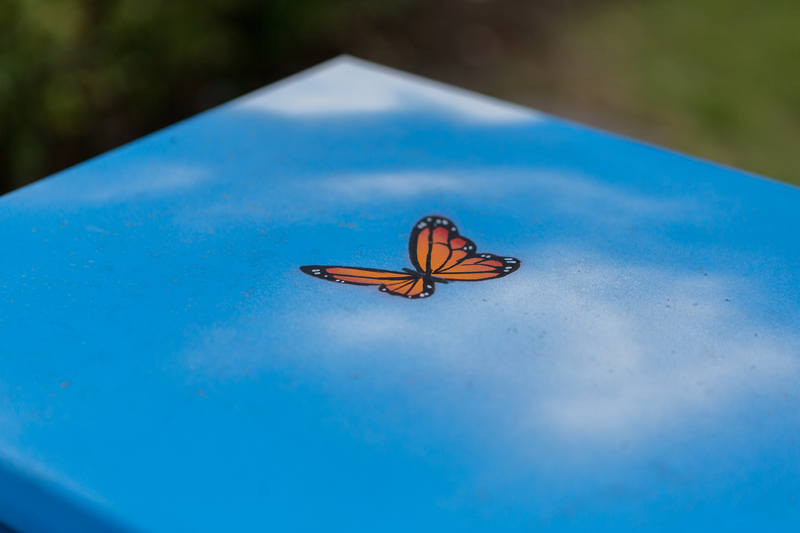 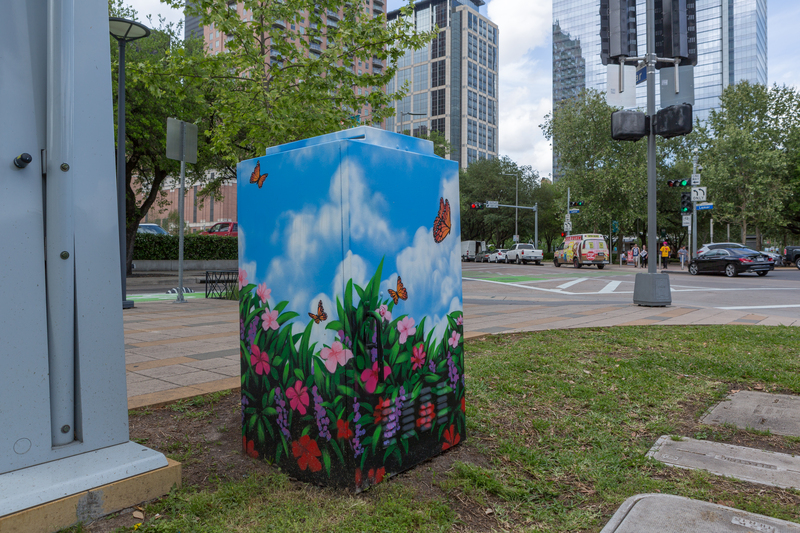 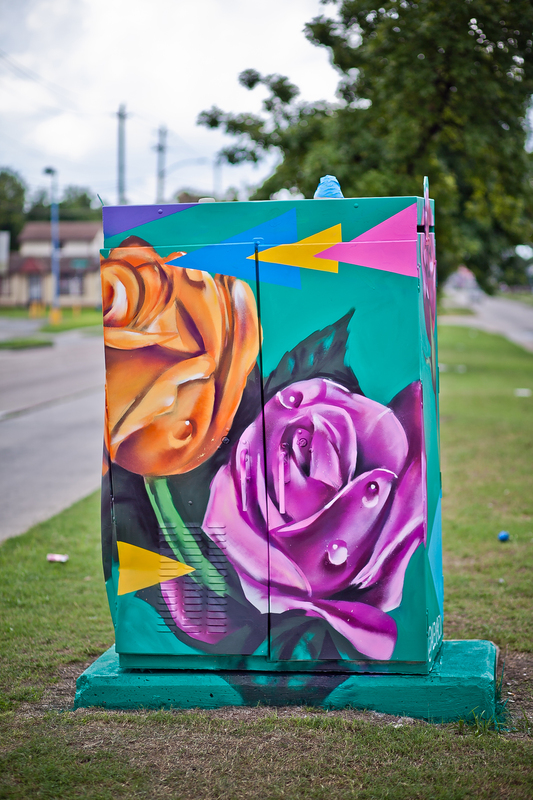 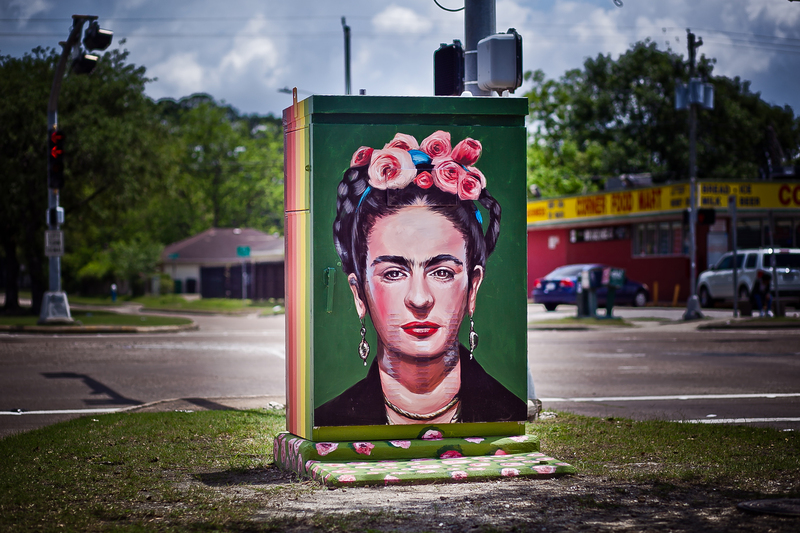 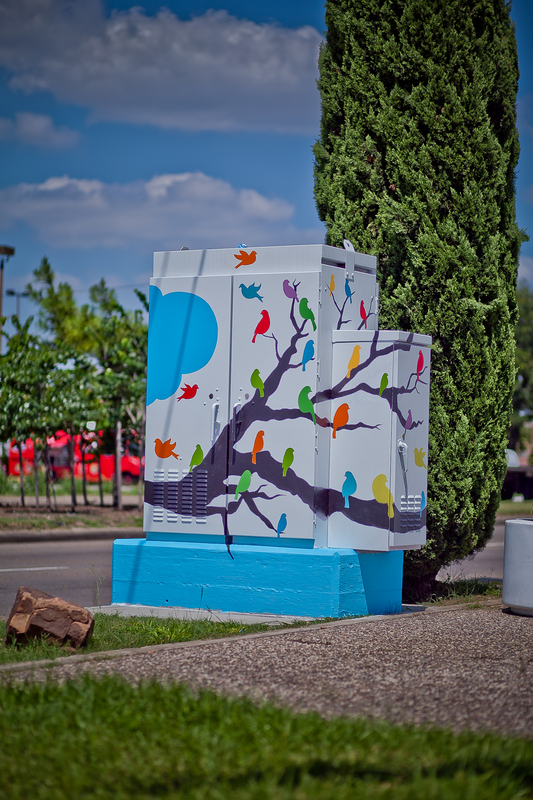 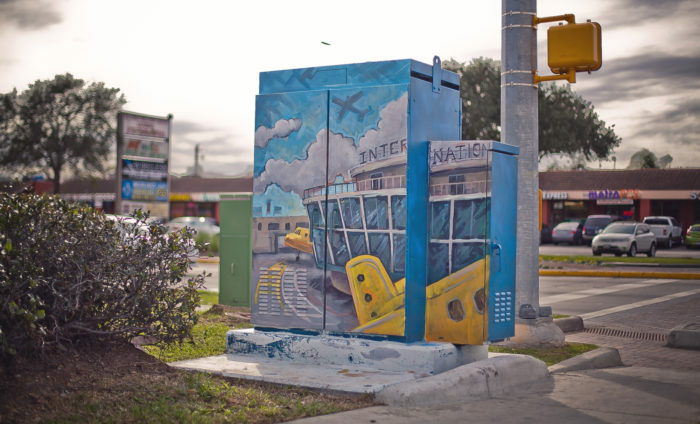 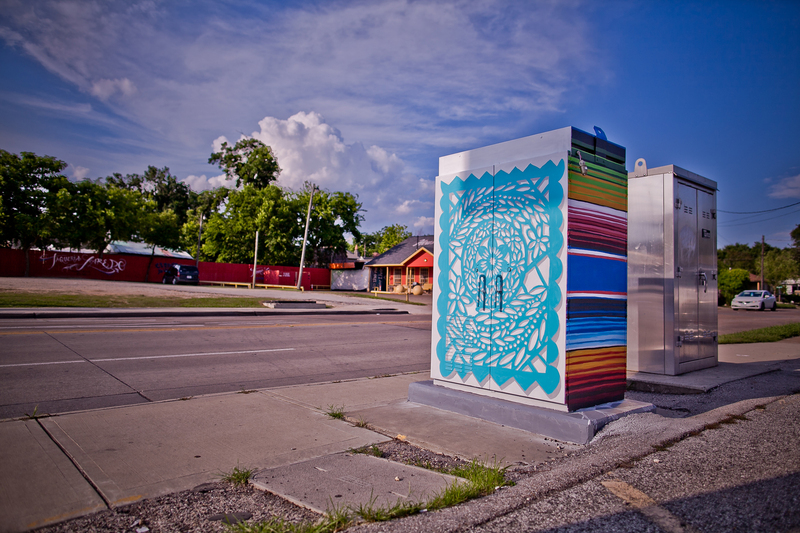 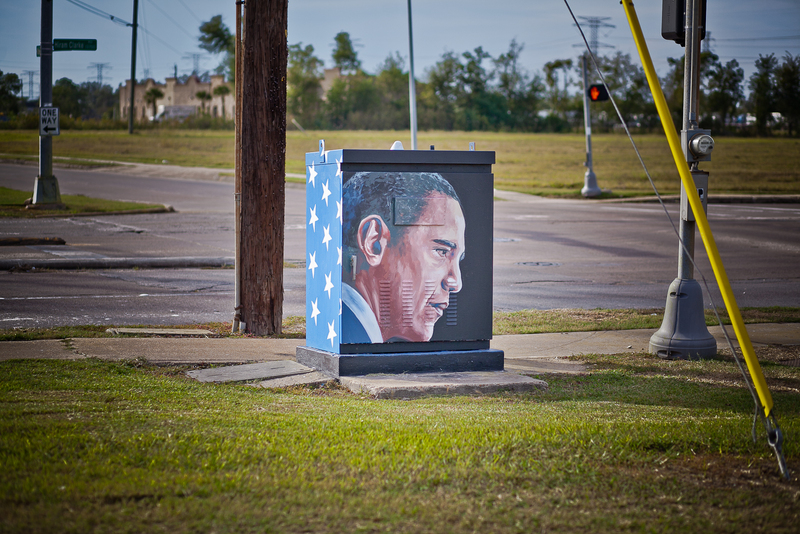 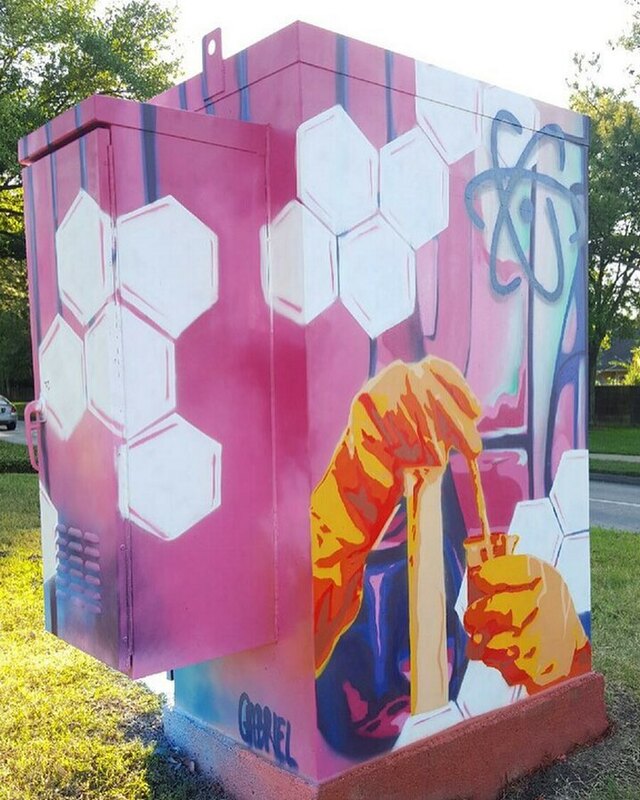 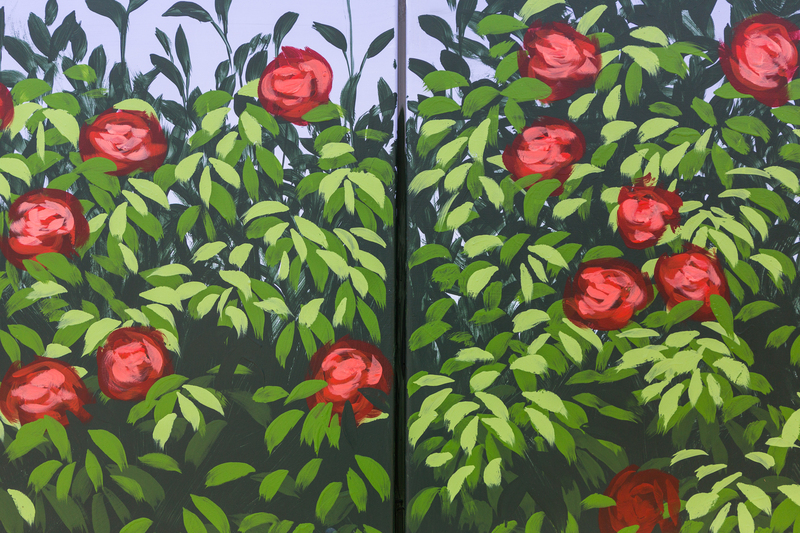 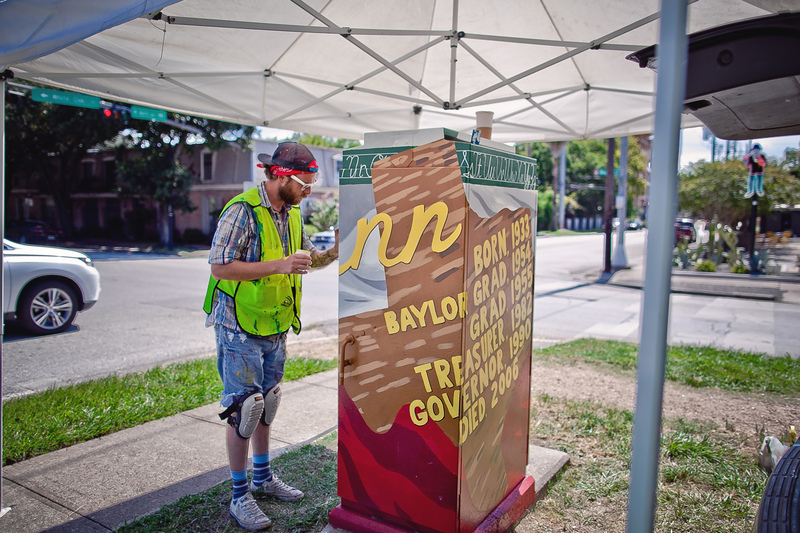 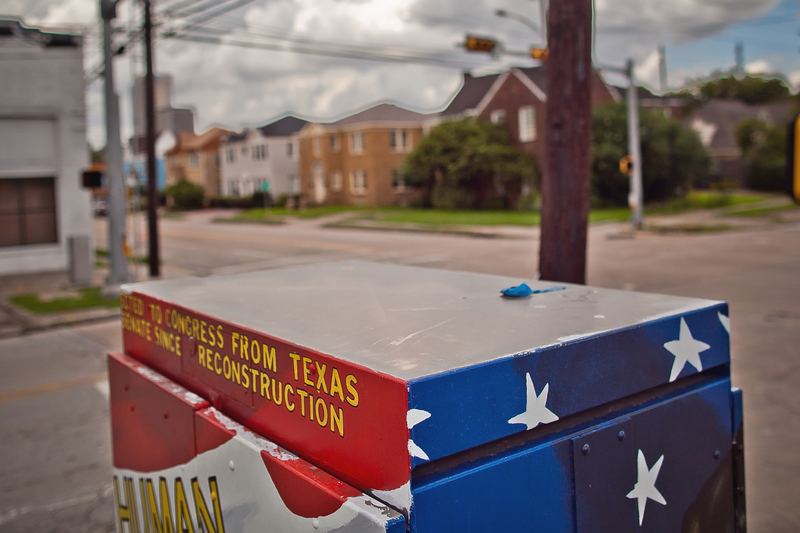 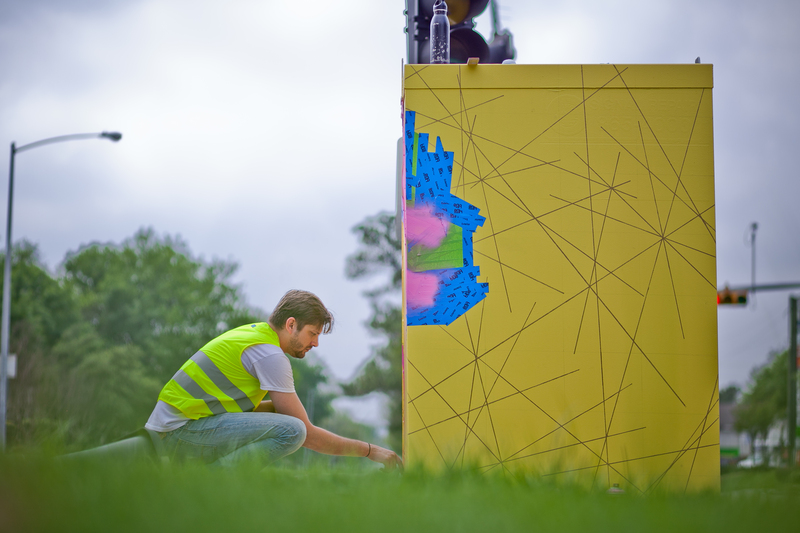 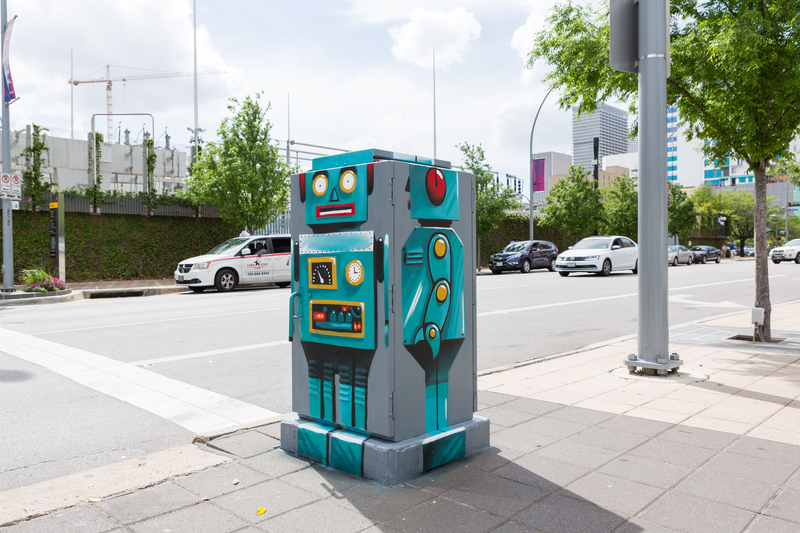 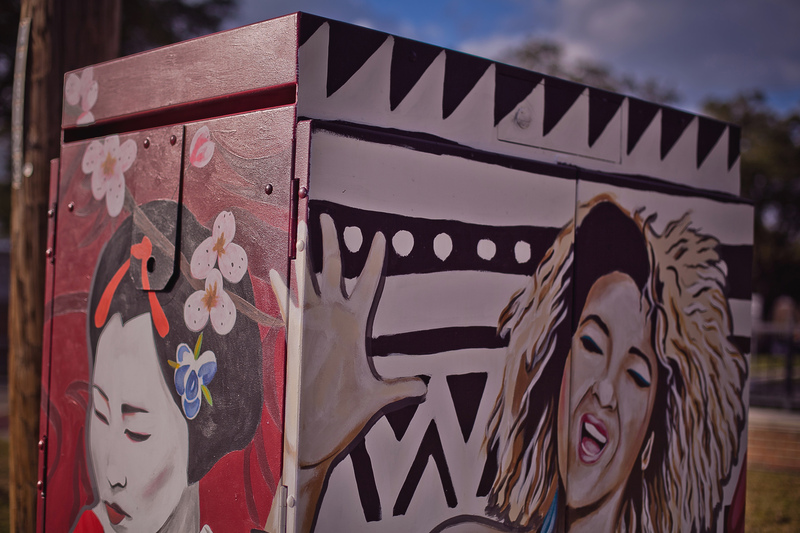 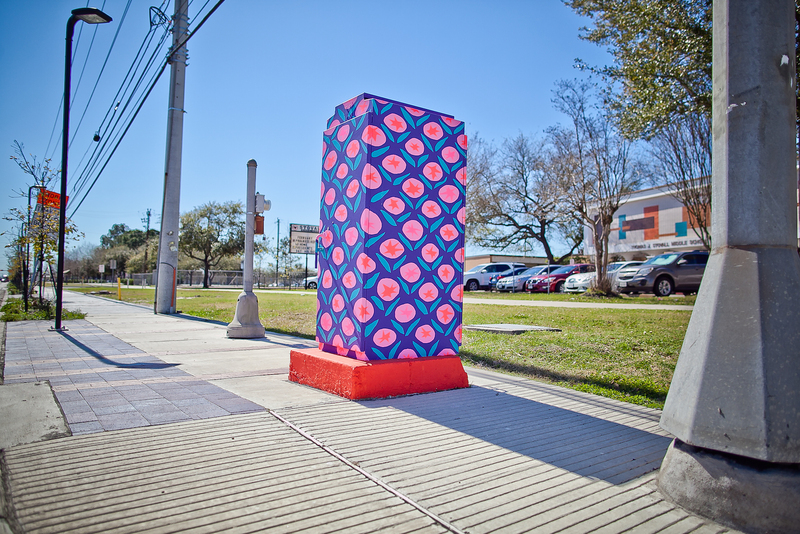 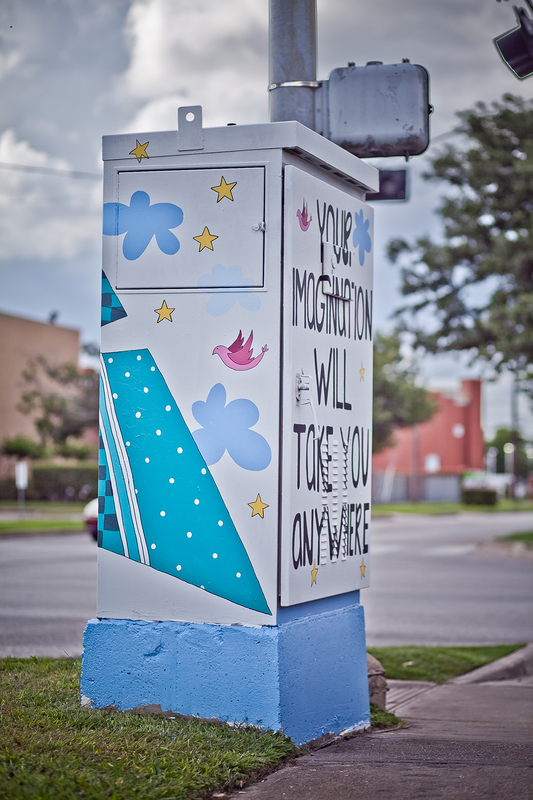 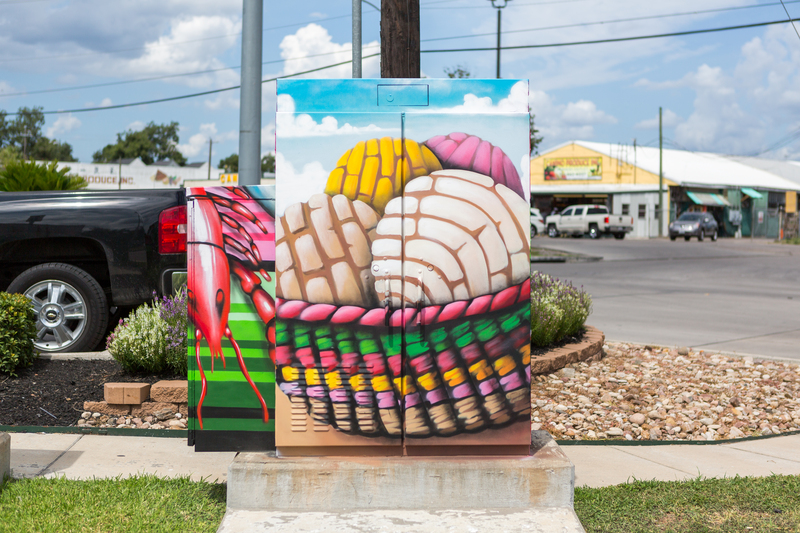 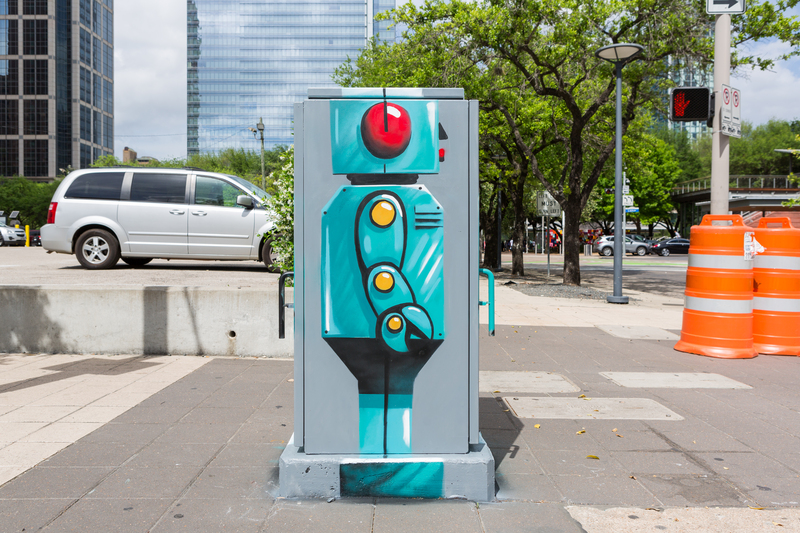 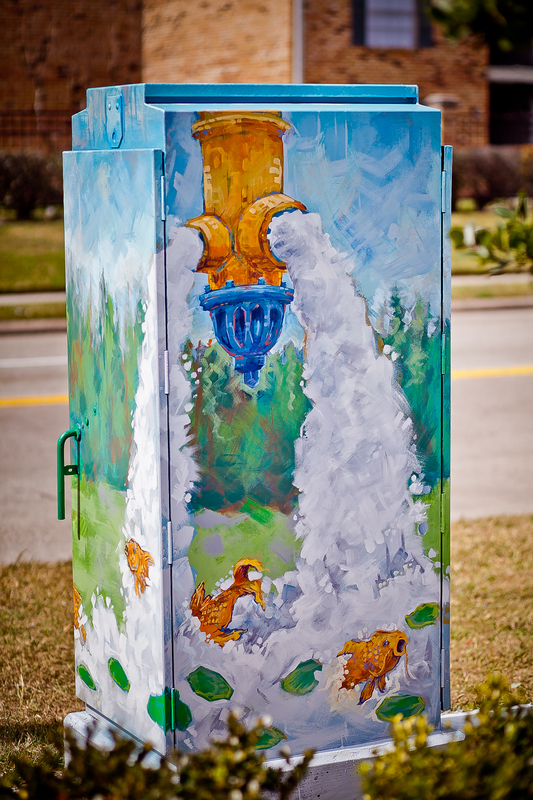 The Mini Murals Tours are a visual excursion where residents and visitors can explore Houston’s iconic beautified traffic signal boxes, now considered mini works of public art. 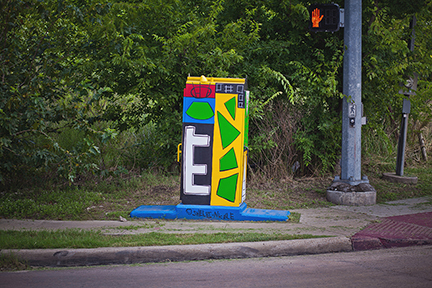 The tours offer discovery by foot, bike, car and more. 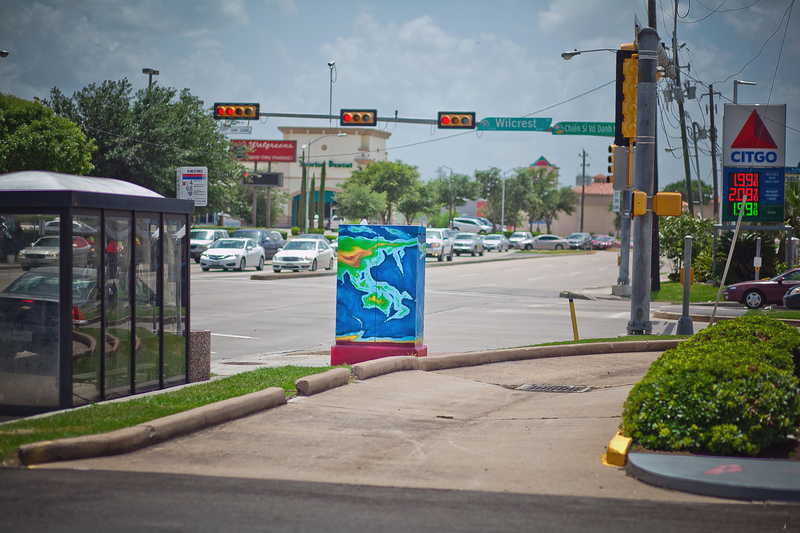 Download the maps today to get your journey started! 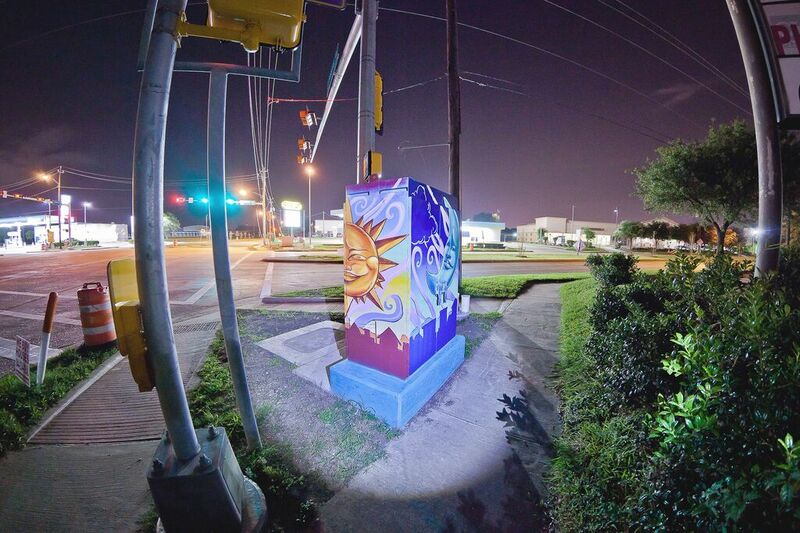 South Post Oak @ Court Rd. 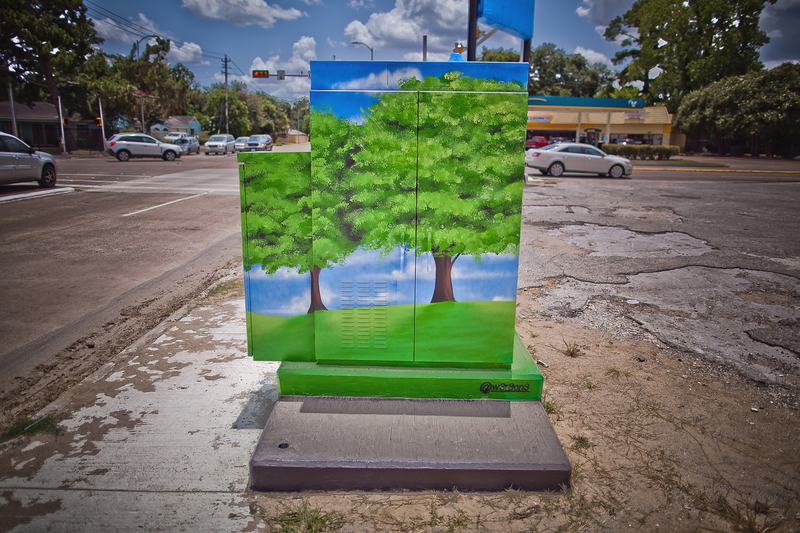 Greens Rd @ Wayforest Dr.